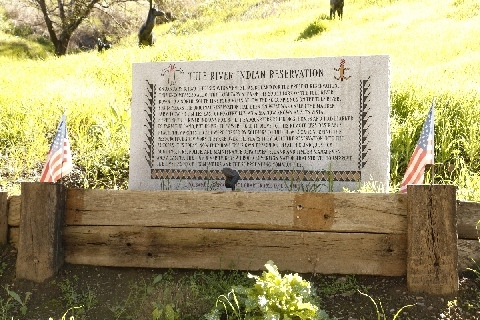 Download Instruction: Click rollover pic to open the enlarged photo, right click on it and select "Save picture as..." to save to your computer. 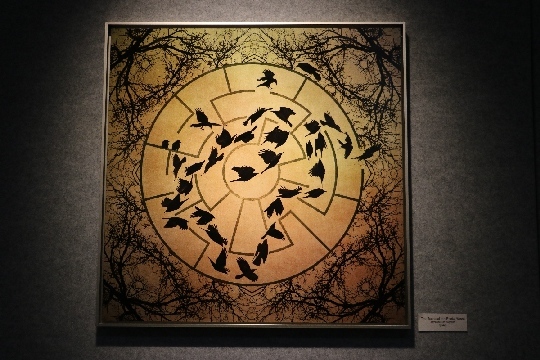 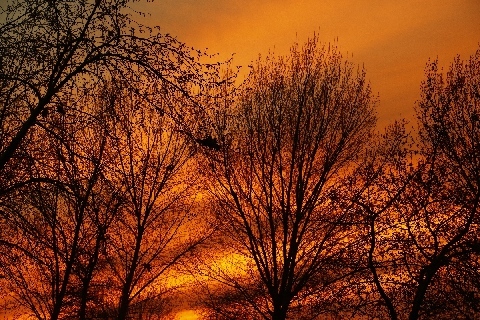 Note: When click the thumbnail and large size photo doesn't show up, that the case no enlarged photo is available. 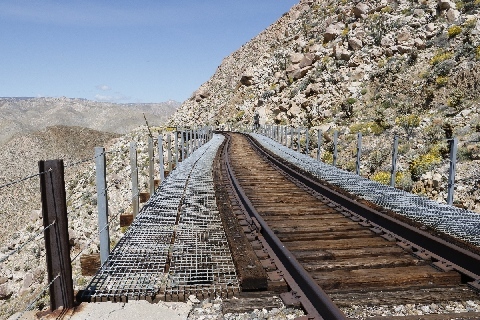 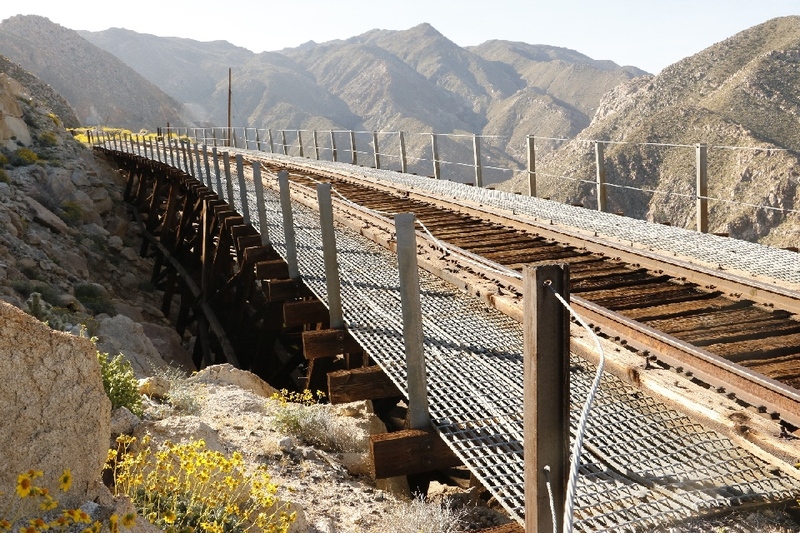 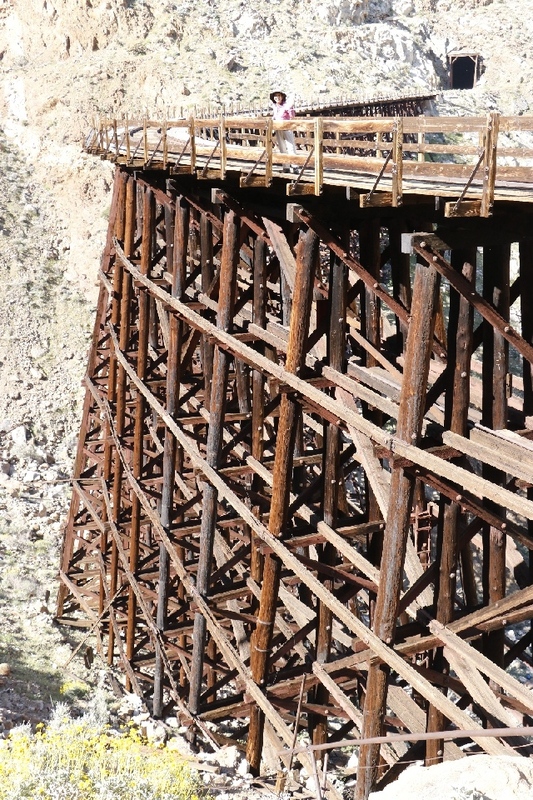 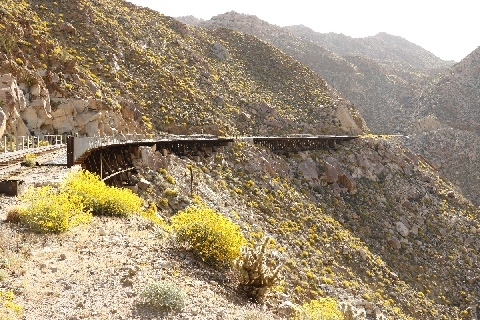 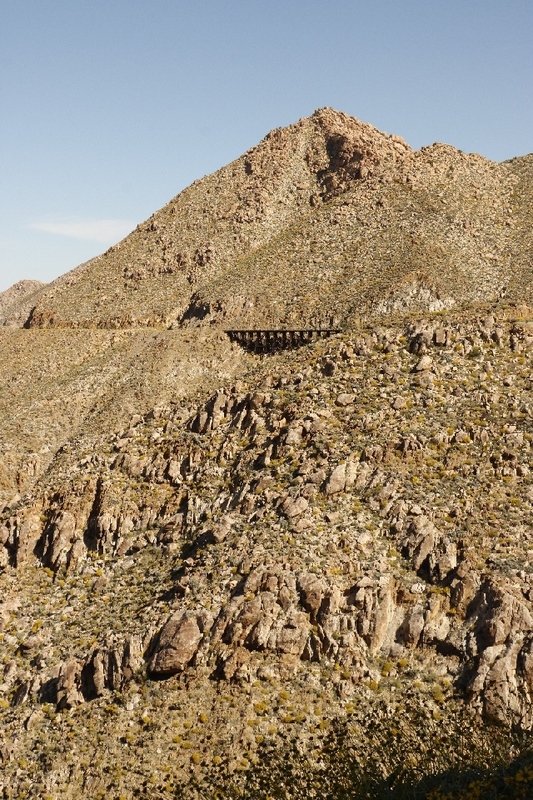 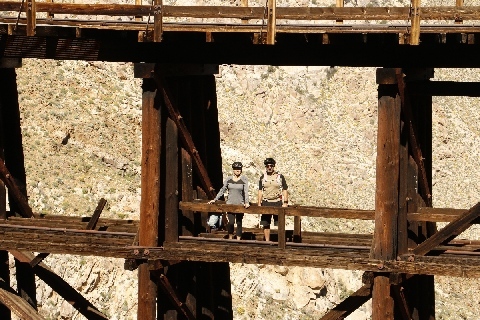 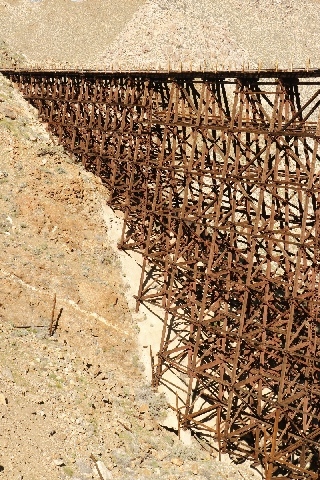 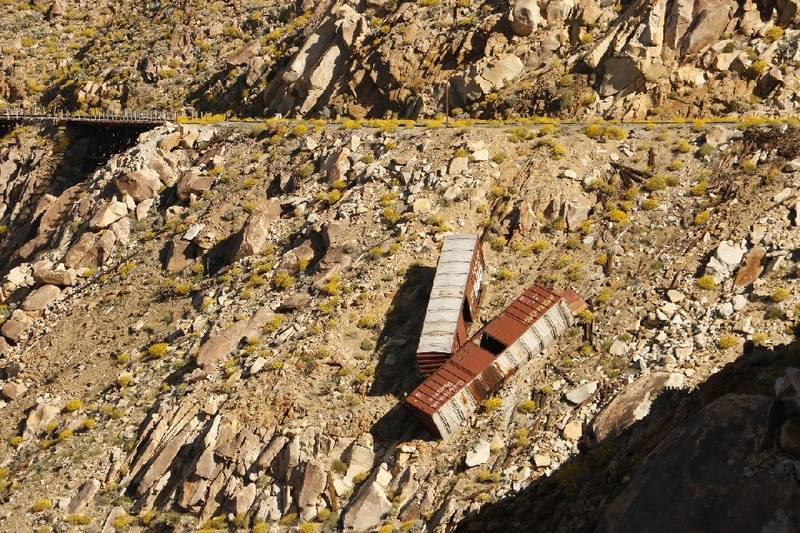 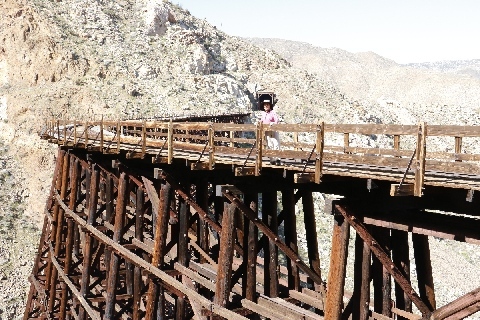 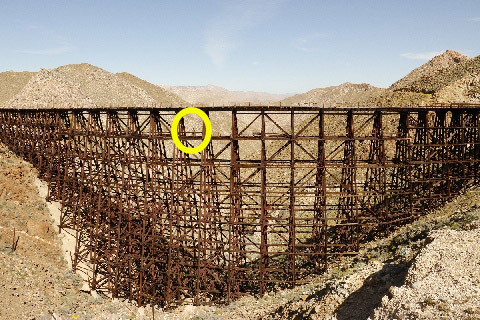 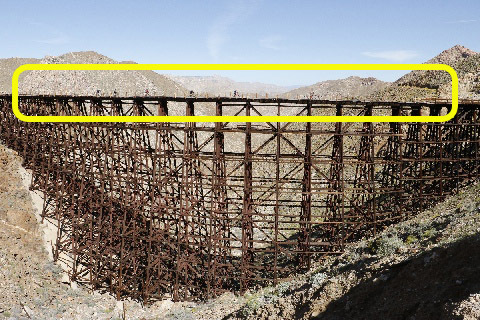 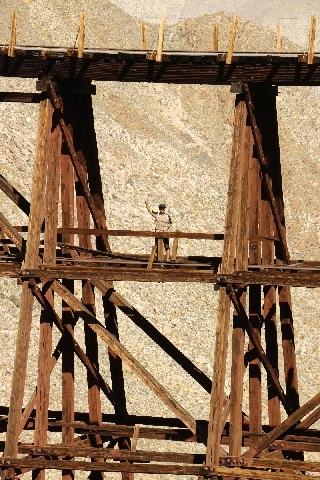 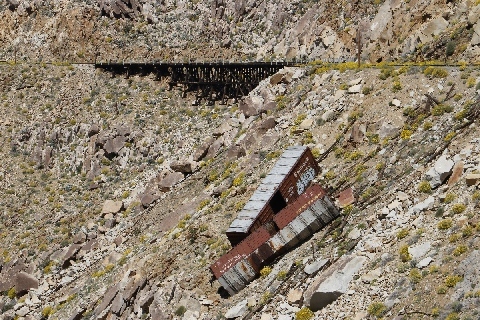 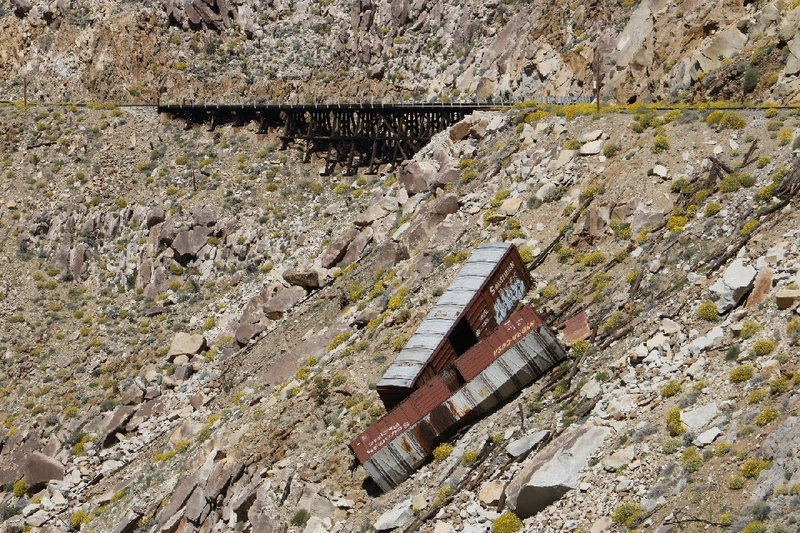 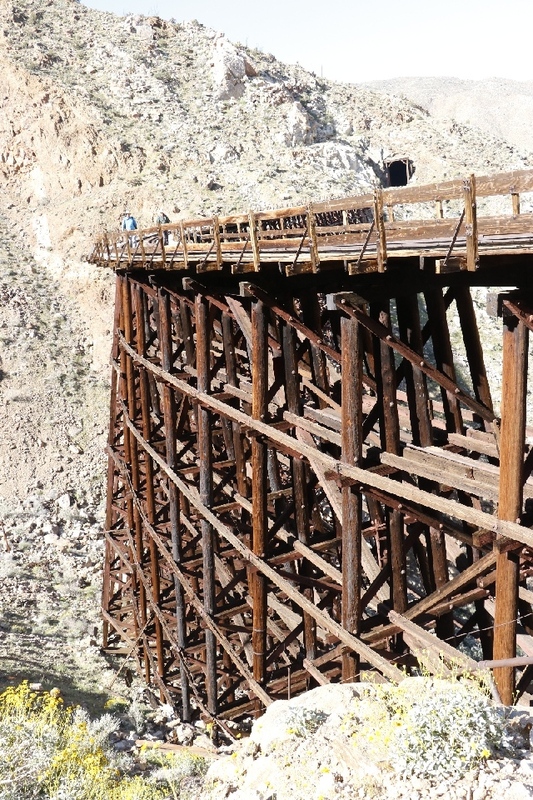 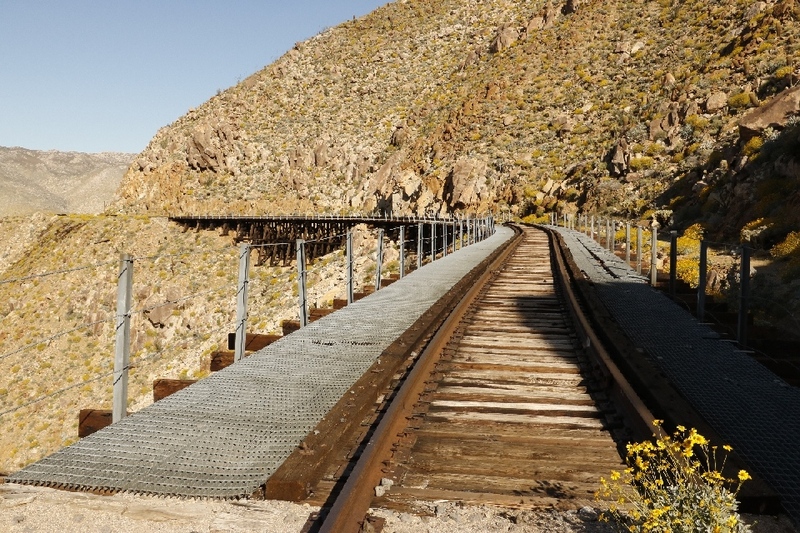 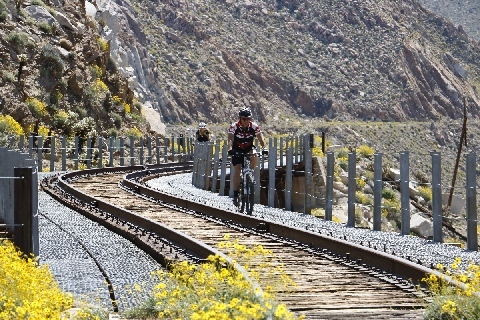 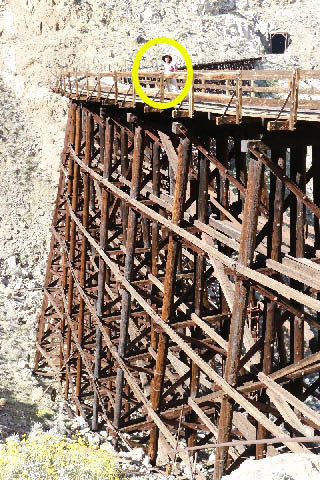 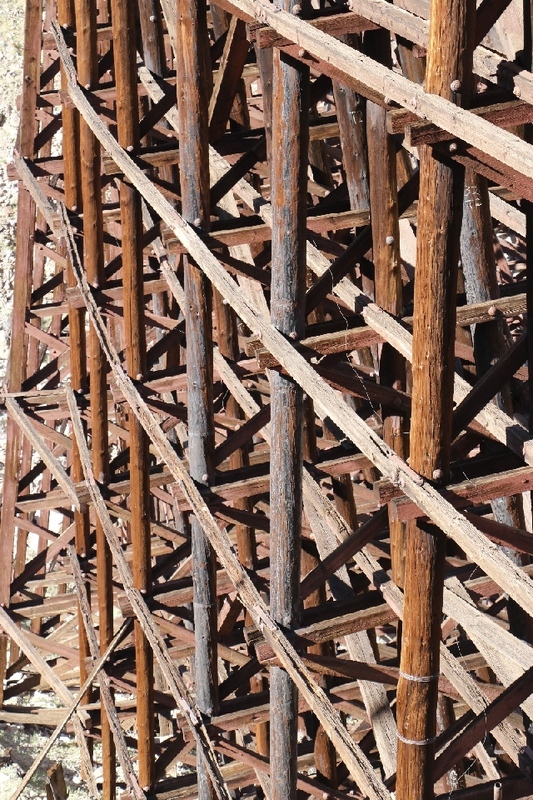 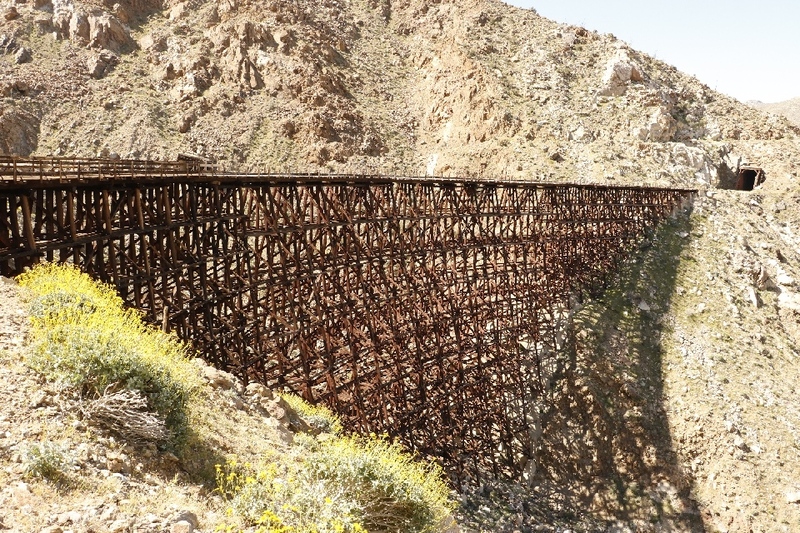 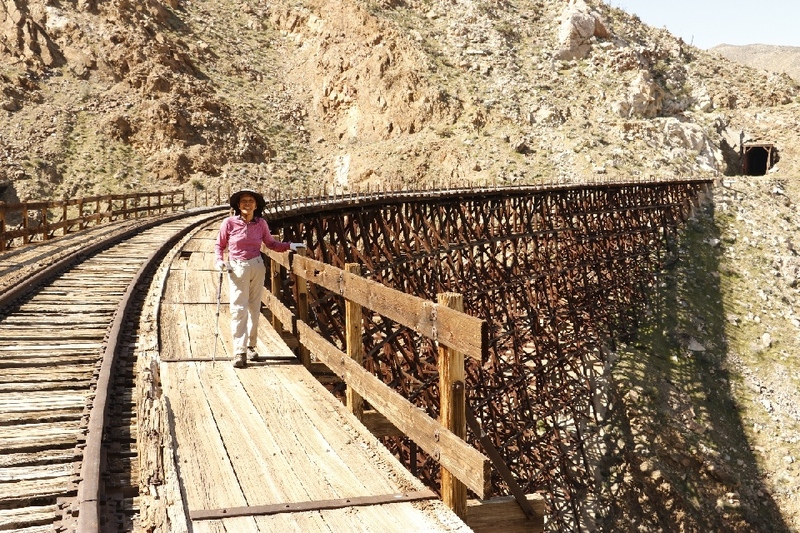 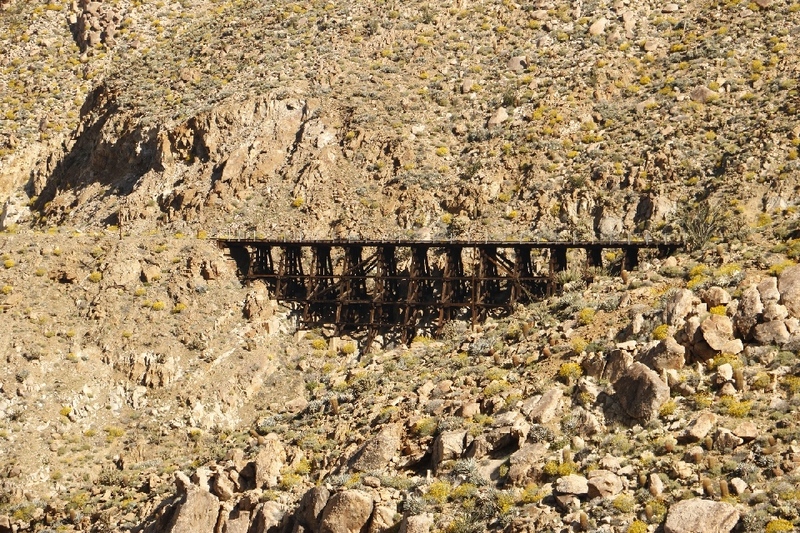 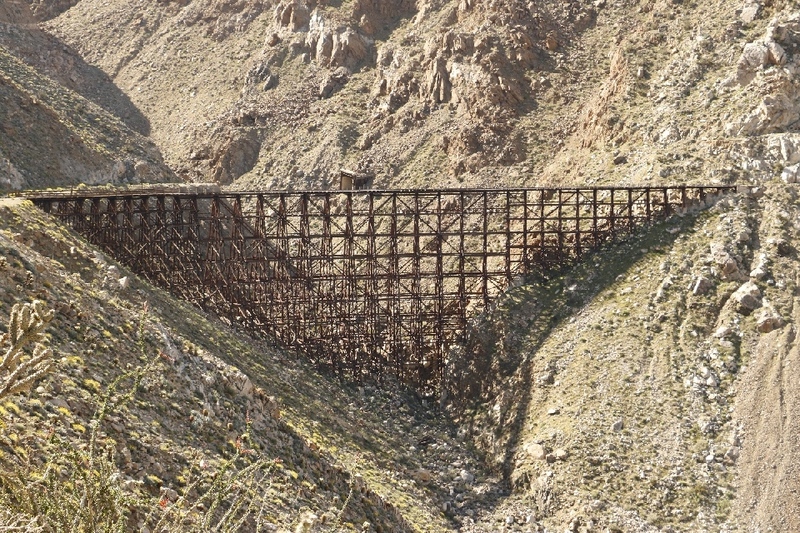 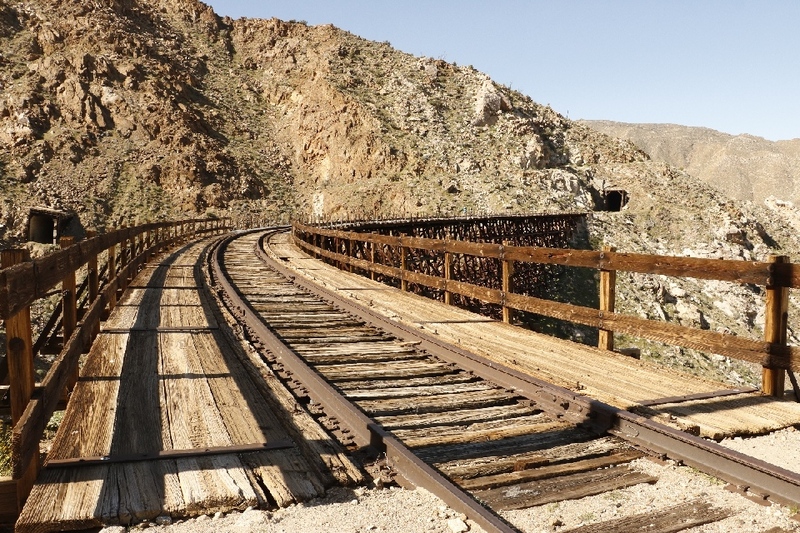 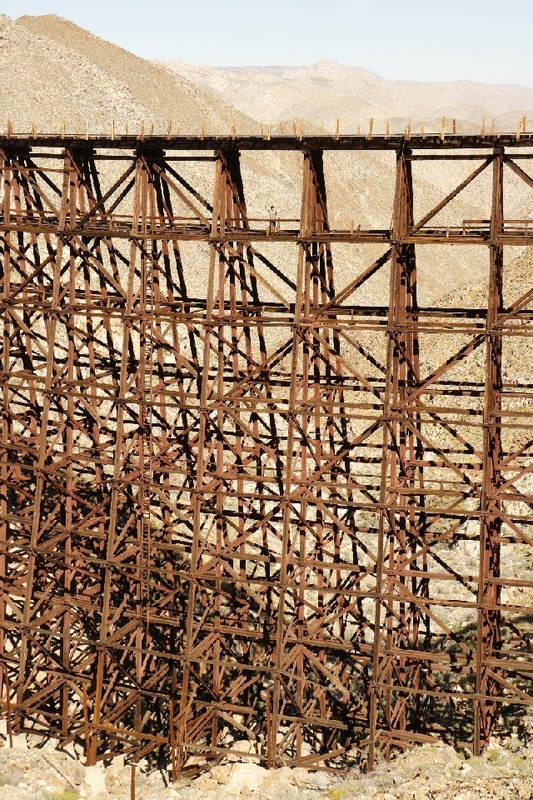 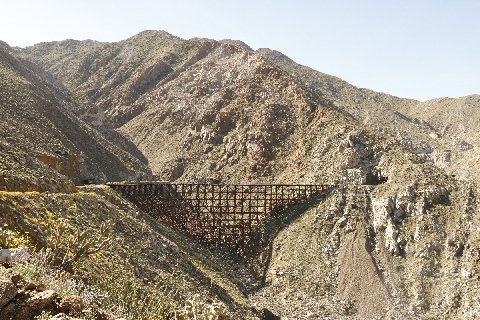 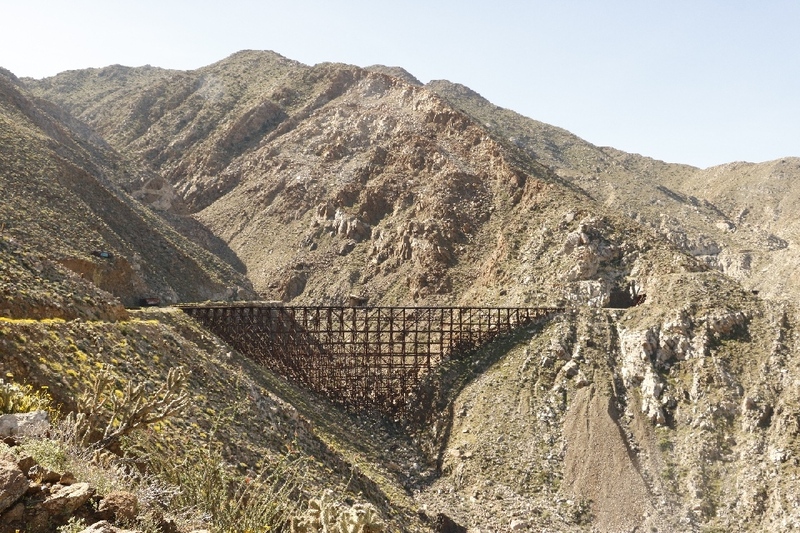 3/26/2017 Goat Canyon Wooden Trestle, Anza-Borrego Desert State Park, CA (16 miles) - This trestle is the largest curved wooden trestle in the world. 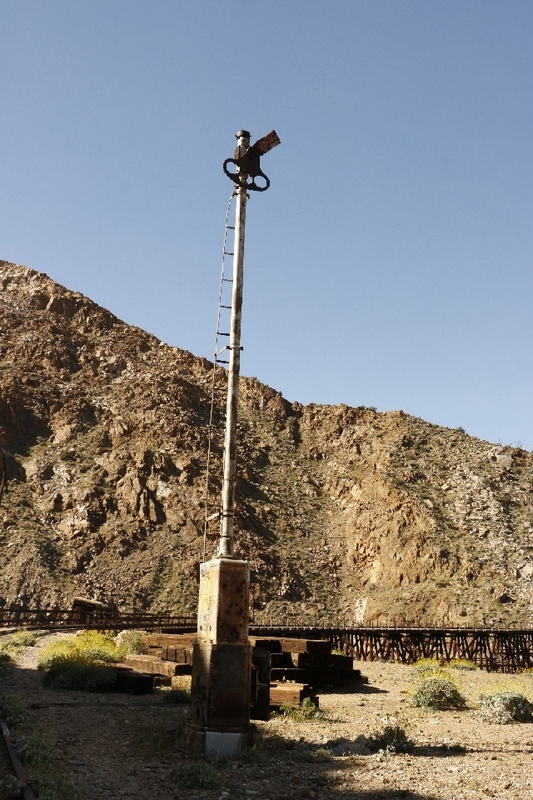 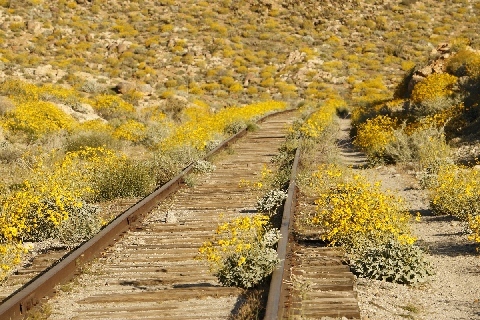 I have hiked by the railroad from the water tower, spent 6.5 hrs that pretty much the same as cross over the mountain. I saw total 27 people today. 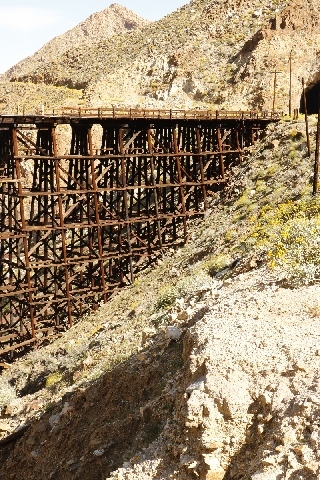 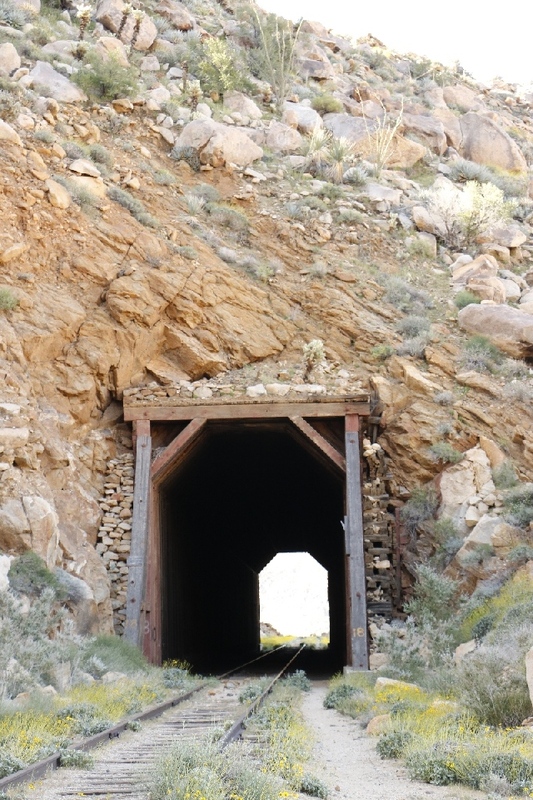 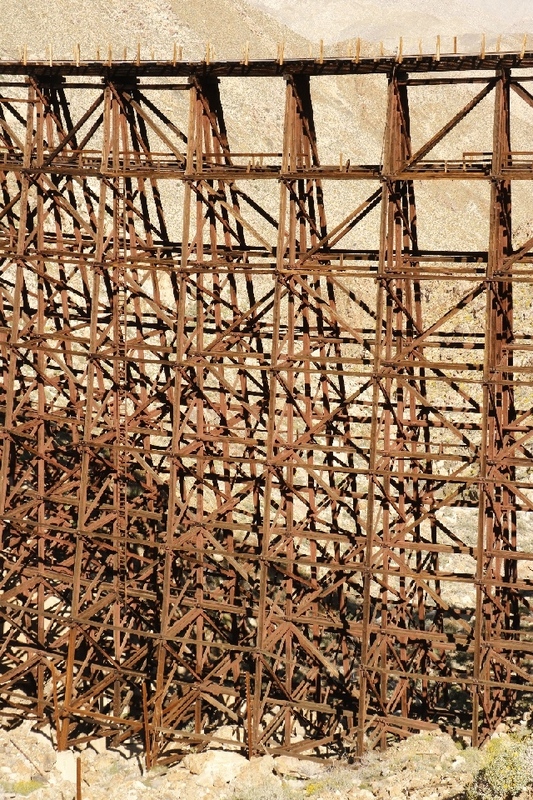 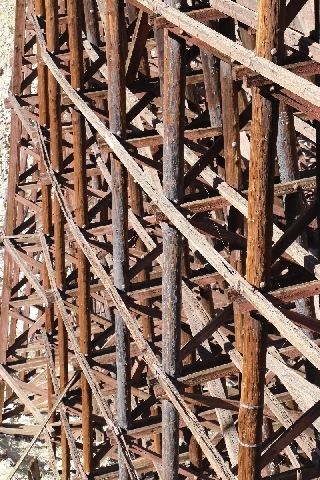 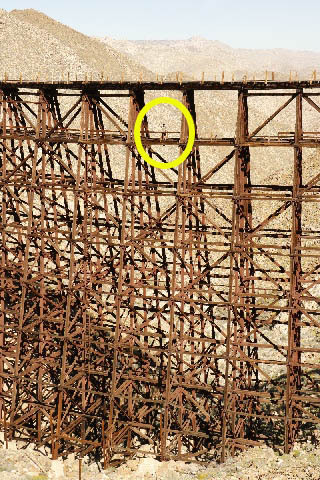 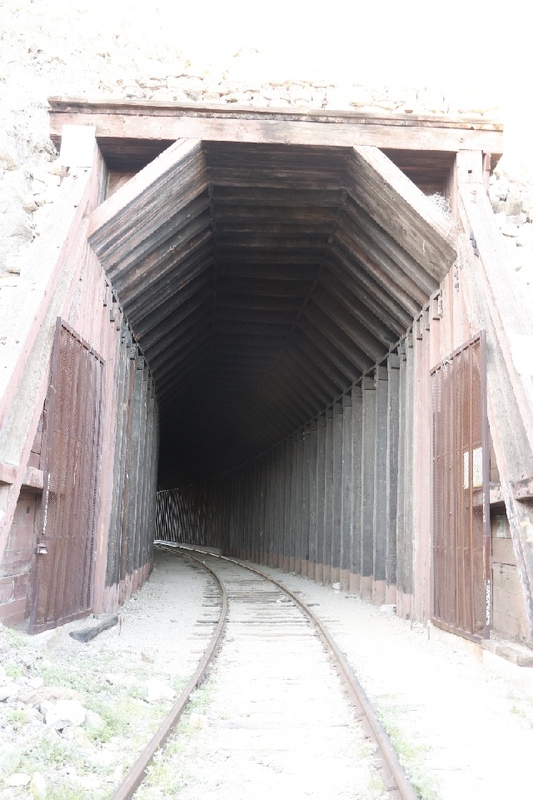 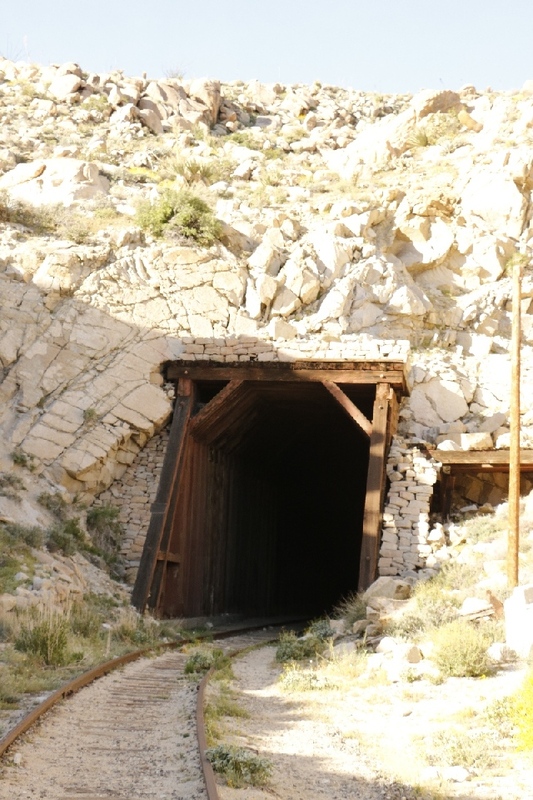 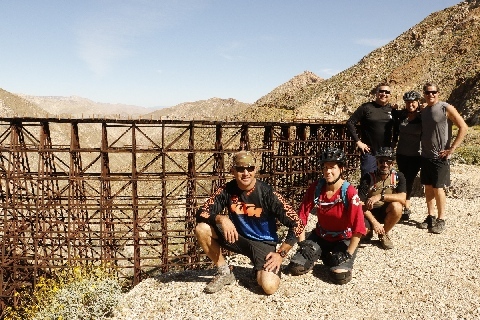 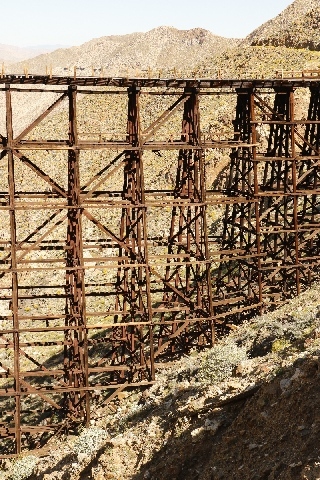 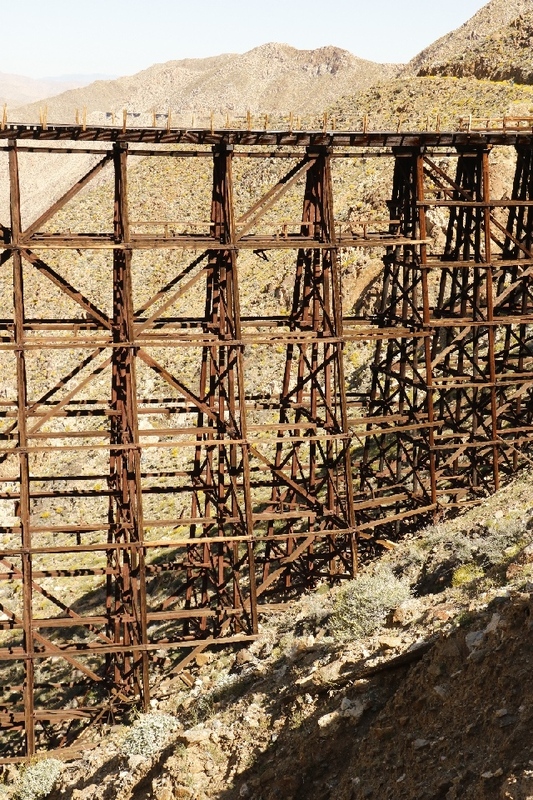 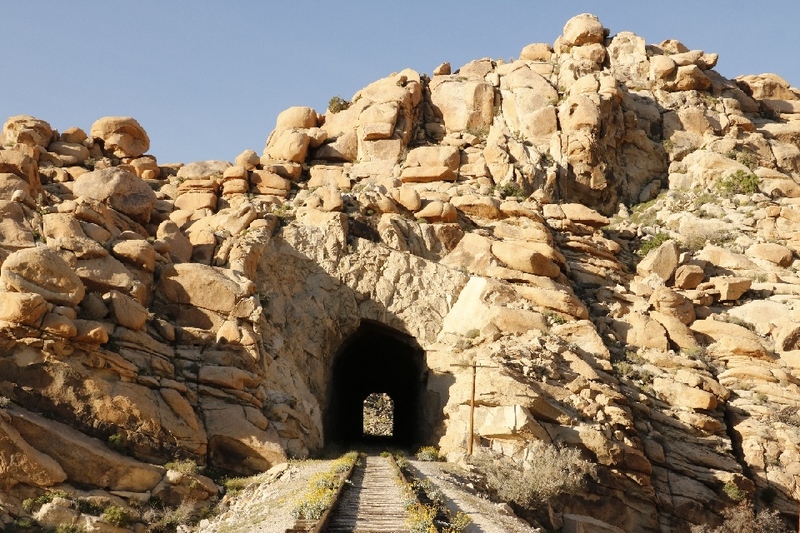 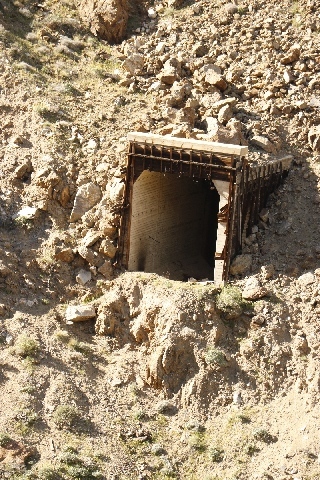 Passed numerous tunnels and trestles. 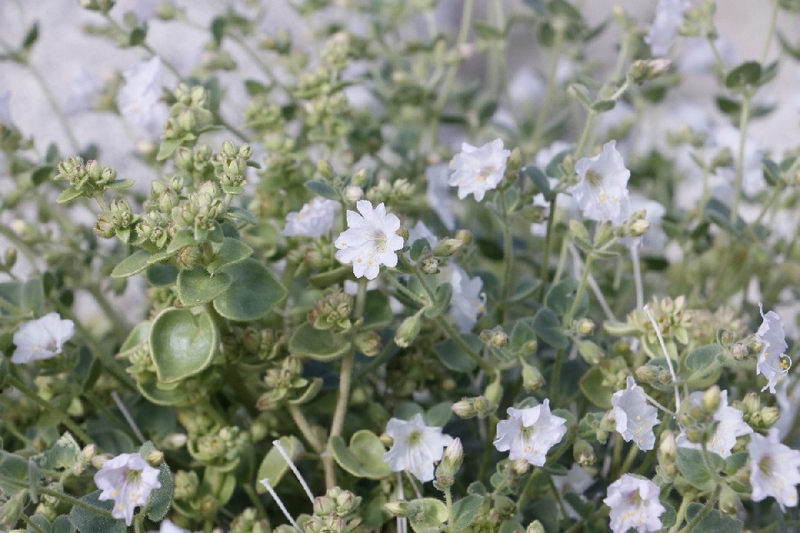 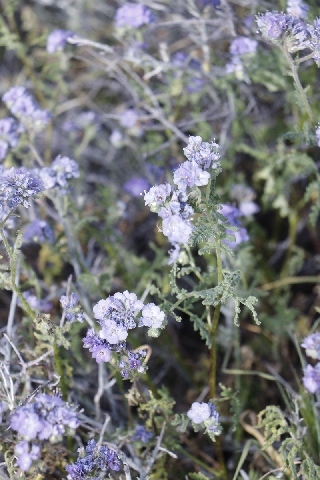 Wild flowers are everywhere. 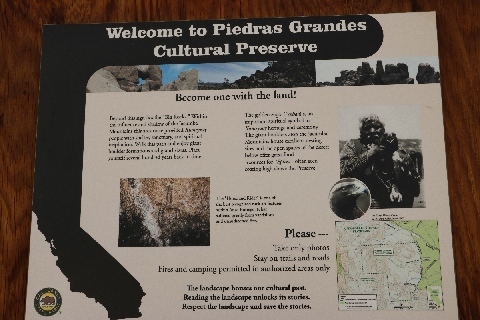 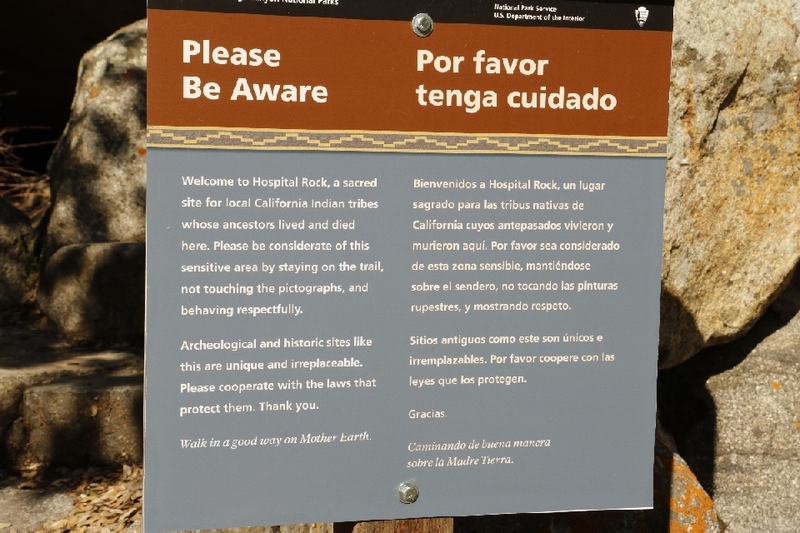 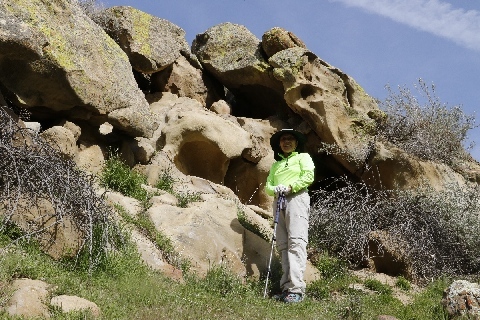 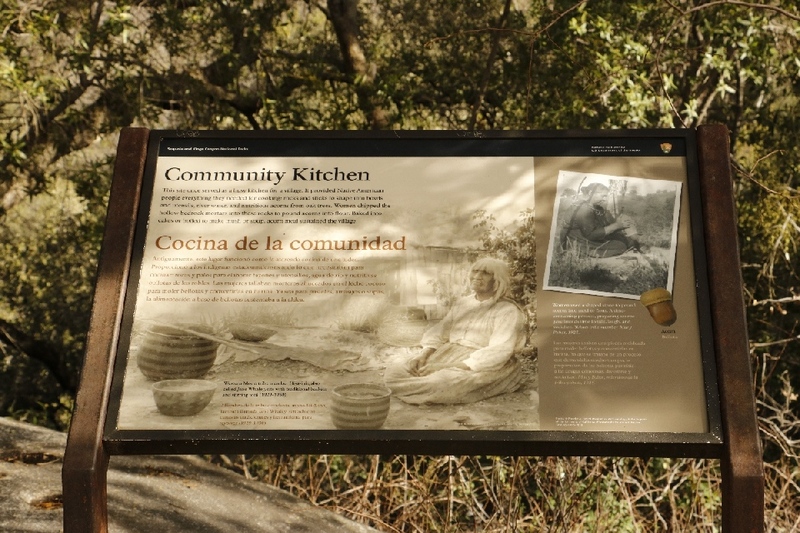 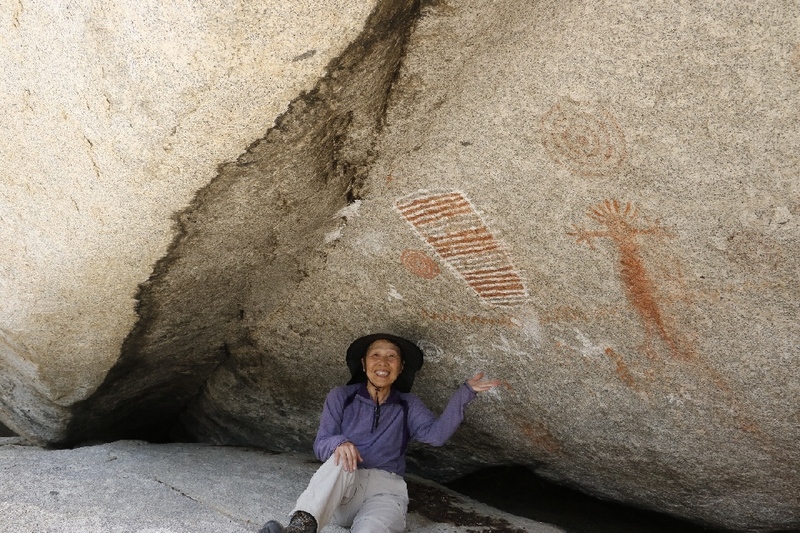 3/25/2017 Kumeyaay Pictographs, Piedras Grandes Cultural Preserve, CA - I found two pictographs panels, one is inside the walk-in-cave, another one is close to the trail with small sign of 'Kumeyaay Sacred Site'. 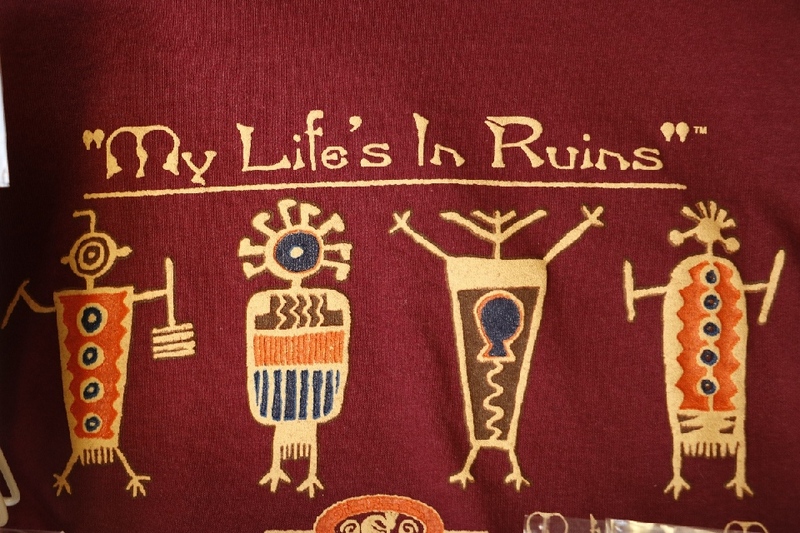 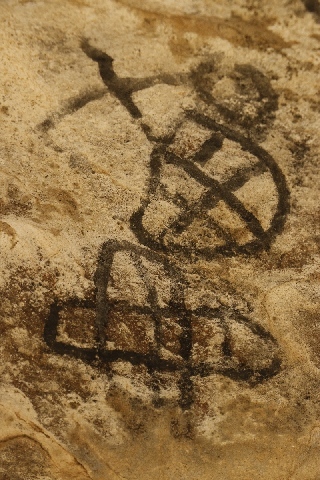 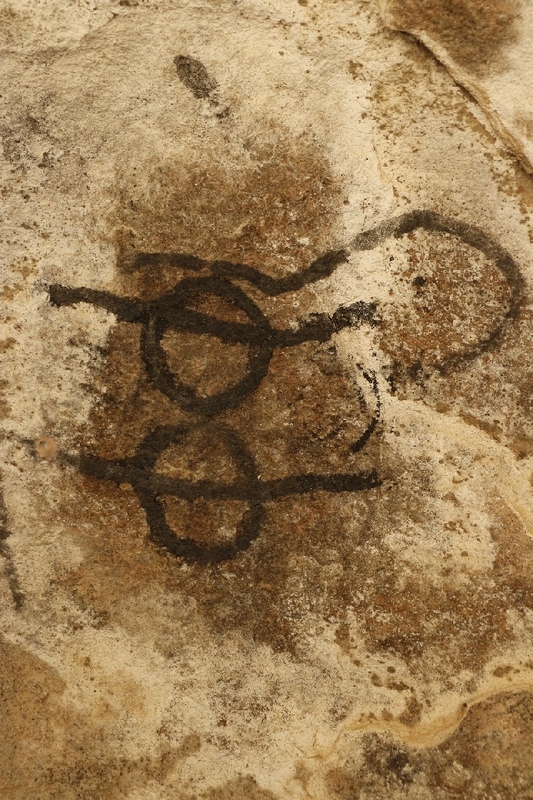 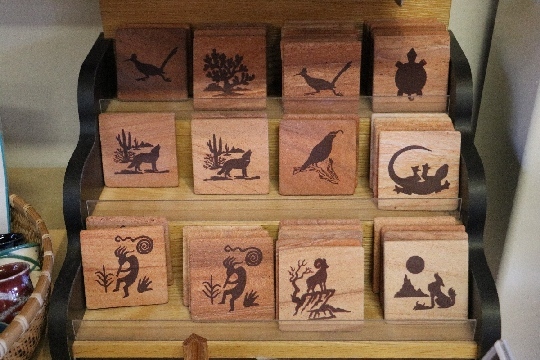 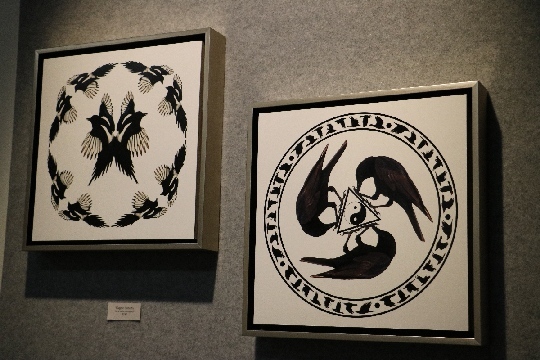 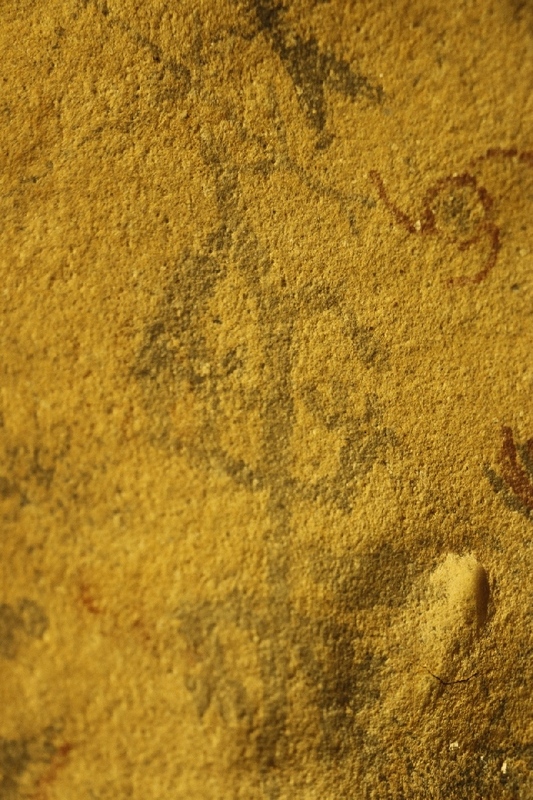 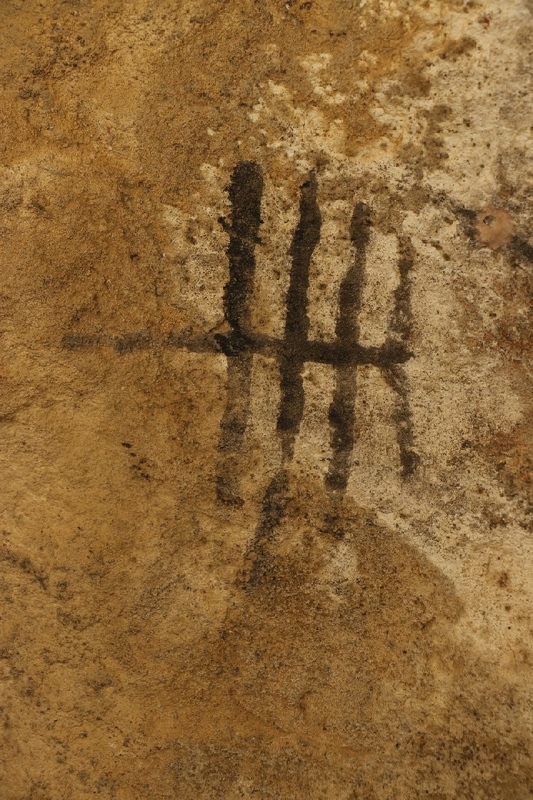 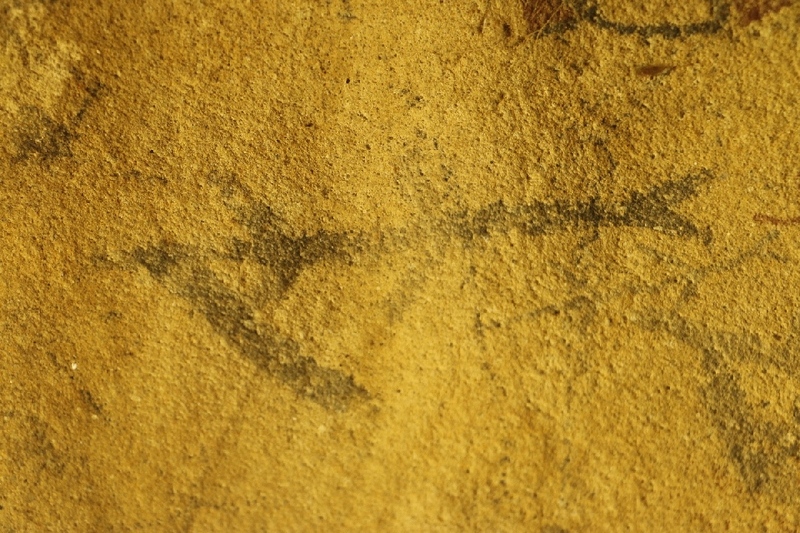 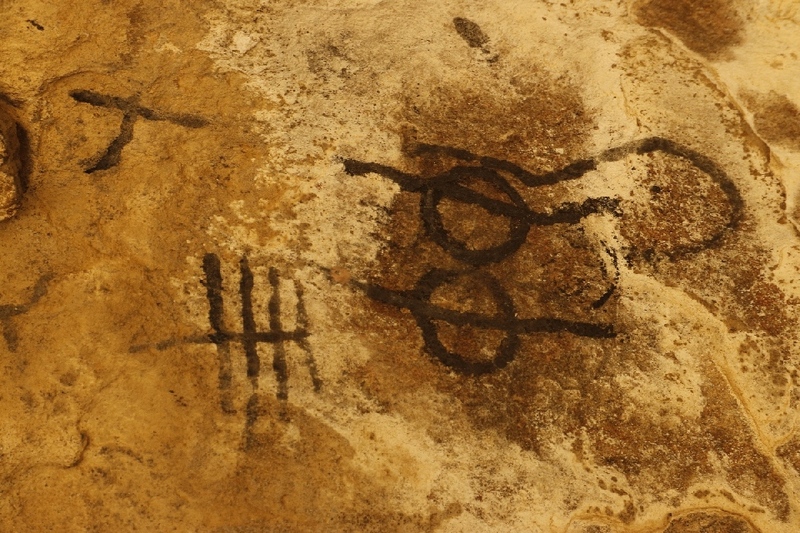 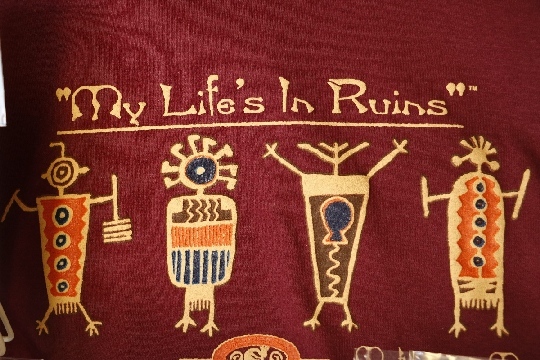 Those are very close each other, and both black ink based pictographs. 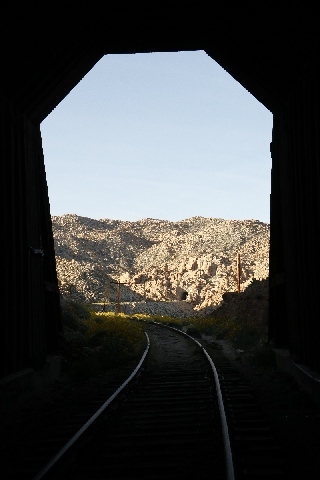 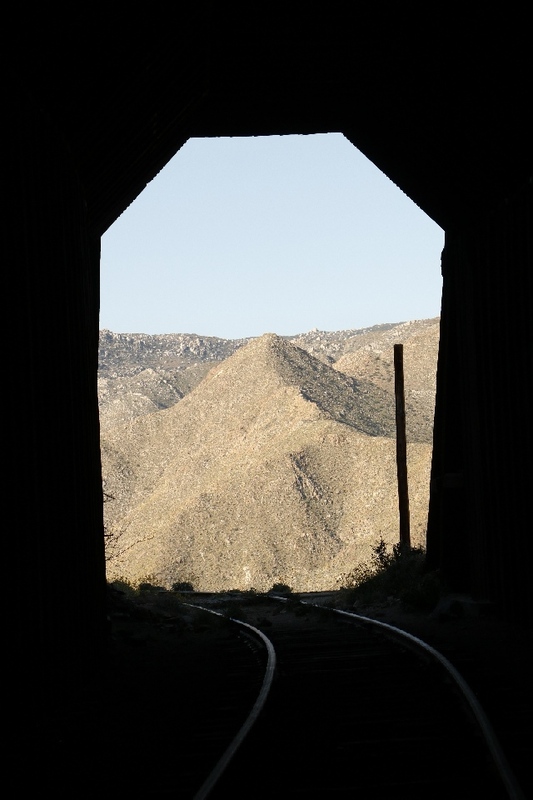 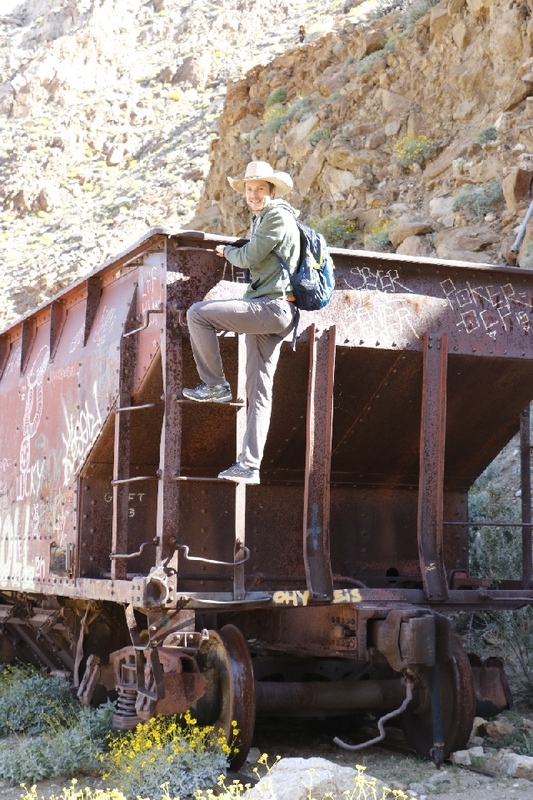 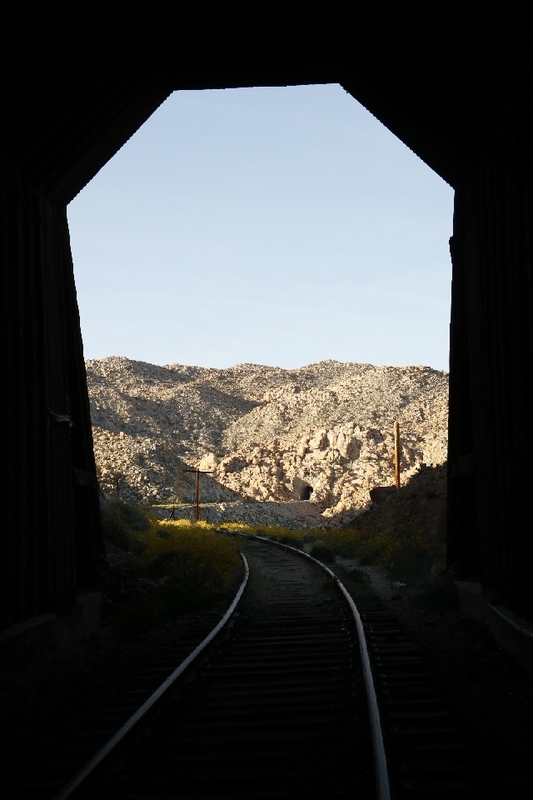 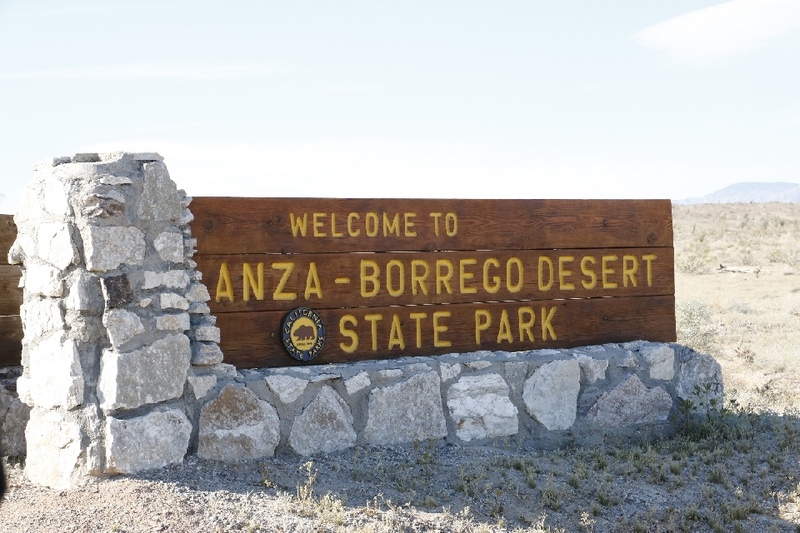 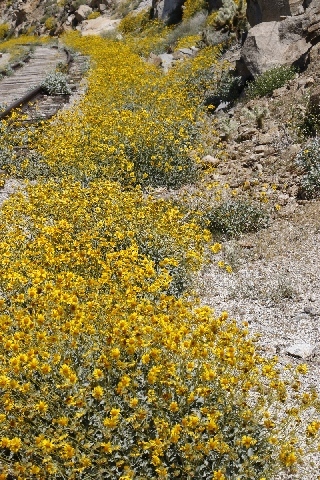 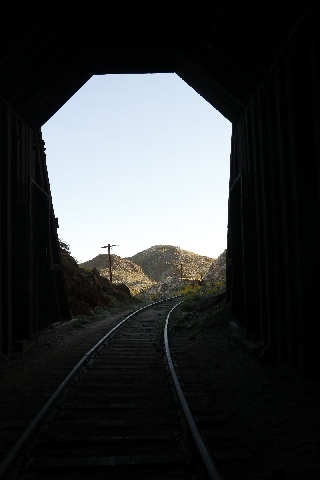 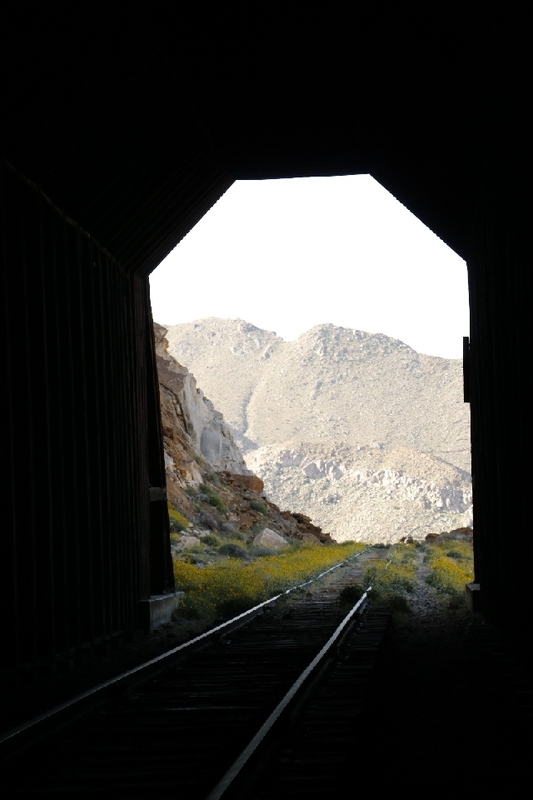 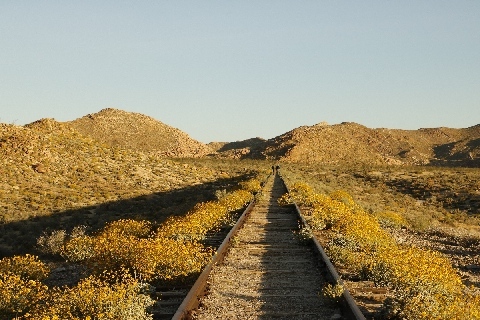 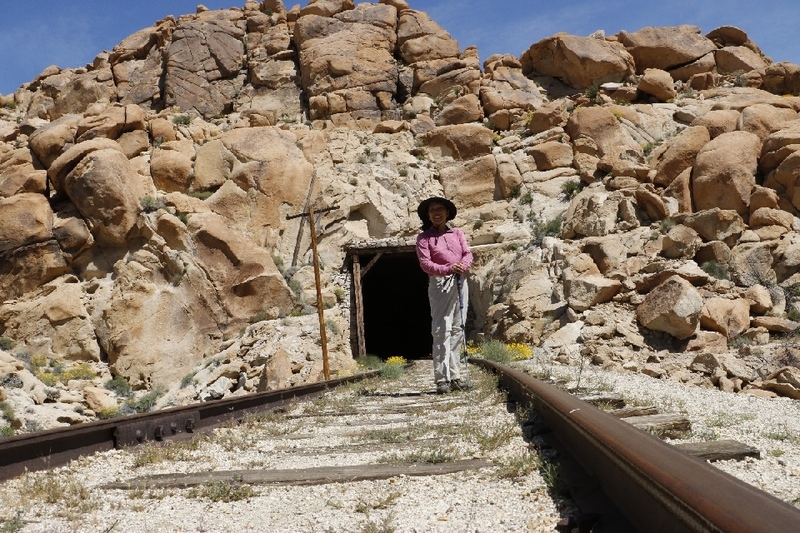 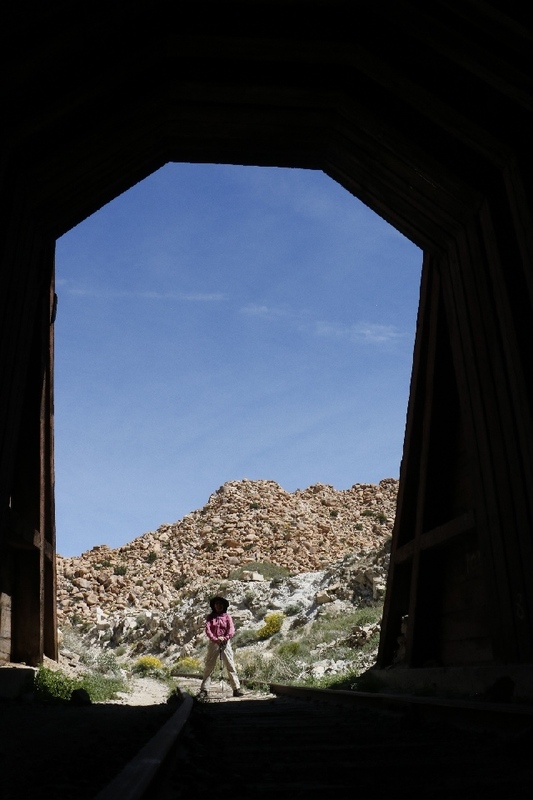 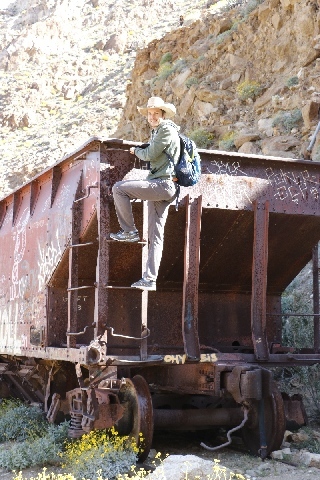 3/25/2017 Dos Cabezas, Anza-Borrego Desert State Park, CA - It was train station on the route of the San Diego-Arizona, Eastern Railway. 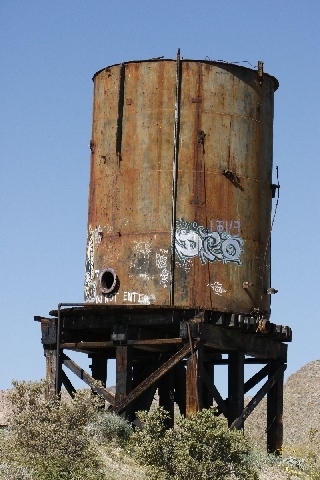 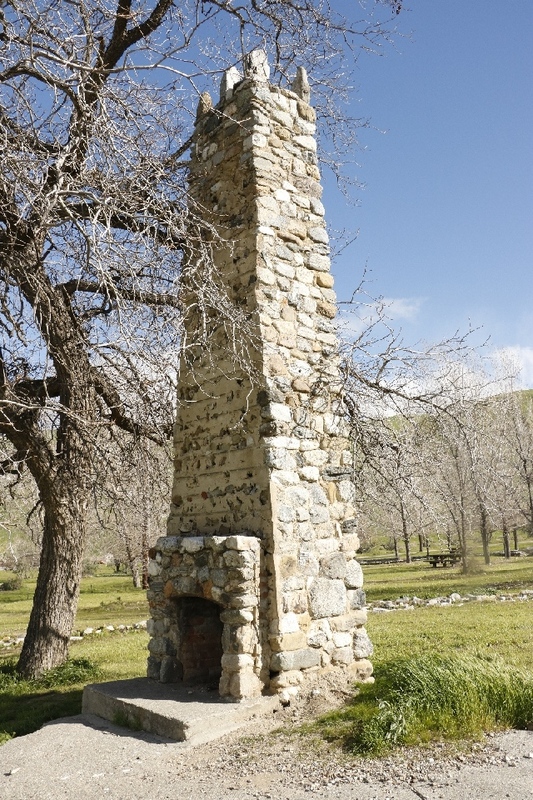 Currently the water tower and building base structures are remaining. 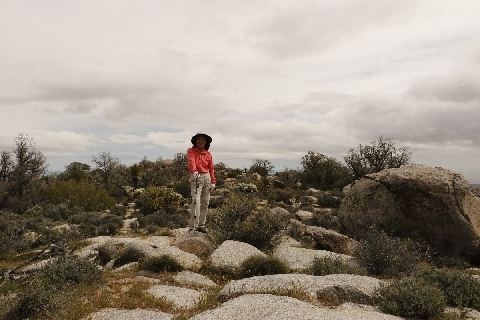 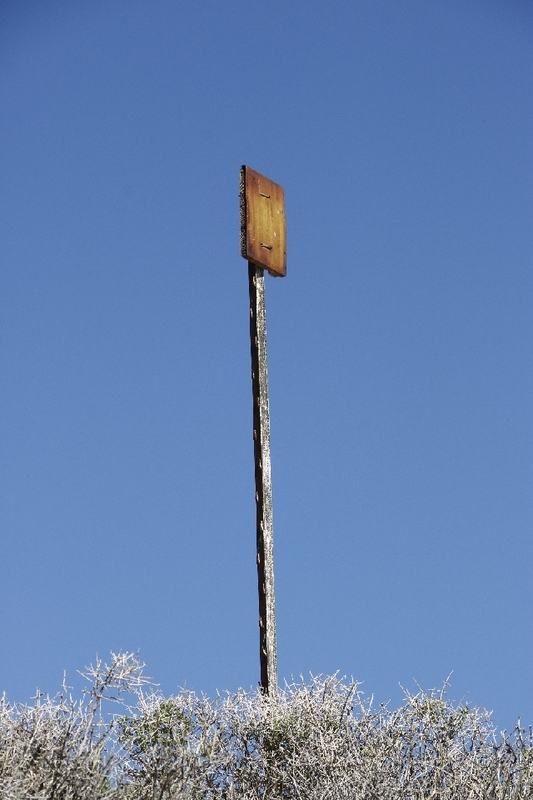 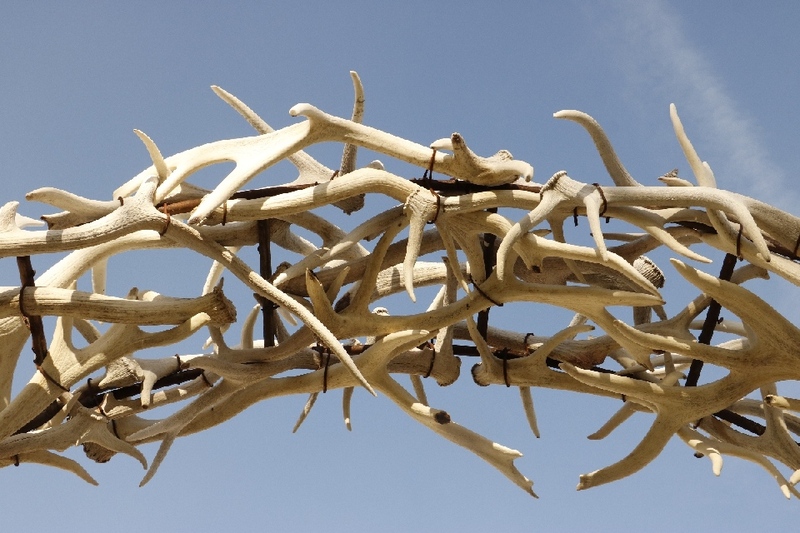 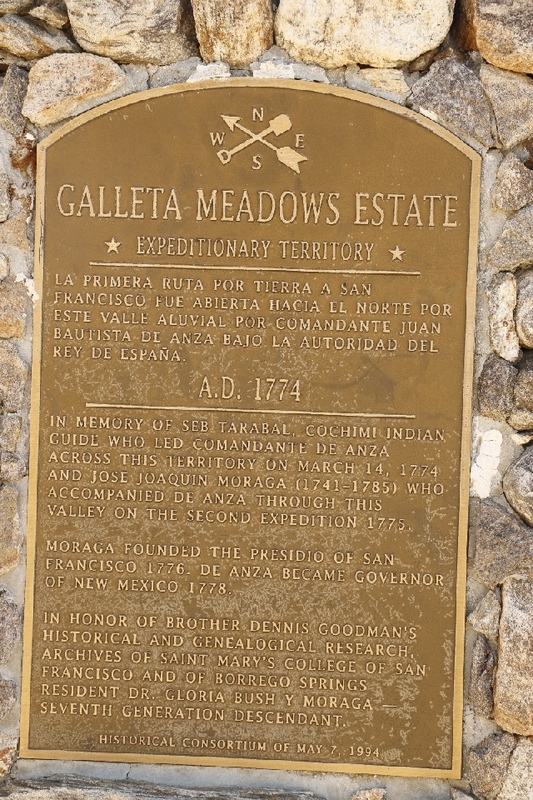 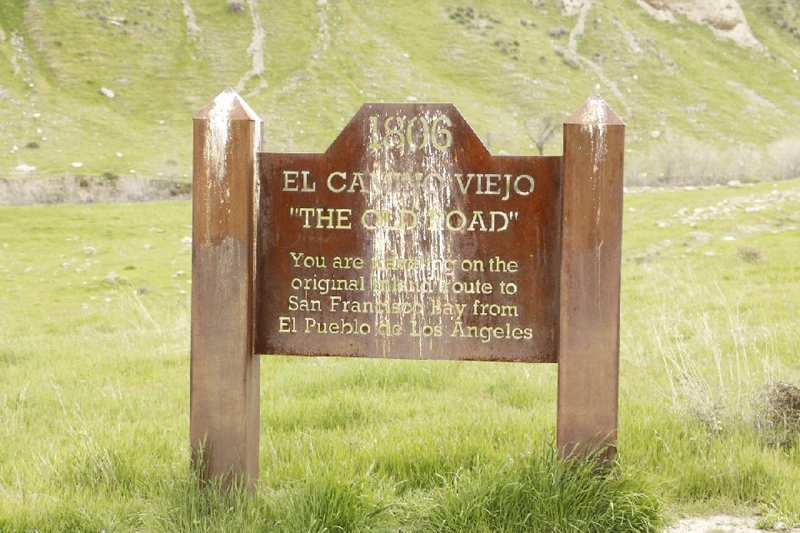 There is no sign at all, even the Dos Cabezas Road. 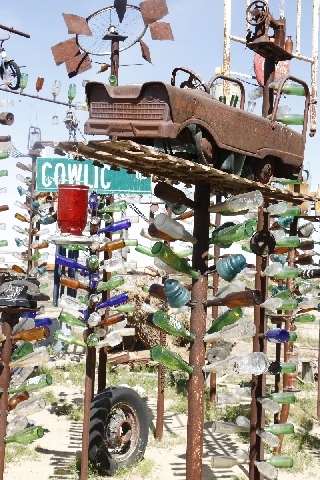 It is popular place, cars are keep coming and go. 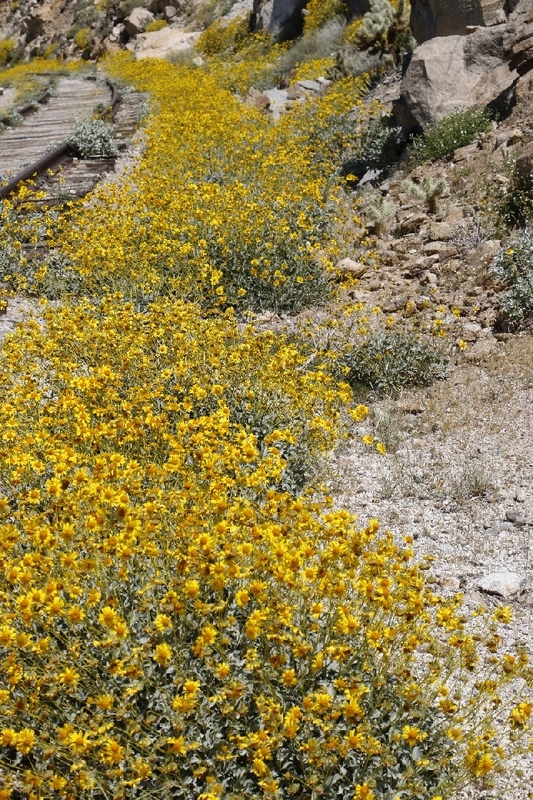 It was just in time to see all bloomed wildflowers. 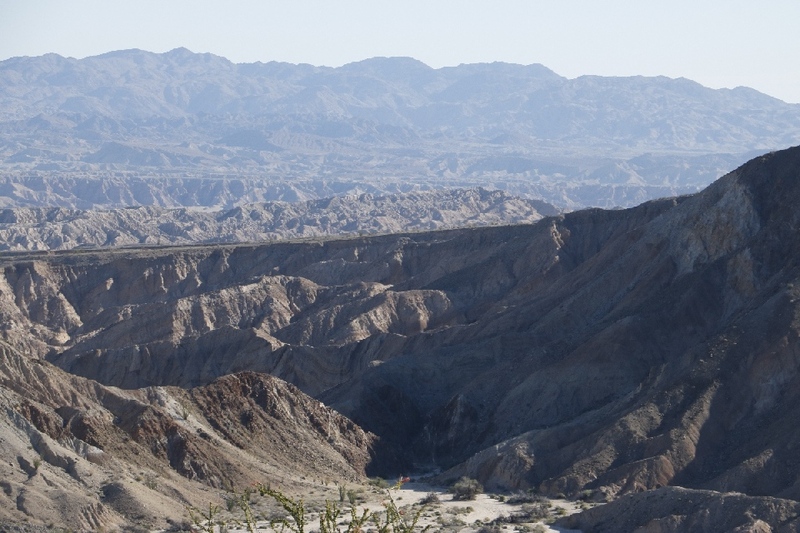 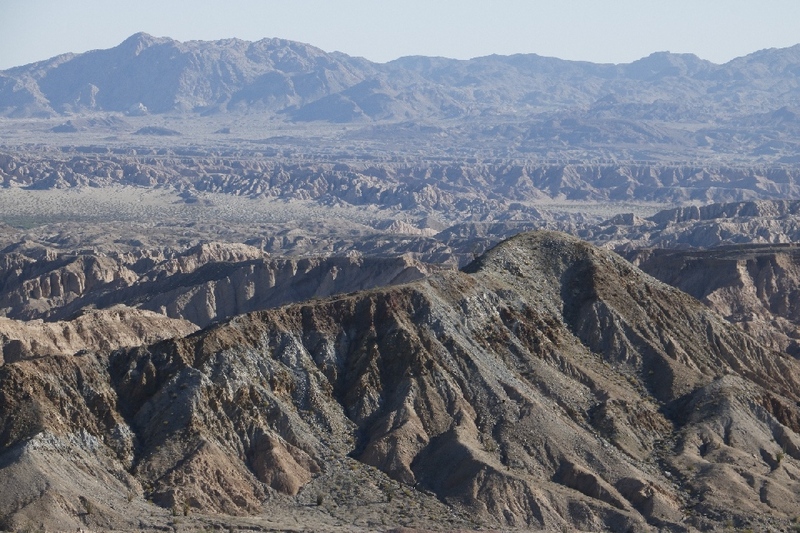 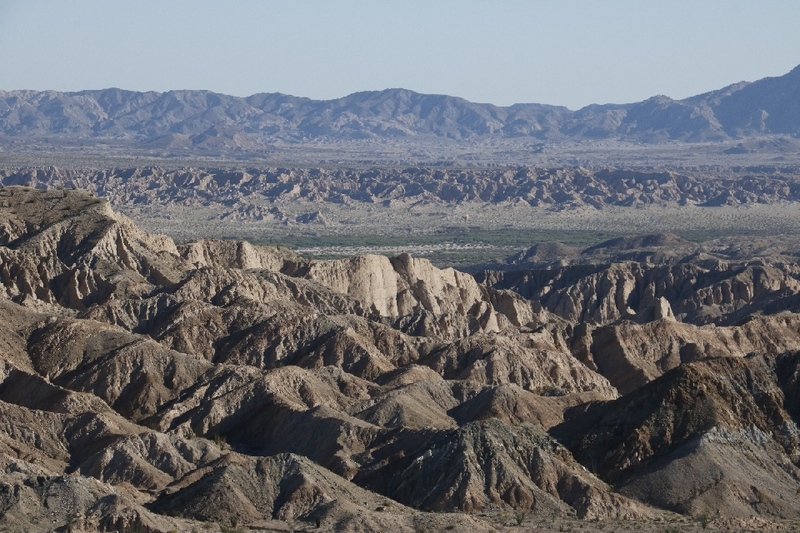 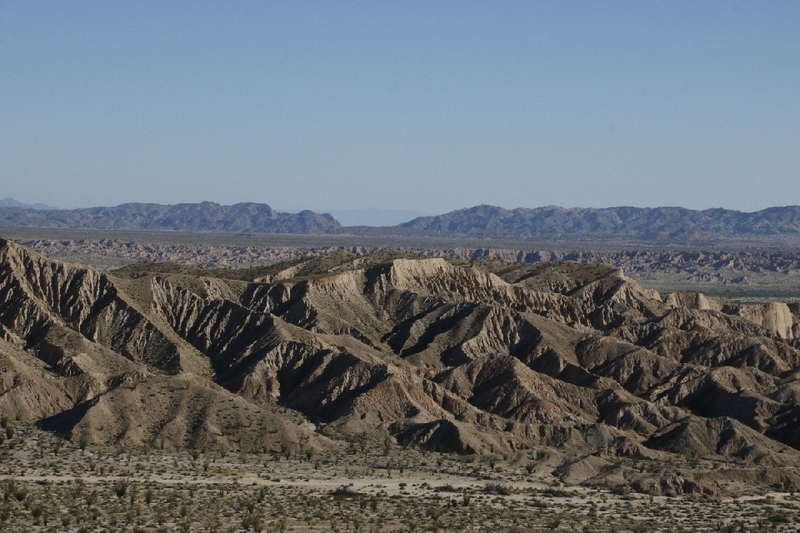 3/25/2017 Carrizo Badlands Overlook, Anza-Borrego Desert State Park, CA - Usually badland means beautiful untouched or undeveloped land. 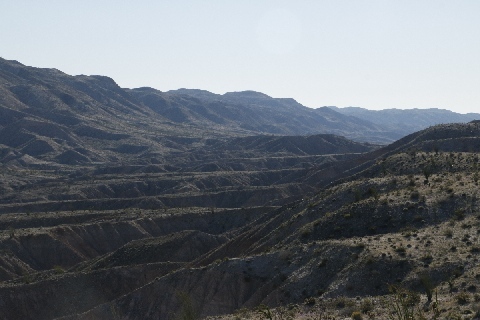 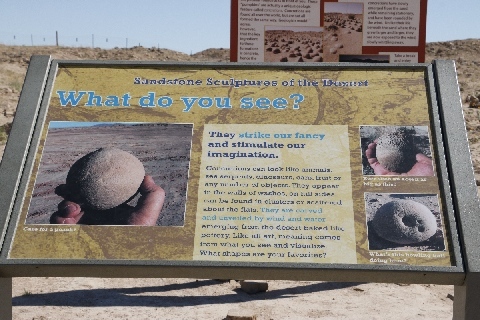 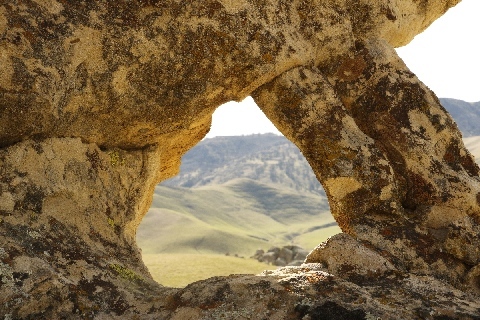 Look down the Carrizo Badland, can see wide range area, which has many ridges and canyons, and beautiful. 3/24/2017 Carrizo Gorge Pictographs, Anza-Borrego Desert State Park, CA - Last 2 miles of road was too much for me to drive, I started hiking, shortly after that Tony showed up with very high clearance 4Runner and gave me a ride that not all, he hiked with me to show me the pictographs. Thank you Tony without your help, I never find it. 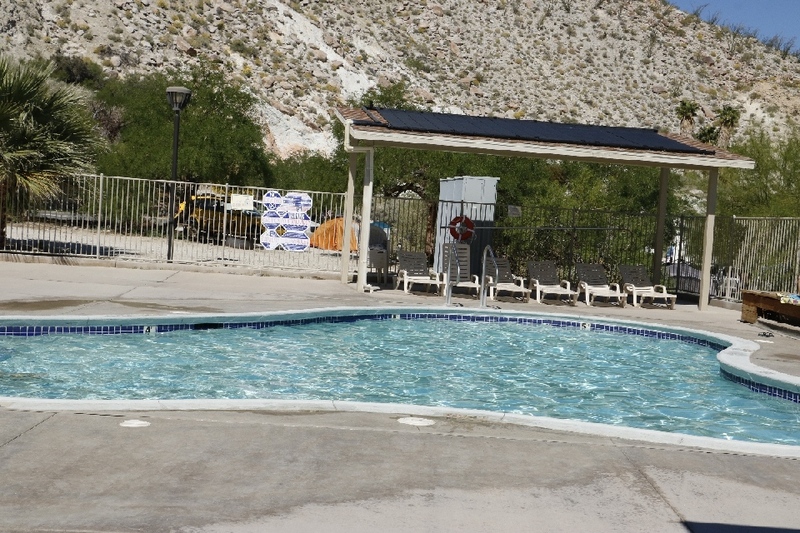 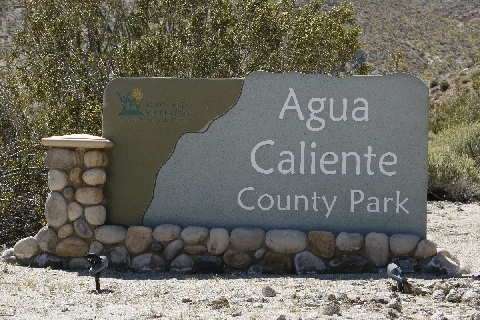 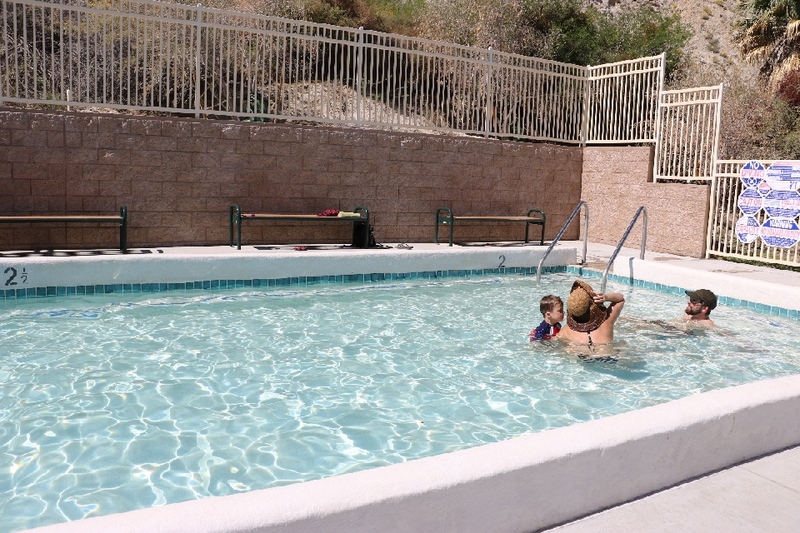 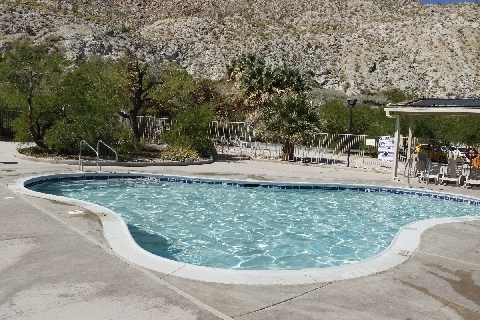 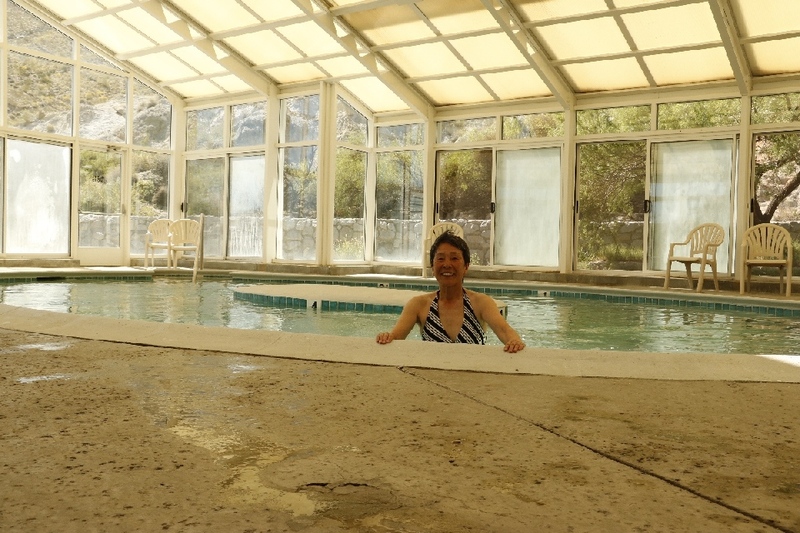 3/24/2017 Agua Caliente Hot Springs, Agua Caliente County Park, CA - There are three pools, one inside that about 102 degrees, two outside, one for small kid and one for adult. Admission fee is $3 for alll day of soak. 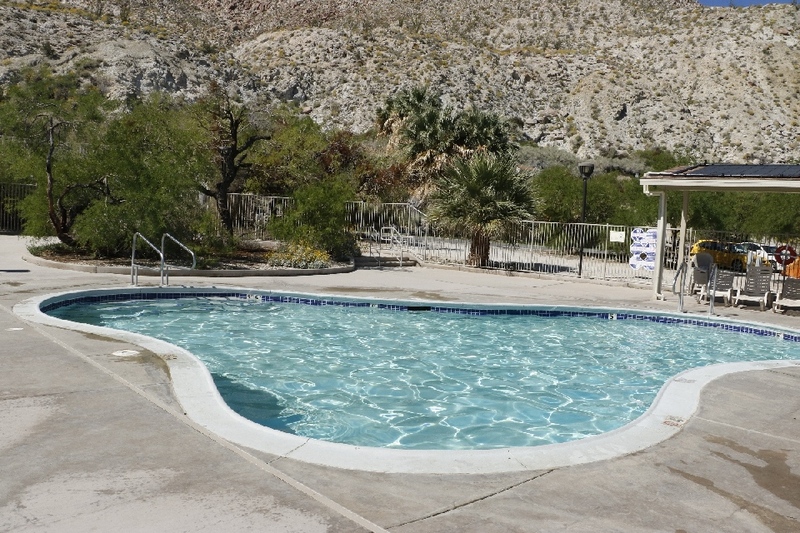 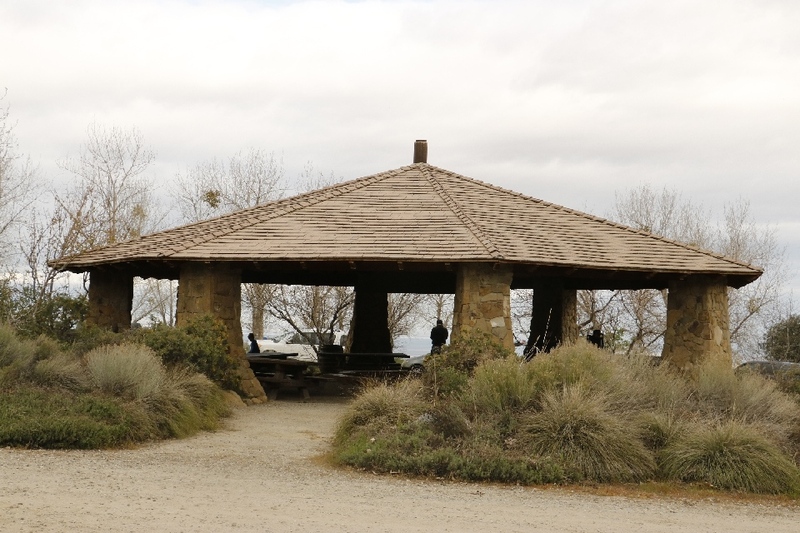 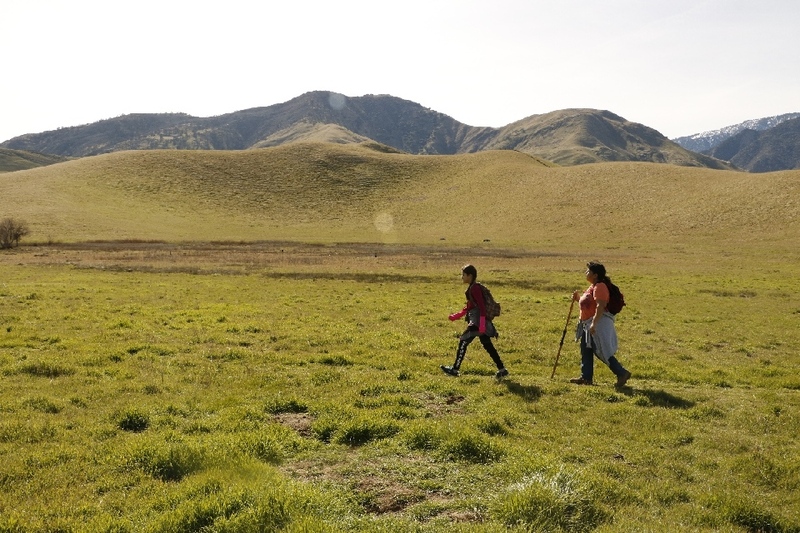 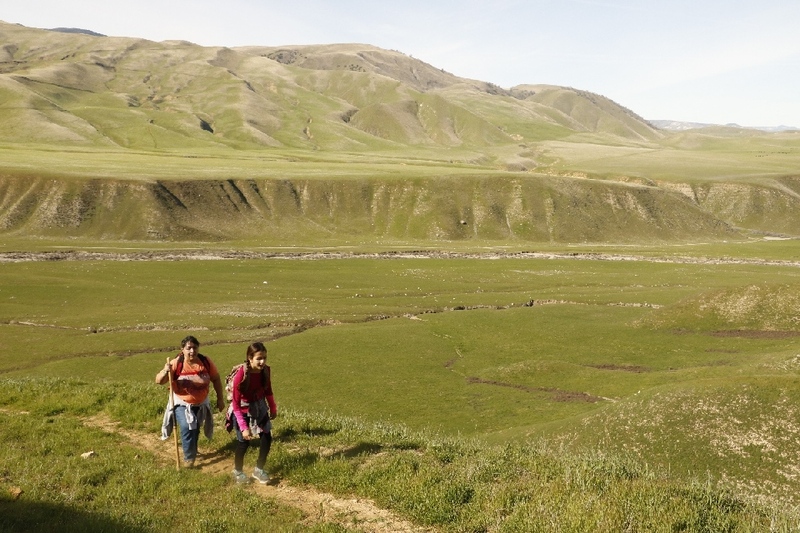 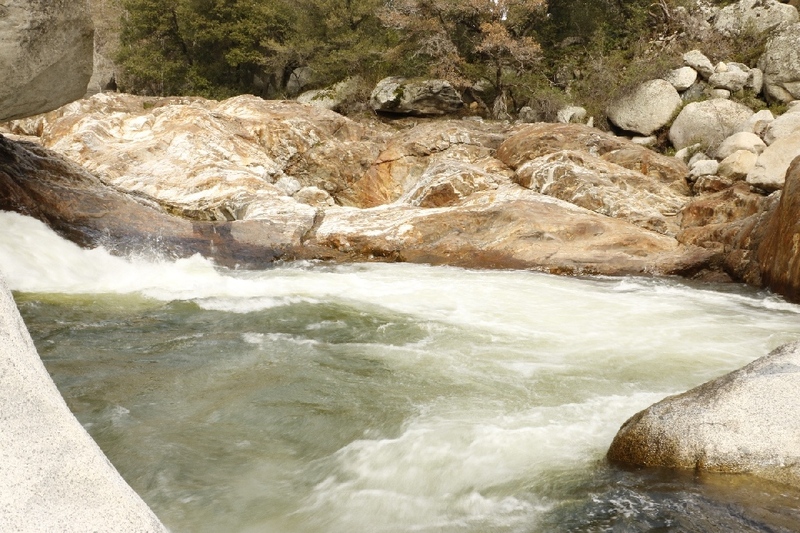 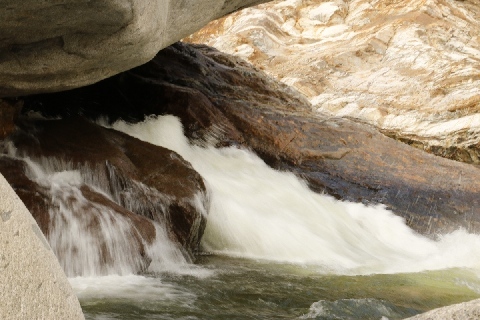 It is very popular place and camping ground is all booked up. 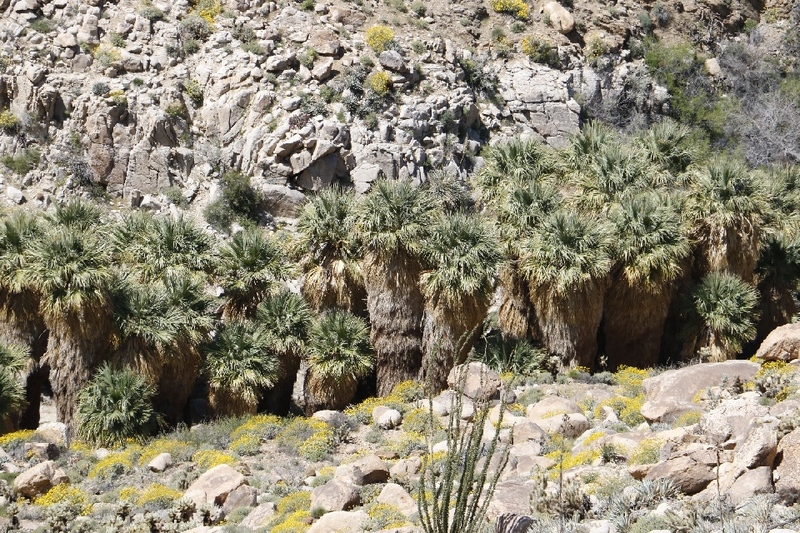 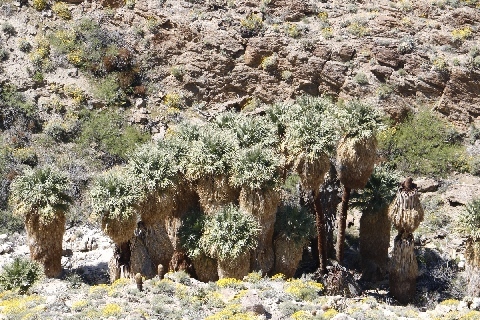 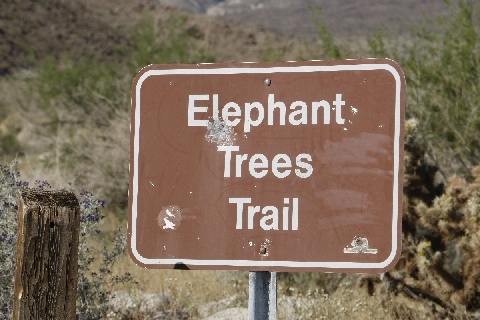 3/24/2017 Elephant Trees, Anzo-Borrego Desert State Park, CA - I thought I can see the giant trees in the desert, I was wrong. 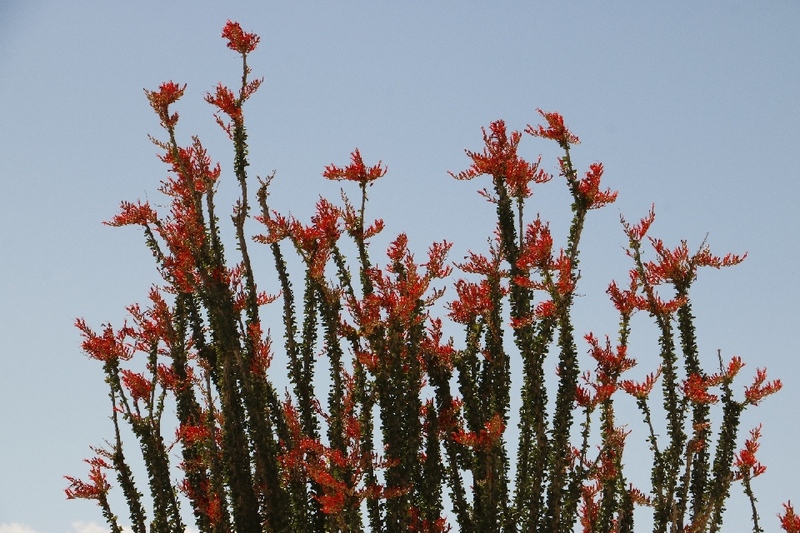 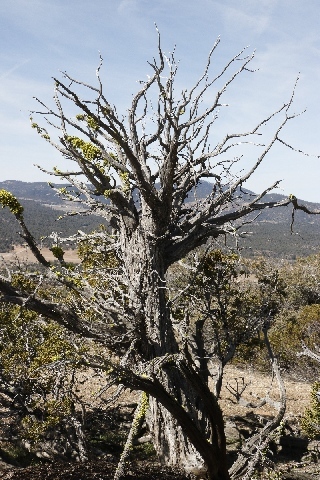 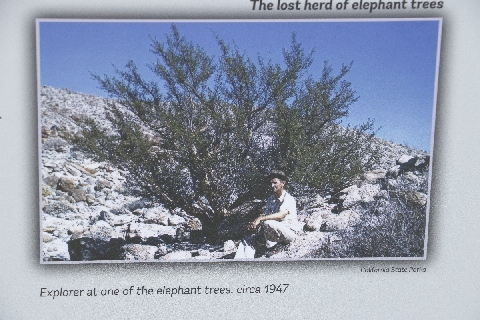 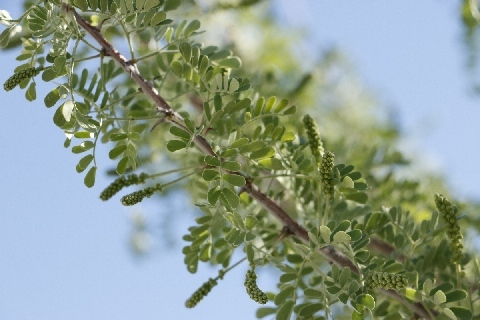 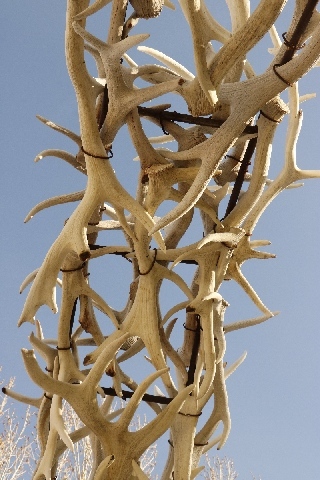 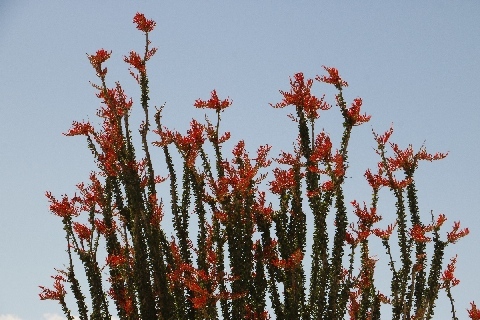 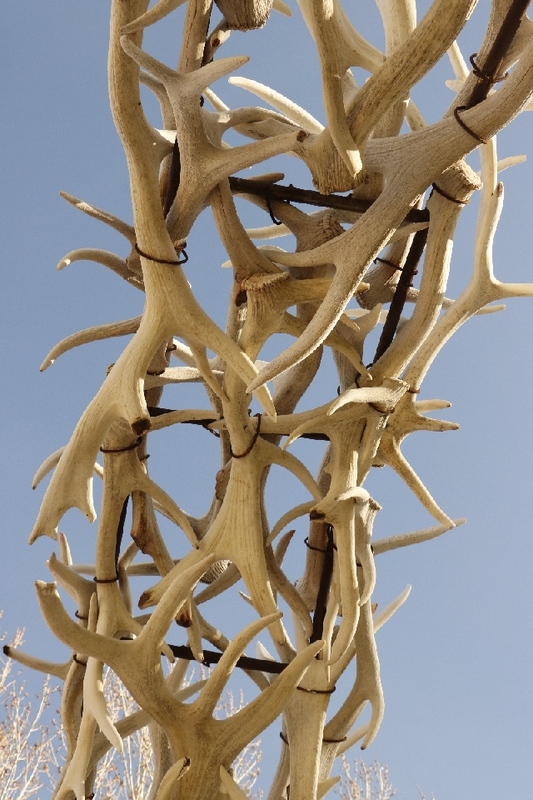 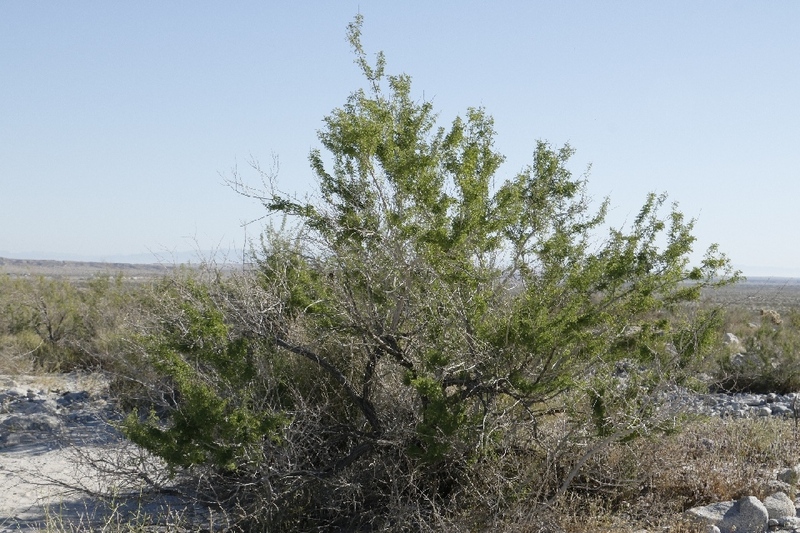 Its California rare plant the Bursera Microphylla called the Elephant Tree that more like a bush rather than a tree. 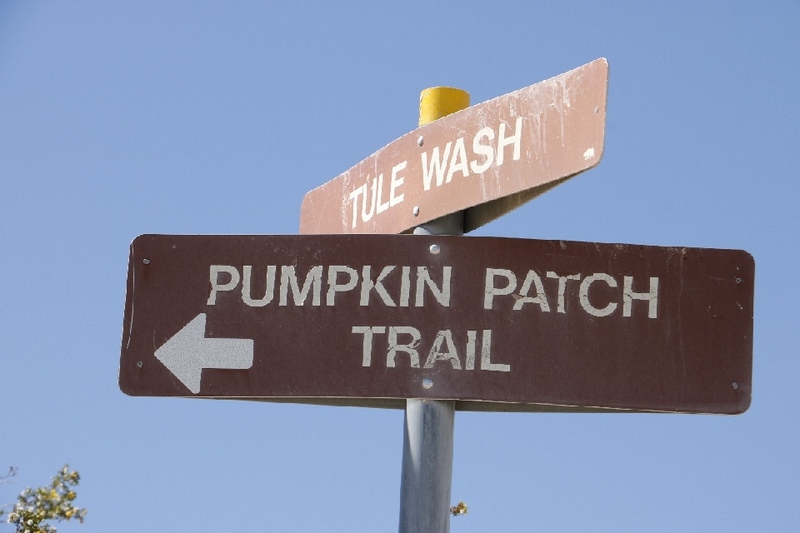 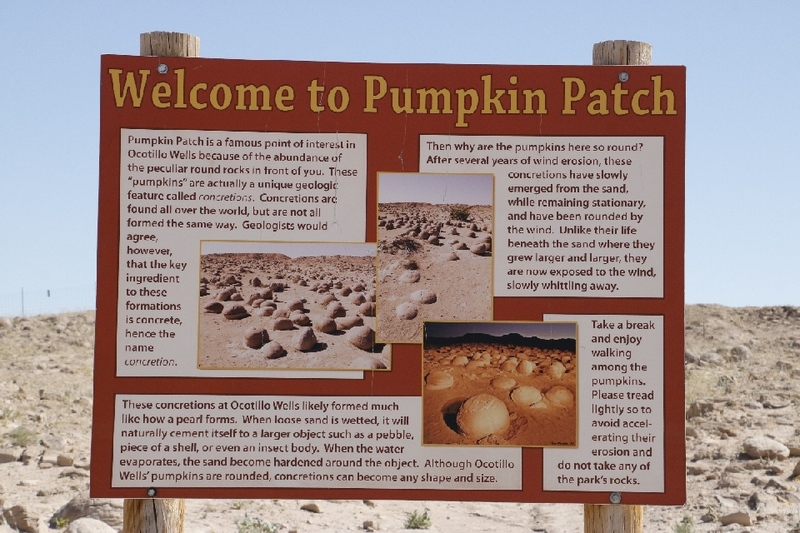 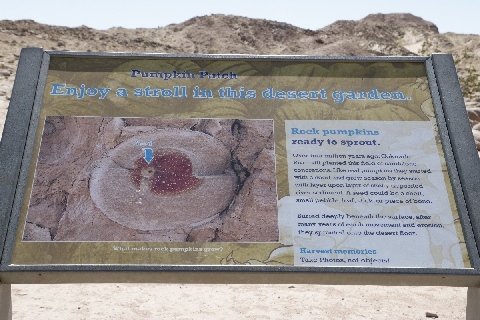 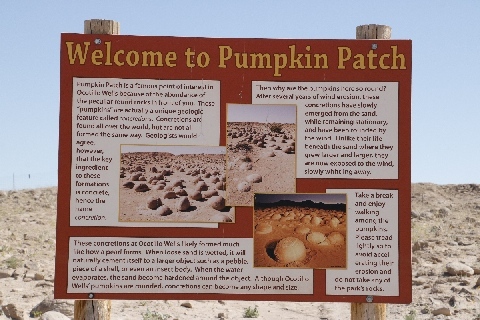 3/23/2017 Pumpkin Patch, Ocotillo Wells State Vehicular Recreational Area, CA - I thought I have to hike to get here, but not that case, I drove all the way via Veterans Pass - Crossover Trail - Tule Wash, even no need 4x4, but need good tires and high clearance. 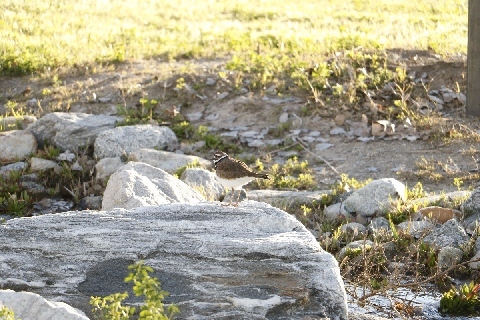 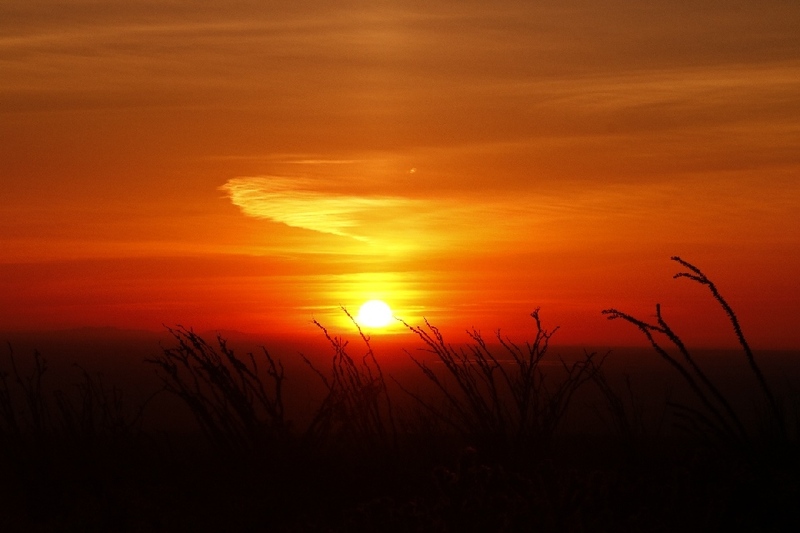 I took photos for day time, sunset and sunrise. 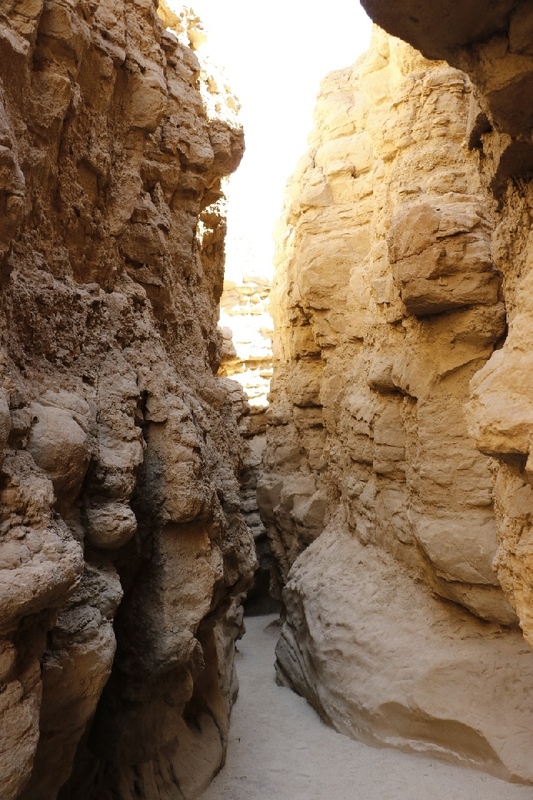 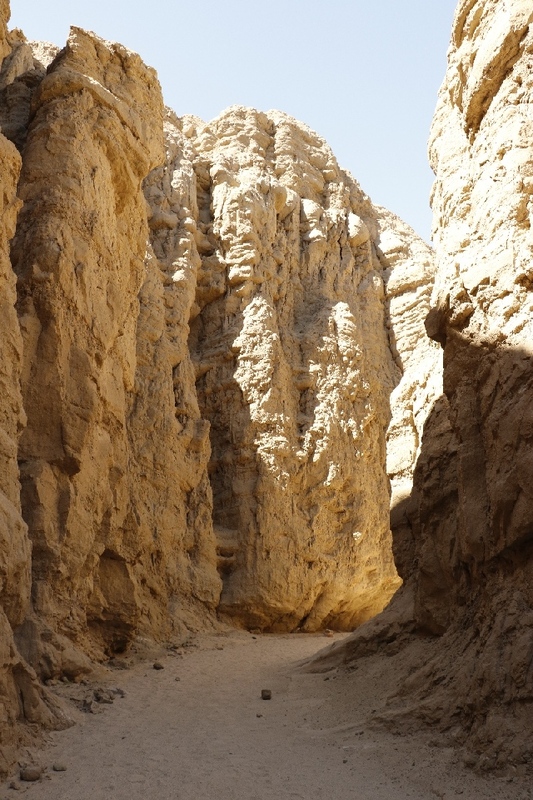 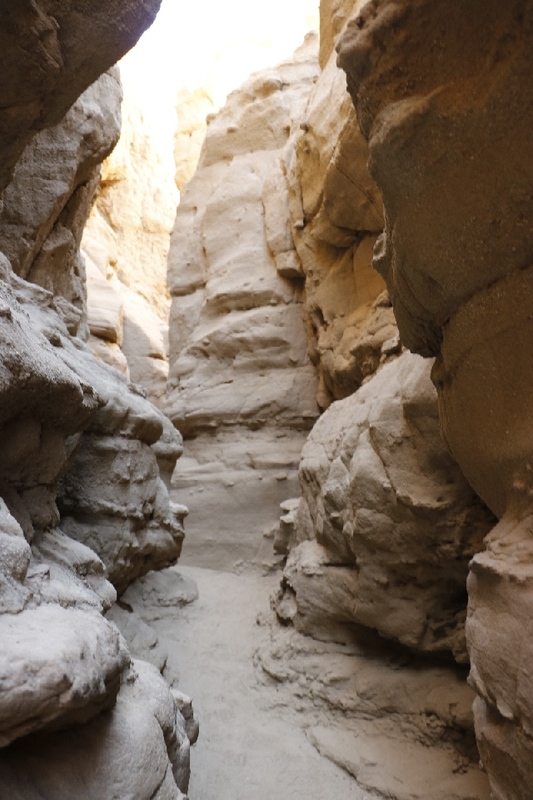 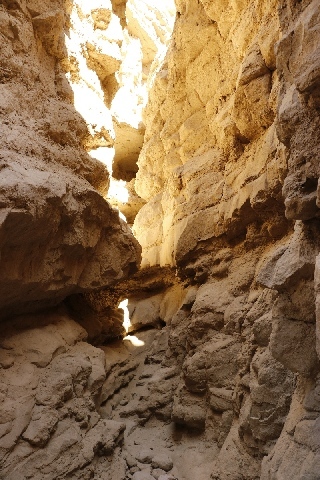 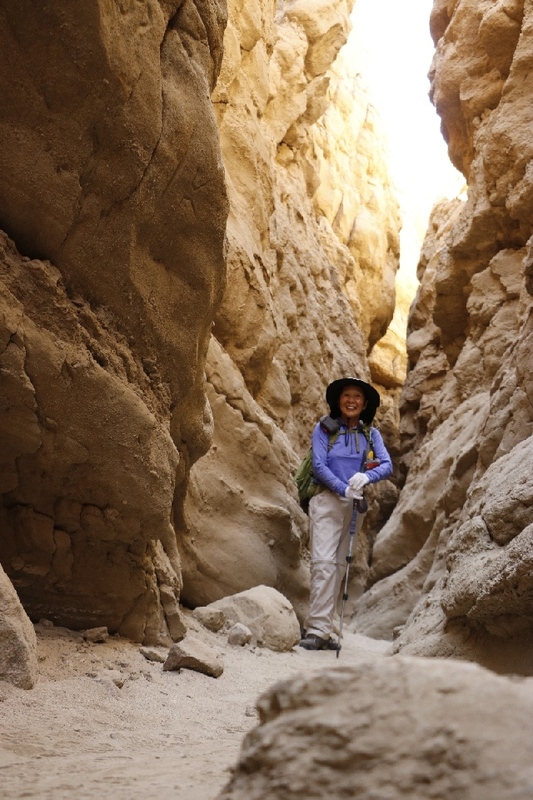 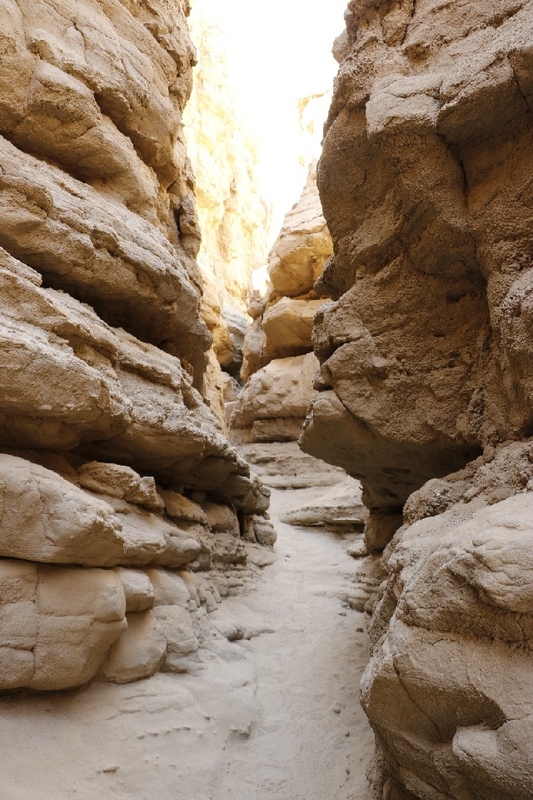 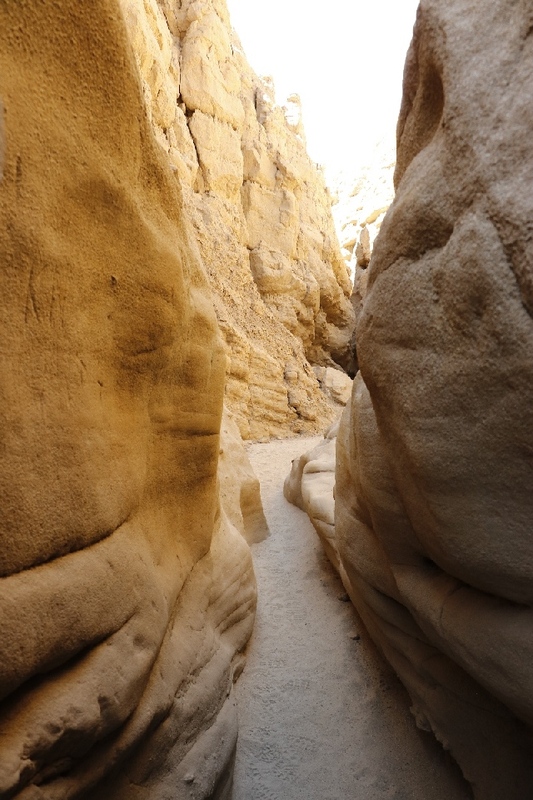 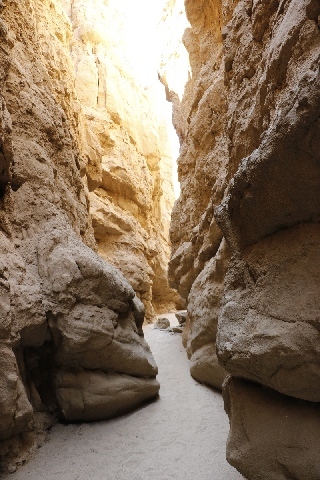 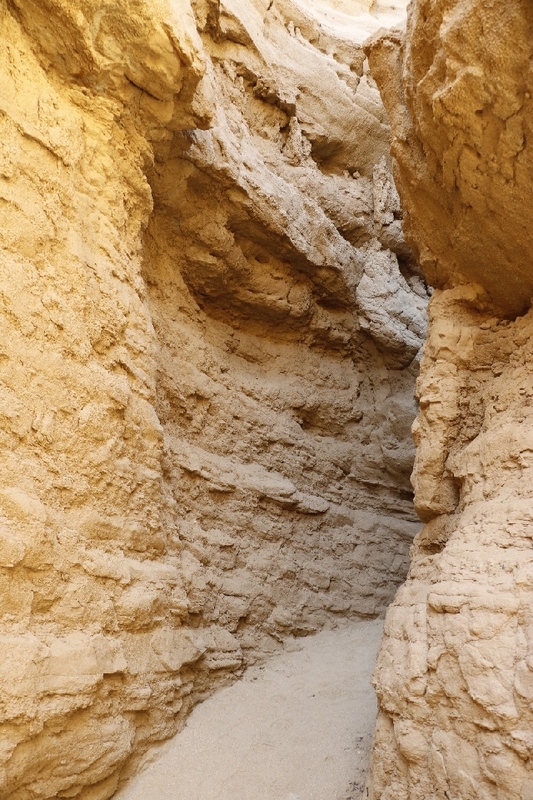 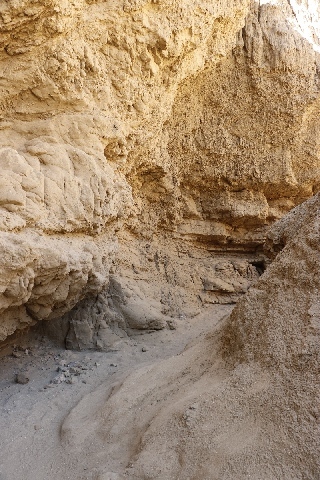 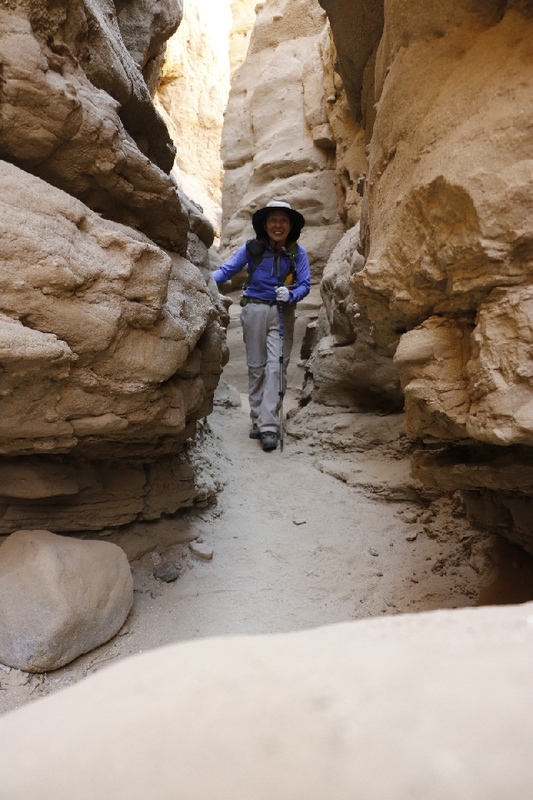 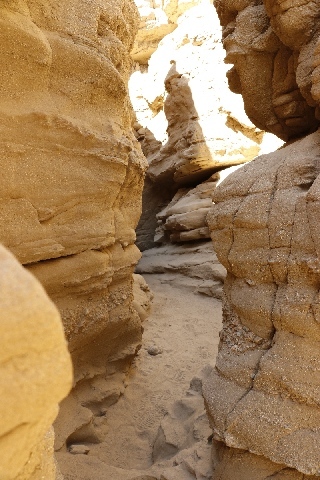 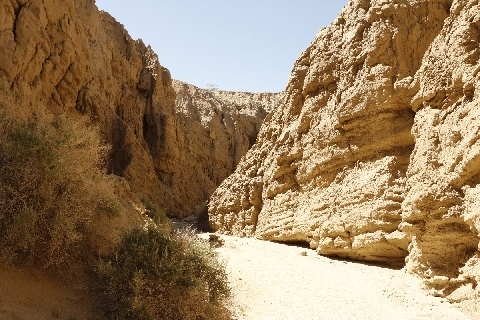 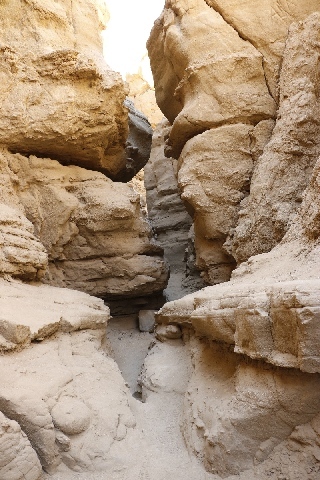 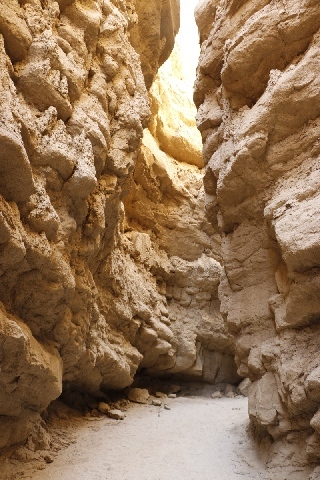 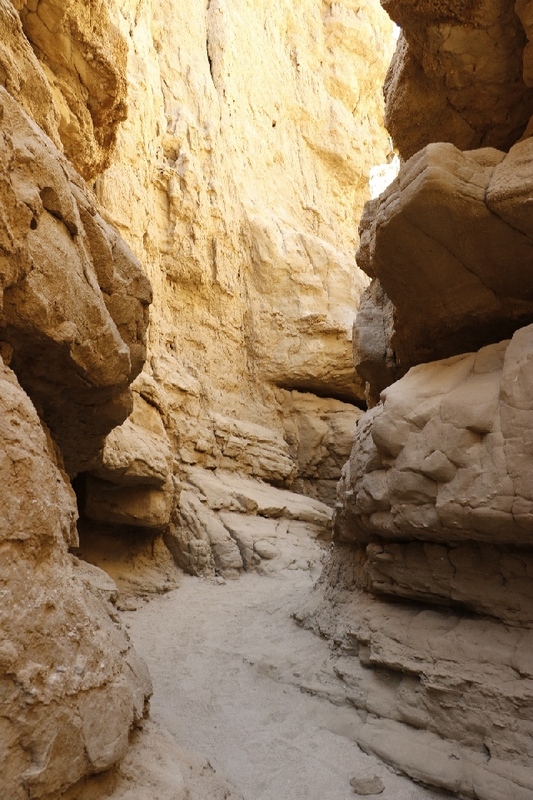 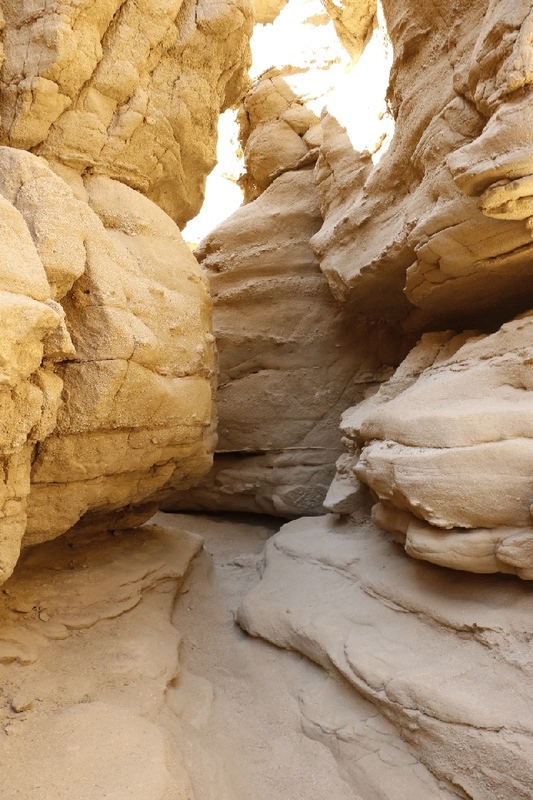 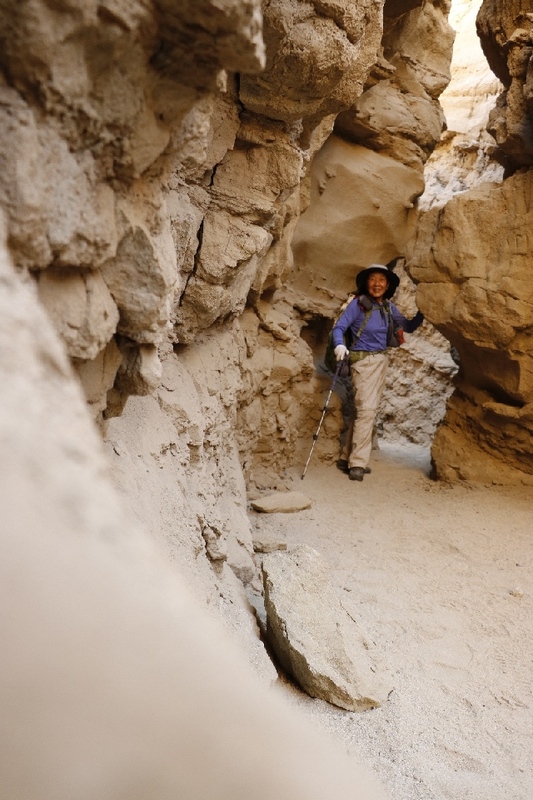 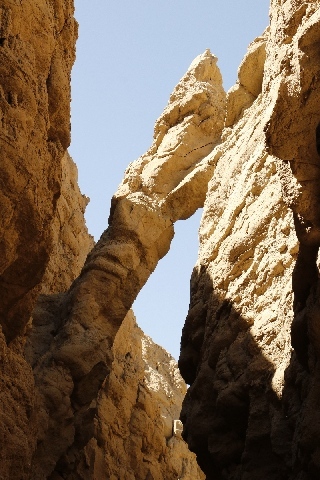 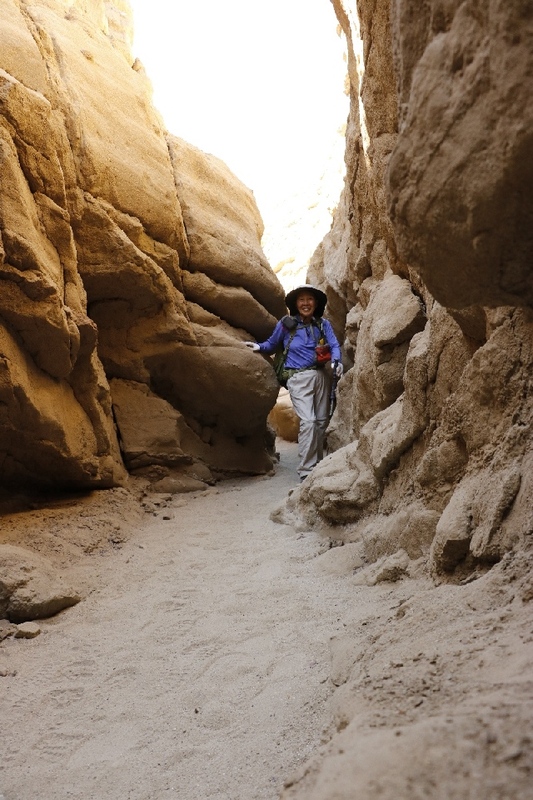 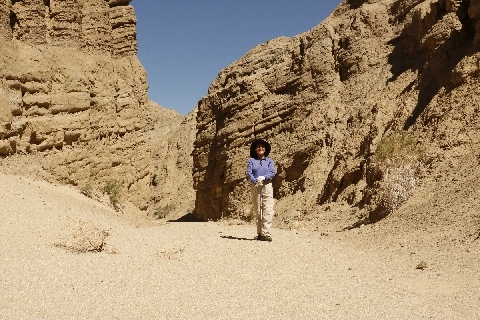 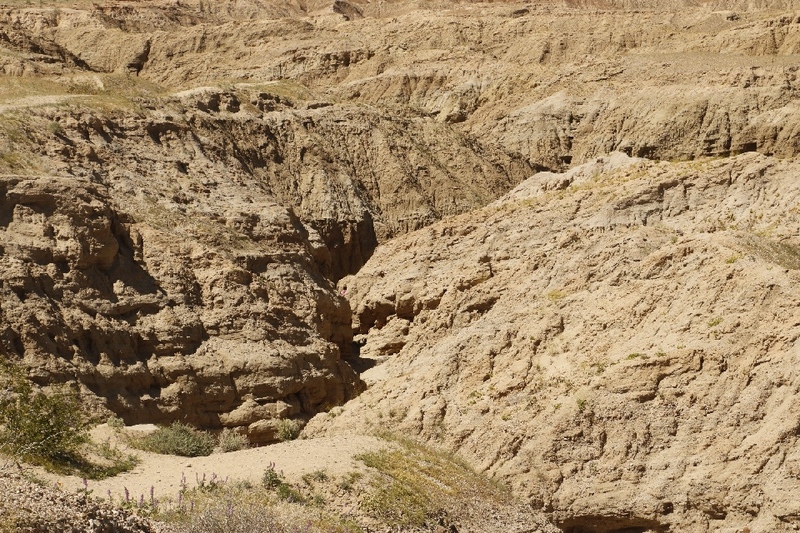 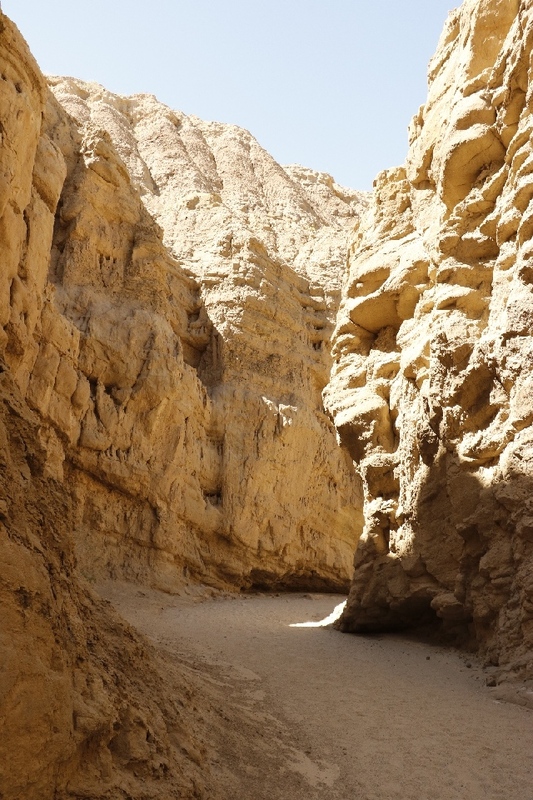 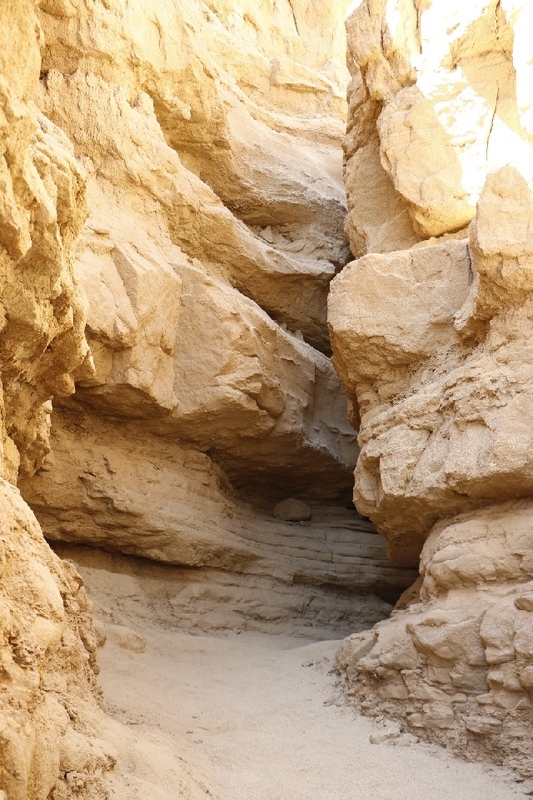 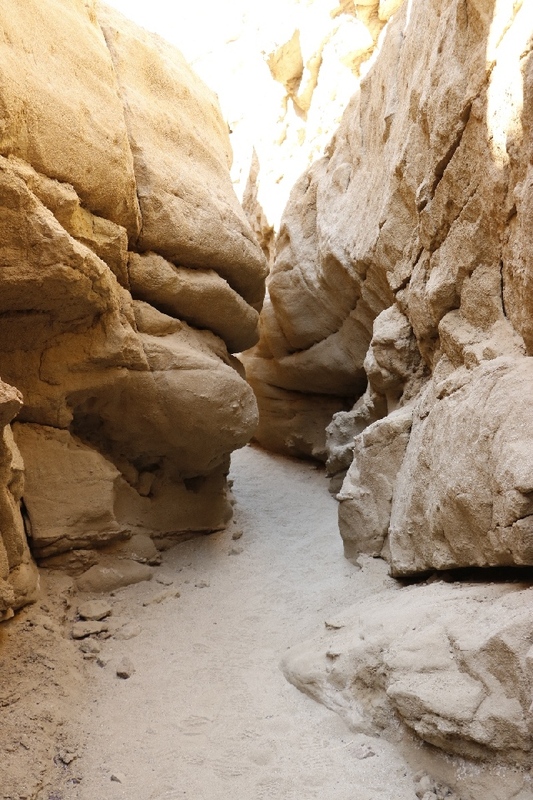 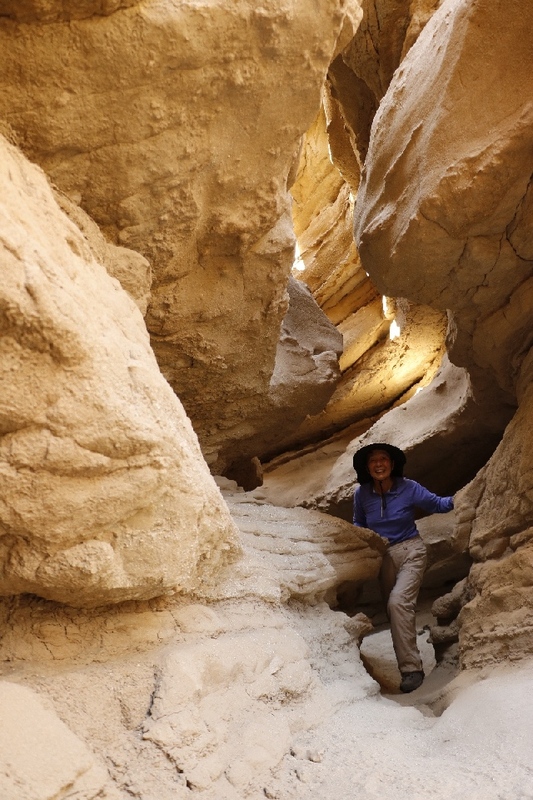 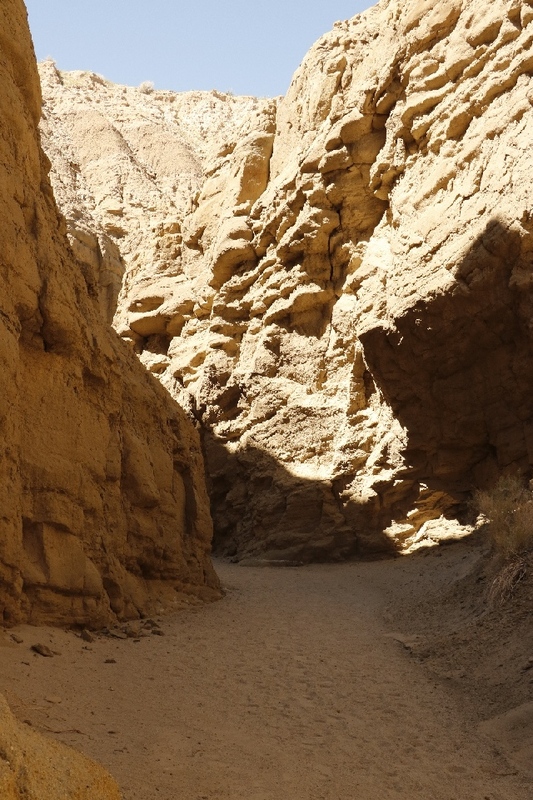 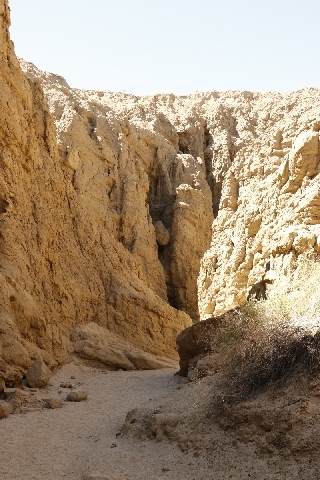 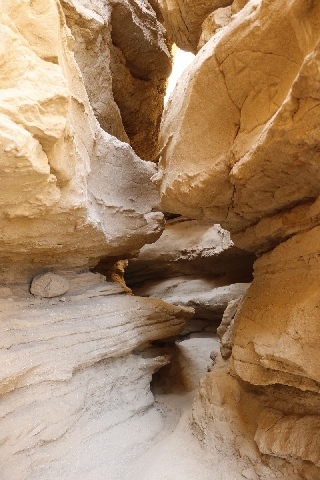 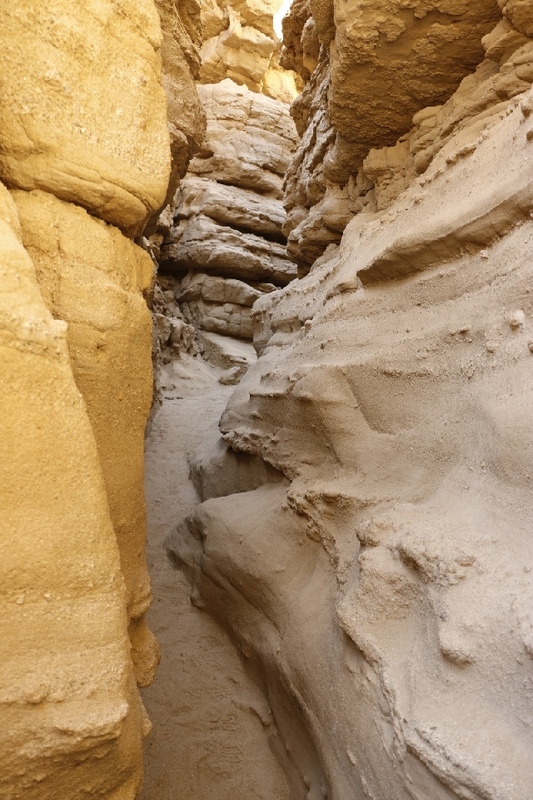 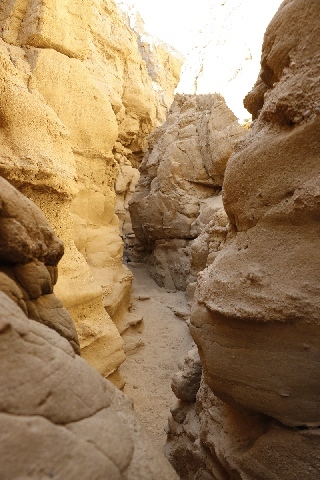 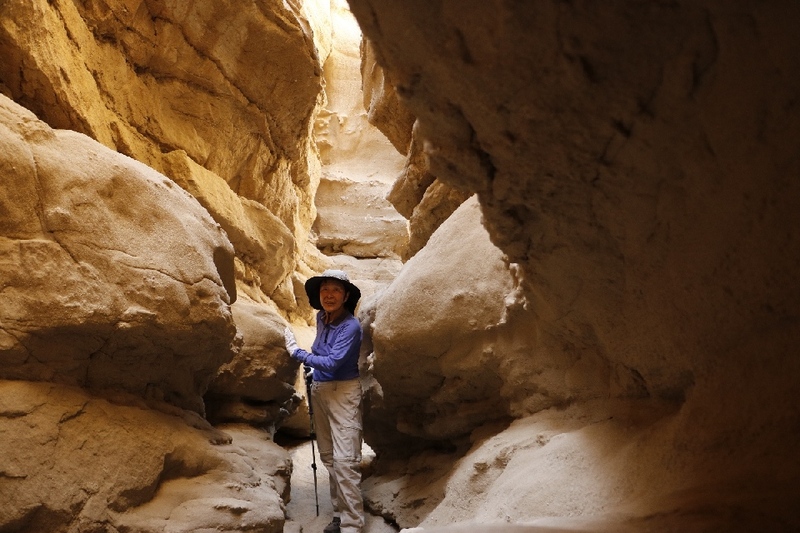 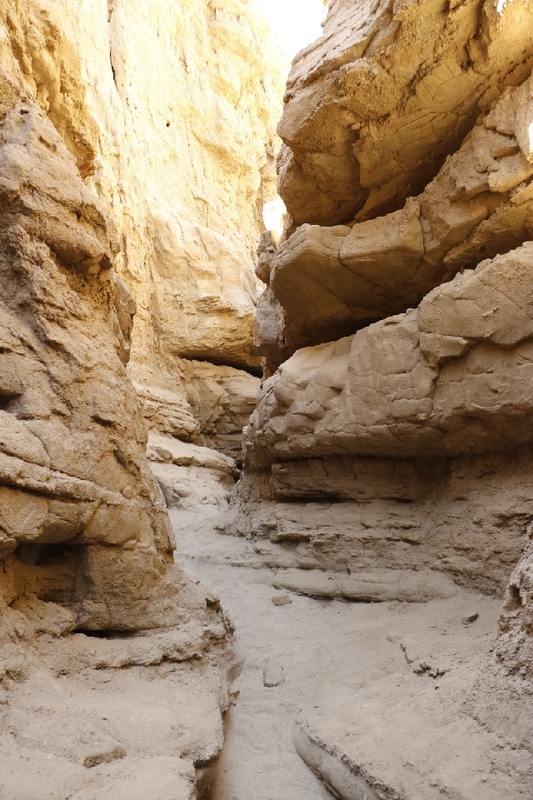 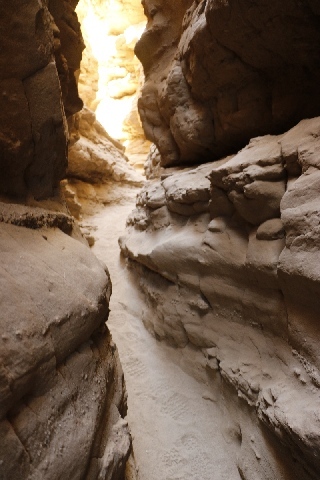 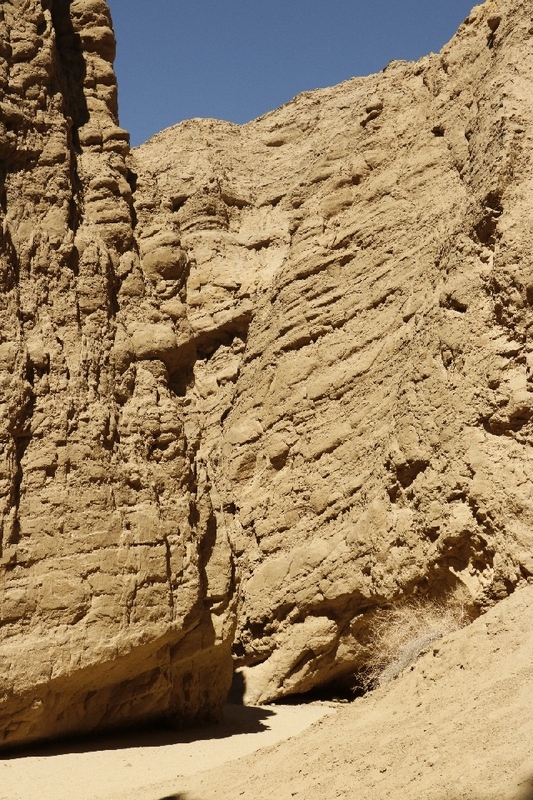 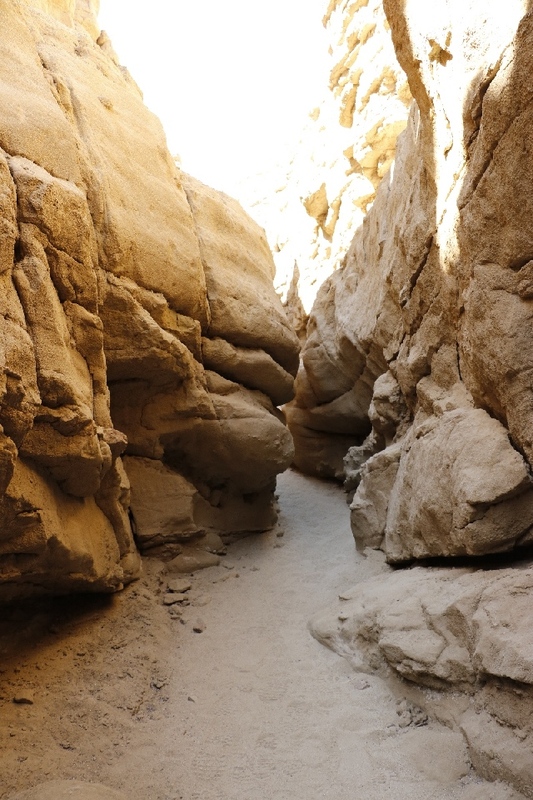 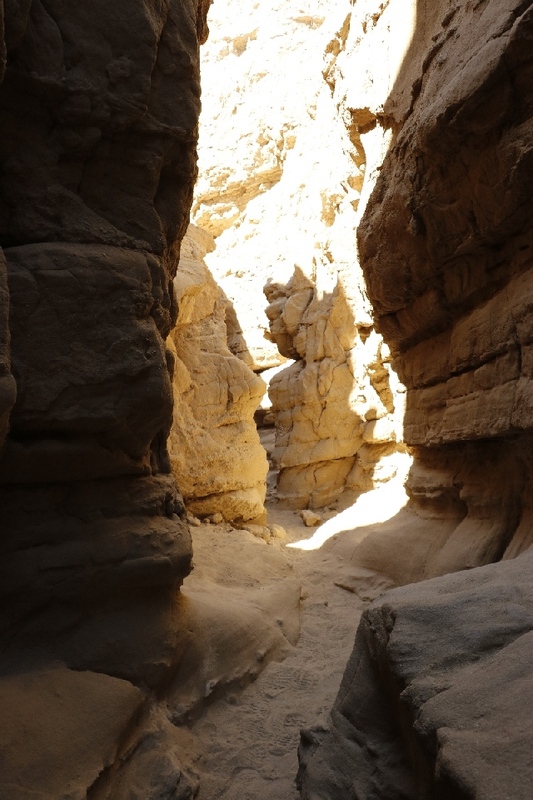 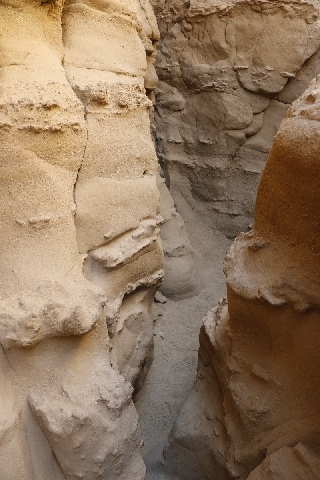 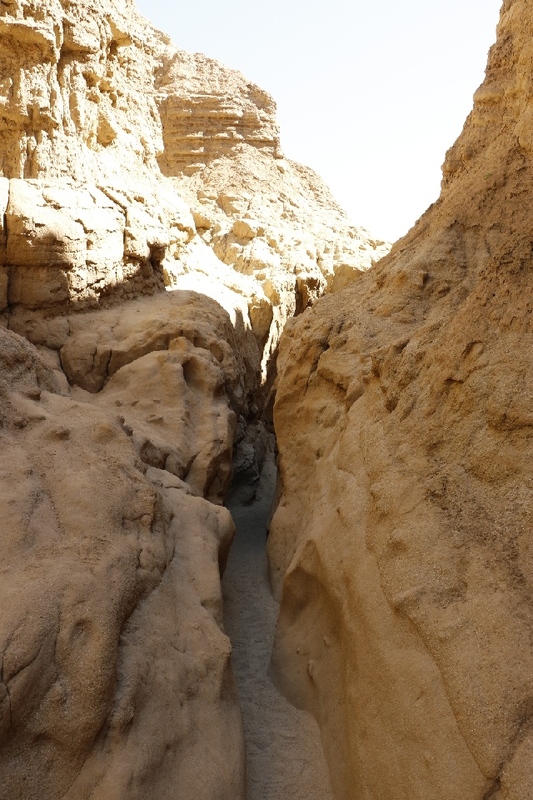 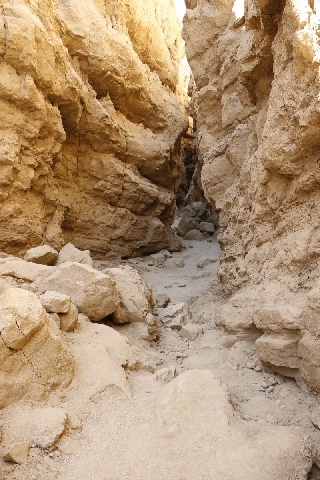 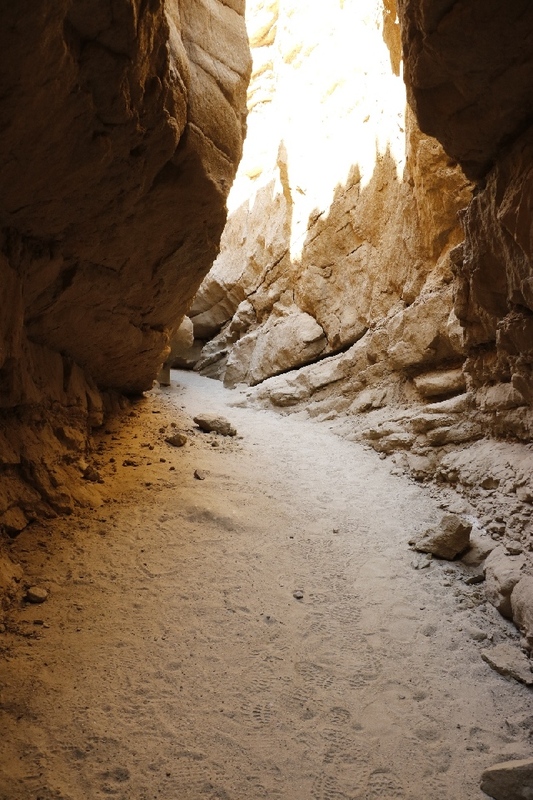 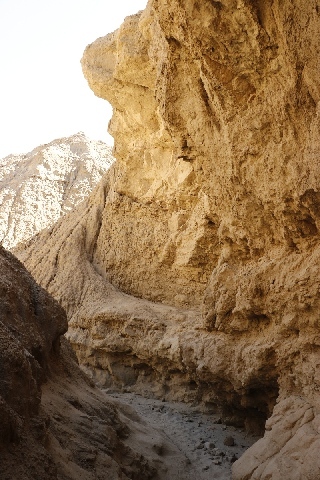 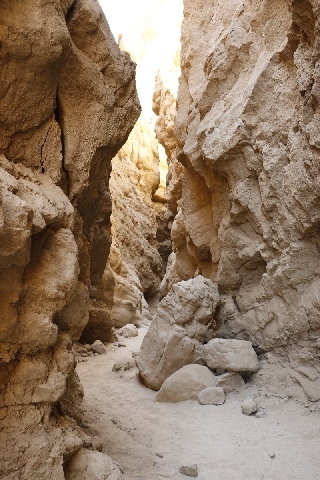 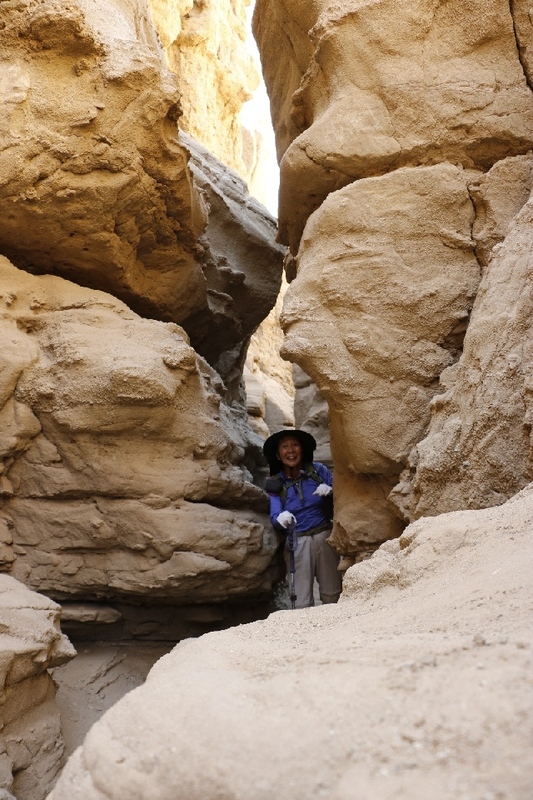 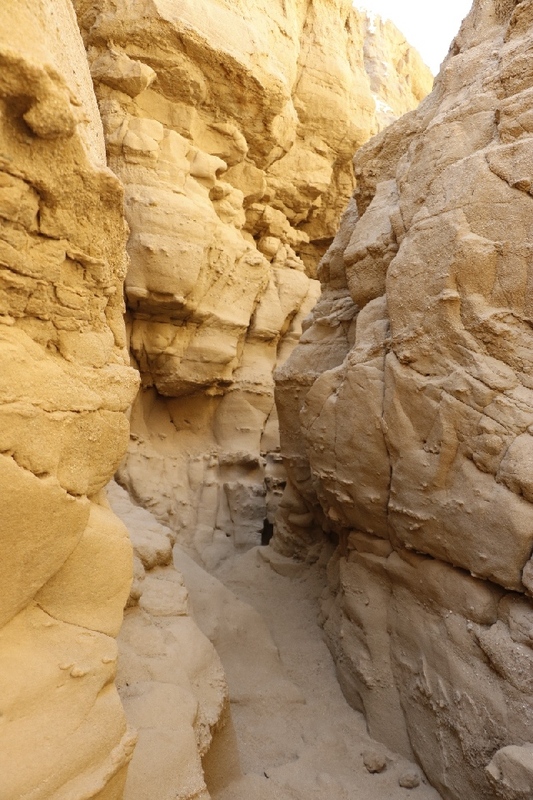 3/23/2017 The Slot, Ocotillo Wells State Vehicular Recreational Area, CA (1.8 miles) - This is a fun place, narrow slot to hike down, very nice cool slot hike. 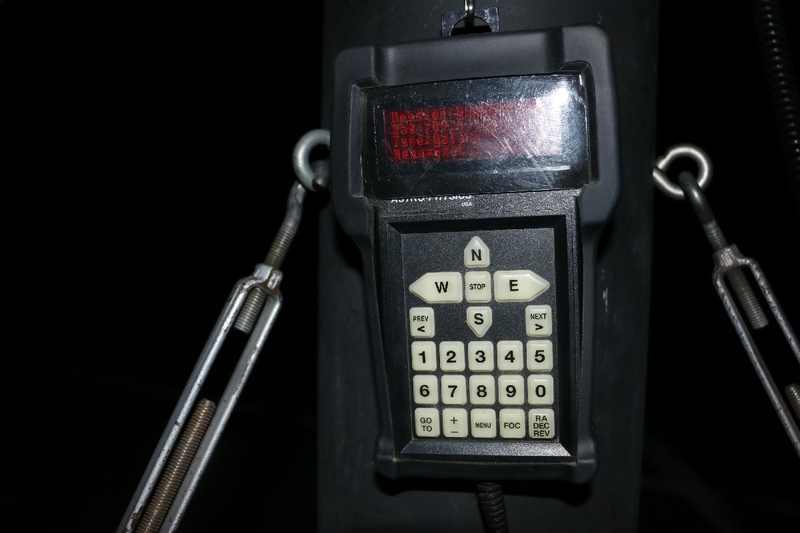 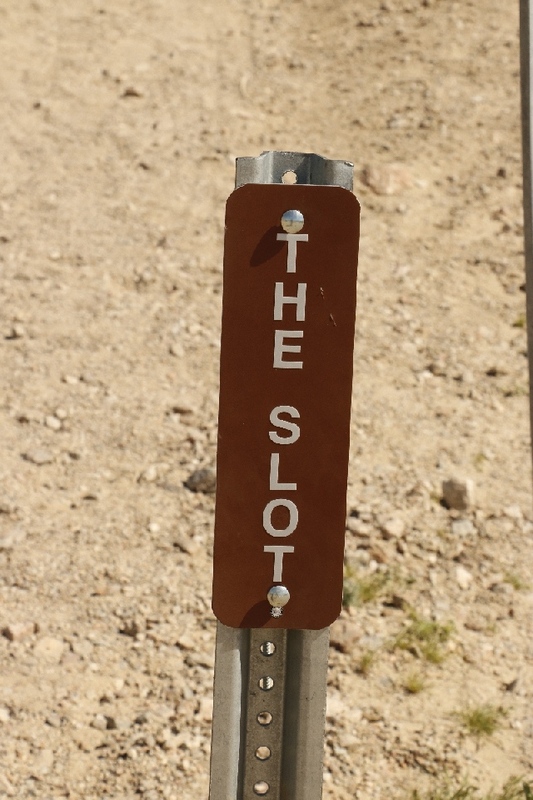 However slot is little shorter, wish two to three times longer. 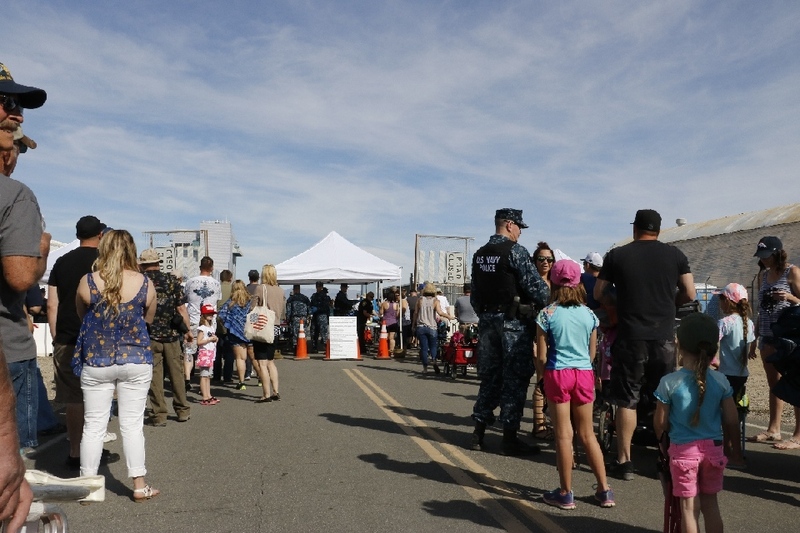 There were many people, parking lot was full. 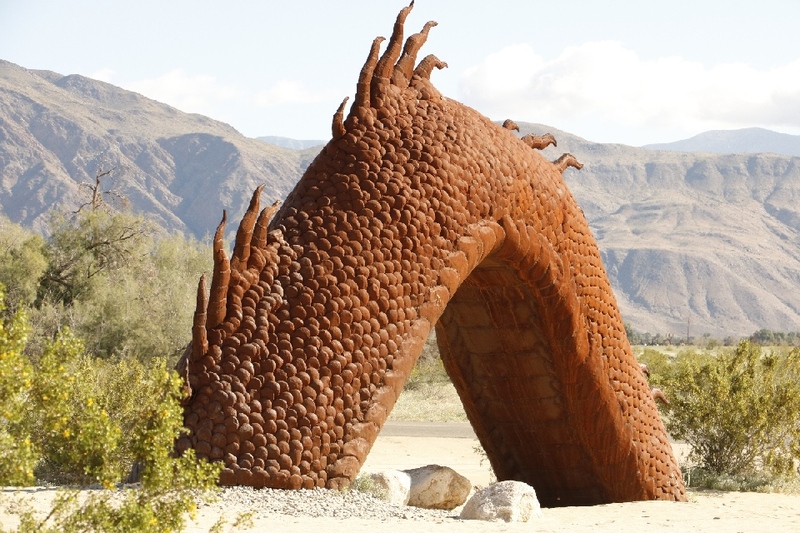 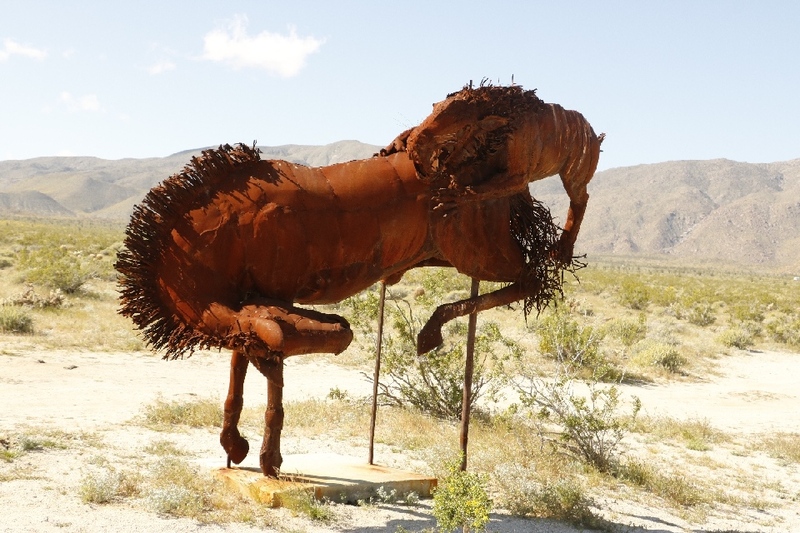 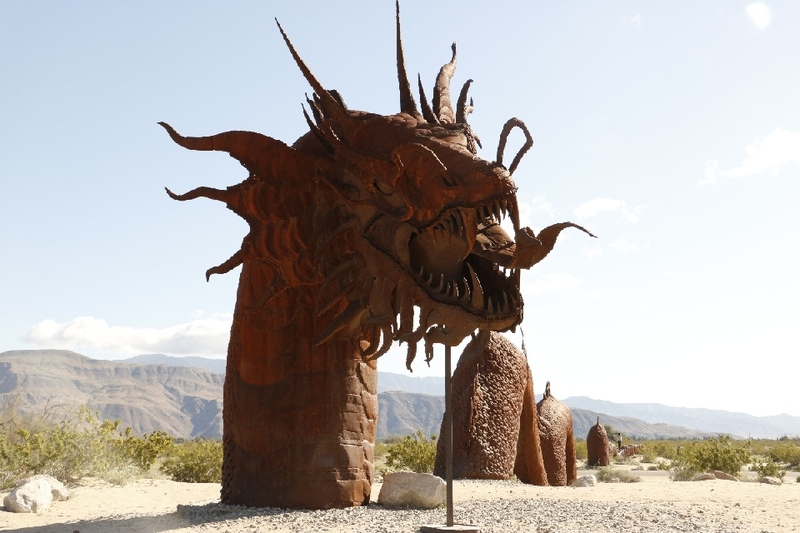 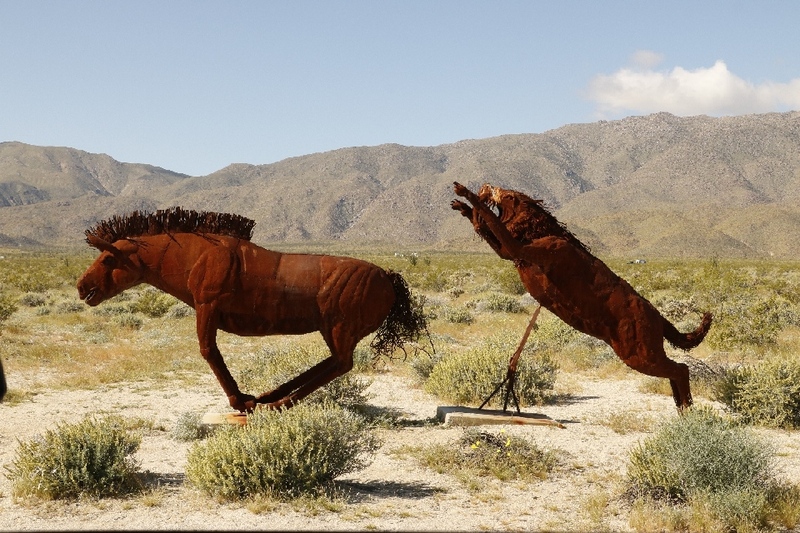 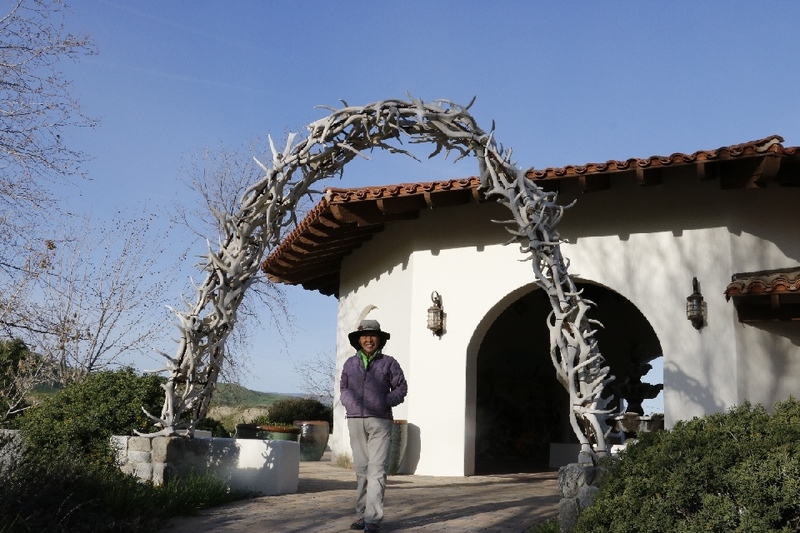 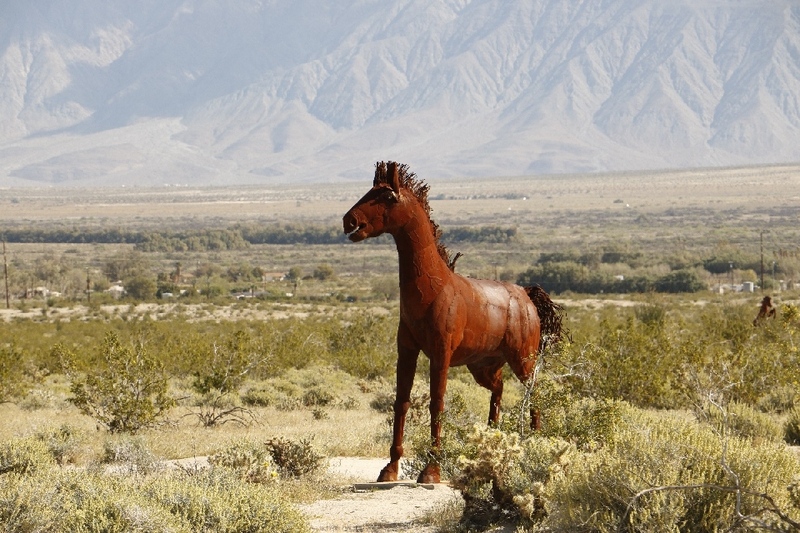 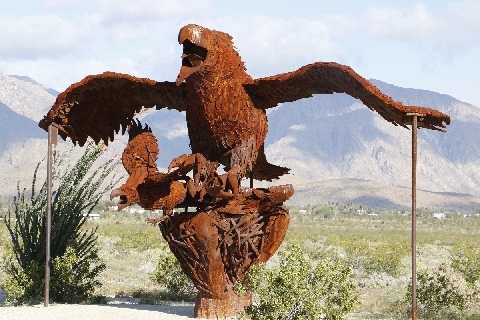 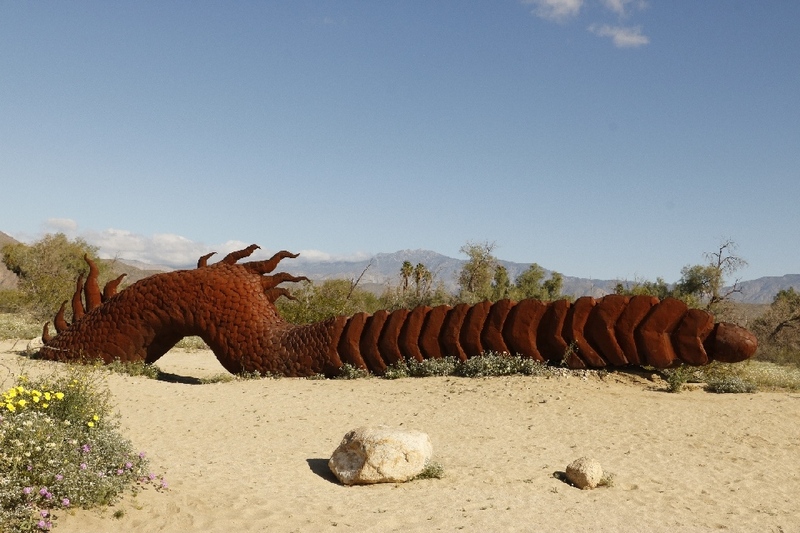 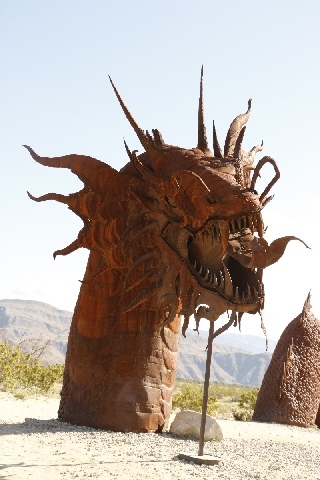 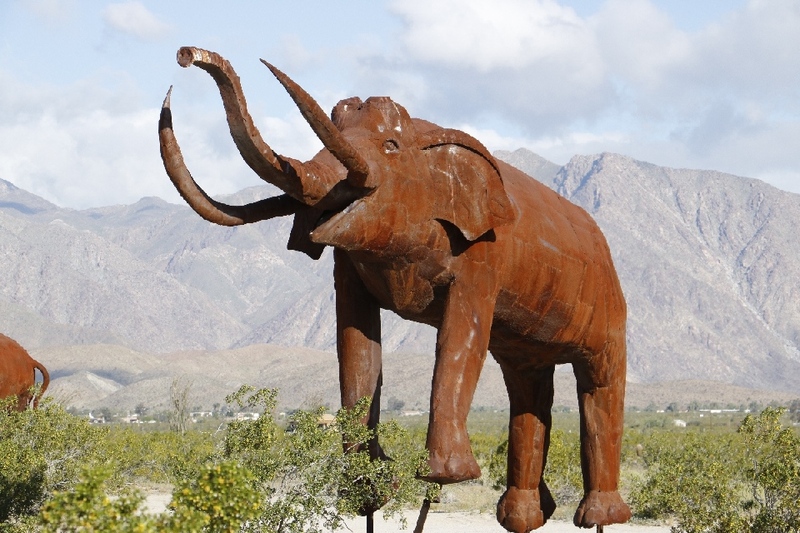 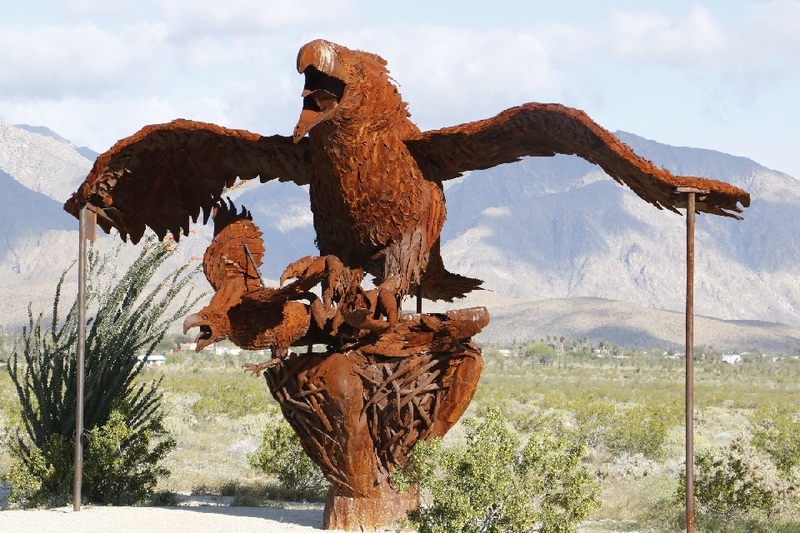 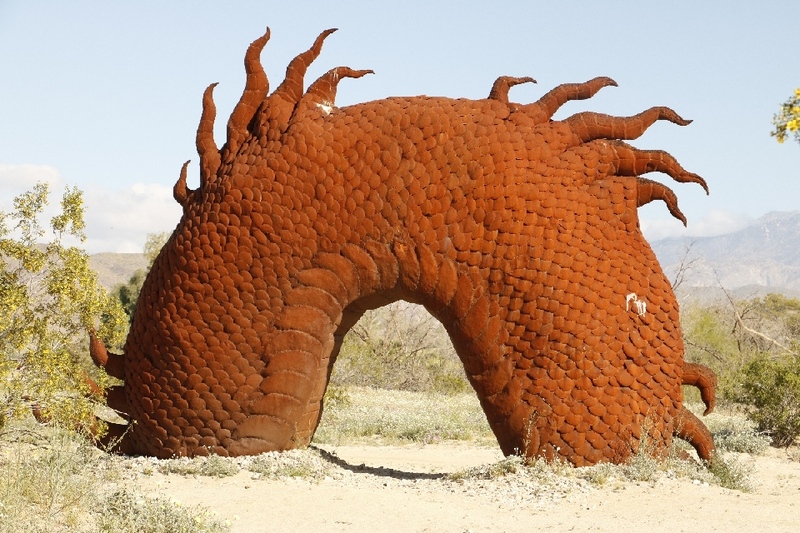 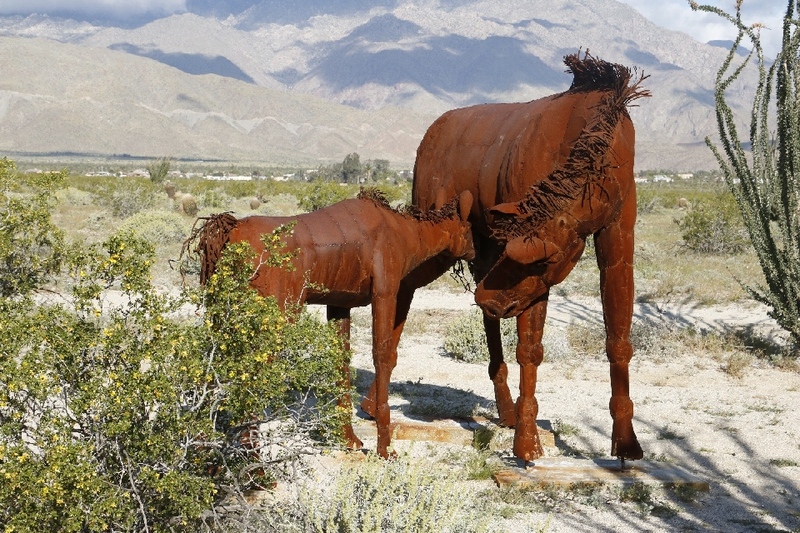 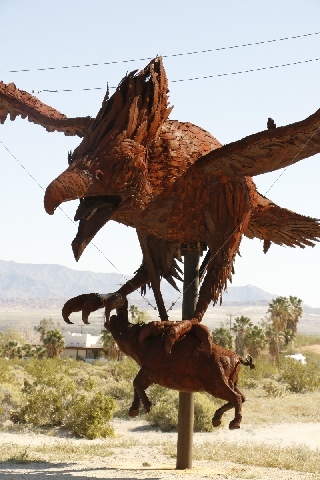 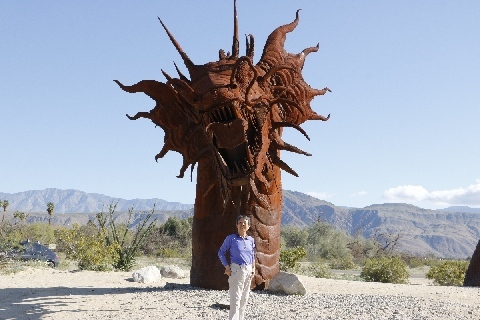 3/23/2017 Sky Art Sculpture Garden, Burrego Springs, CA - Burrego Springs area is surrounding by all mountains. 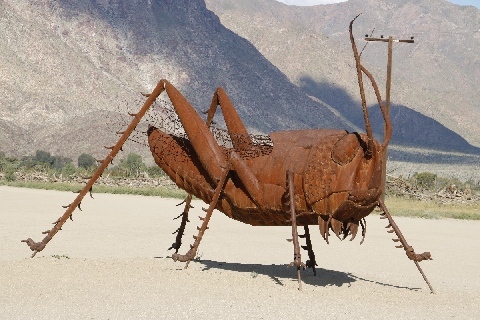 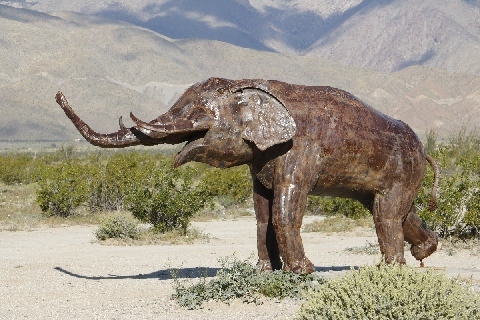 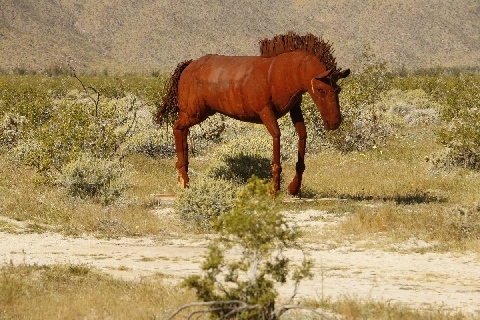 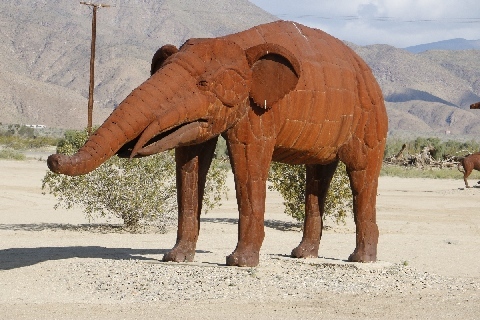 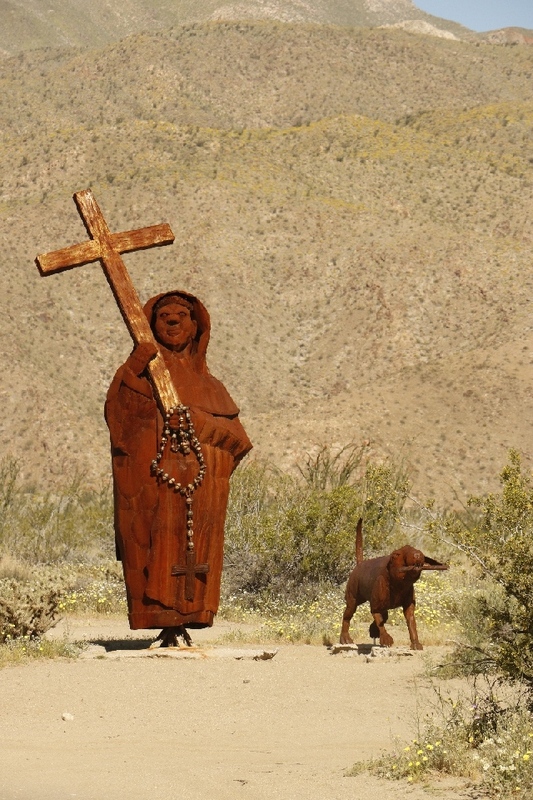 Most sculptures are large in size. 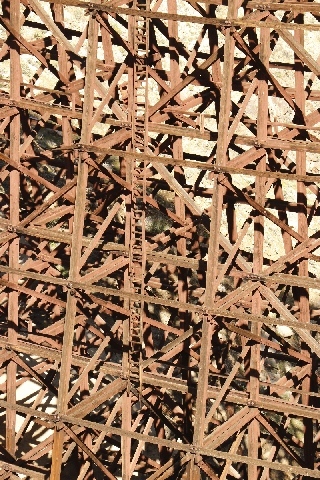 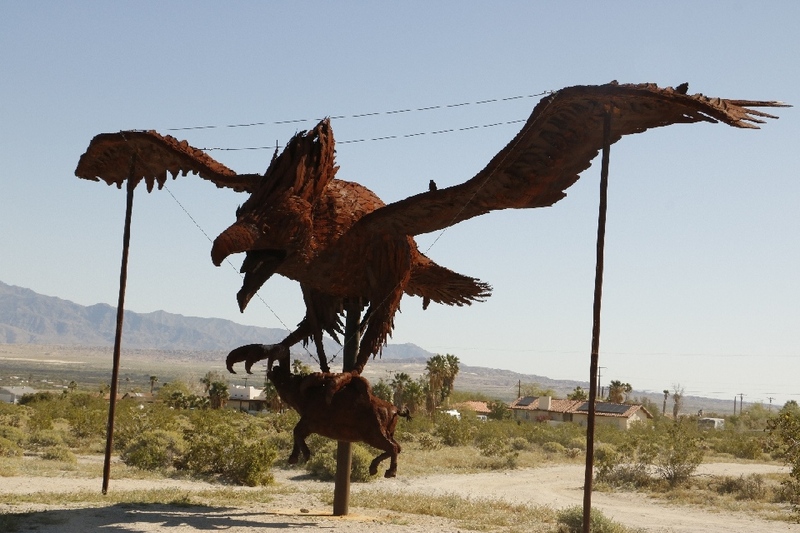 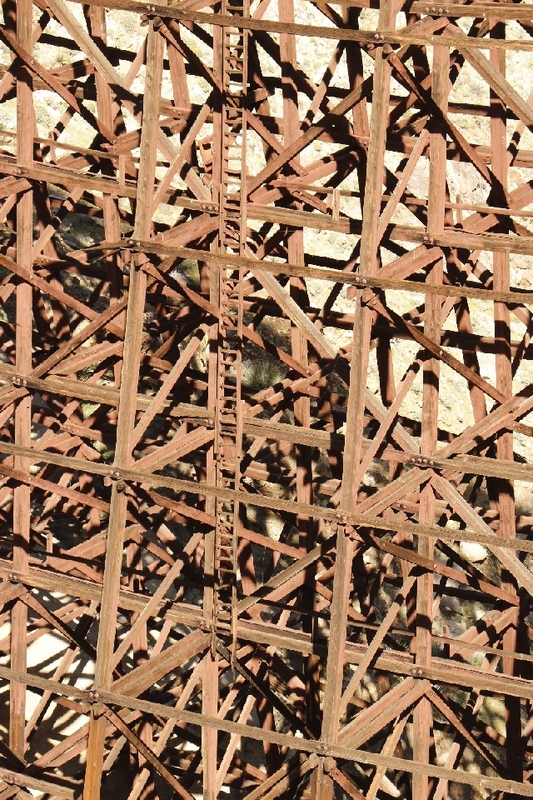 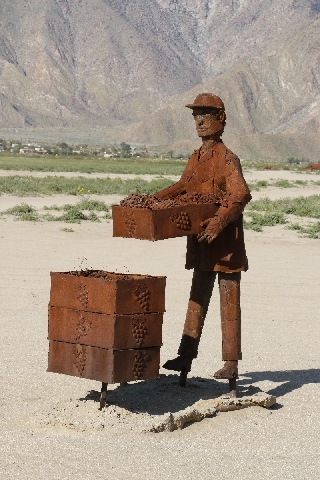 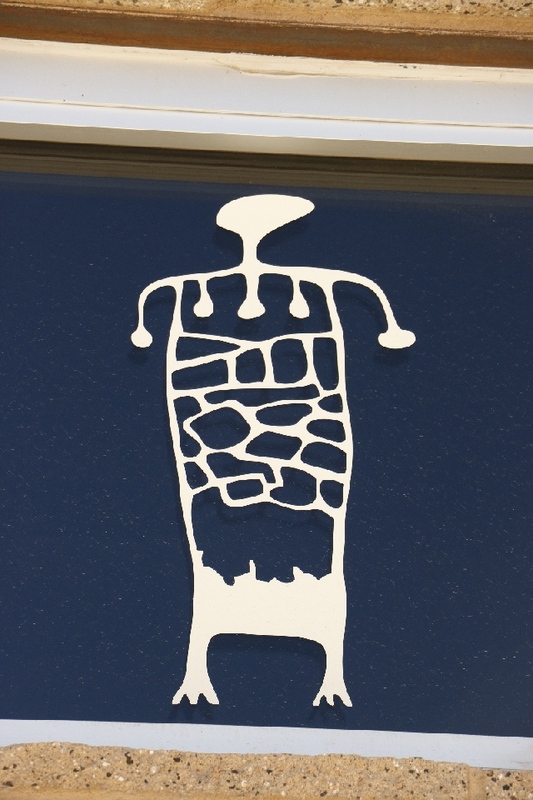 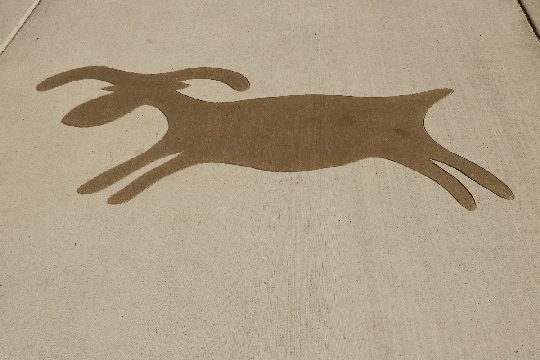 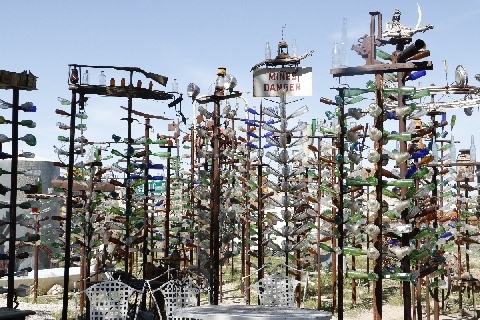 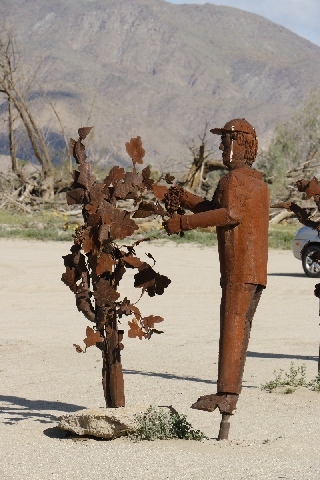 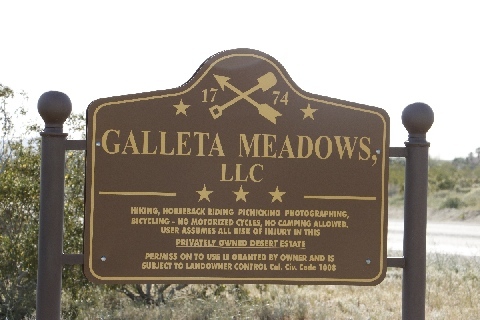 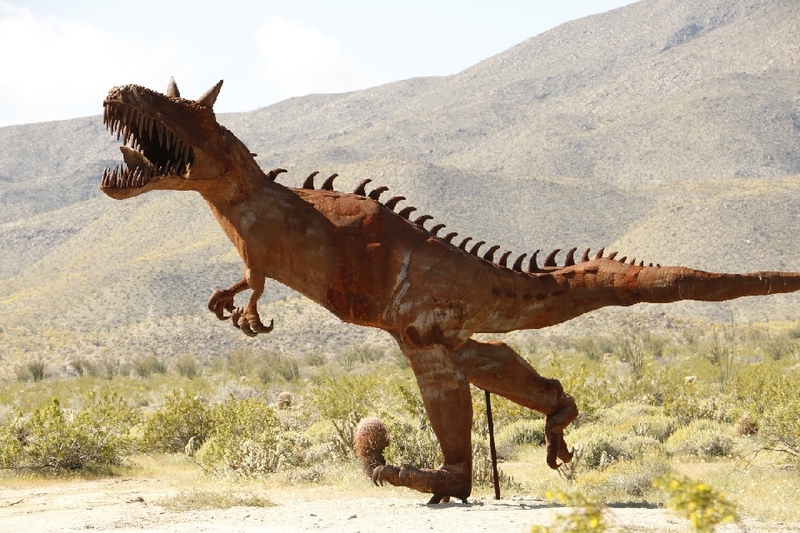 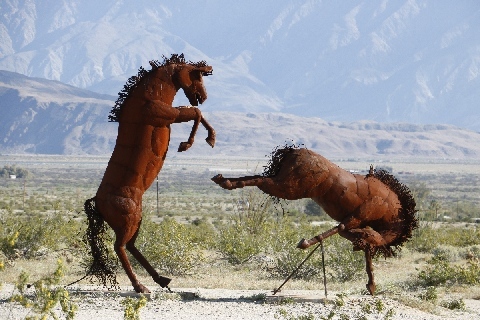 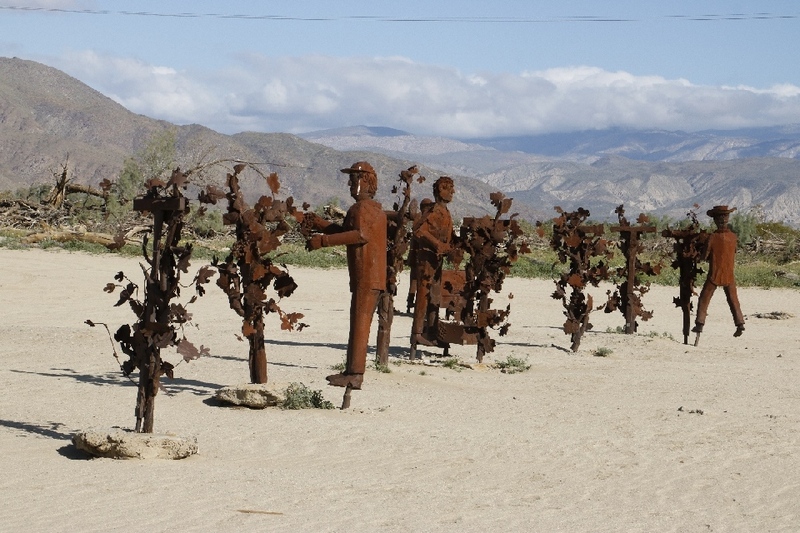 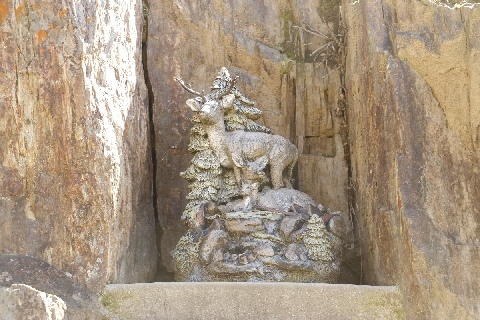 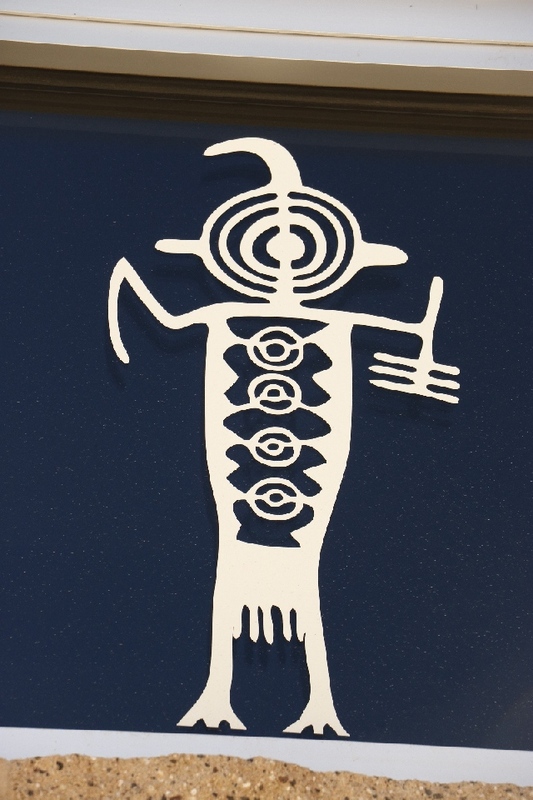 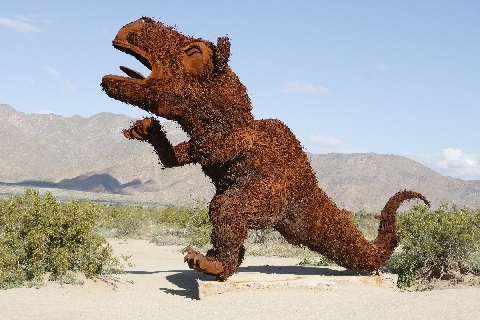 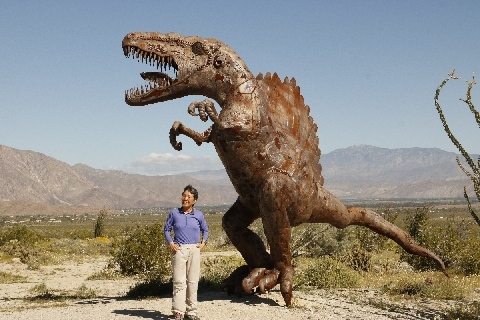 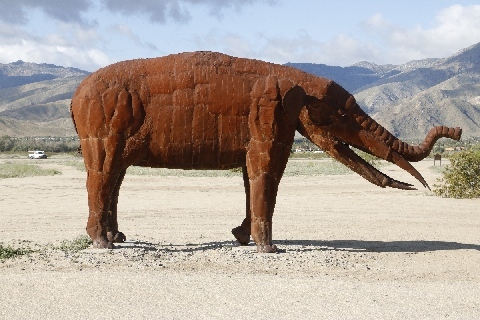 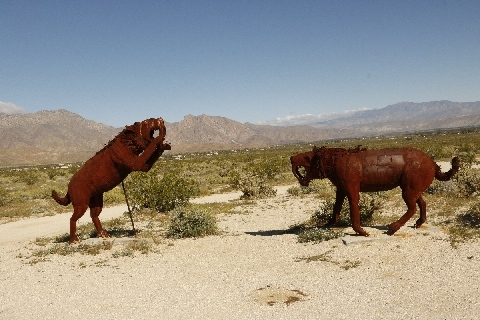 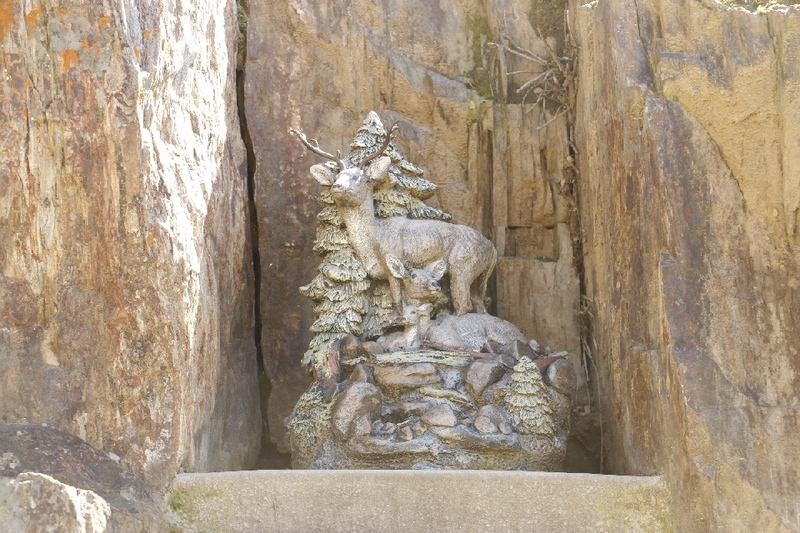 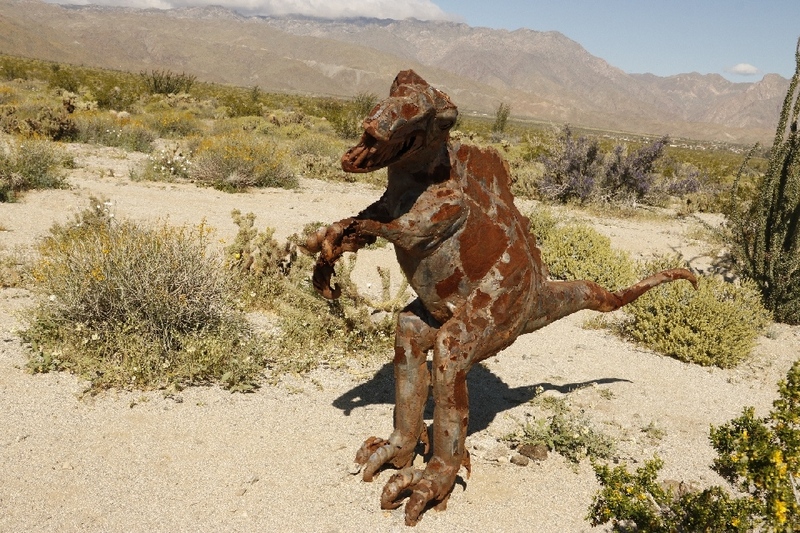 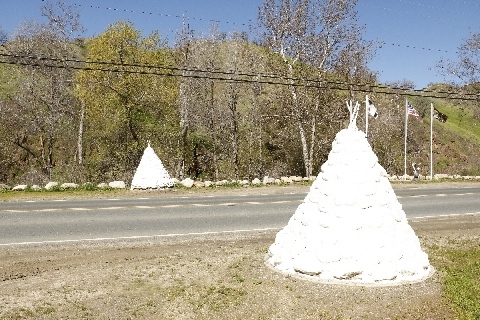 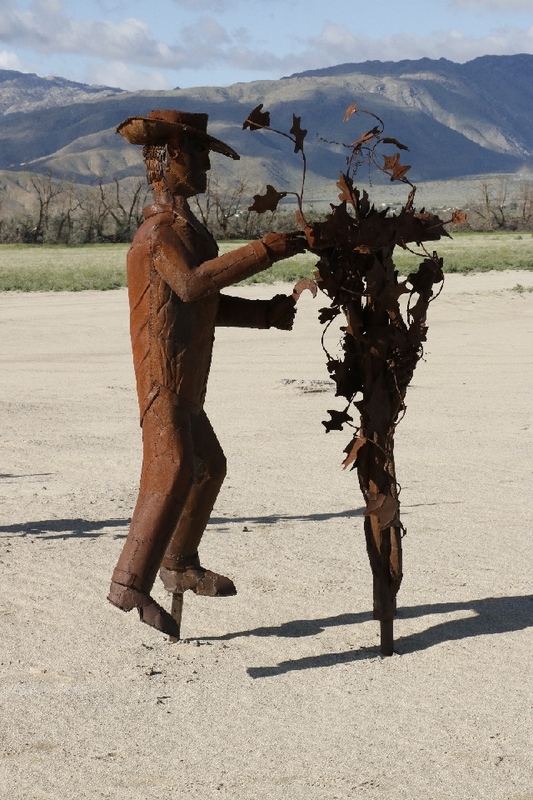 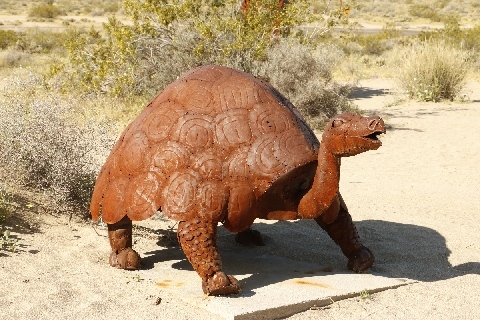 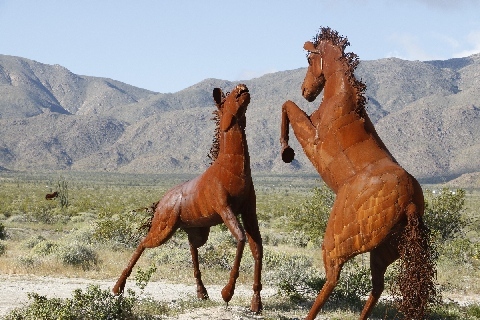 Those sculptures are made by metal and scatted by south and northwest side of the town. 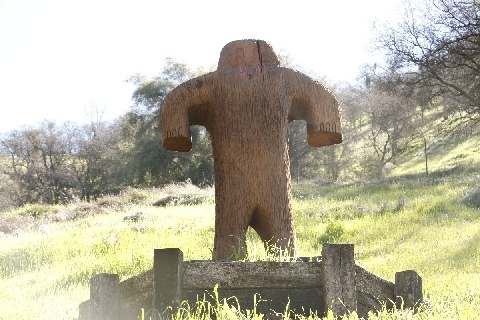 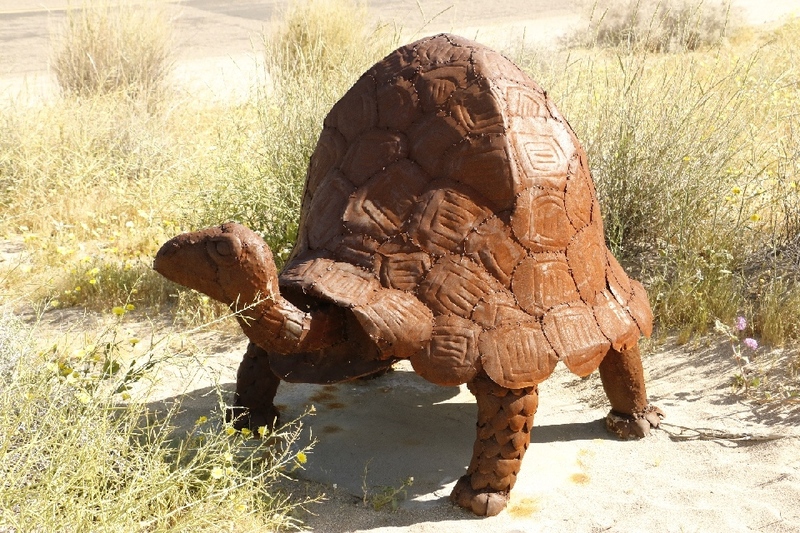 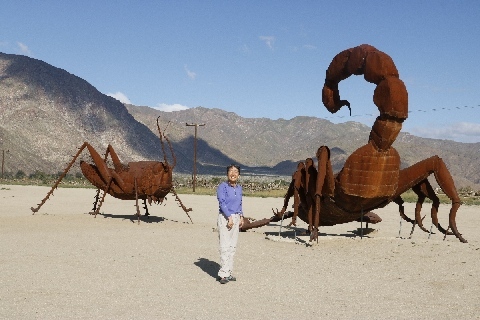 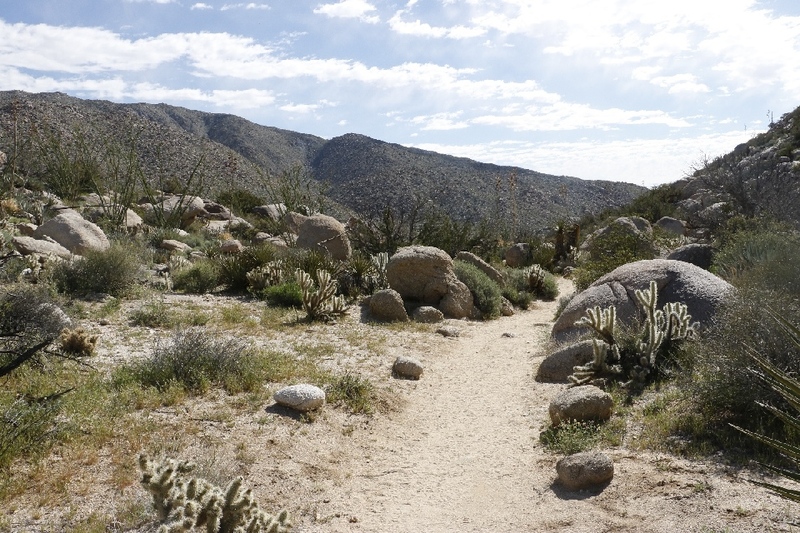 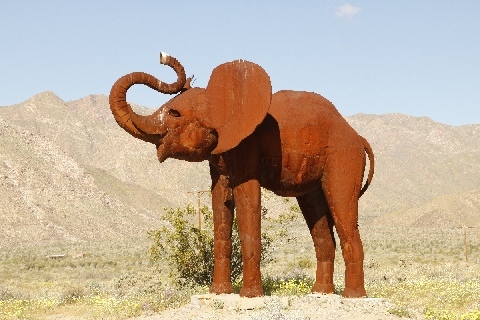 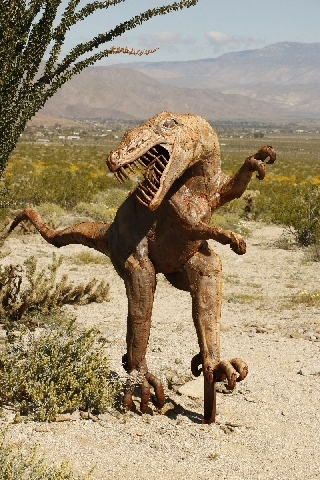 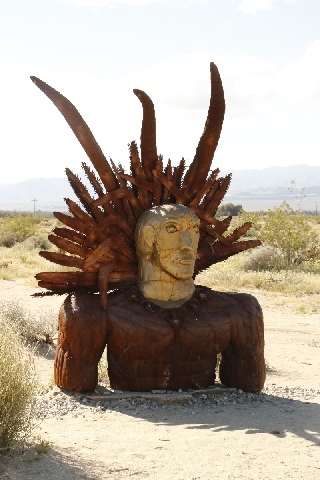 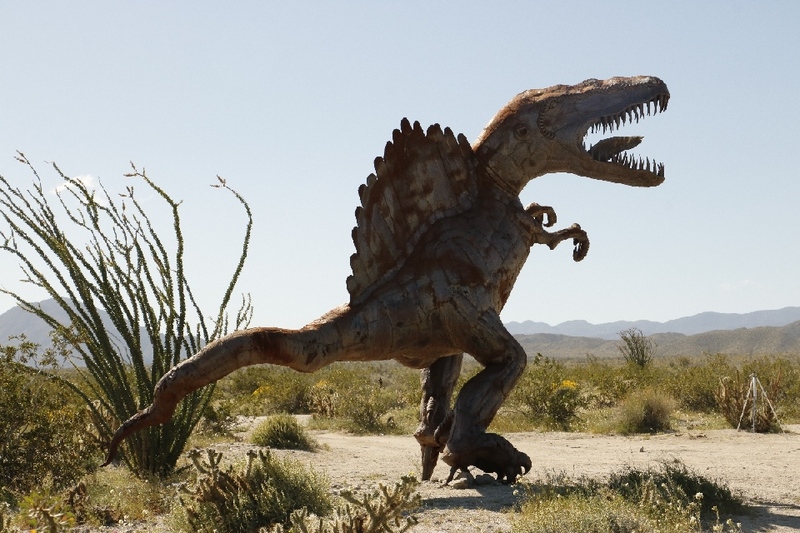 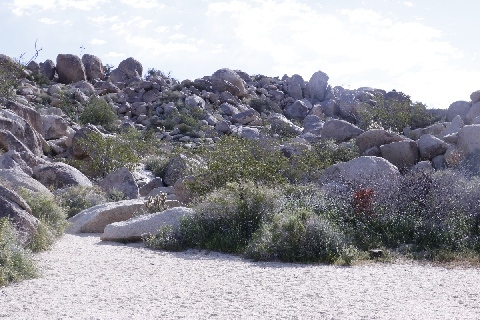 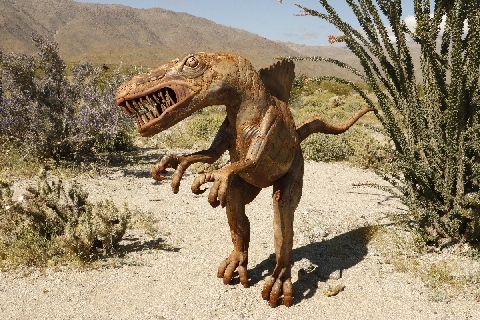 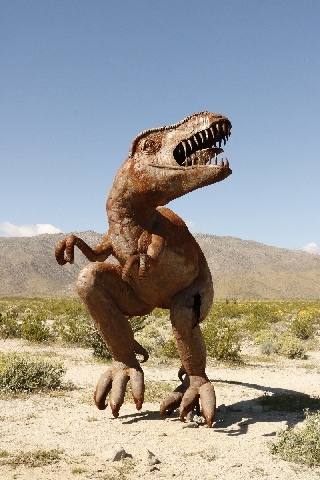 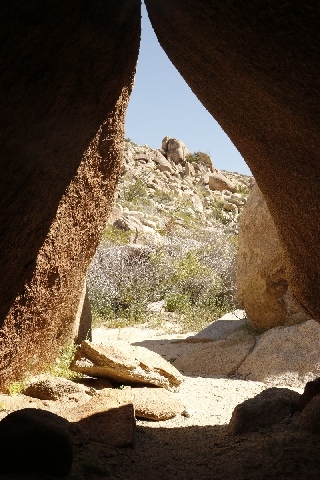 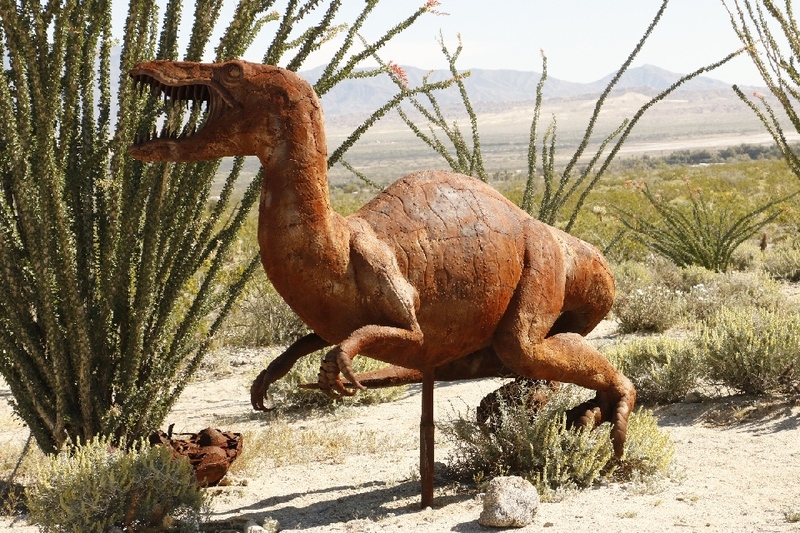 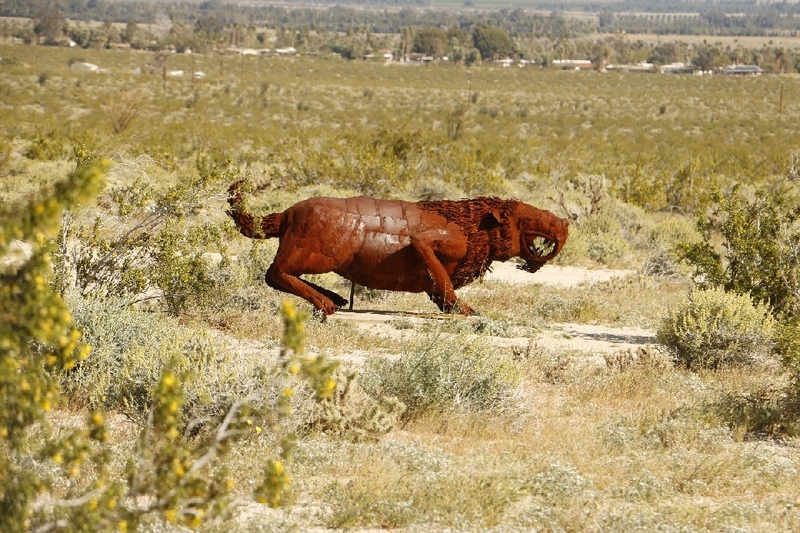 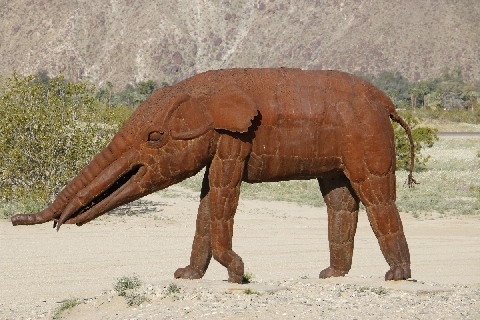 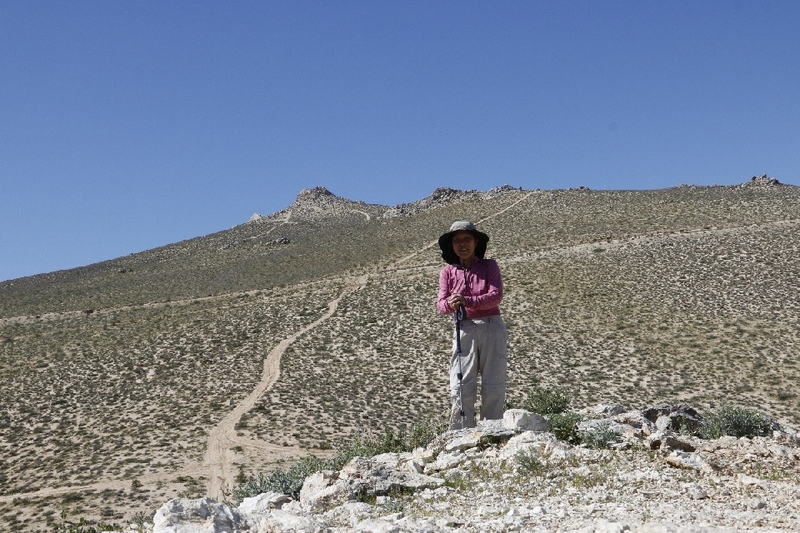 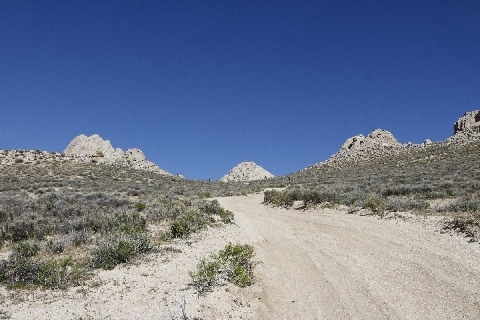 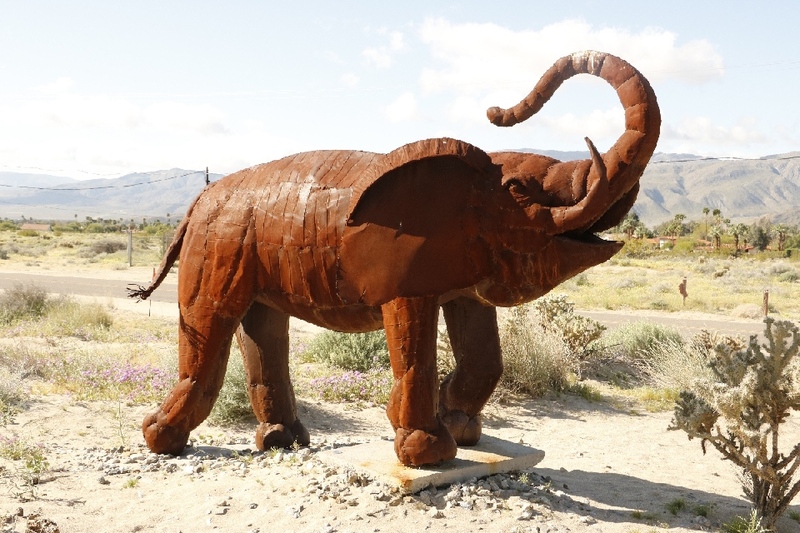 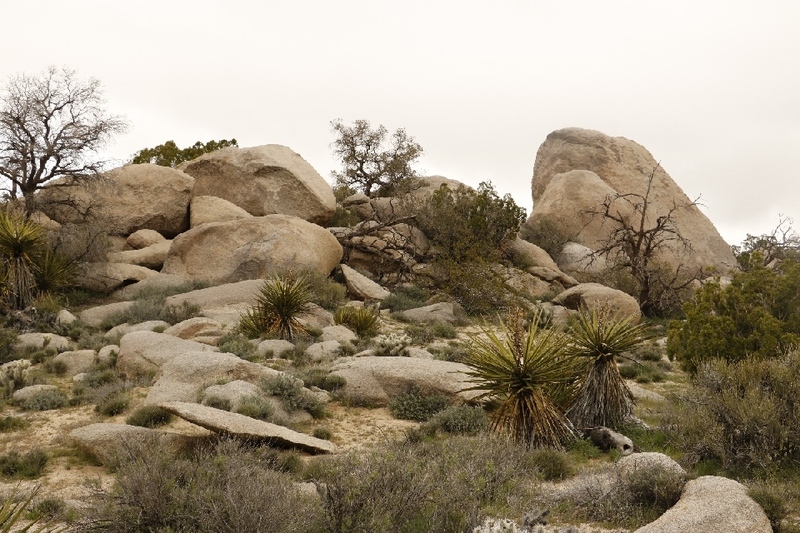 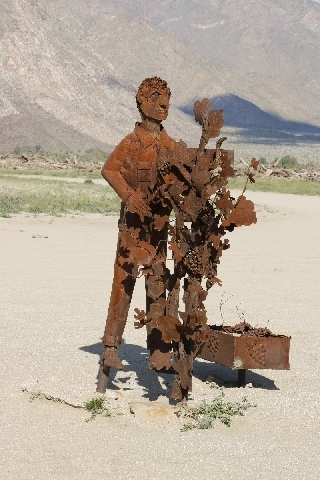 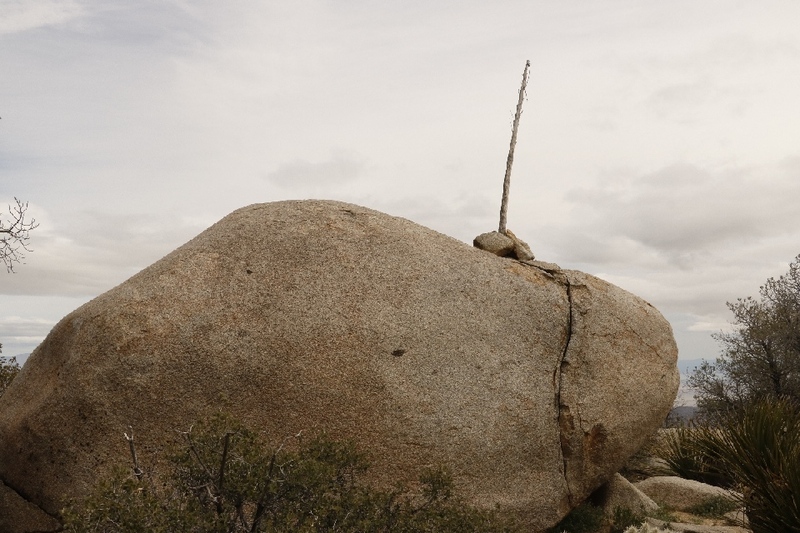 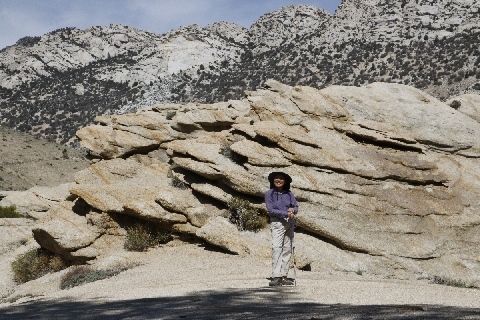 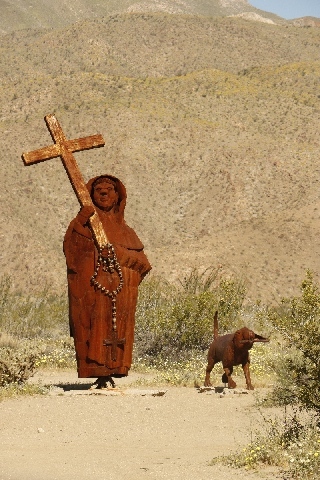 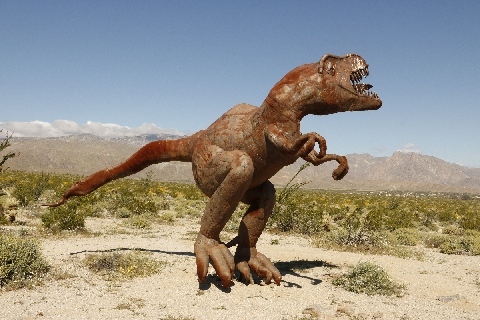 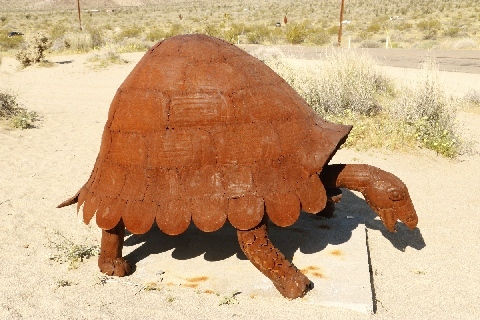 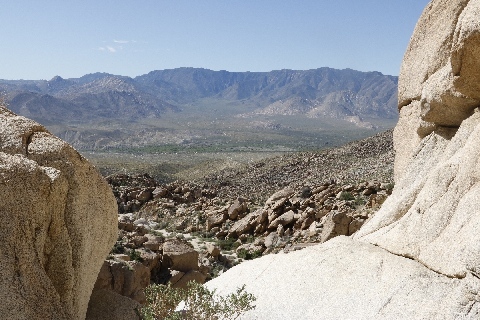 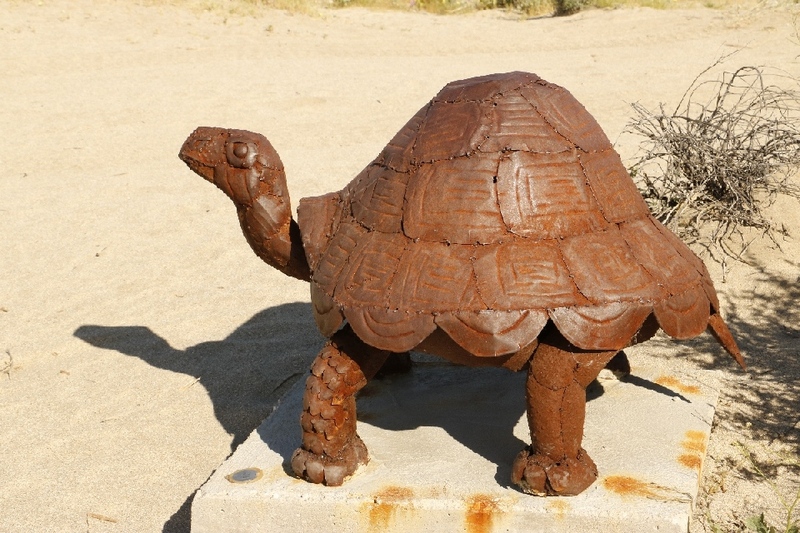 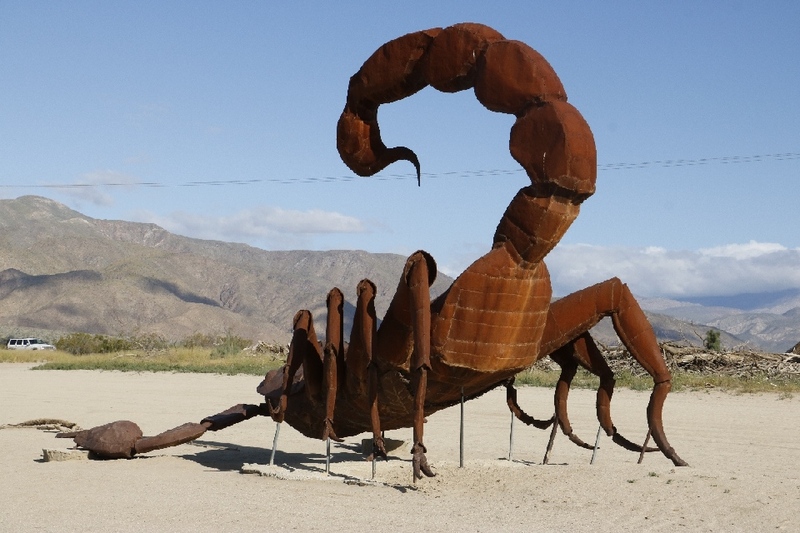 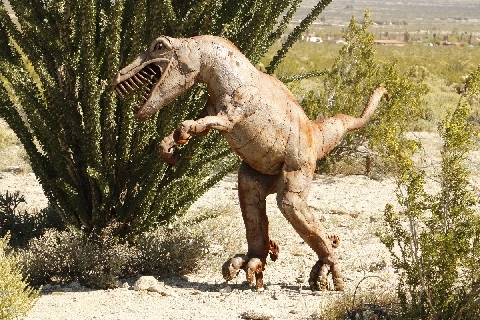 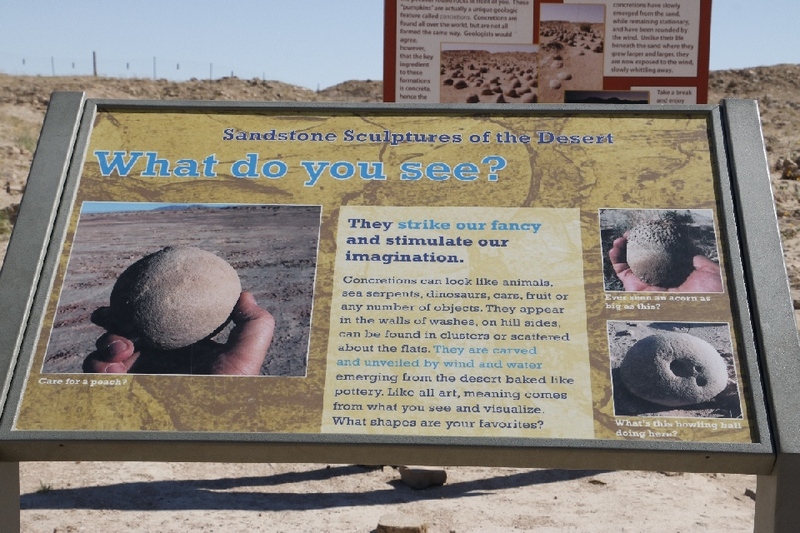 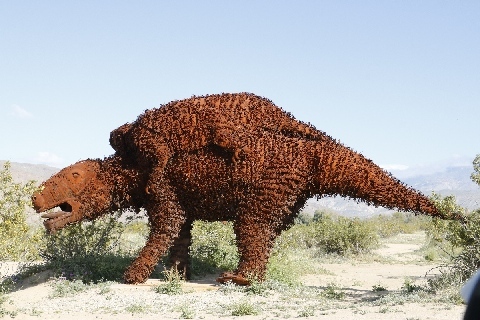 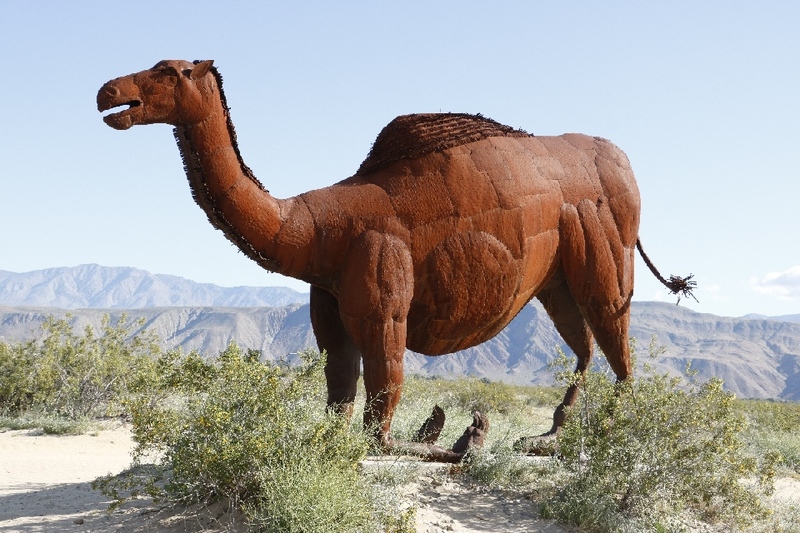 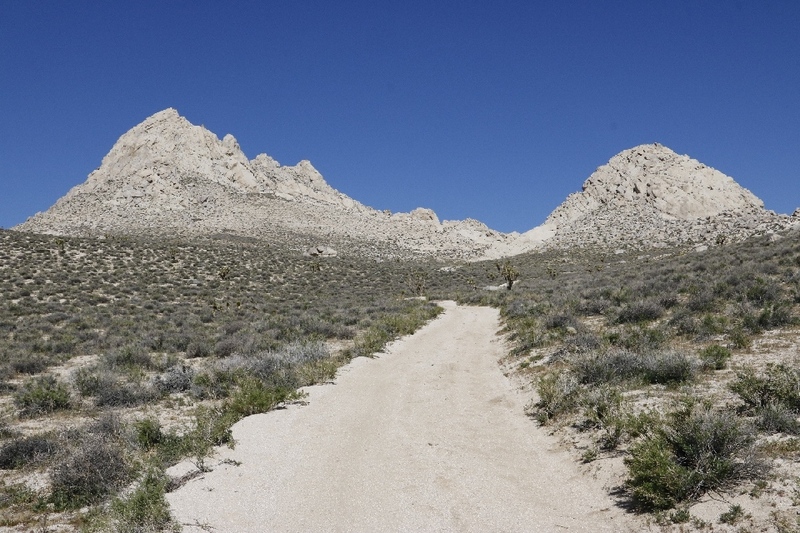 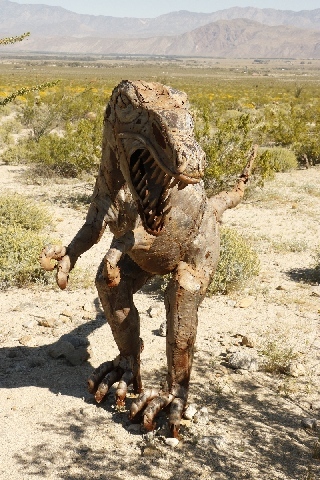 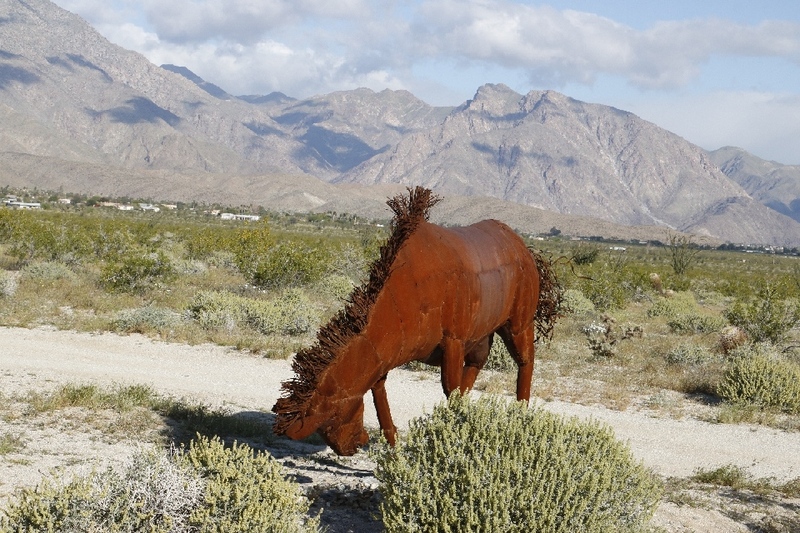 There are dirt road toward to each sculpture, no need to hike in the desert. 3/22/2017 Whale Peak, Anza-Borrego Desert State Park, CA (5 miles) - It is CA P2K. 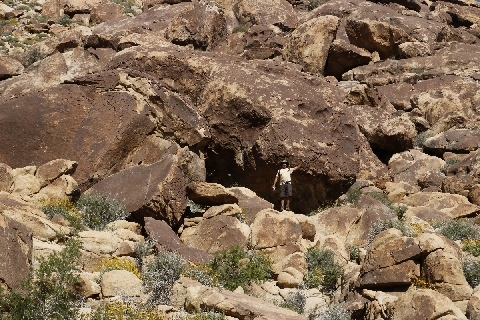 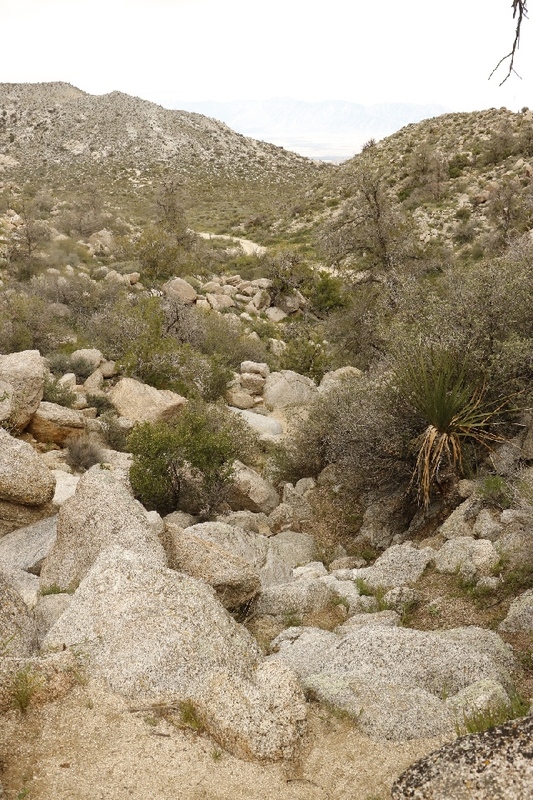 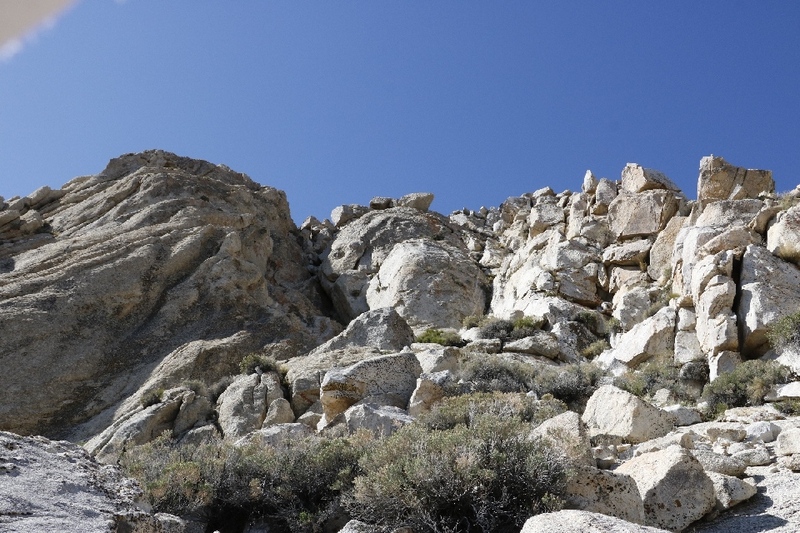 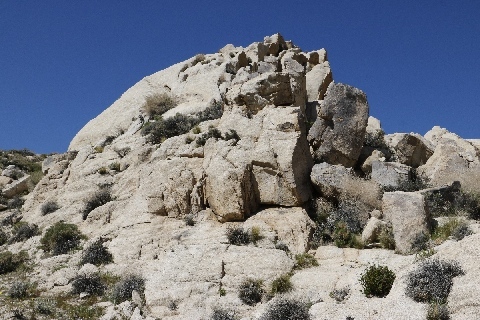 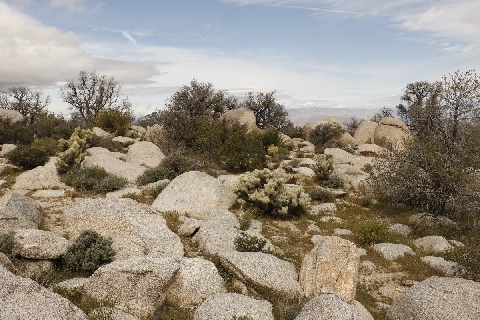 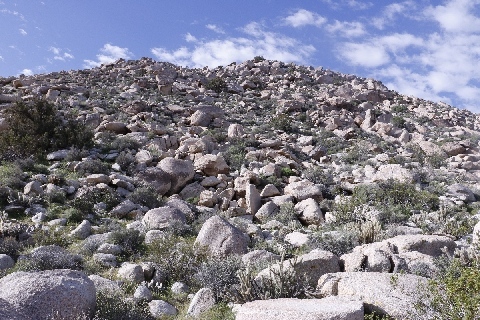 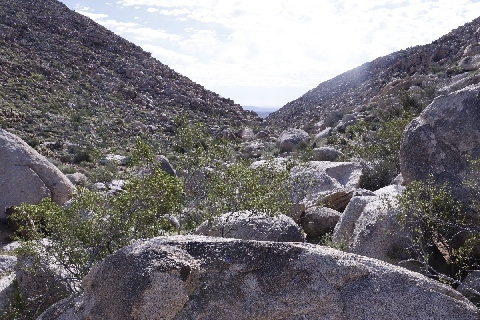 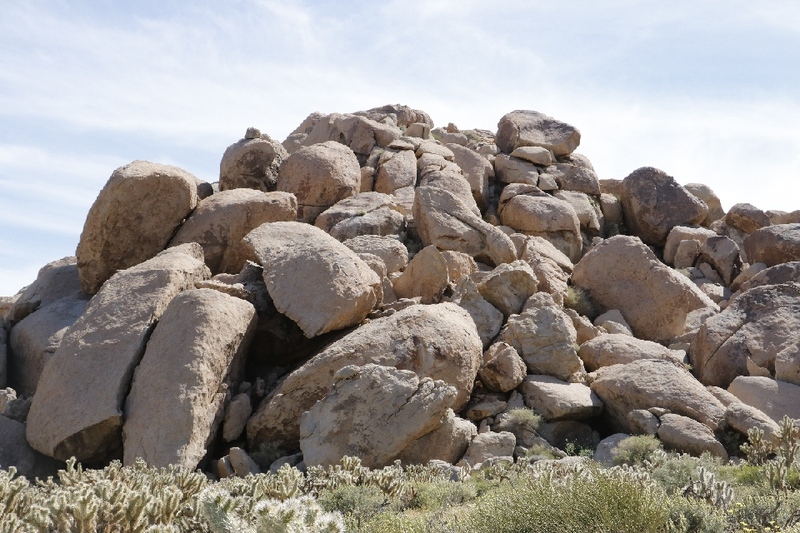 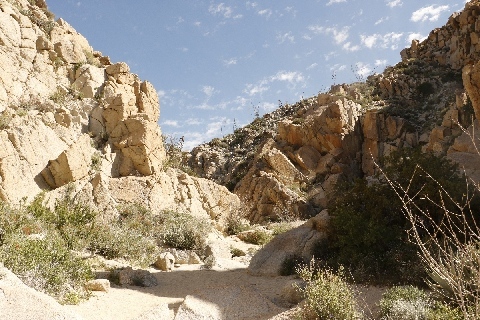 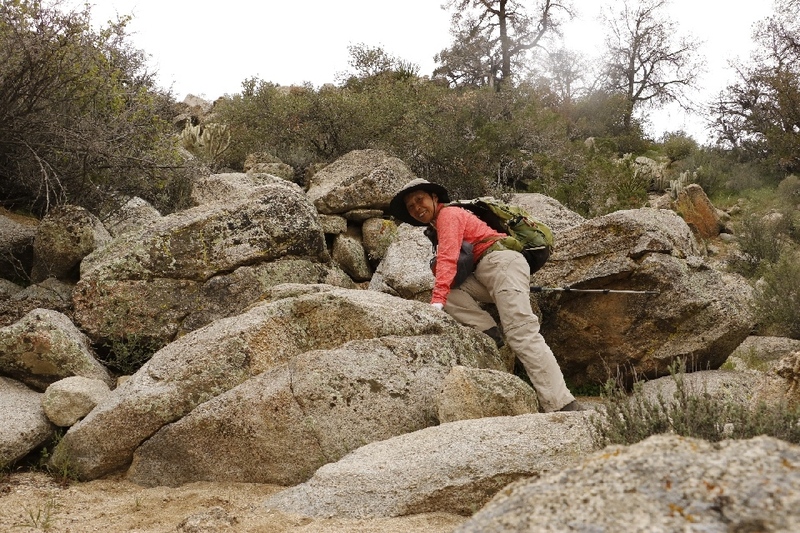 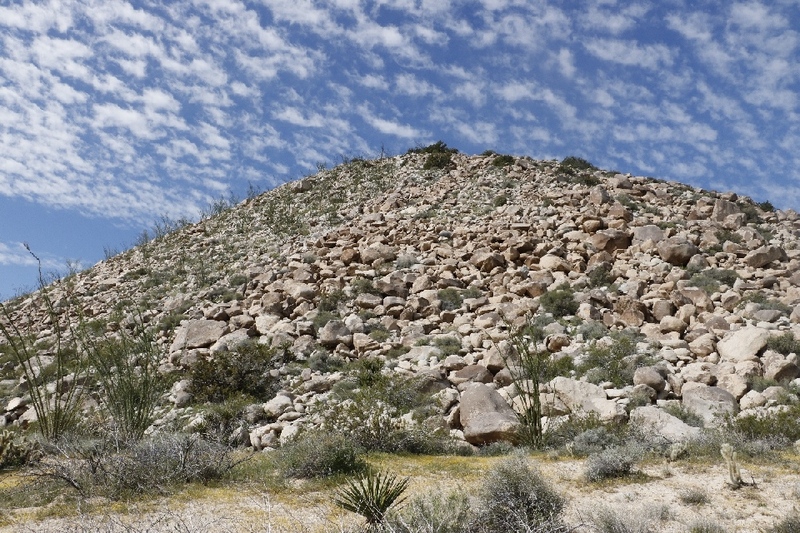 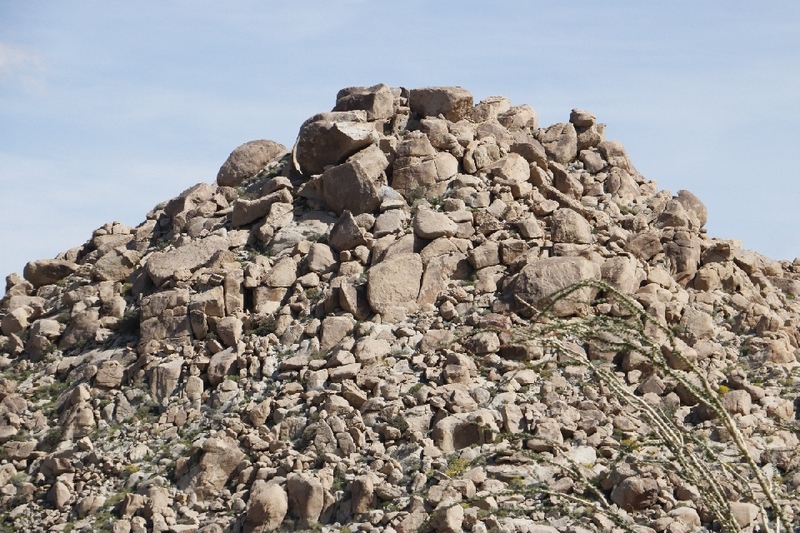 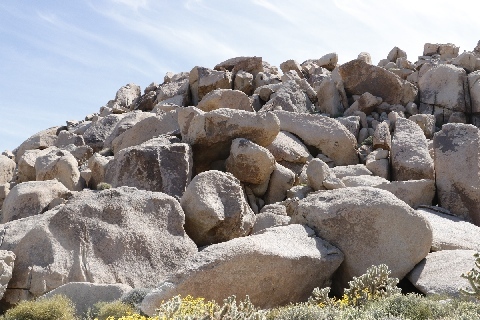 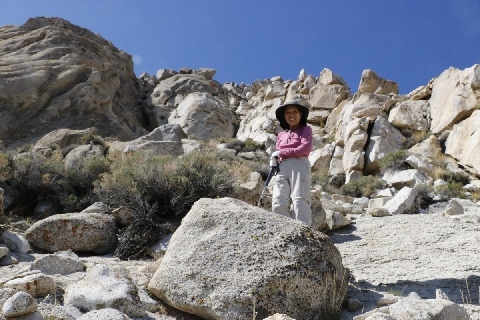 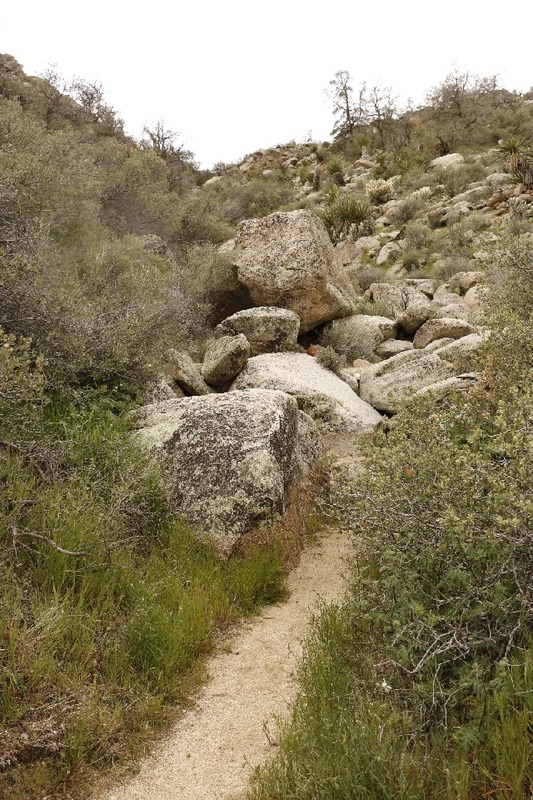 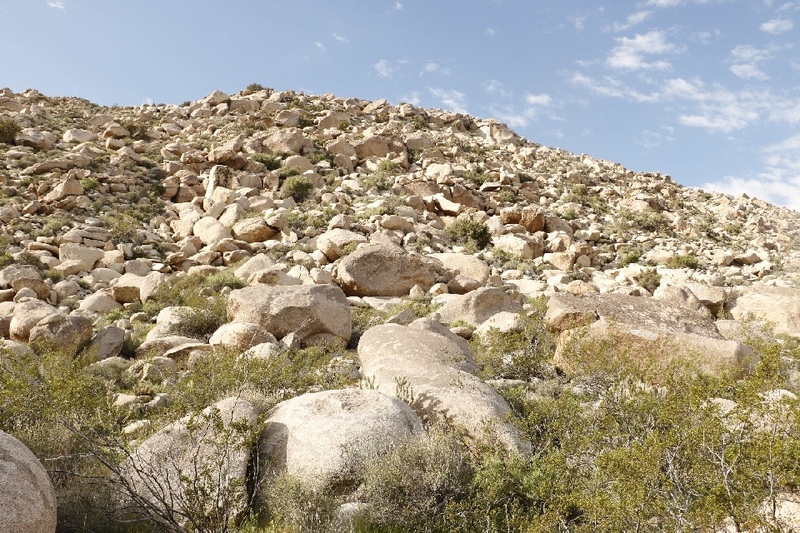 Scrambling rocks to start this hike, there is hiking trail on and off but follow the cairns all way to the top. 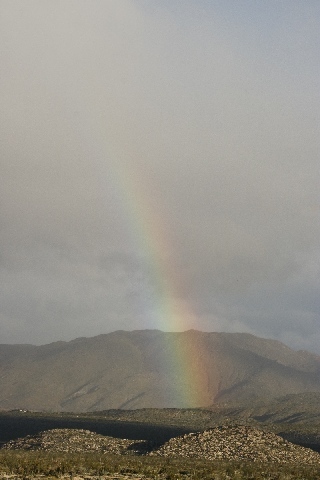 Weather was funky, saw same view at time to time between dark clouds. 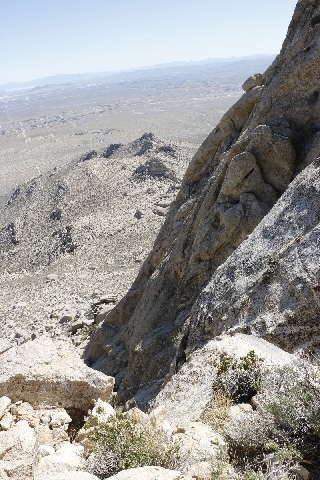 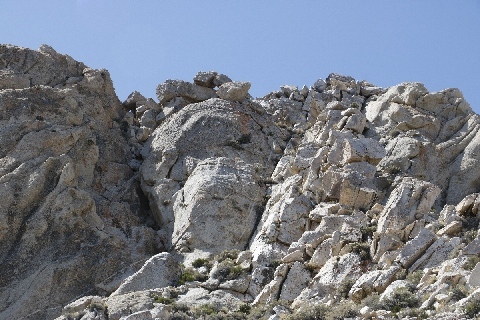 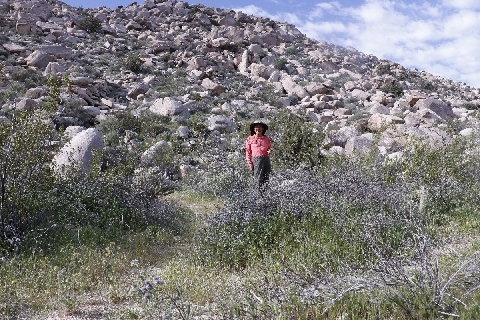 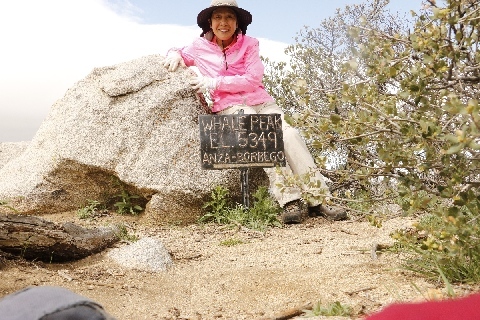 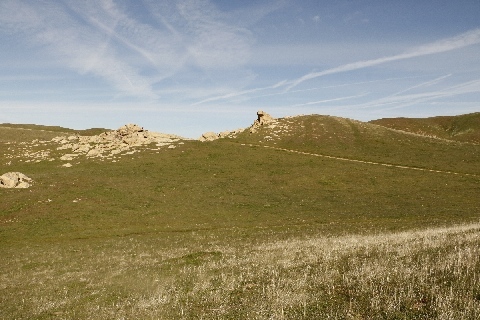 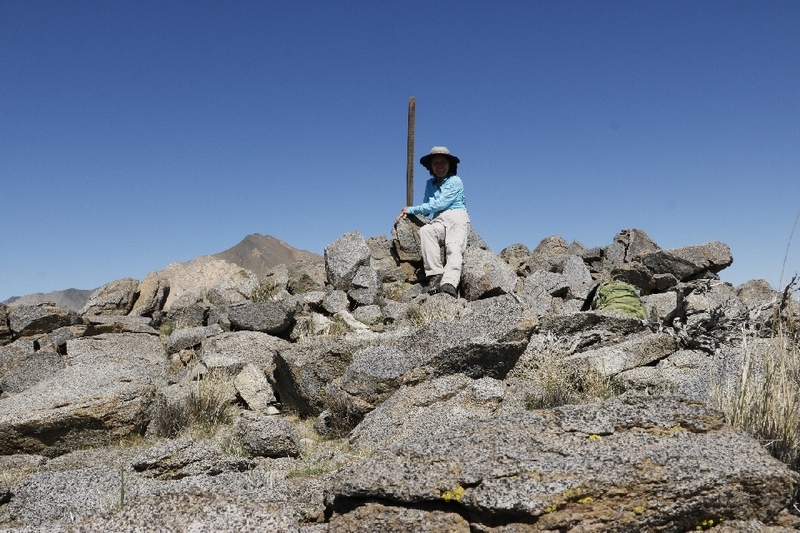 The top is flat and couple hundred feet father to reach the official peak. 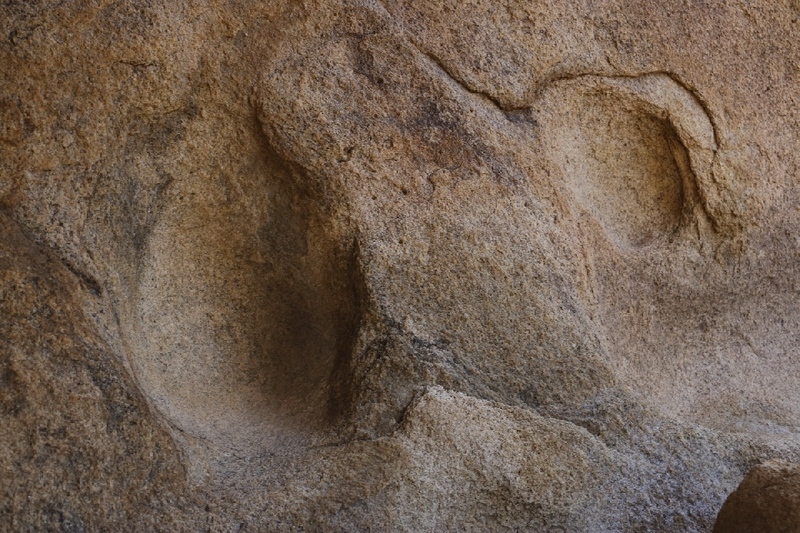 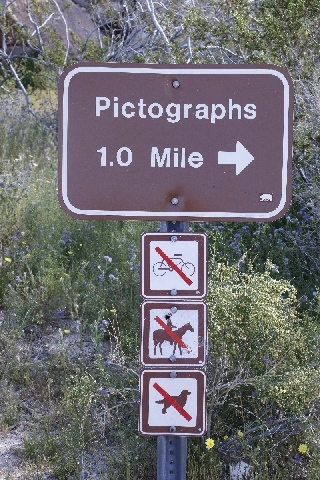 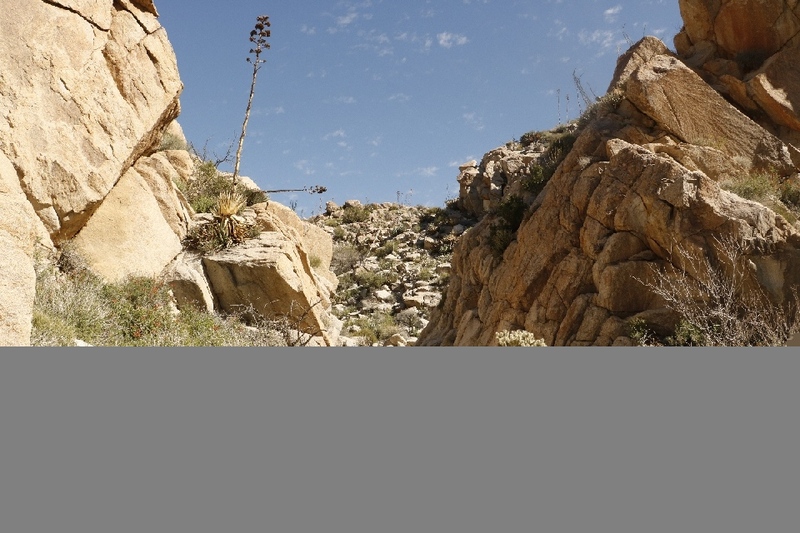 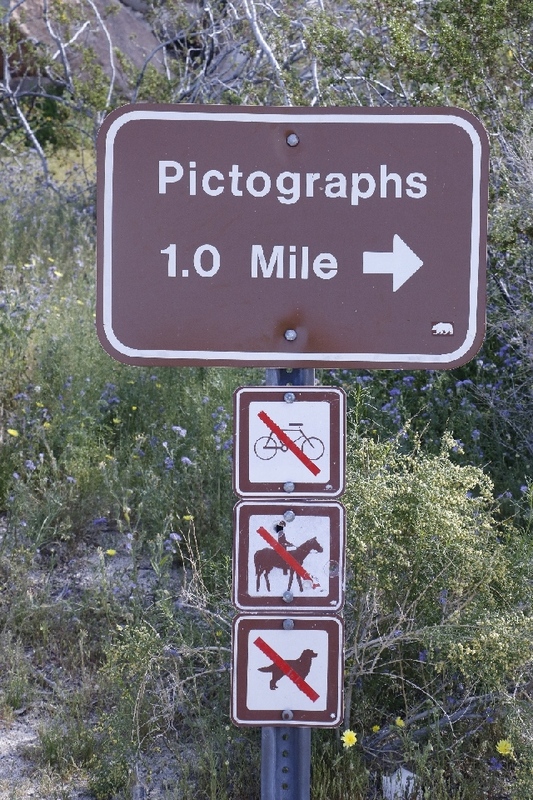 3/21/2017 Blair Valley Pictographs, Anza-Borrego Desert State Park, CA (3 miles) - Mileage to the pictographs is 1.8 miles and extra mileage to the further canyon, where canyon drop off and couldn’t go father. There is a cave just behind the sign by the TH. 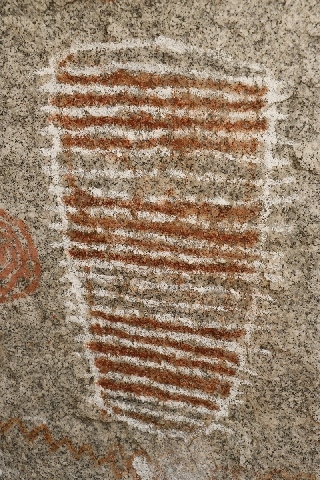 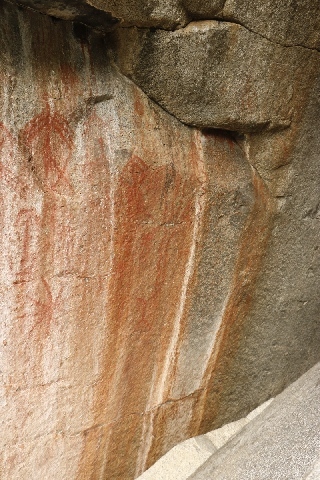 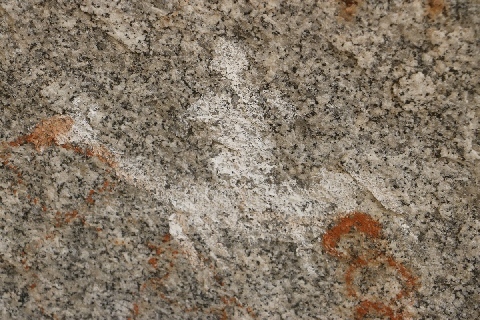 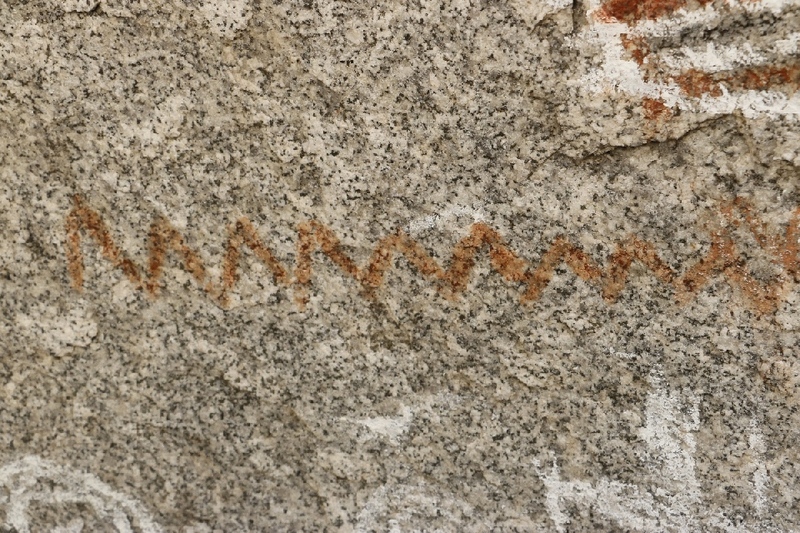 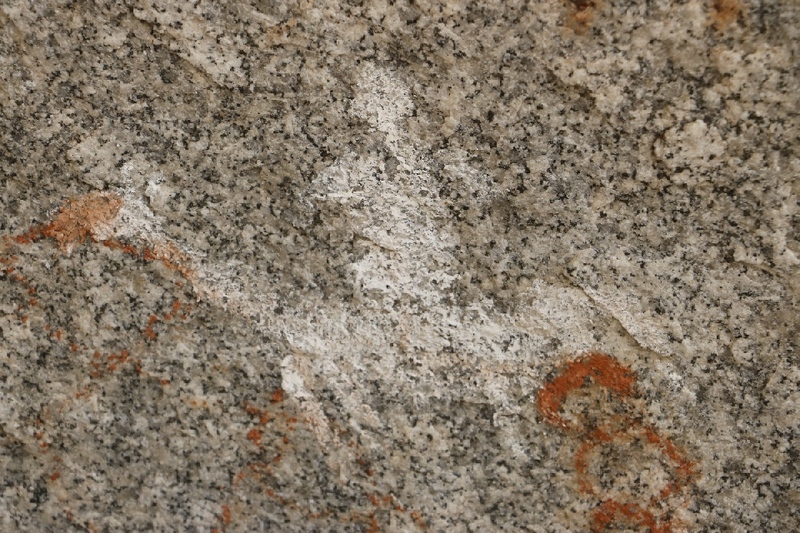 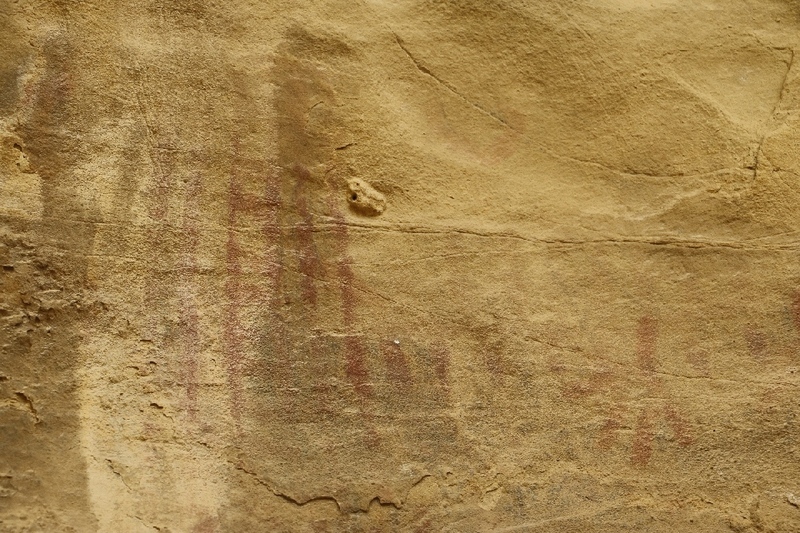 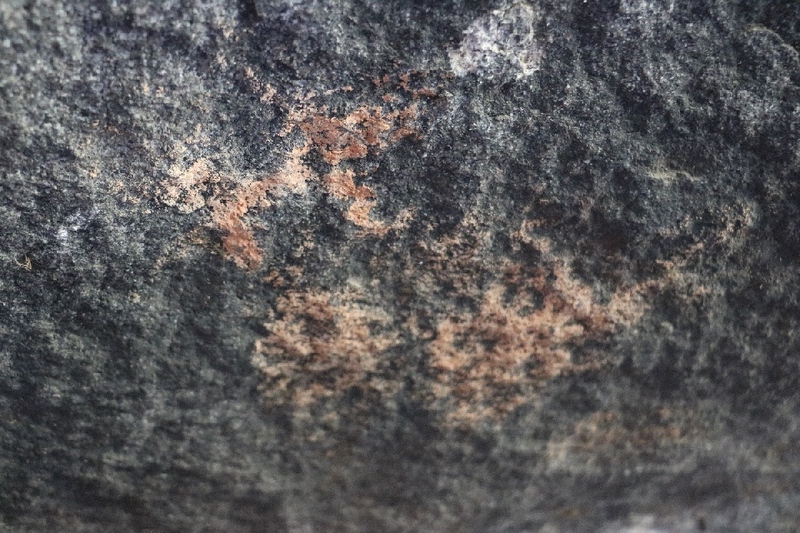 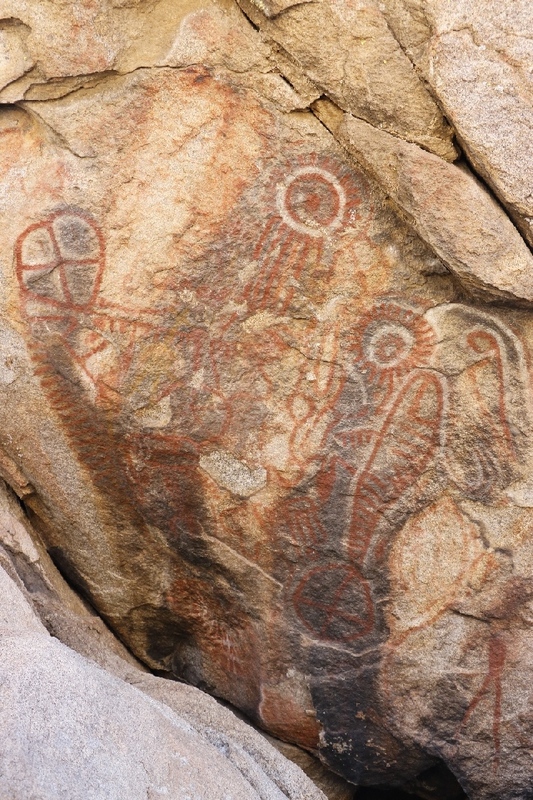 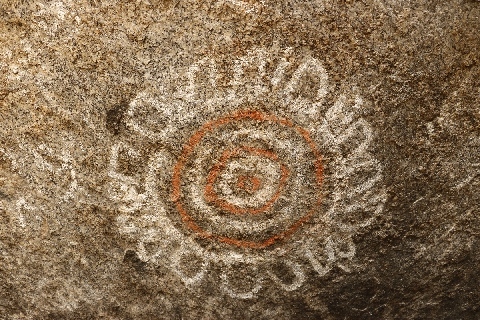 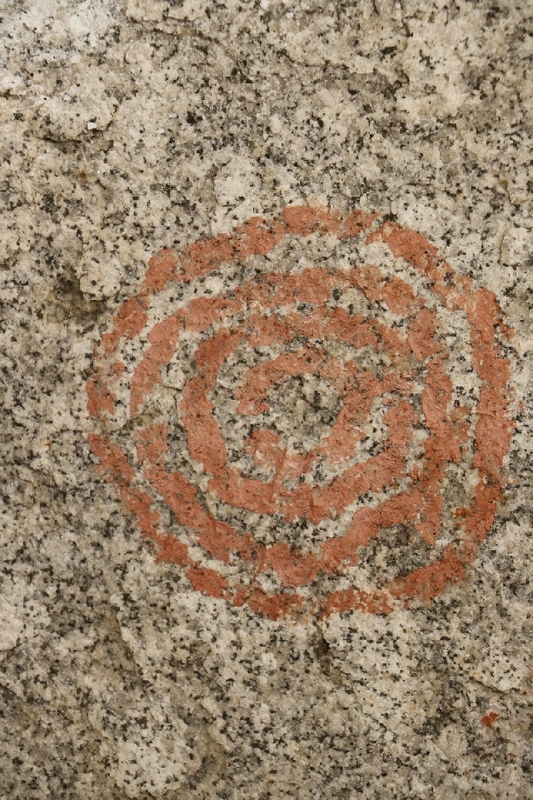 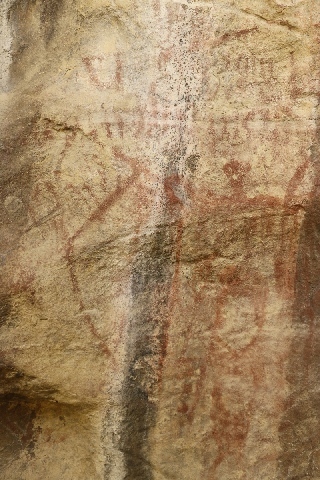 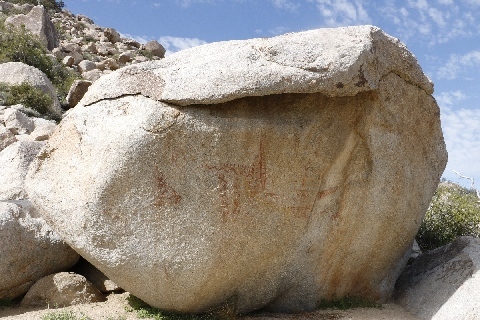 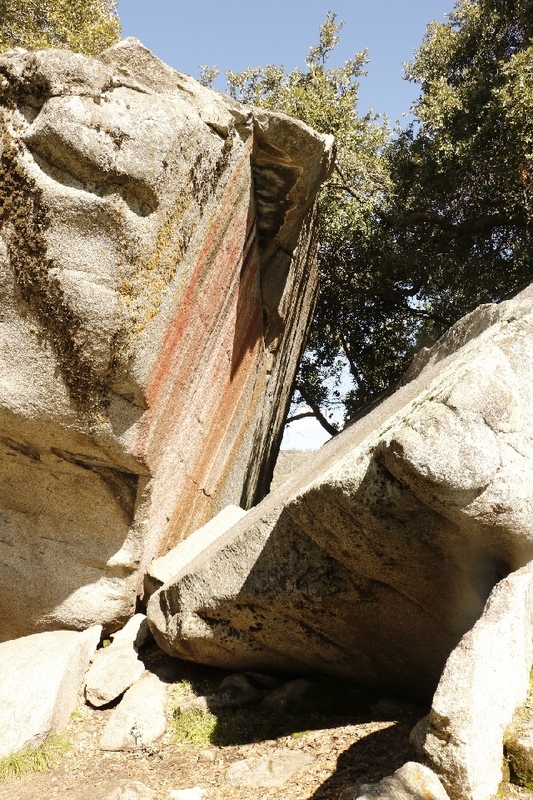 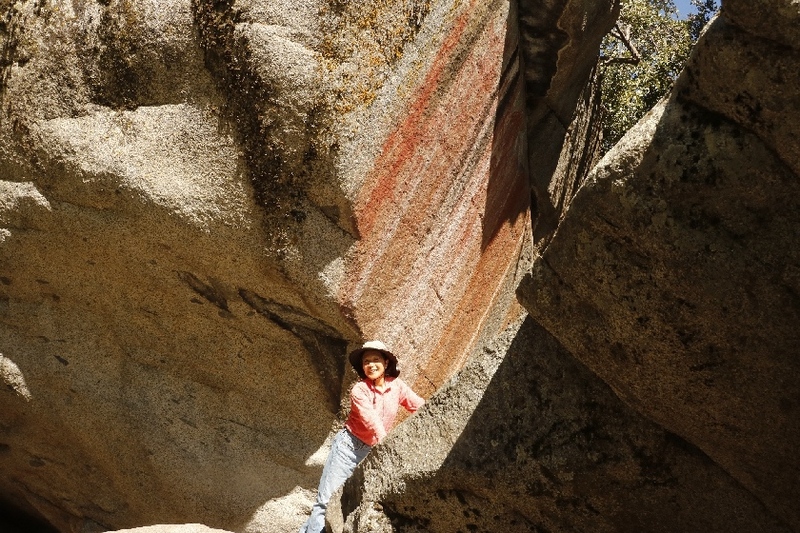 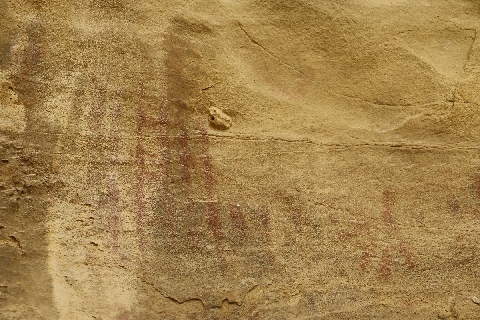 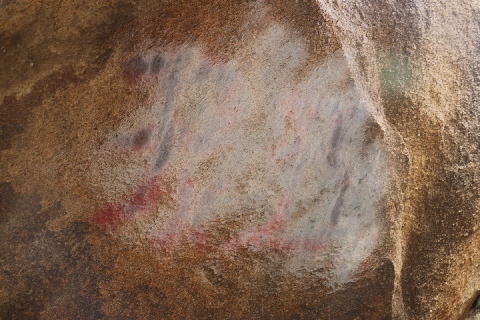 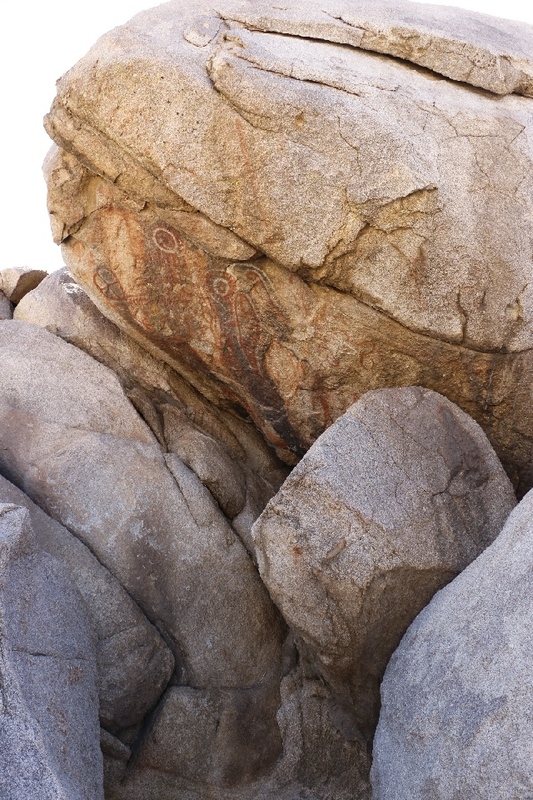 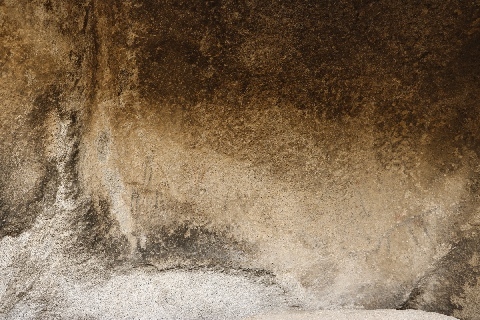 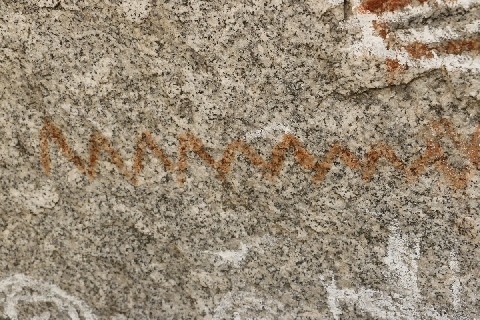 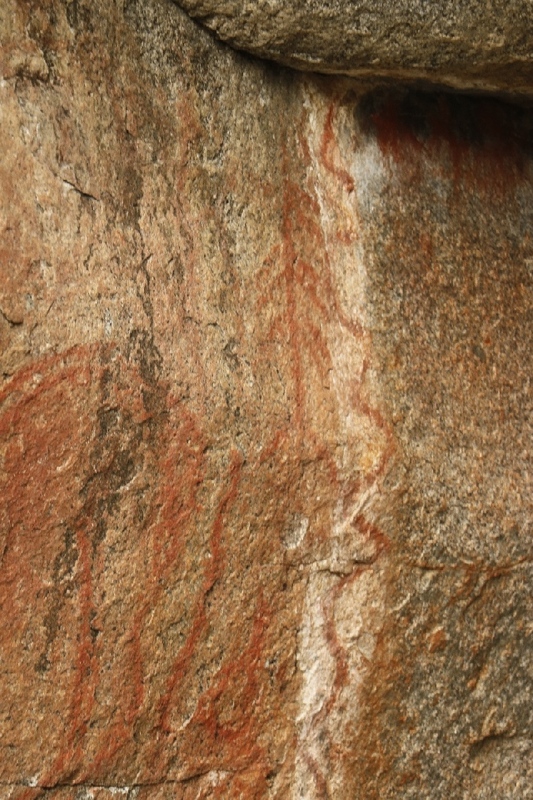 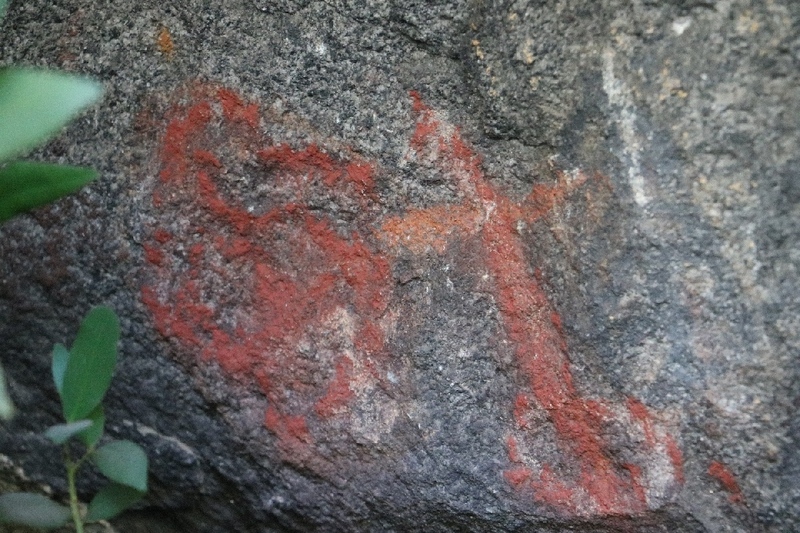 The pictographs are on one of the largest boulder, where all red color. 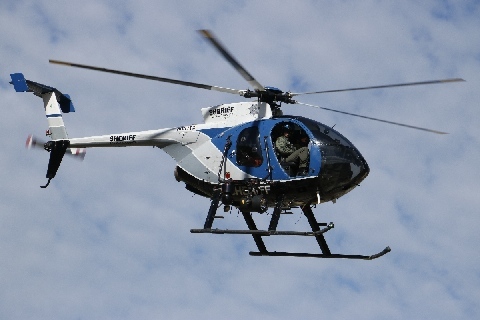 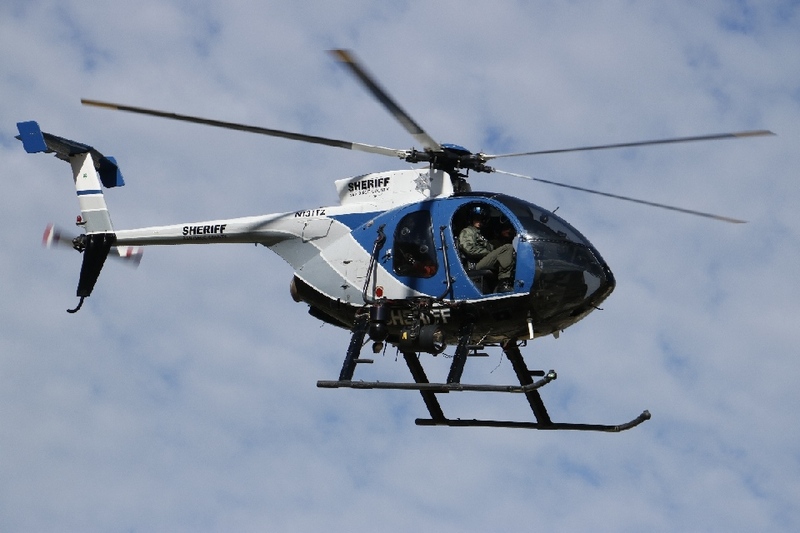 Police patrol by helicopter. 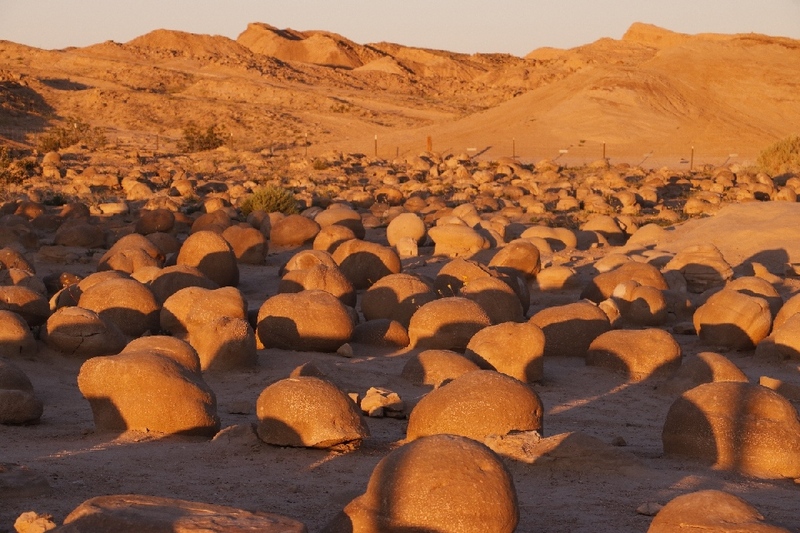 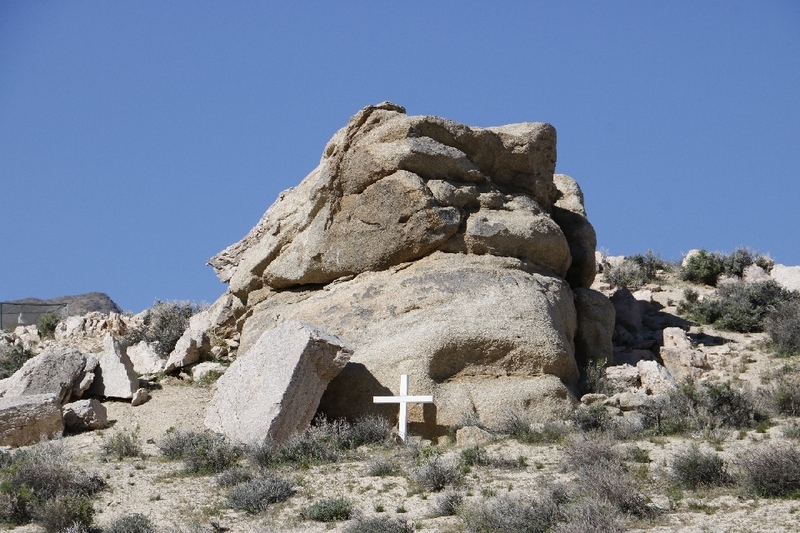 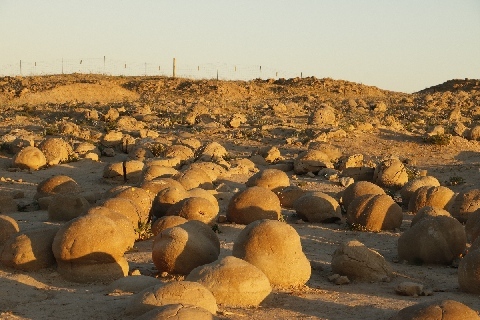 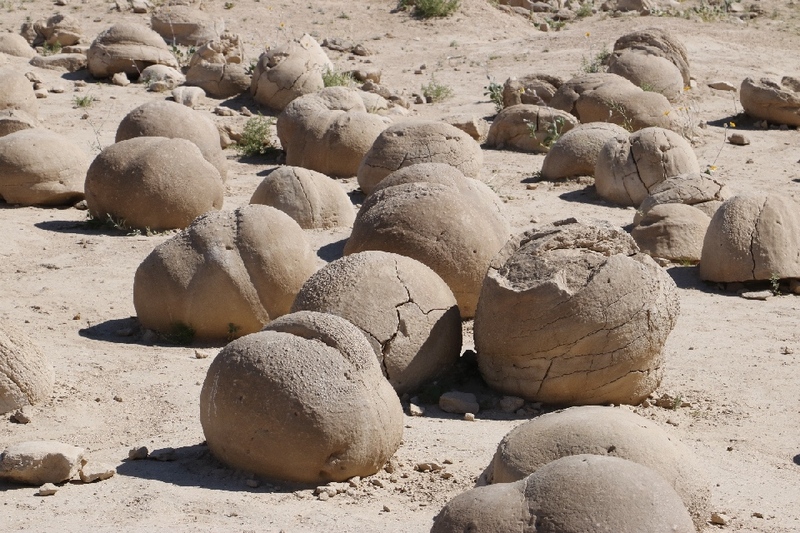 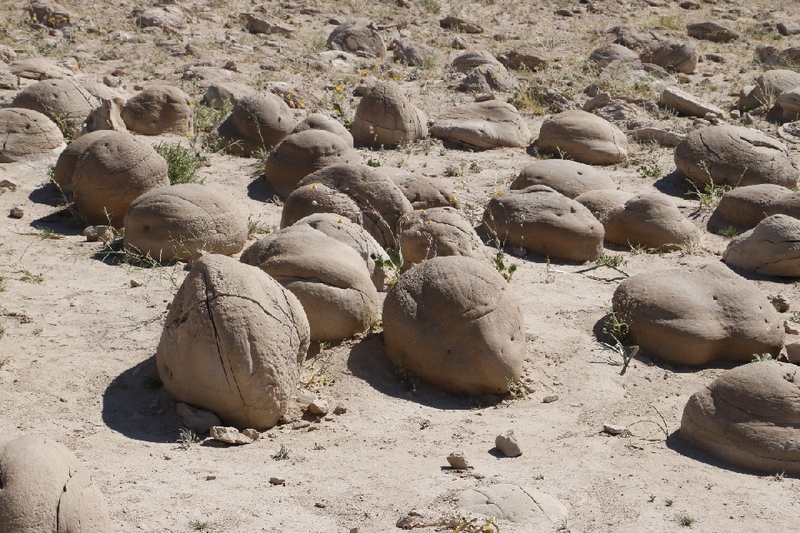 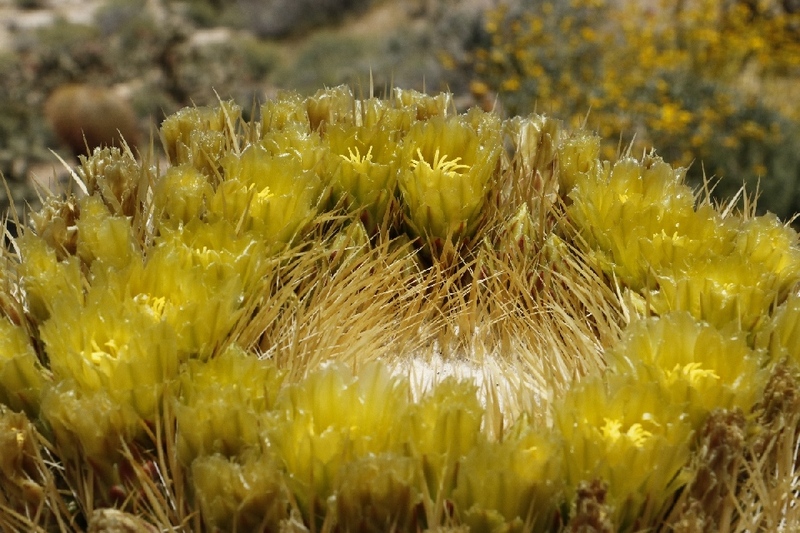 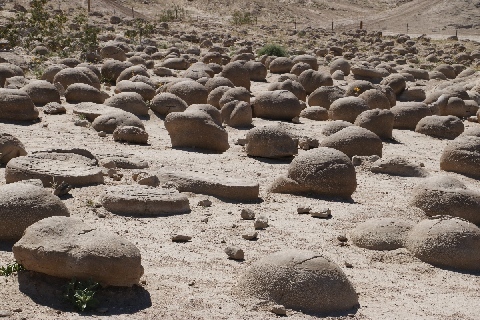 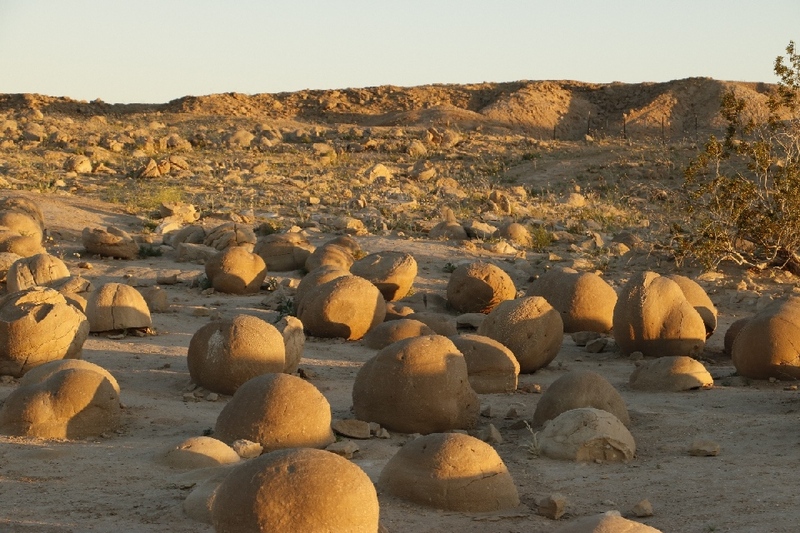 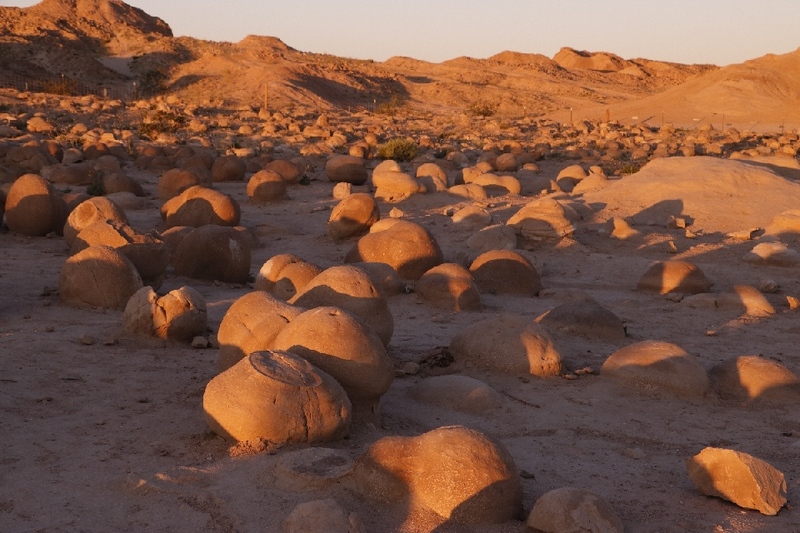 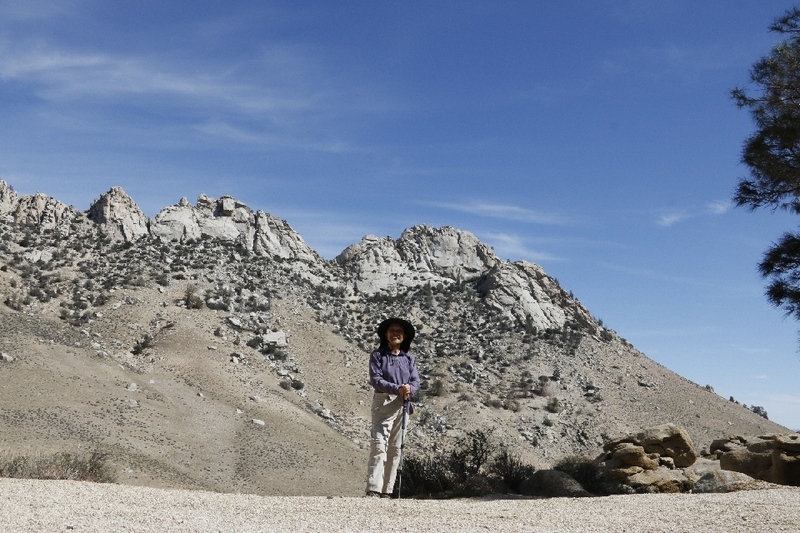 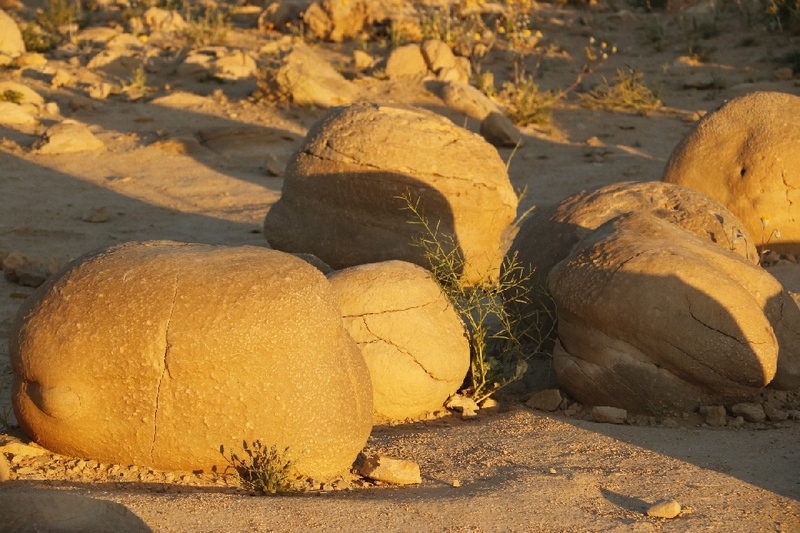 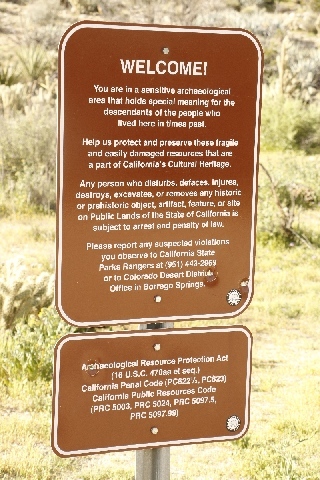 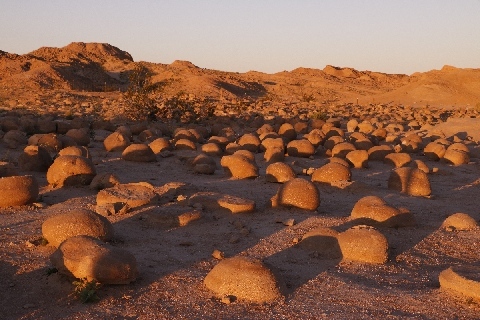 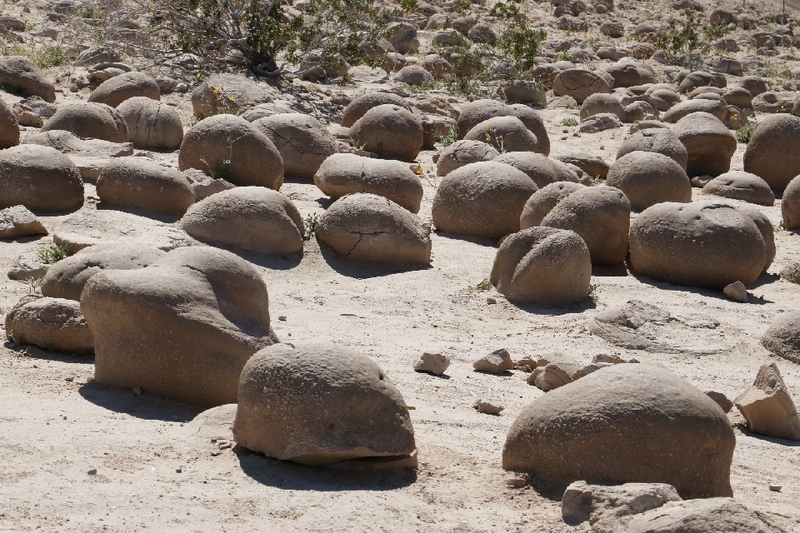 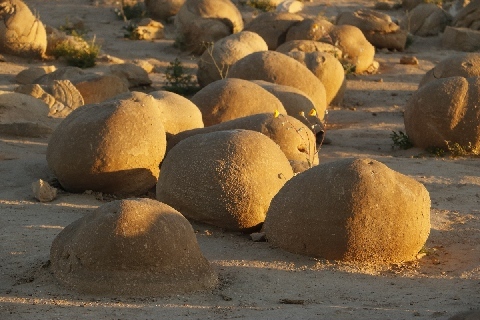 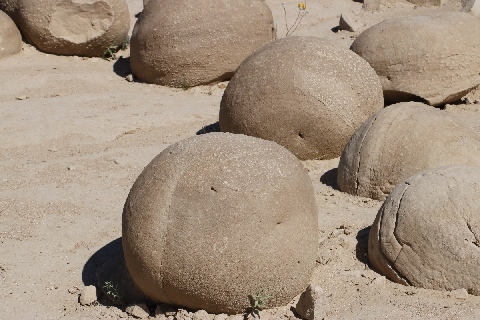 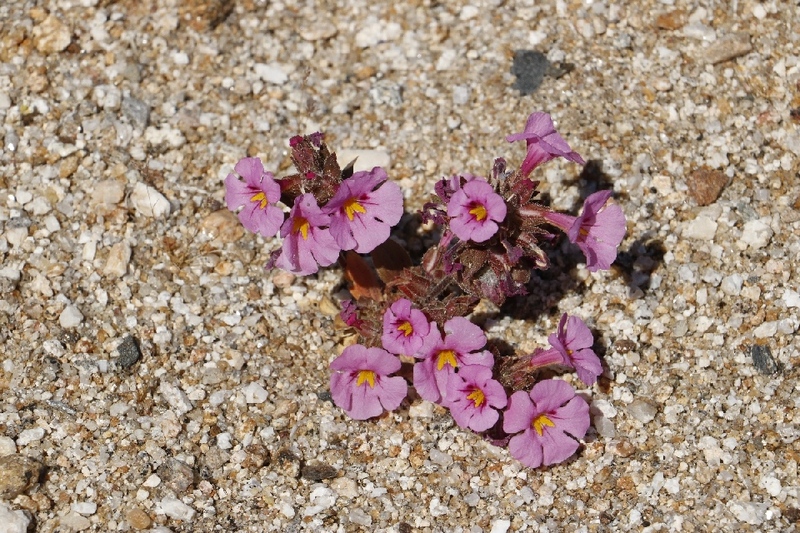 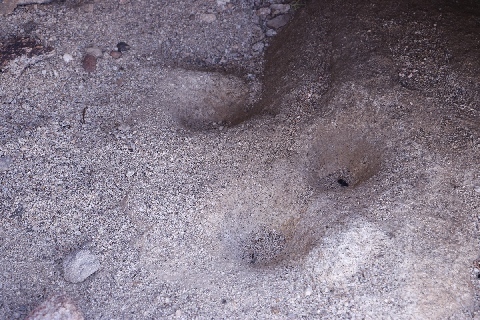 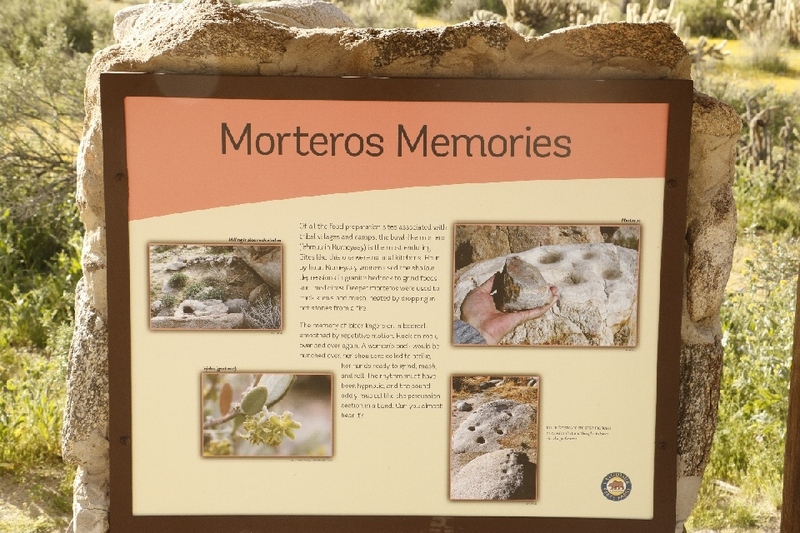 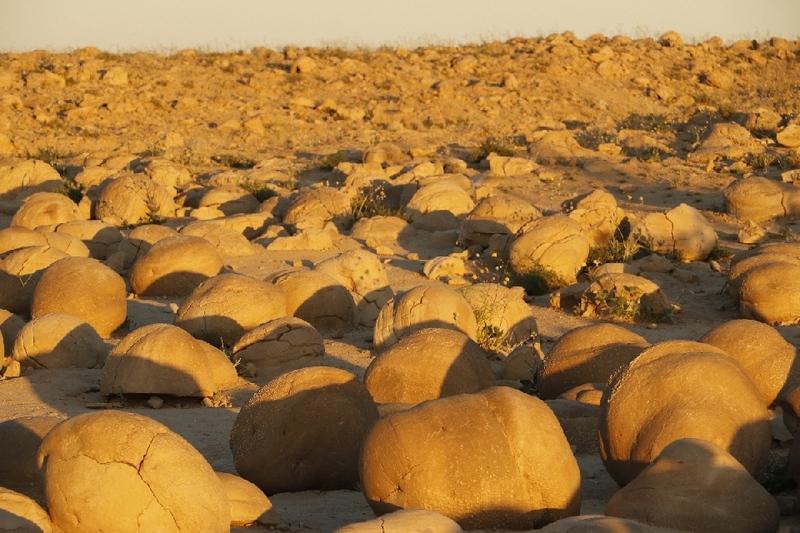 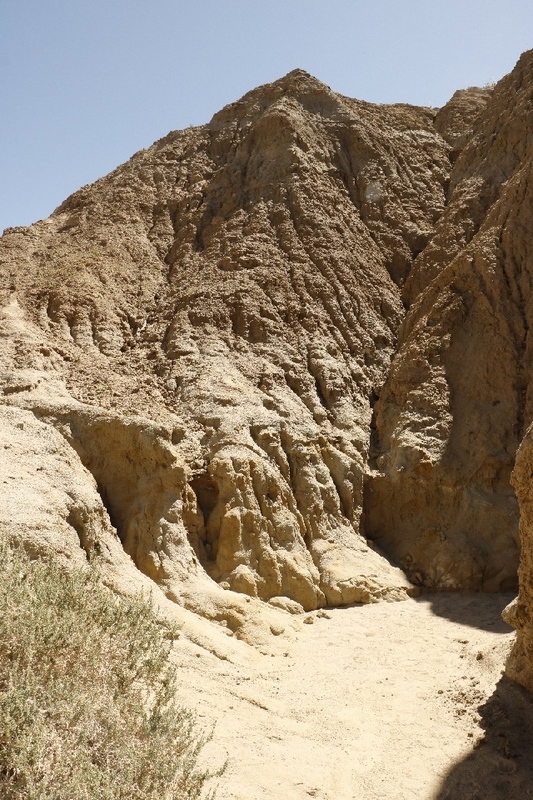 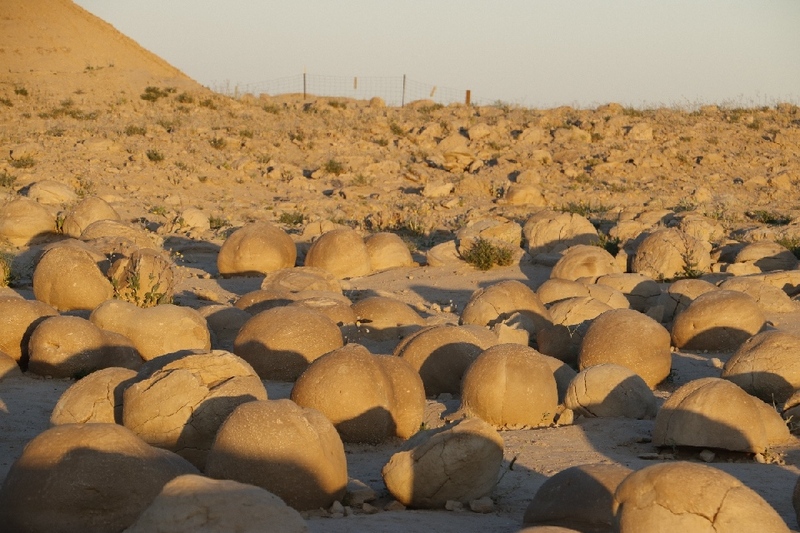 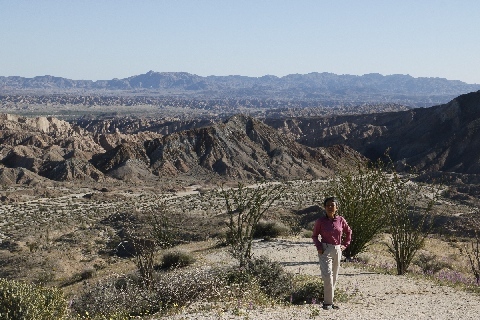 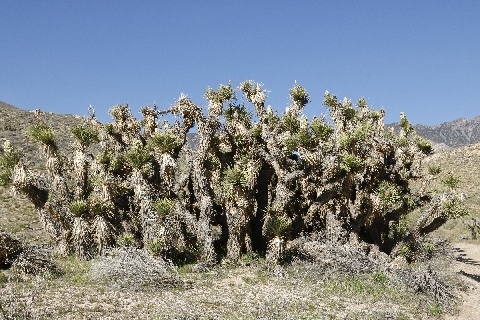 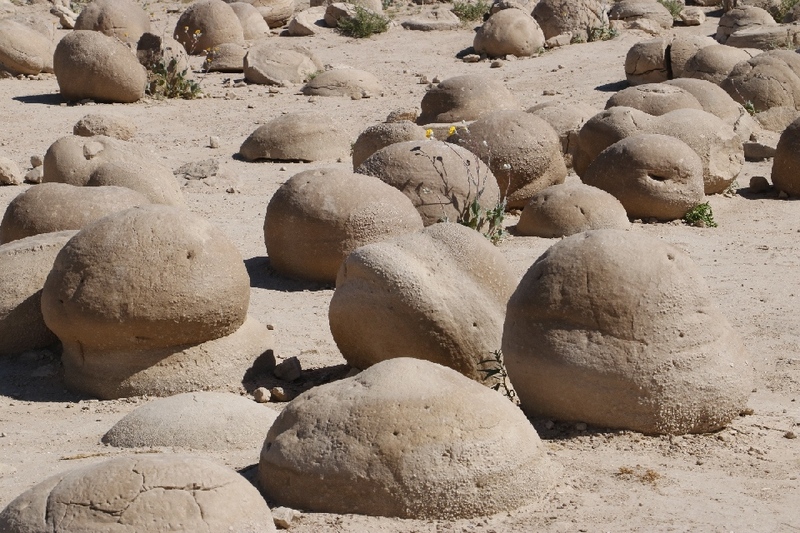 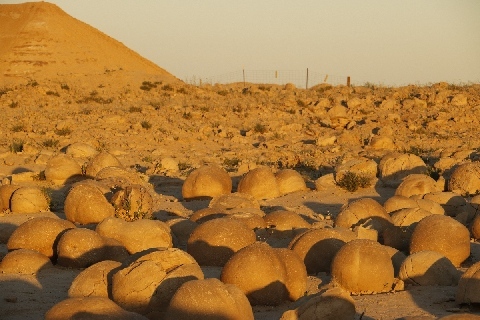 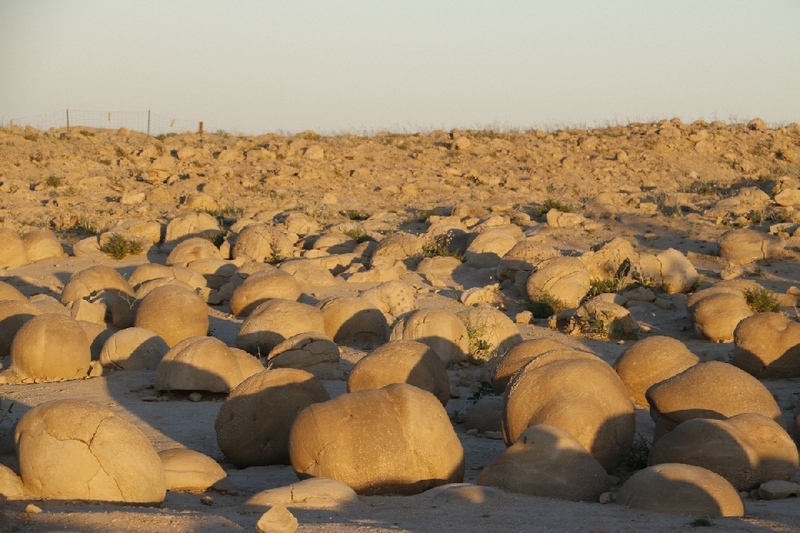 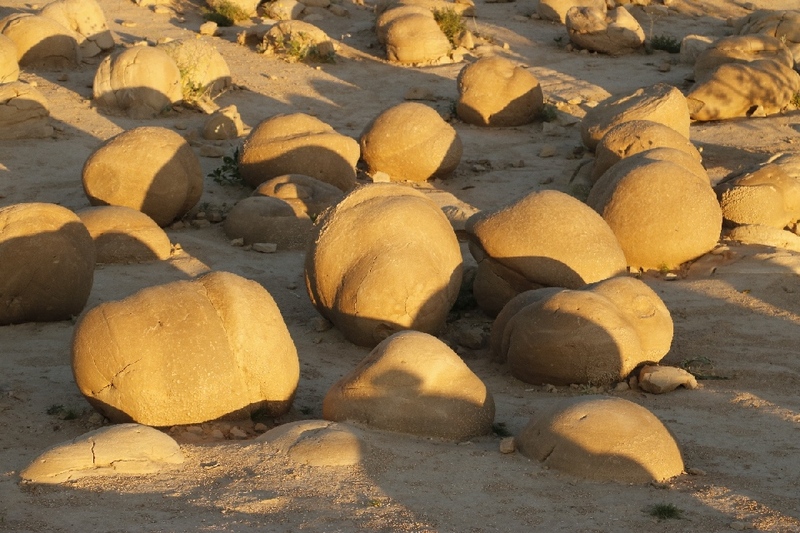 3/21/2017 Morteros Memories, Anza-Borrego Desert State Park, CA - There are many morteros to remind that there were people use to live in this area. 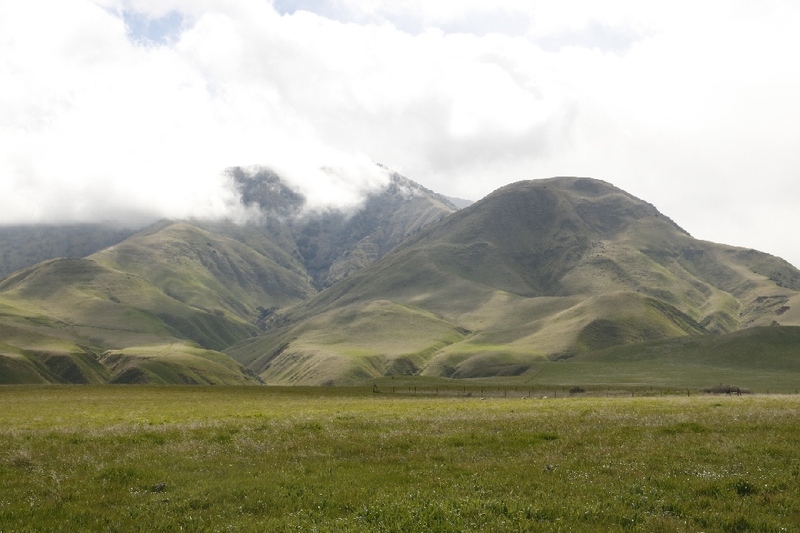 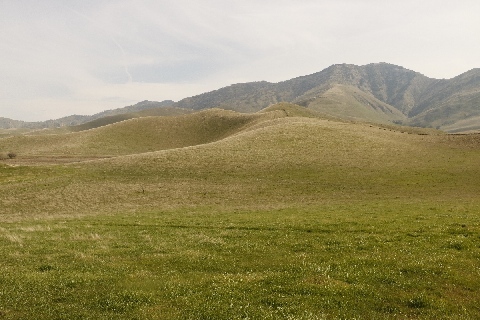 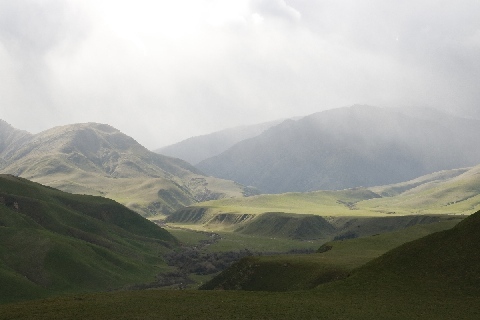 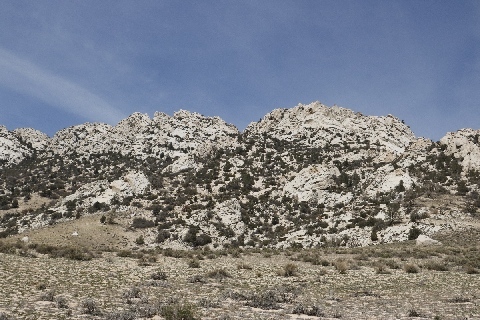 Nice medium size rock covered mountains and green mountains surrounding here. 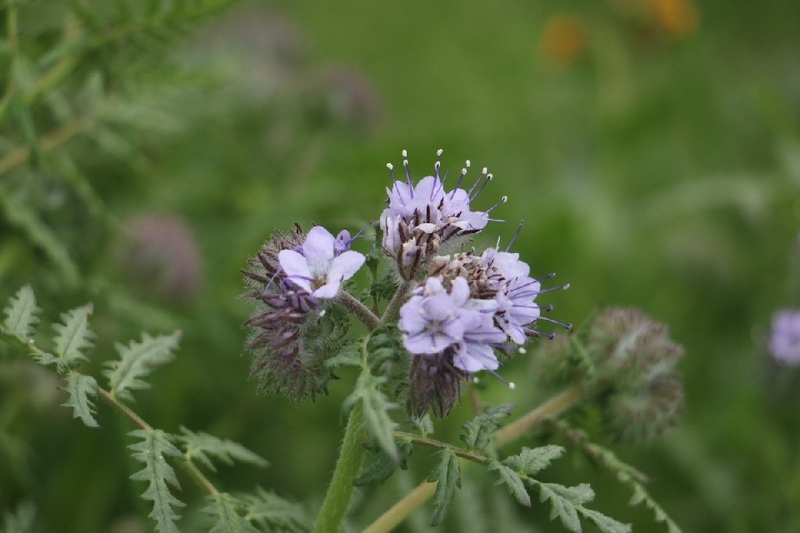 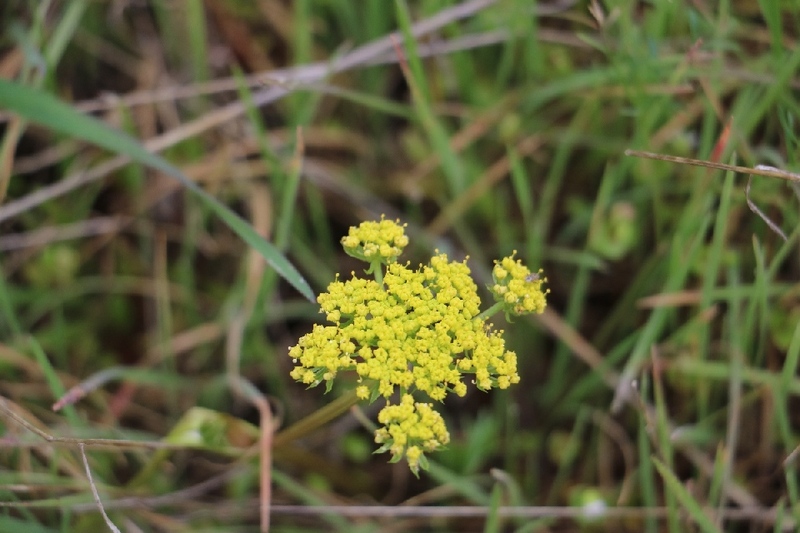 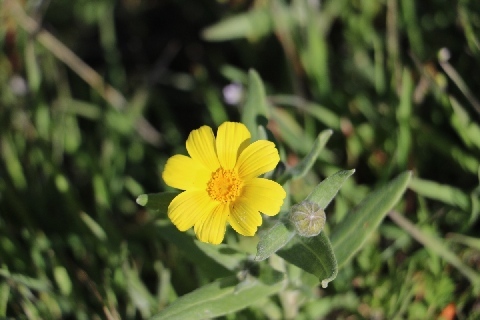 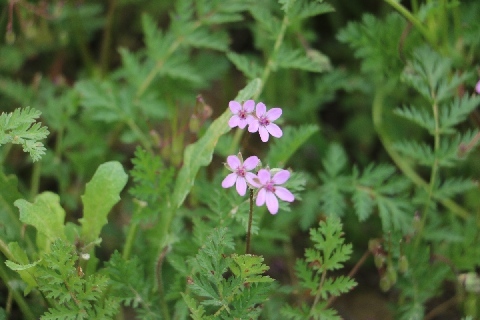 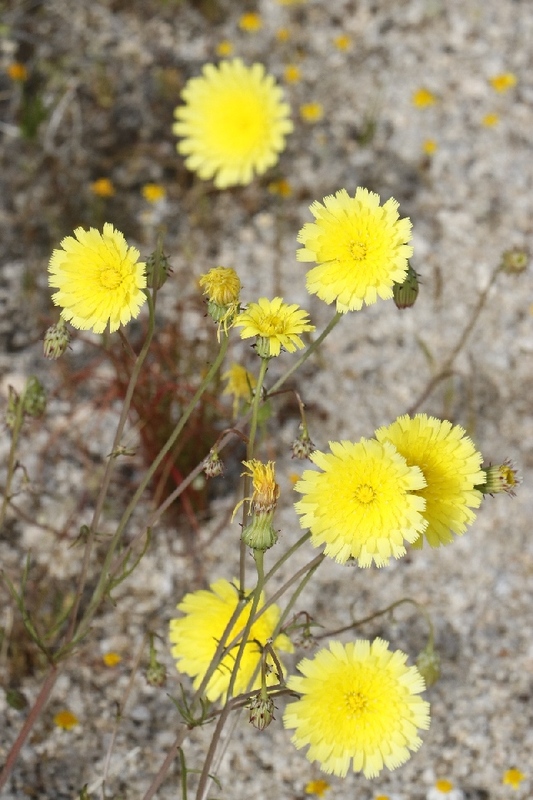 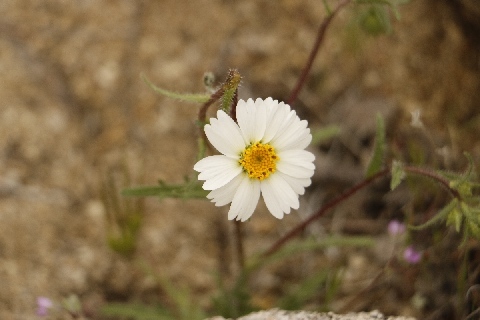 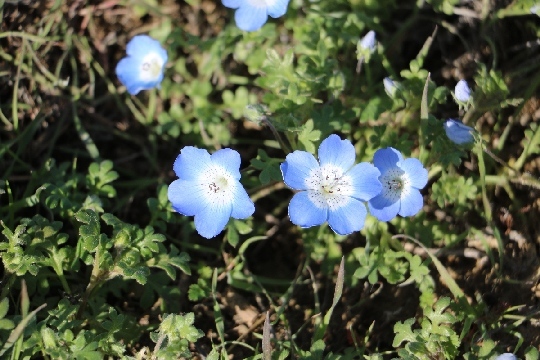 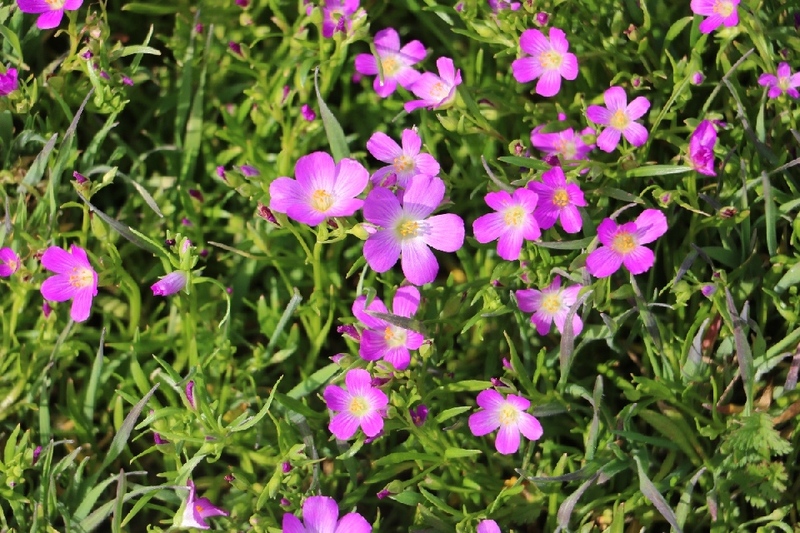 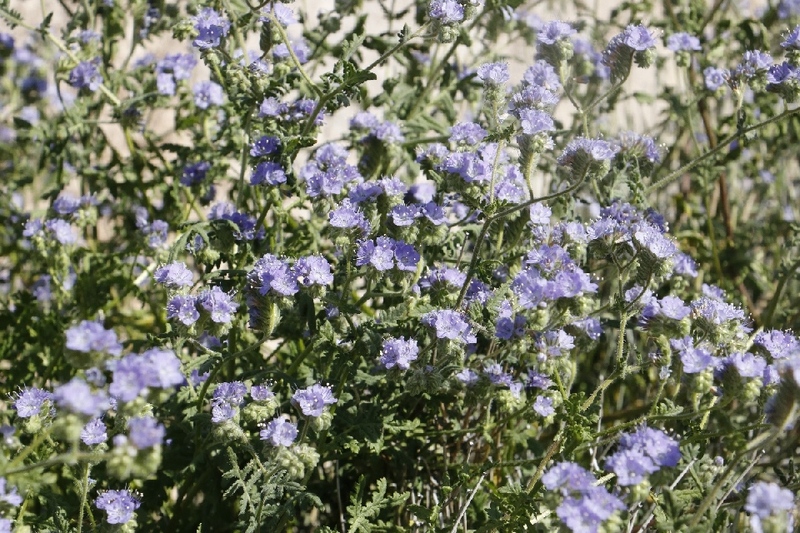 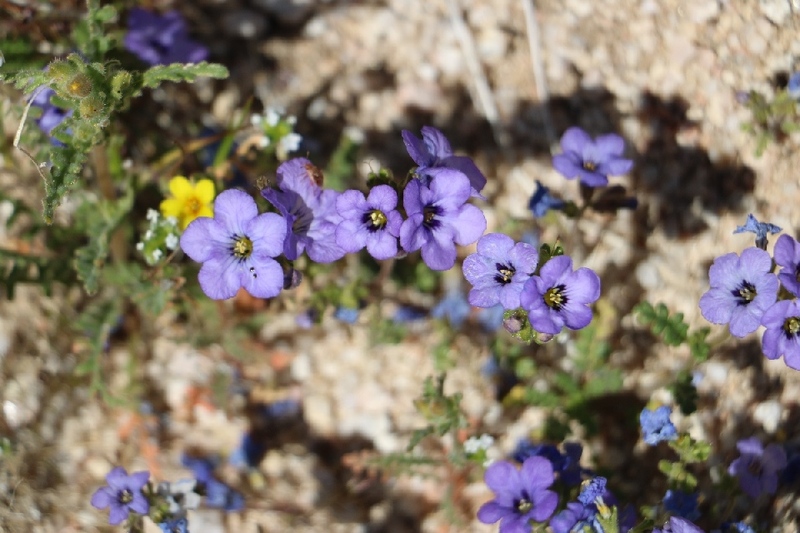 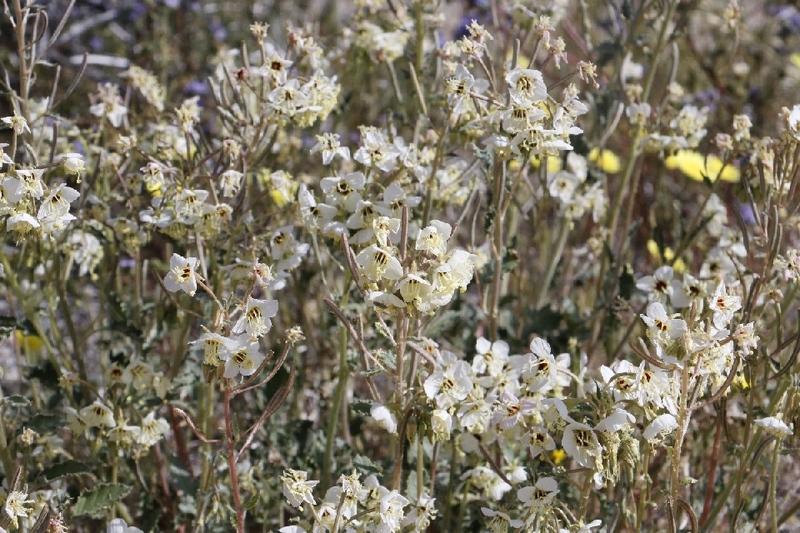 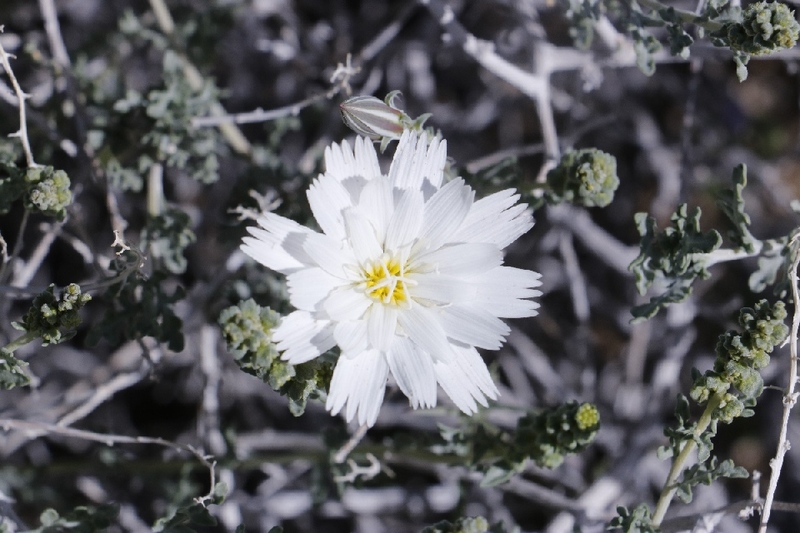 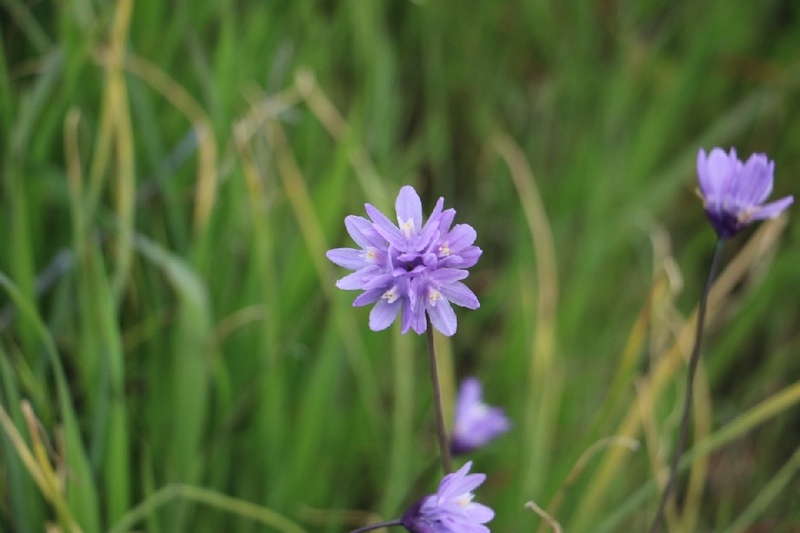 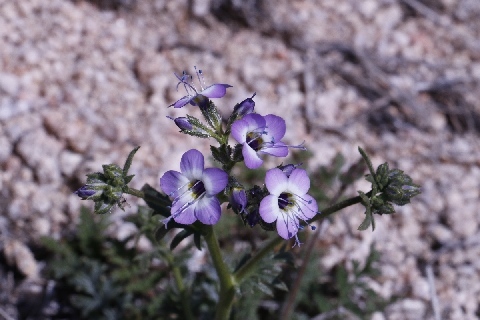 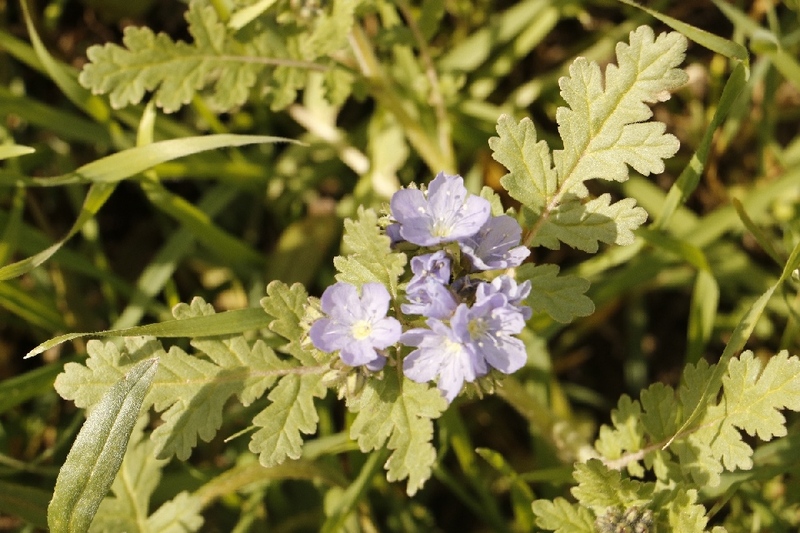 Wild-flowers are everywhere, lucky to see all those flowers. 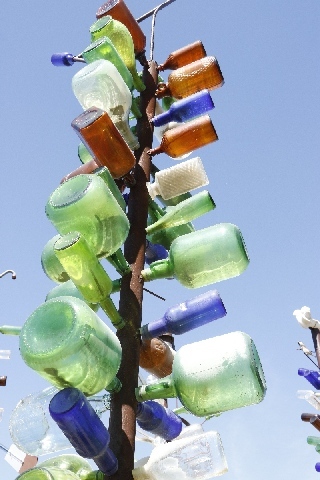 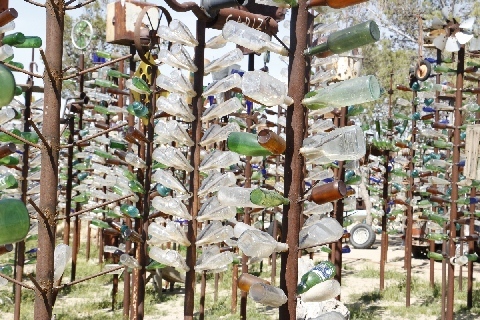 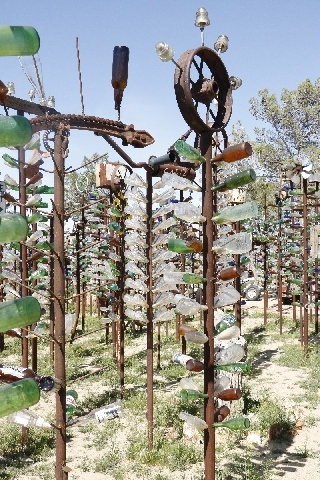 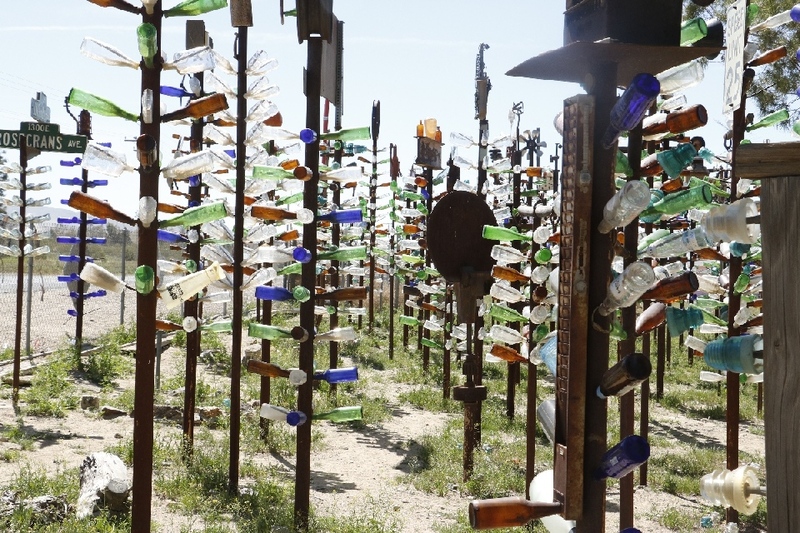 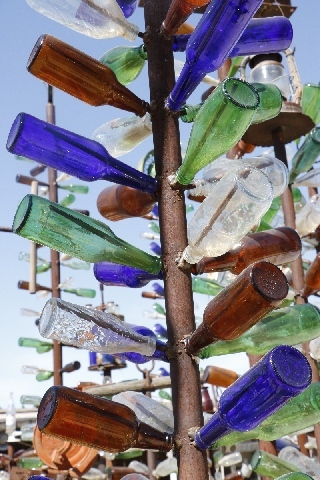 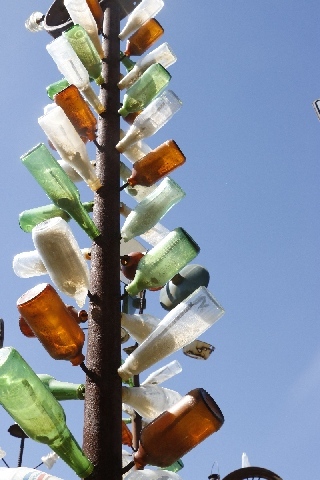 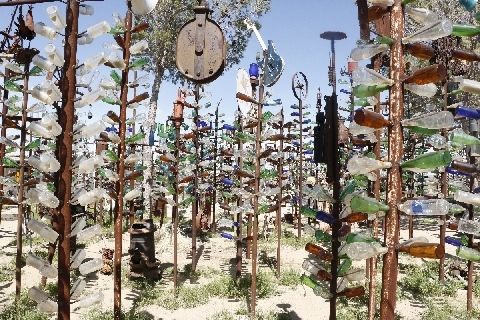 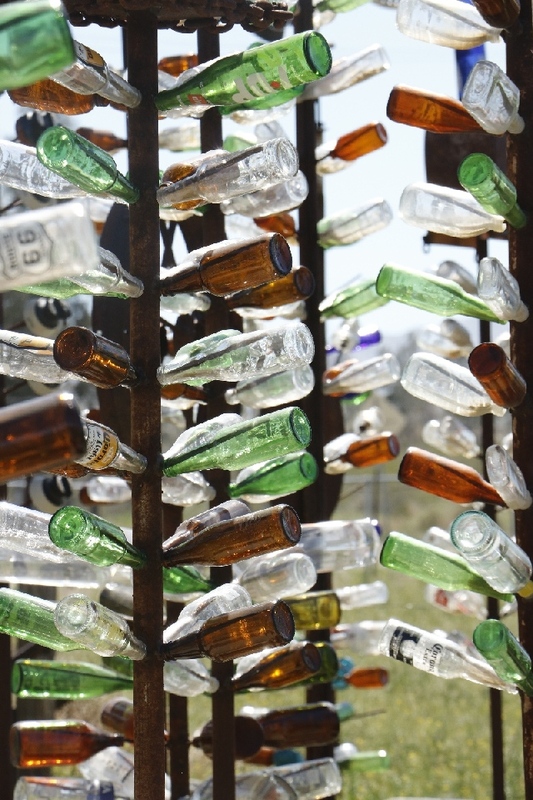 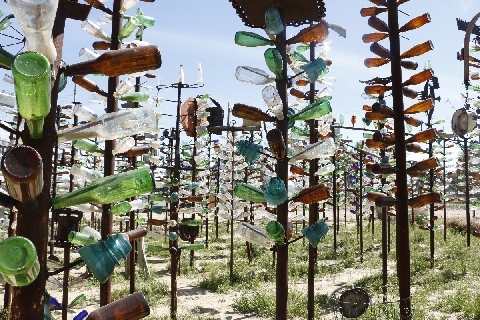 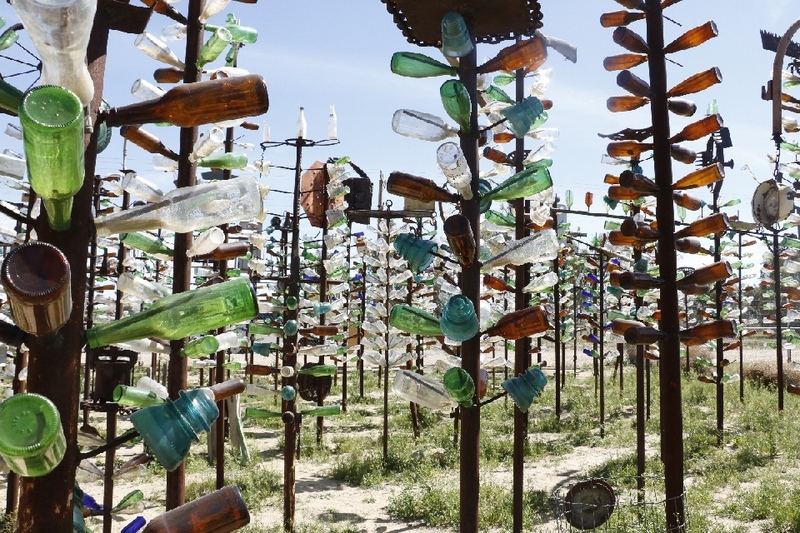 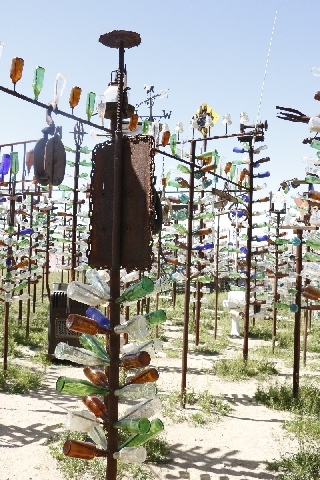 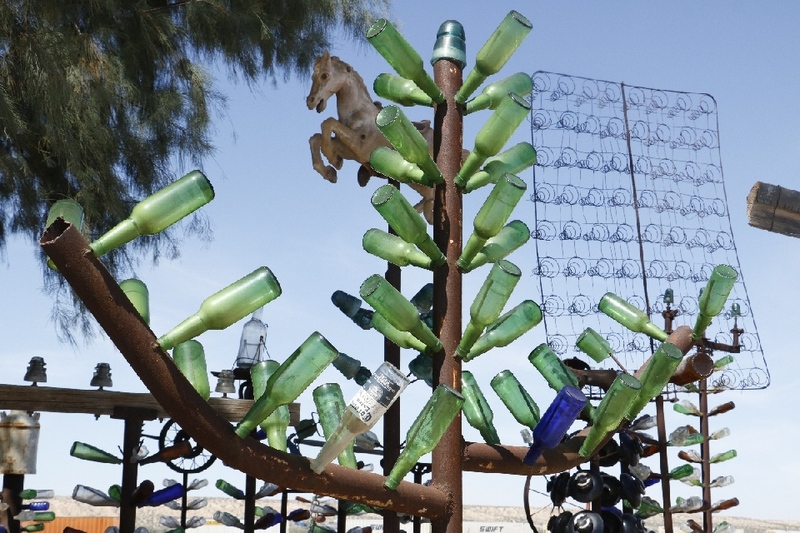 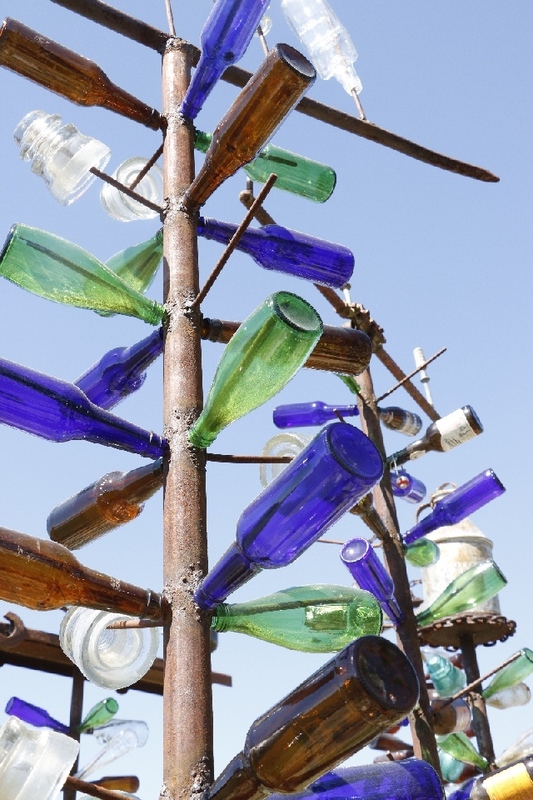 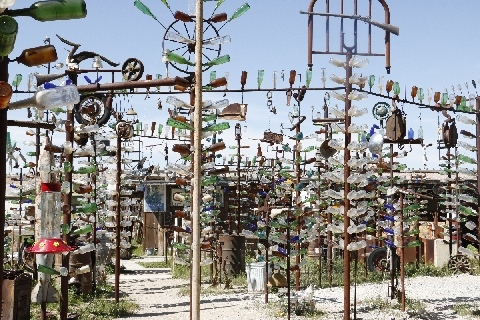 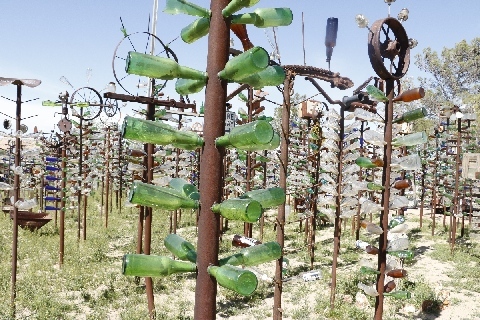 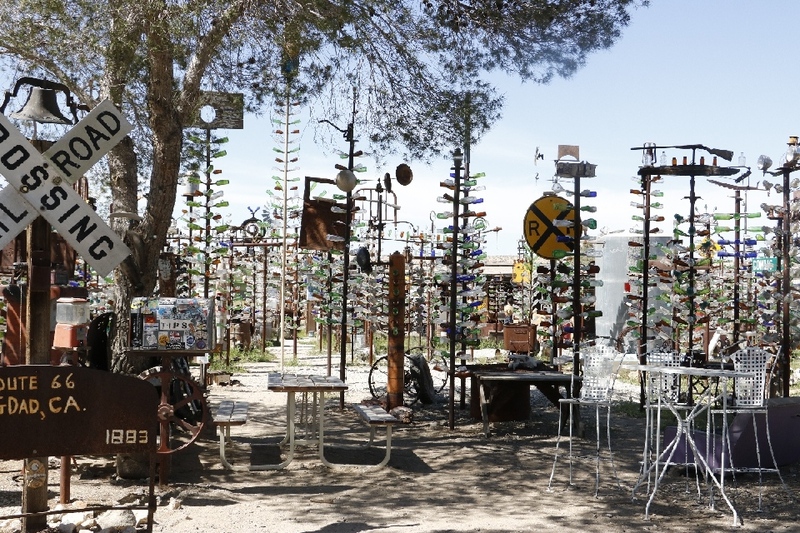 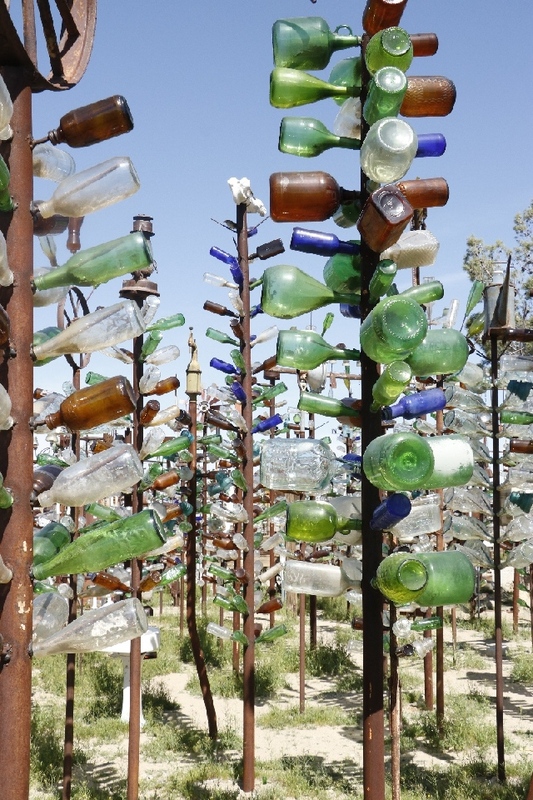 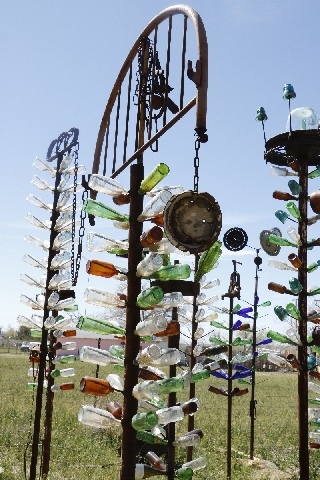 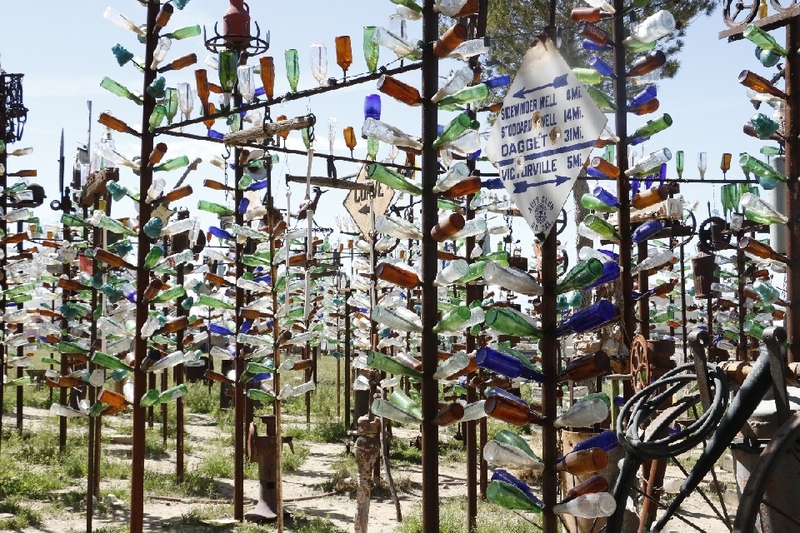 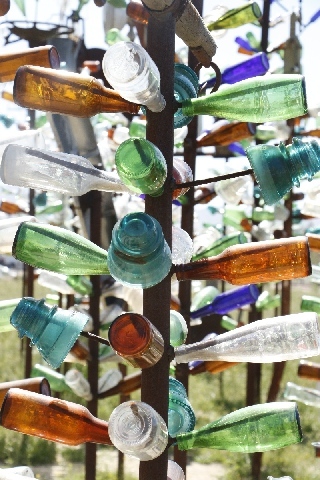 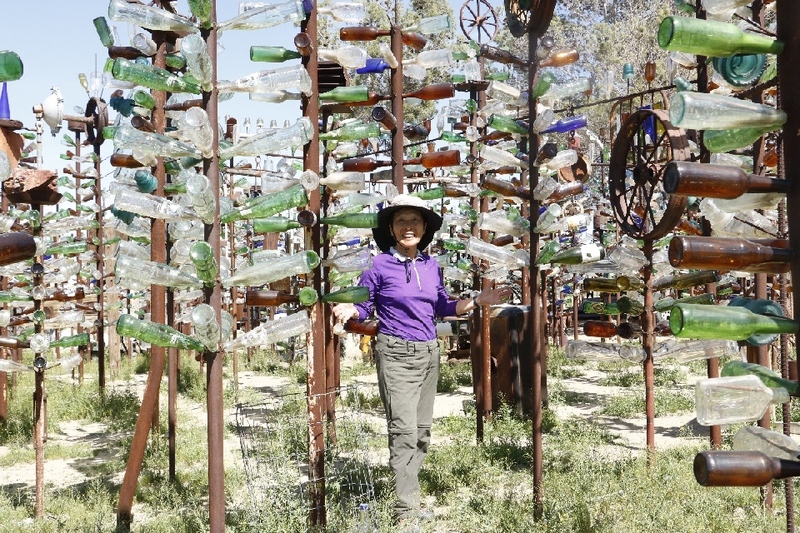 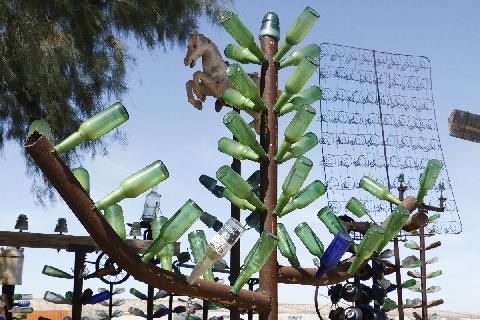 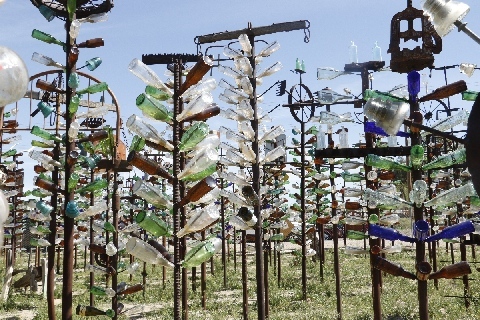 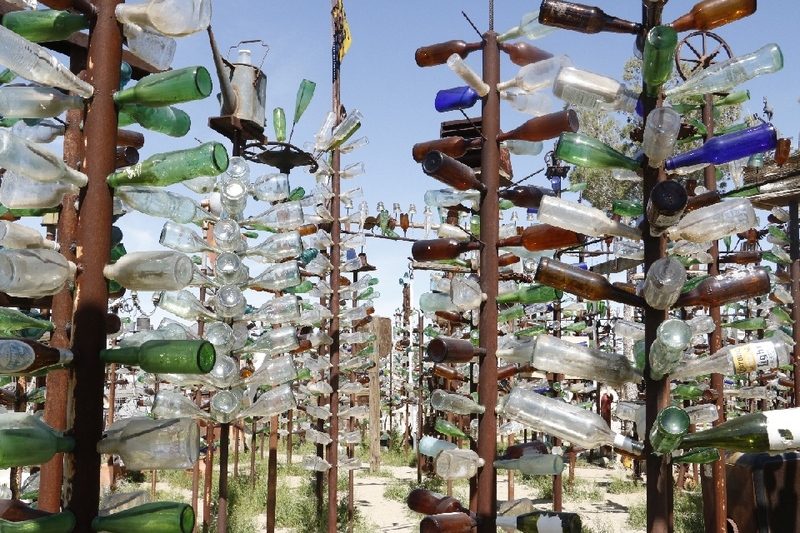 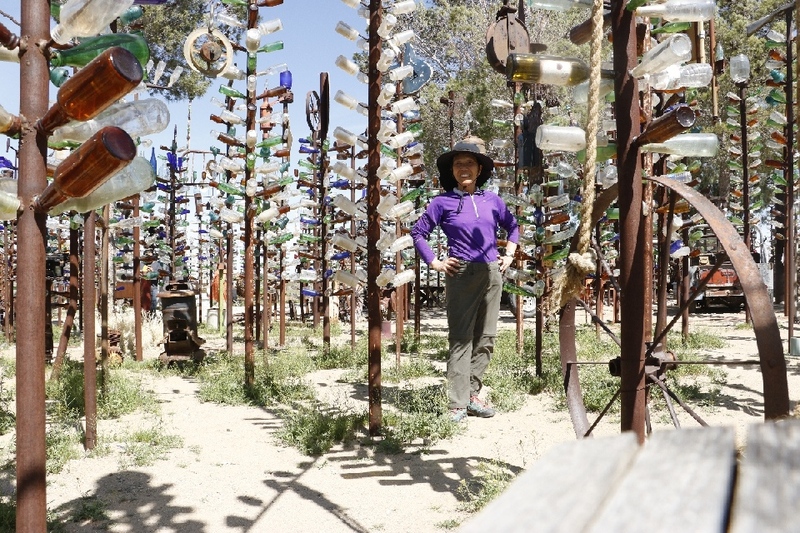 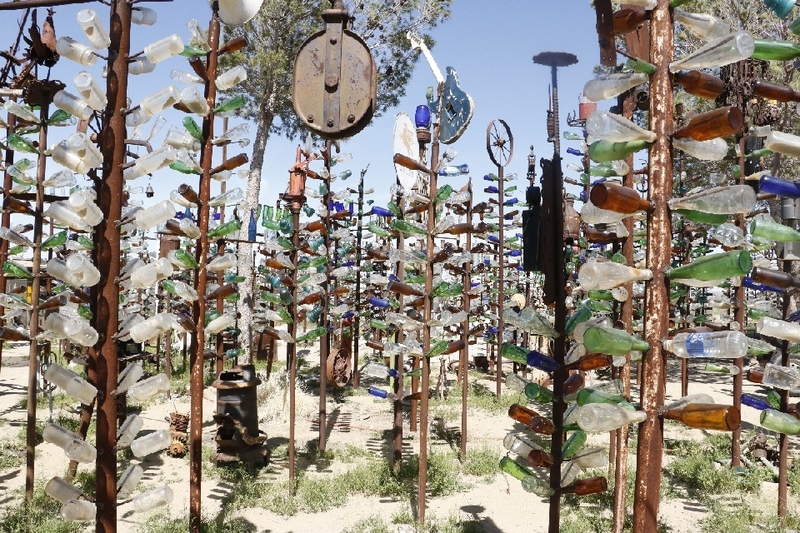 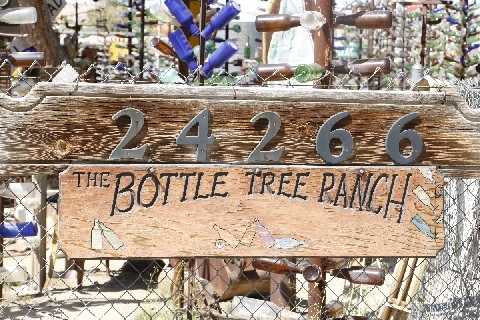 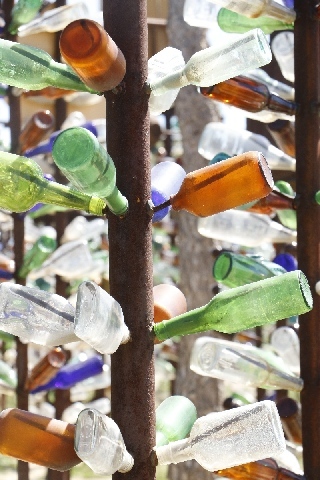 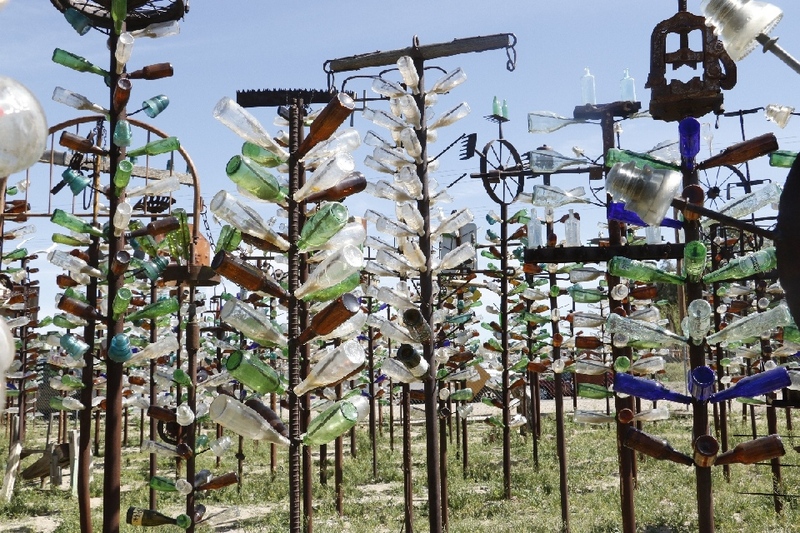 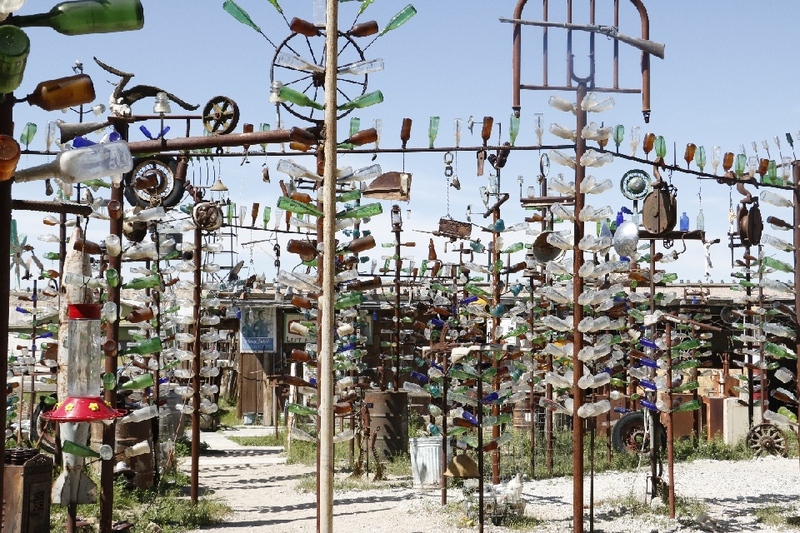 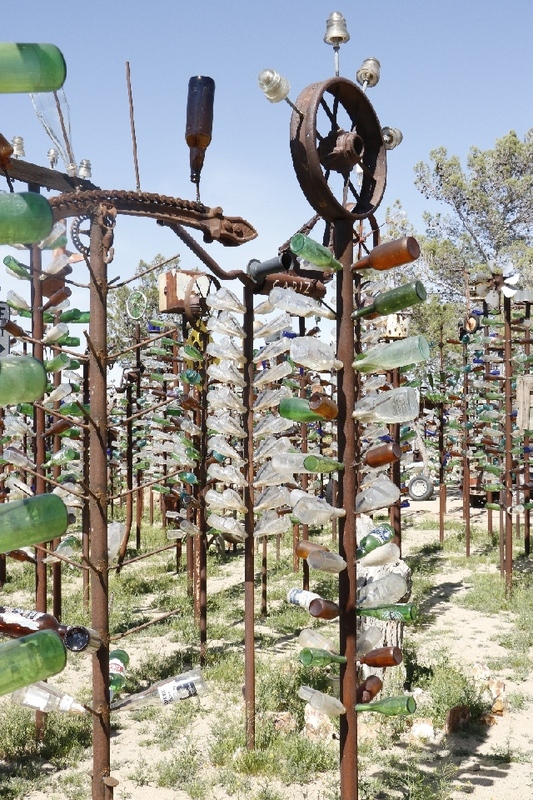 3/20/2017 Bottle Tree Ranch, Oro Grande, CA - There are many bottle trees in the property, more like bottle tree forest, and each tree is unique shape. 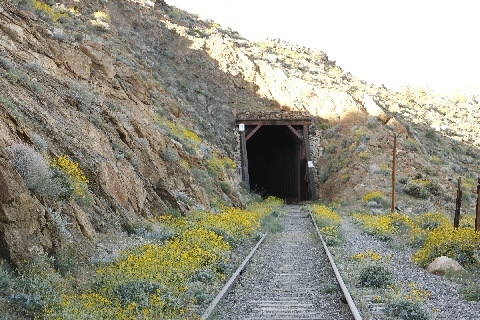 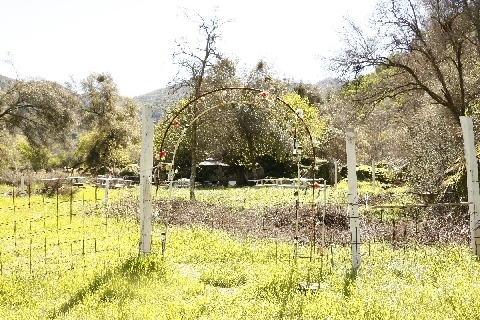 It is open for the public, but no owner around to ask any questions. 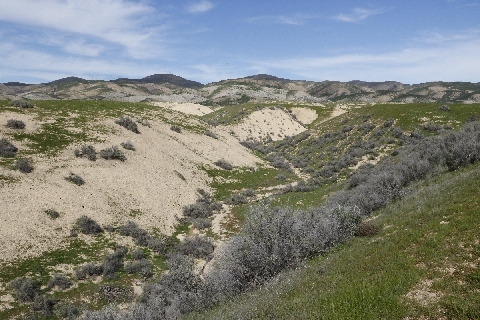 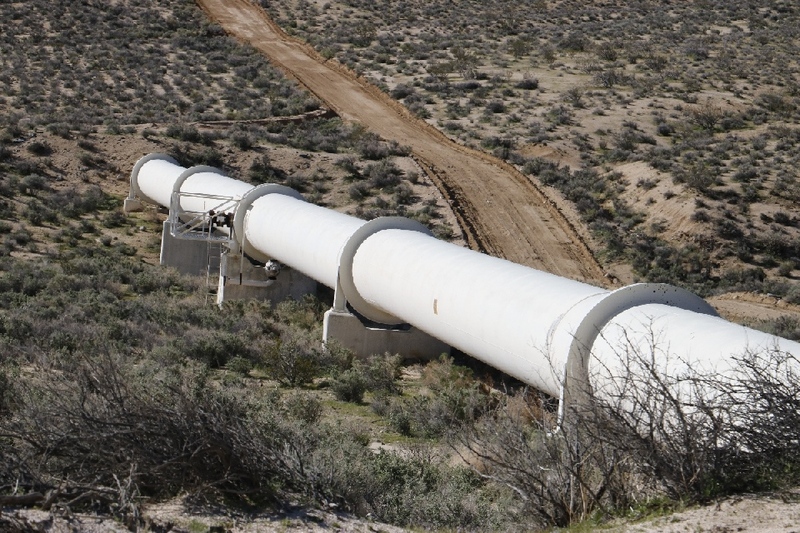 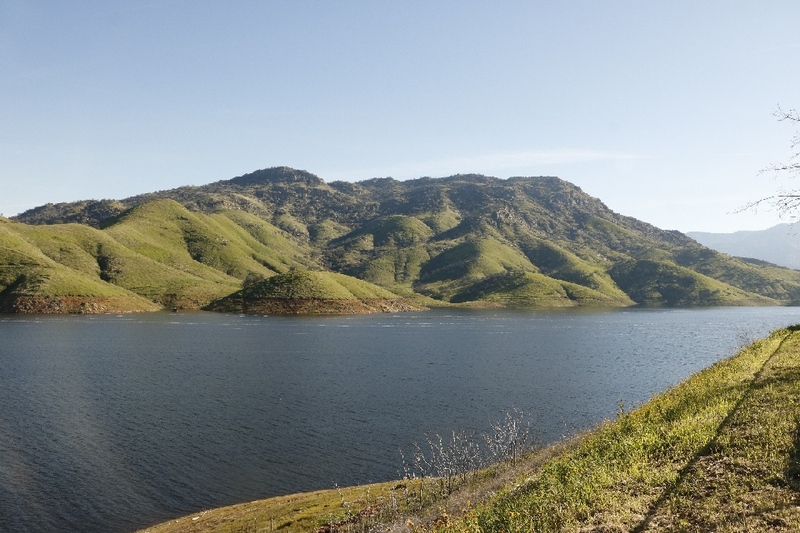 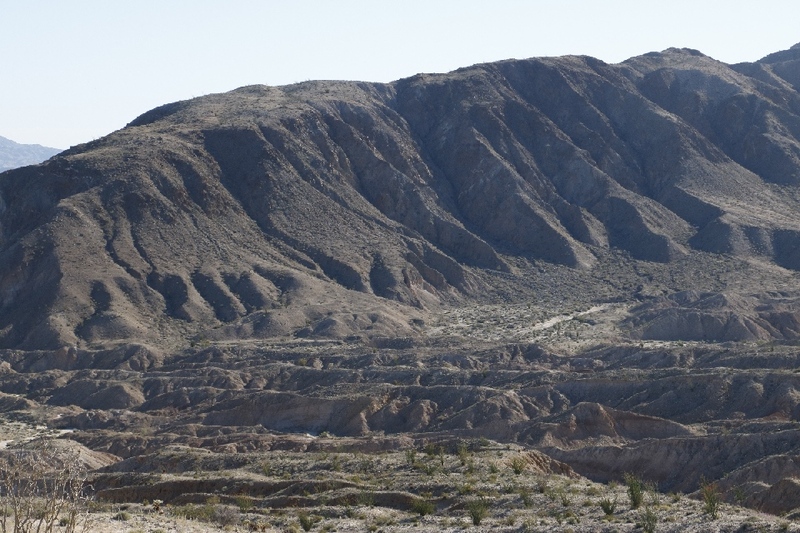 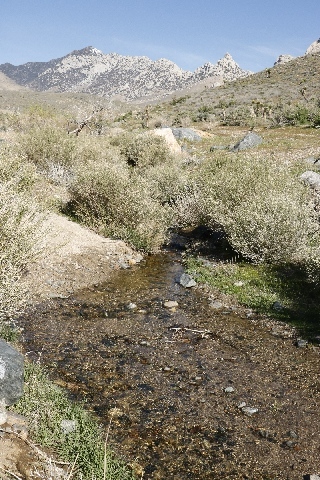 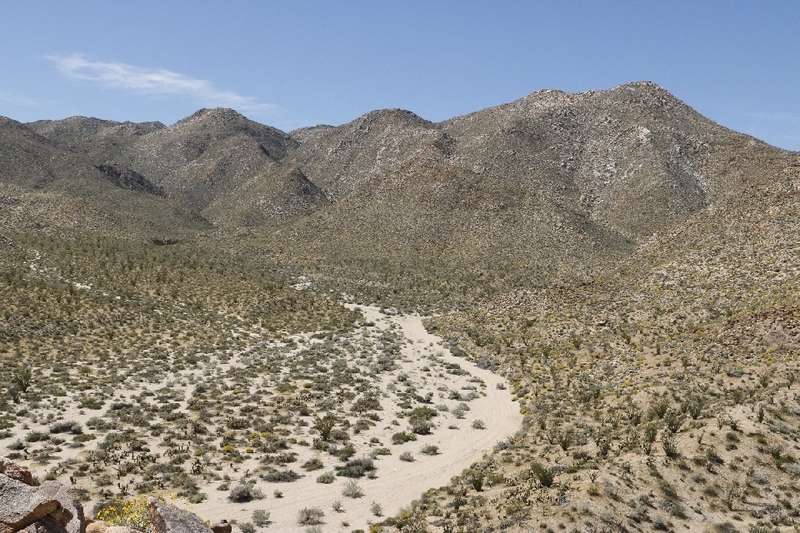 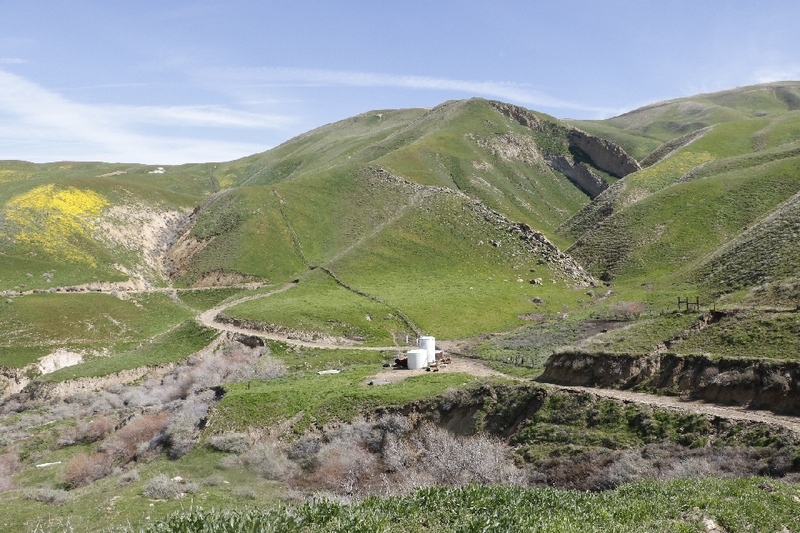 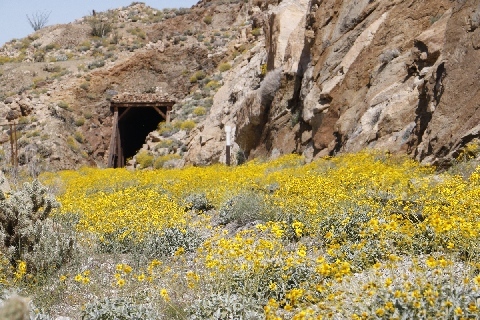 3/20/2017 Silver Lakes, Helendale, CA - The underground Mojave River, 150 miles, is the longest and largest underground river in the World. 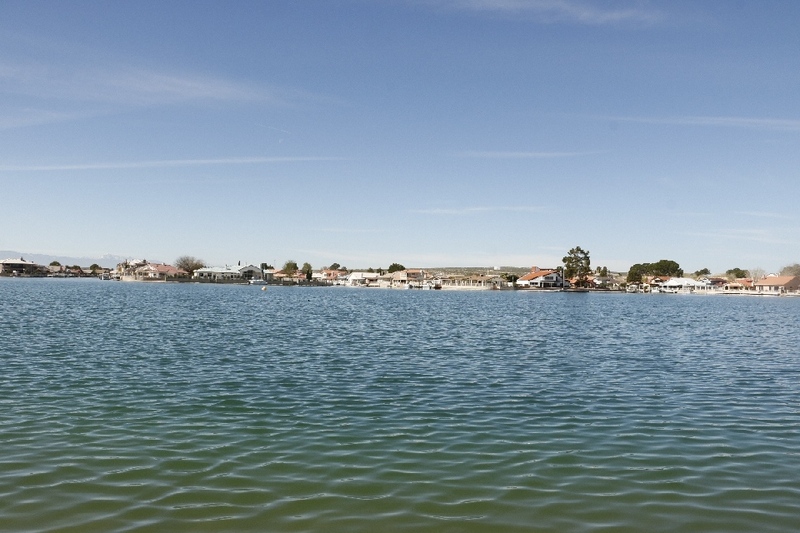 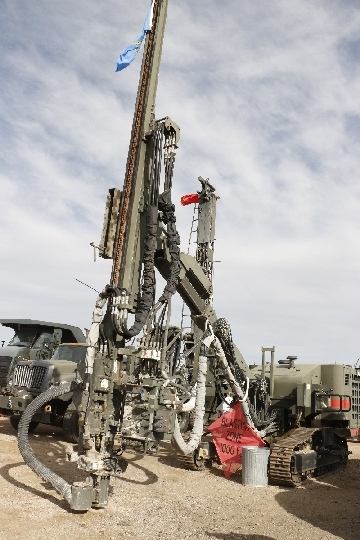 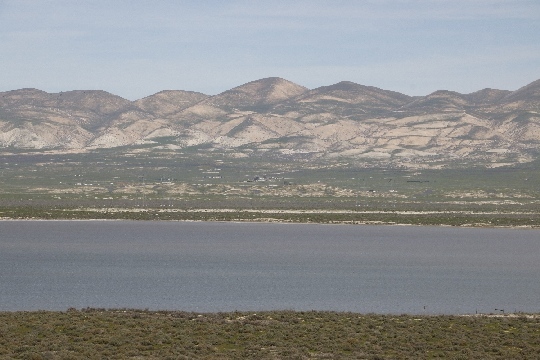 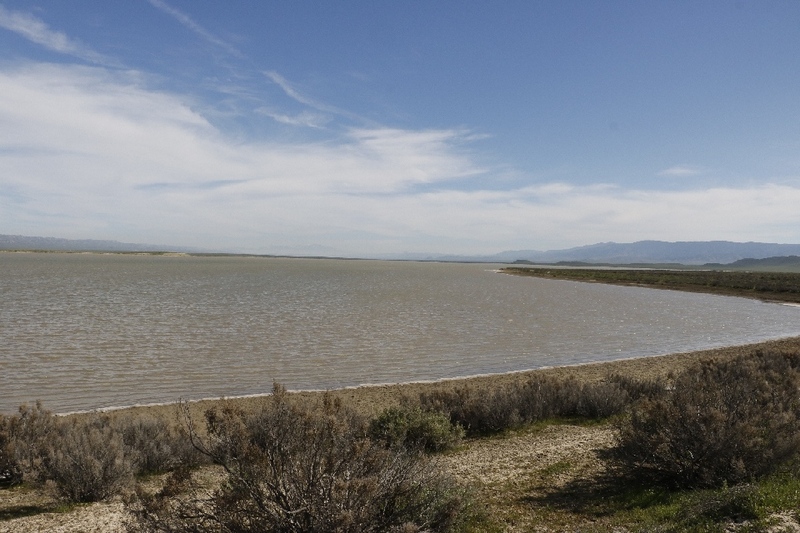 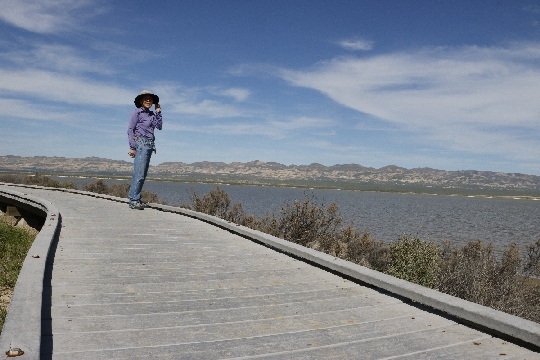 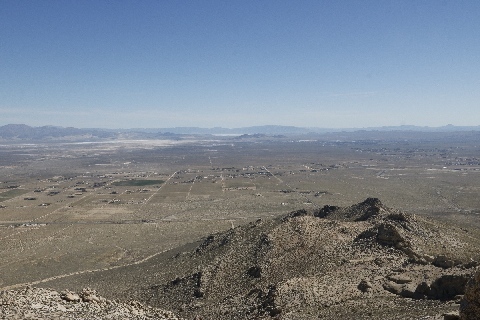 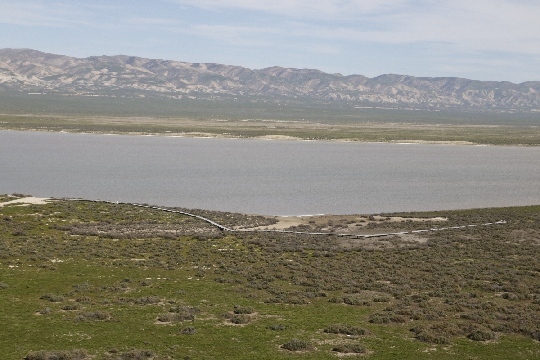 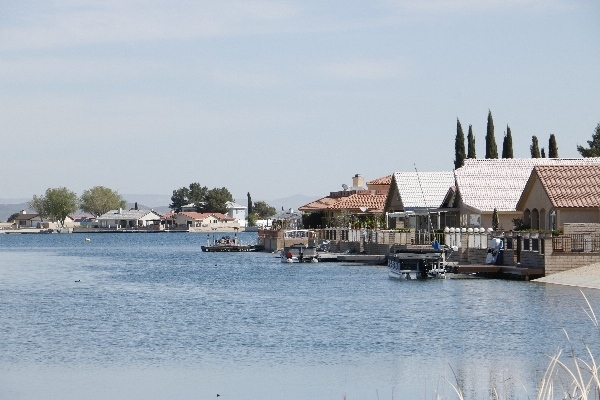 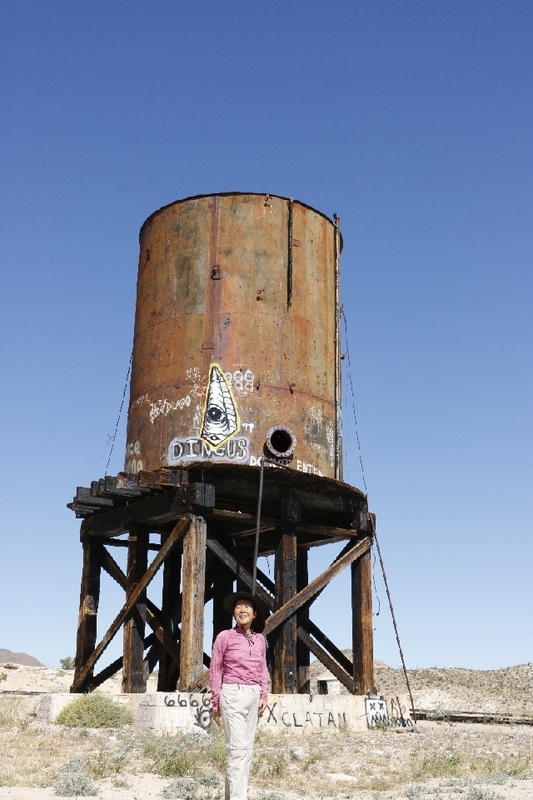 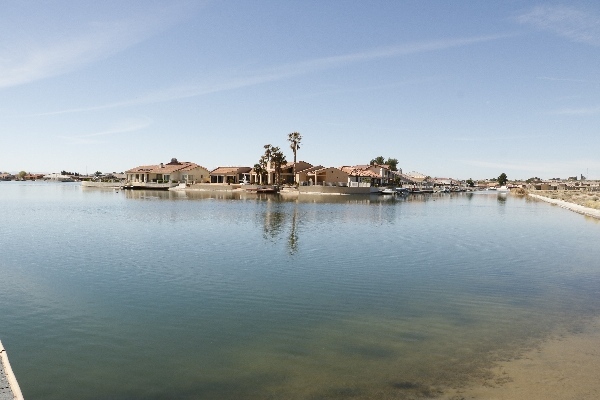 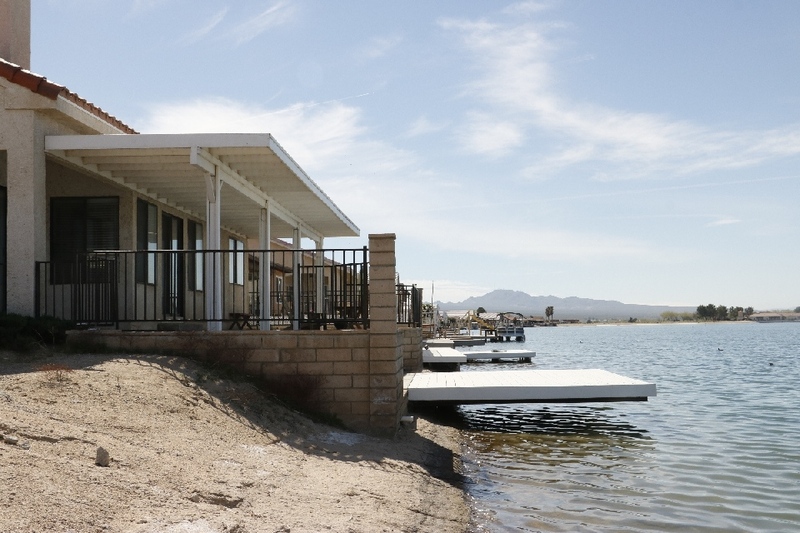 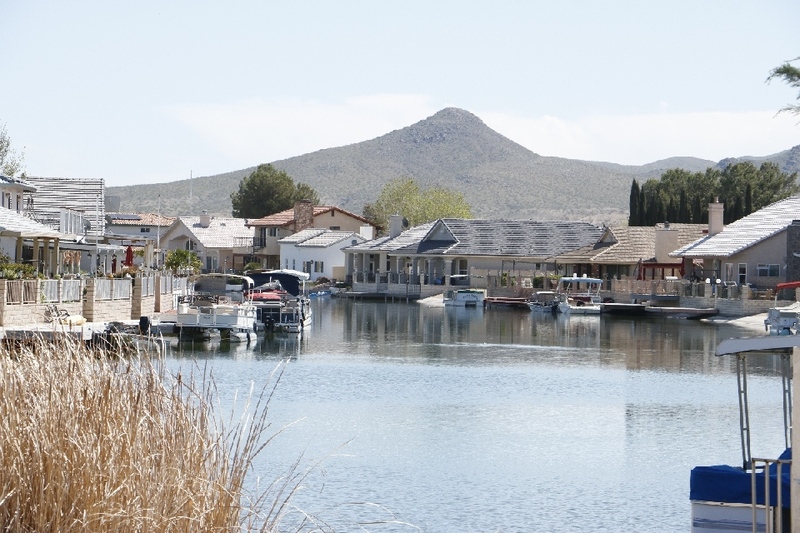 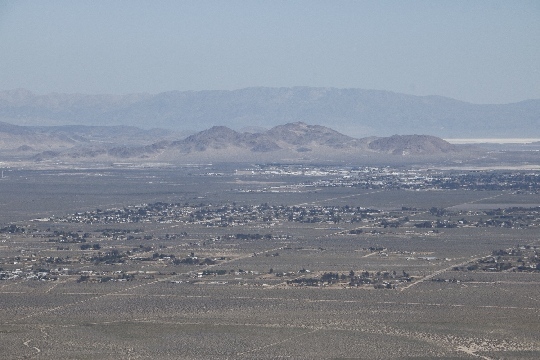 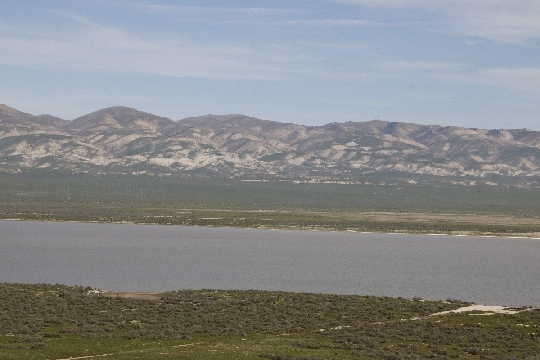 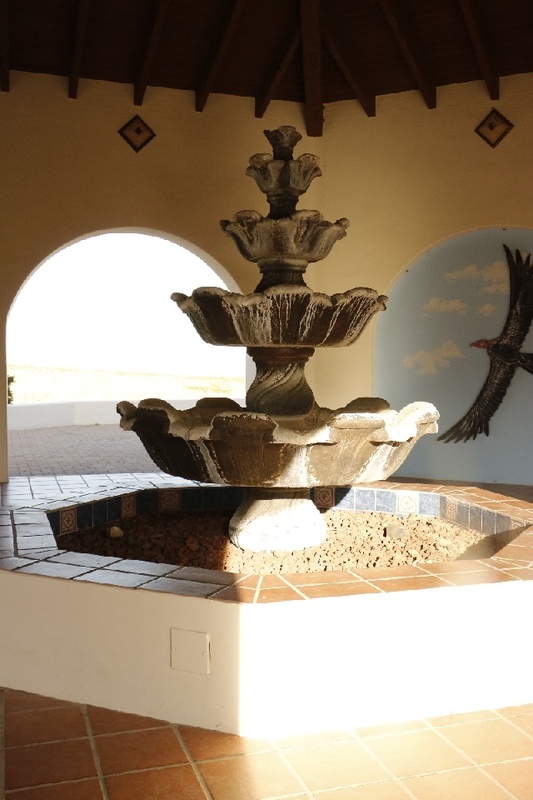 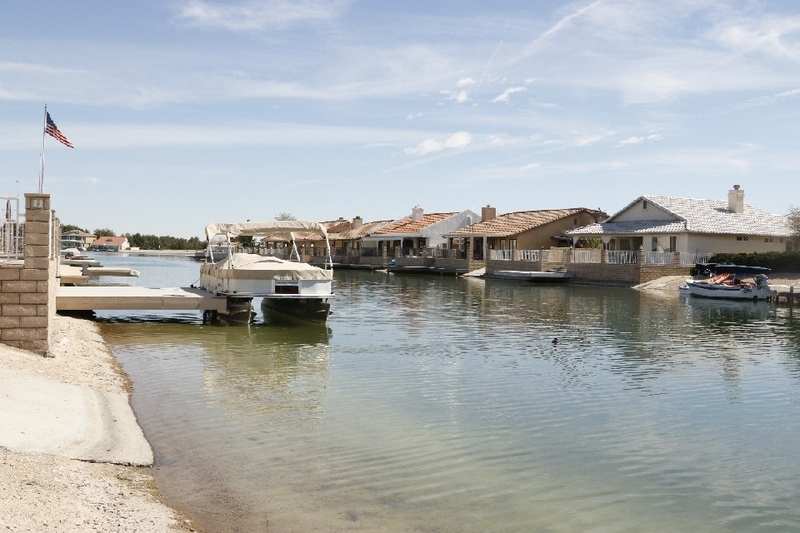 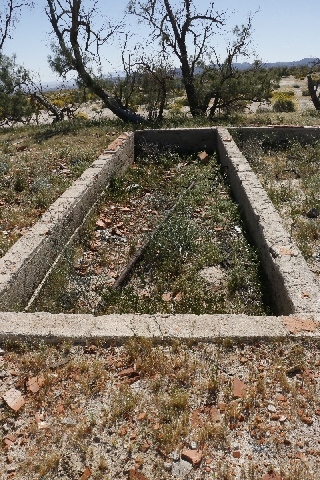 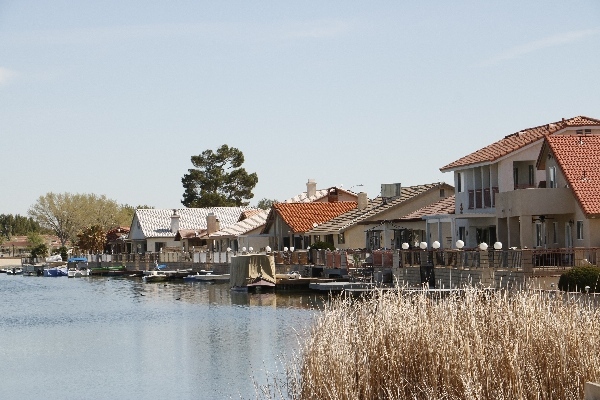 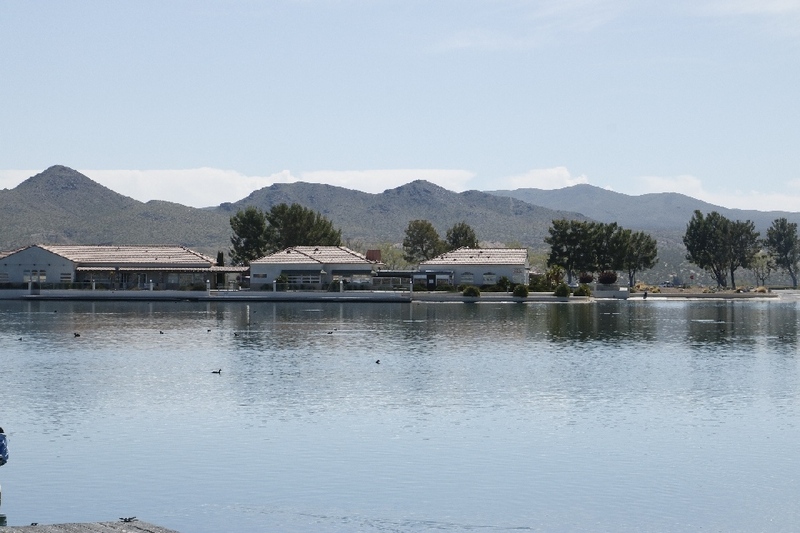 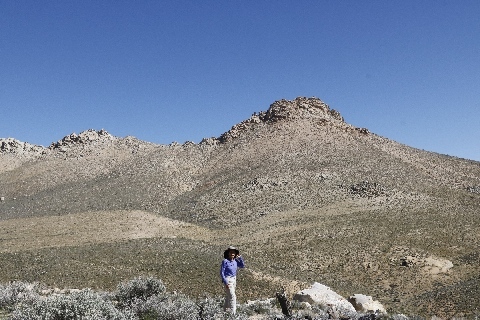 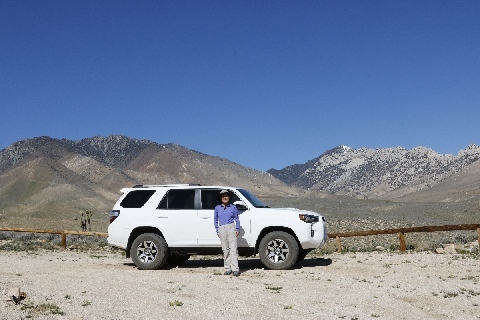 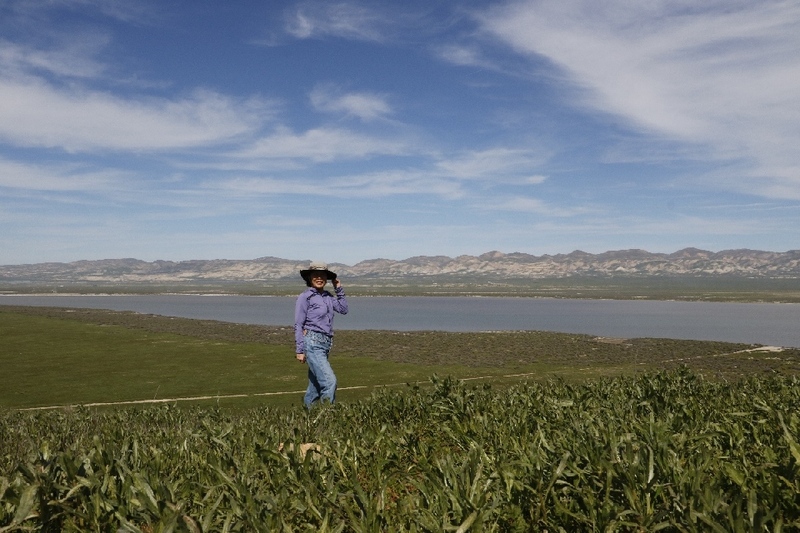 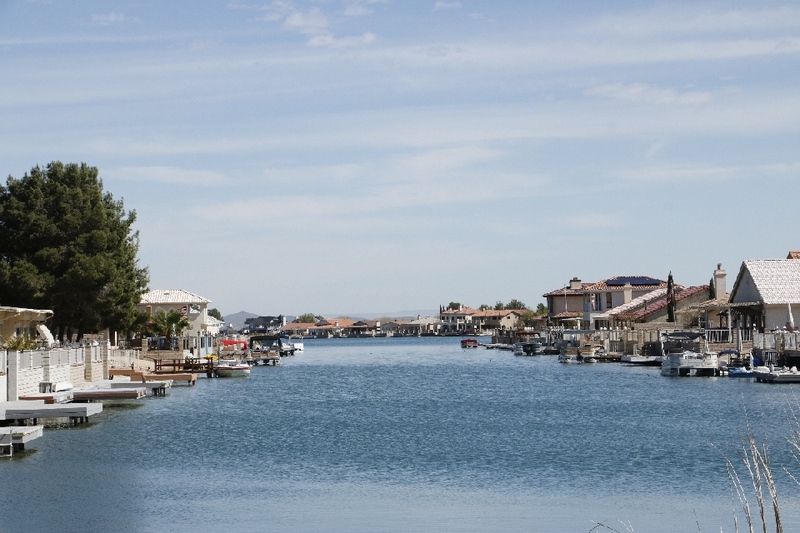 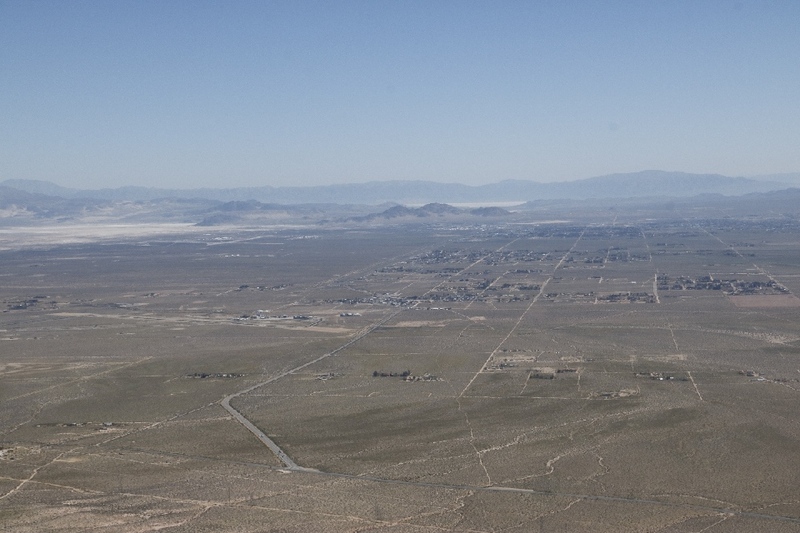 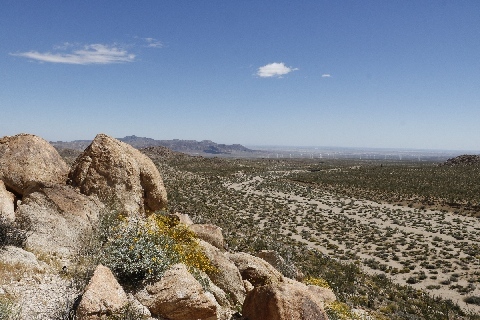 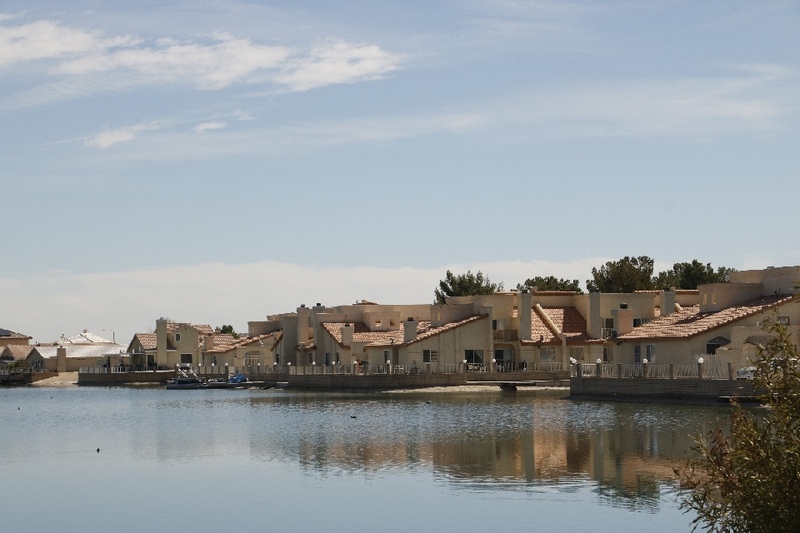 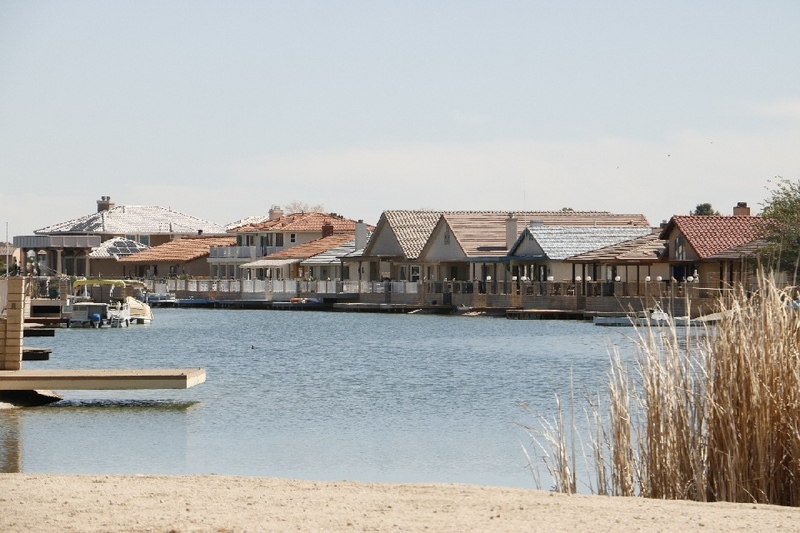 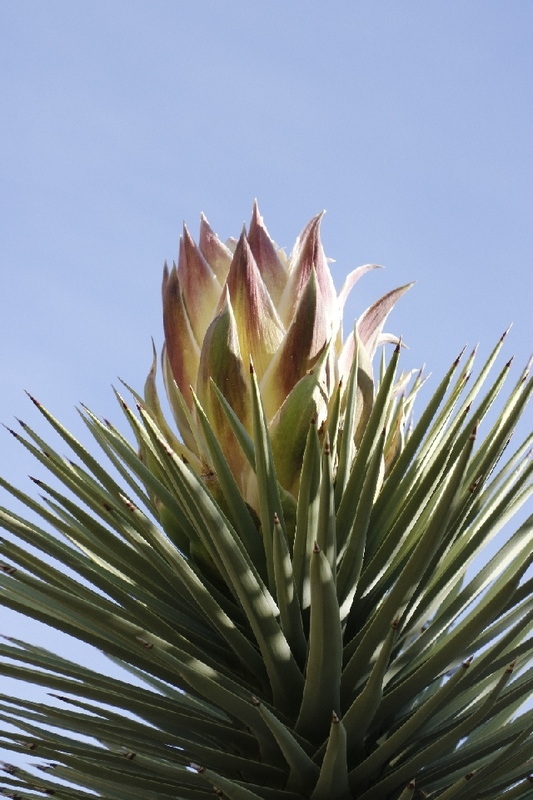 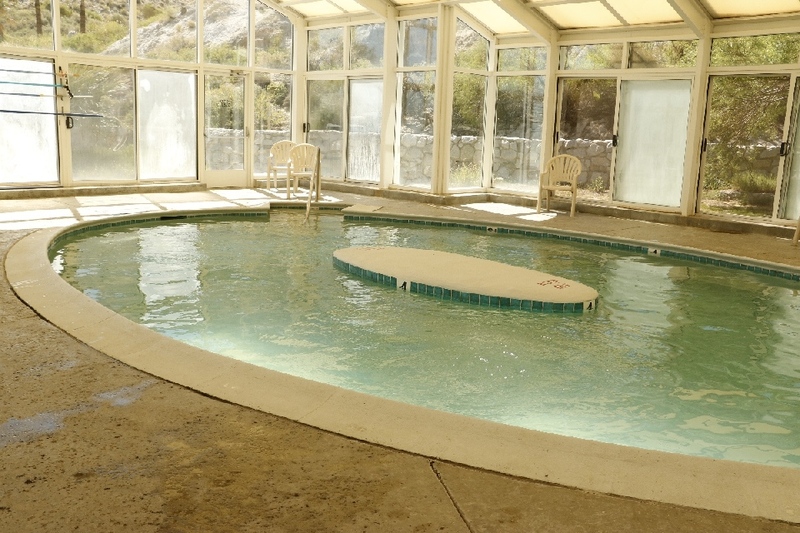 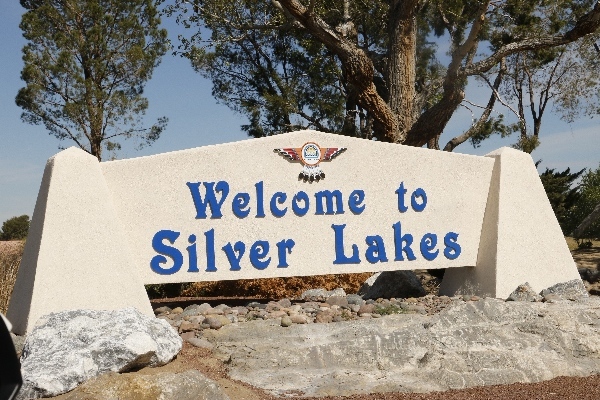 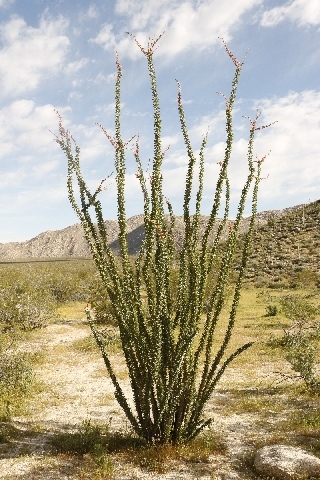 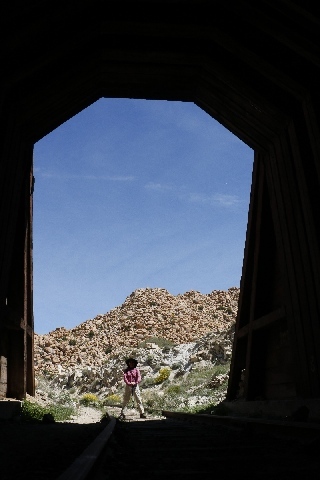 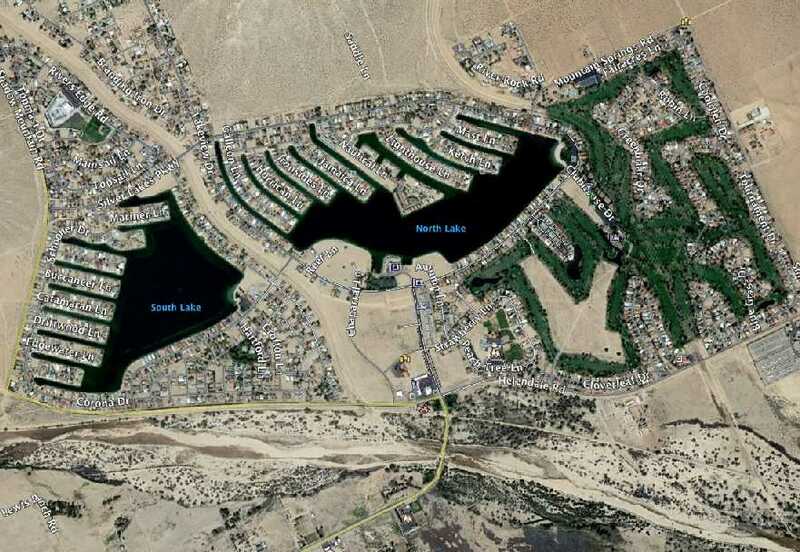 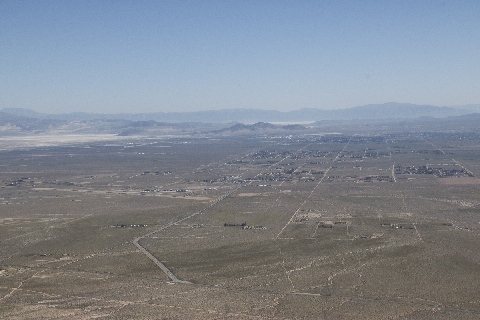 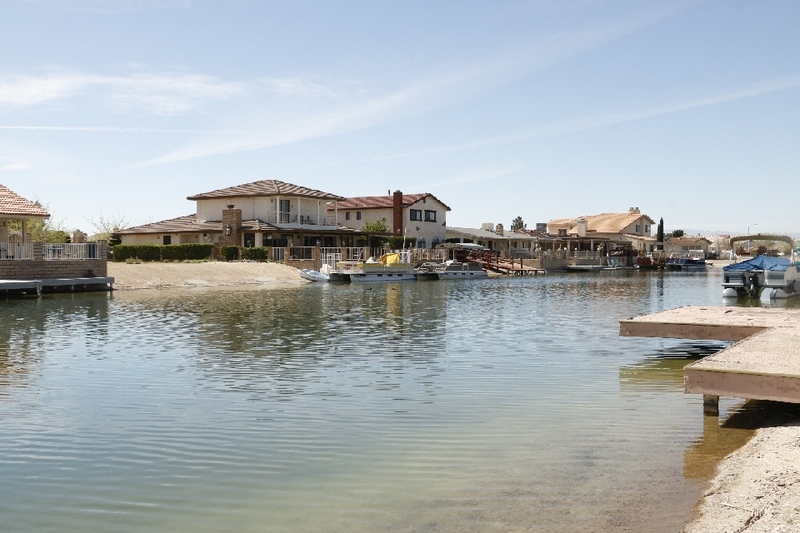 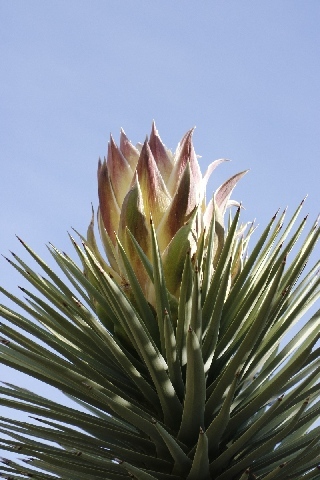 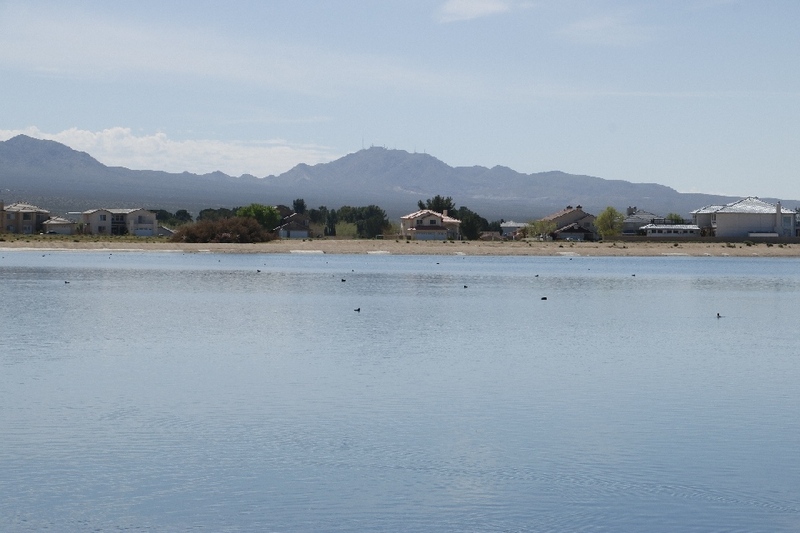 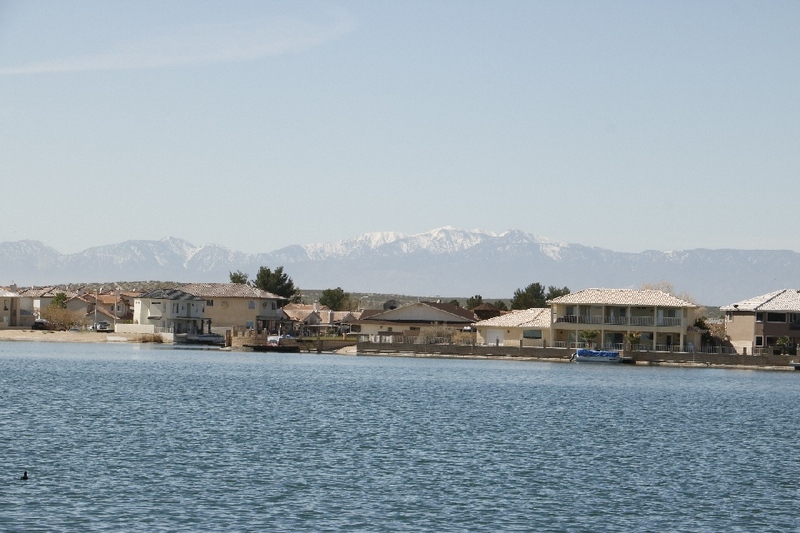 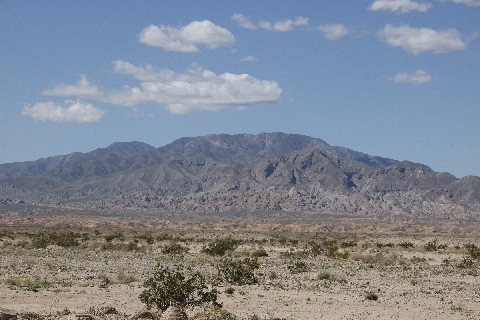 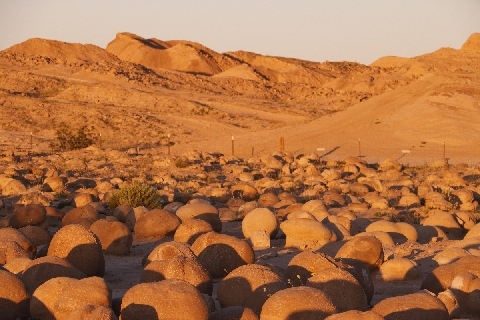 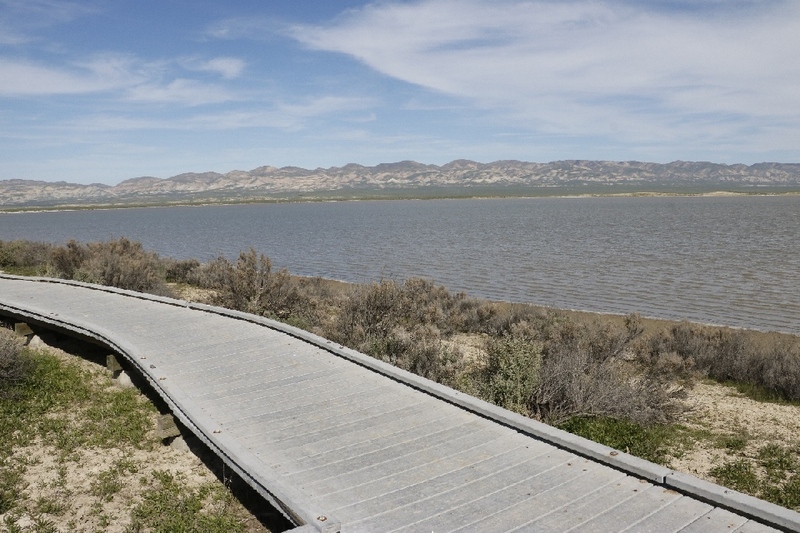 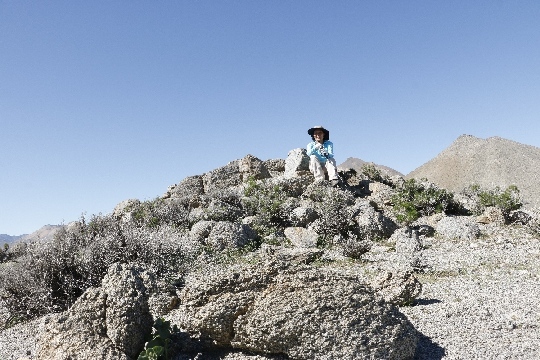 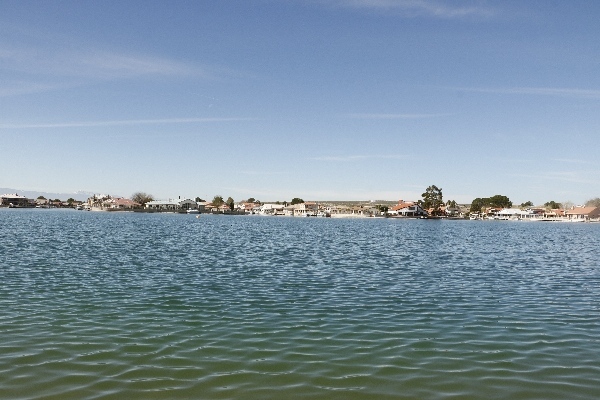 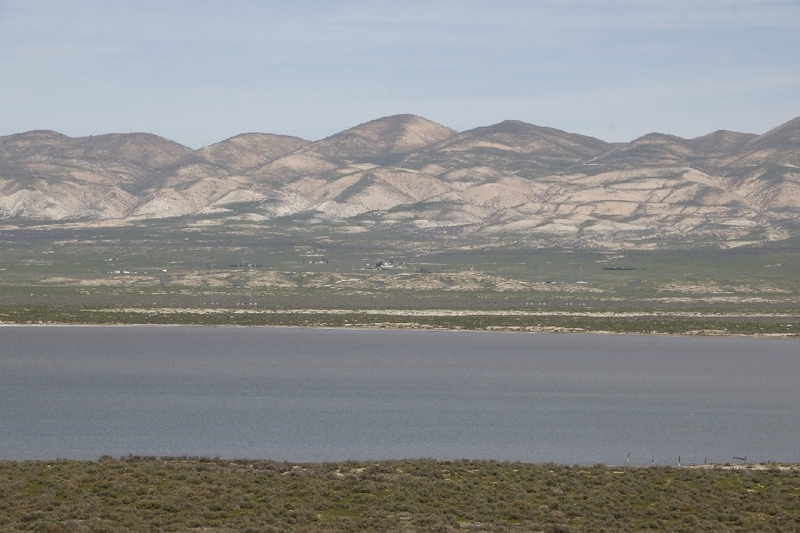 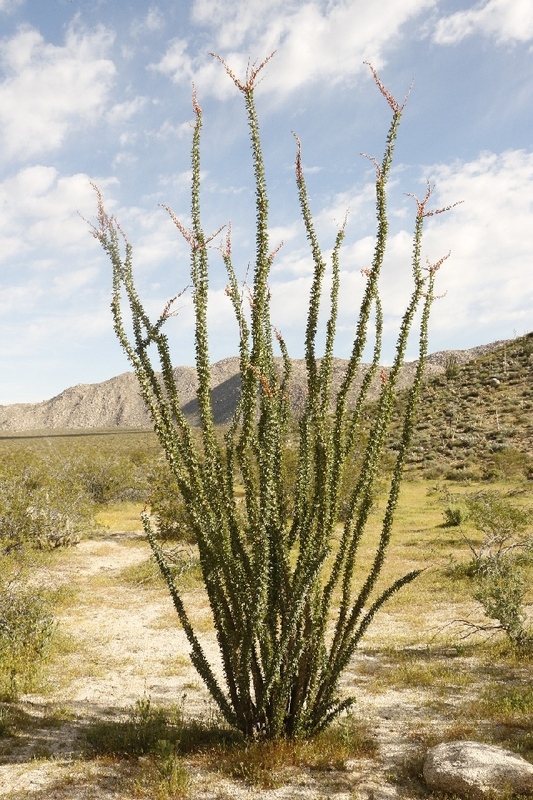 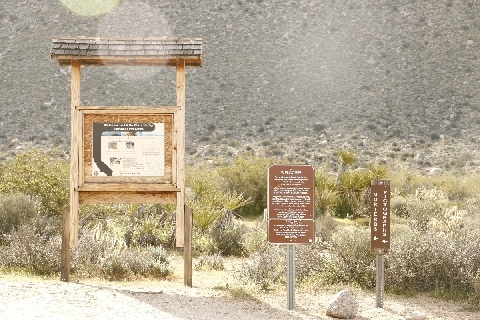 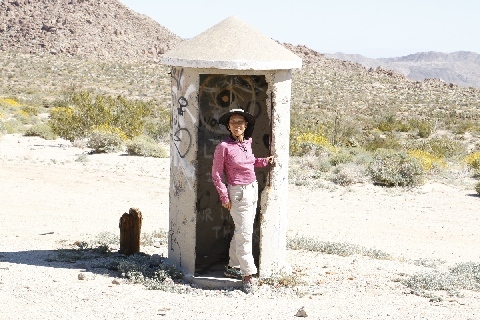 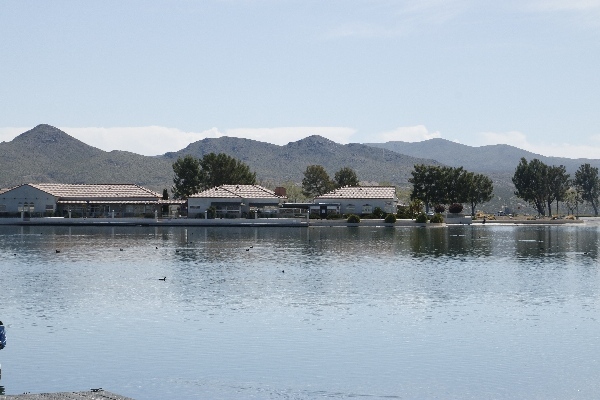 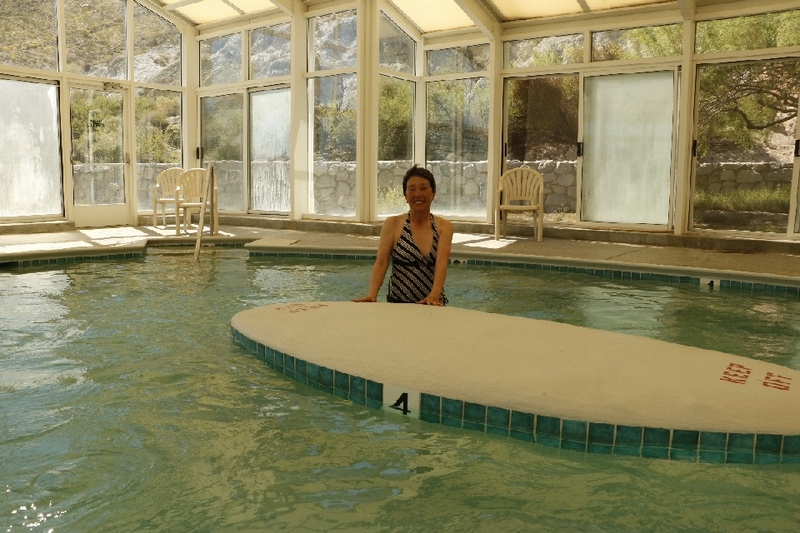 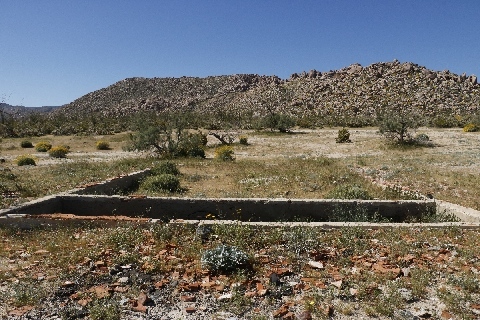 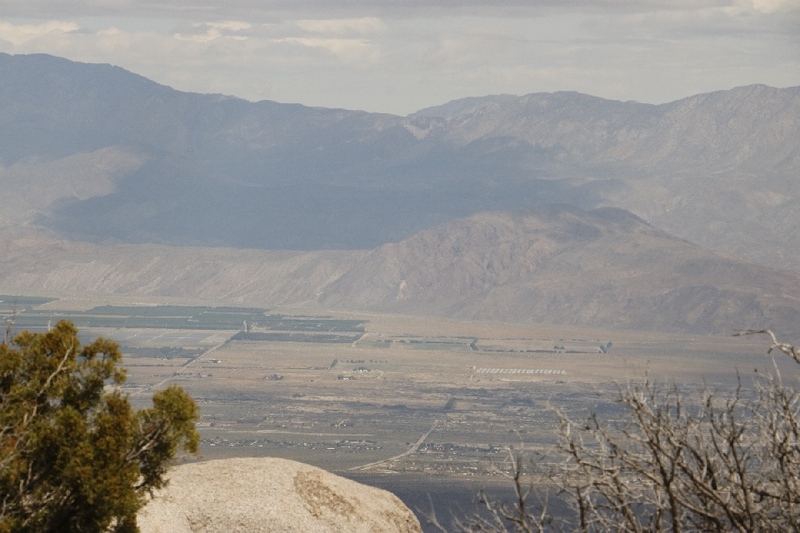 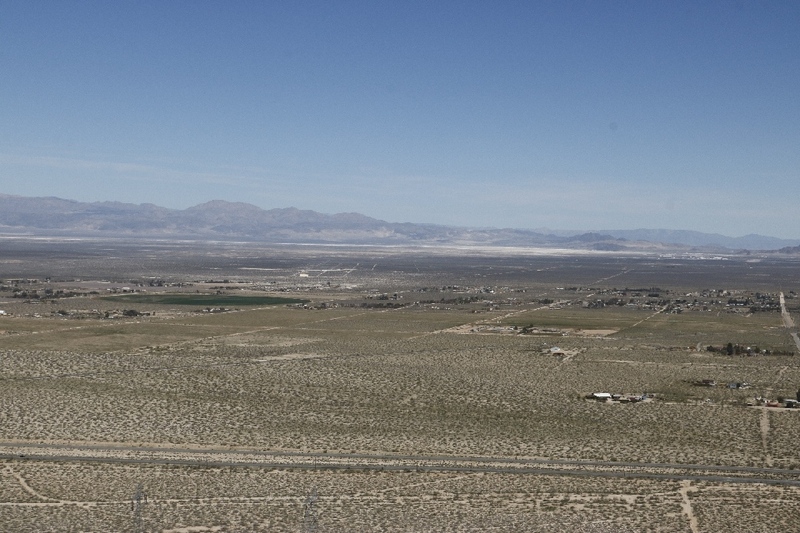 Silver Lakes are large man-made lakes in the middle of the desert, pump up water from the underground Mojave River. 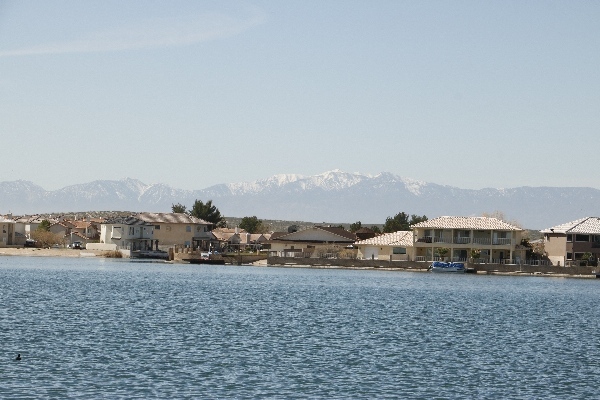 It is very nice resort community by lake front or golf course living. 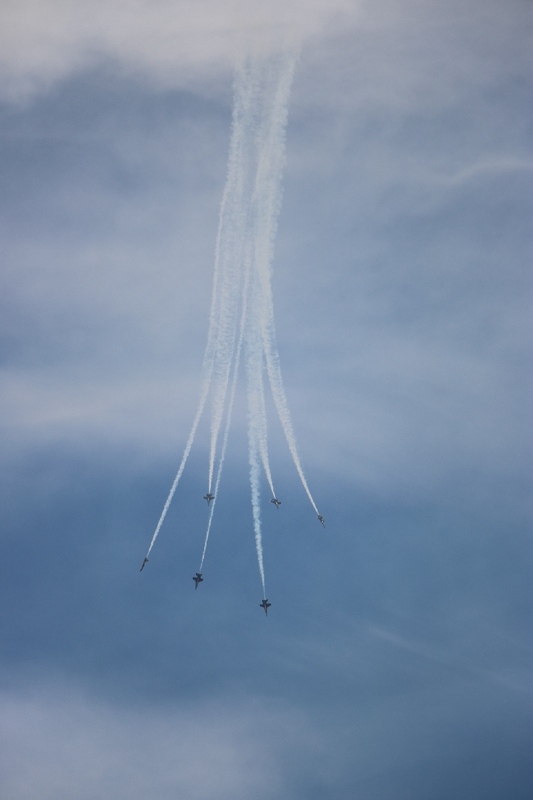 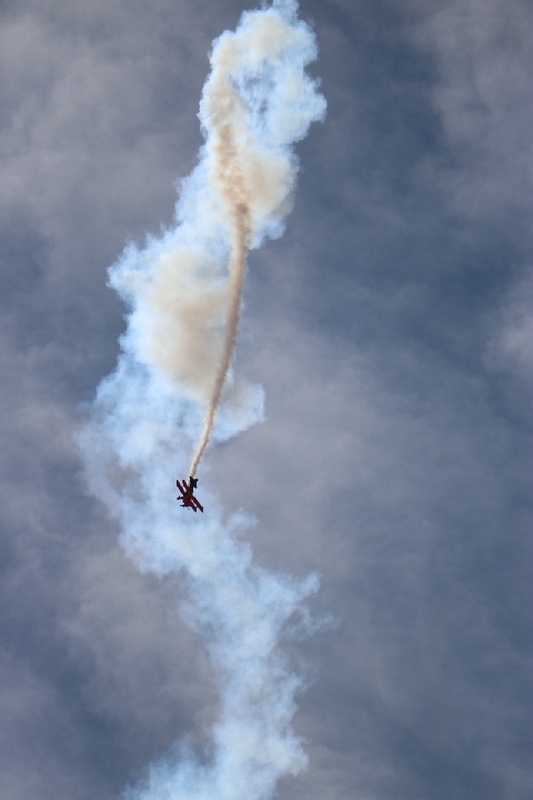 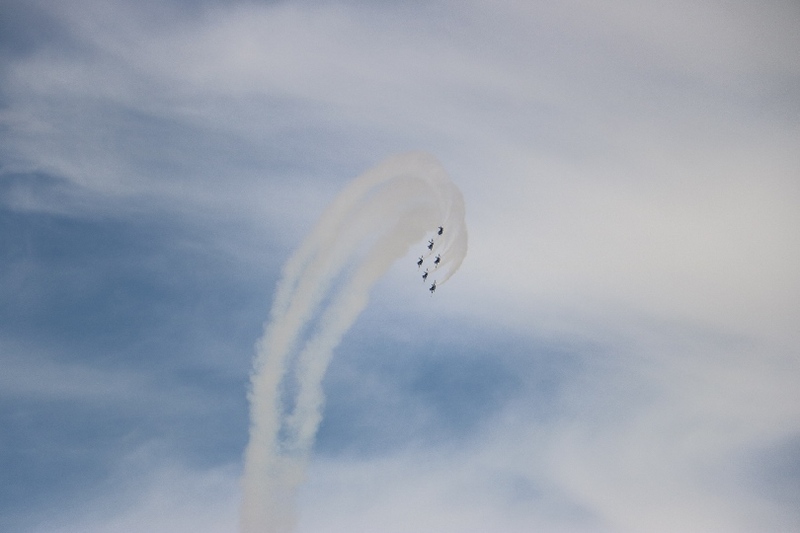 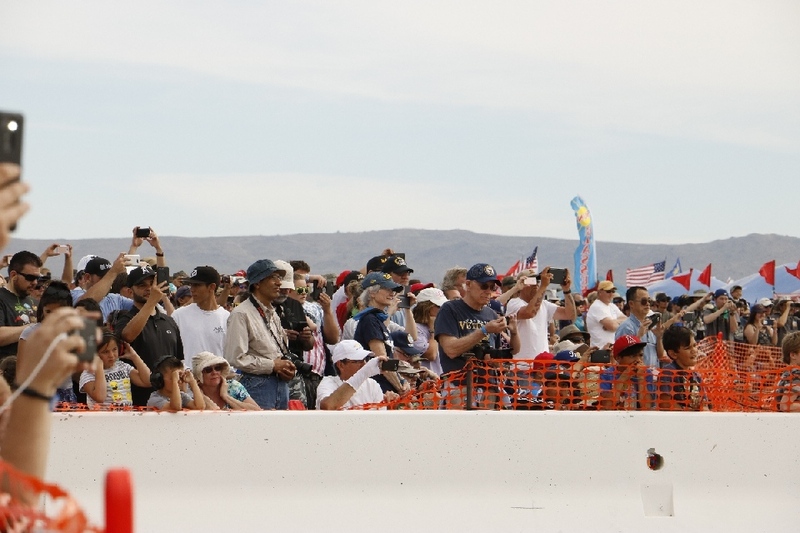 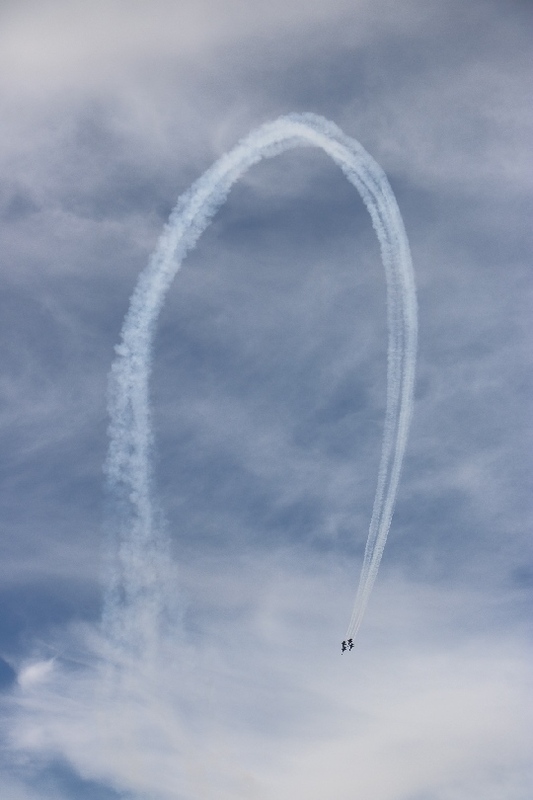 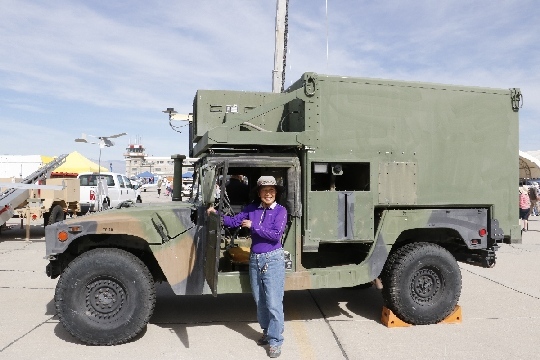 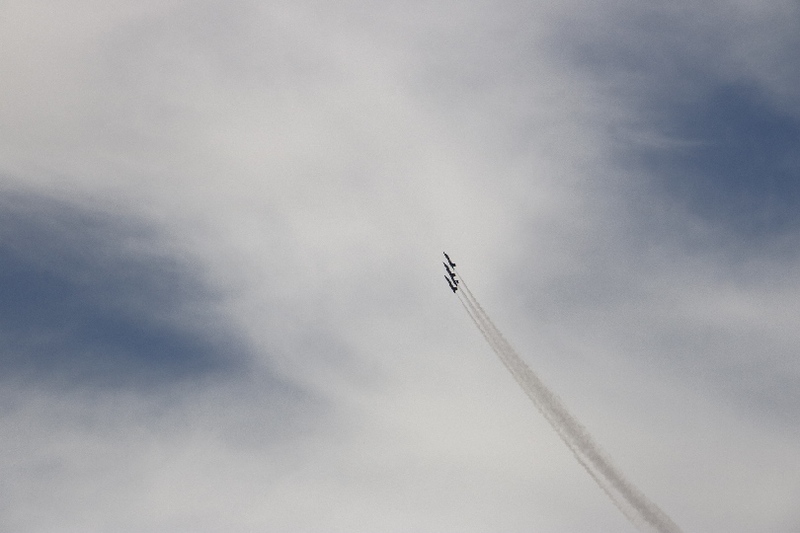 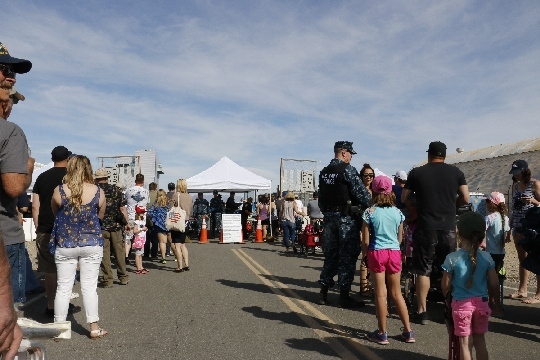 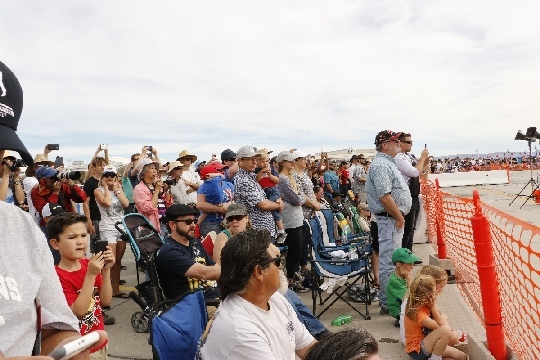 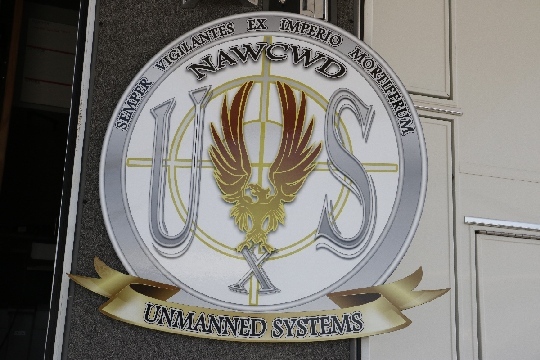 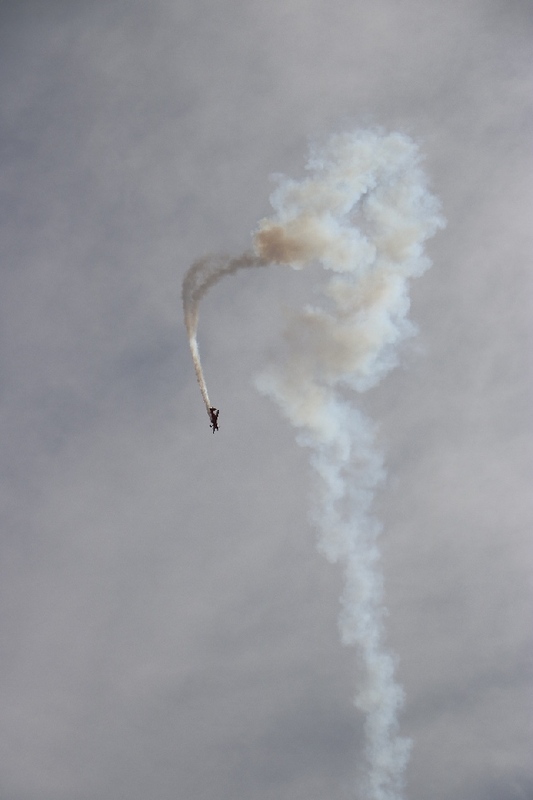 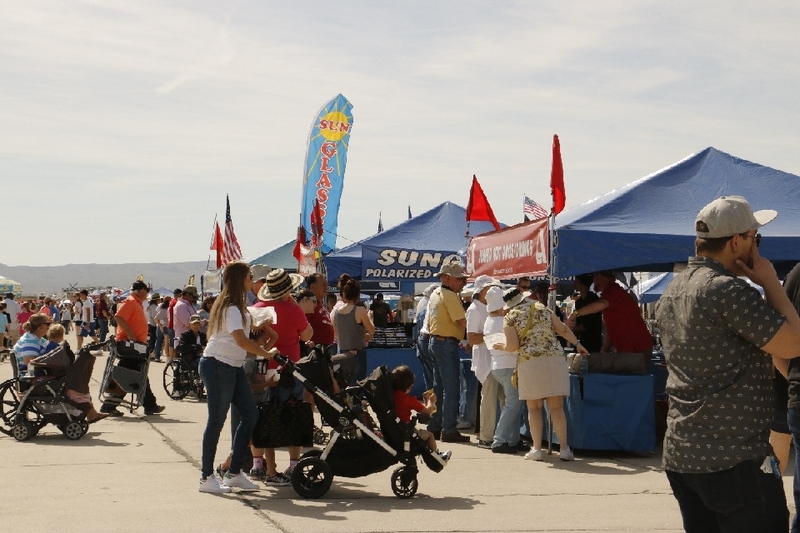 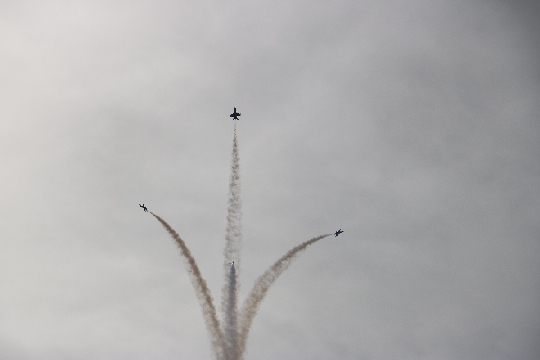 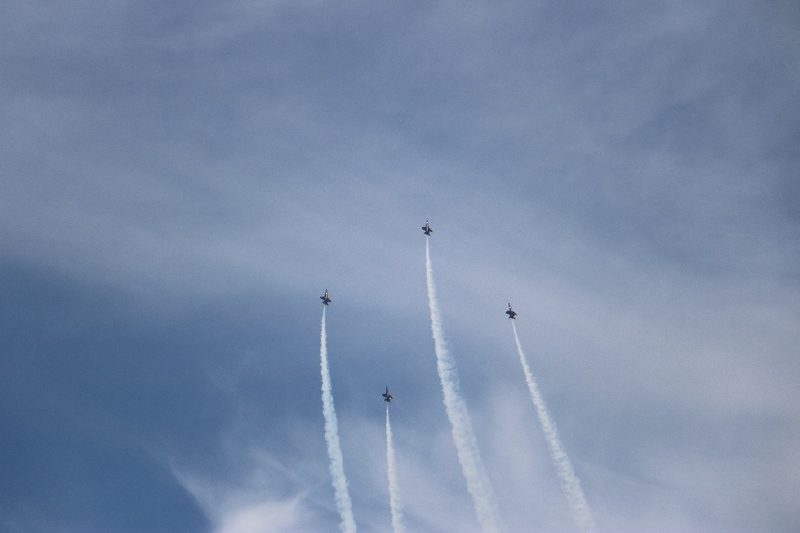 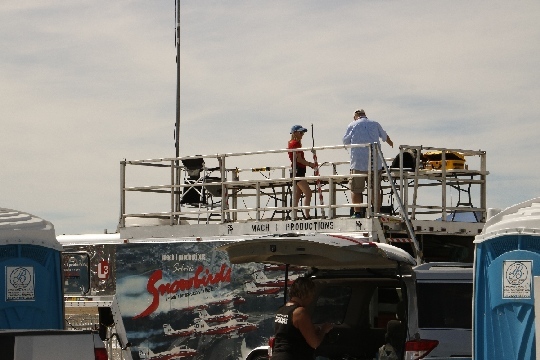 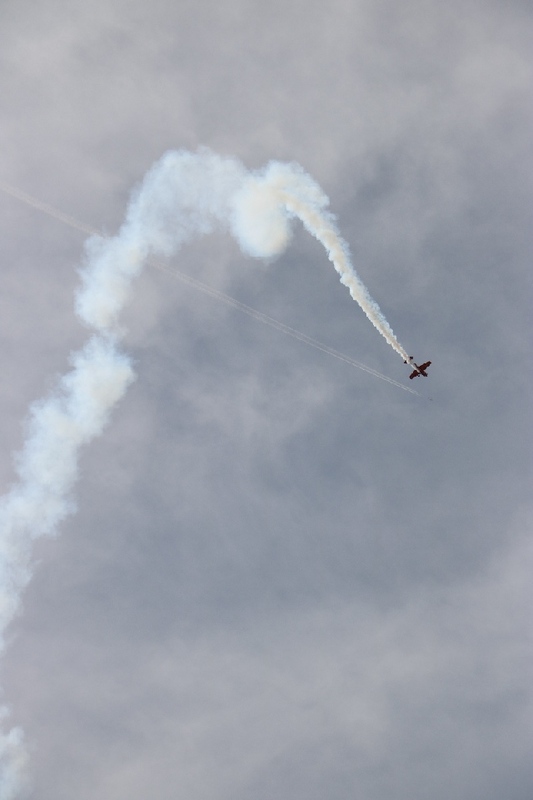 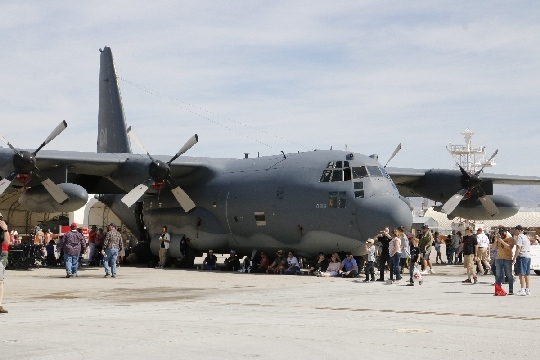 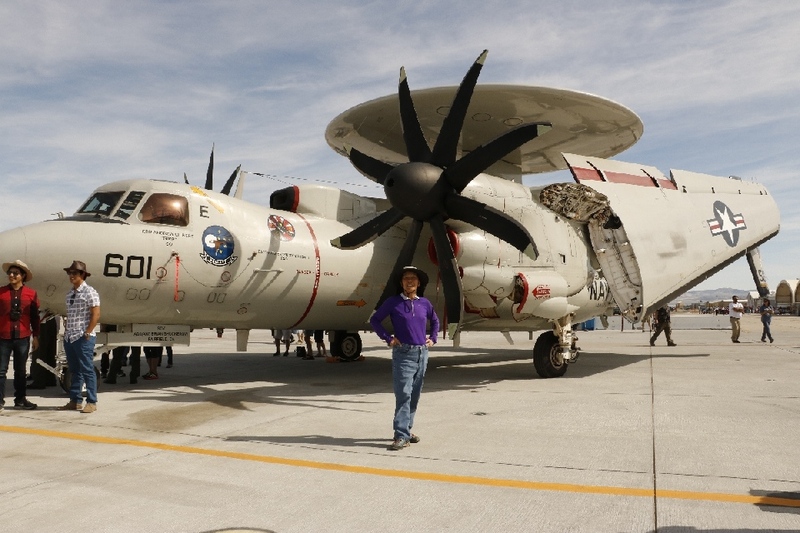 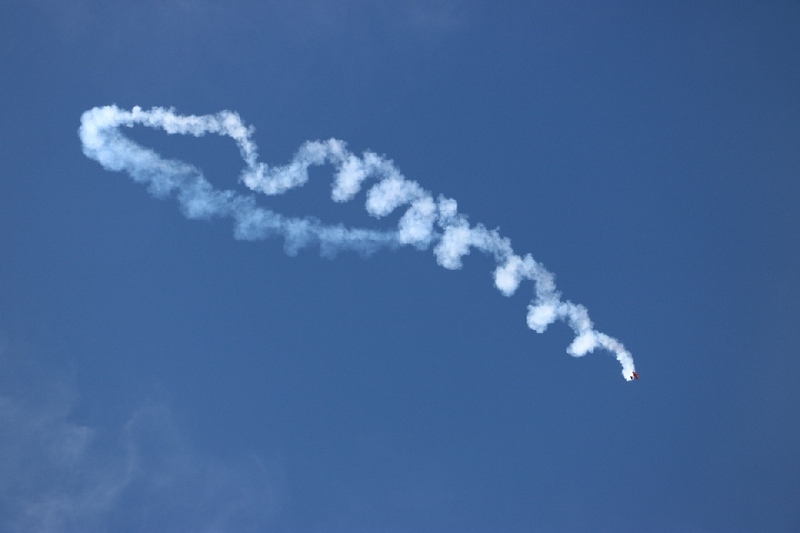 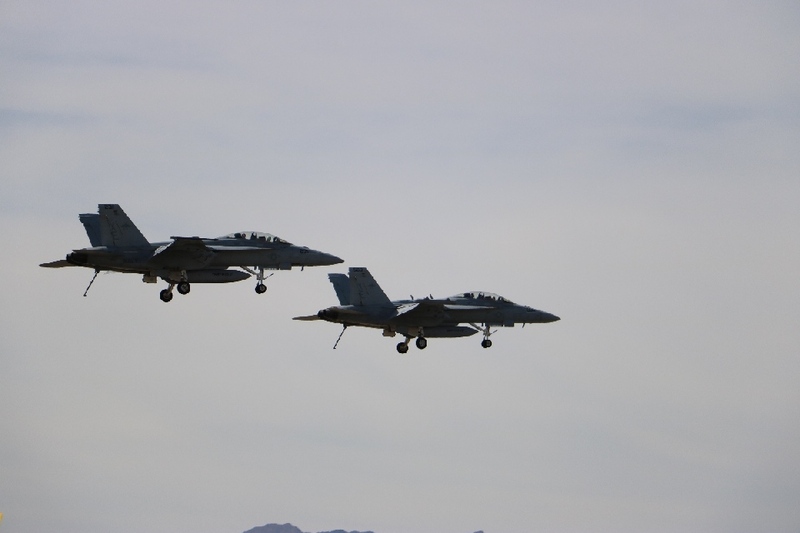 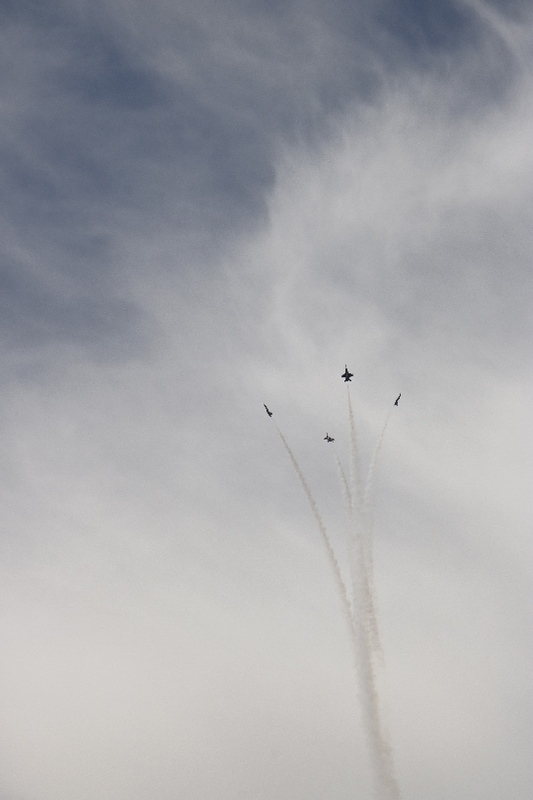 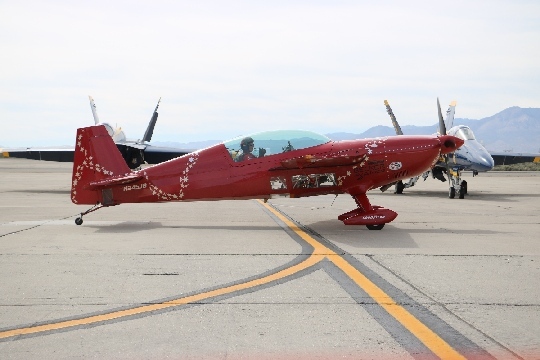 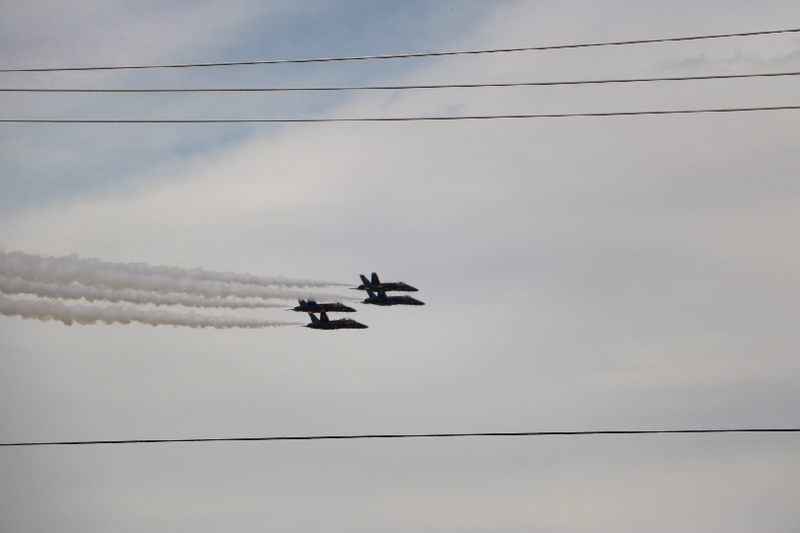 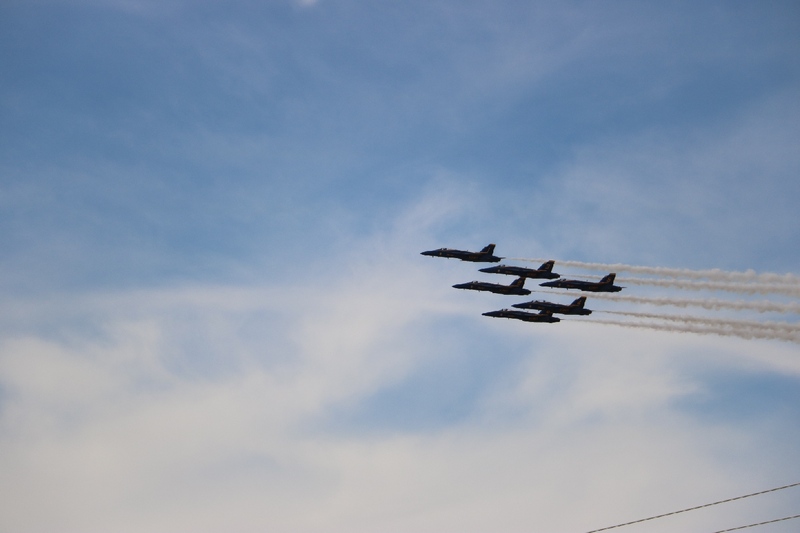 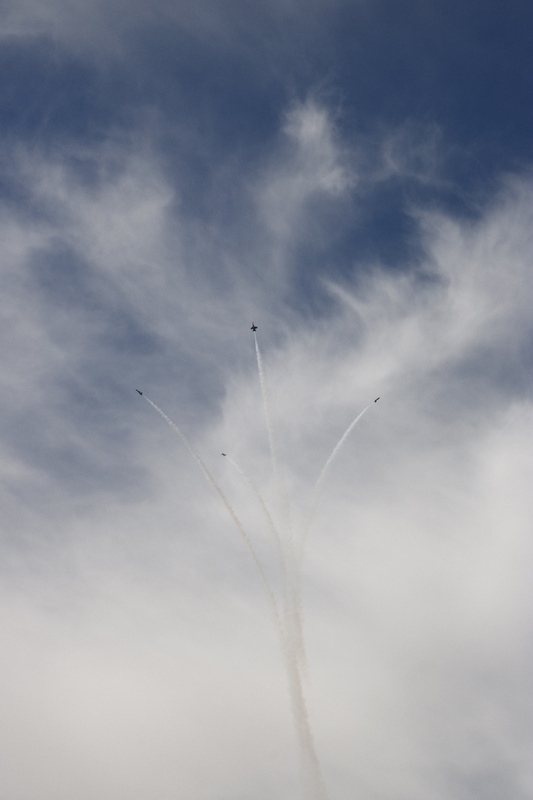 3/19/2017 Blue Angeles, Ridgecrest, CA - China Lake Air Show at the Naval Base attendance was over 50,000 people, a means too much to deal with the traffic, so that I watched from the outside base, where many people were lined up on the street. 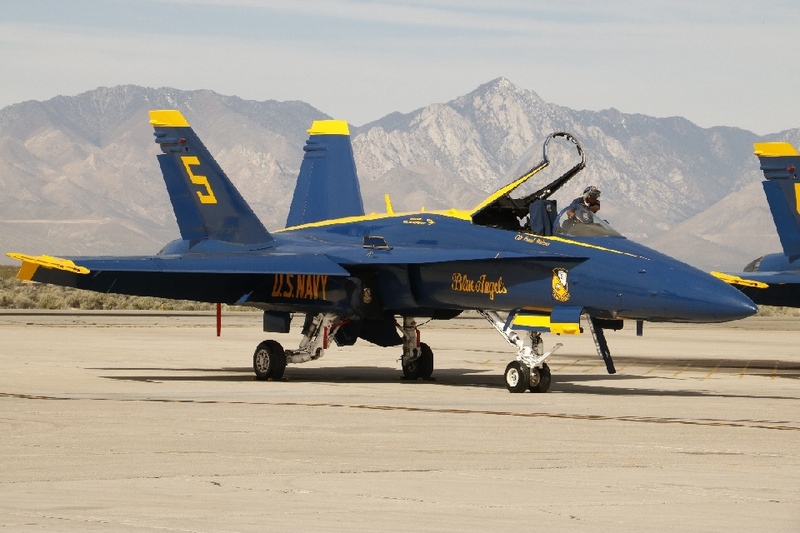 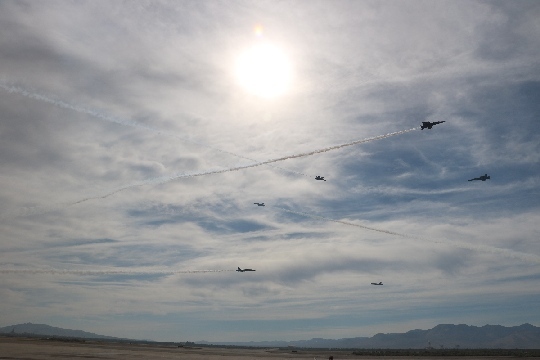 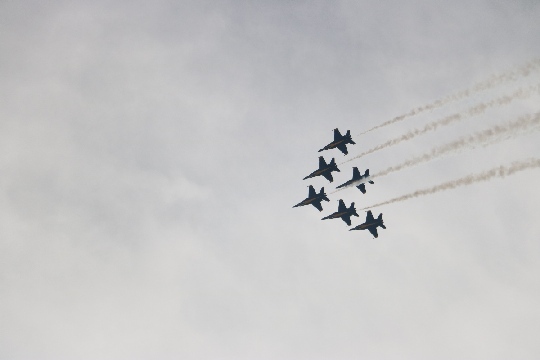 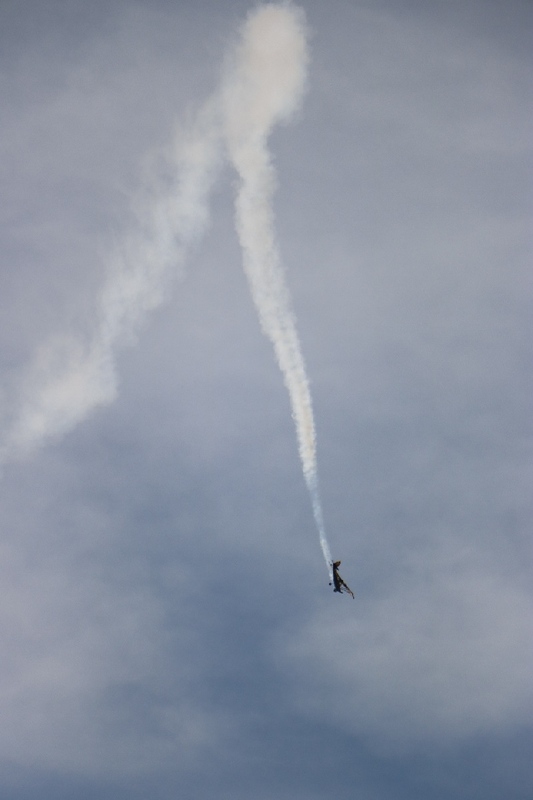 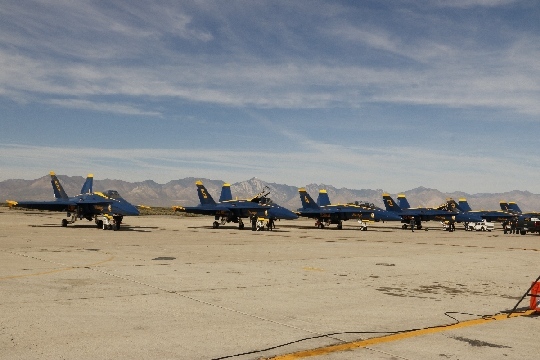 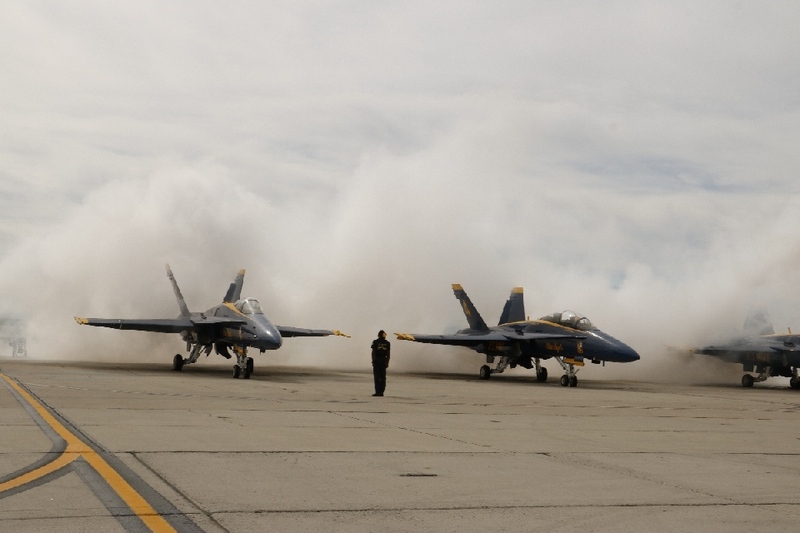 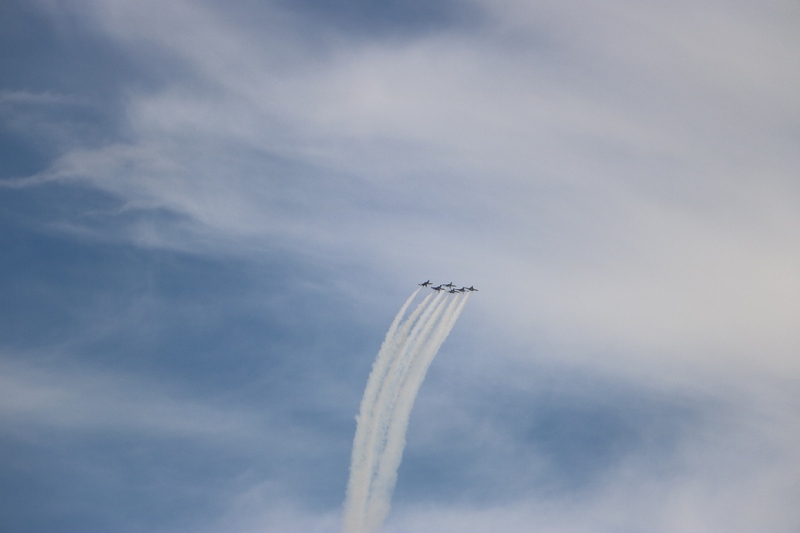 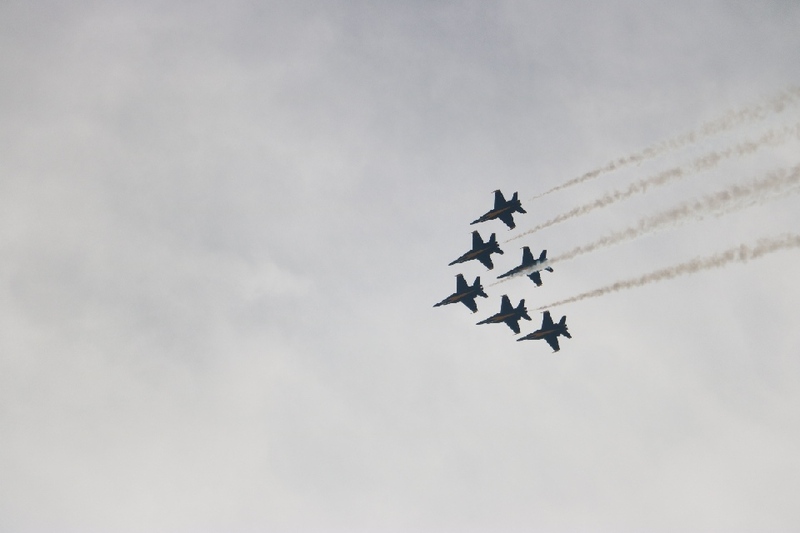 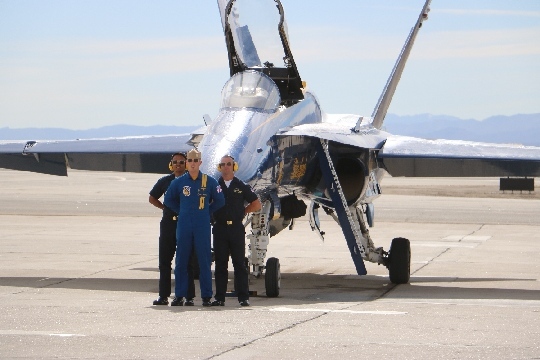 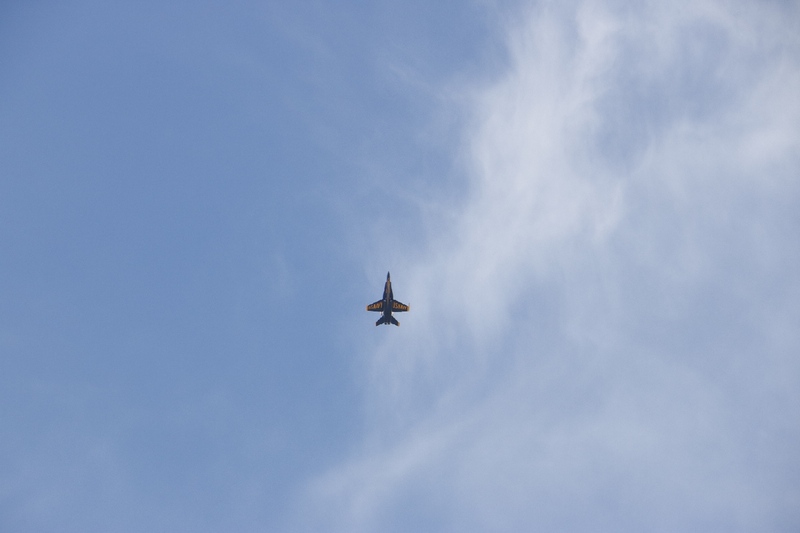 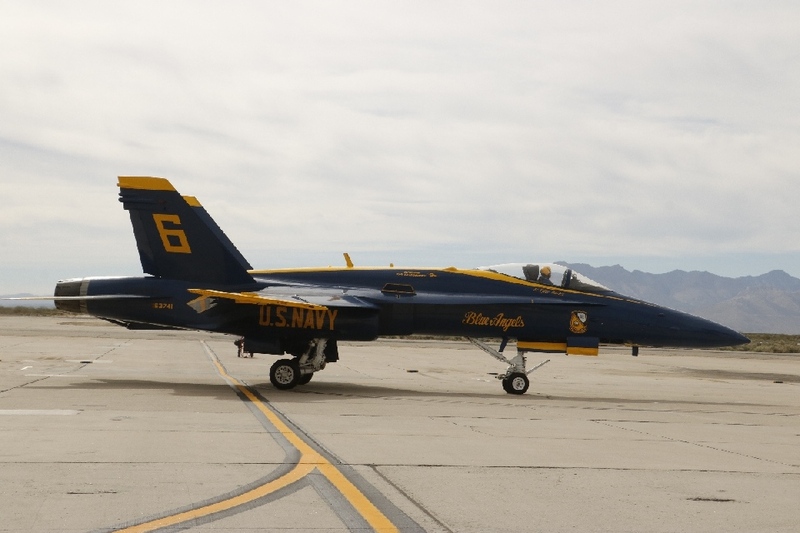 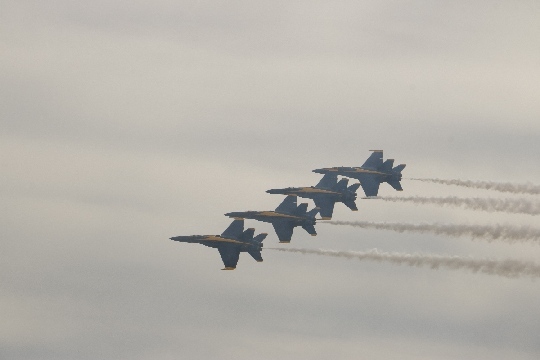 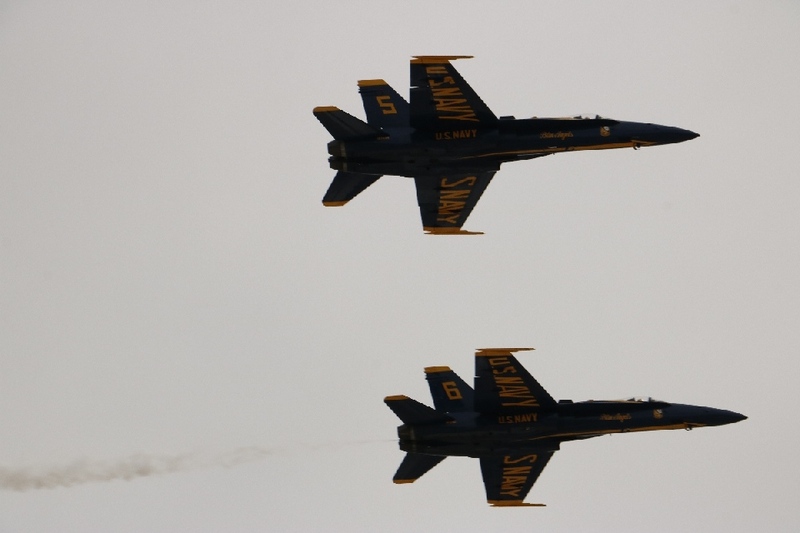 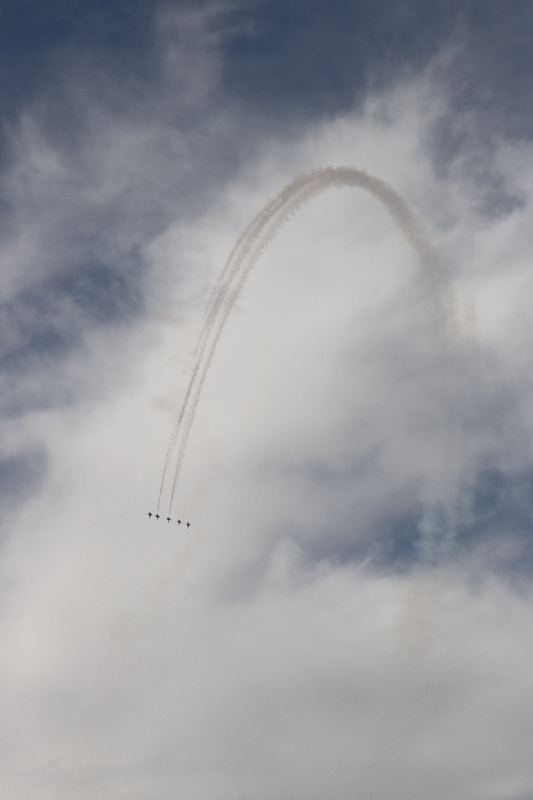 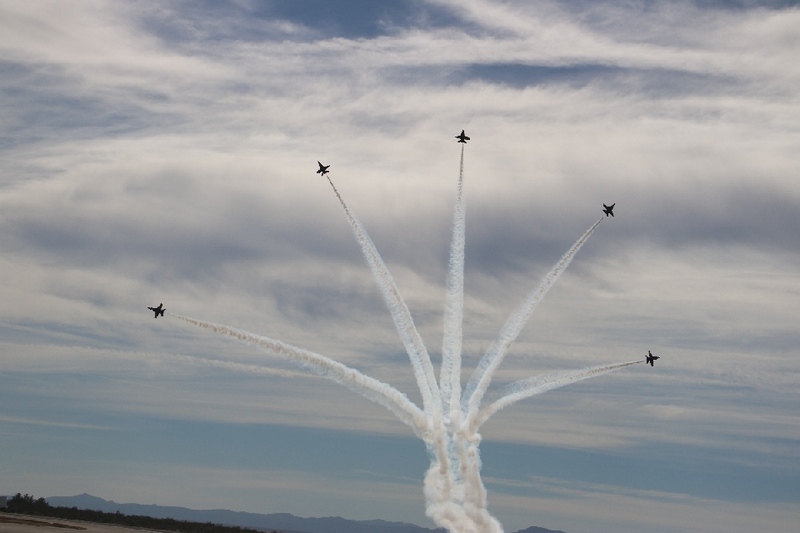 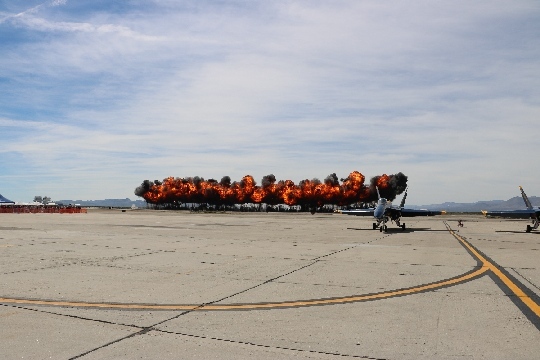 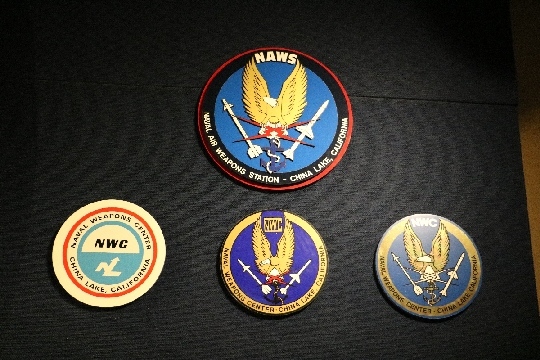 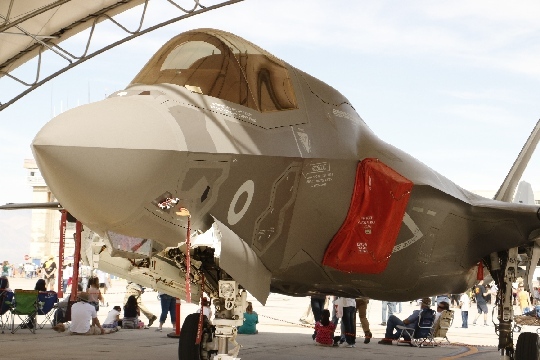 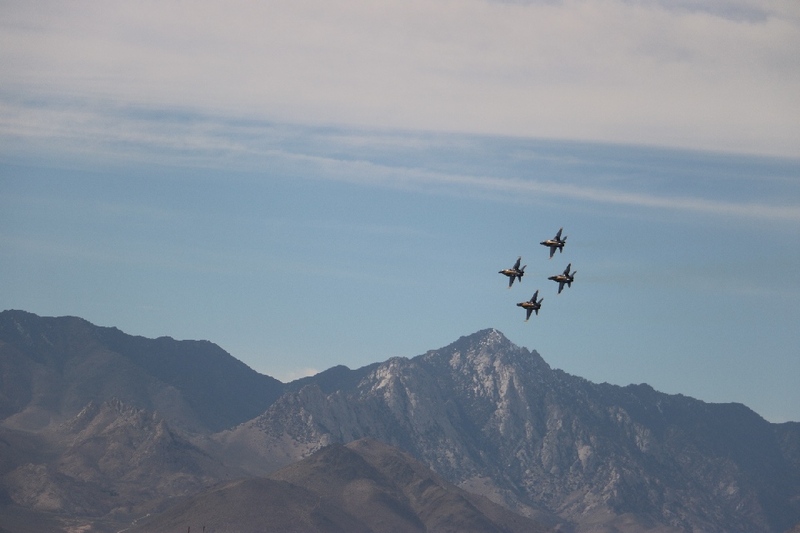 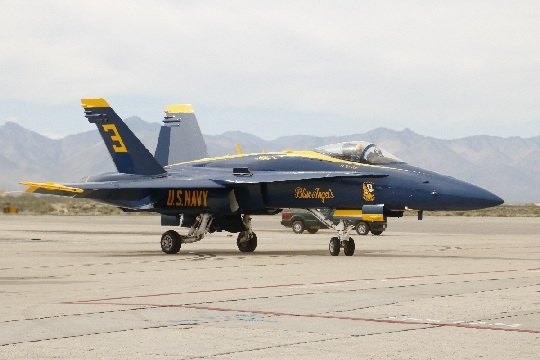 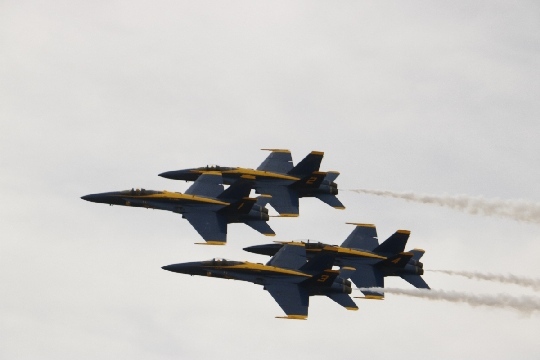 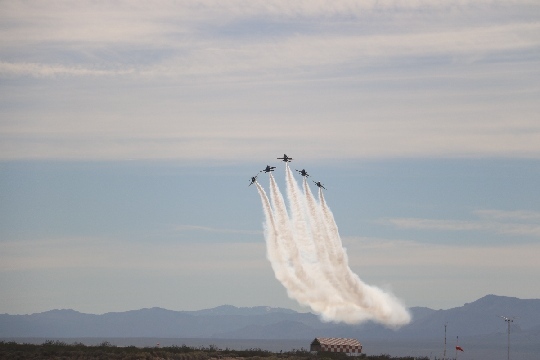 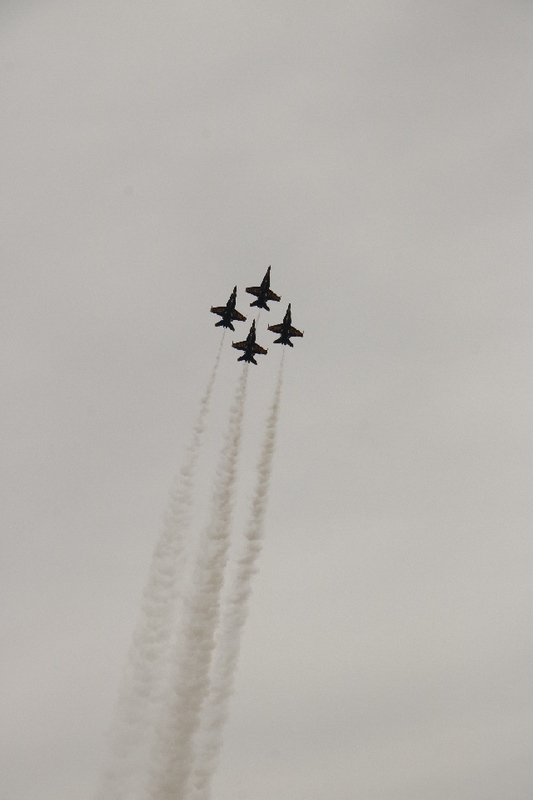 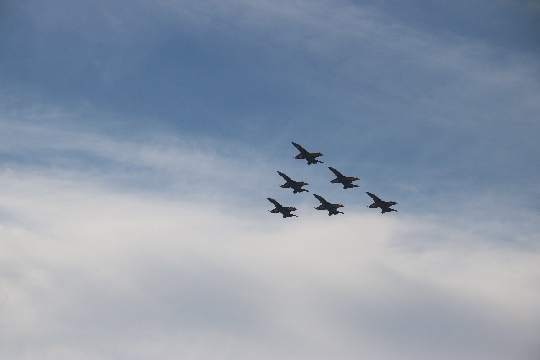 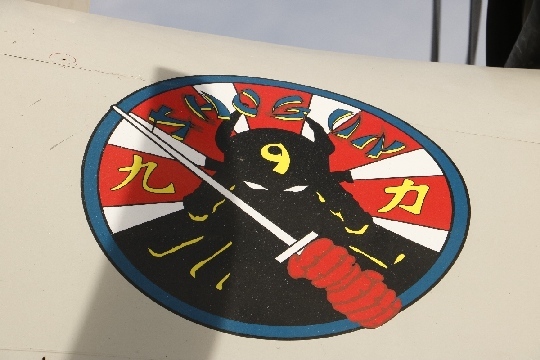 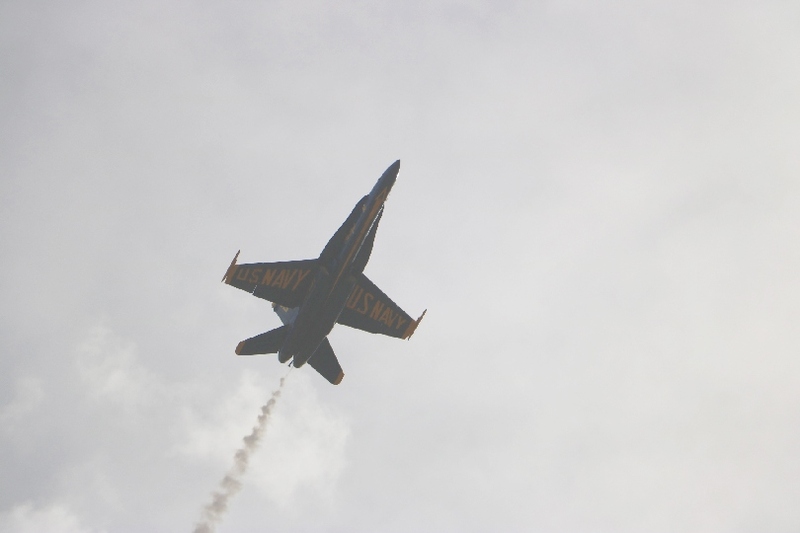 The US Navy Blue Angeles was performed at China Lake for the first time in 23 years. It was great performance. 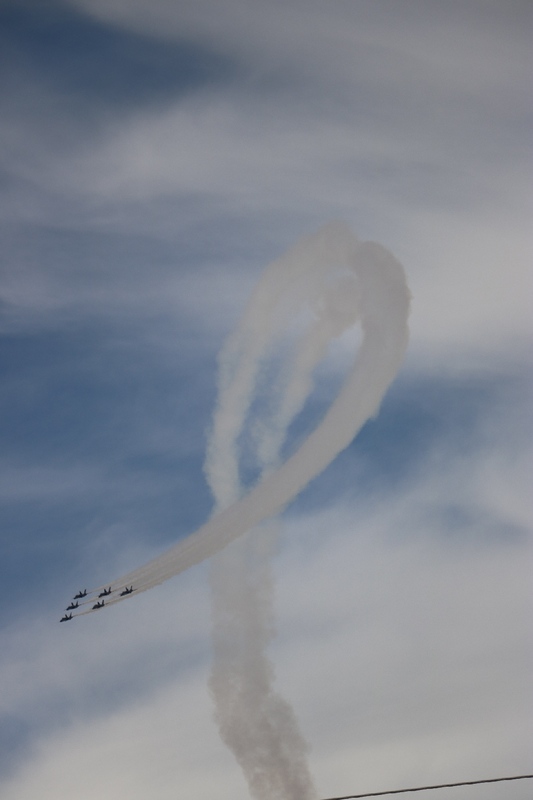 3/18/2017 China Lake Air Show, Naval Air Weapons Station China Lake, Ridgecrest, CA - Performance of the Blue Angels were so good, they fly between 100mph to 1,000mph speed, incredible precision forming fly show. 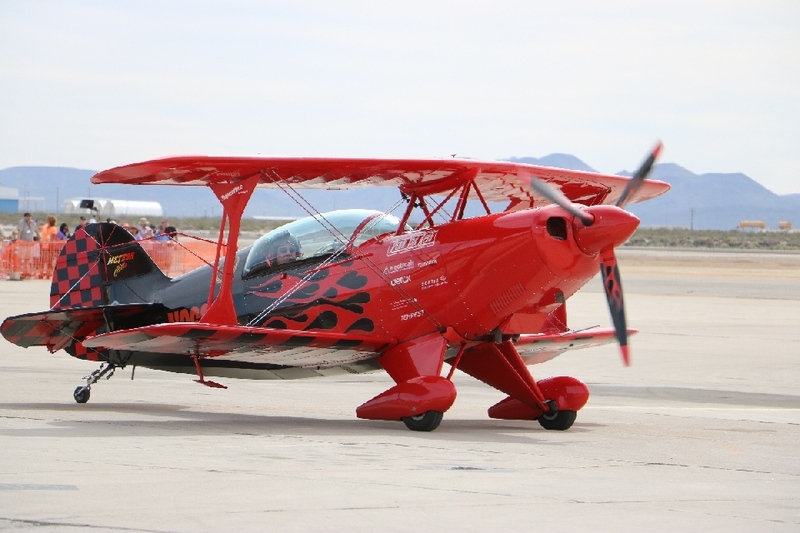 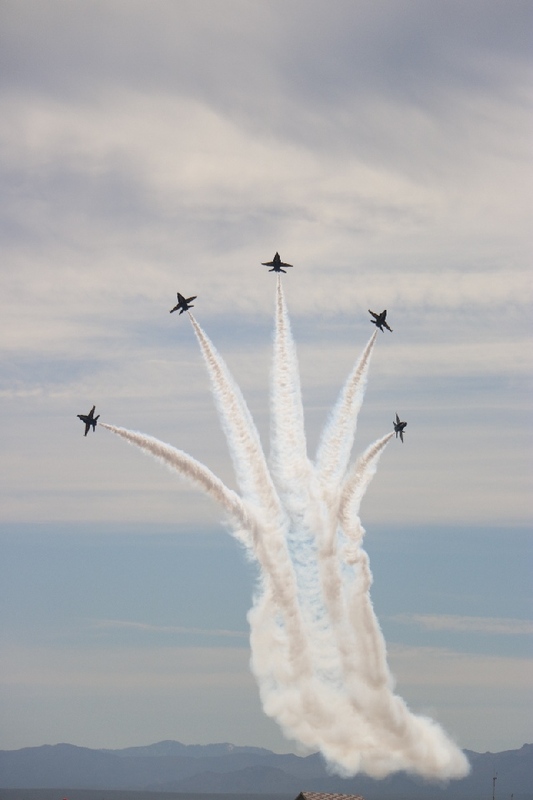 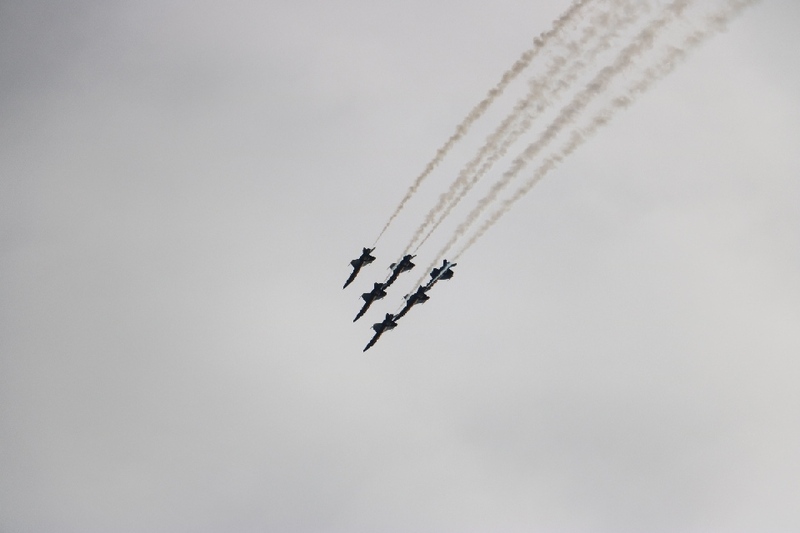 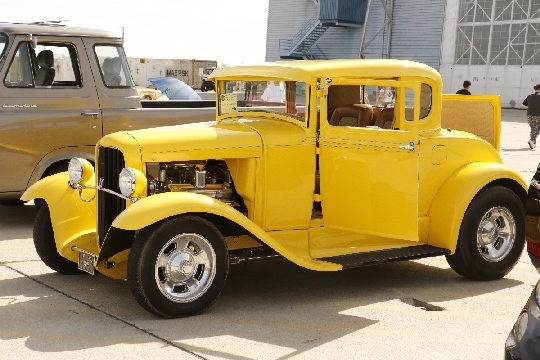 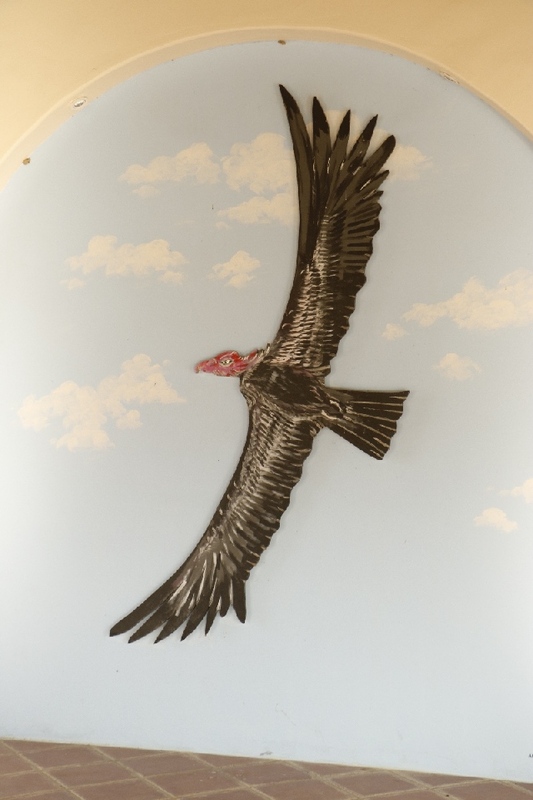 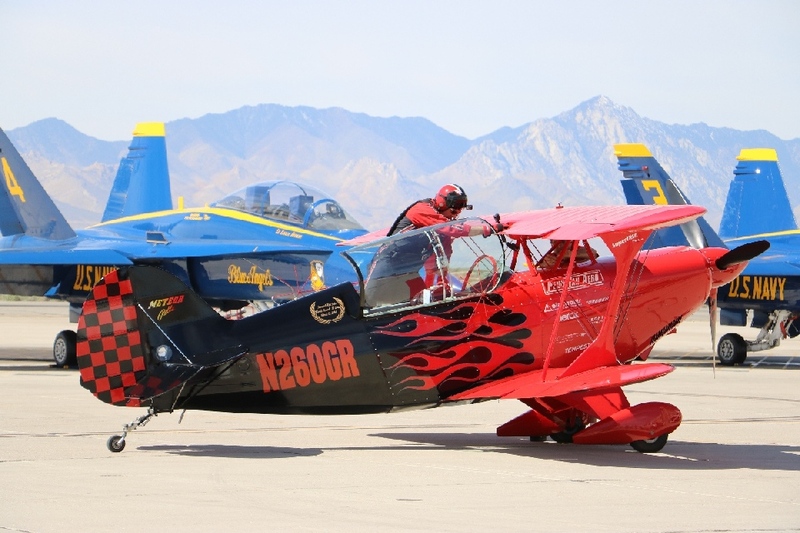 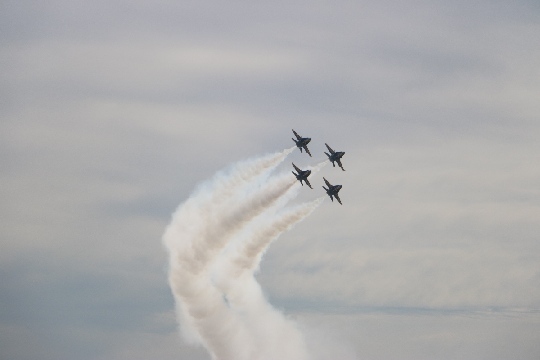 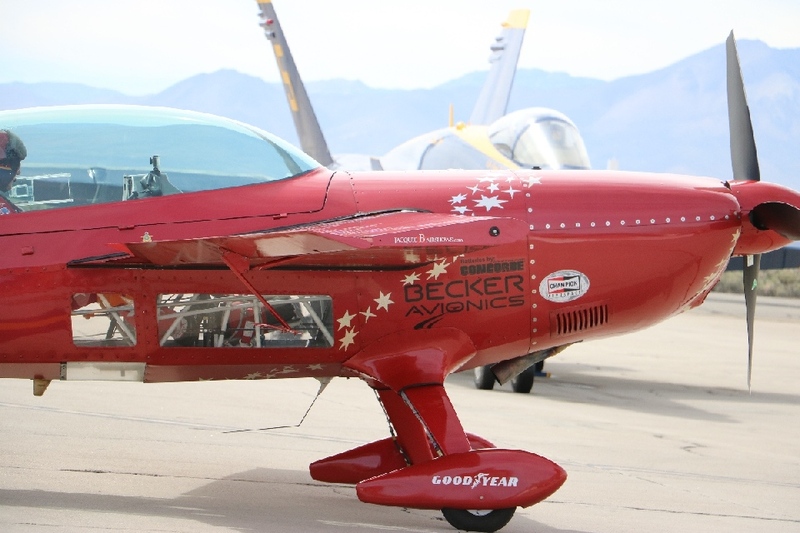 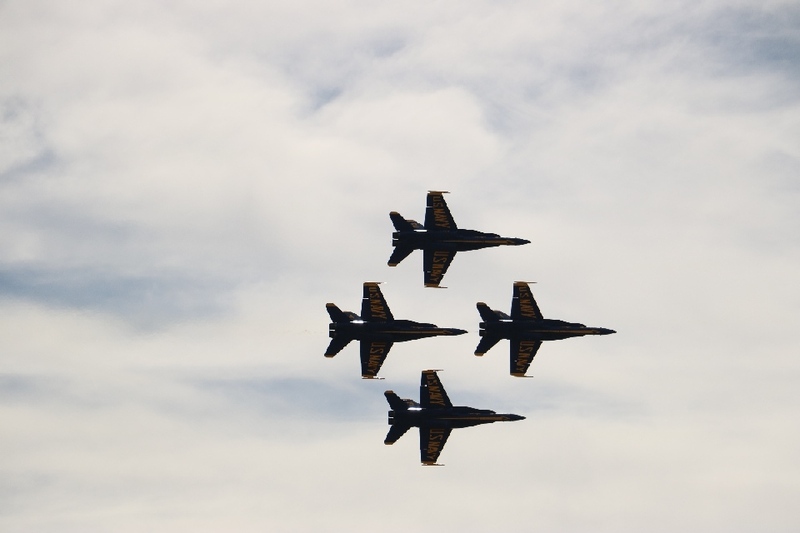 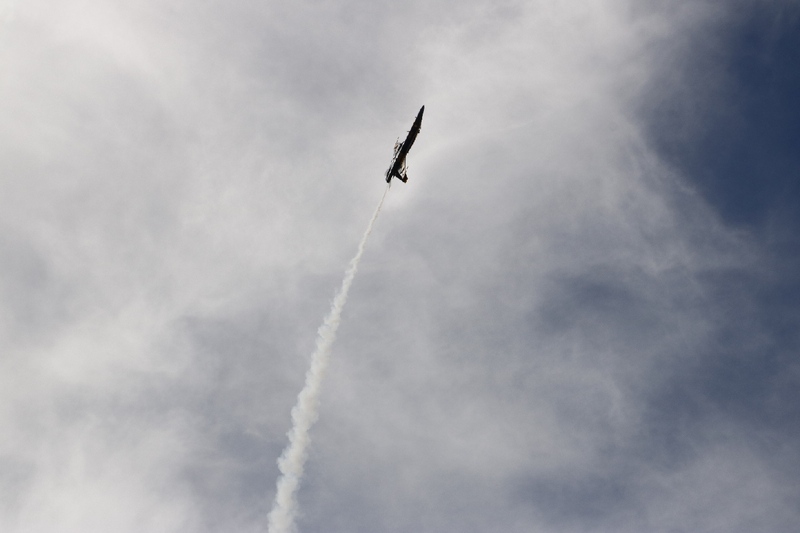 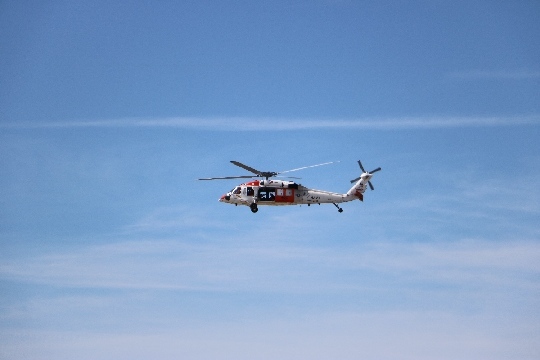 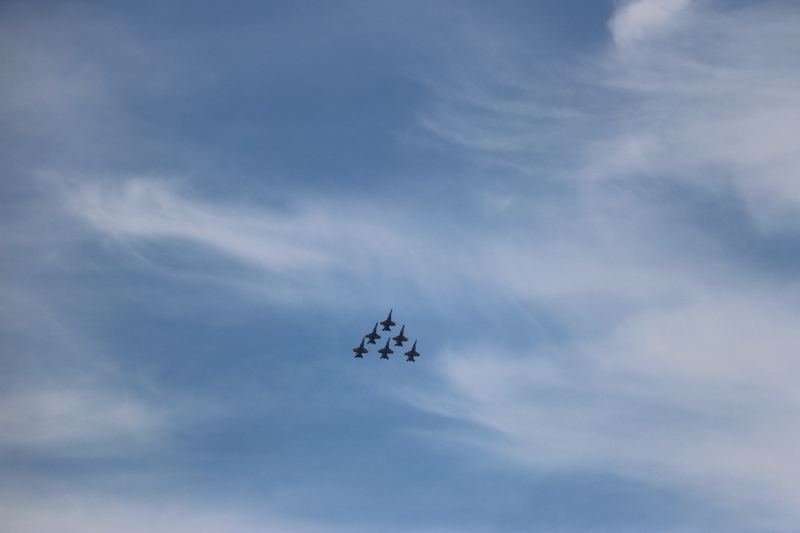 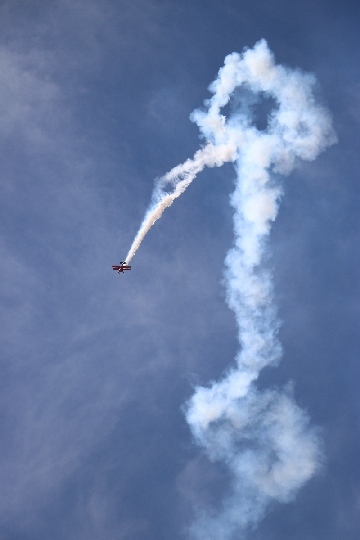 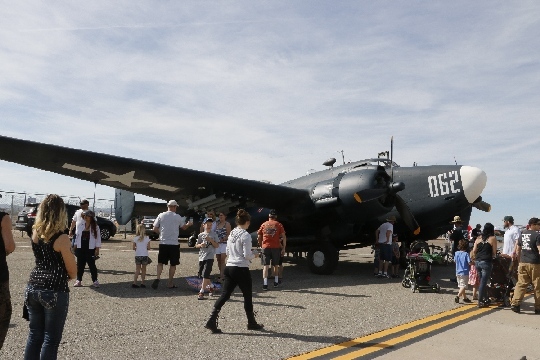 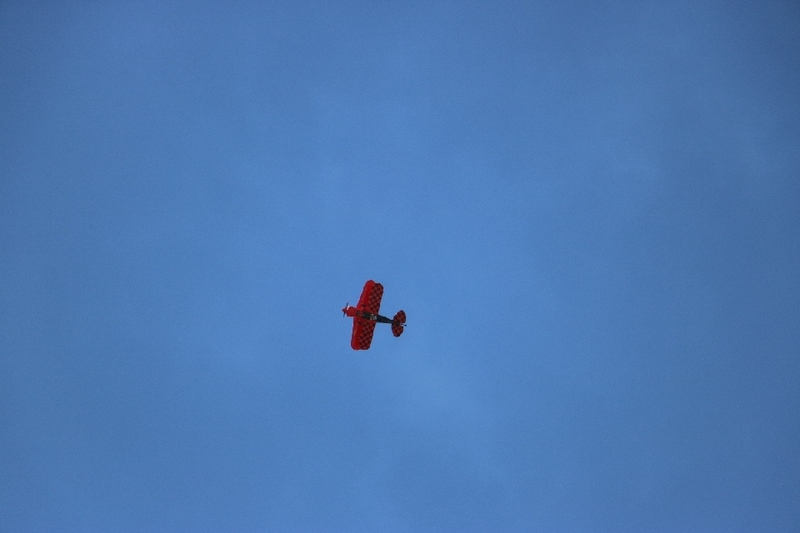 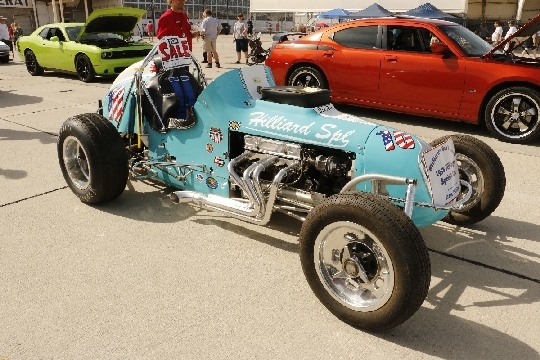 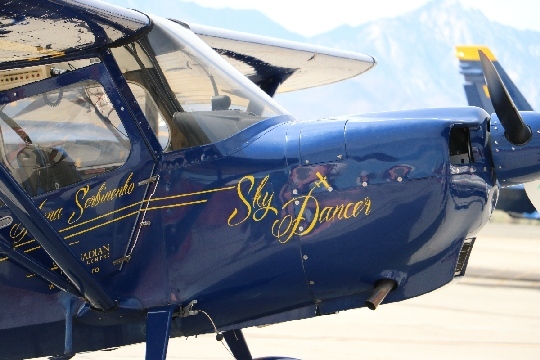 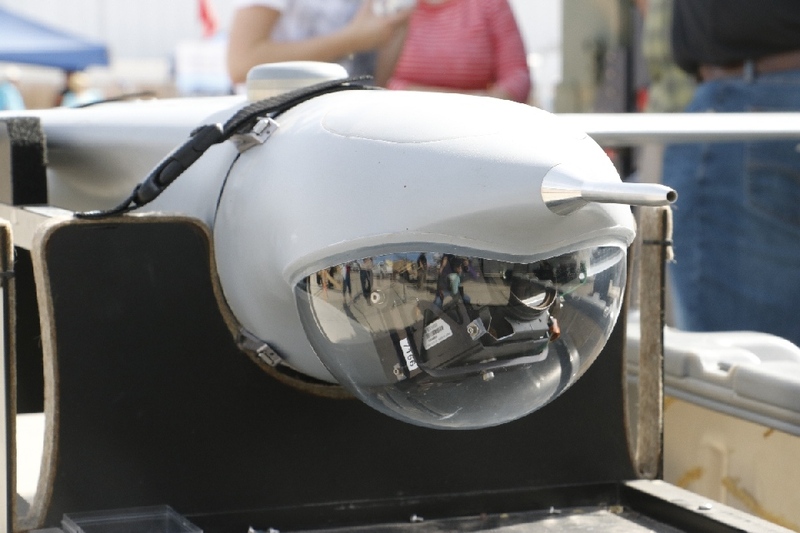 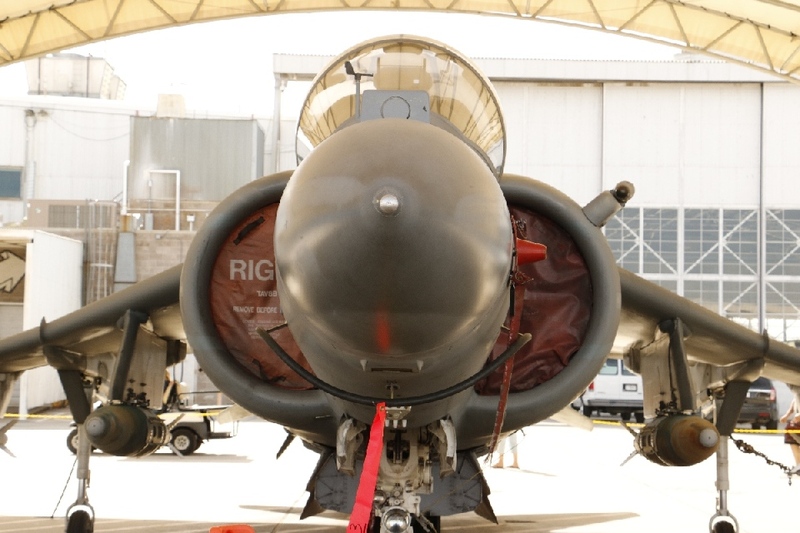 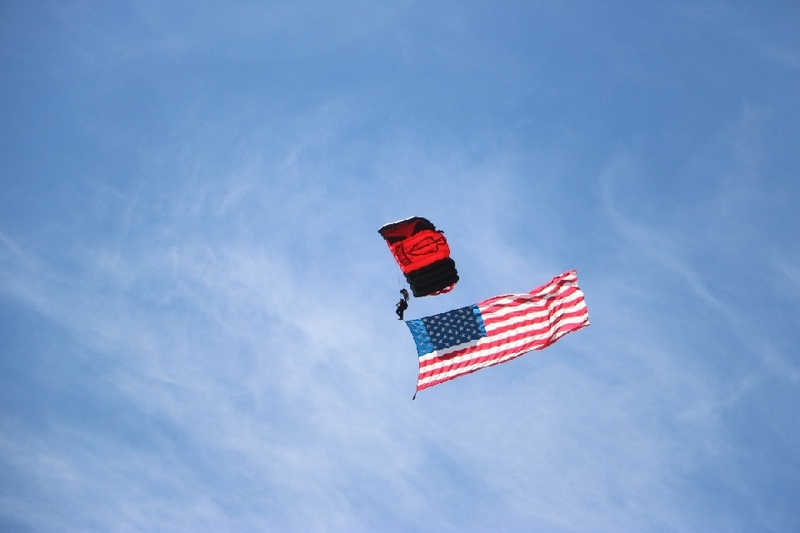 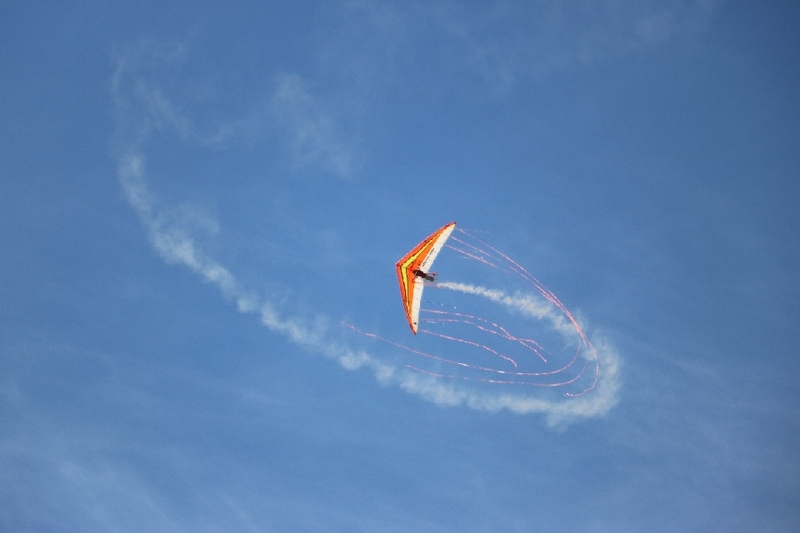 There are so many things to do in this place, classic car display, many airplanes, construction trucks, kid corner, food vendors, and of course breath taking air show by experts. 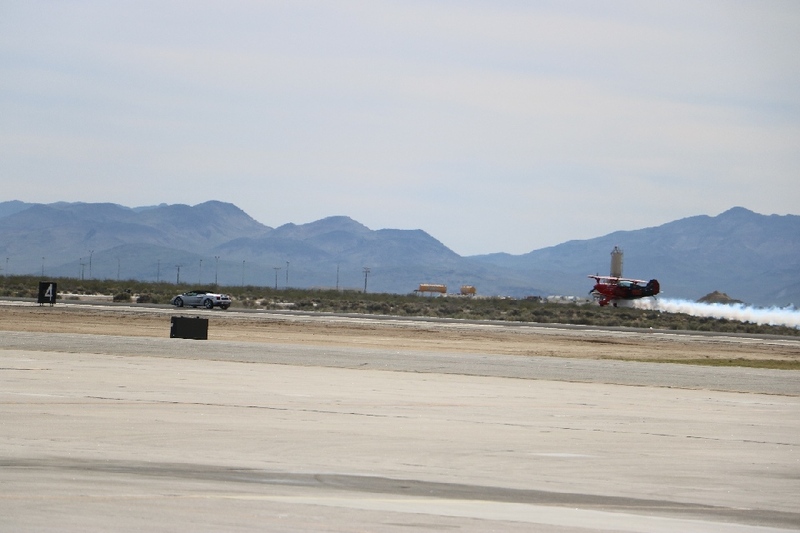 Funny thing was the races for one runway length that top of the line car, Ferrari and Lamborghini, against an airplane, can you guess who won? 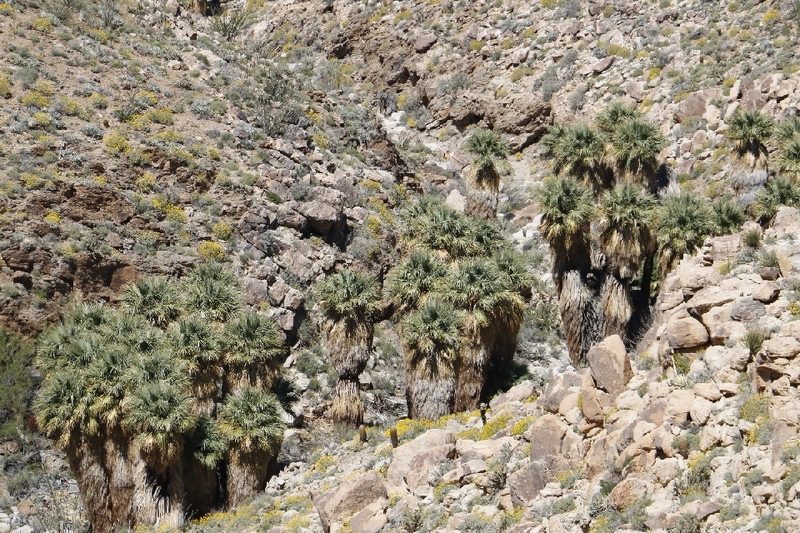 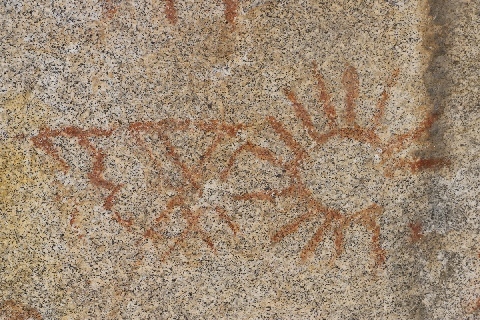 3/16/2017 Indian Wells Canyon Upper Pictographs Panel, near Ridgecrest, CA - This is the second panel in the canyon located little over one mile northwest from the parking lot. 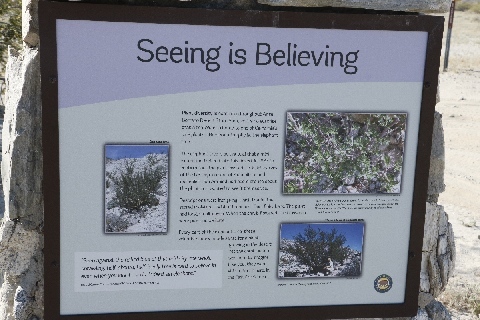 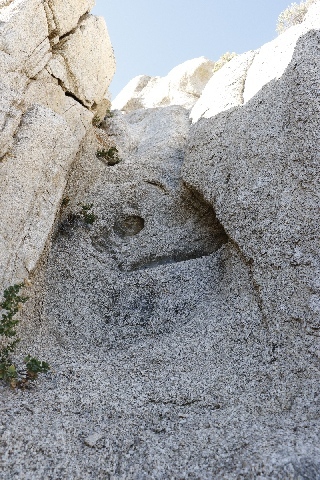 I found this panel at mid way to the Owens Peak. 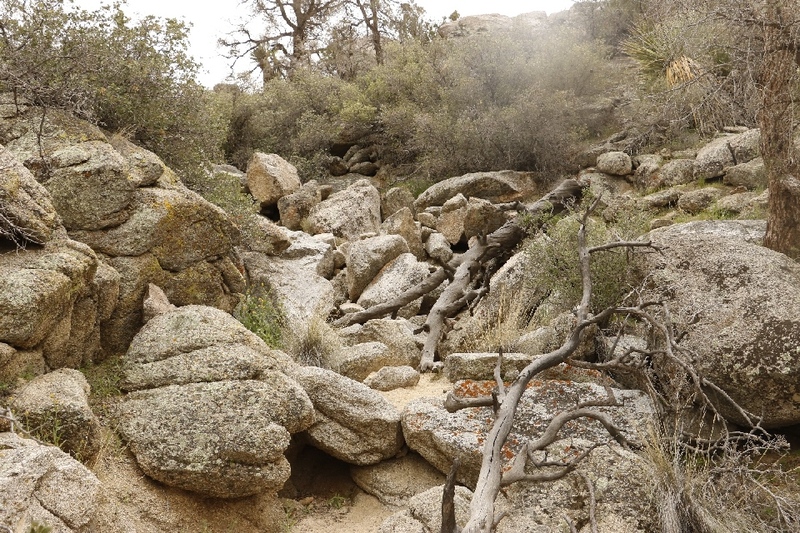 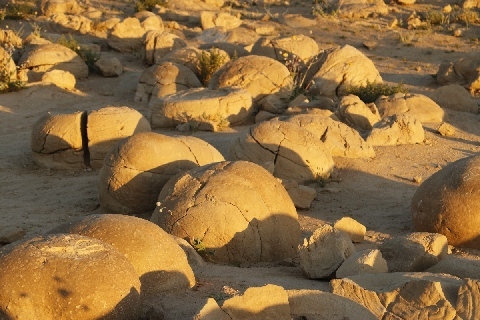 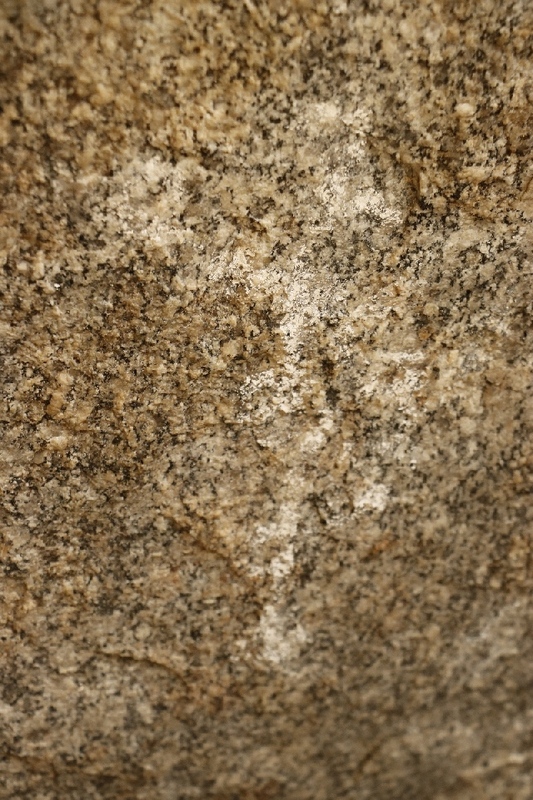 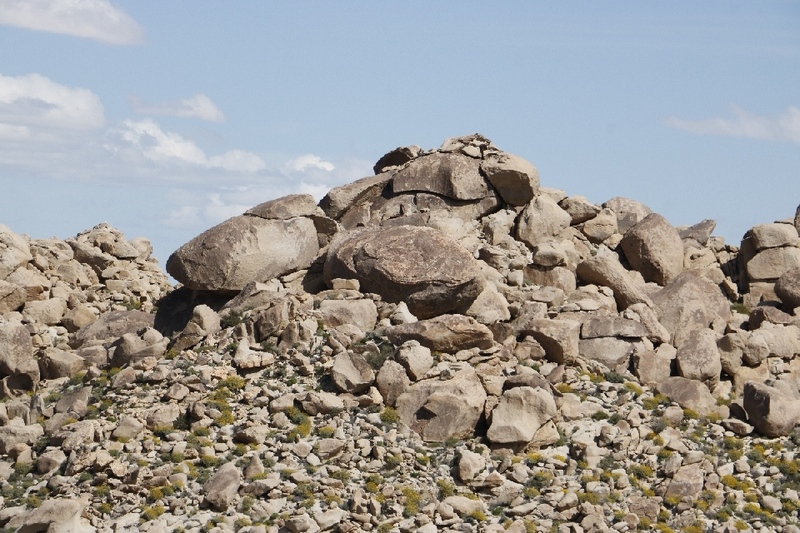 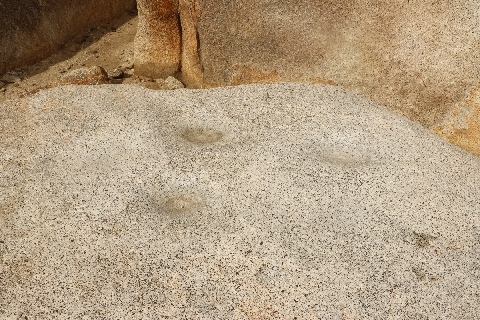 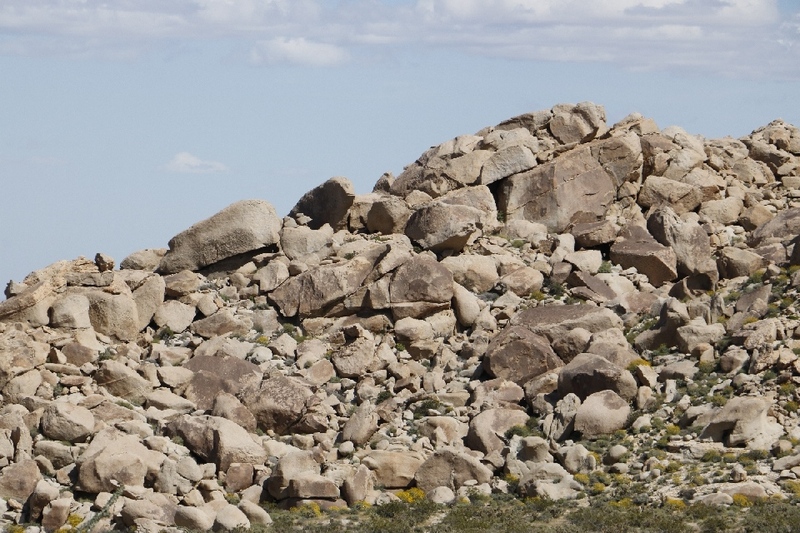 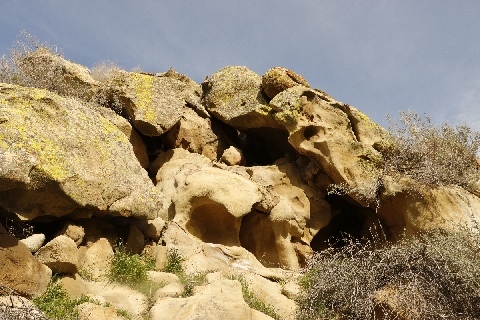 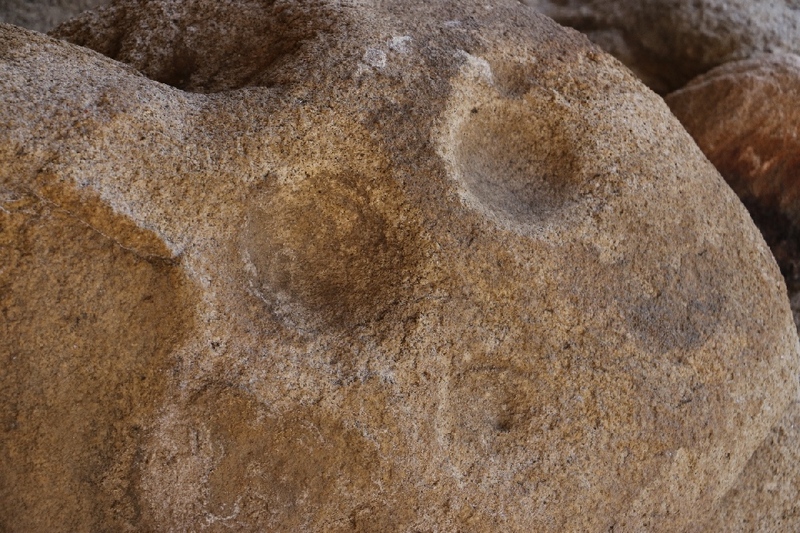 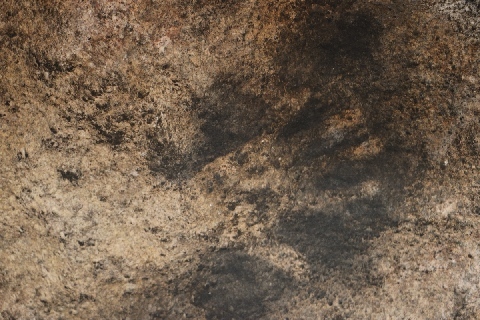 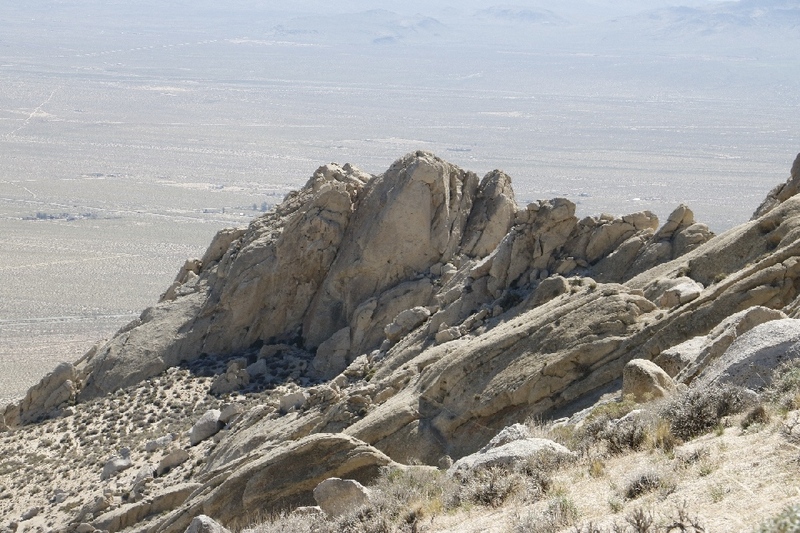 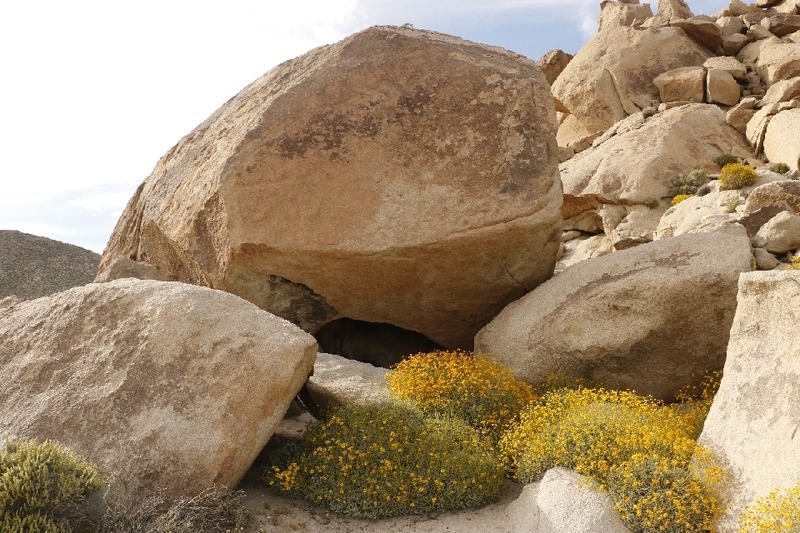 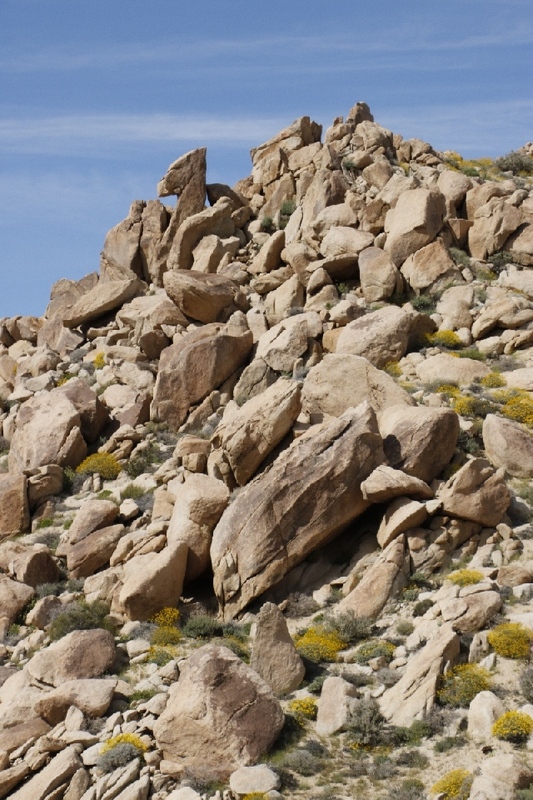 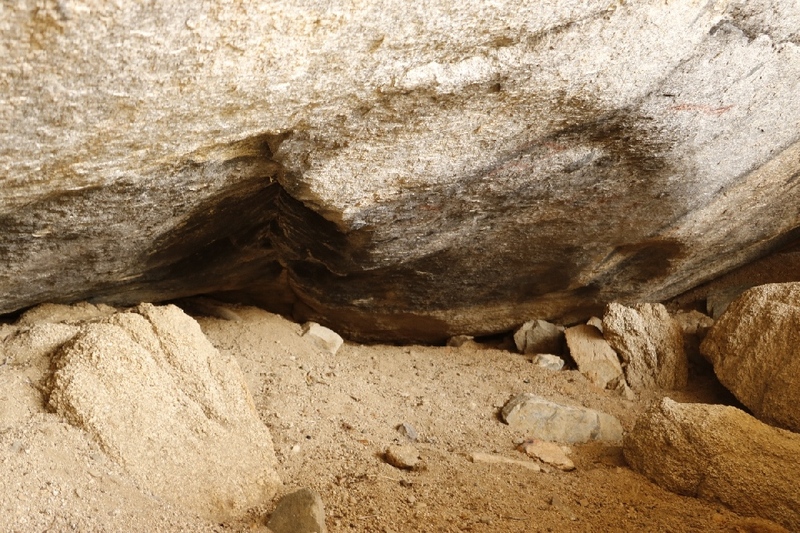 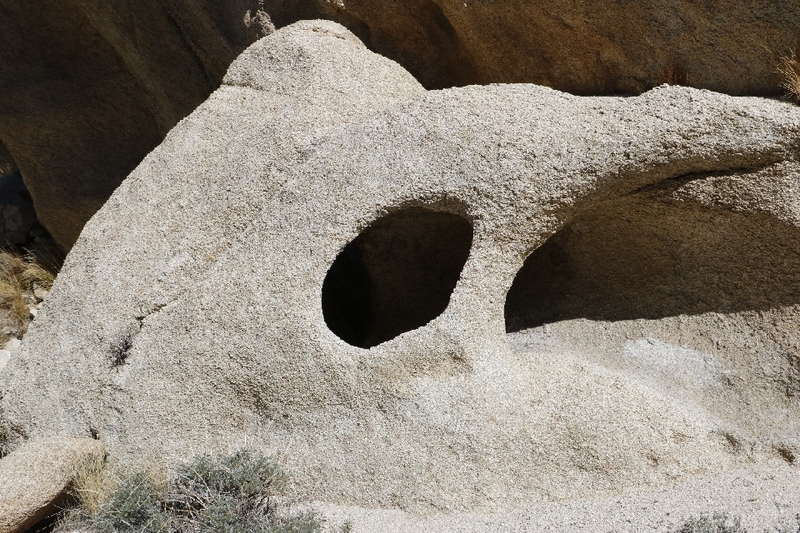 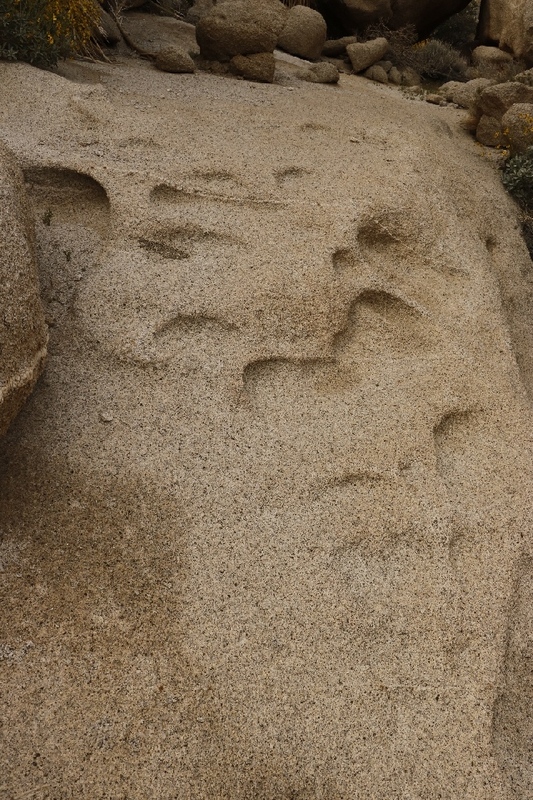 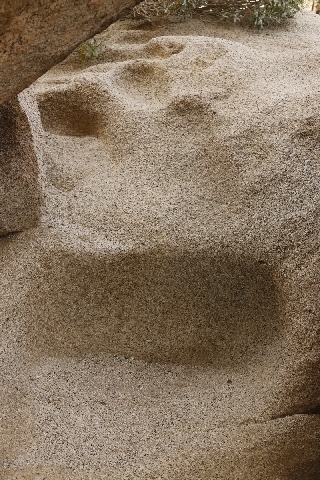 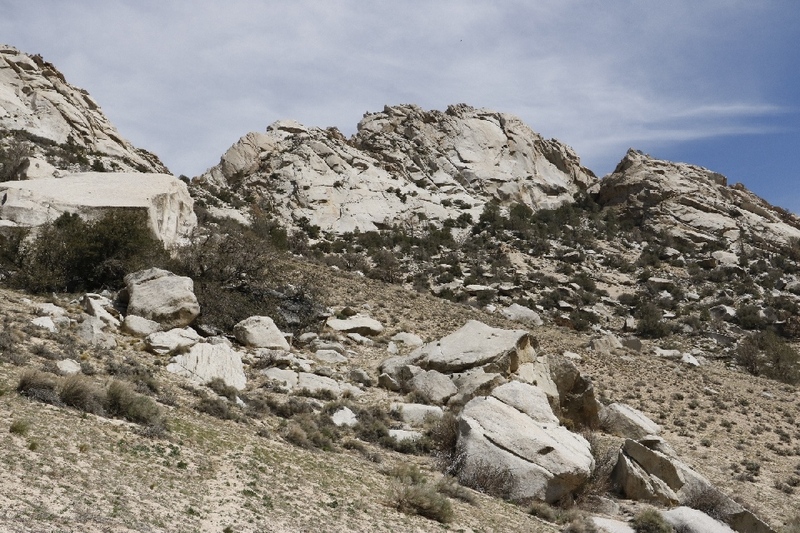 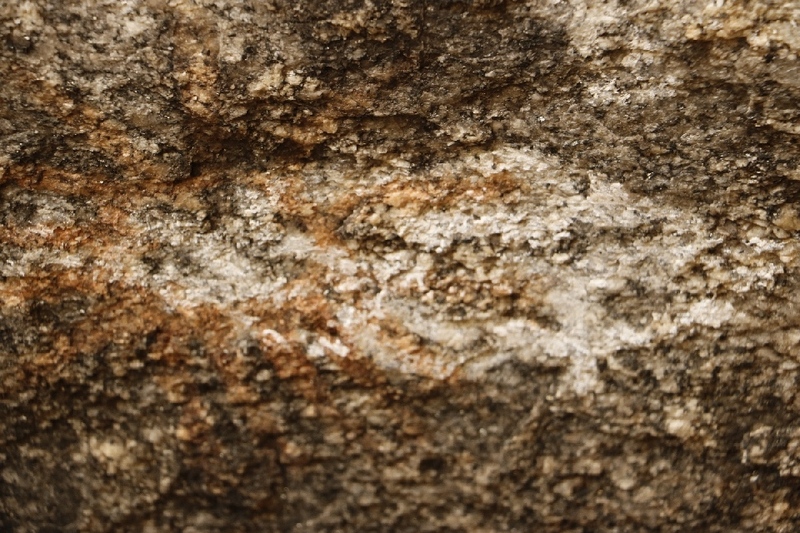 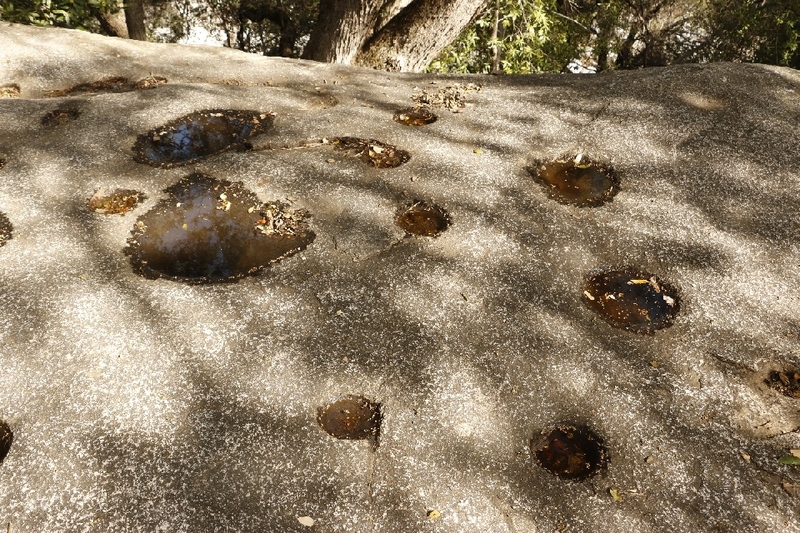 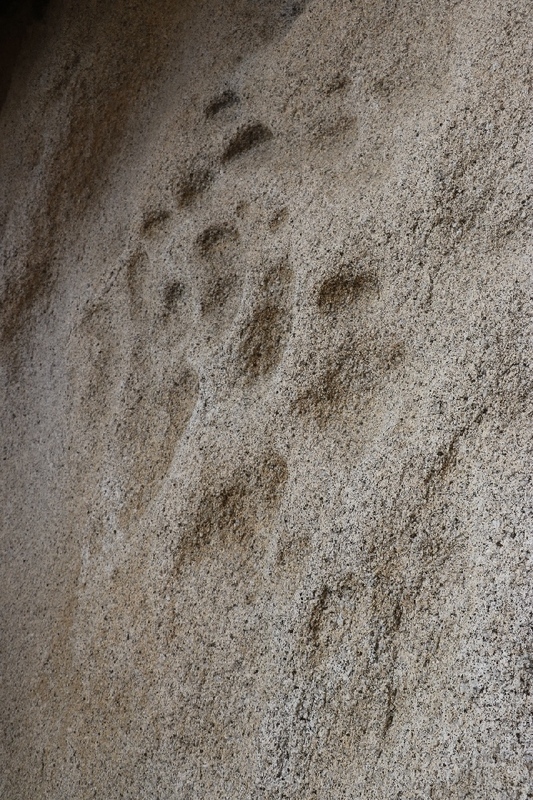 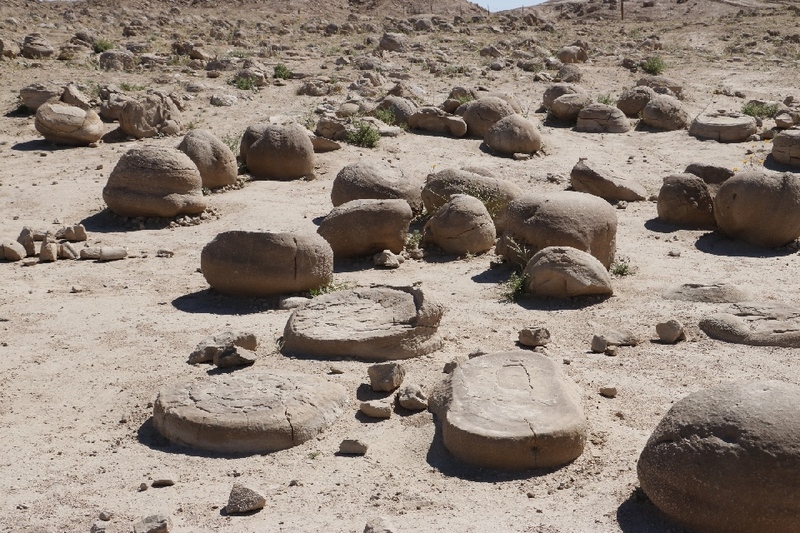 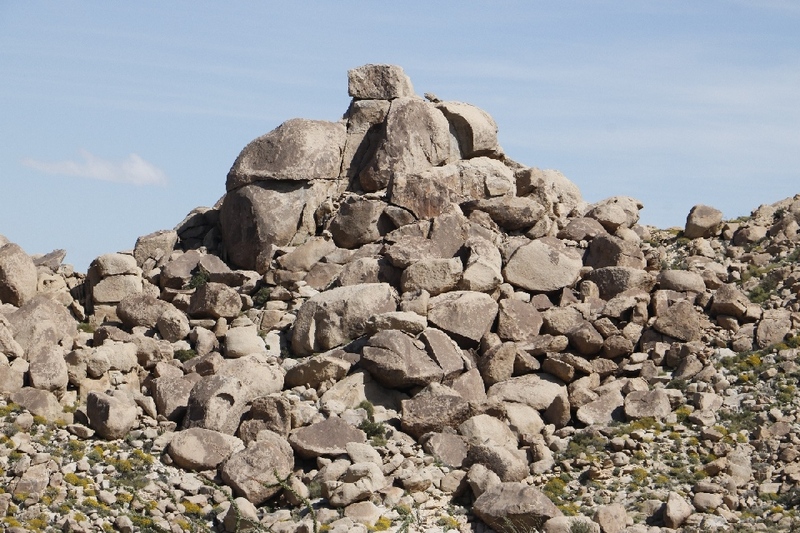 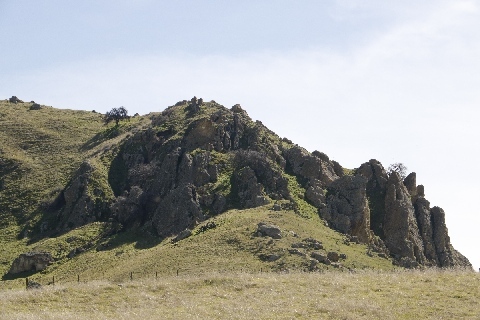 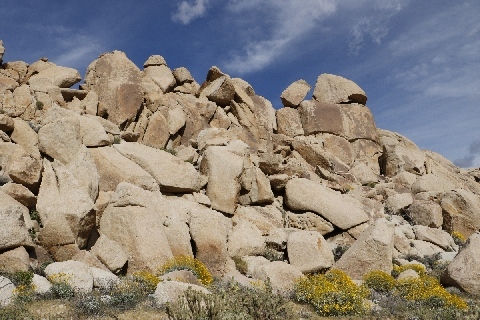 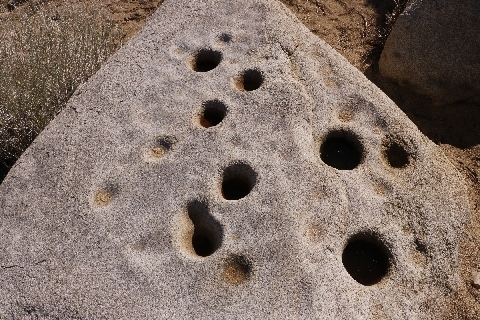 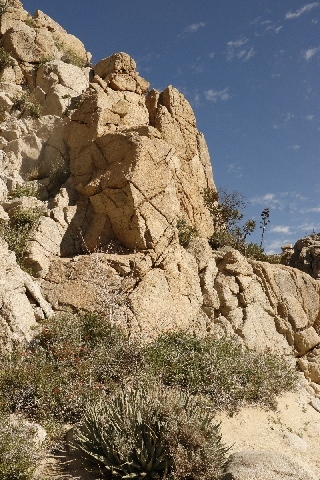 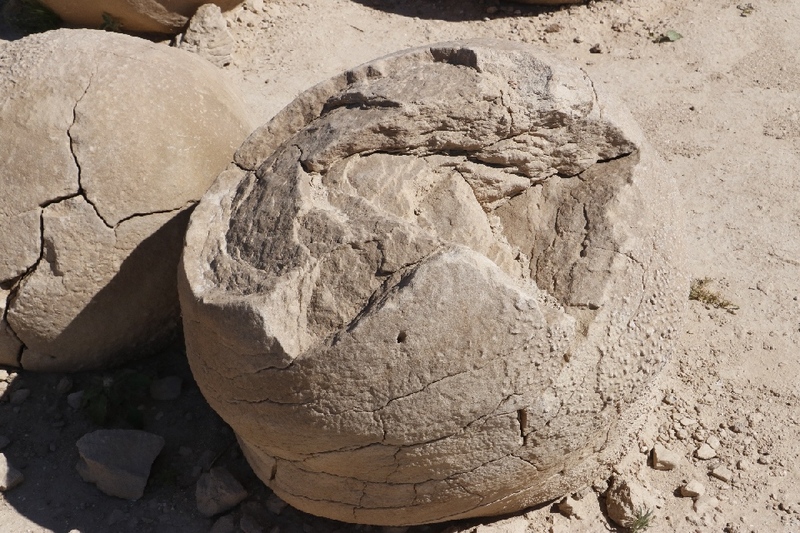 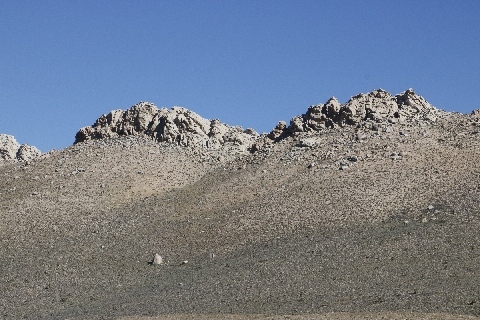 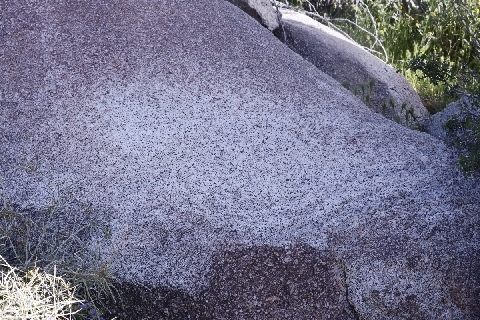 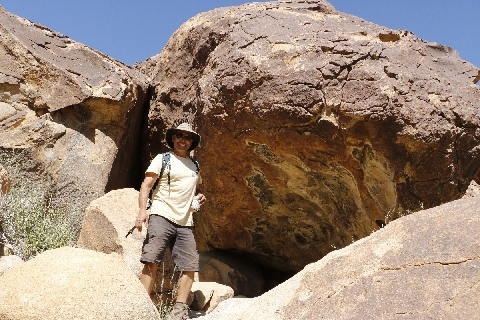 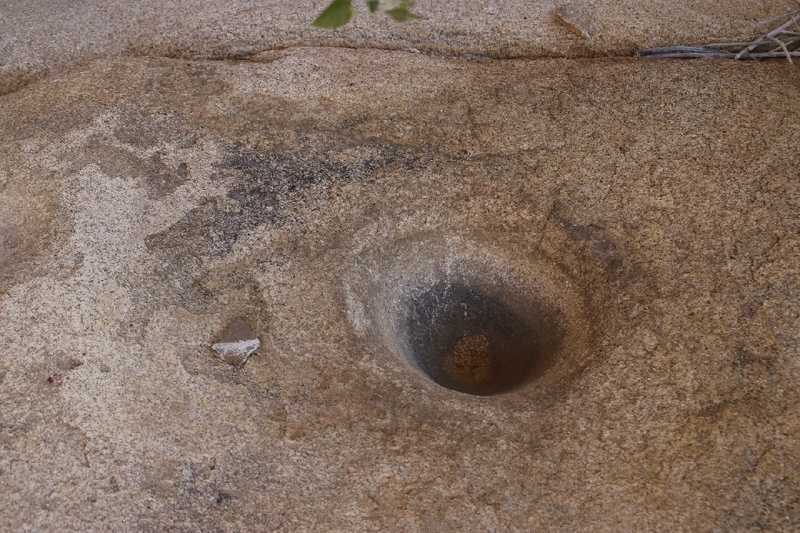 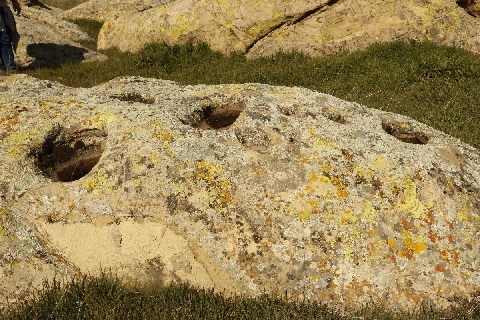 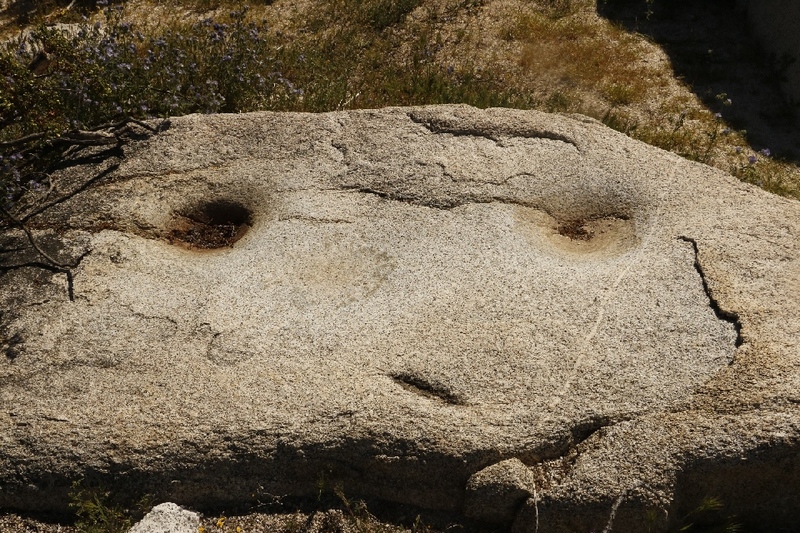 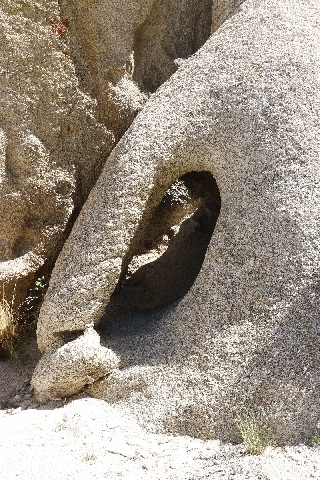 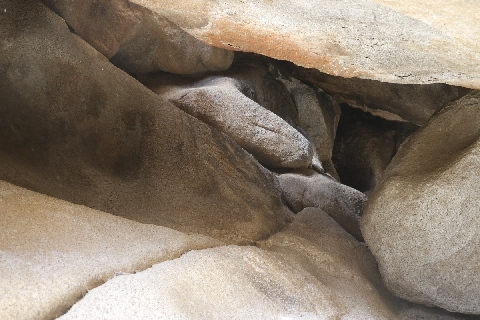 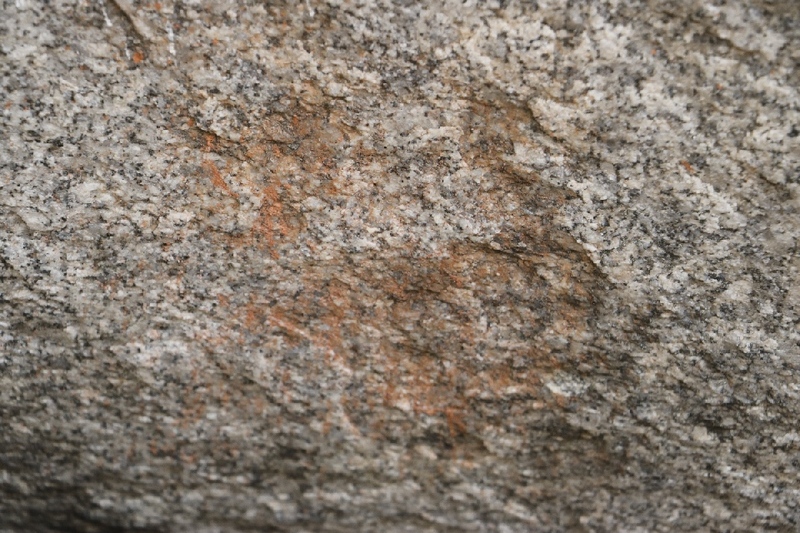 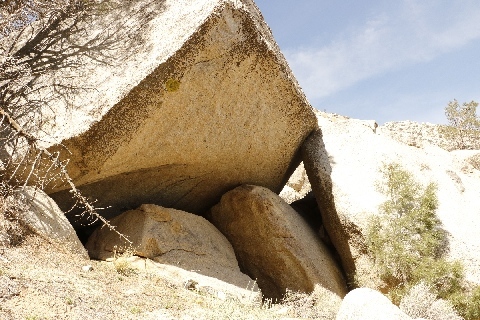 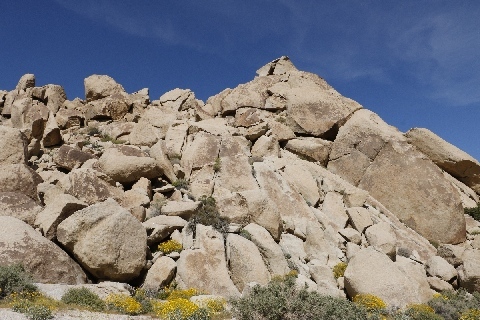 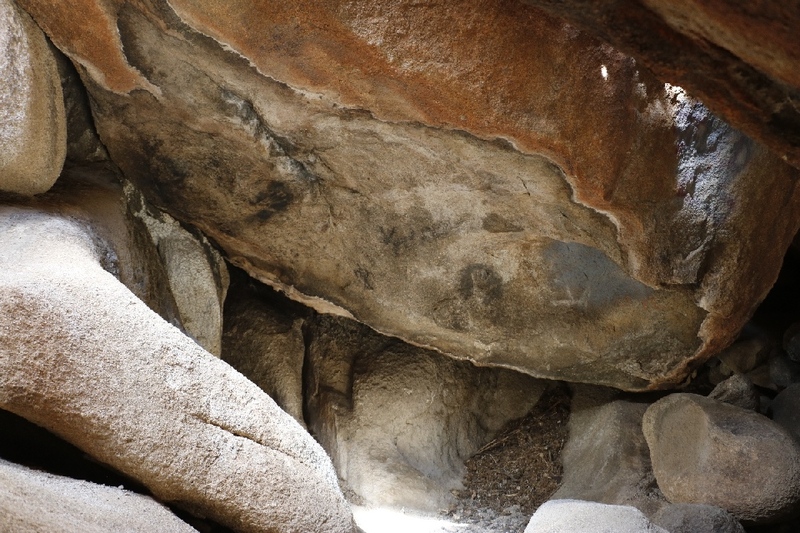 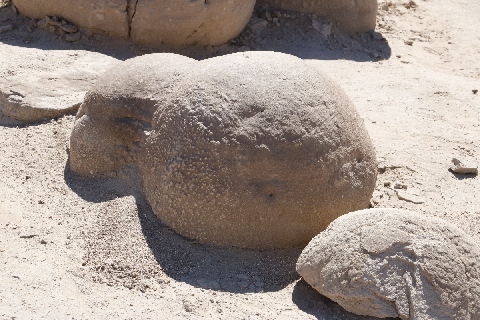 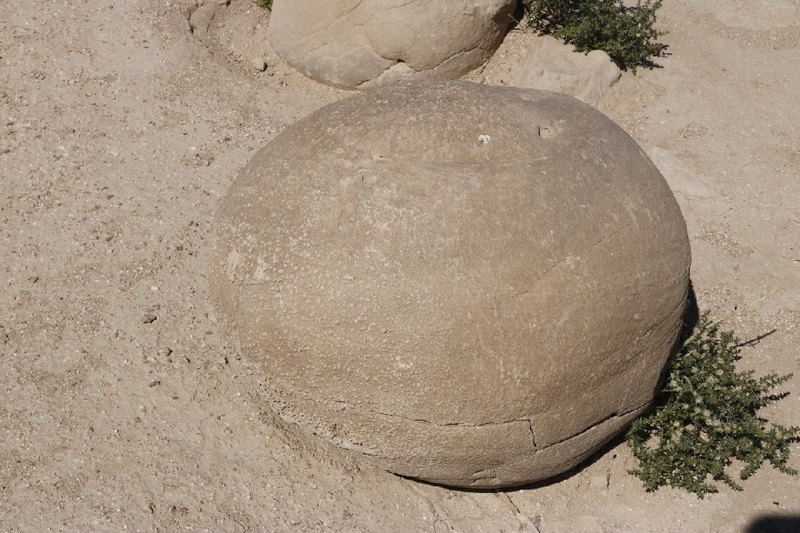 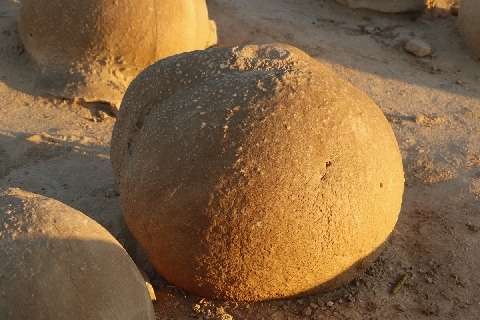 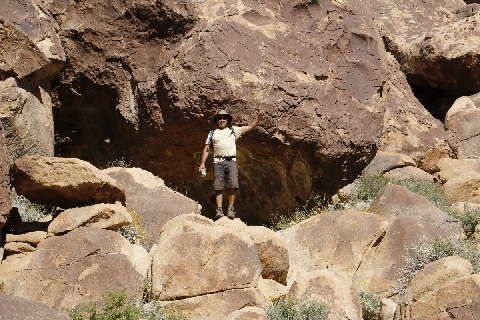 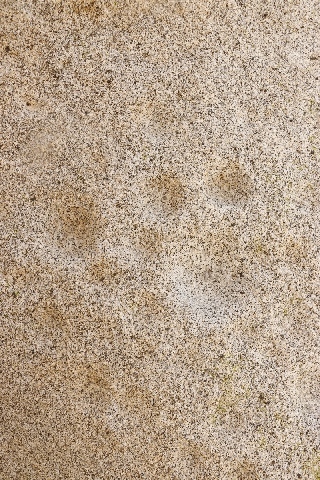 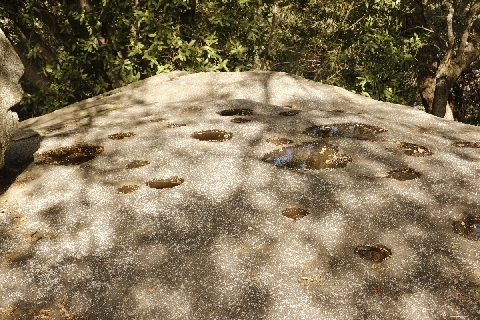 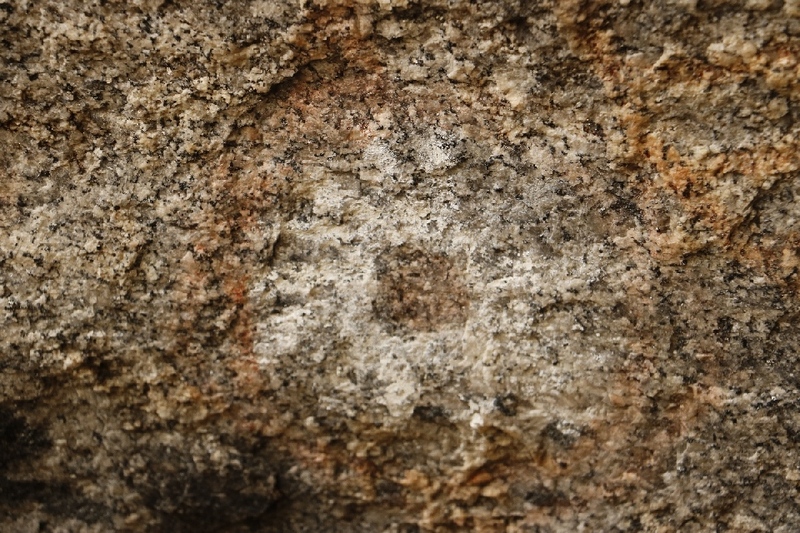 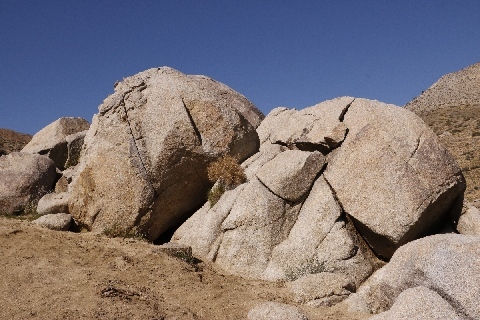 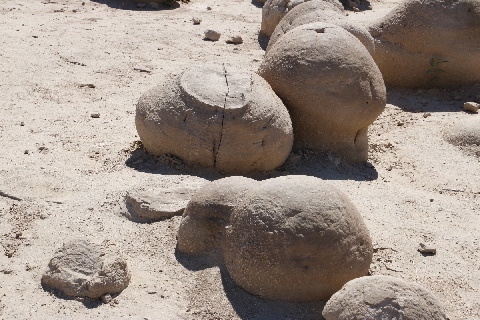 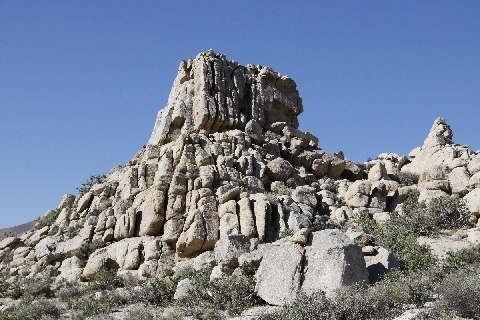 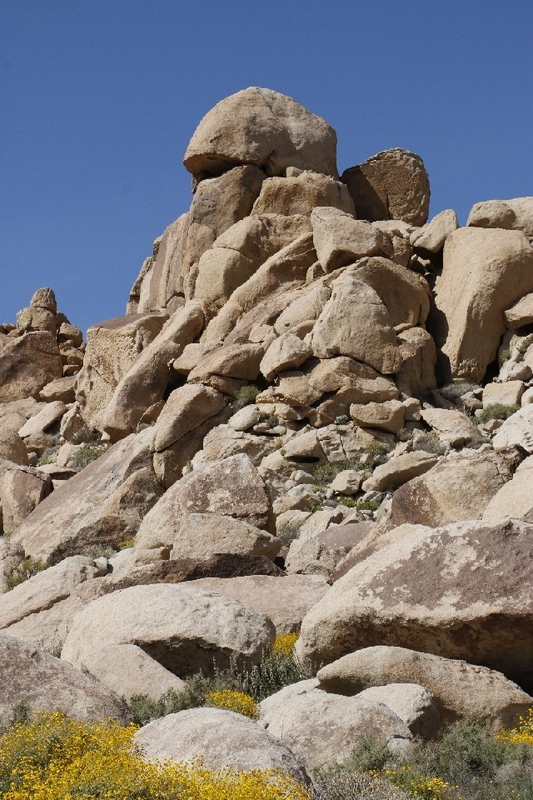 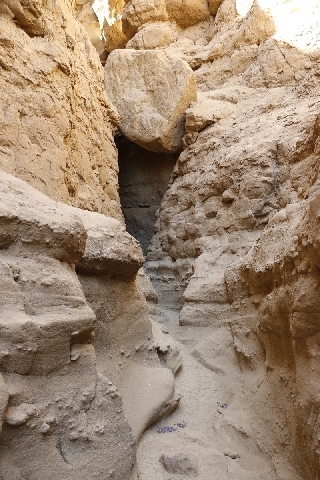 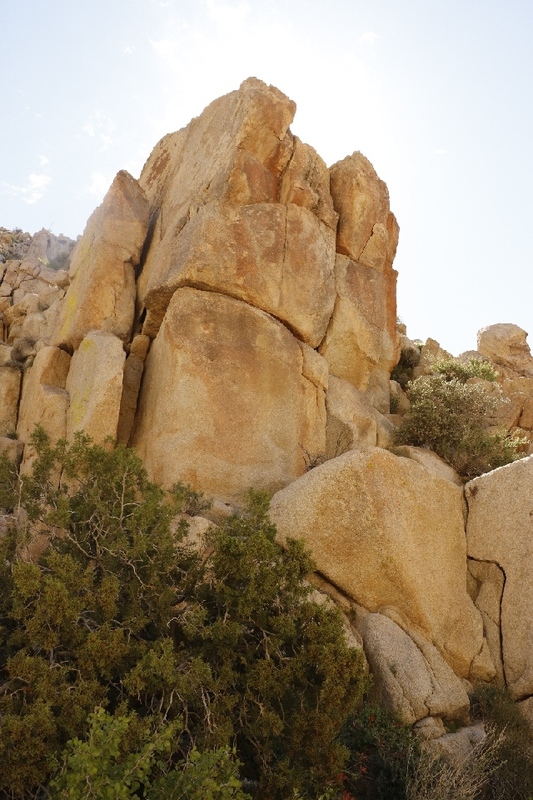 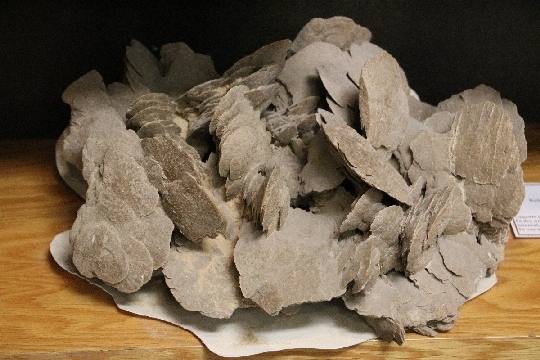 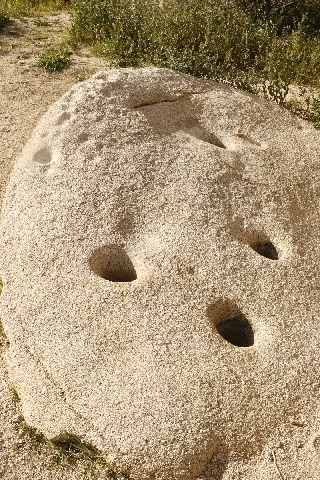 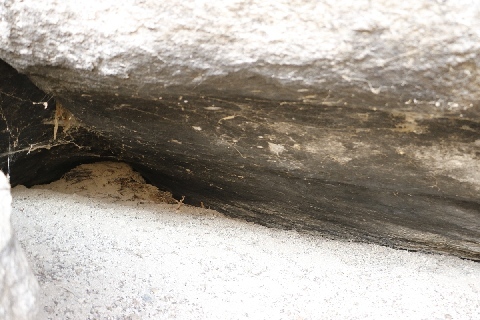 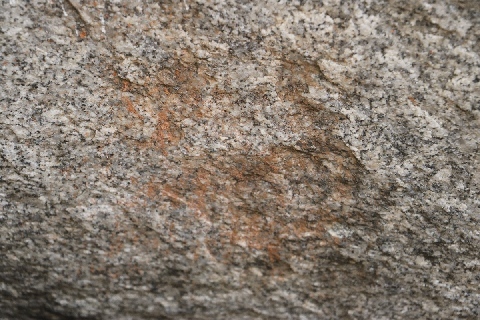 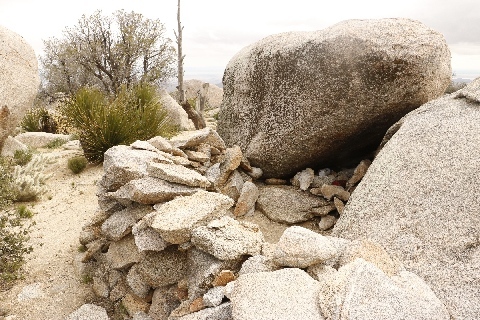 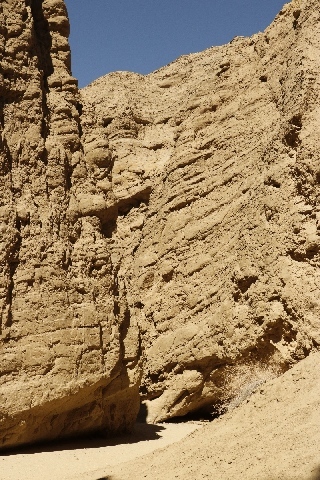 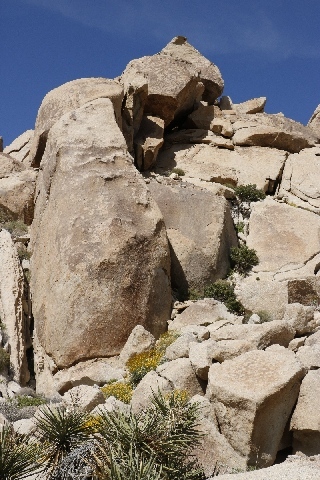 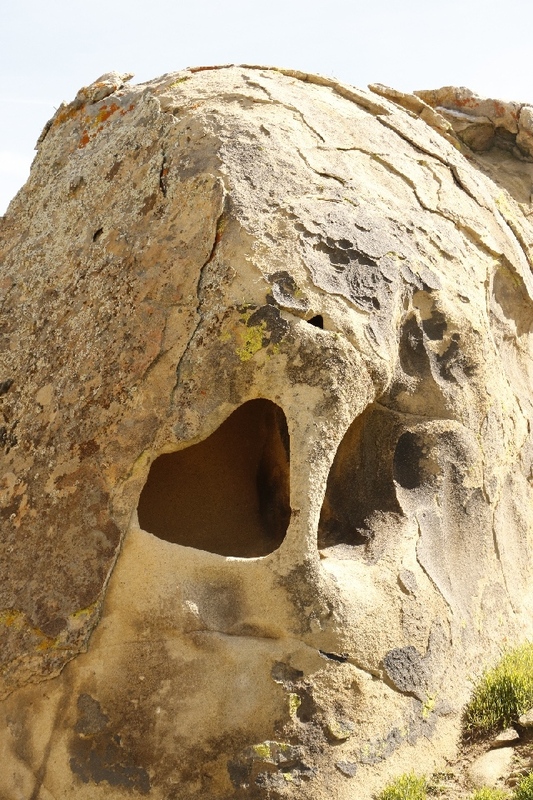 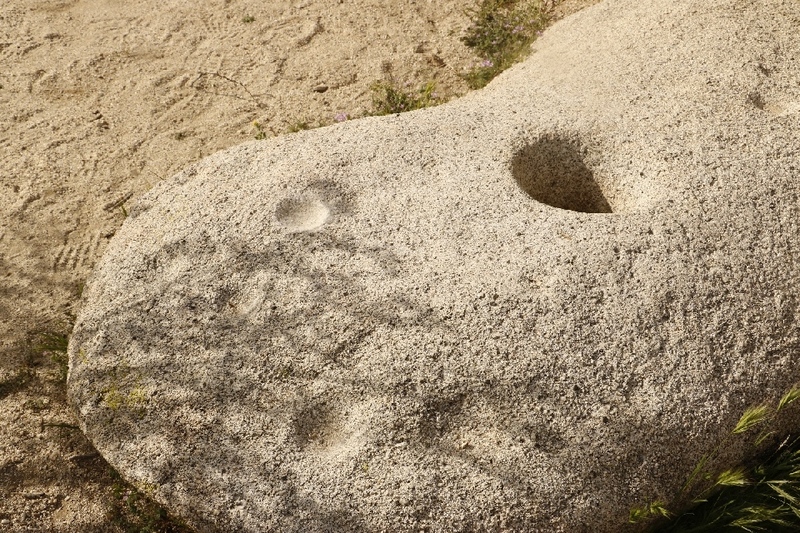 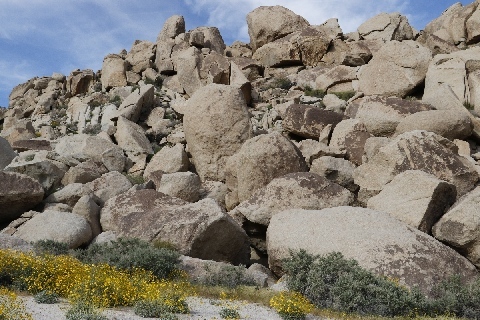 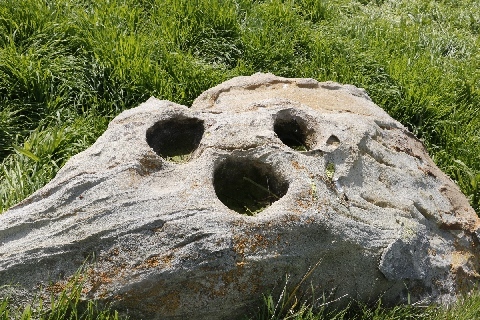 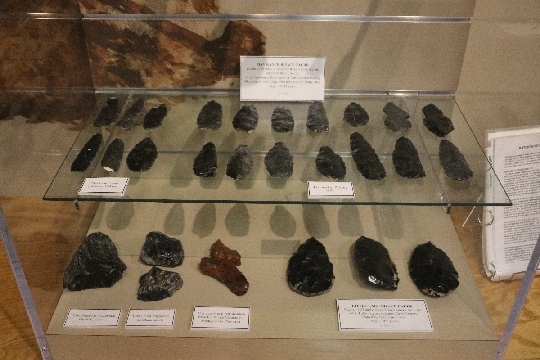 Lower panel and Upper panel are similar rock configulation, panel one side of the boulder and below boulder was living space, surface coverd black smoke. 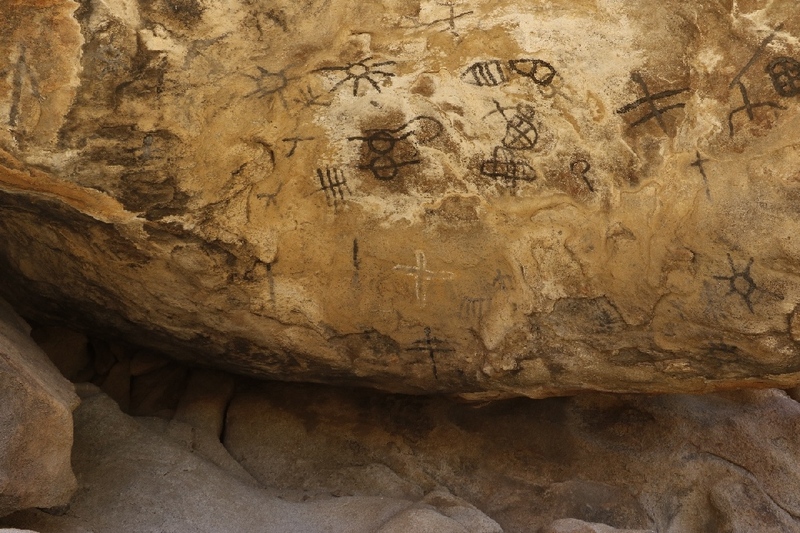 3/16/2017 Indian Wells Canyon Lower Pictographs Panel, near Ridgecrest, CA (12.4 miles include Upper Panel) - Few days ago, I was freak-out by rough dirt road of drive. 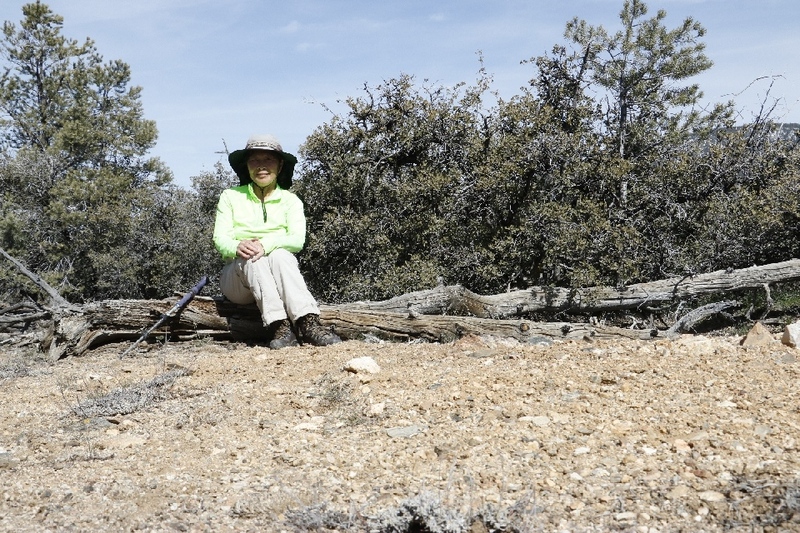 Today I parked car closer, a means I have a long hike. 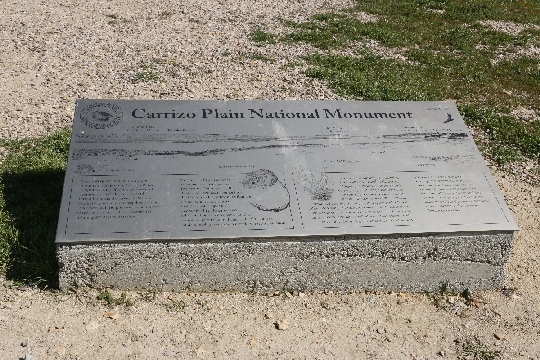 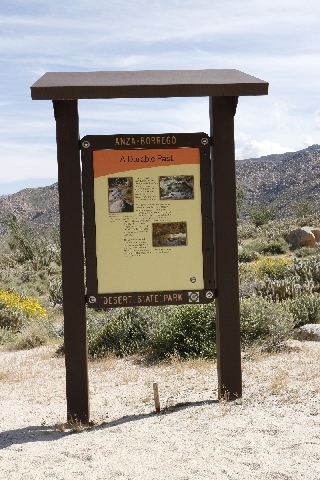 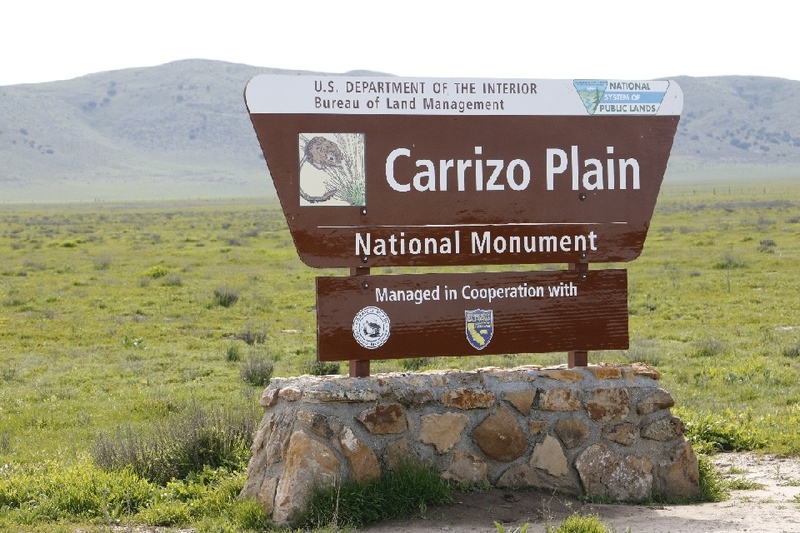 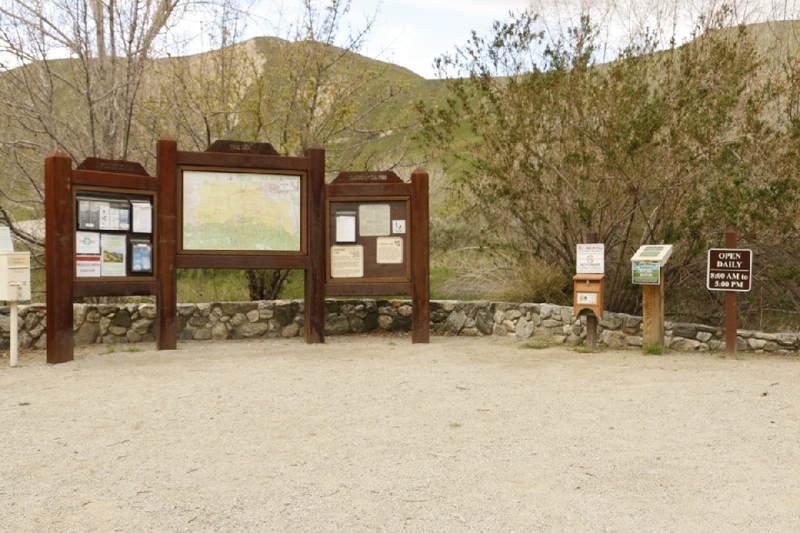 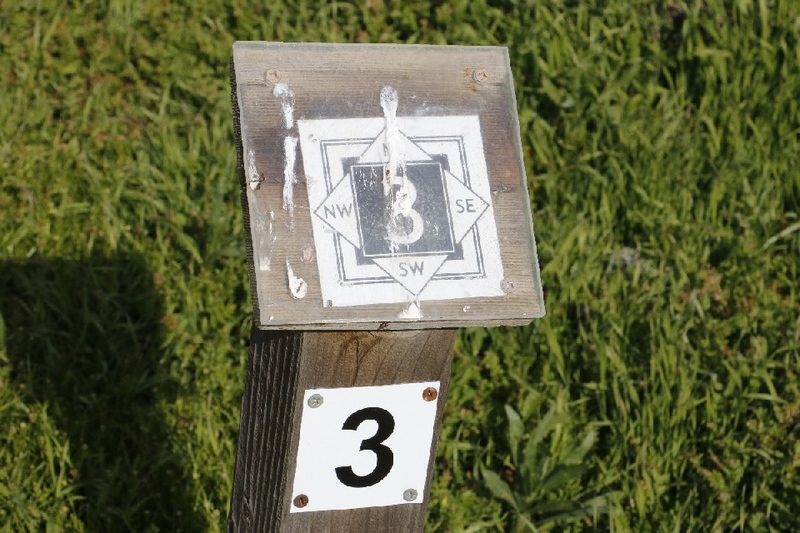 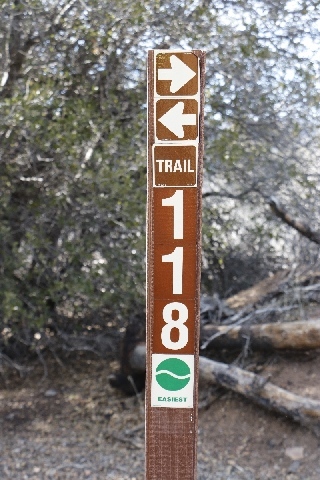 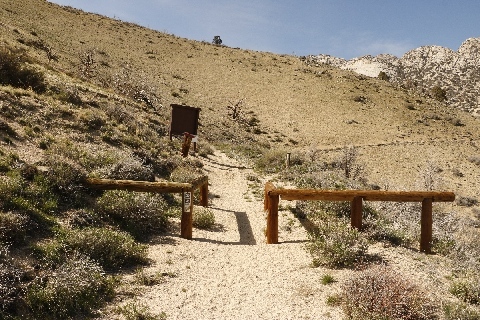 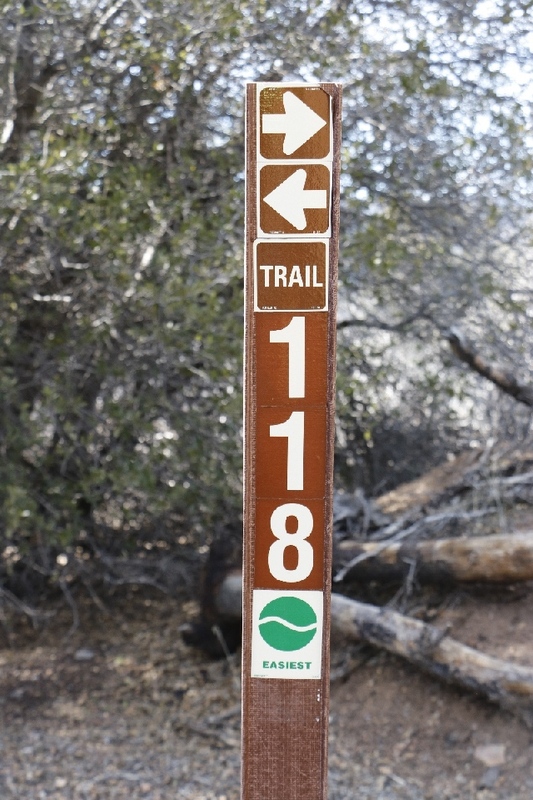 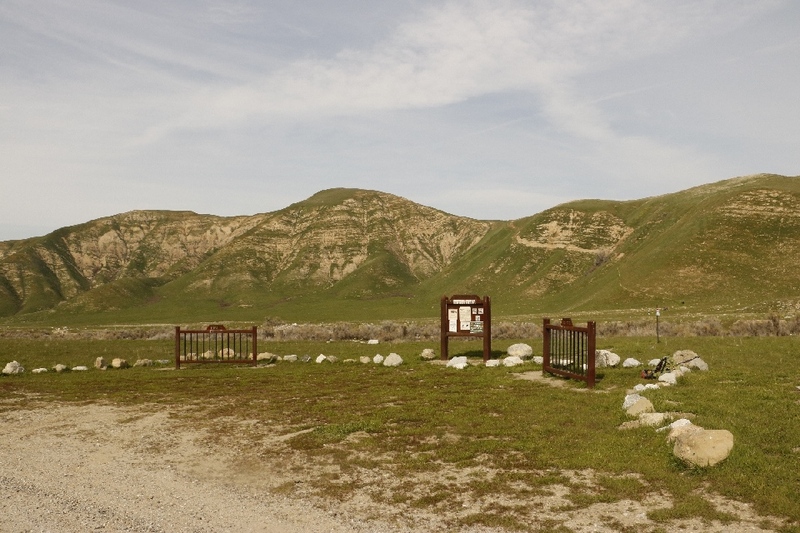 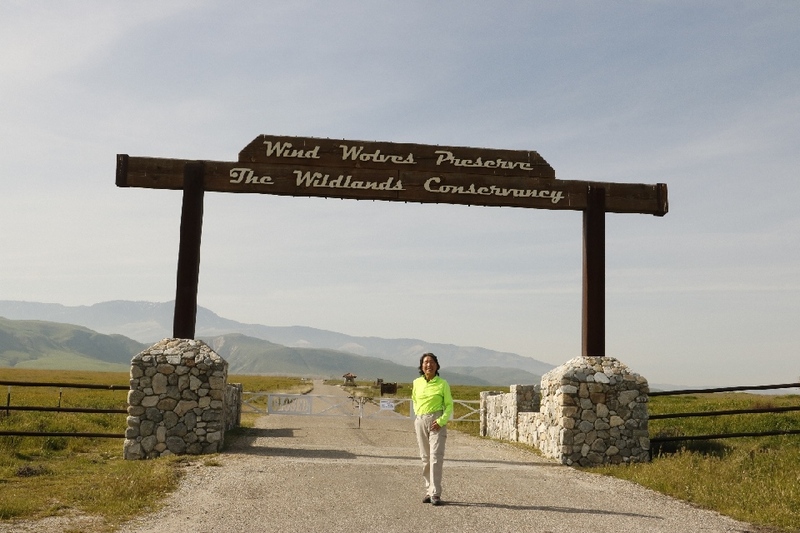 The lower panel is located near the parking lot, which is the TH for Owens Peak. 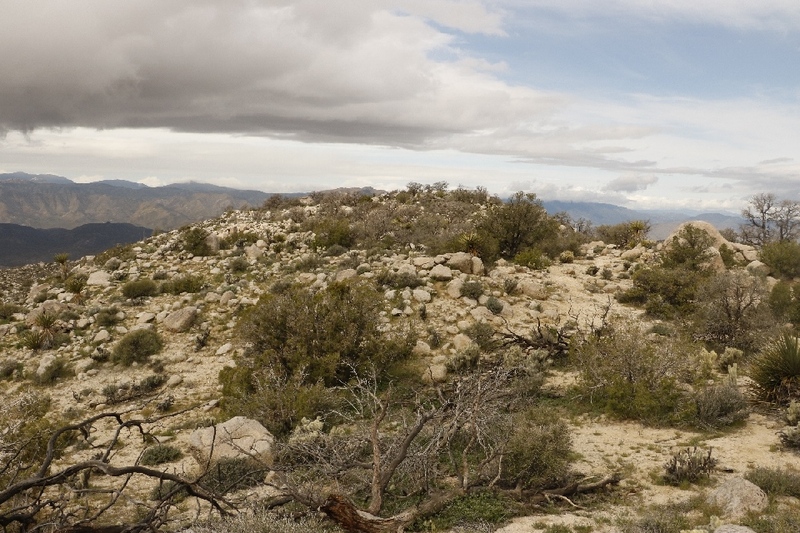 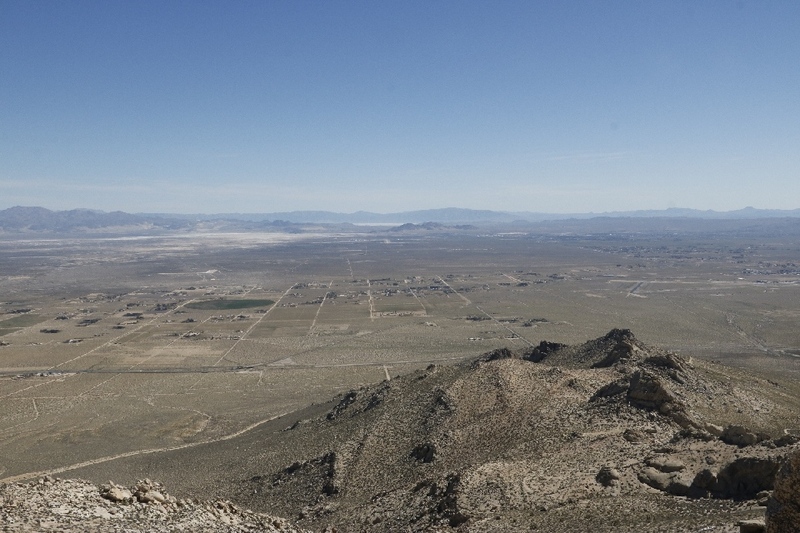 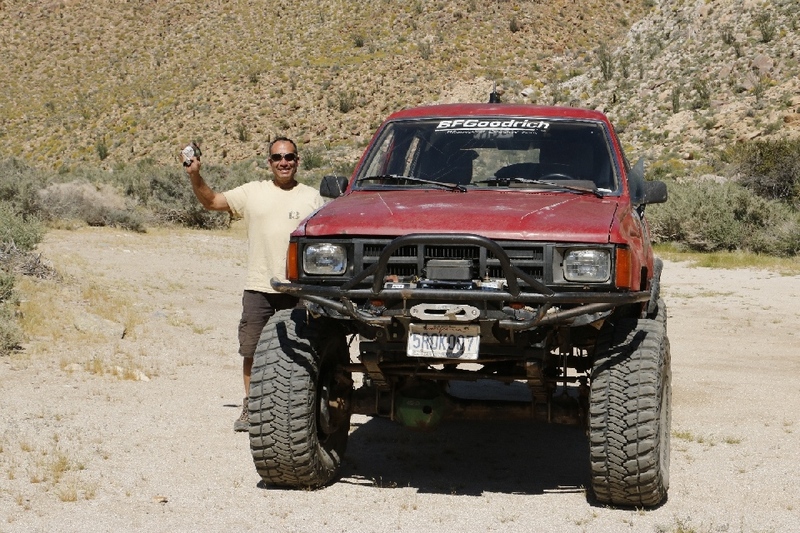 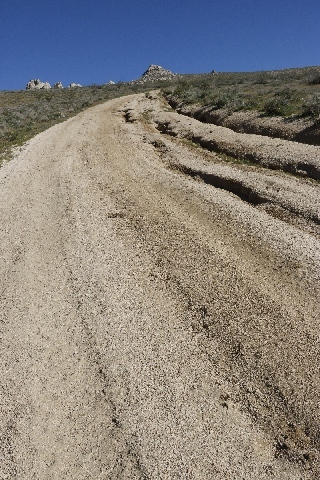 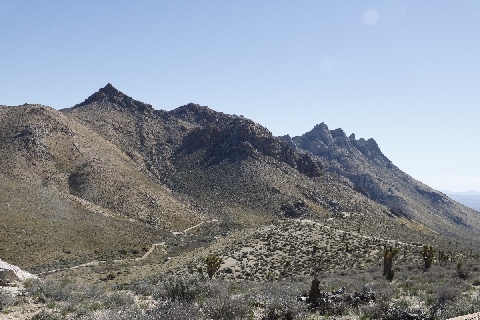 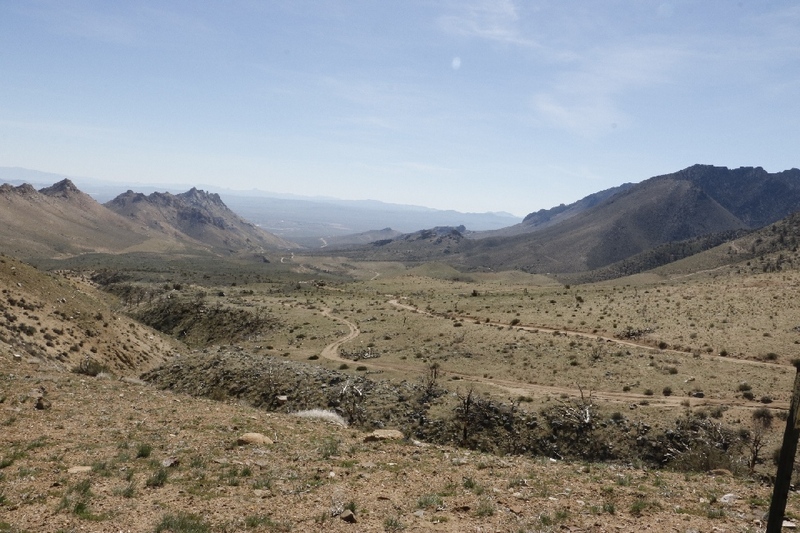 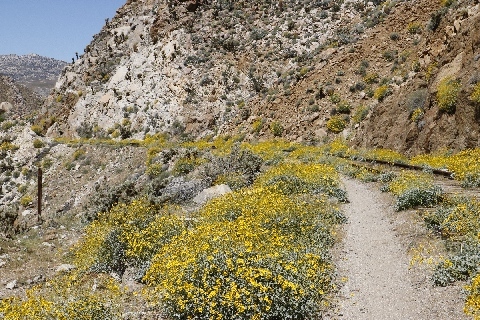 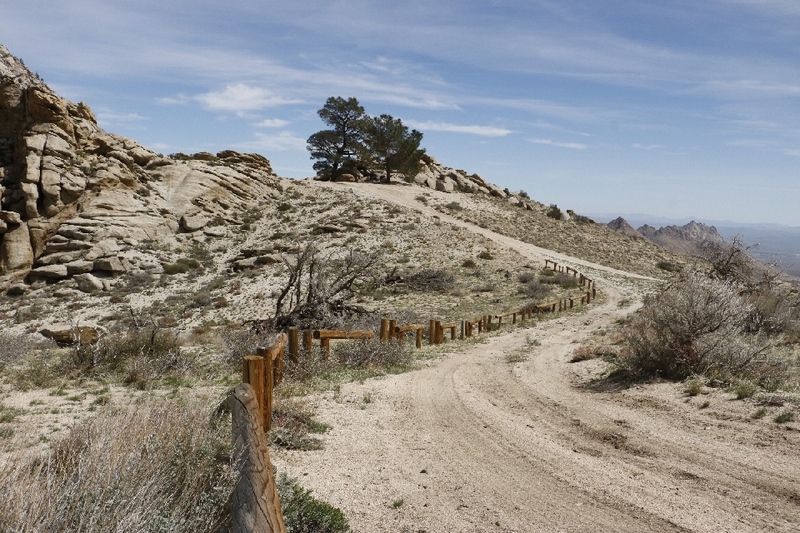 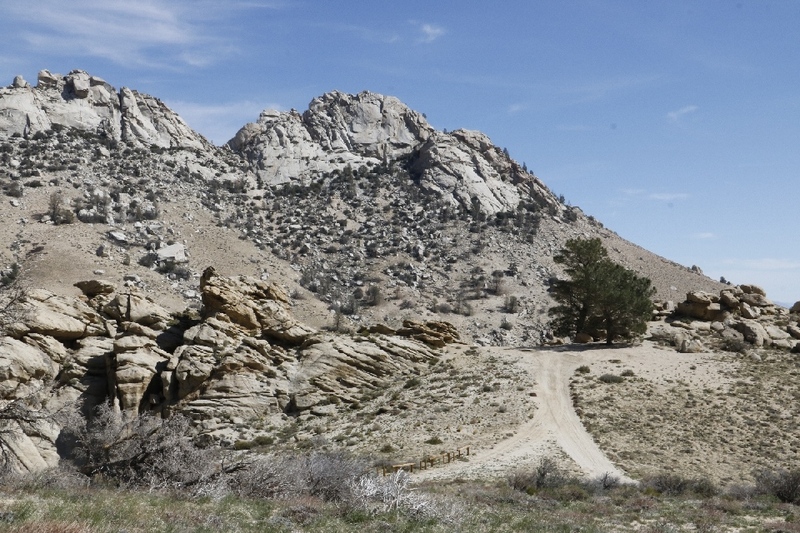 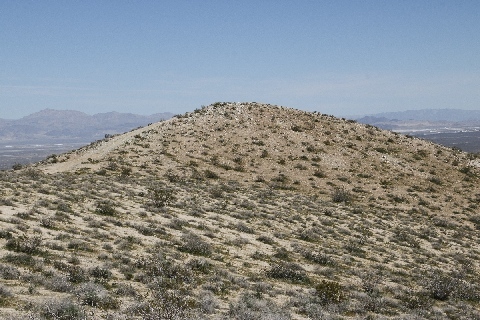 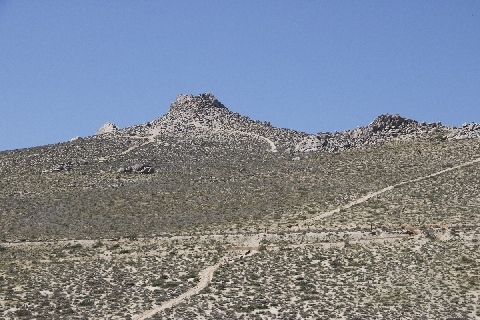 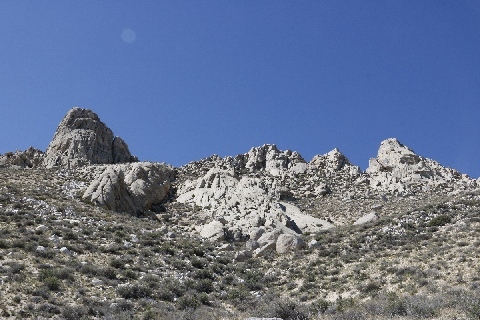 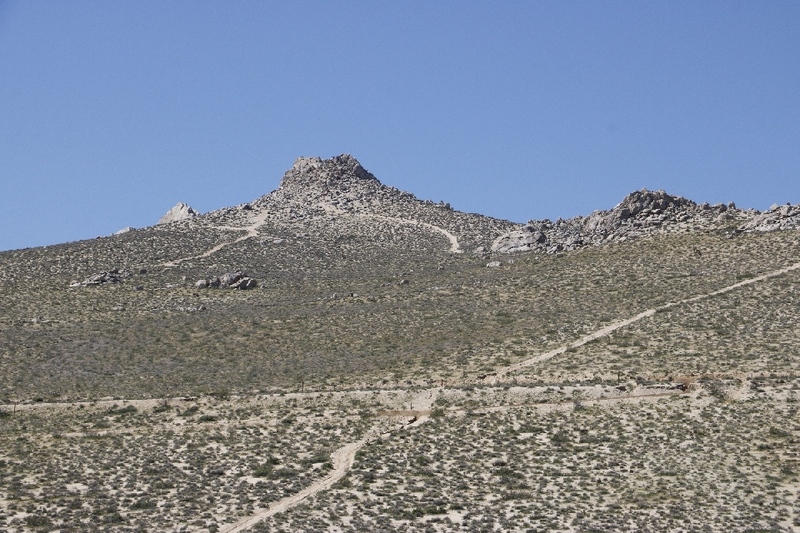 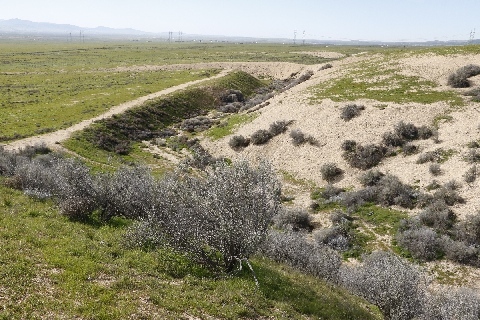 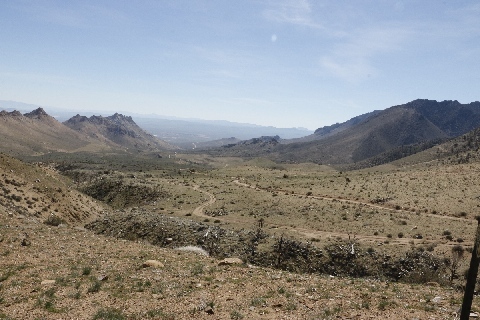 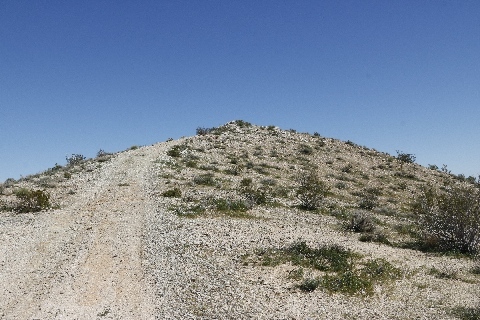 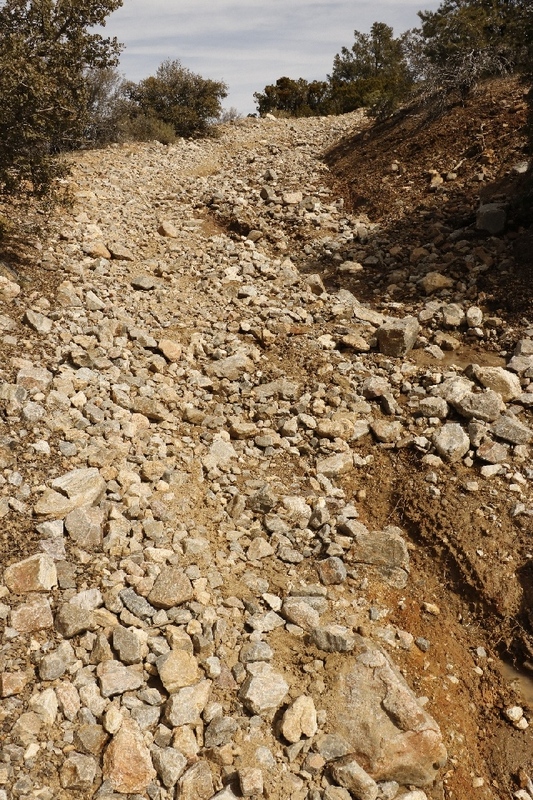 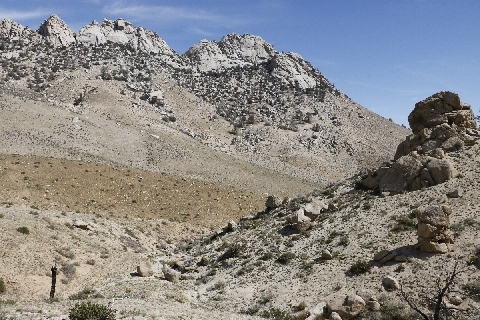 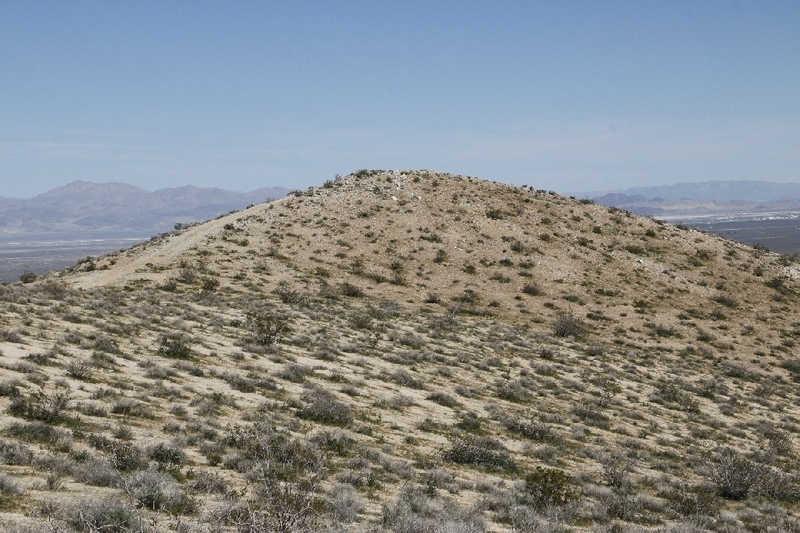 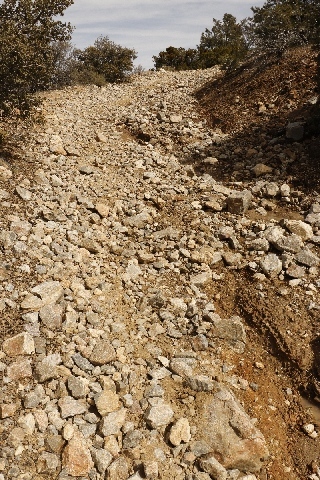 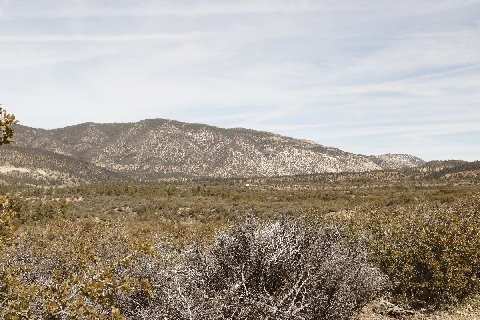 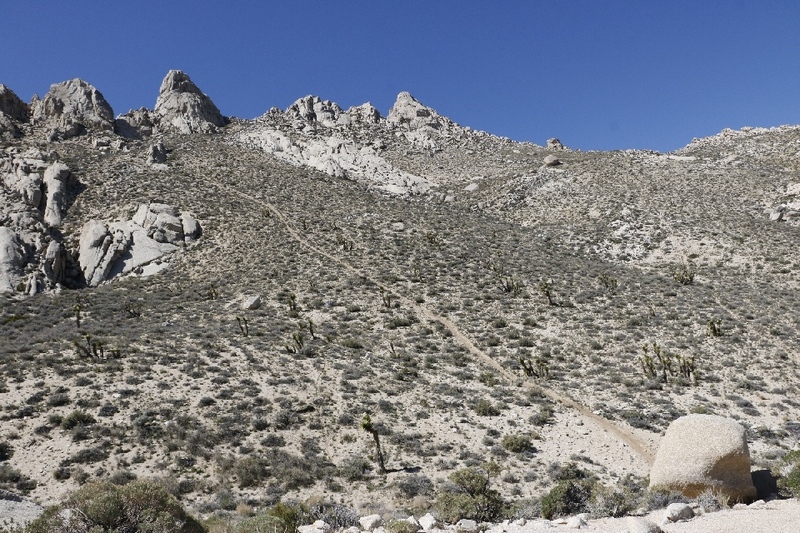 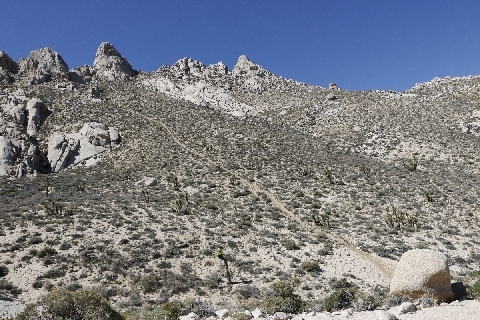 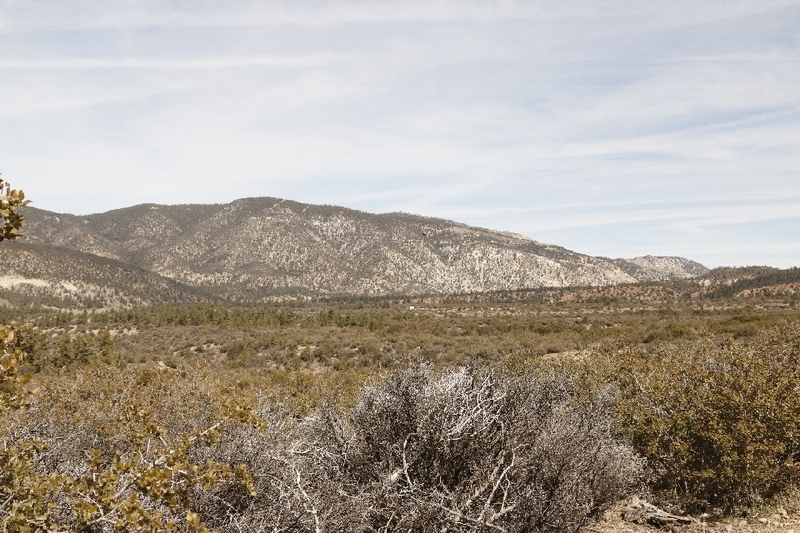 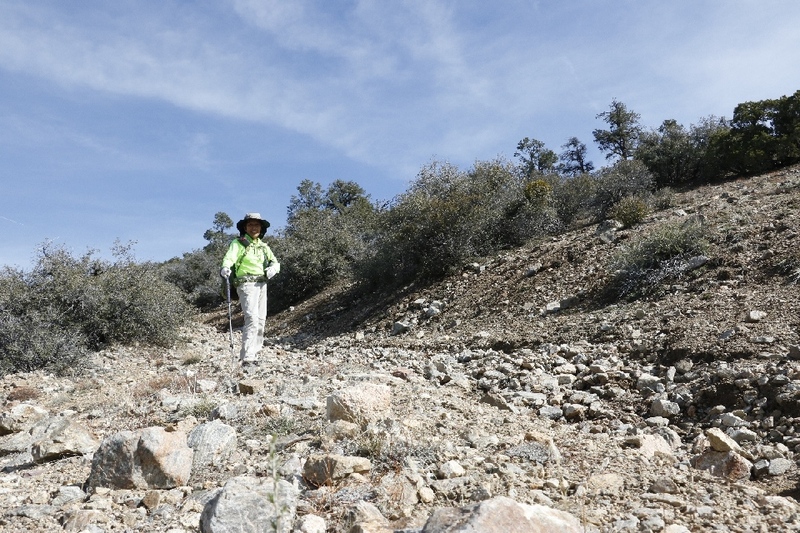 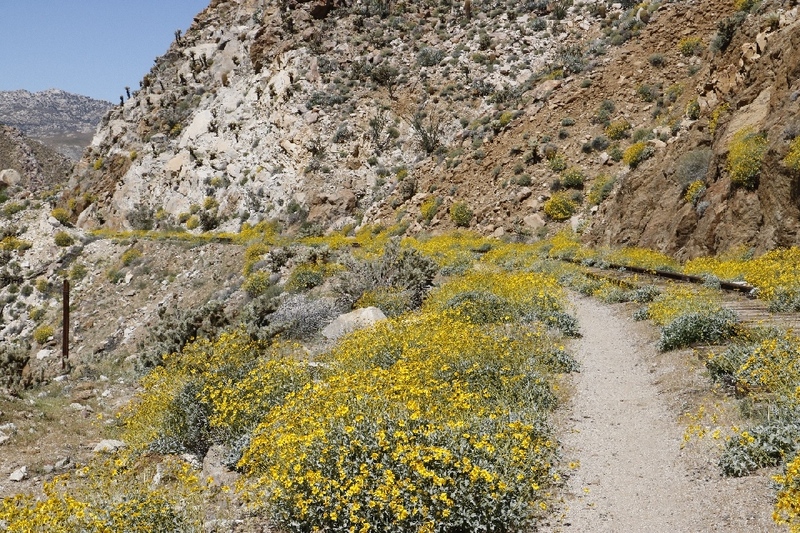 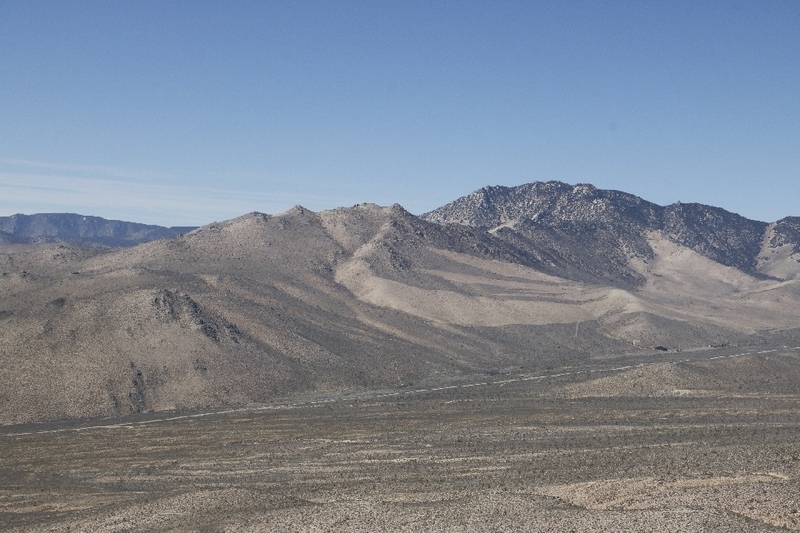 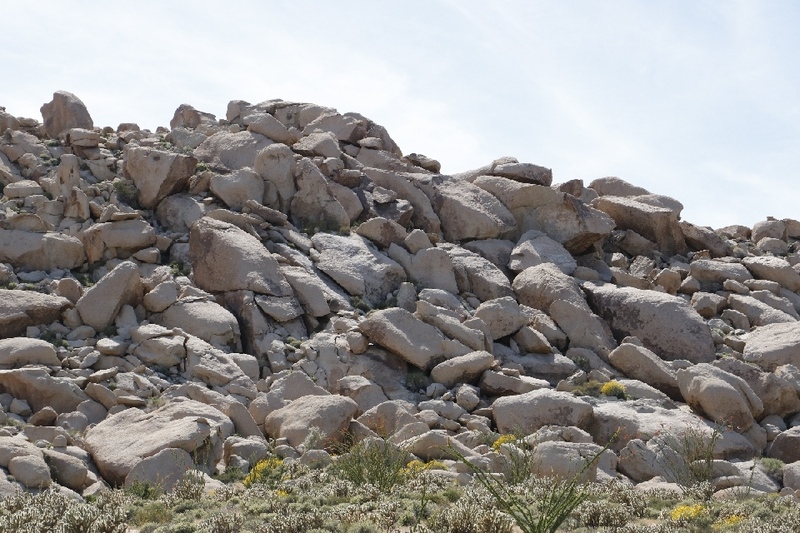 3/14/17 Rex Peak, near Ridgecrest, CA (1.2 miles) - I was looking for parking area and hiking trail, but none, just parked side of road and hiked up seems to dirtbike road where fenced out for motorized vehicles. 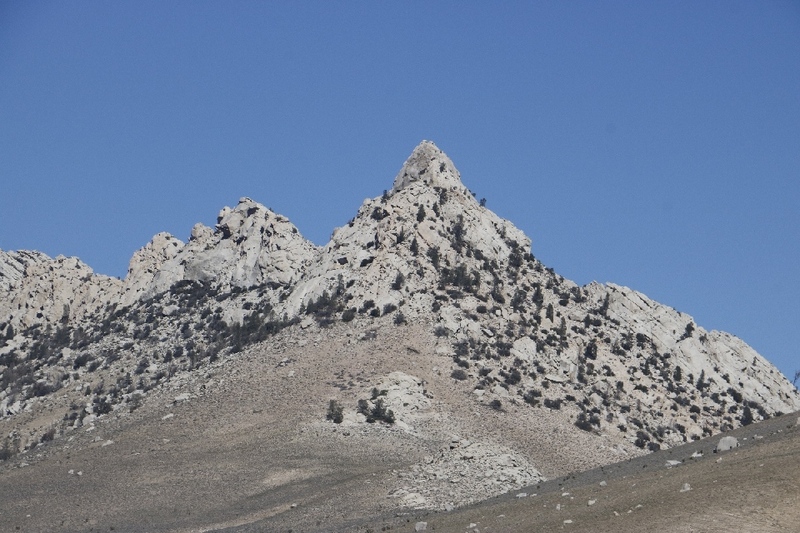 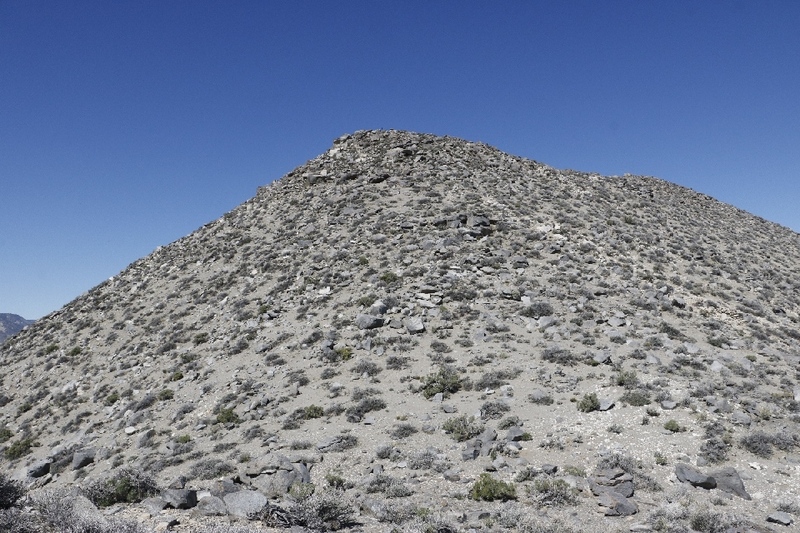 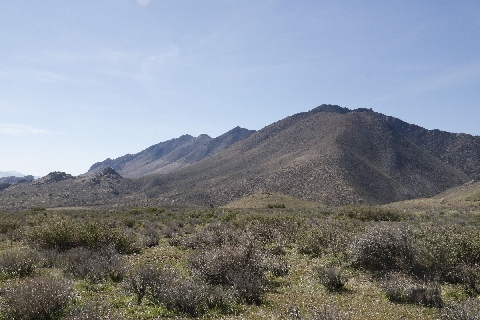 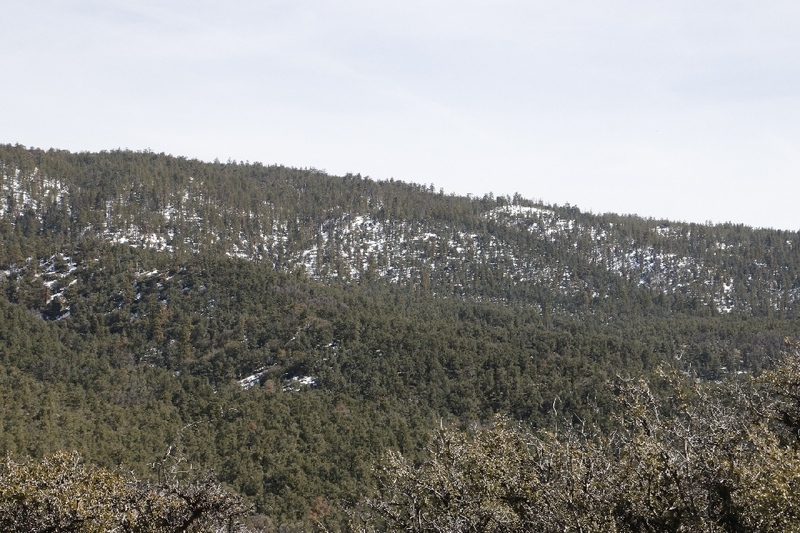 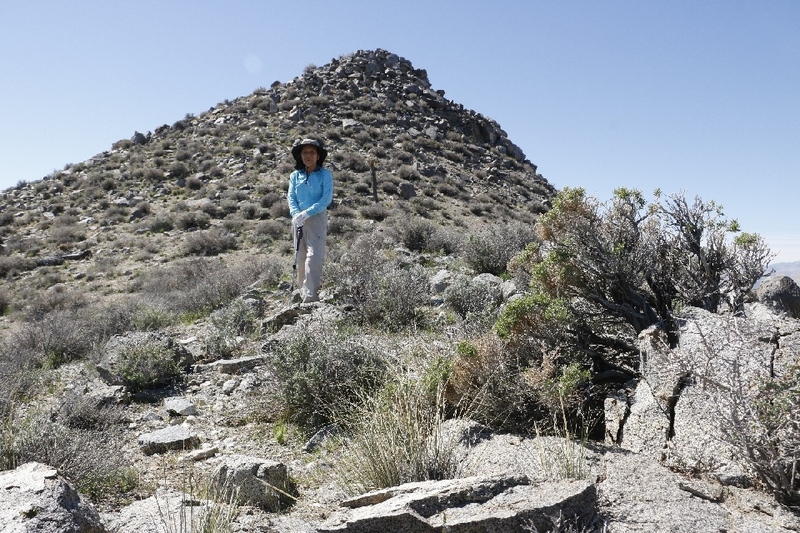 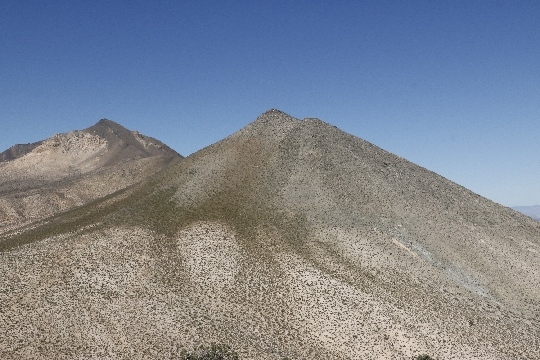 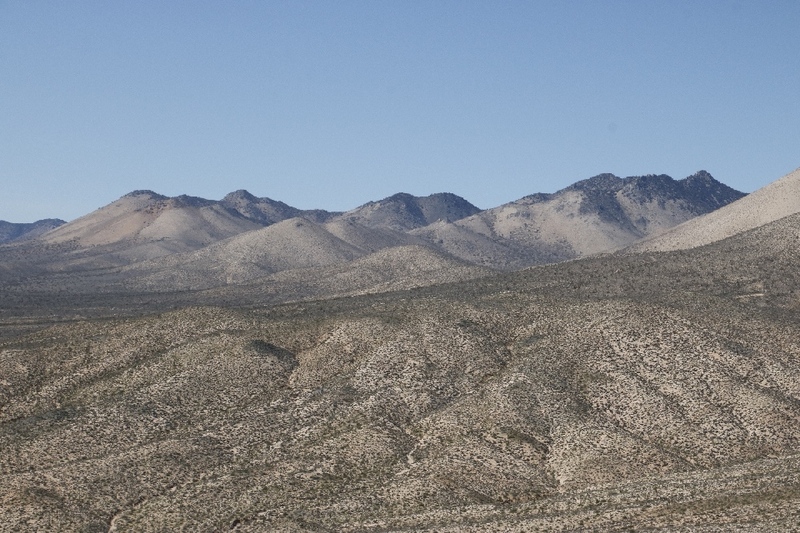 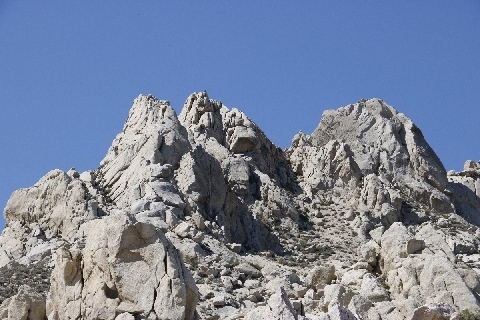 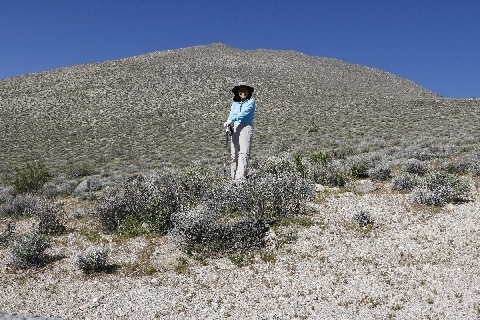 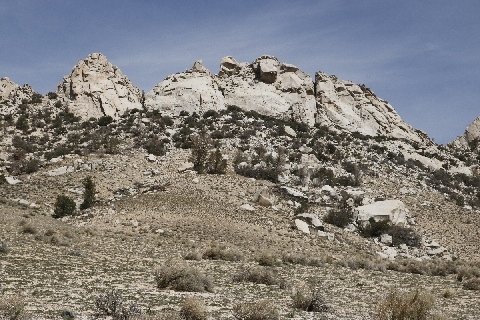 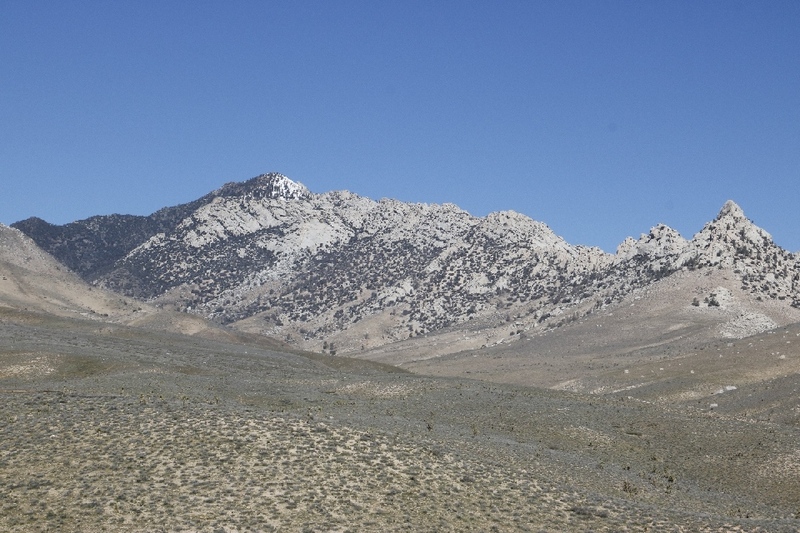 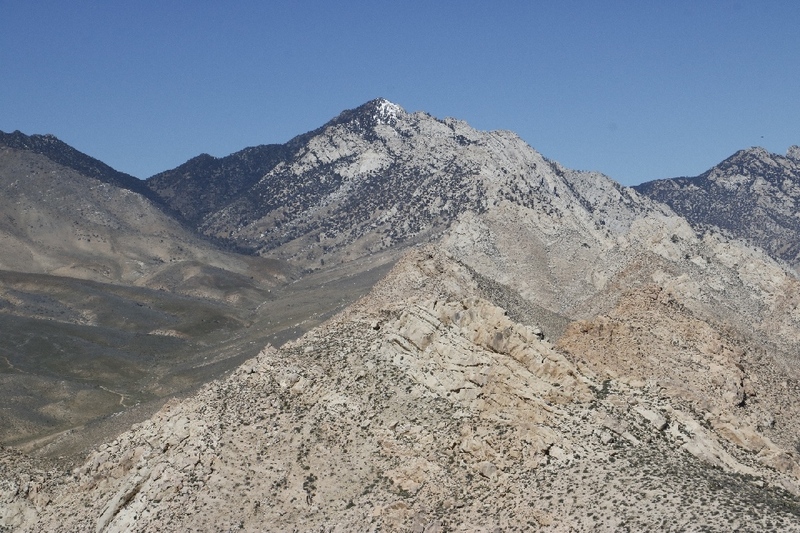 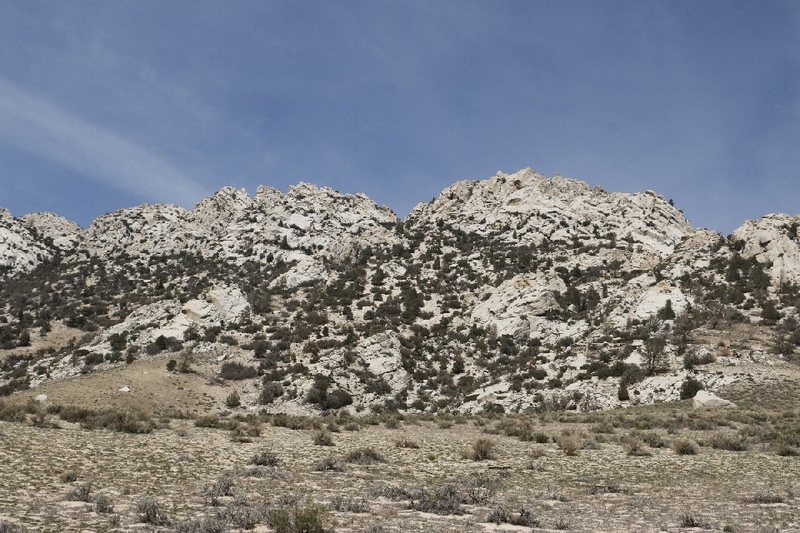 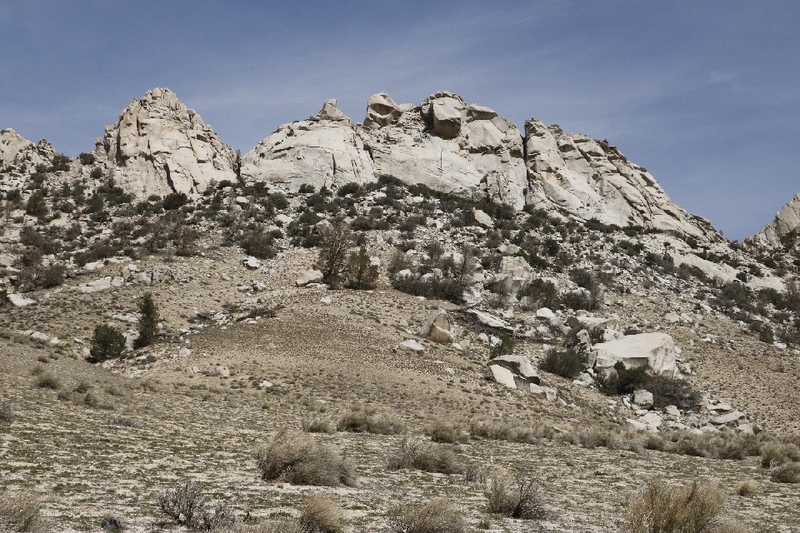 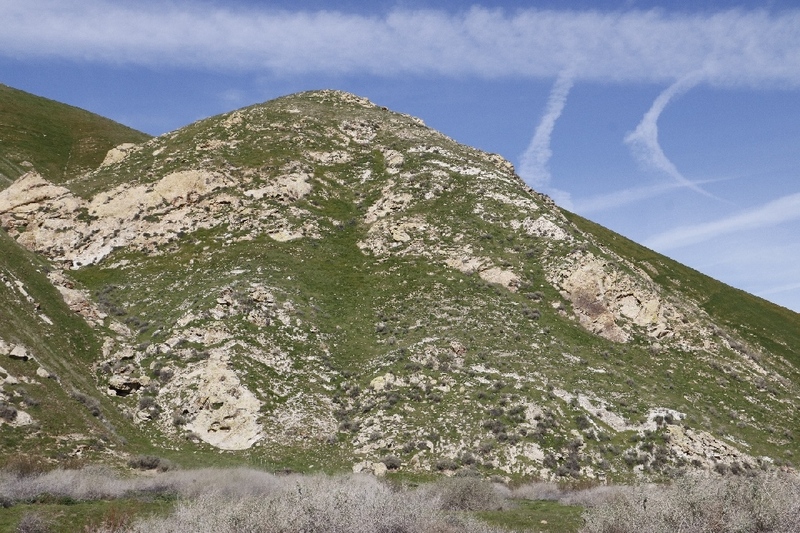 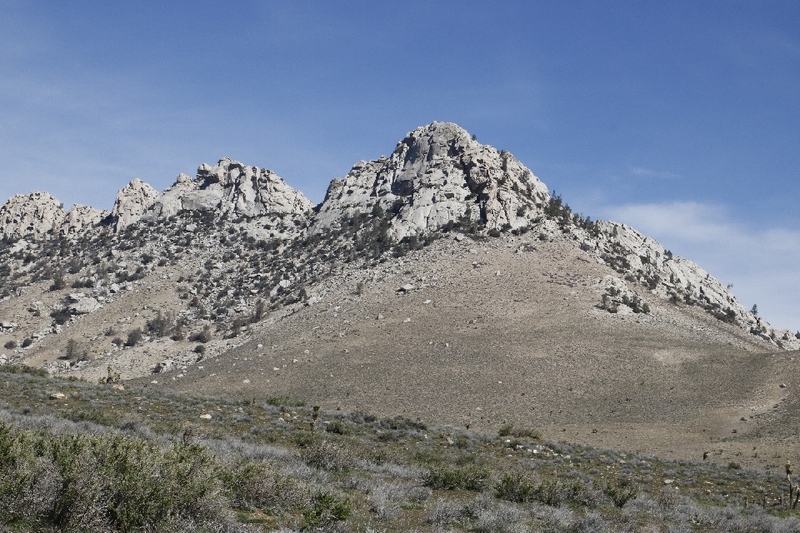 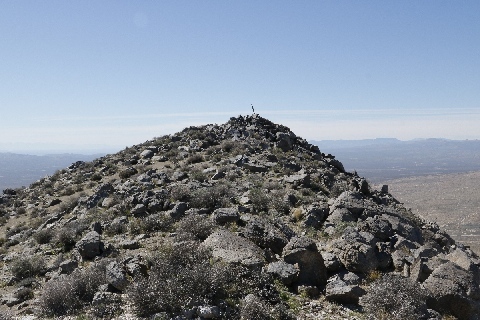 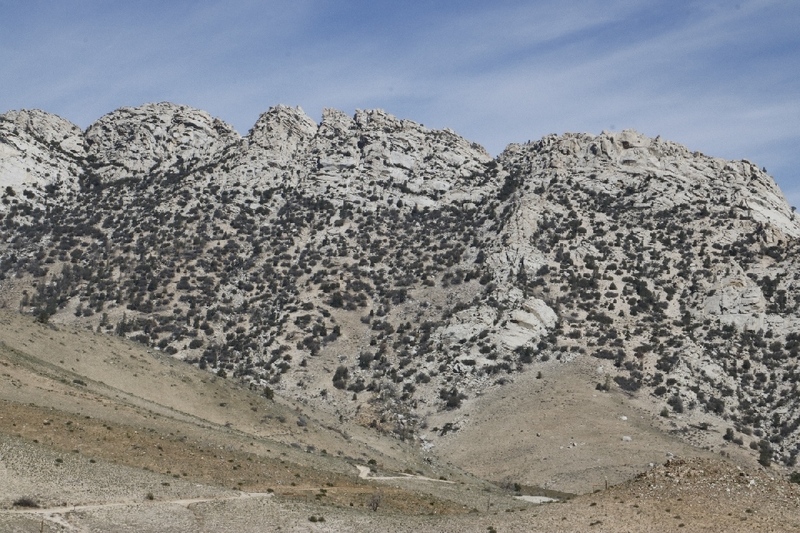 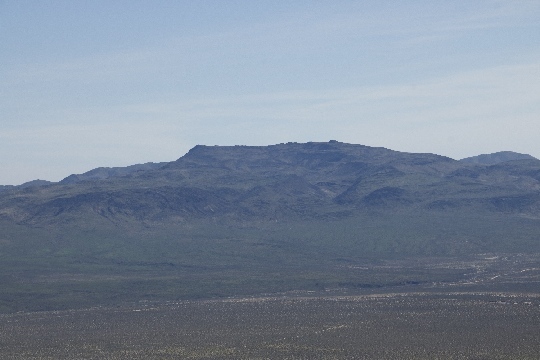 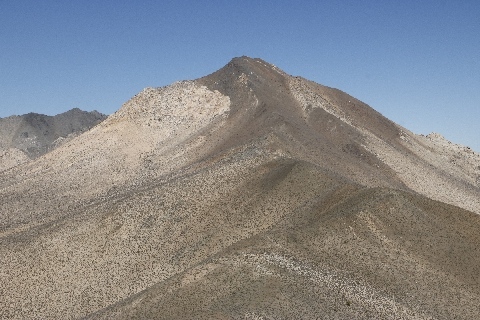 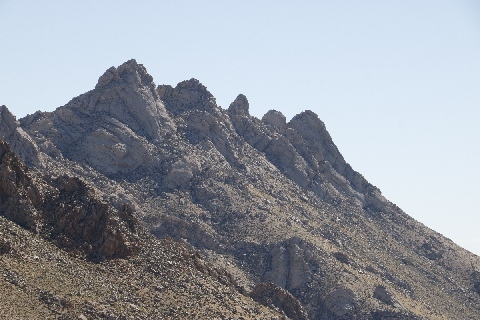 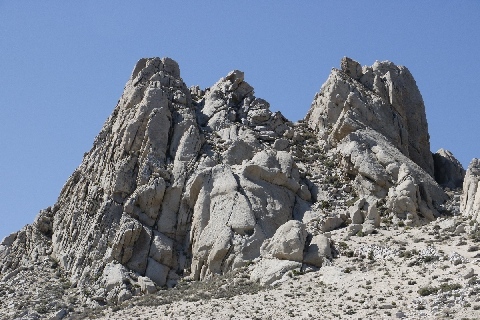 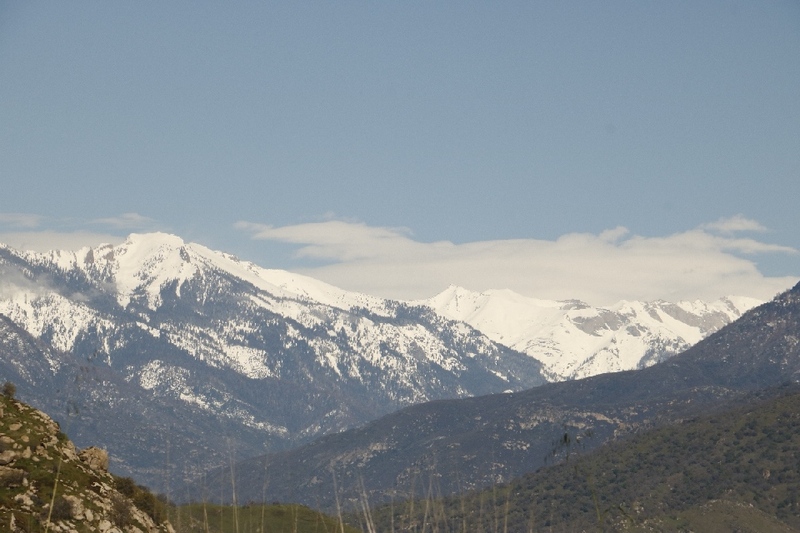 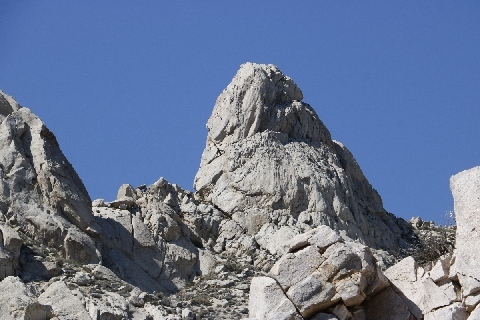 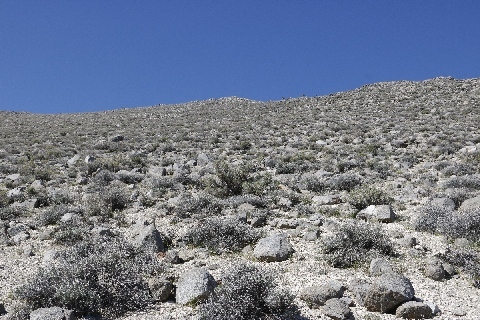 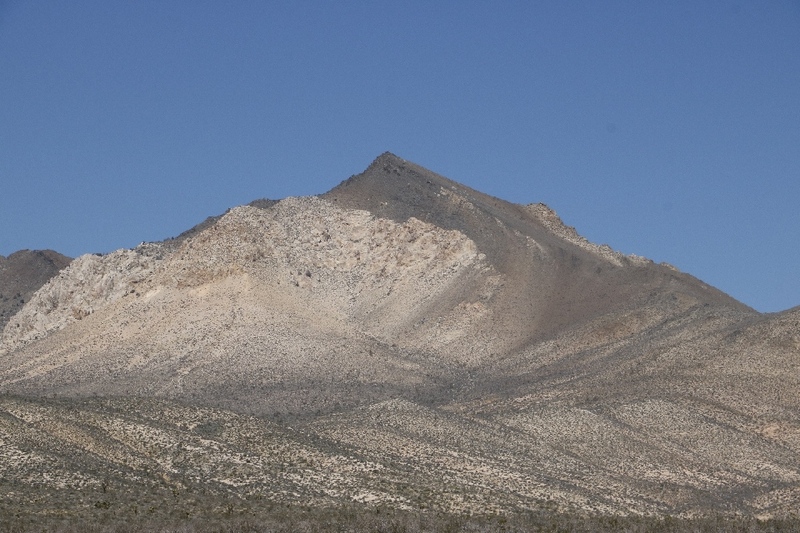 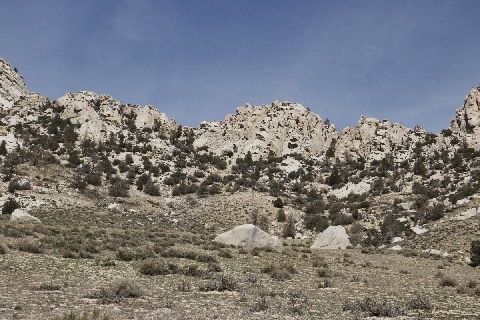 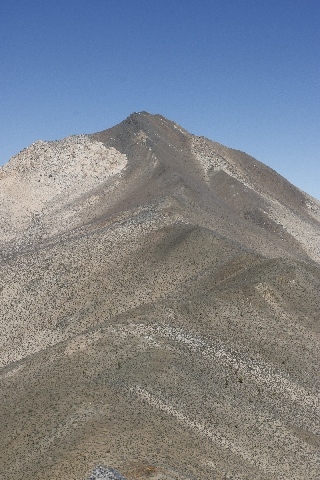 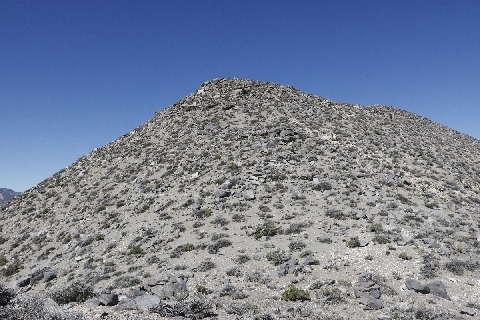 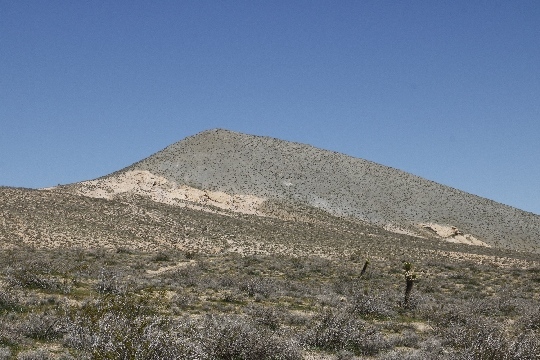 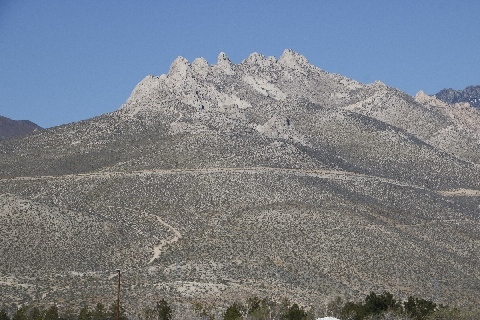 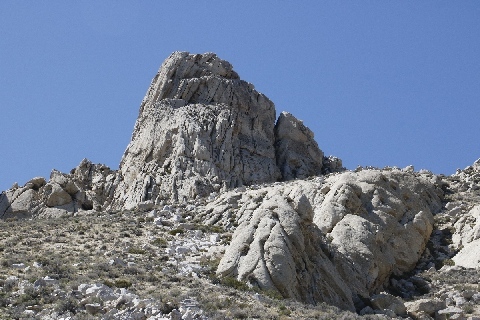 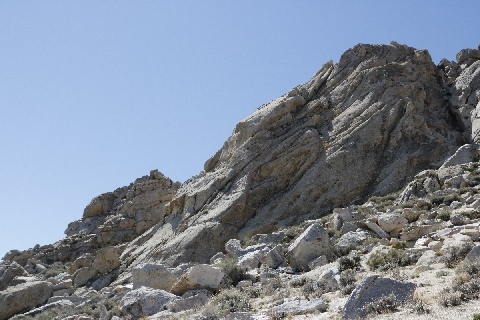 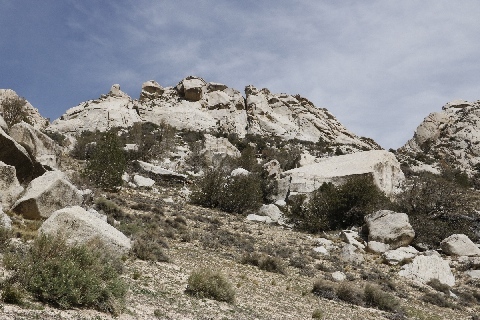 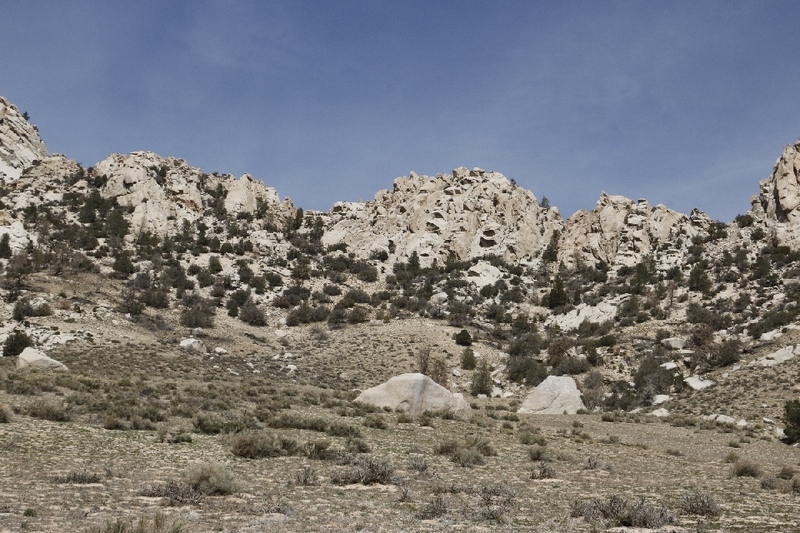 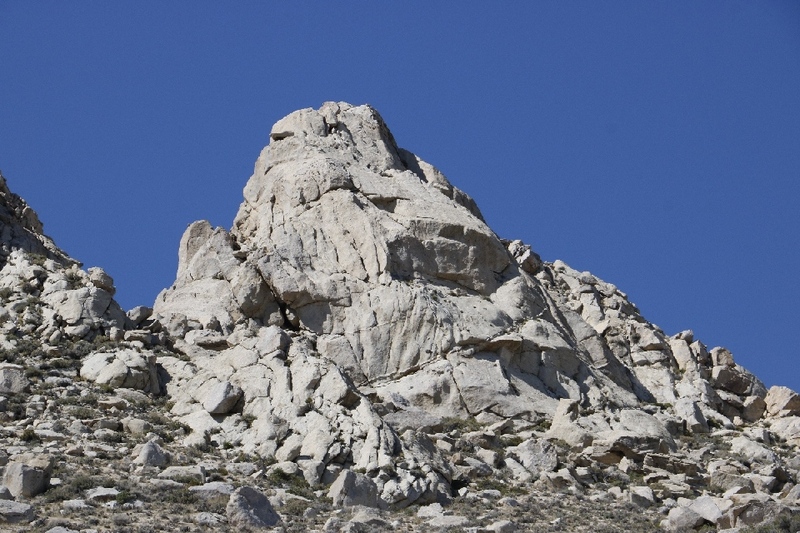 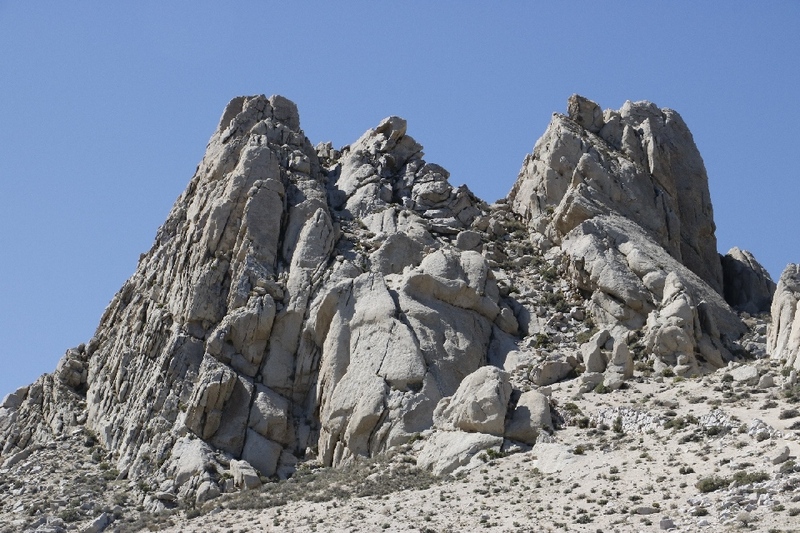 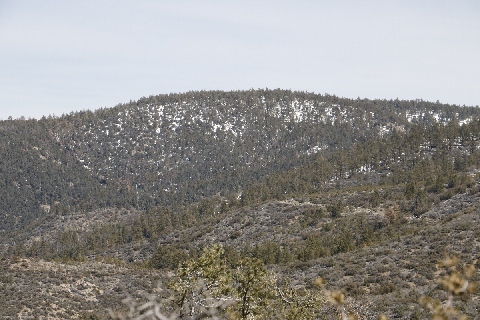 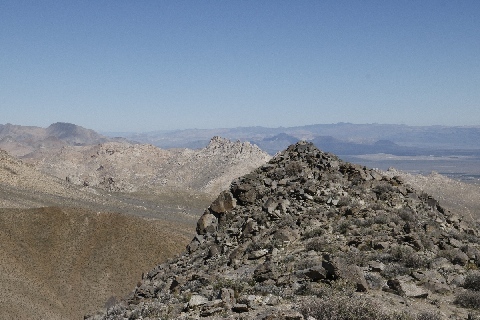 This peak is located adjacent to Oedipus Peak south side. 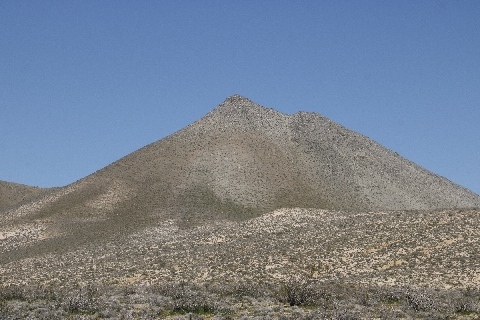 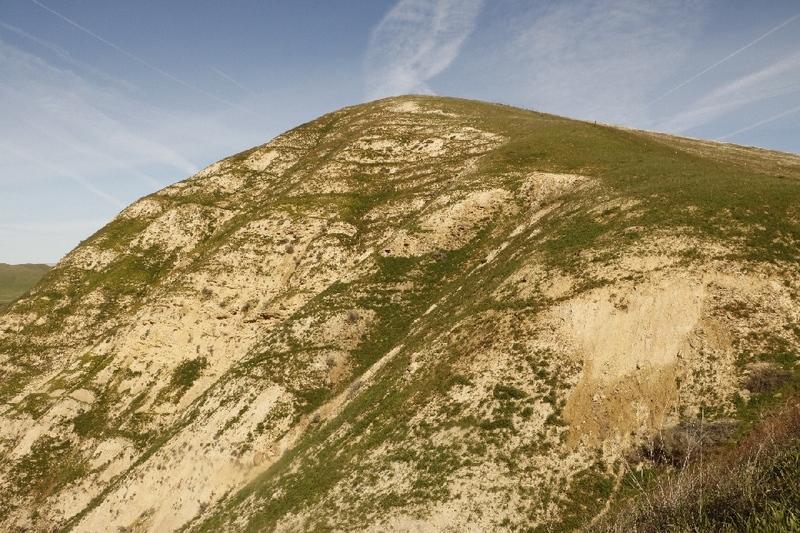 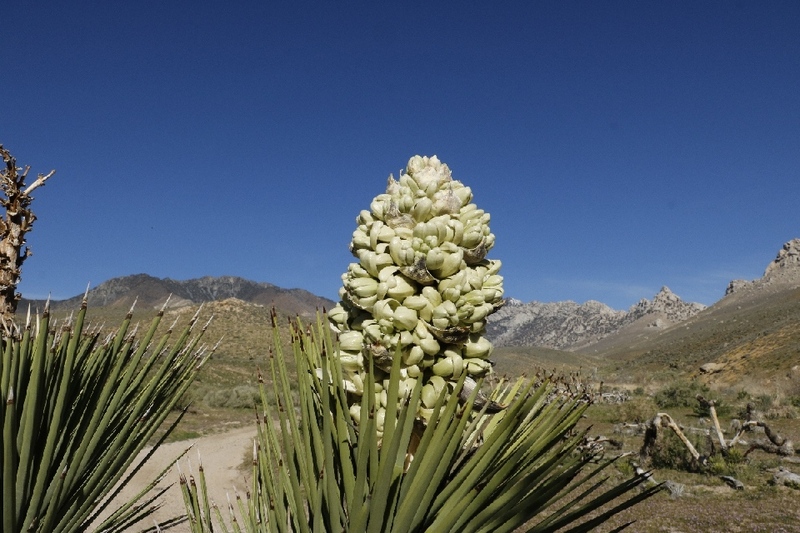 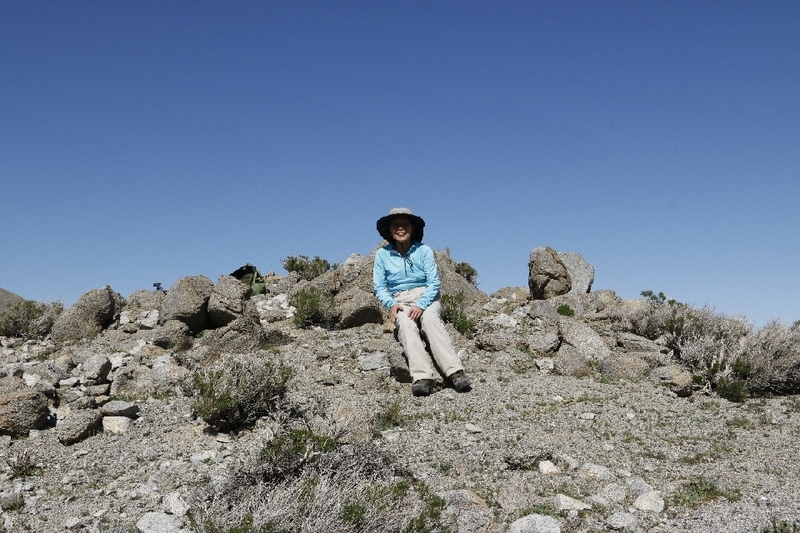 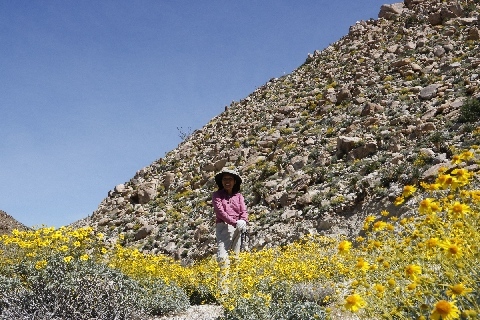 This peak is rarely visited, the register showed only 2-3 people per year. 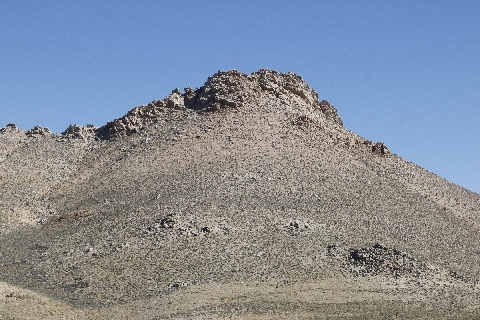 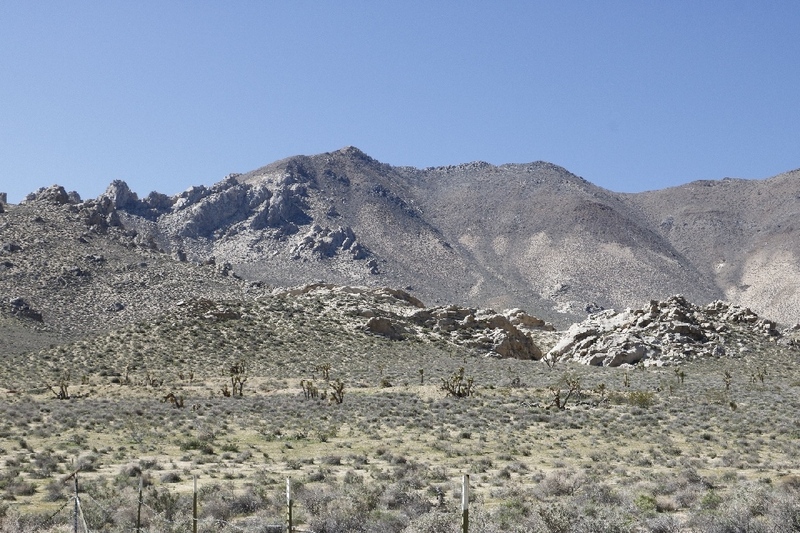 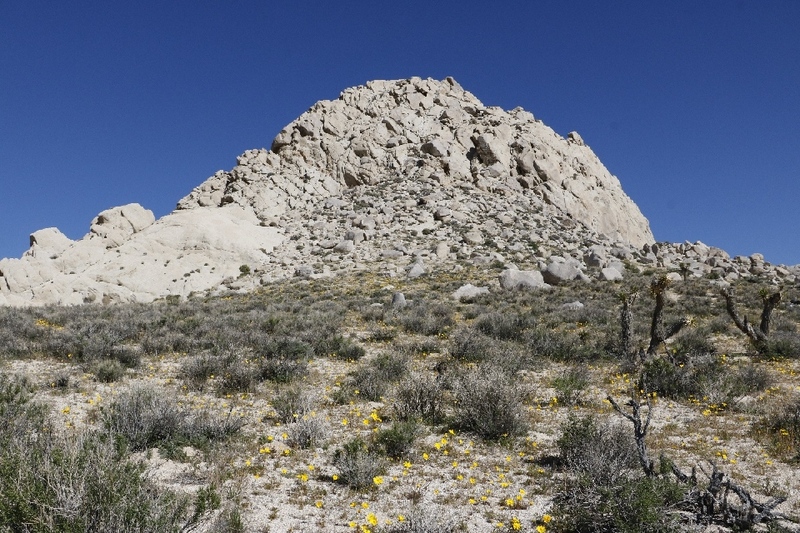 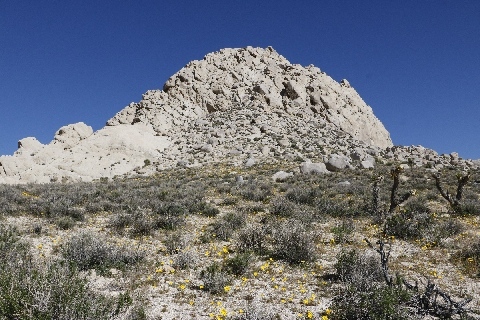 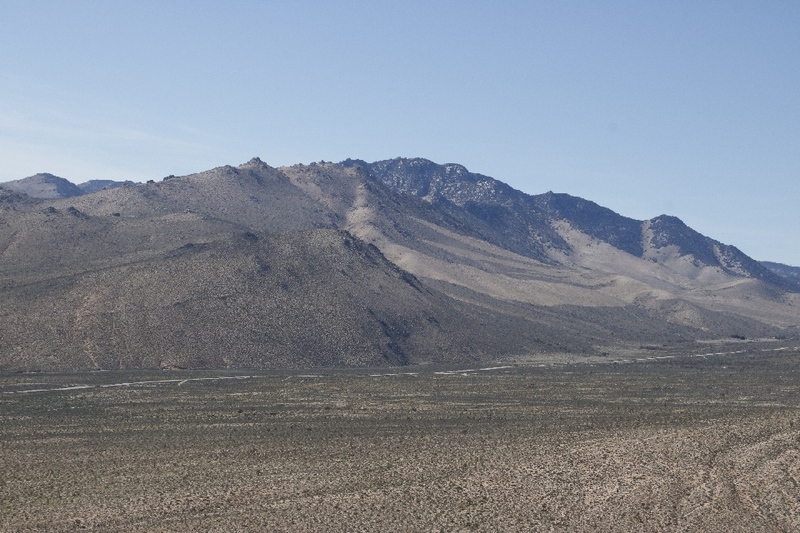 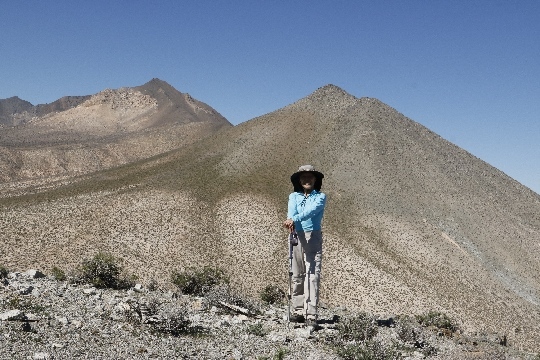 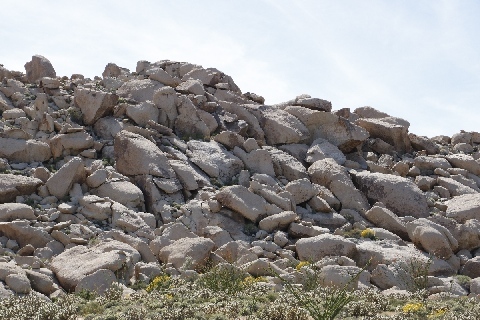 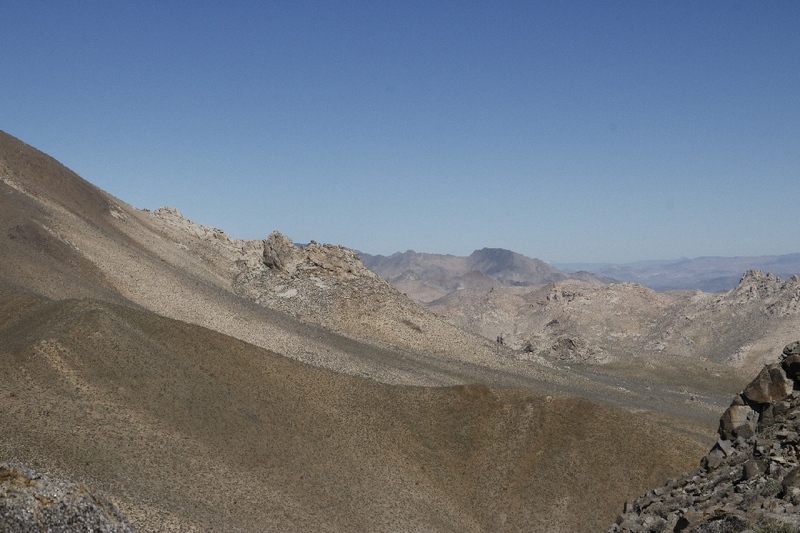 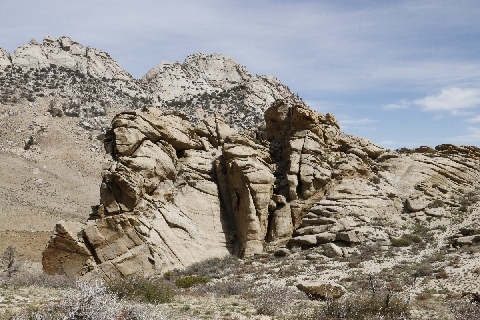 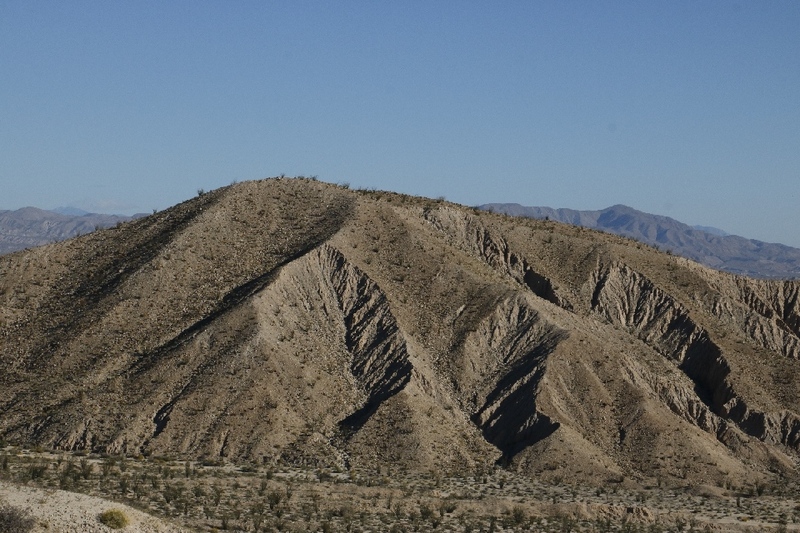 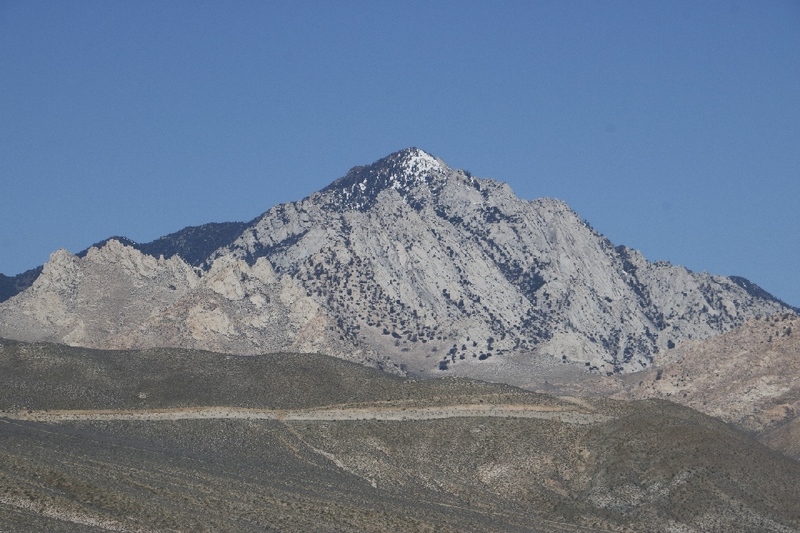 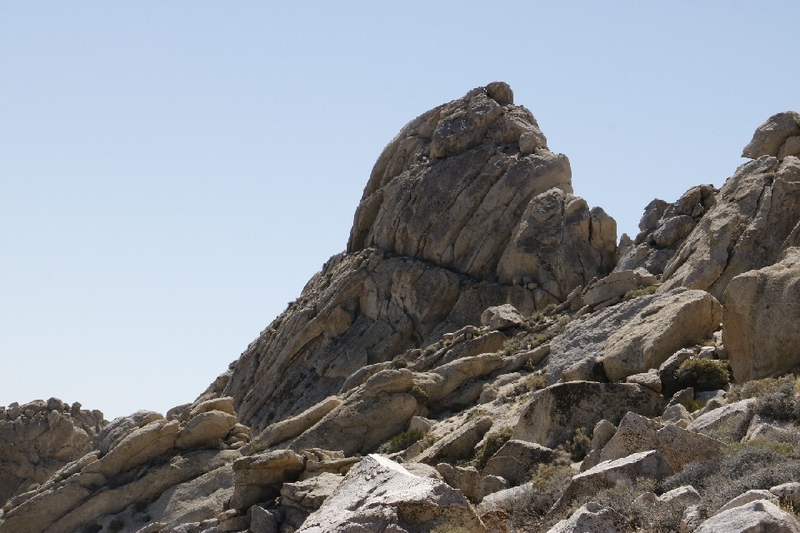 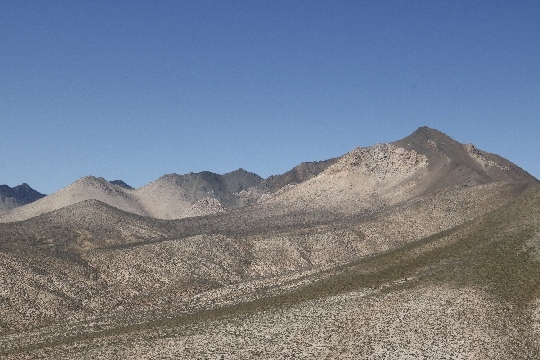 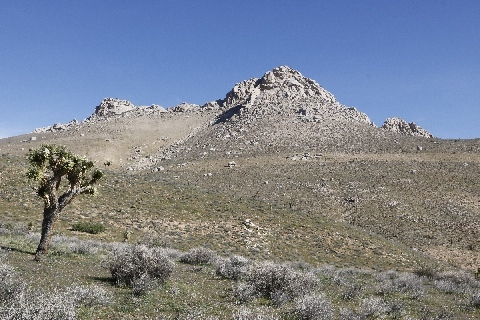 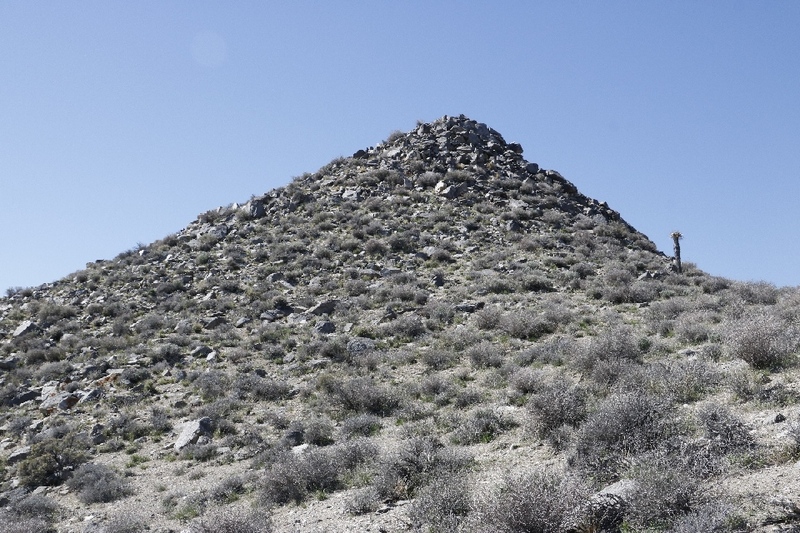 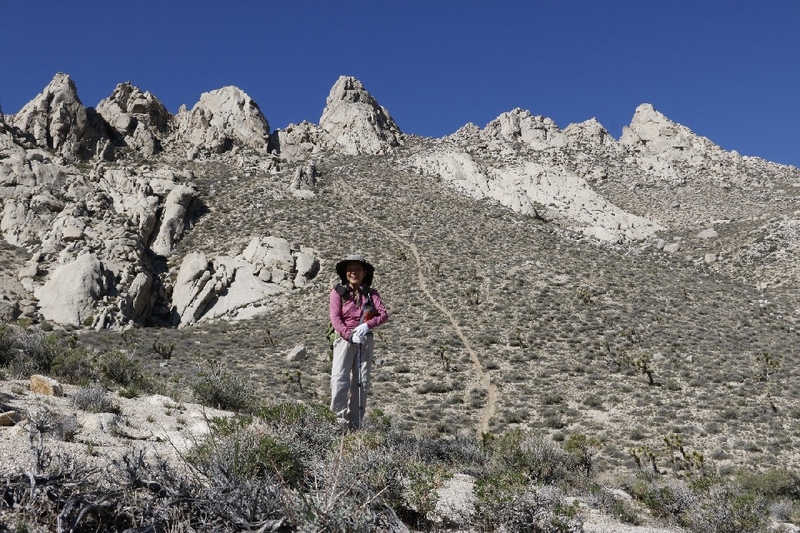 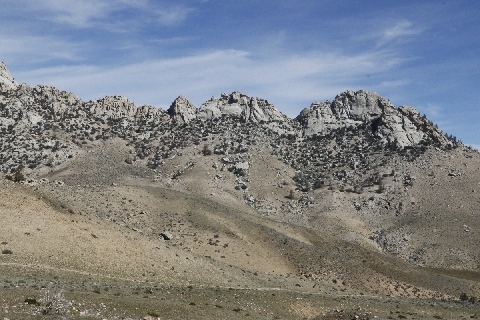 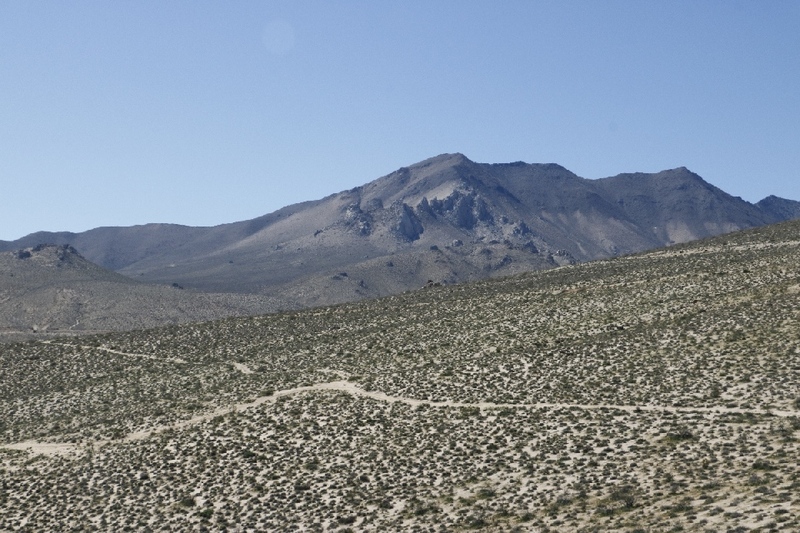 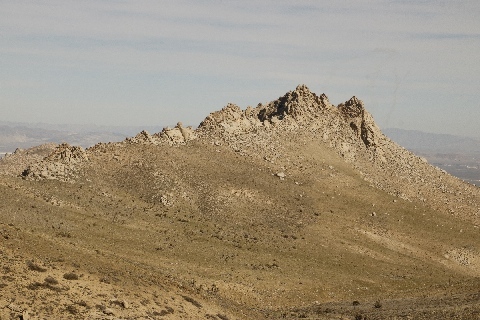 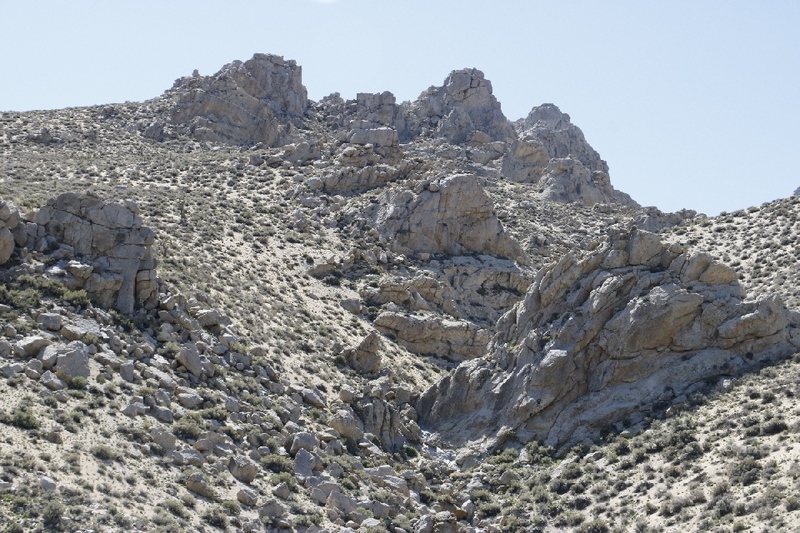 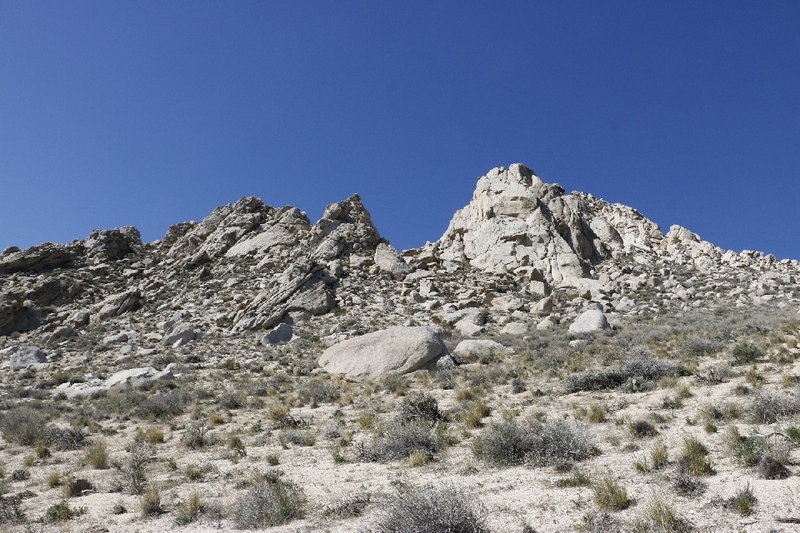 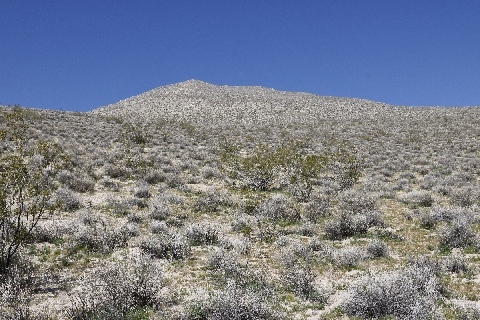 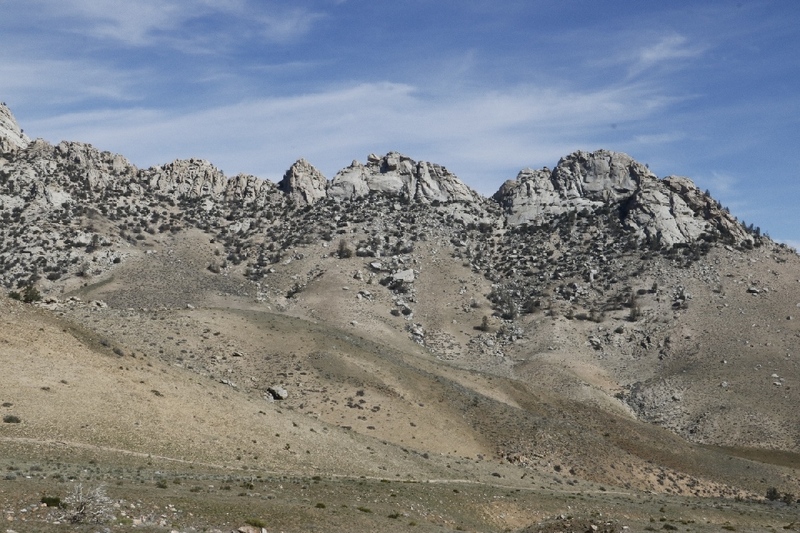 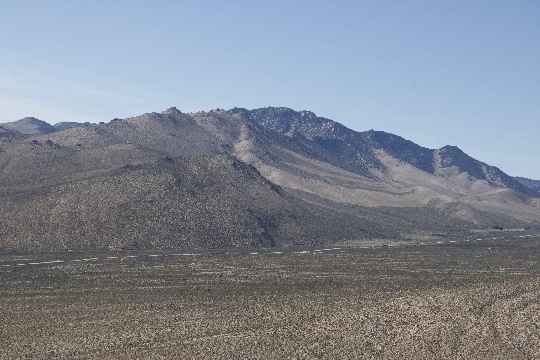 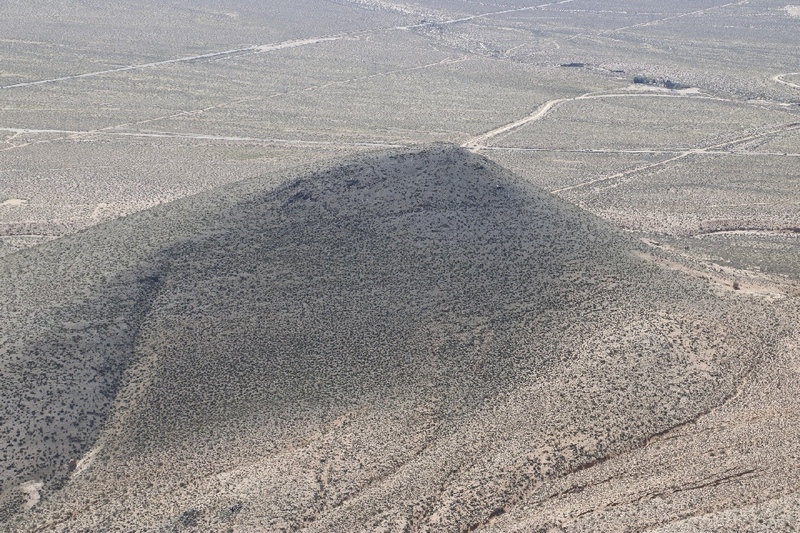 3/14/2017 Oedipus Peak, near Ridgecrest, CA (3.2 miles) - This peak is located between the Five Fingers and highway #178. 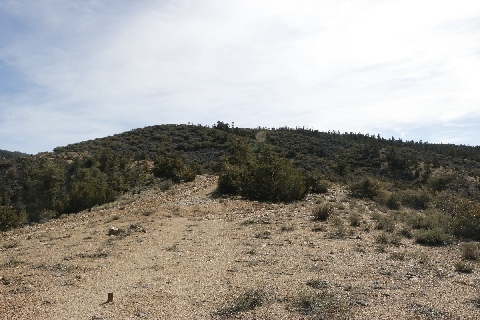 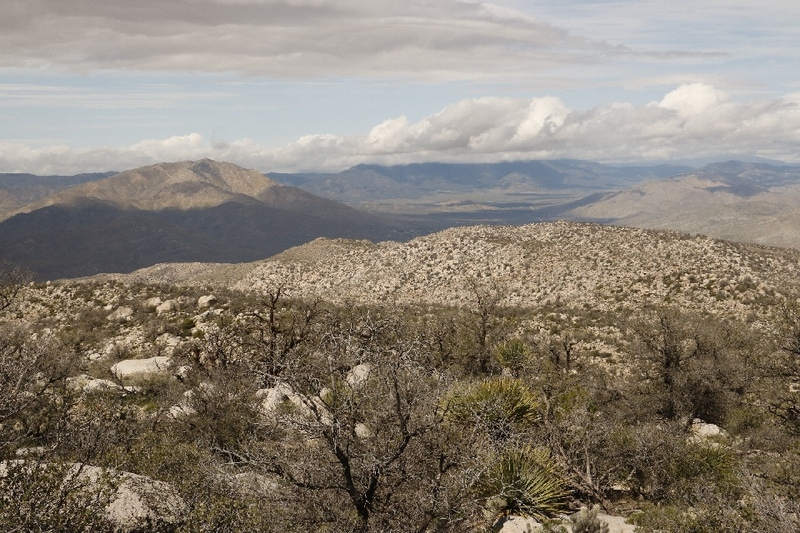 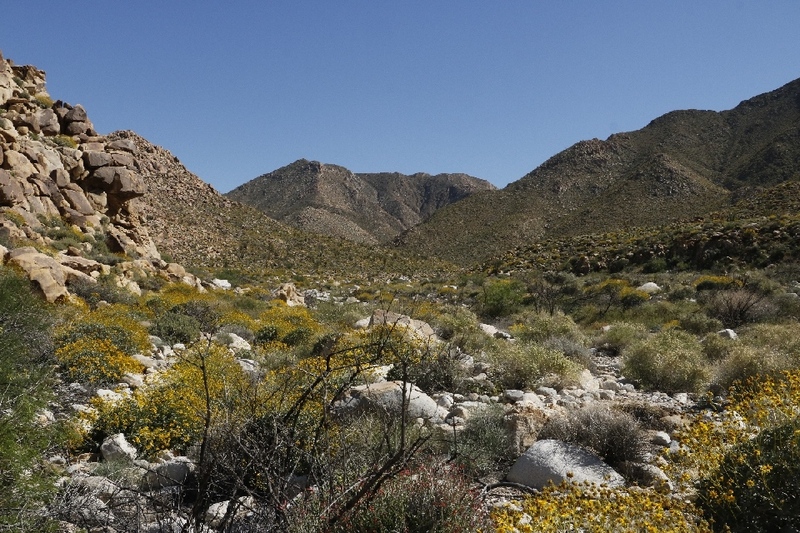 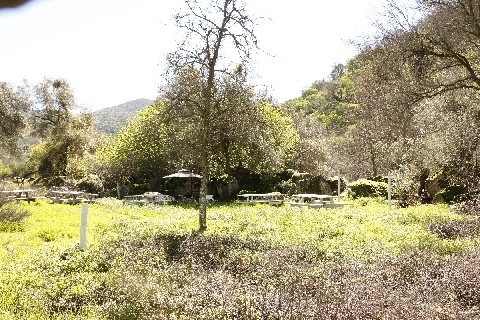 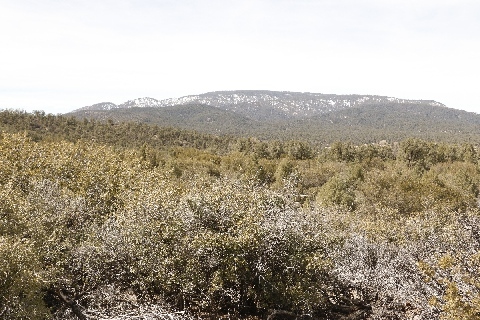 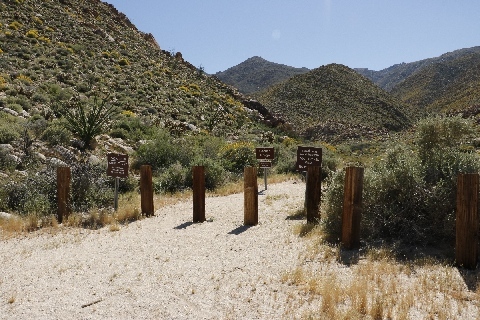 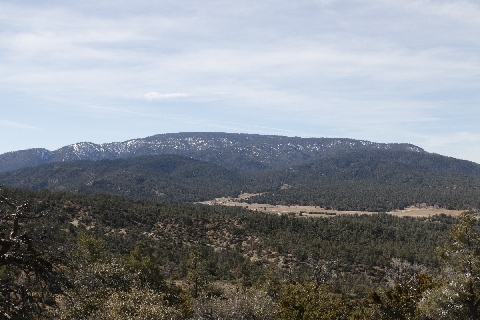 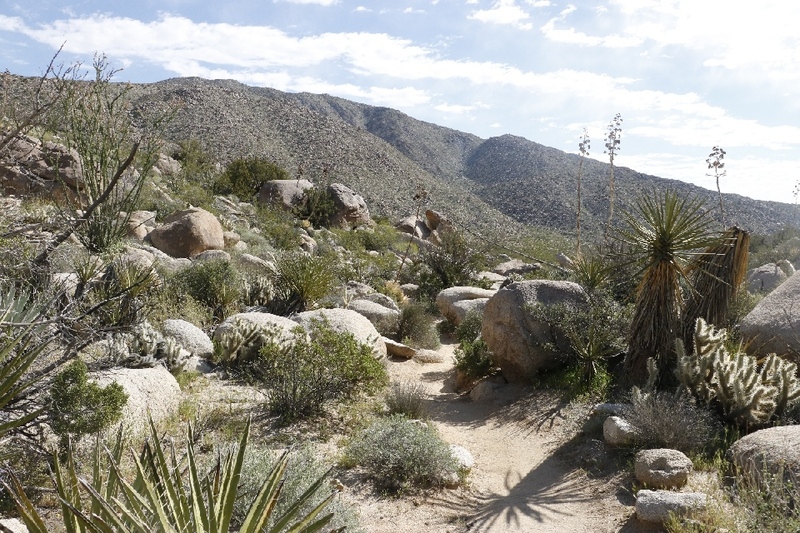 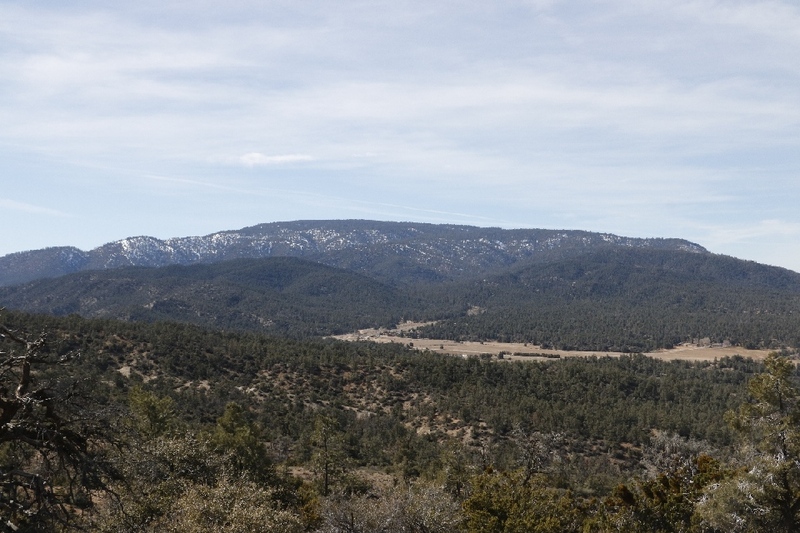 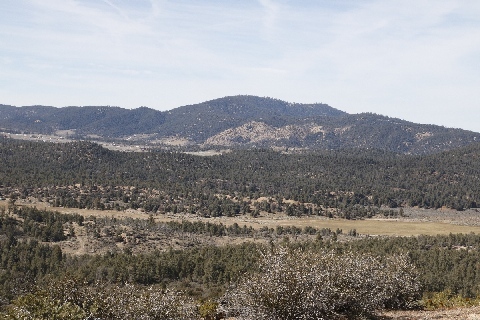 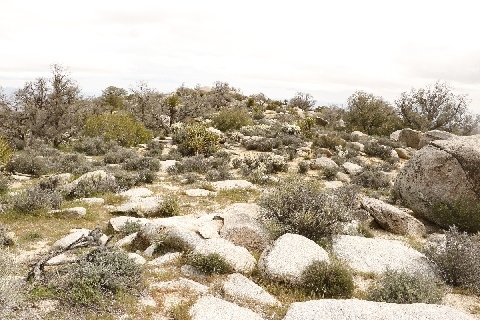 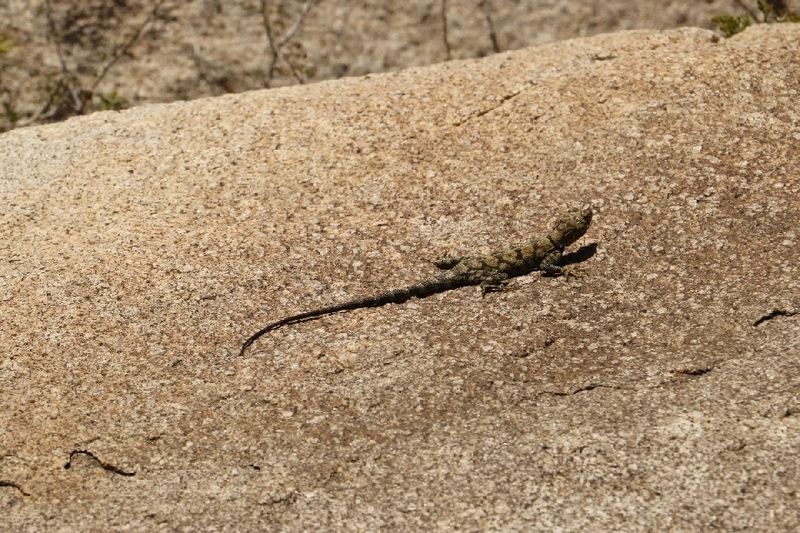 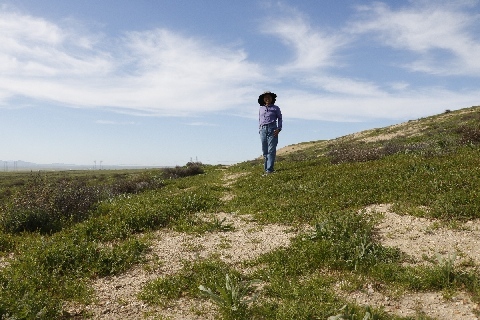 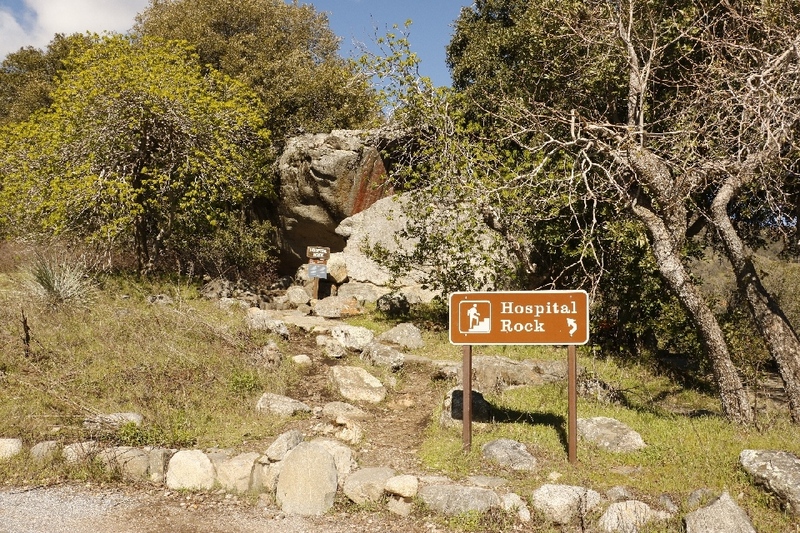 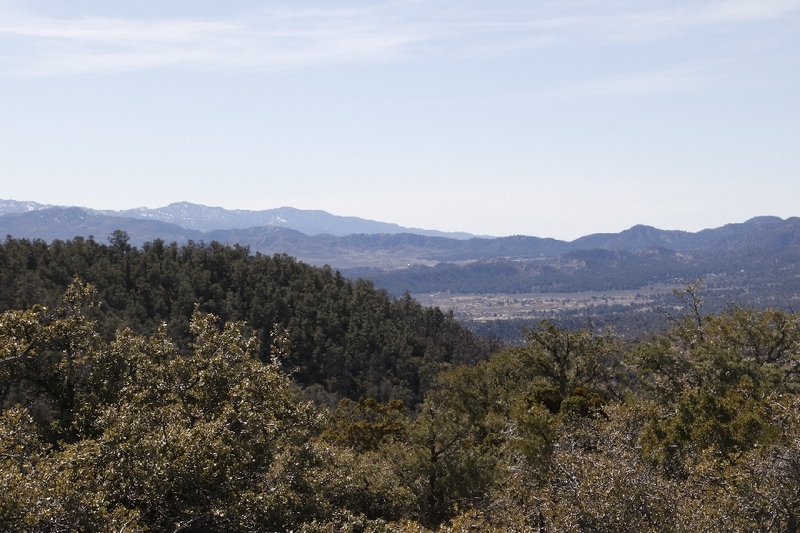 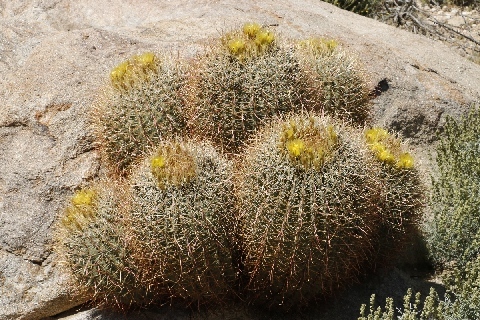 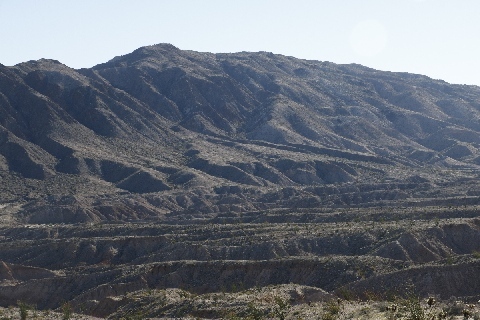 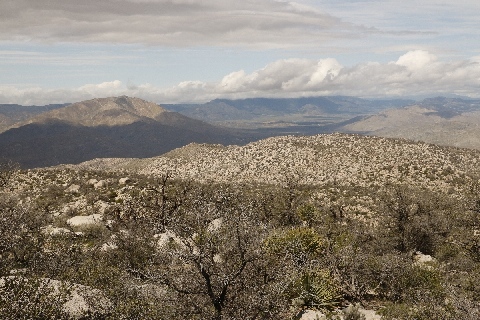 There is no parking lot or hiking trail, parked side of the dirt road and relatively easy ground to hike up to. Couple weeks ago was too cold to hike, but today was pretty warm for lower level of hiking. 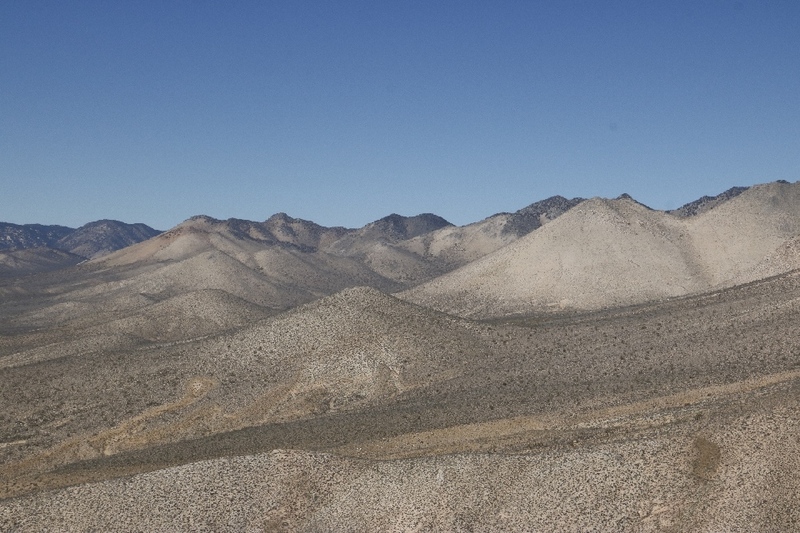 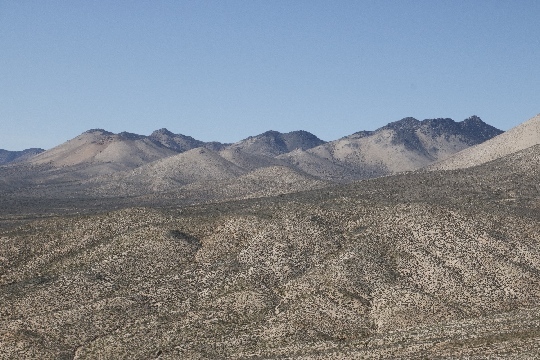 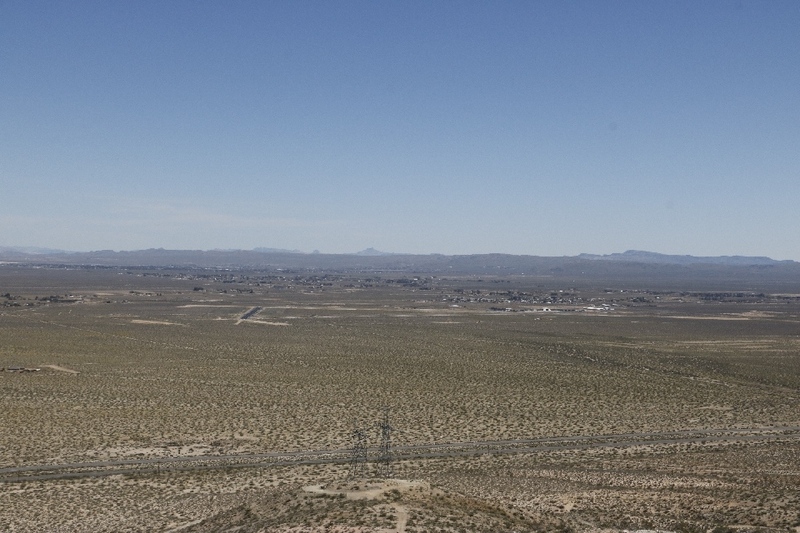 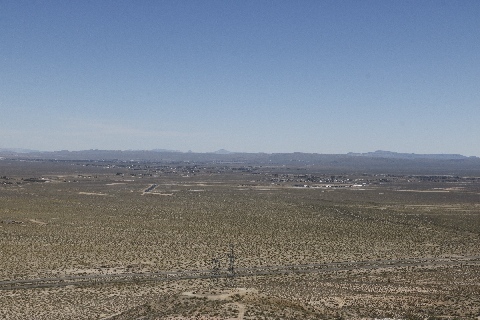 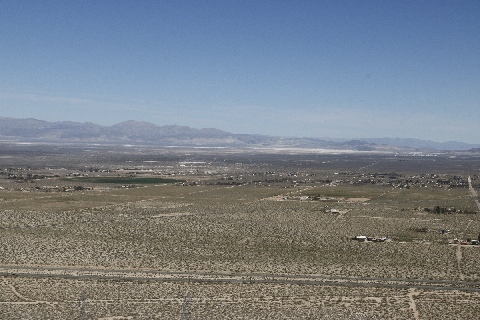 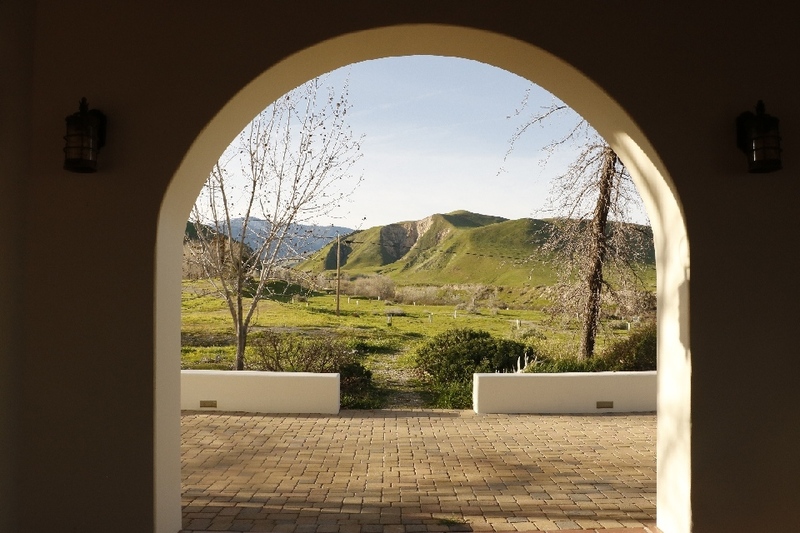 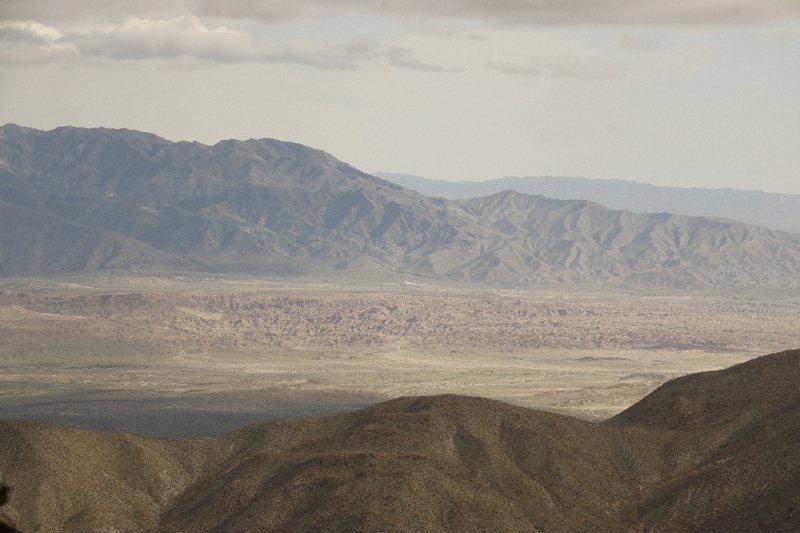 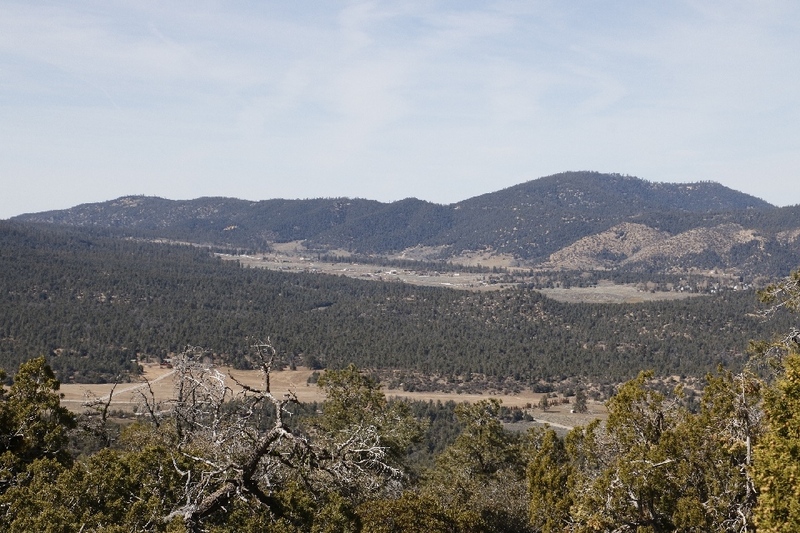 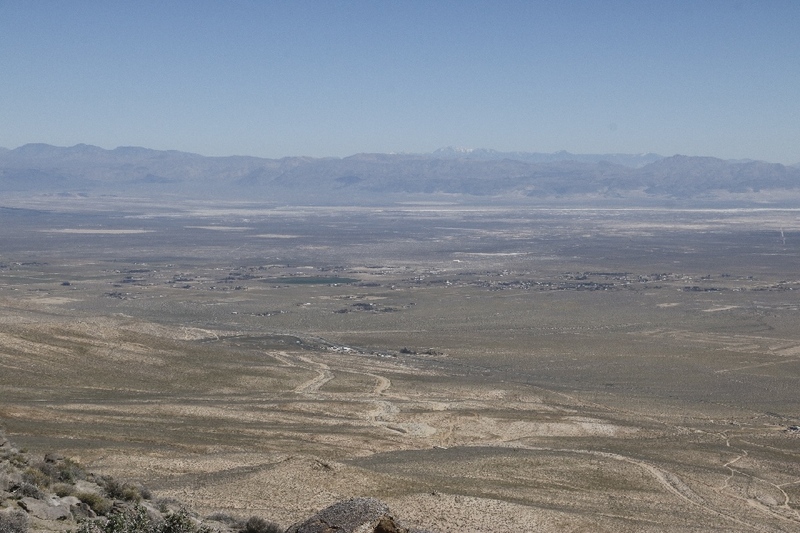 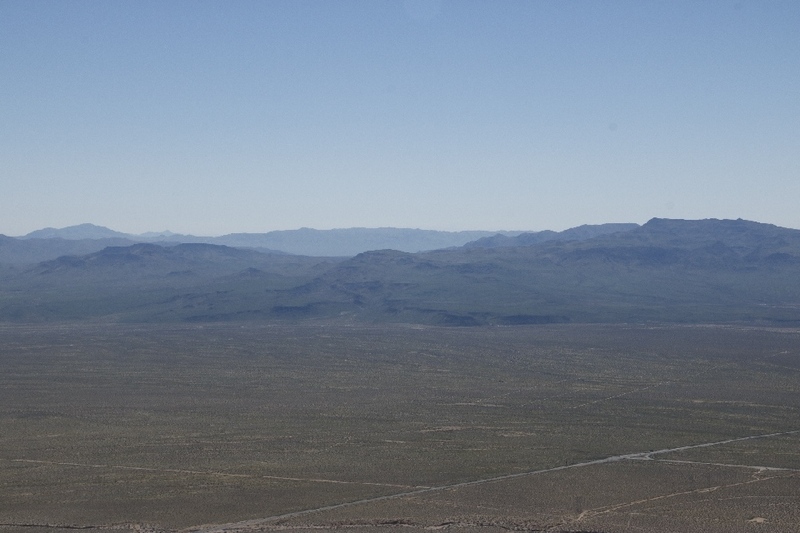 The view of Ridgecrest area is very nice. 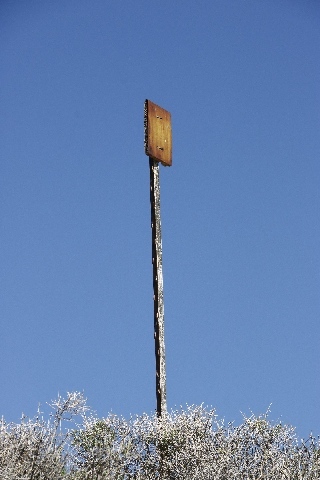 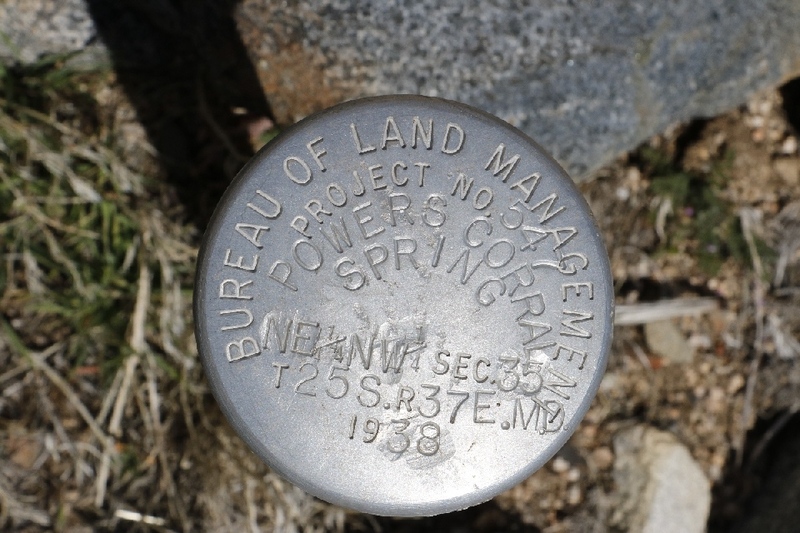 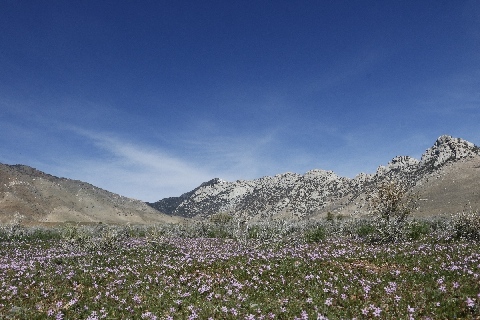 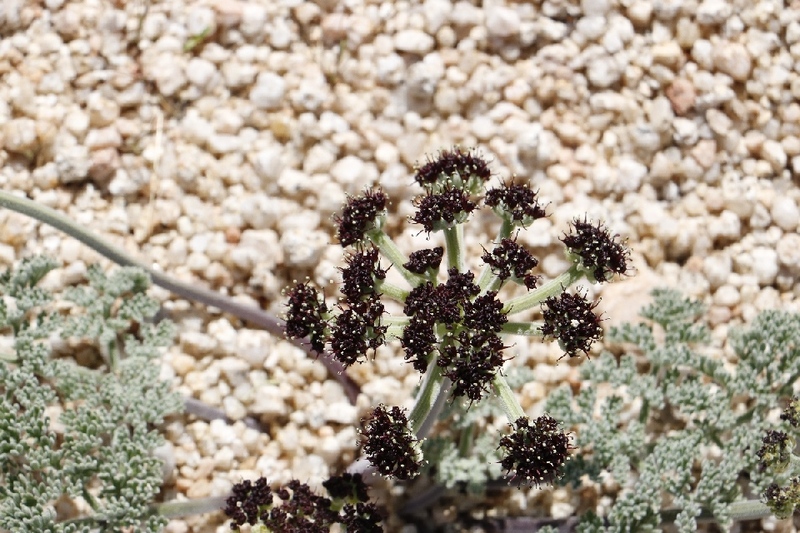 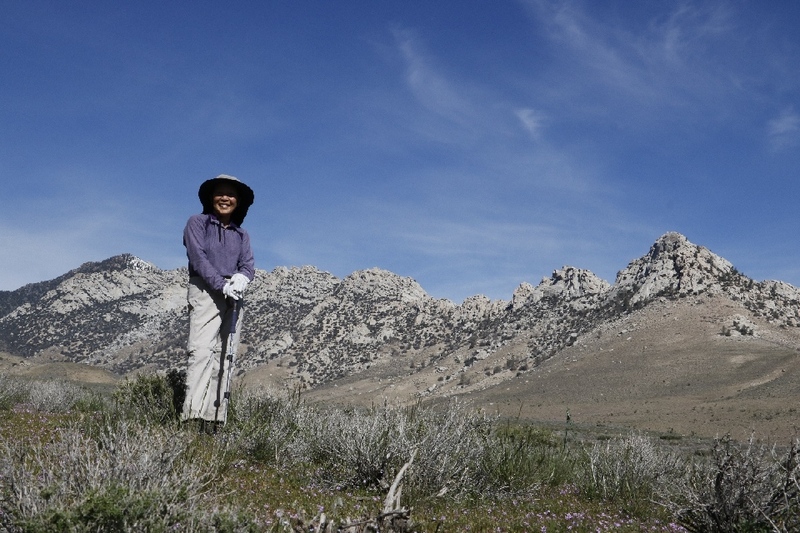 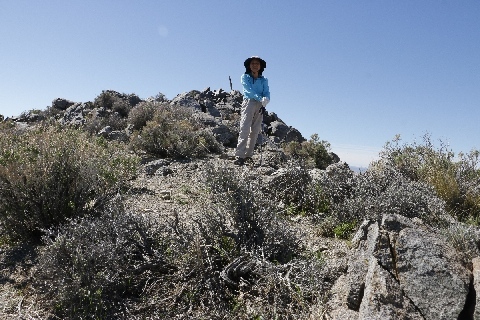 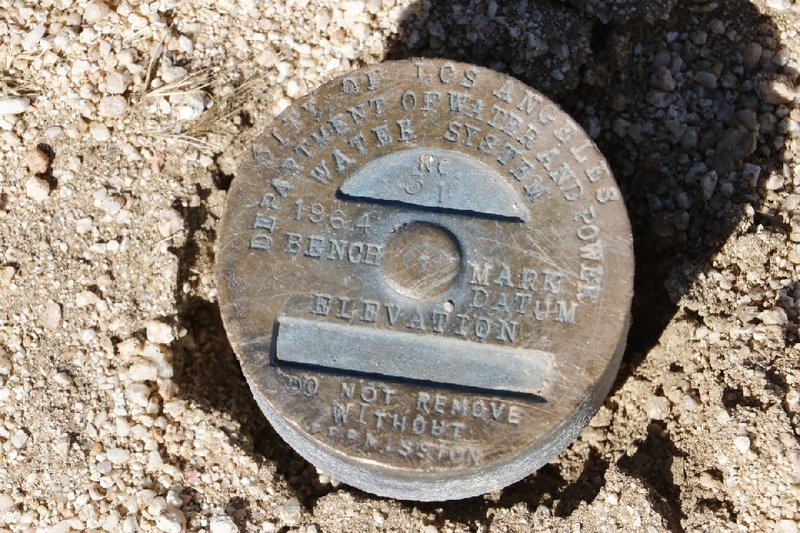 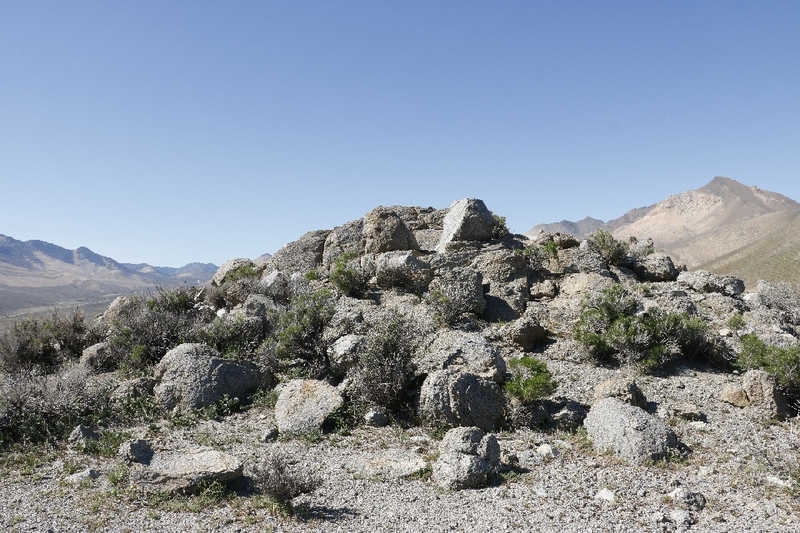 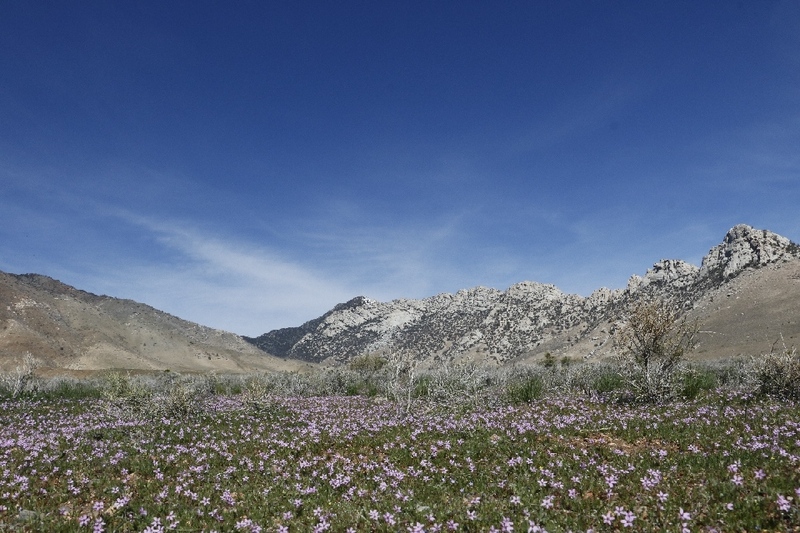 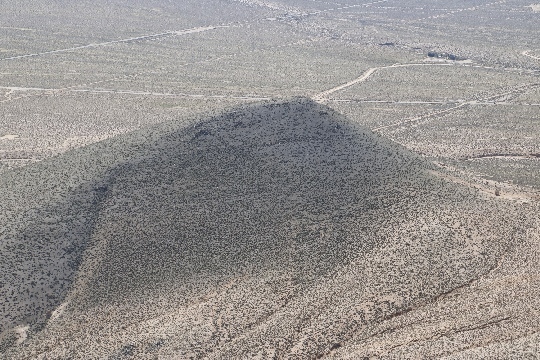 3/13/2017 Bluebird Bench Mark, near Ridgecrest, CA - Today I was doing a peak bagger, a means I don’t want to miss already existing peaks, and this Bluebird BM is one of them, I found it from the Peakbagger.com. I don’t know why this small peak/hill has own name. 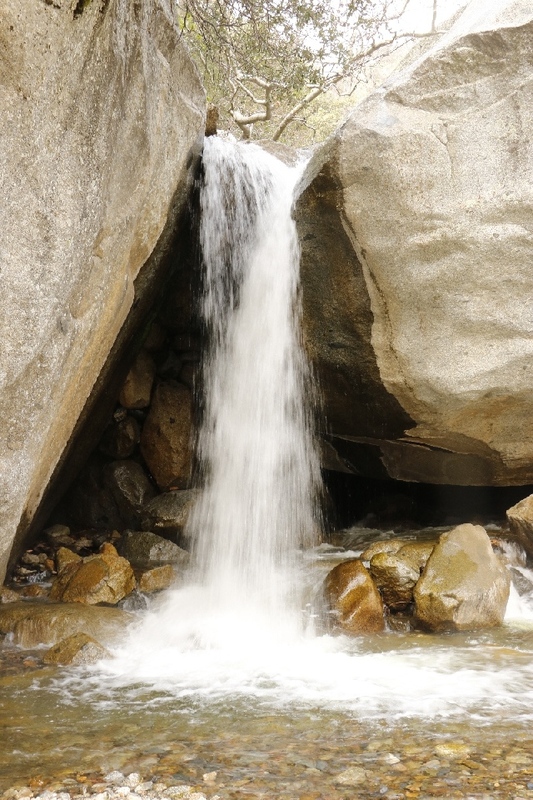 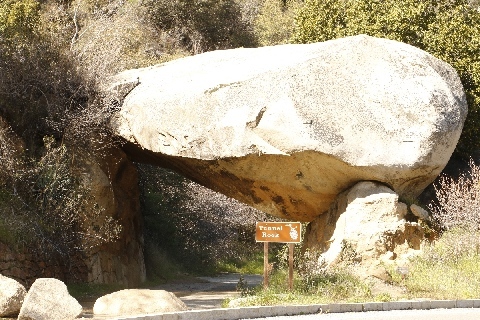 It is located between the Five Fingers and highway #14. 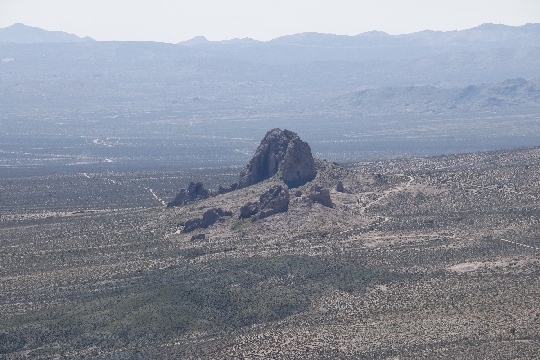 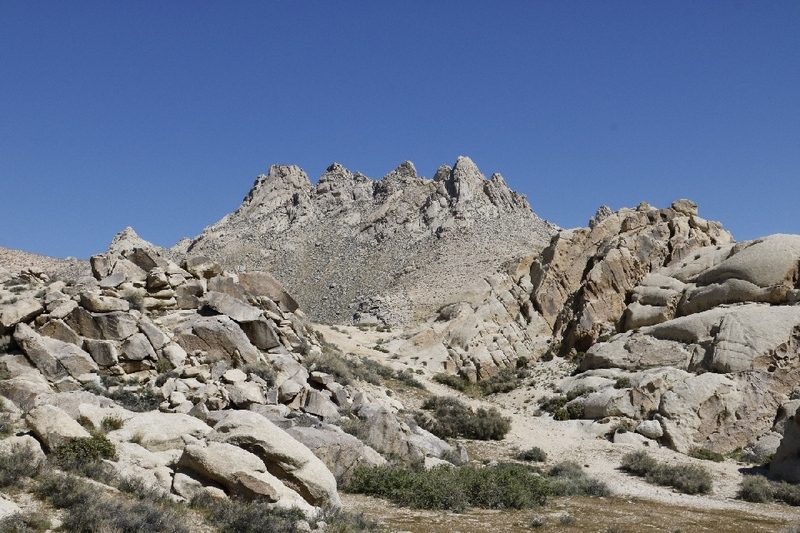 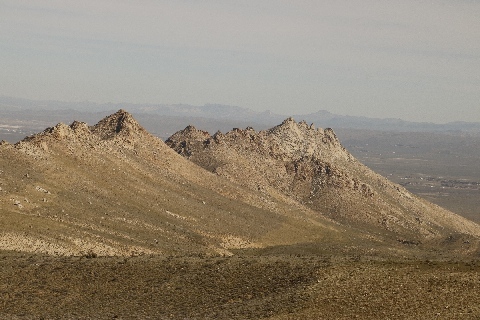 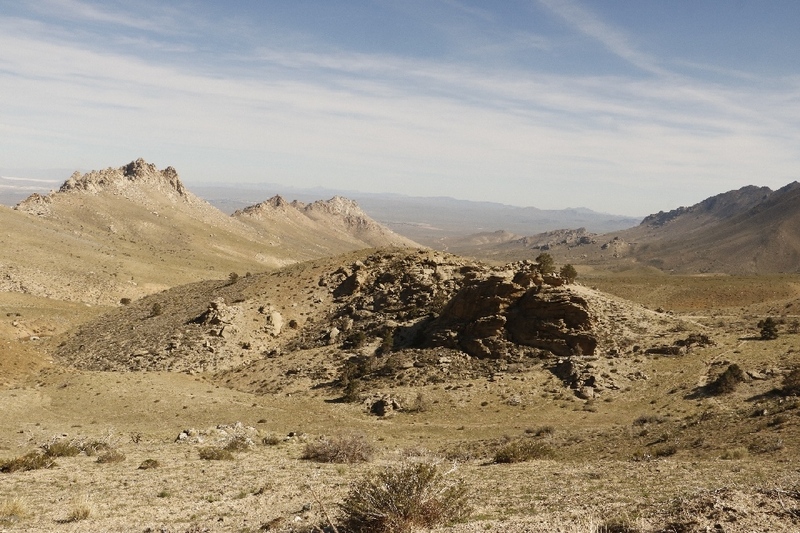 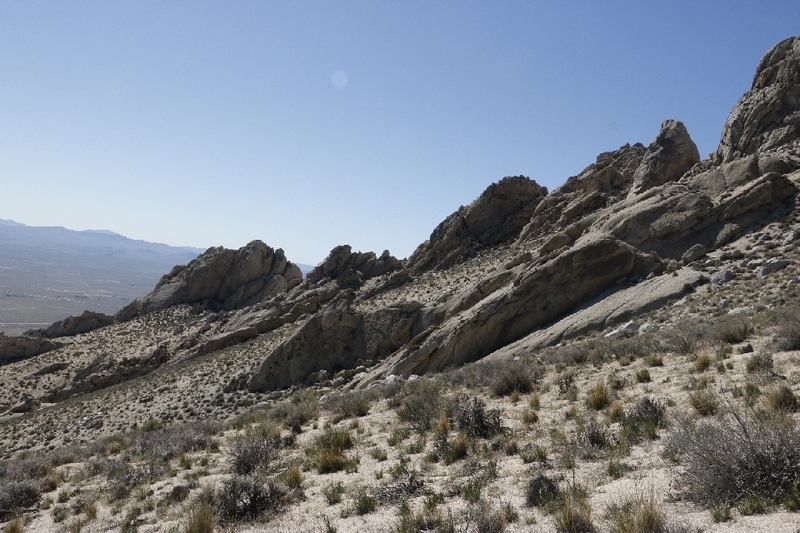 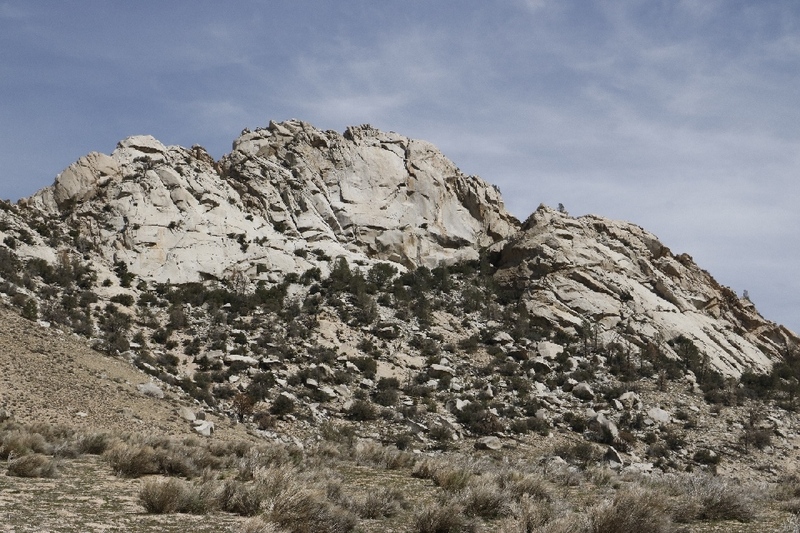 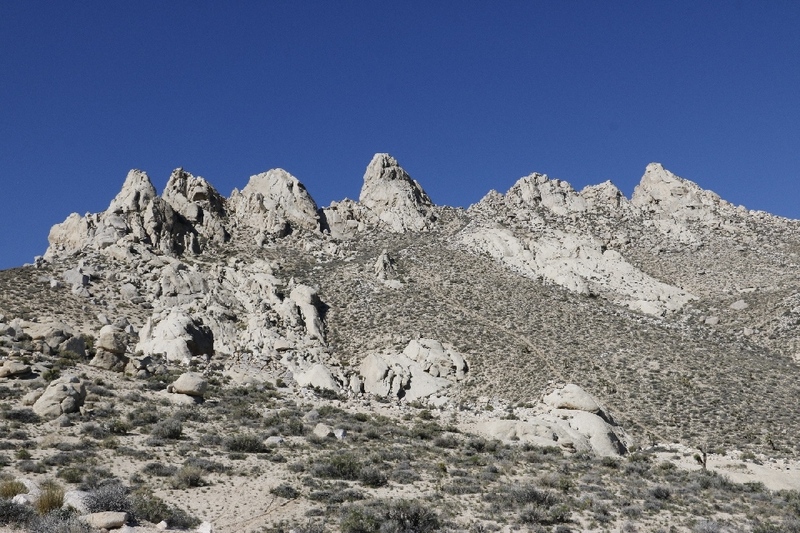 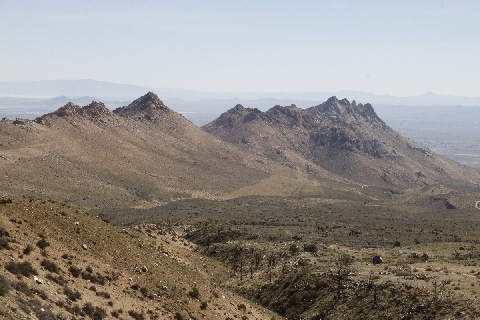 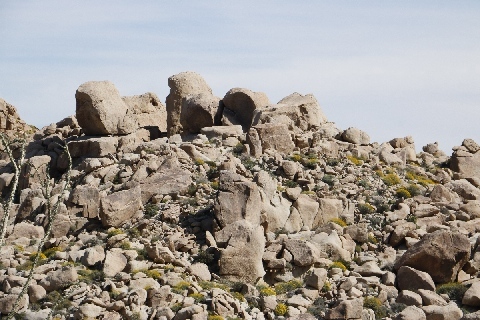 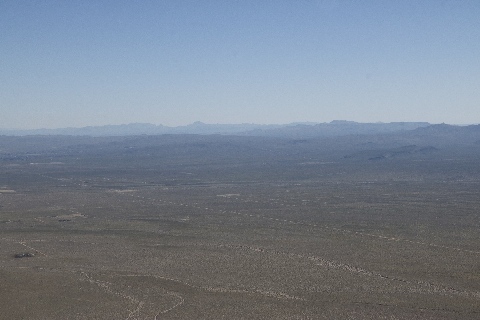 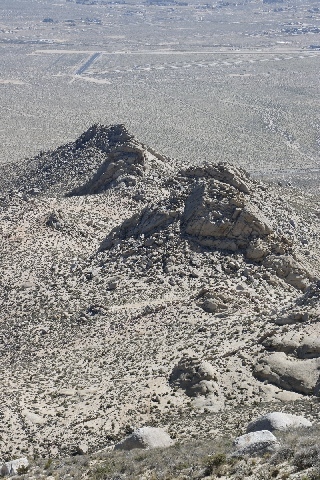 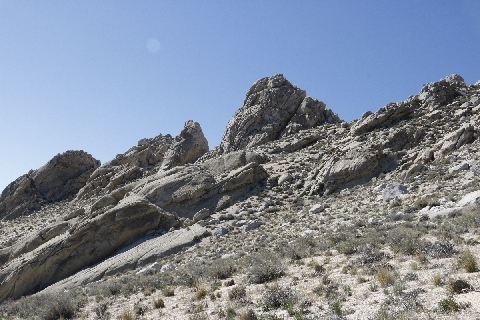 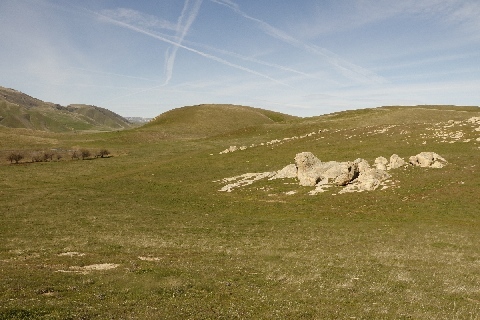 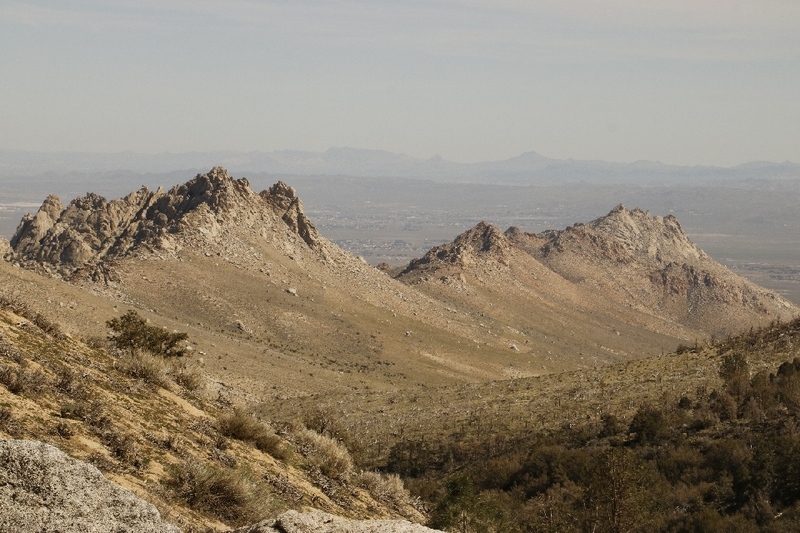 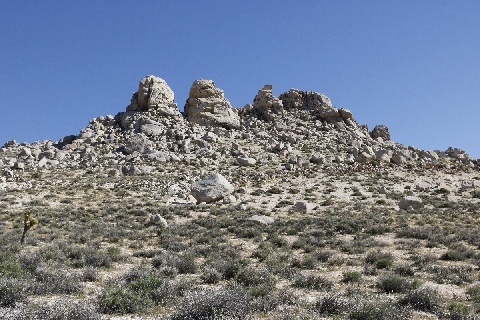 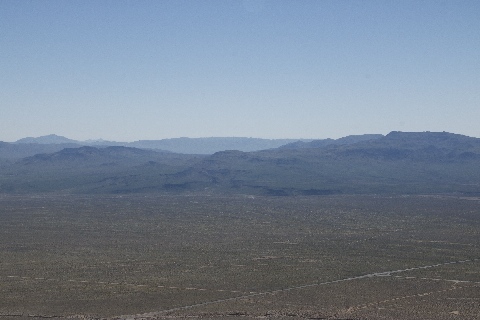 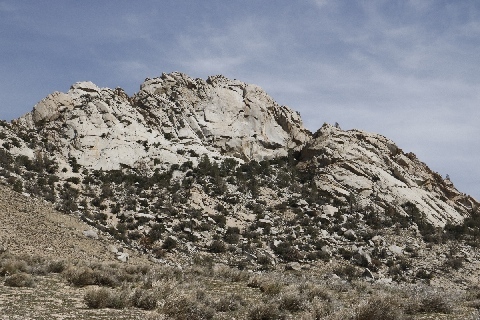 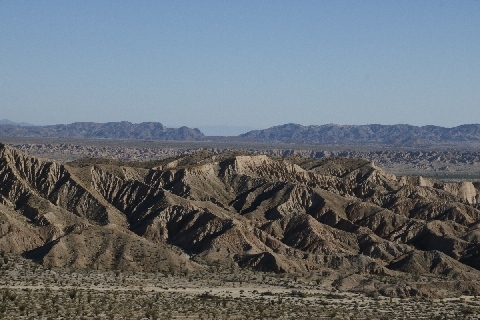 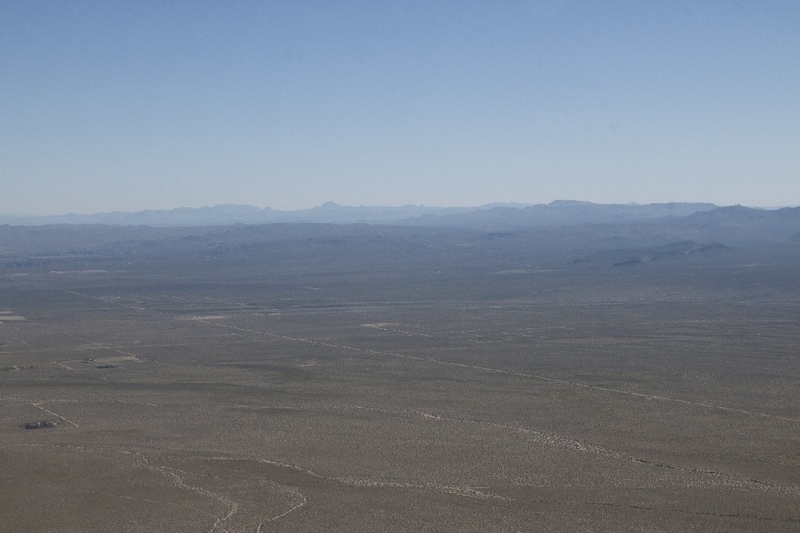 3/13/2017 Five Fingers, near Ridgecrest, CA (5.5 miles inc Bluebird BM) - Yesterday I saw the Five Fingers, at that time I wanted to hike up there, so I did it today. 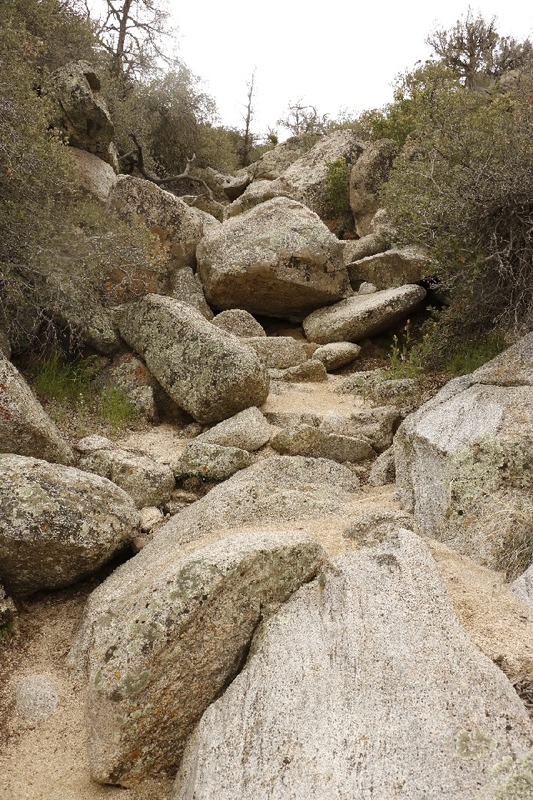 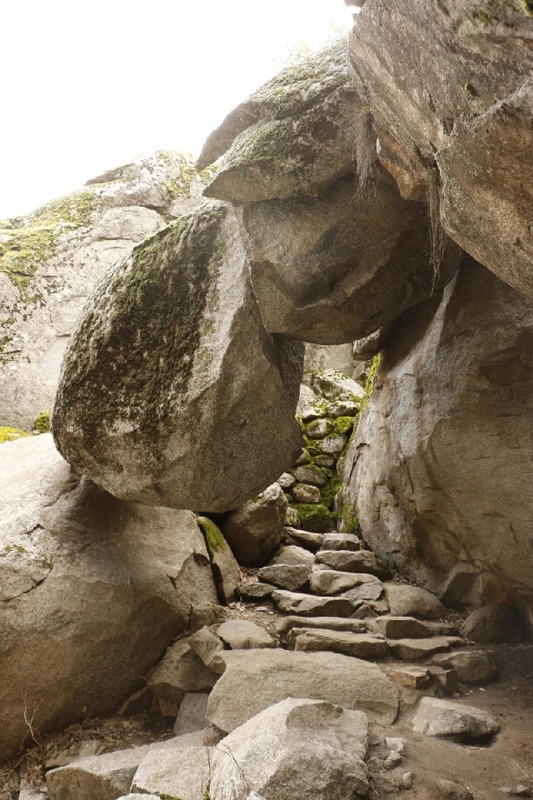 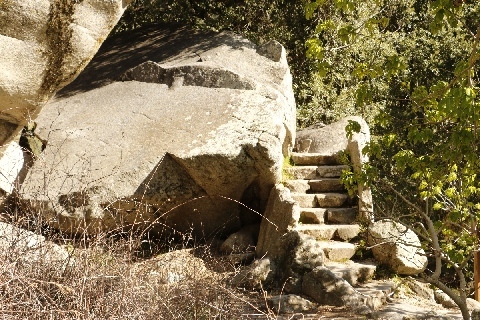 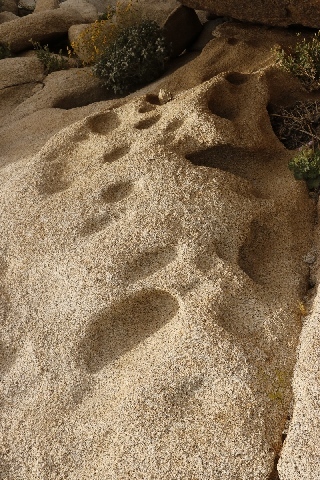 I started from east side and got up to the north, I was looking for easy way up, then found there is a trail, a means some one carved rocks and made steps, like ladder, but some steps are not for small person like me, wish they have a rope there. 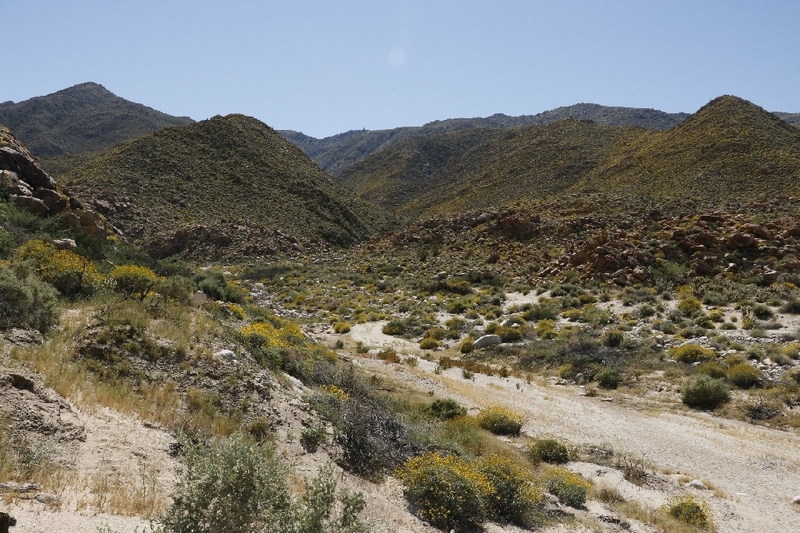 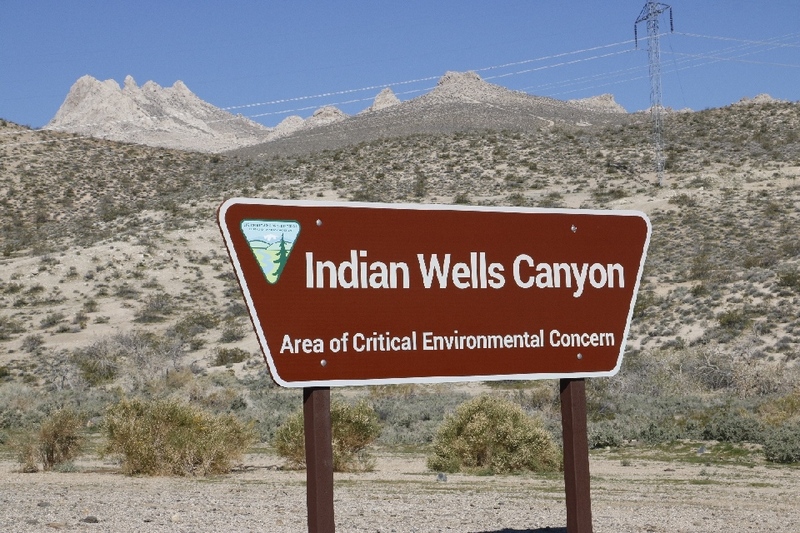 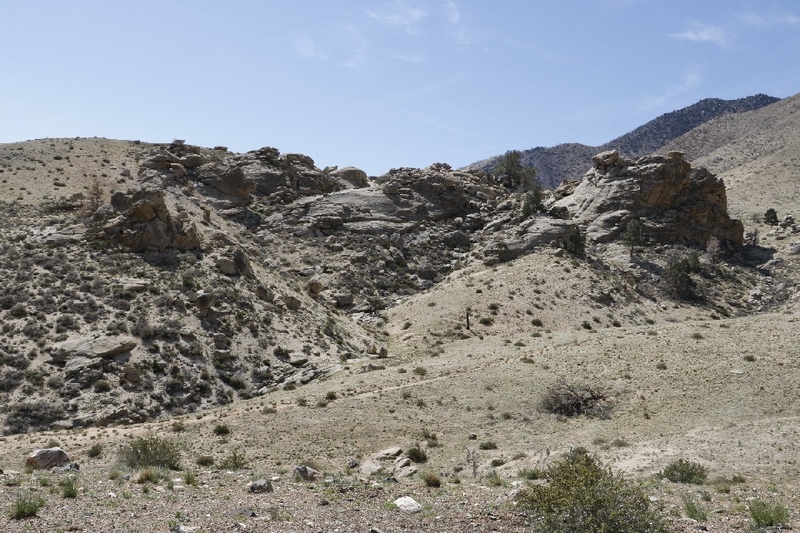 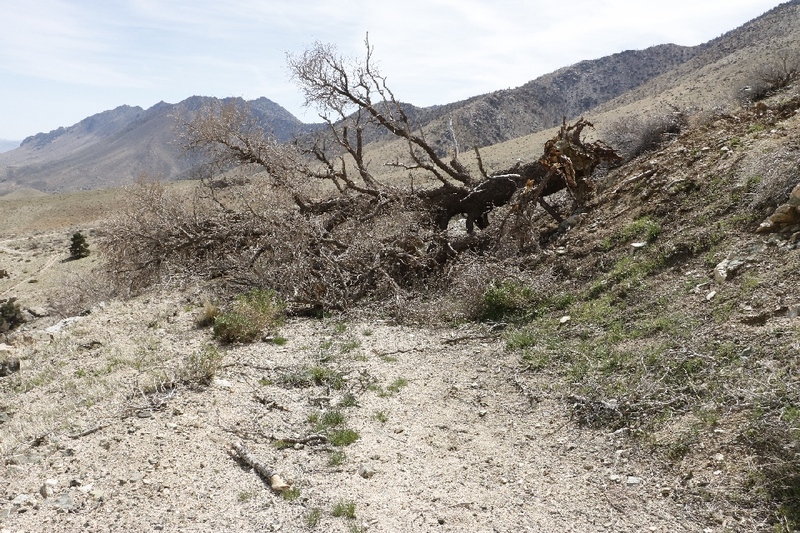 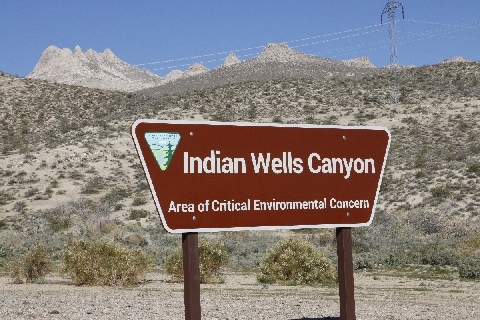 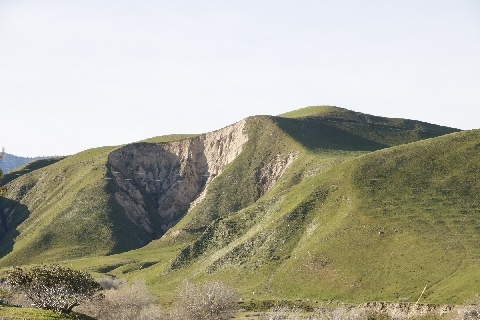 3/12/2017 Indian Wells Canyon, near Ridgecrest, CA - I was planning to go to the Indian Wells Canyon Pictographs sites, but I drove on the wrong road and didn’t know it, it was rough road and my nerve breakdown, car was ok, then turned back. 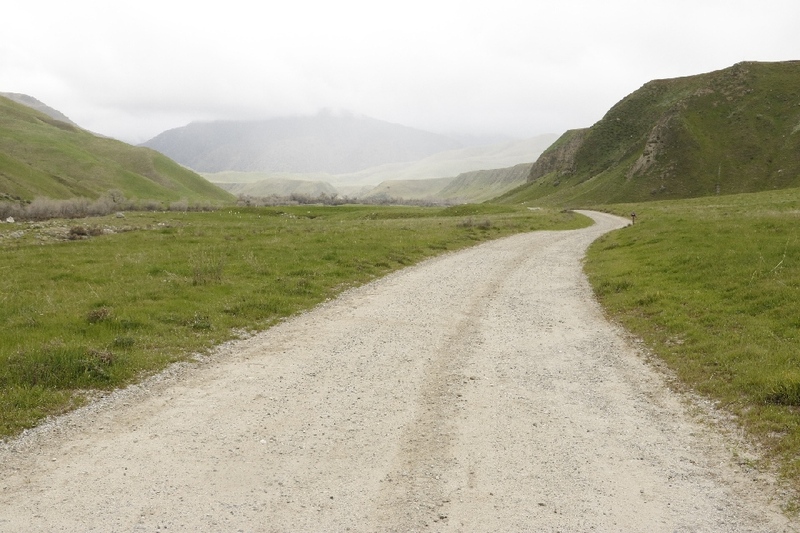 I don’t know I want try again on the right road any time soon or not. Hiked for while near the south side of the five fingers. 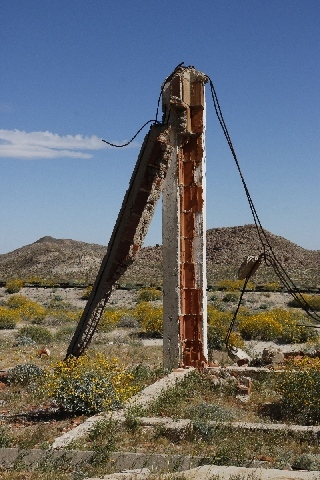 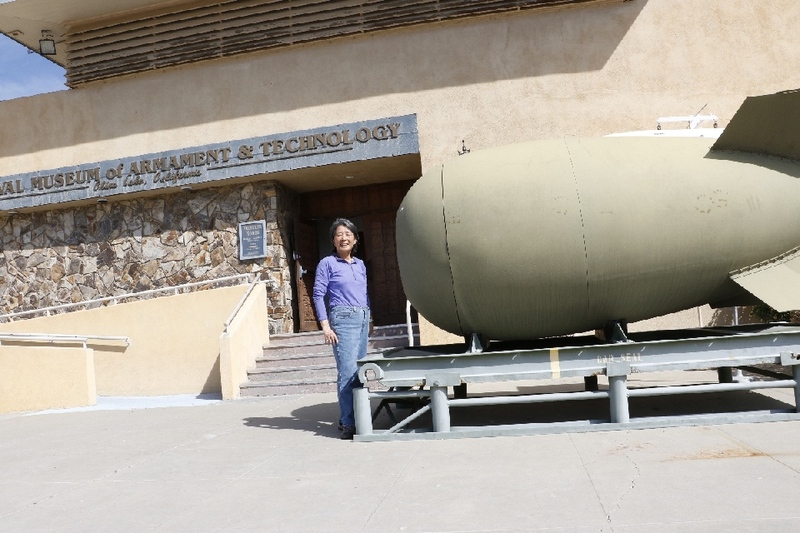 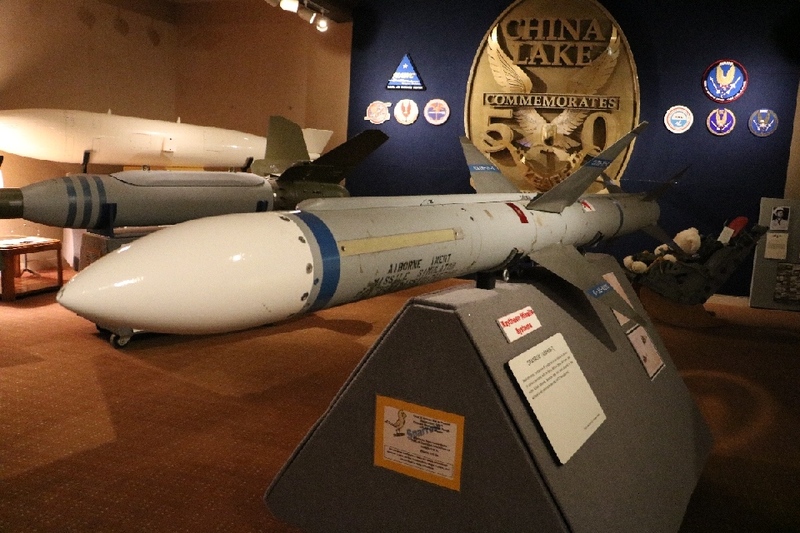 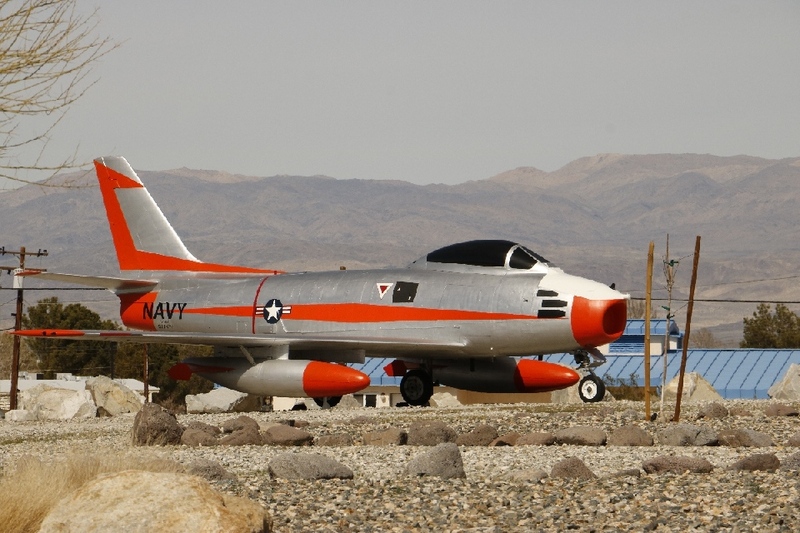 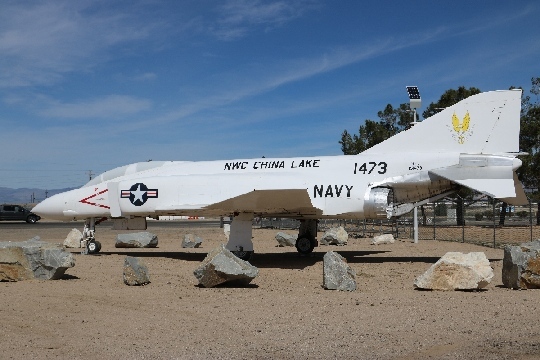 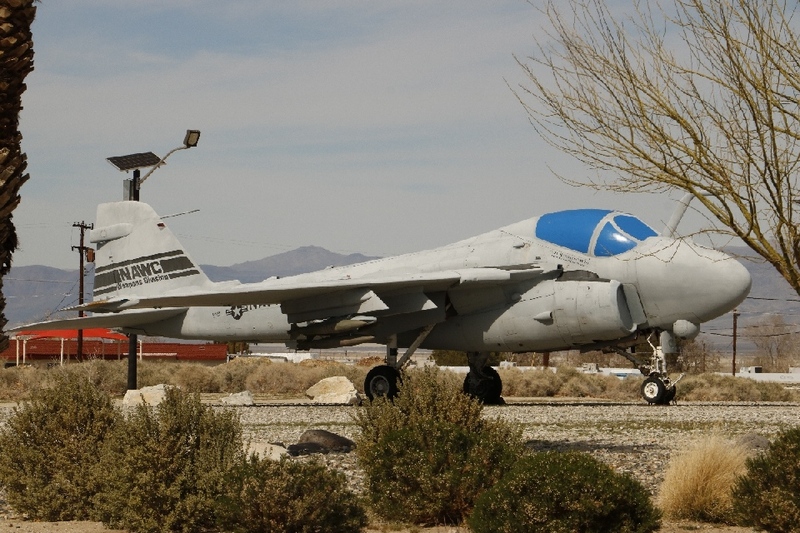 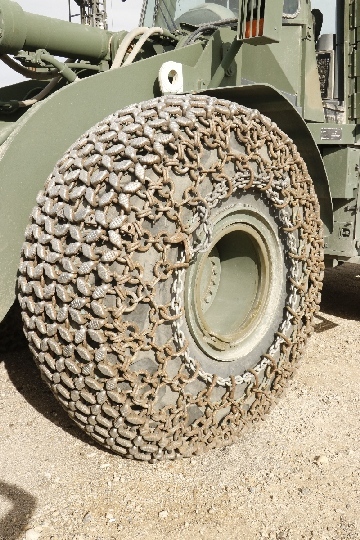 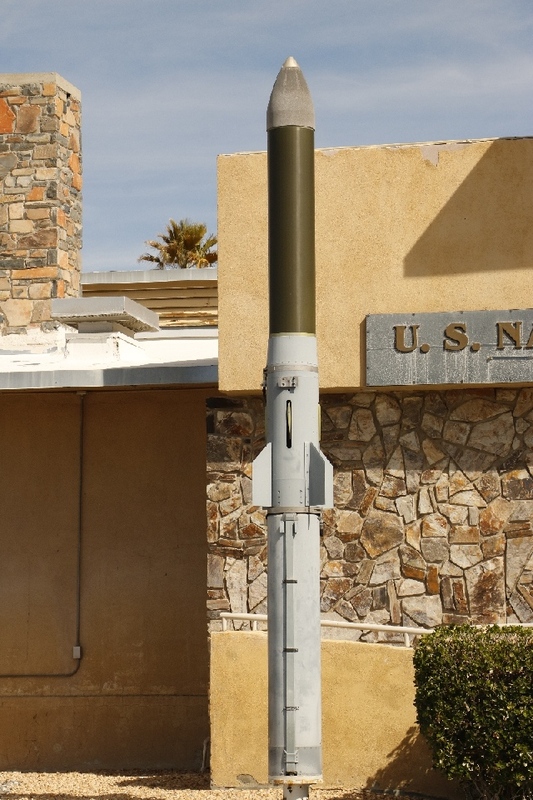 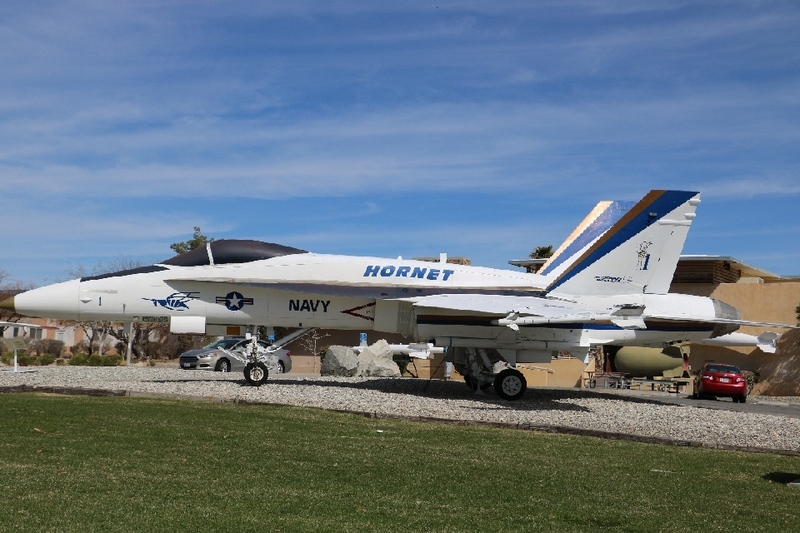 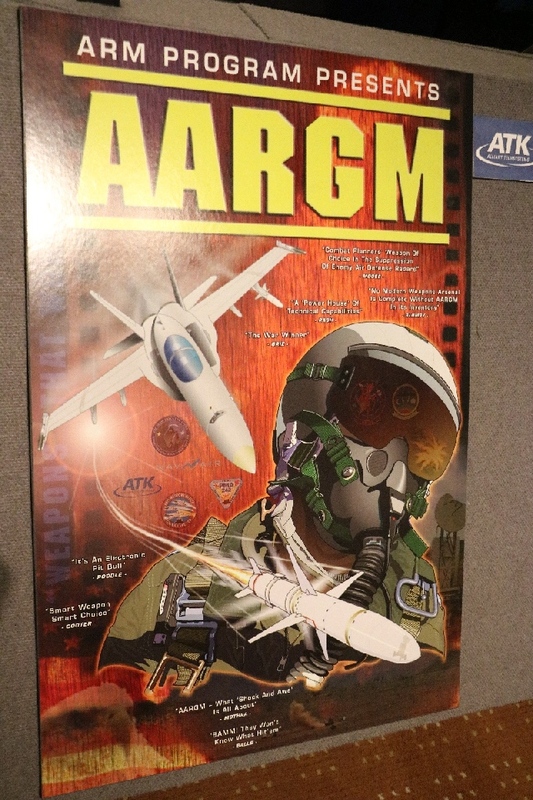 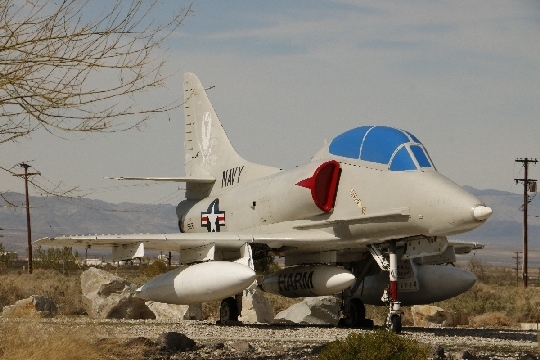 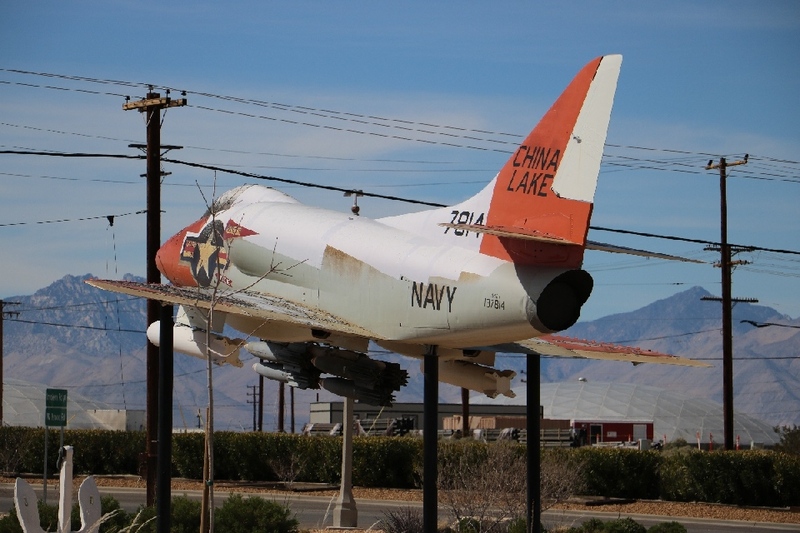 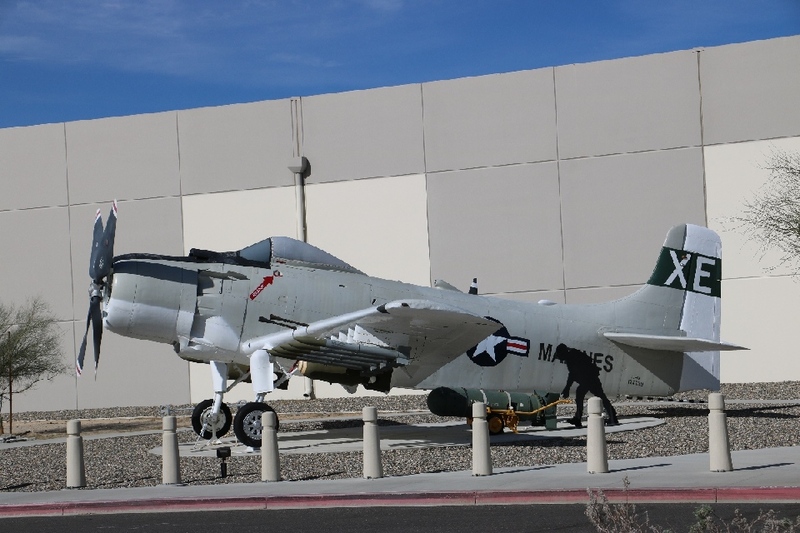 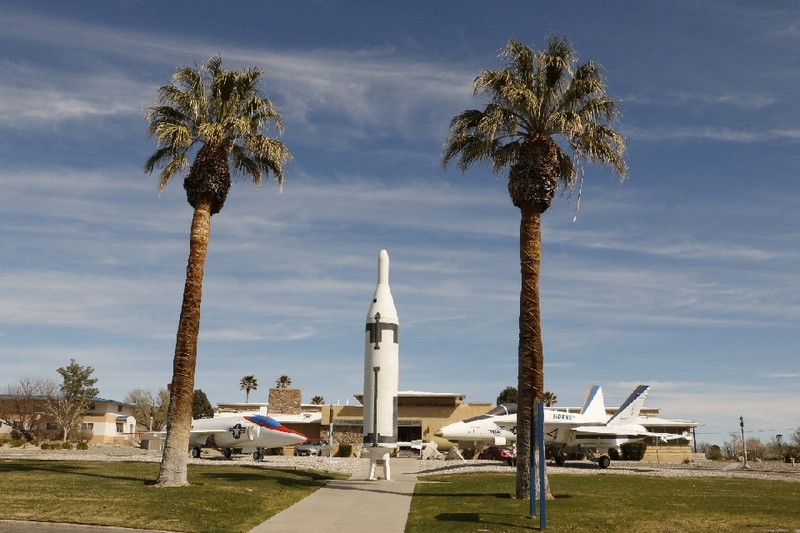 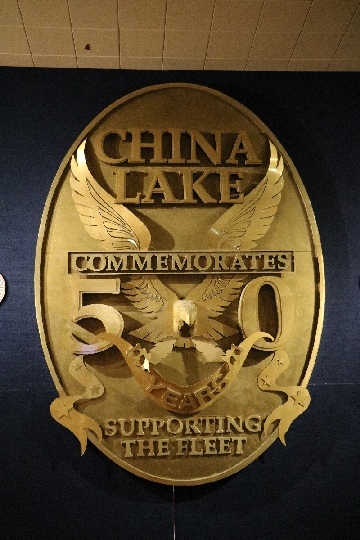 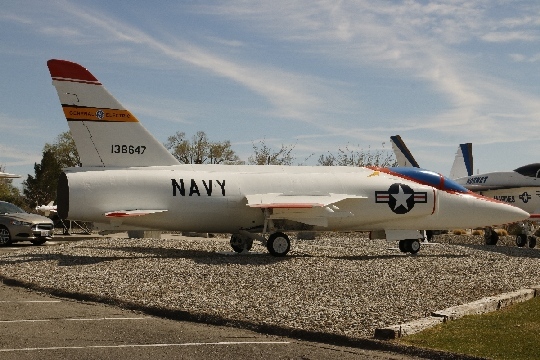 3/11/2017 China Lake Museum, Ridgecrest, CA - It is the armament and technology museum, and located in the Naval Air Weapons Station China Lake. Security staff spend about 20 minutes to clear each visitor’s background, not just walk-in to the museum. 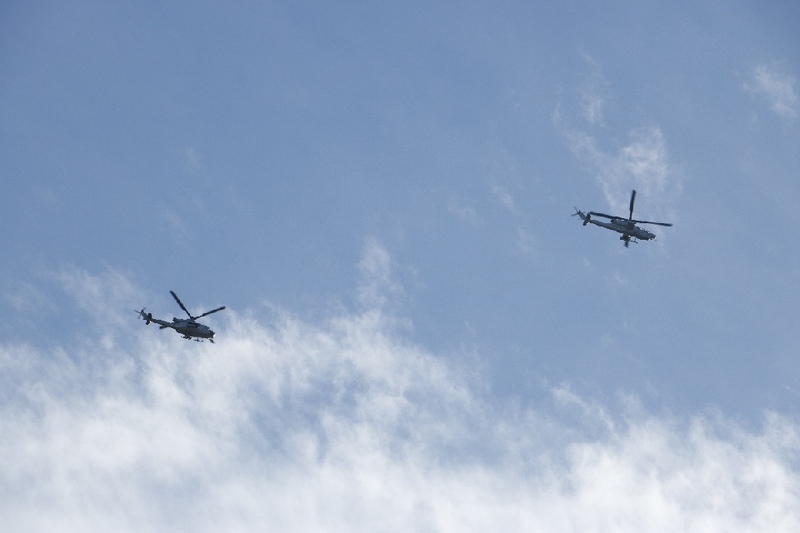 There are many airplanes outside the buildings. 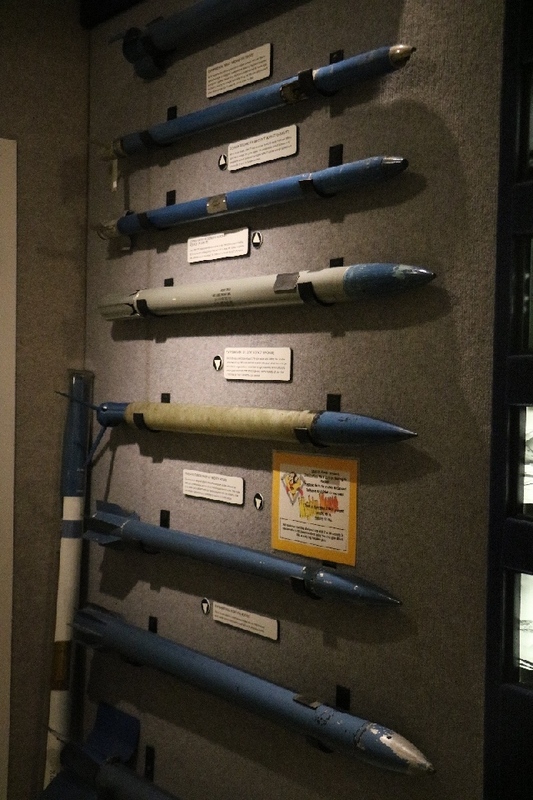 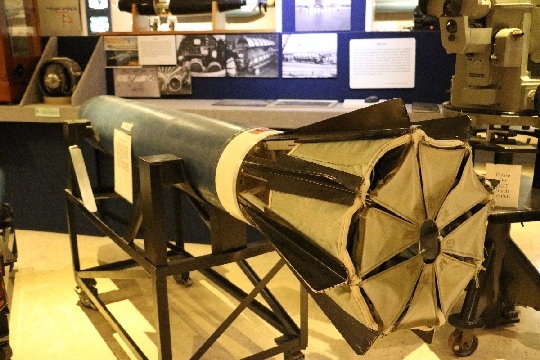 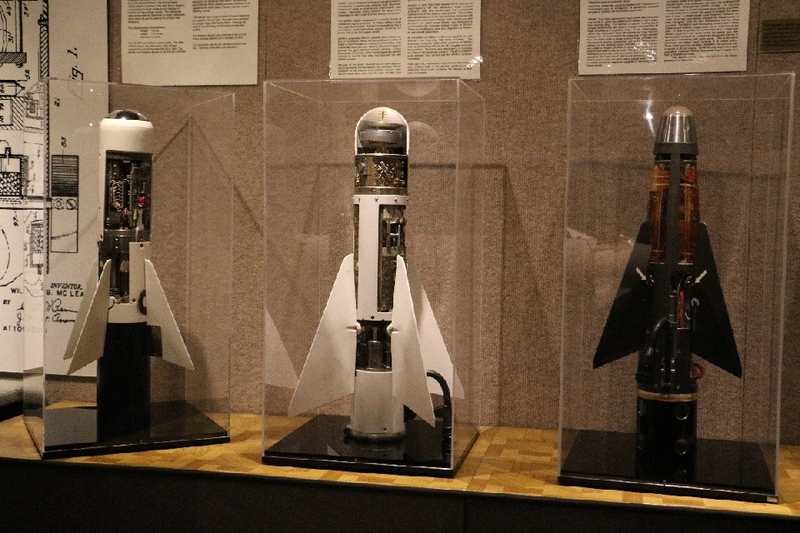 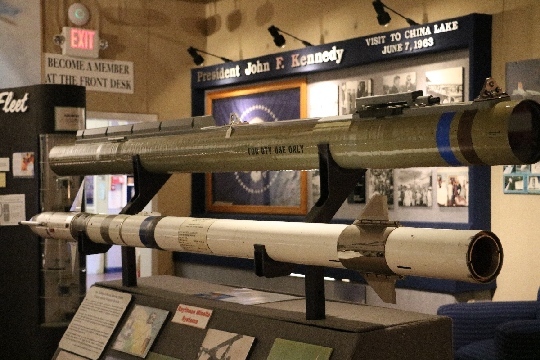 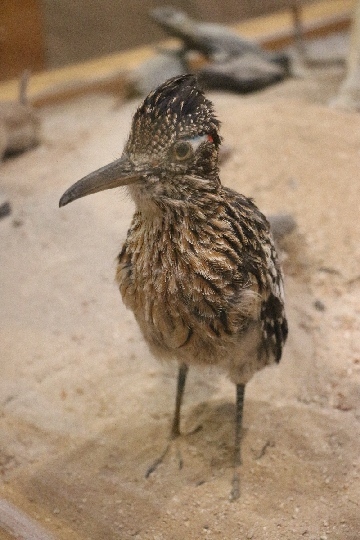 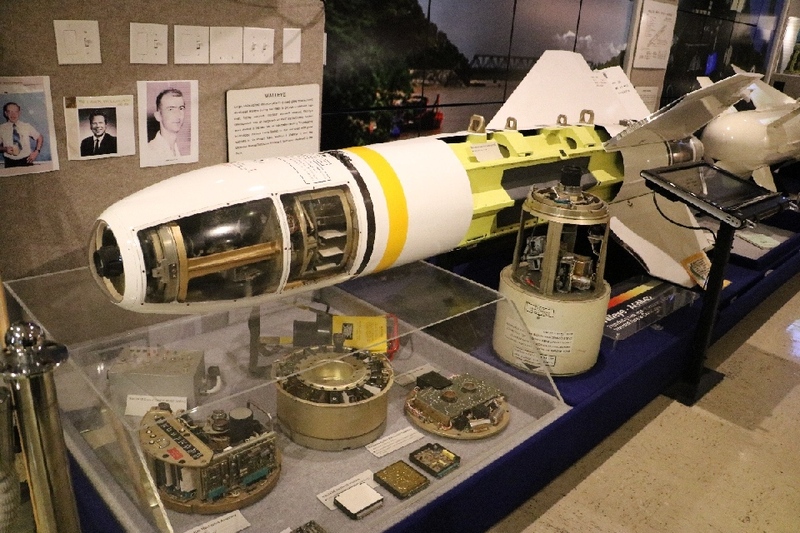 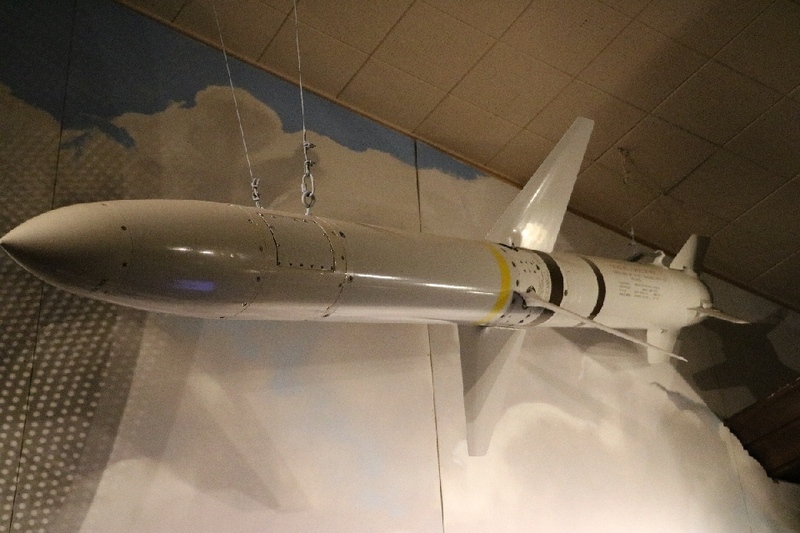 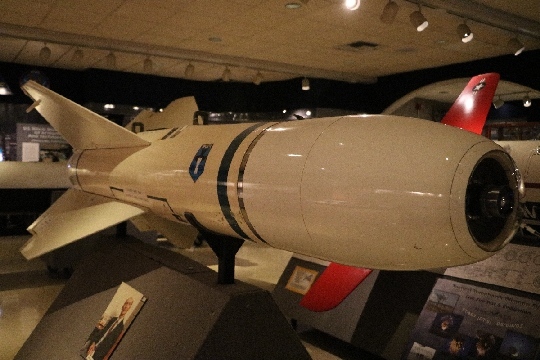 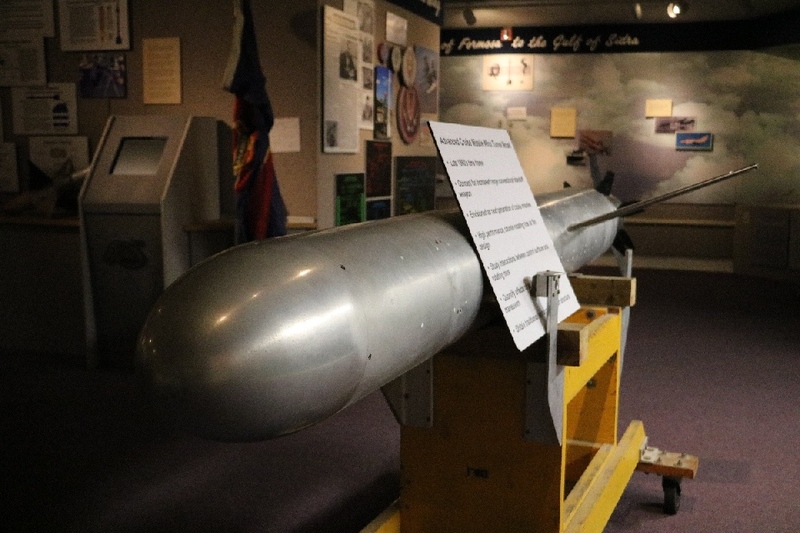 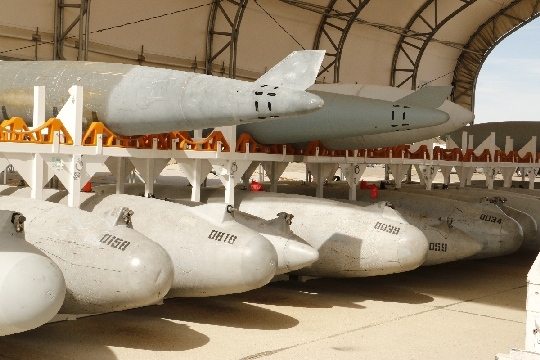 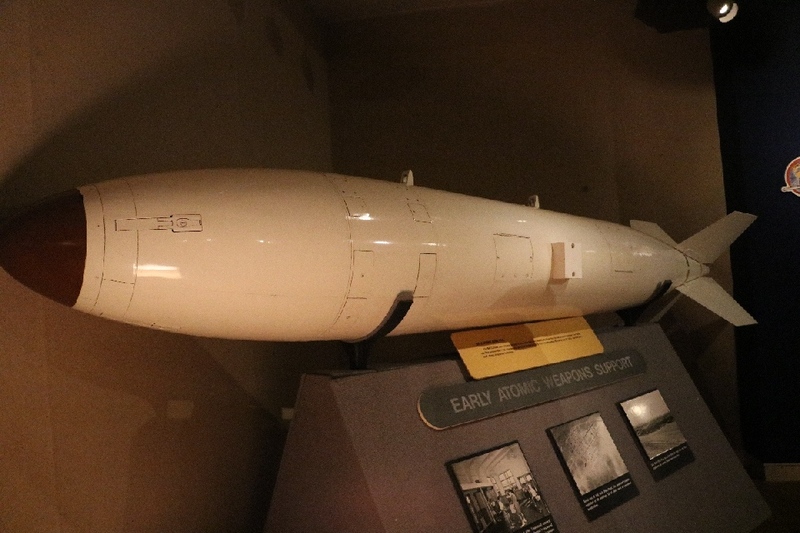 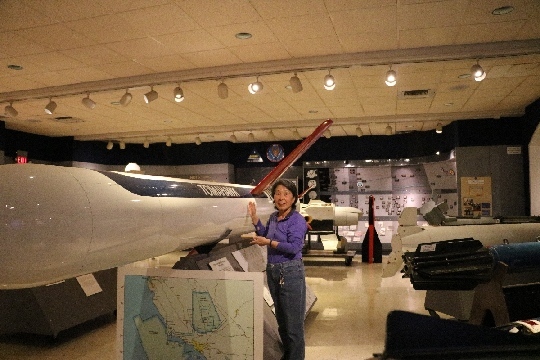 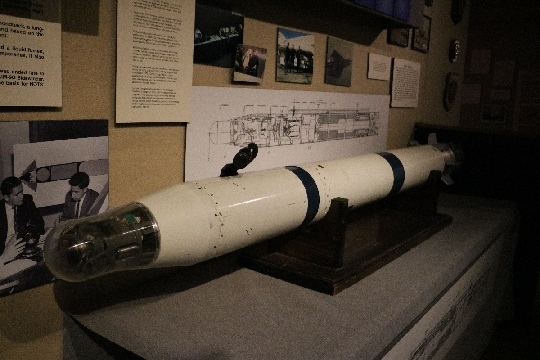 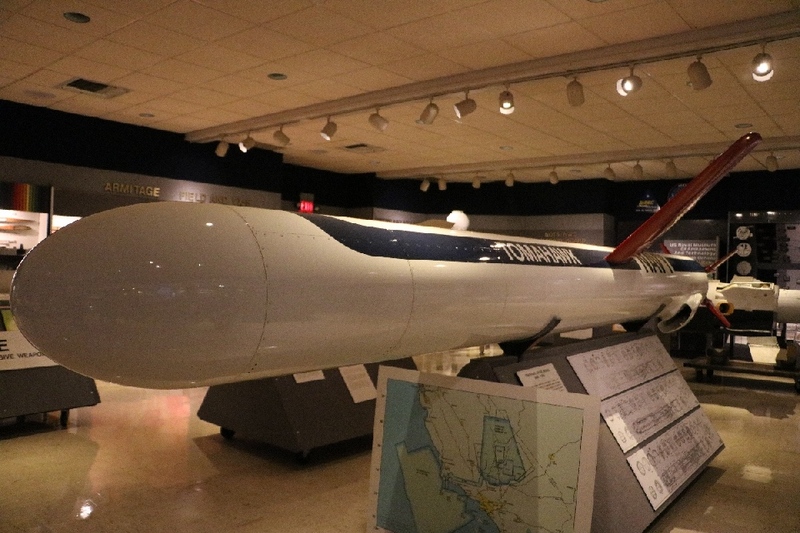 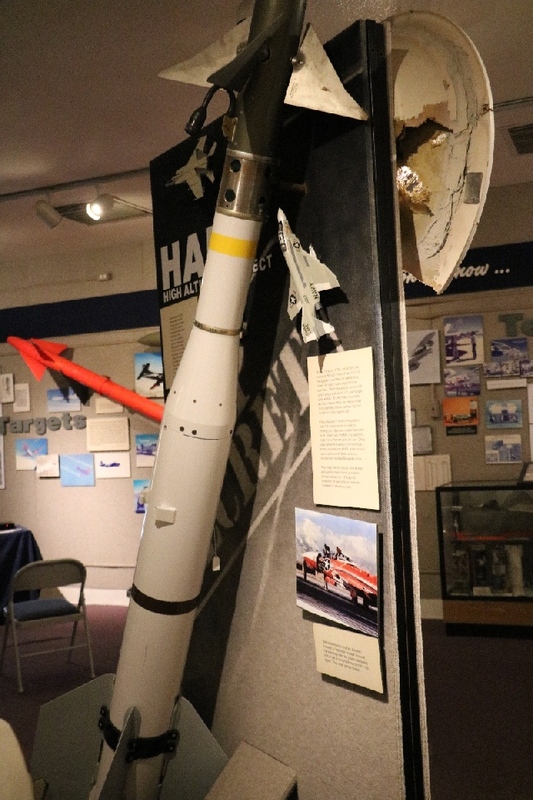 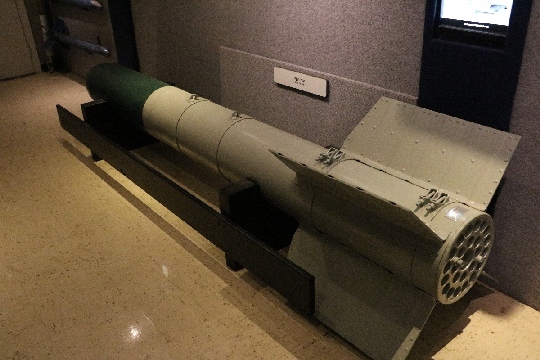 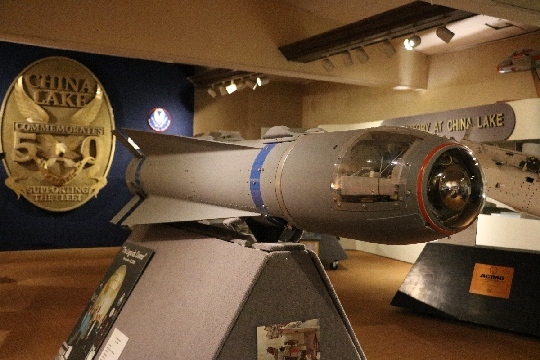 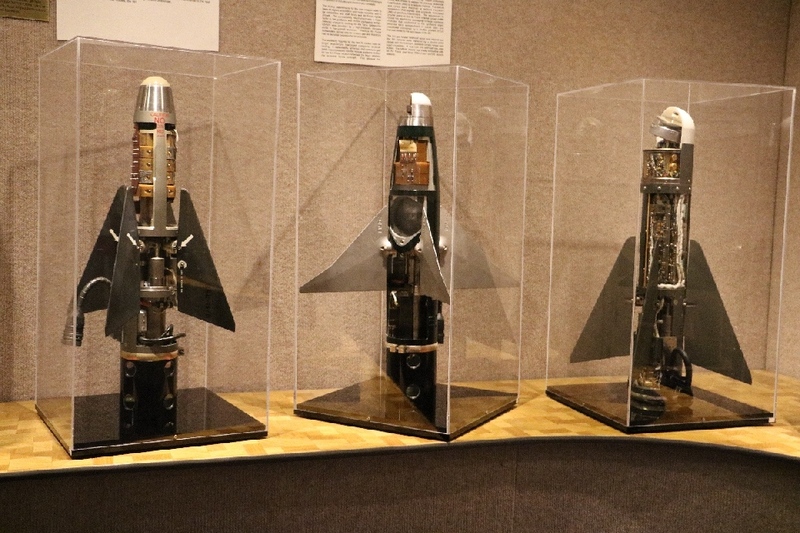 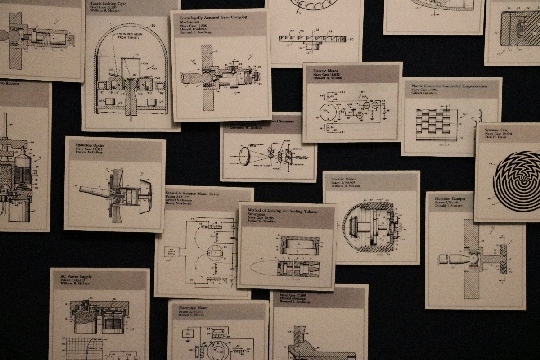 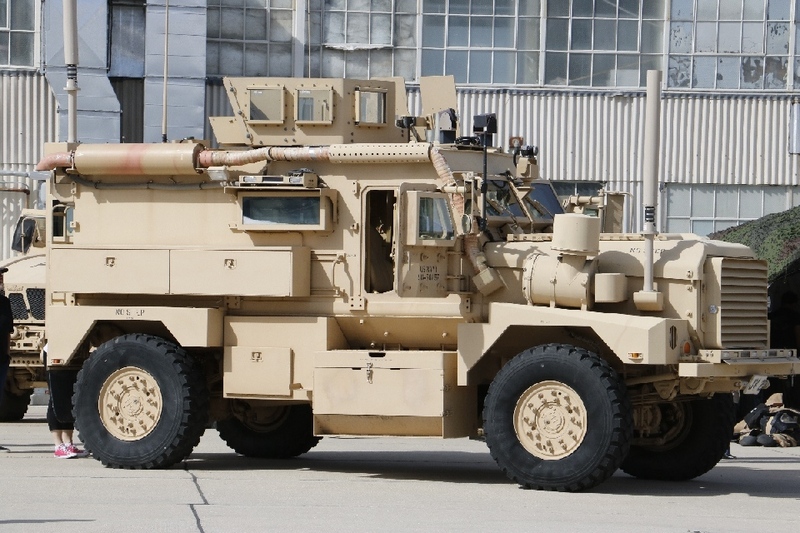 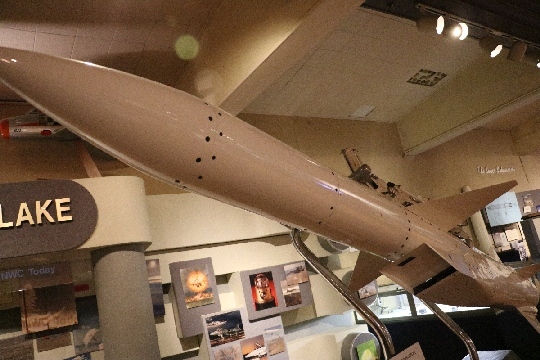 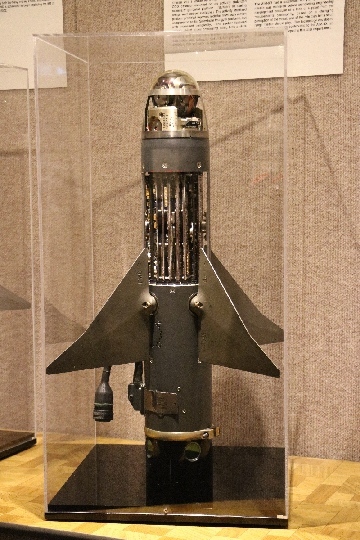 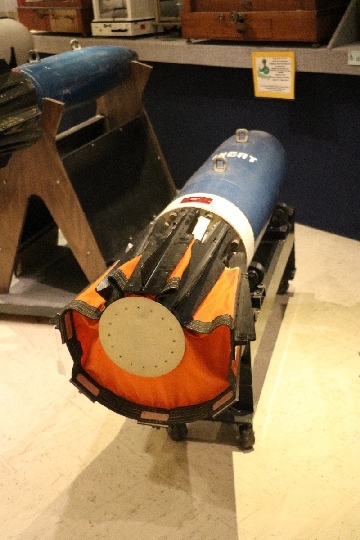 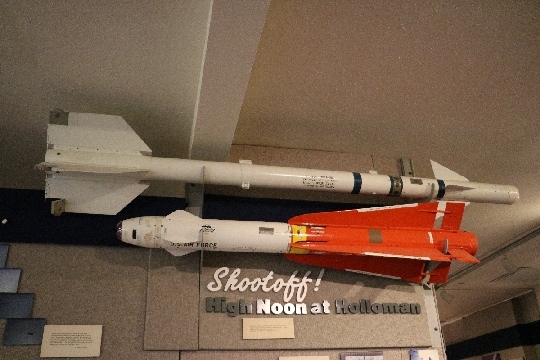 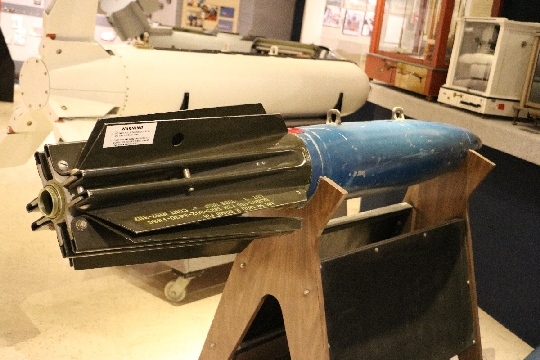 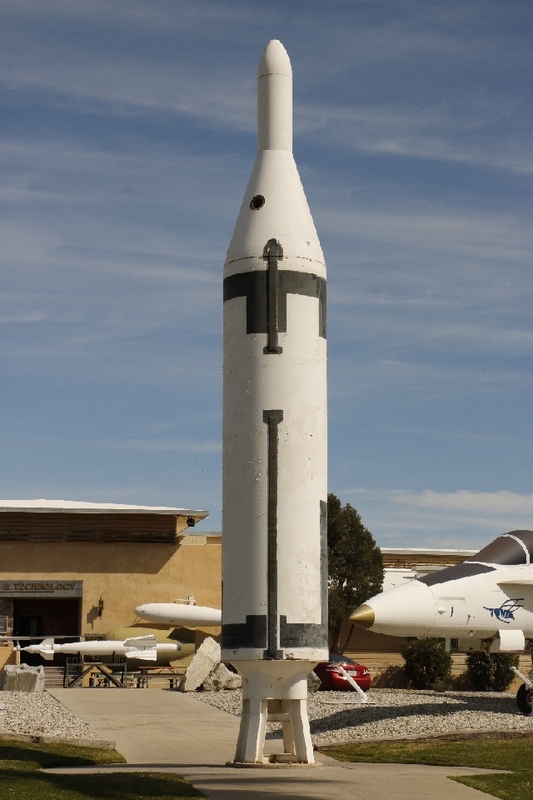 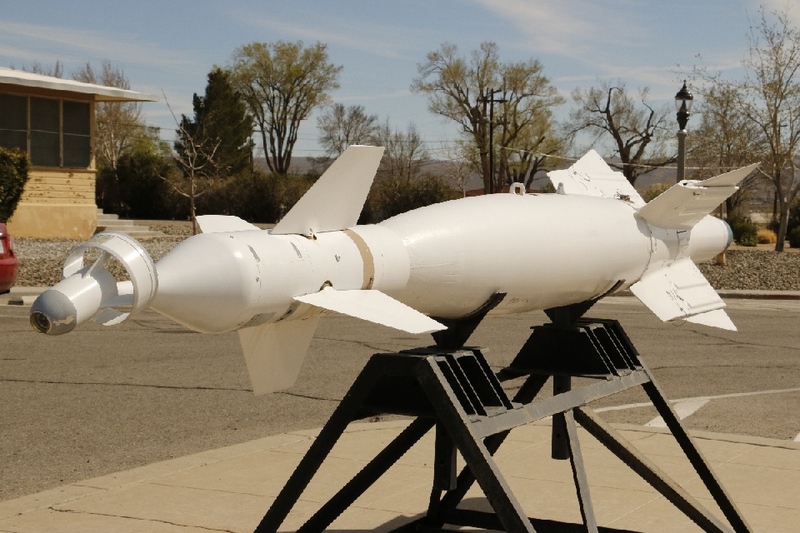 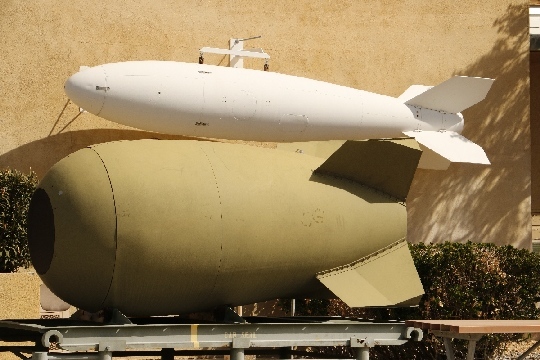 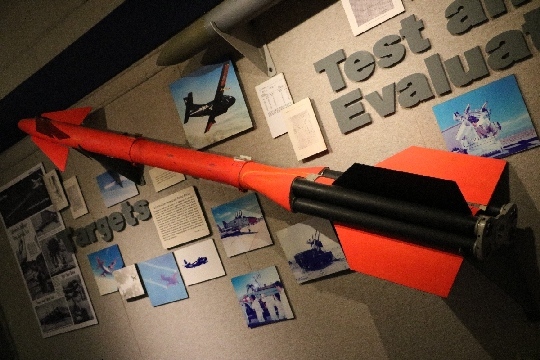 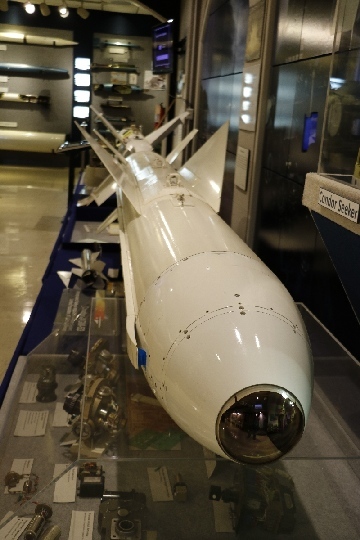 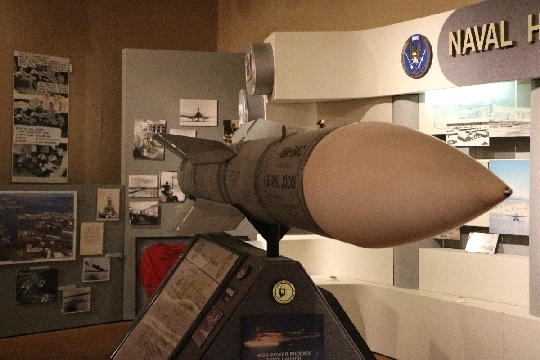 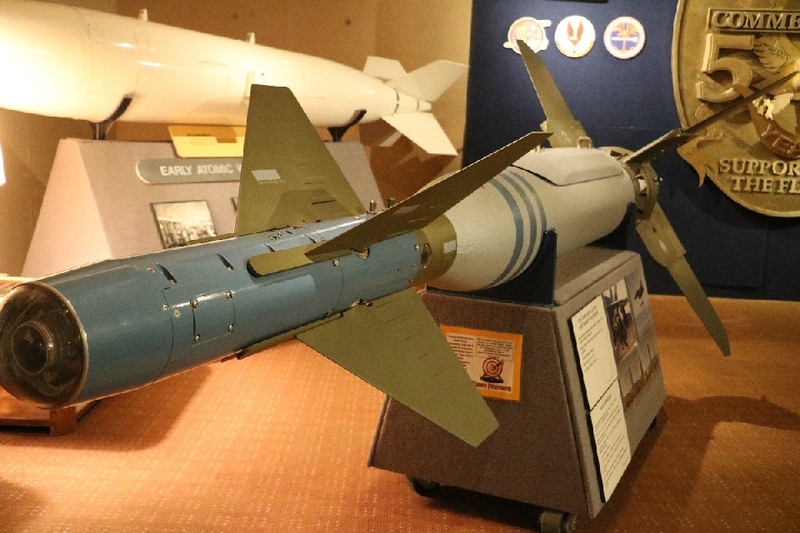 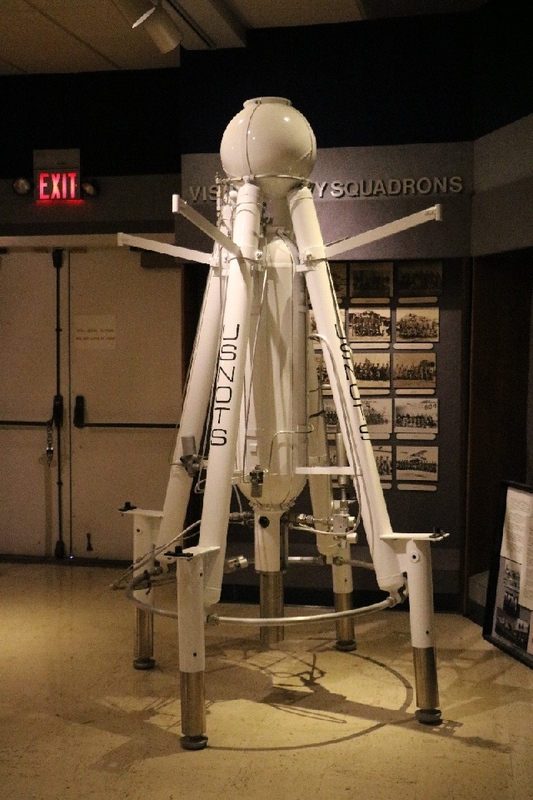 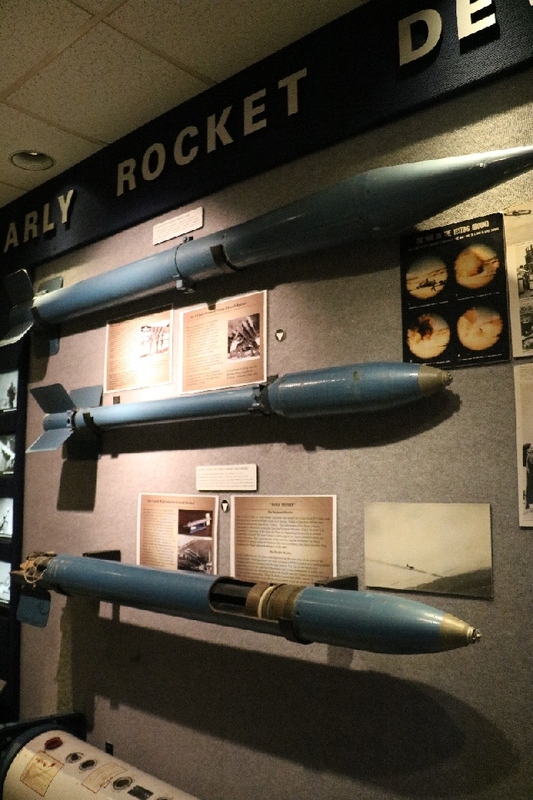 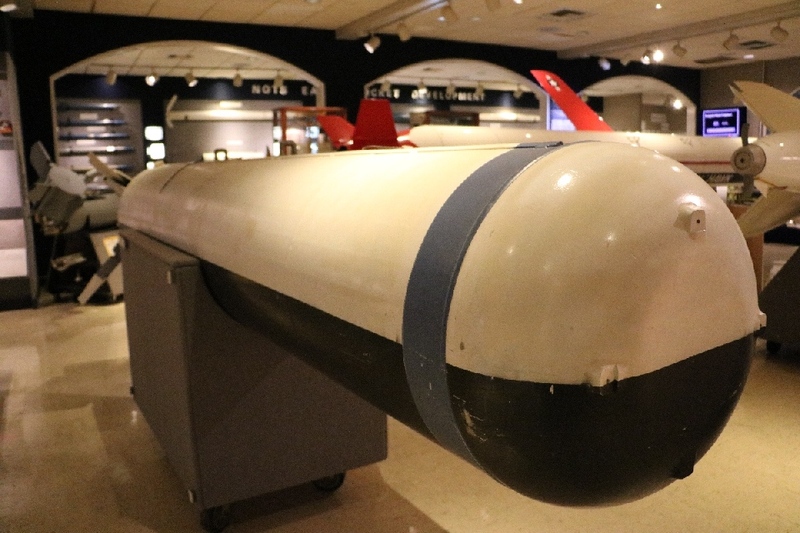 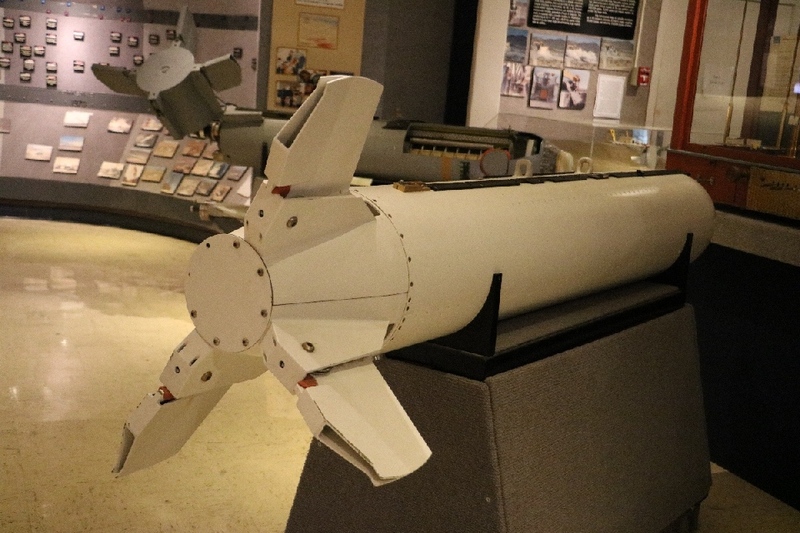 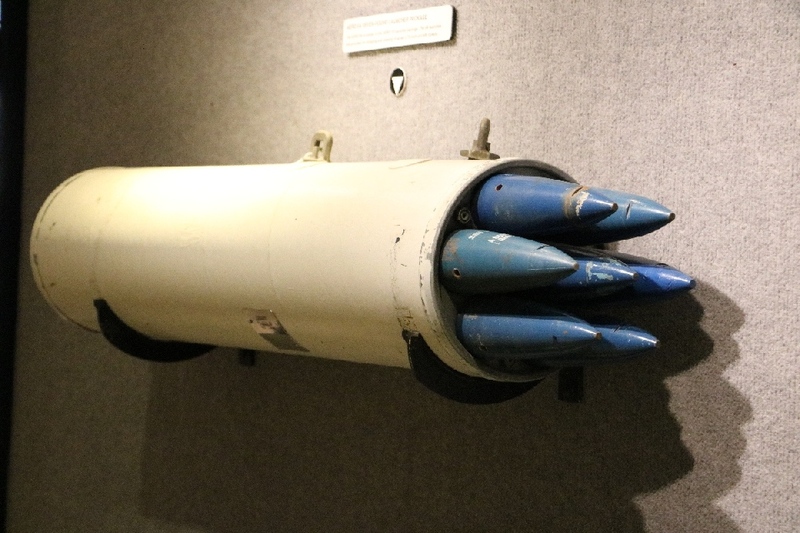 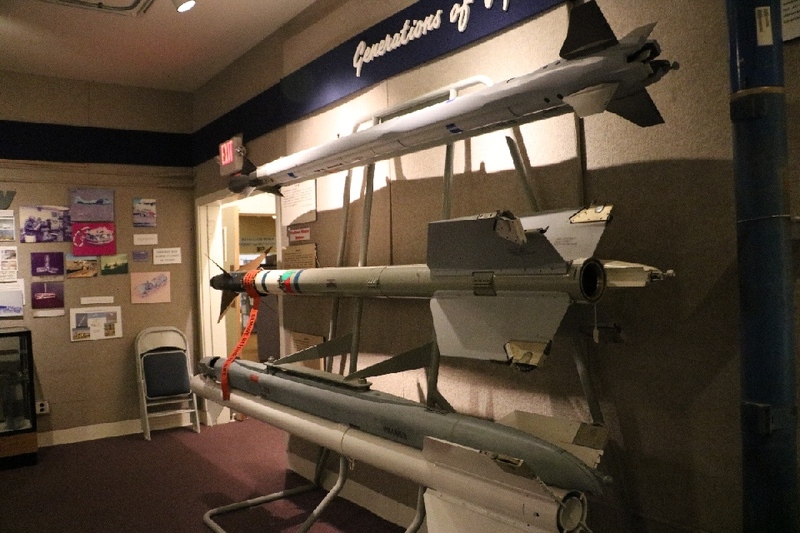 In the museum, there are display many large to small missiles, rockets and bombs. 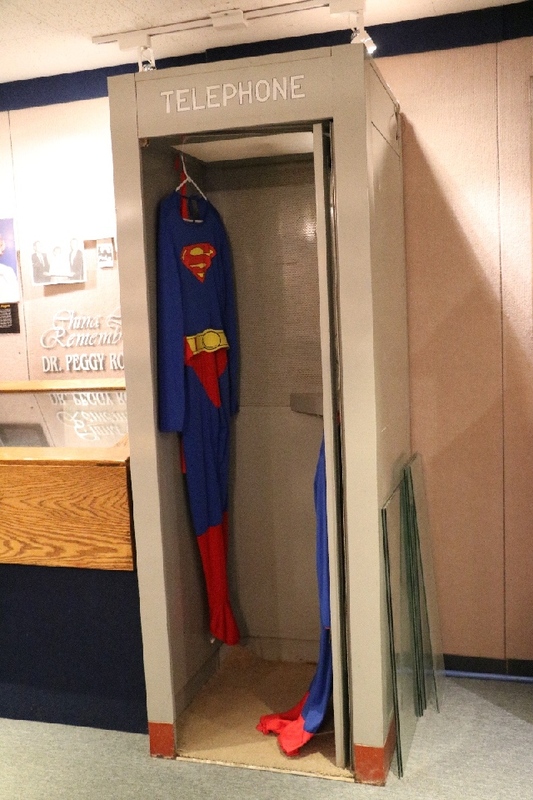 I was not expected but Superman’s telephone boots is there. I wonder where does he go to change cloth there is no phone boots now a day. 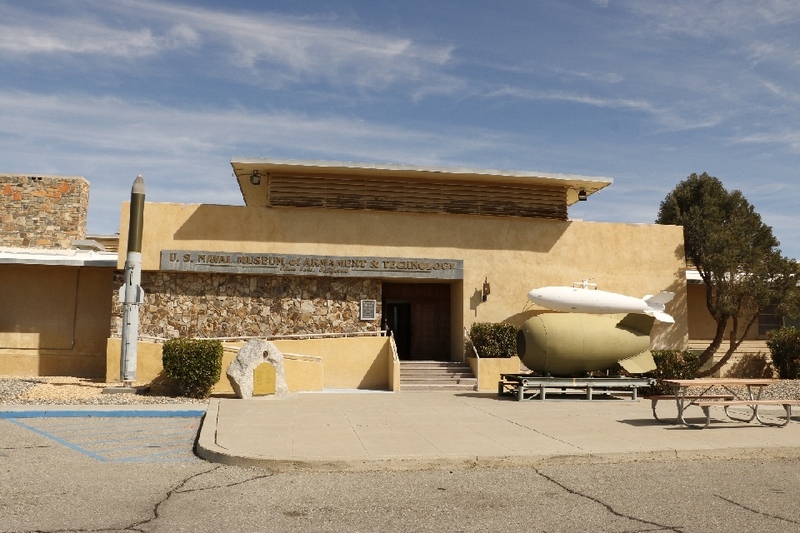 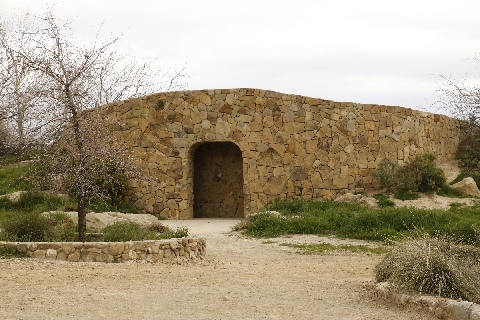 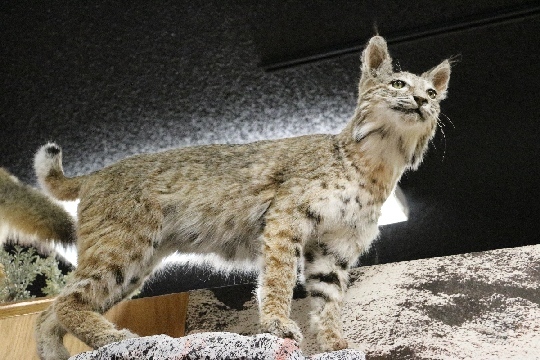 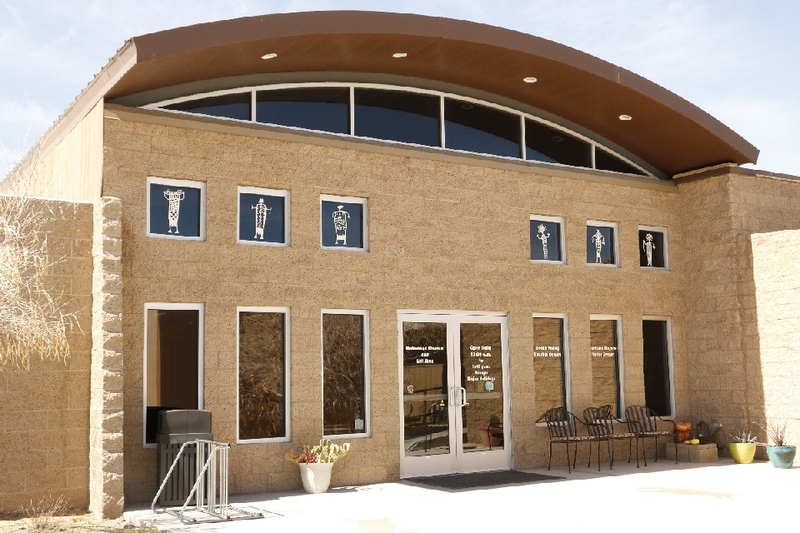 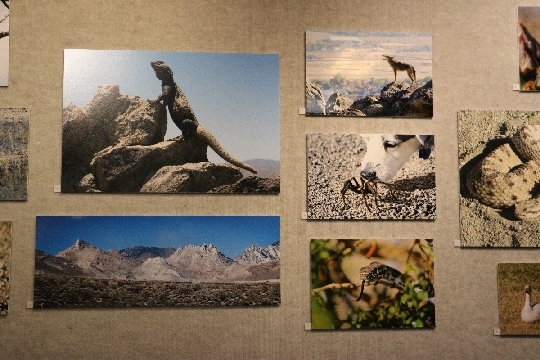 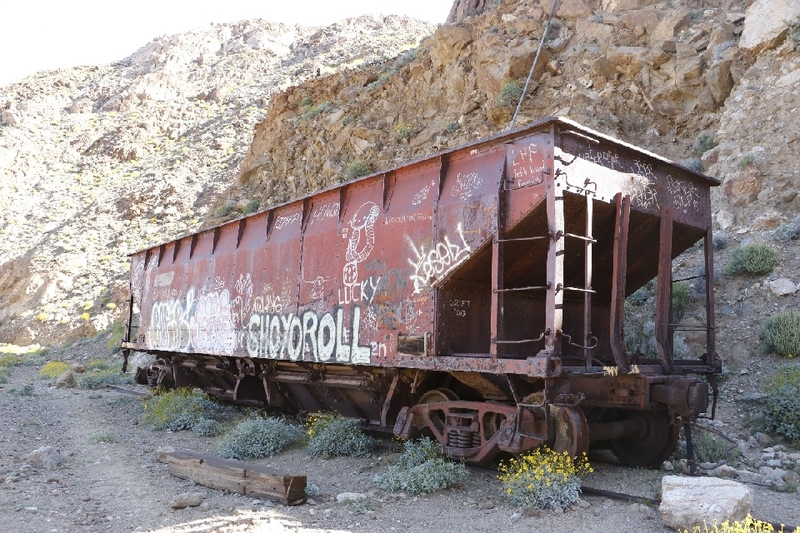 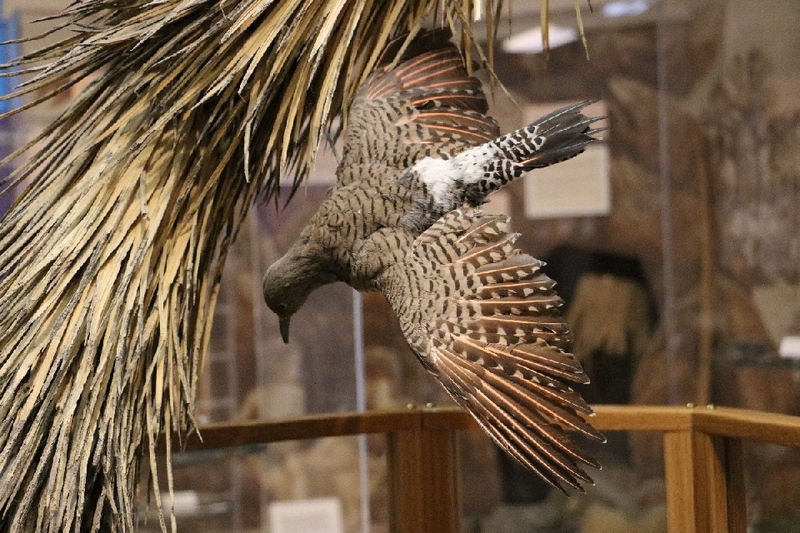 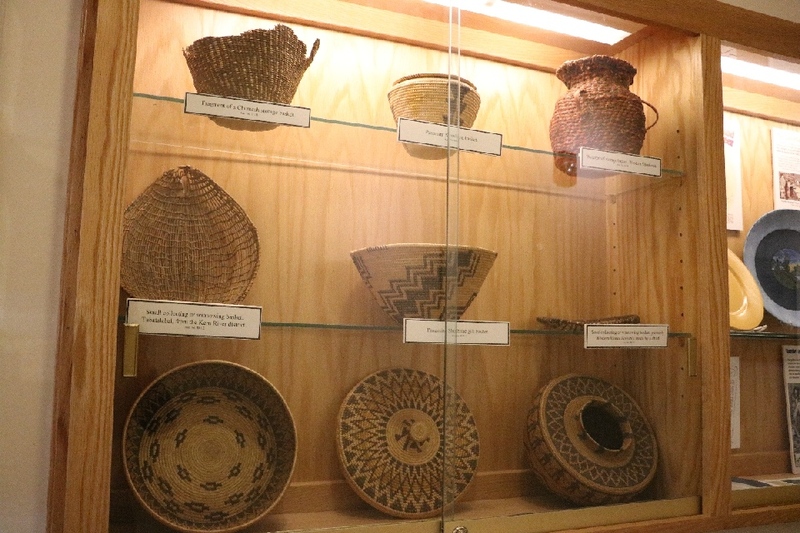 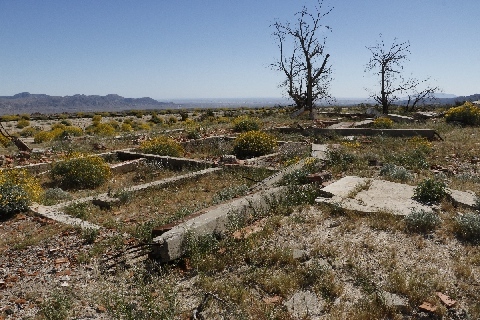 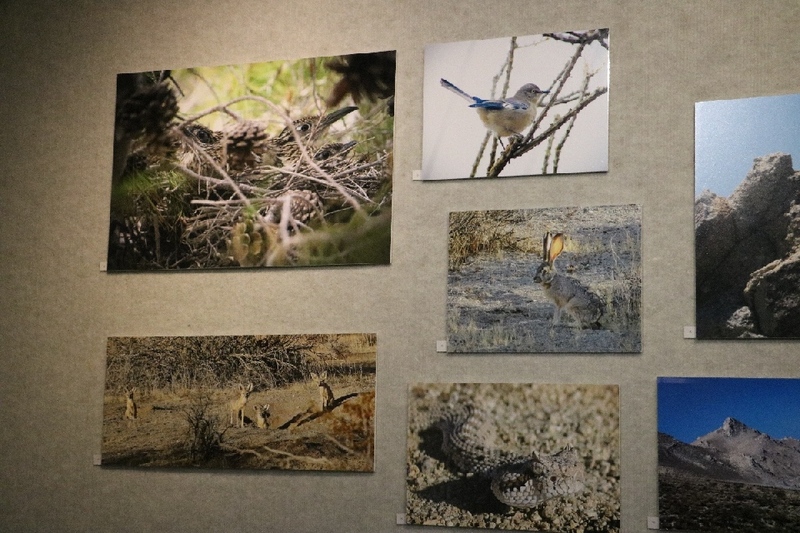 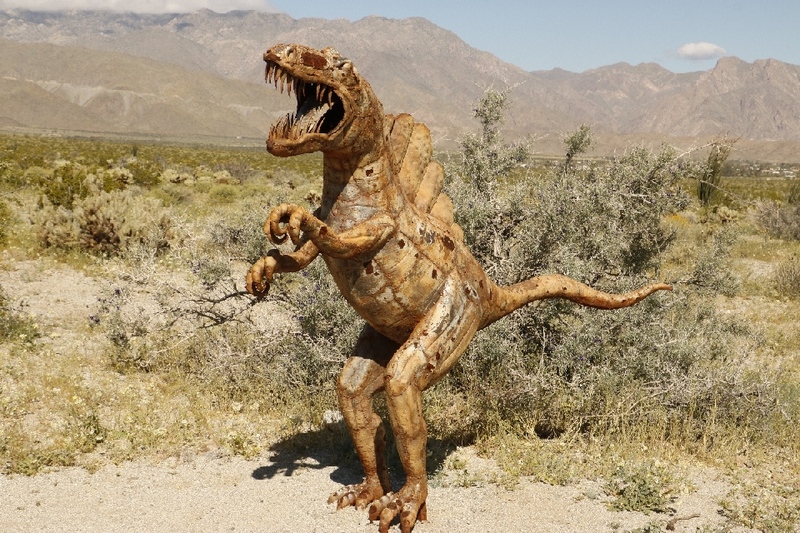 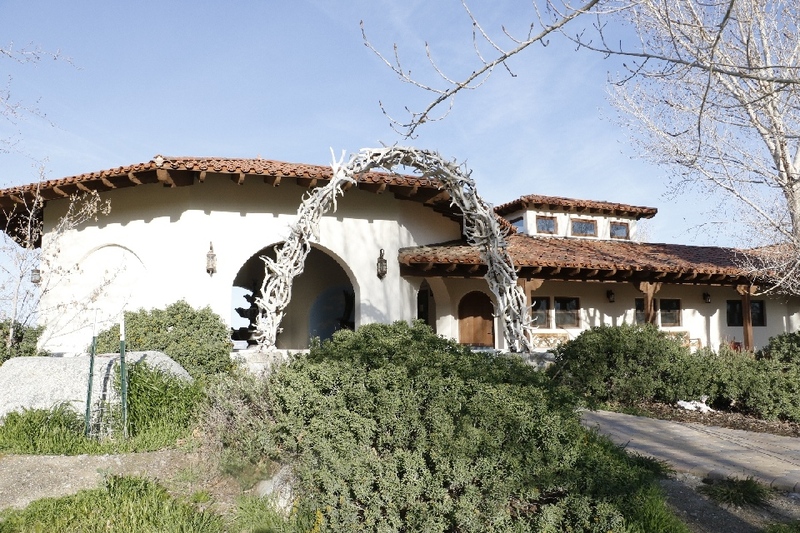 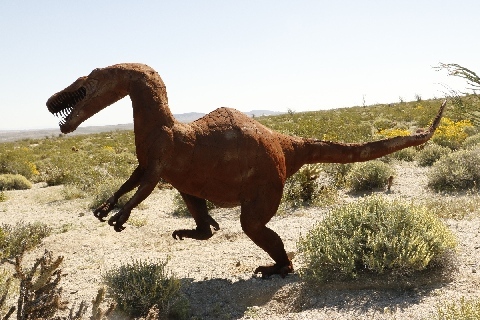 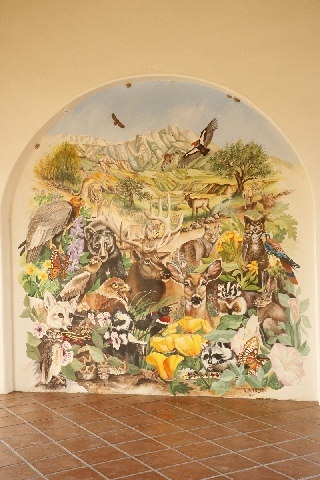 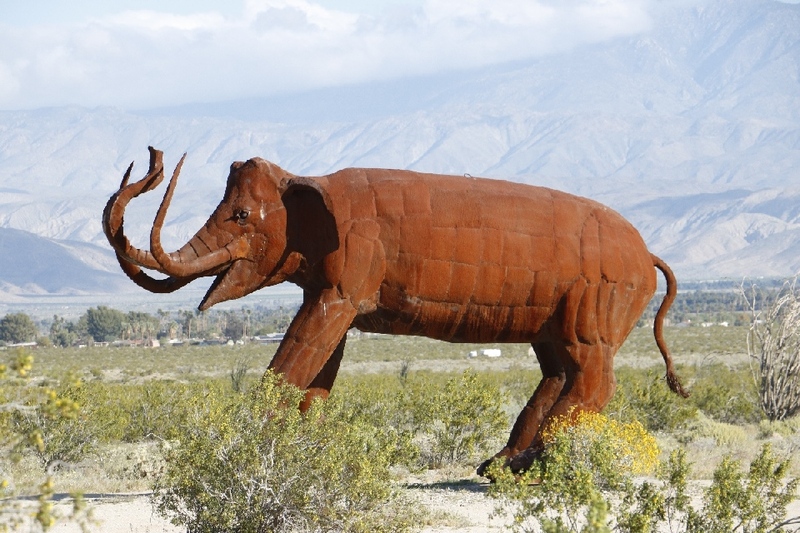 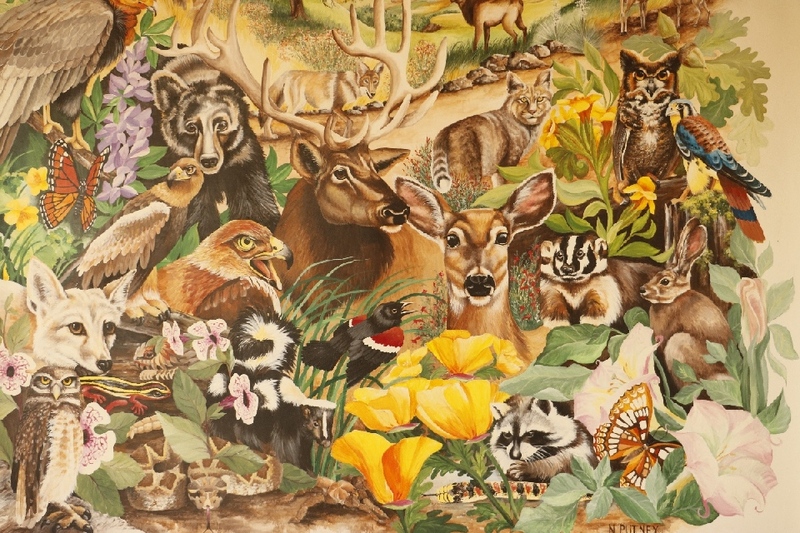 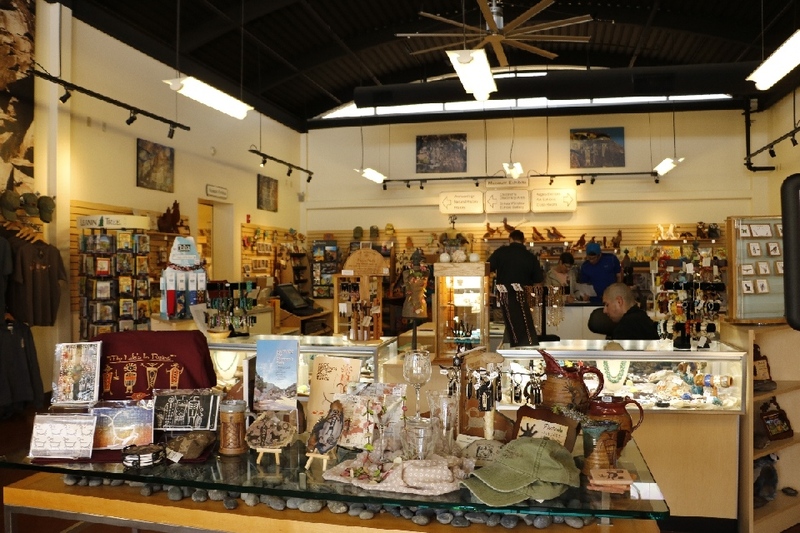 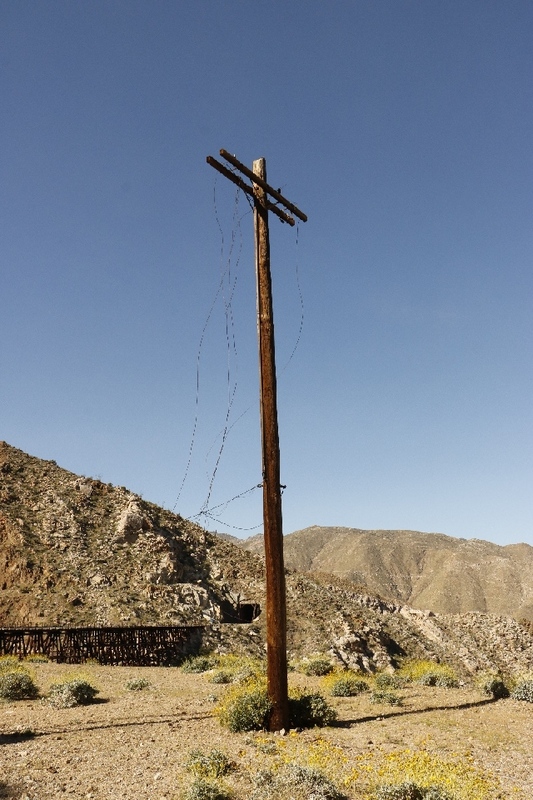 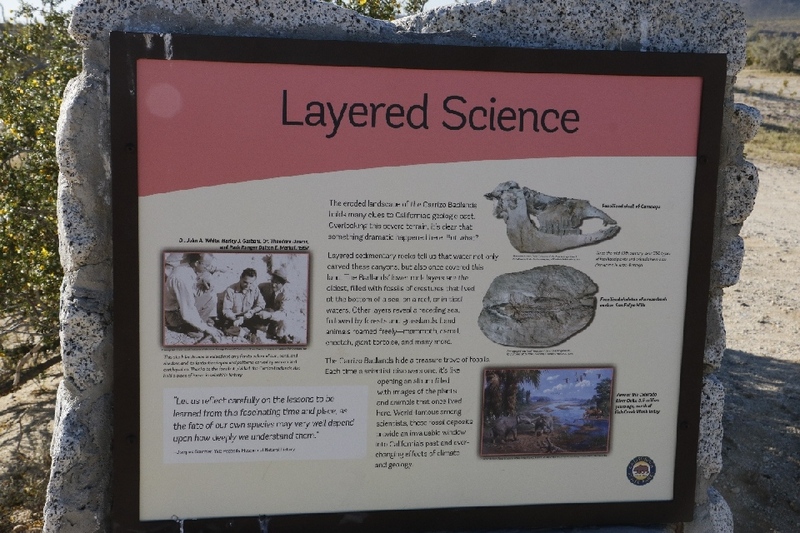 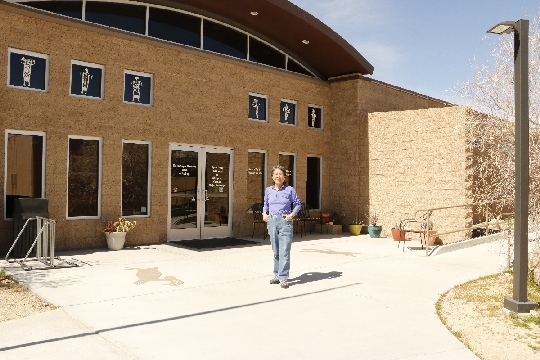 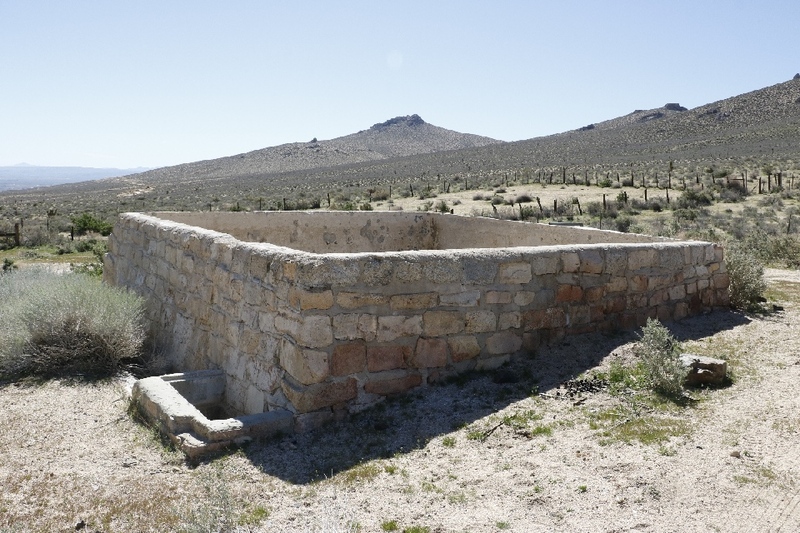 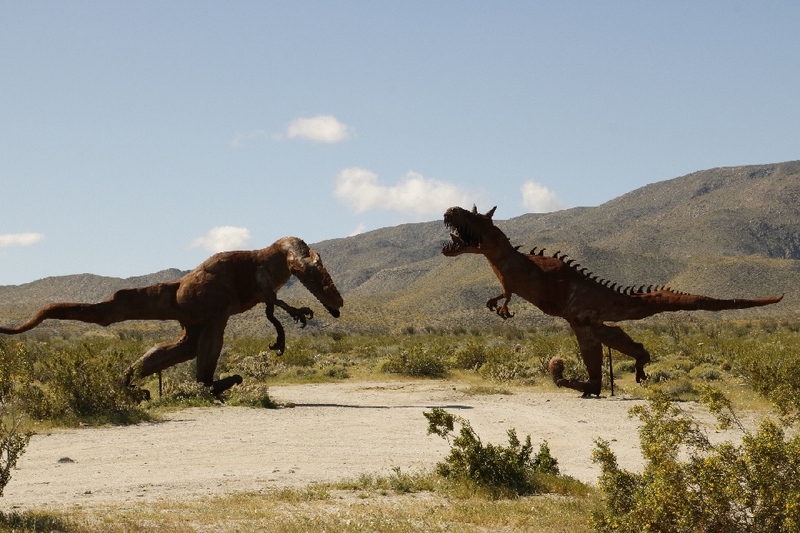 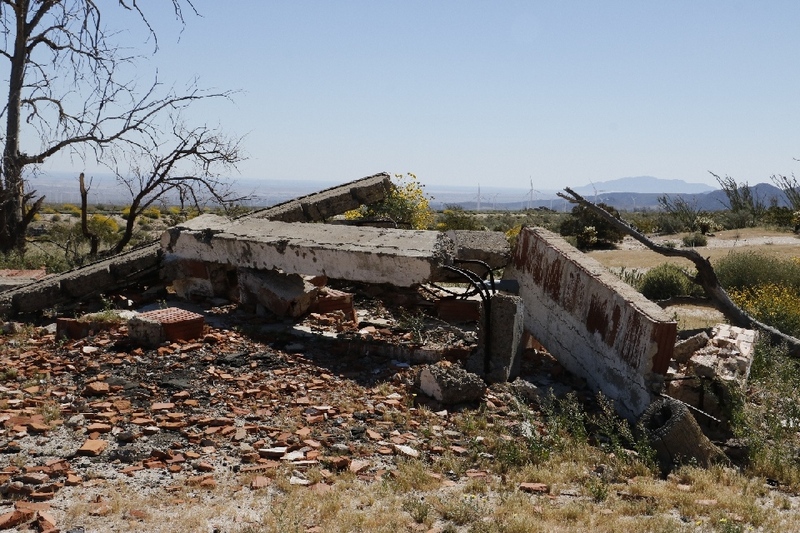 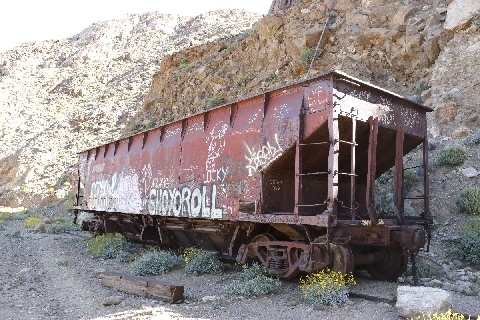 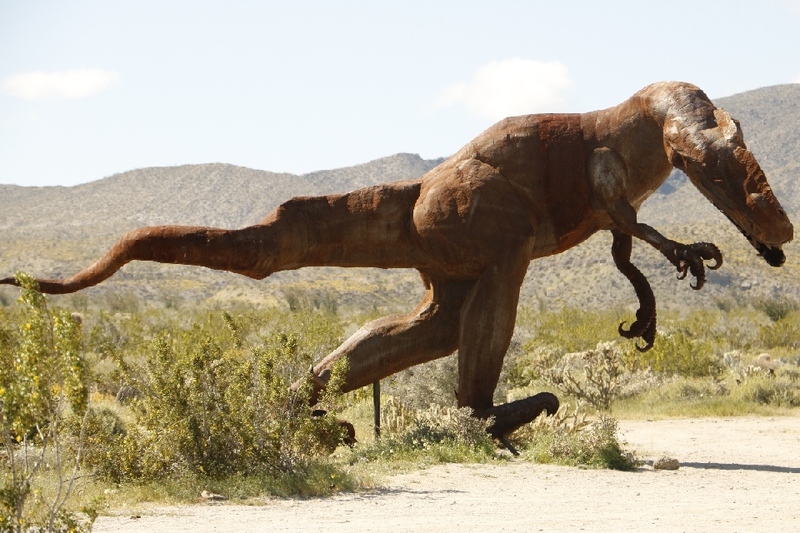 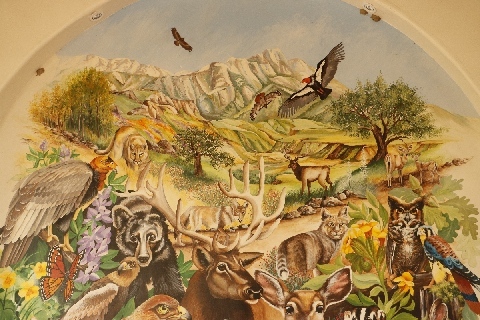 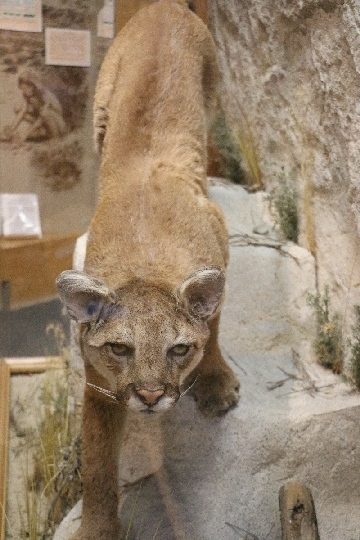 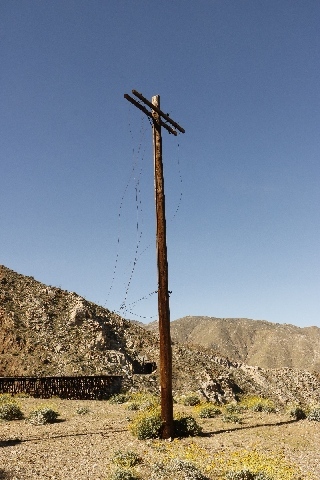 3/11/2017 Maturango Museum, Ridgecrest, CA - It is located hart of the town of Ridgecrest. 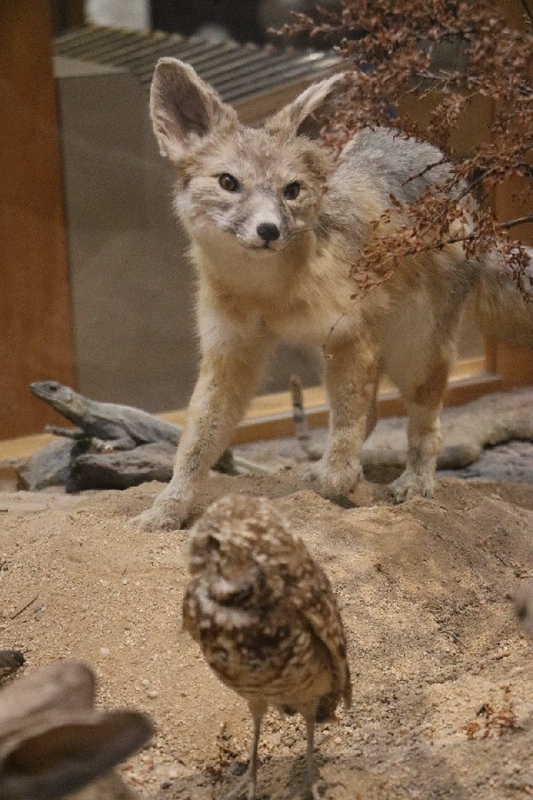 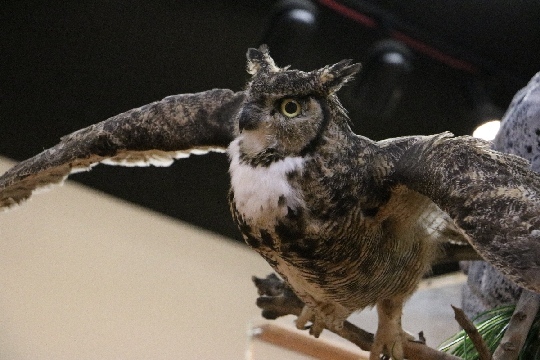 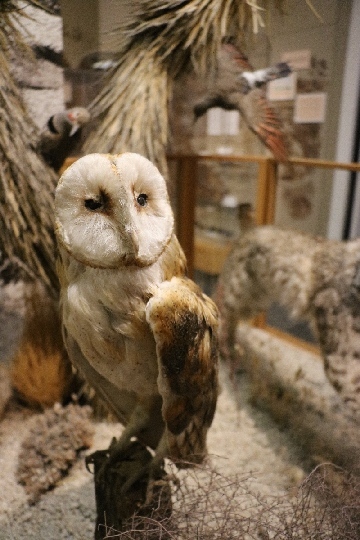 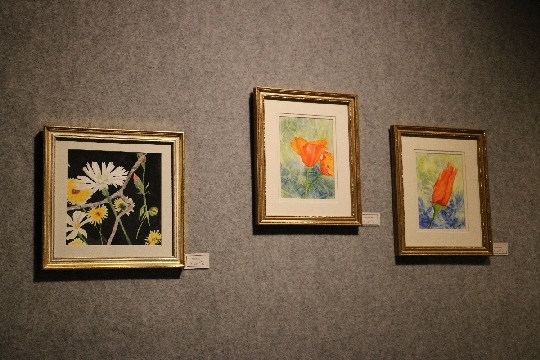 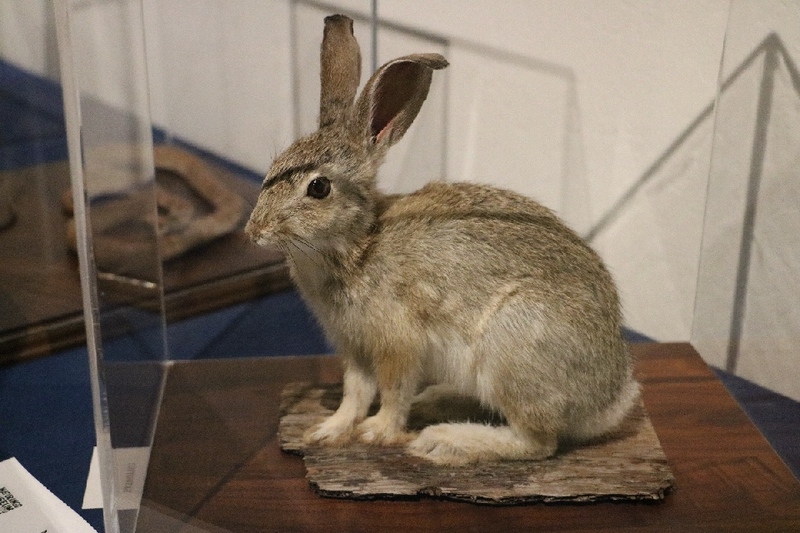 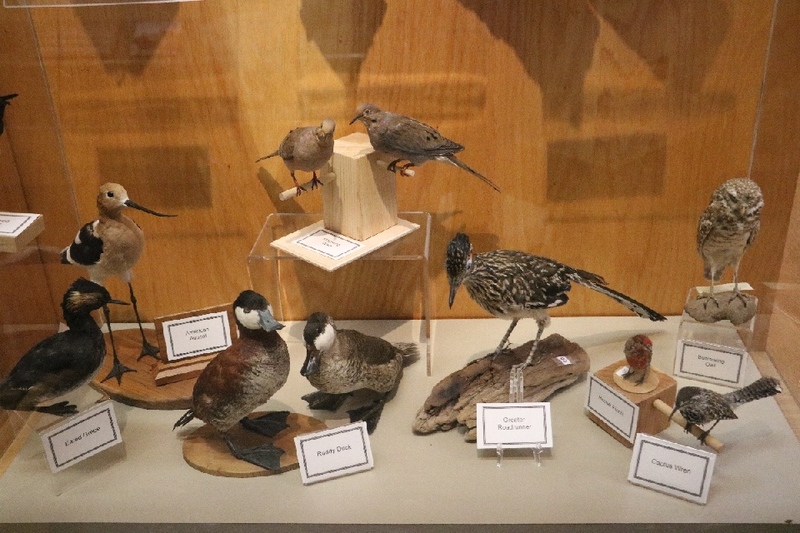 Every 2nd Saturday admission is free of charge for this museum. 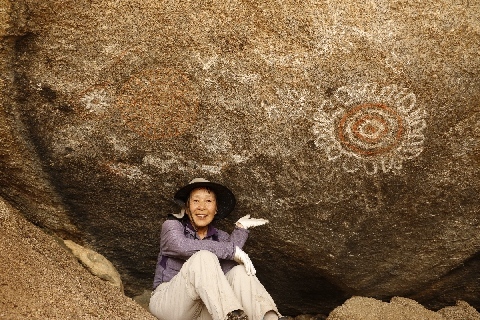 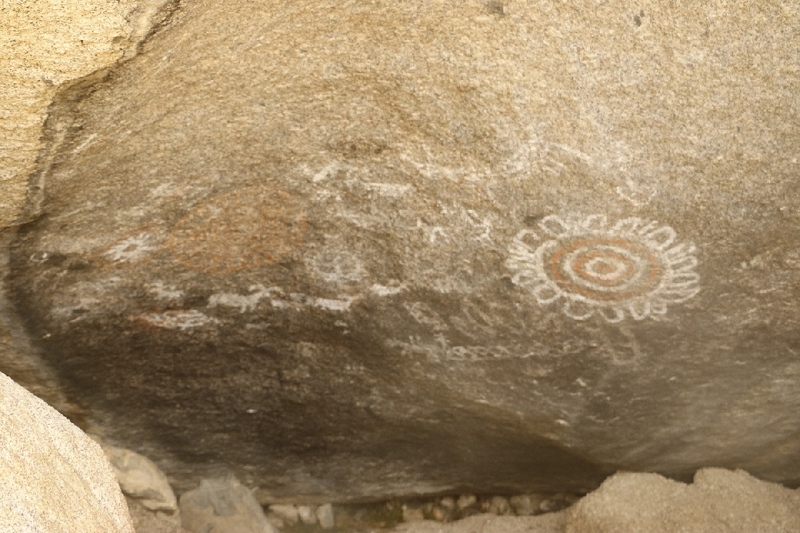 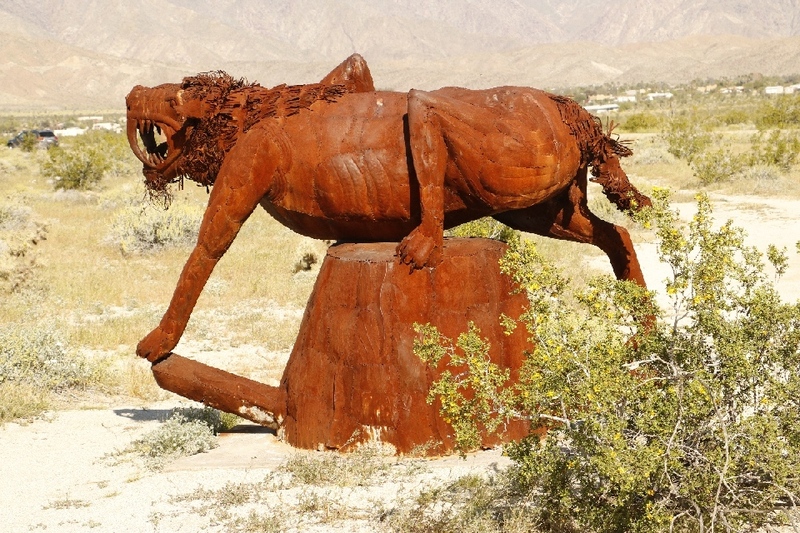 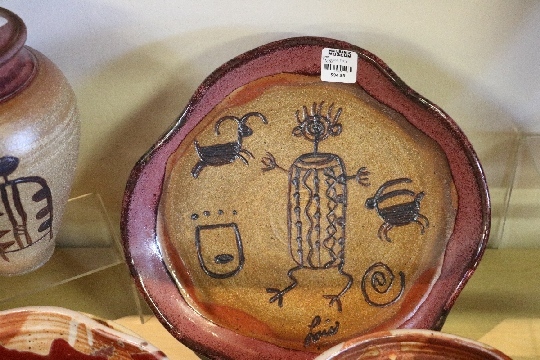 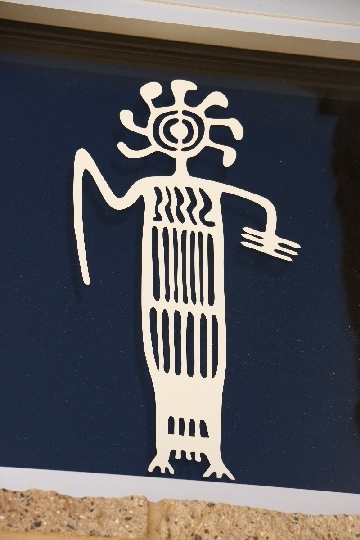 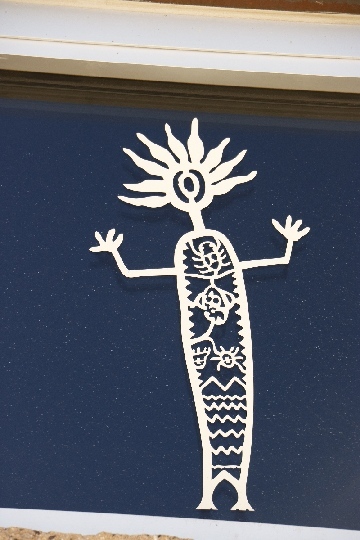 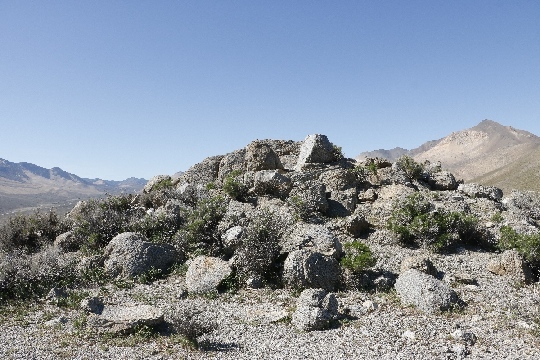 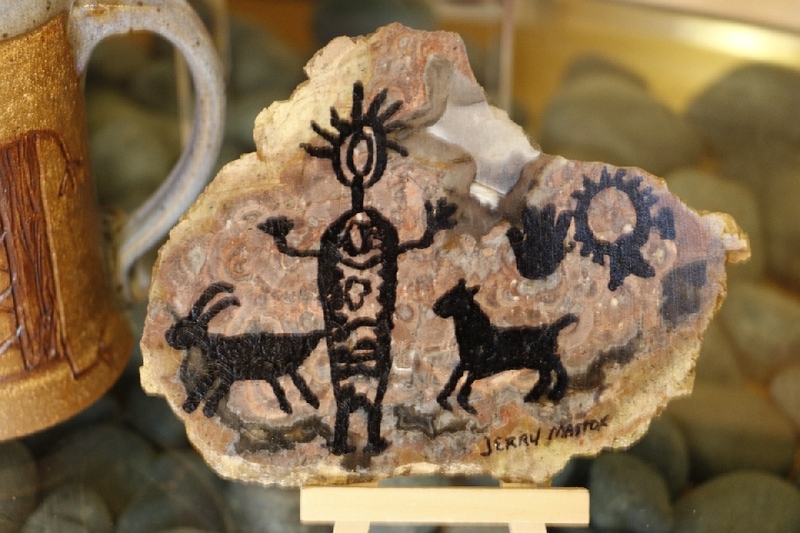 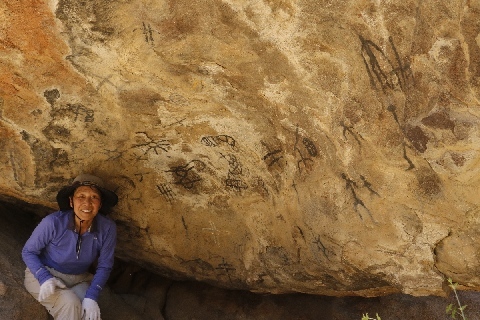 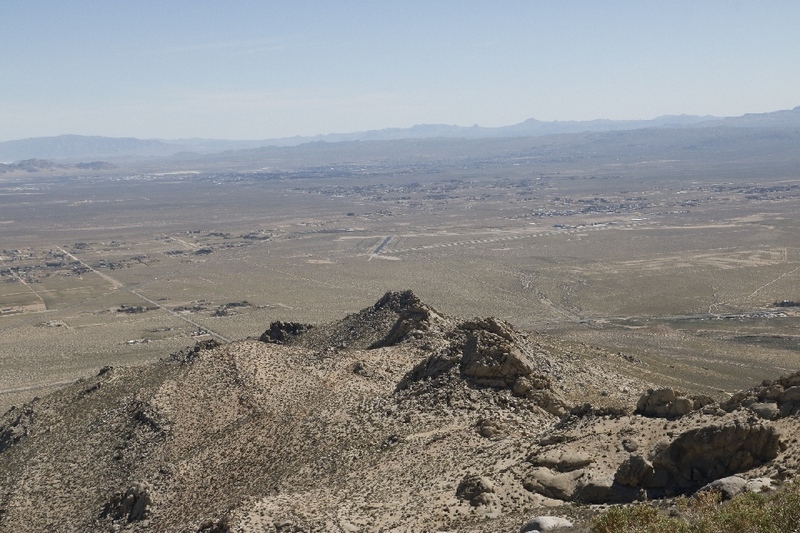 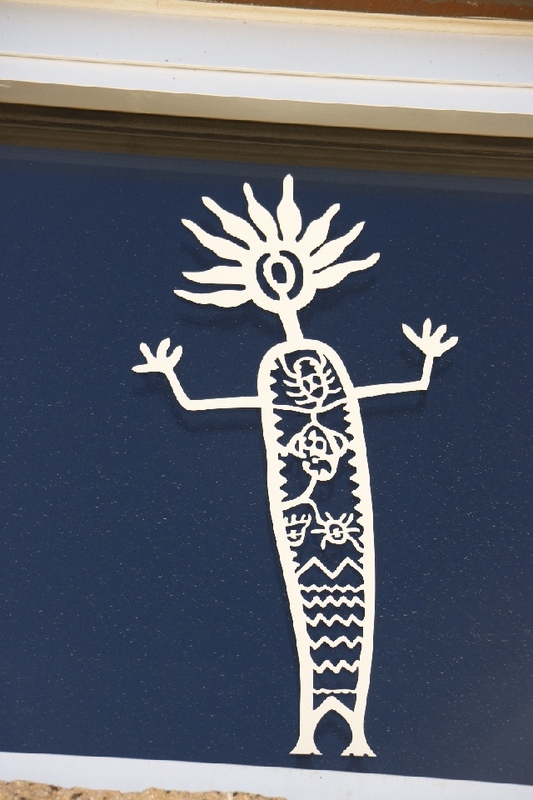 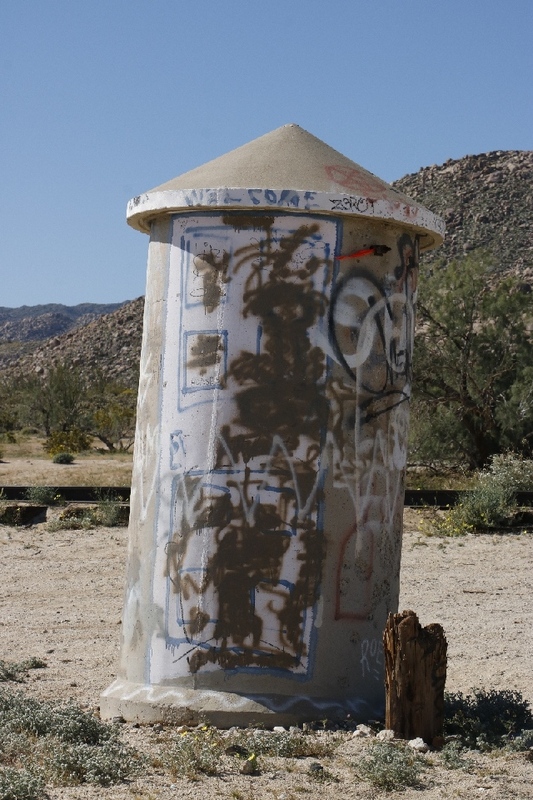 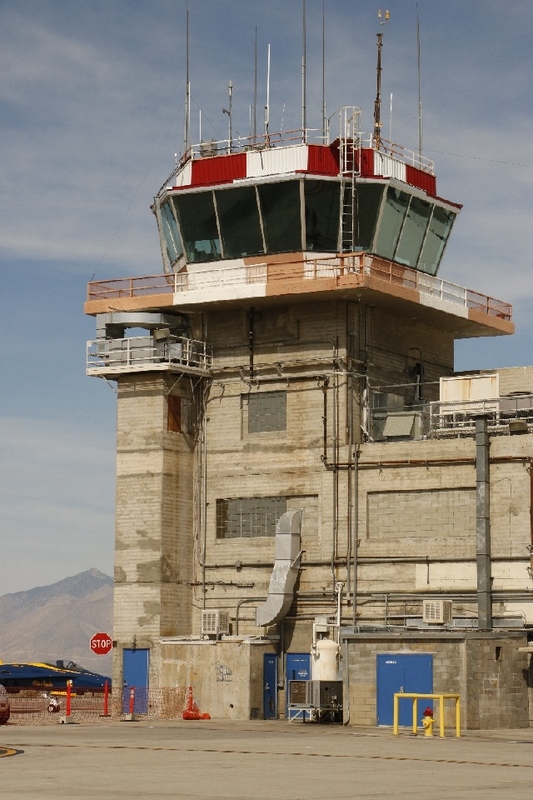 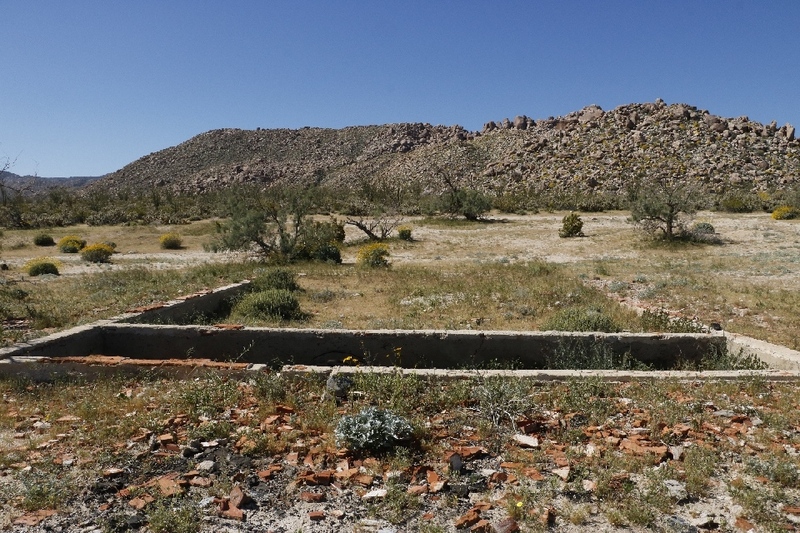 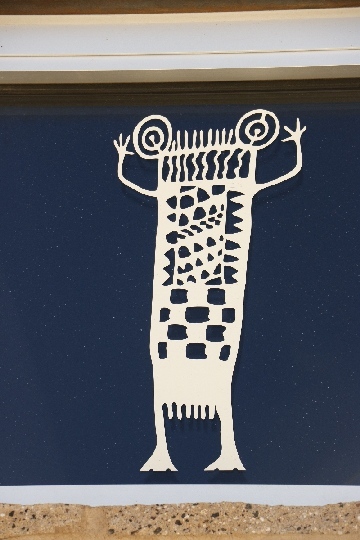 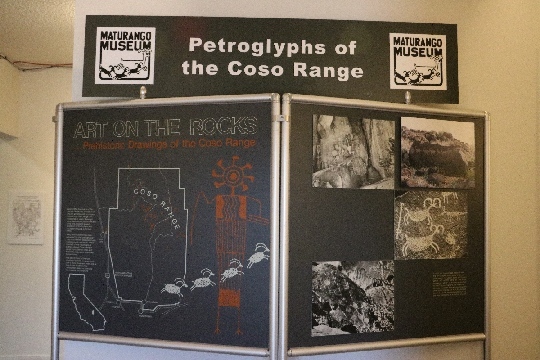 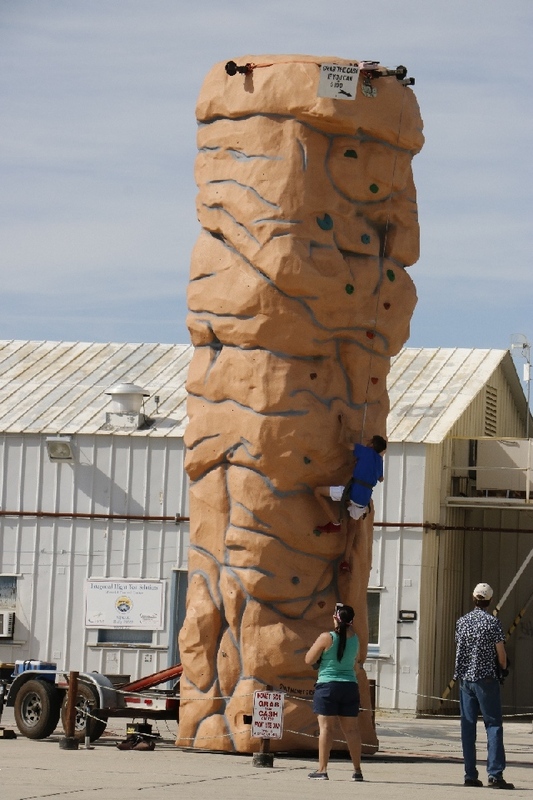 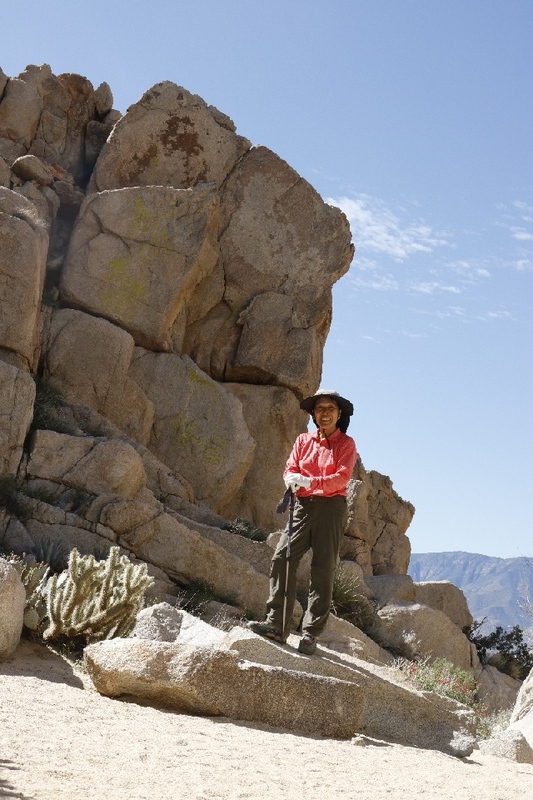 This is the place to sign up for the Coso Petroglyphs Tour that located in the Naval Air Weapons Station China Lake. 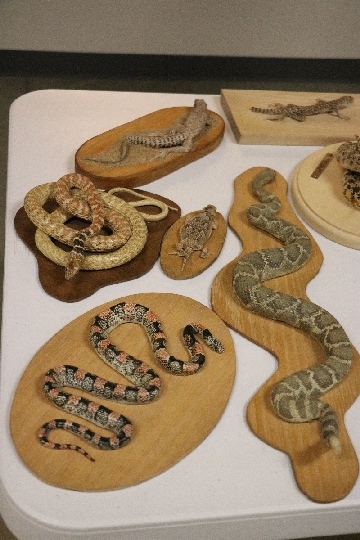 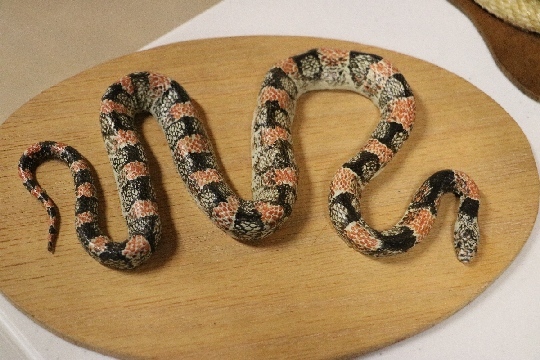 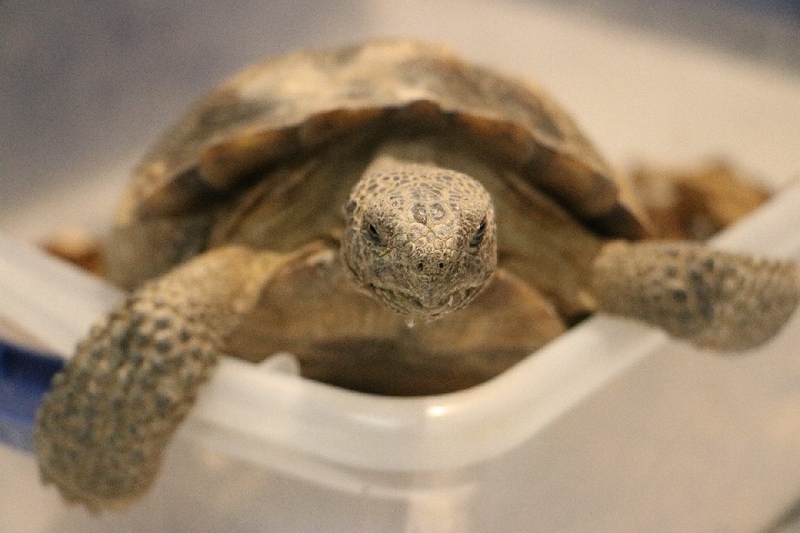 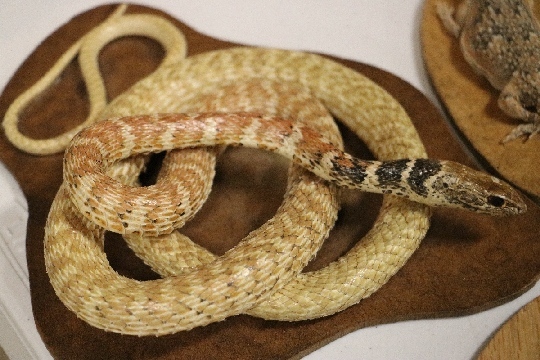 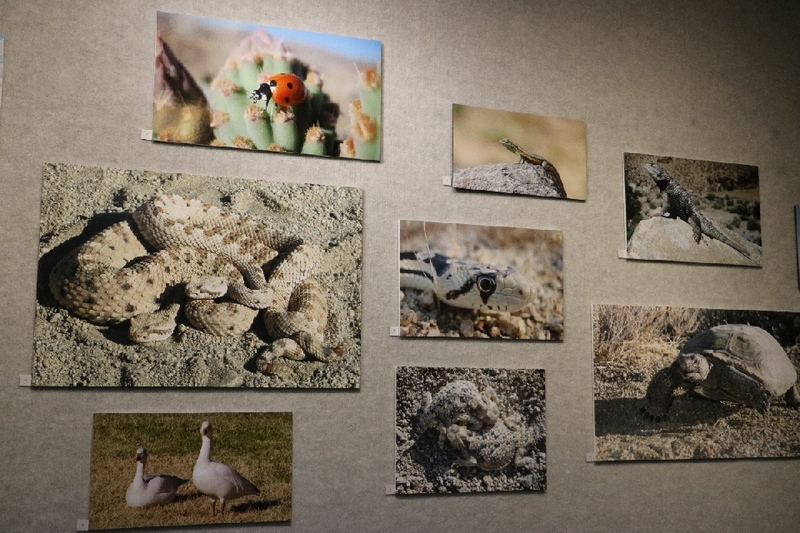 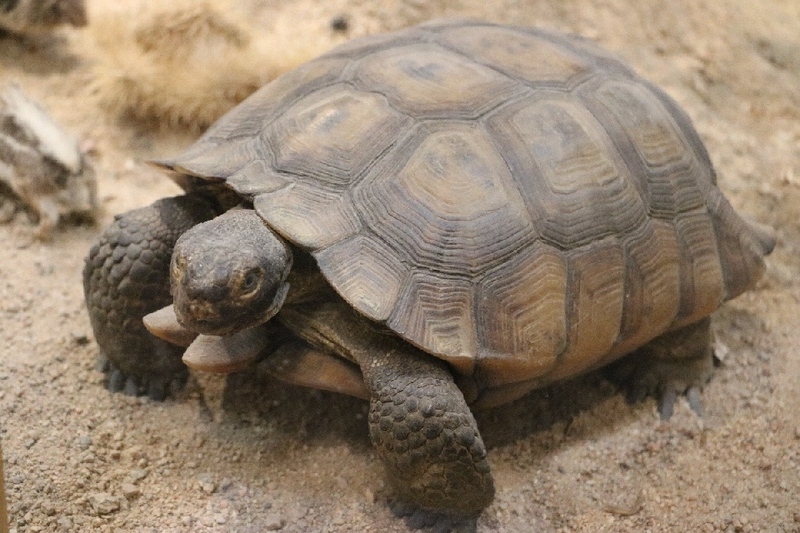 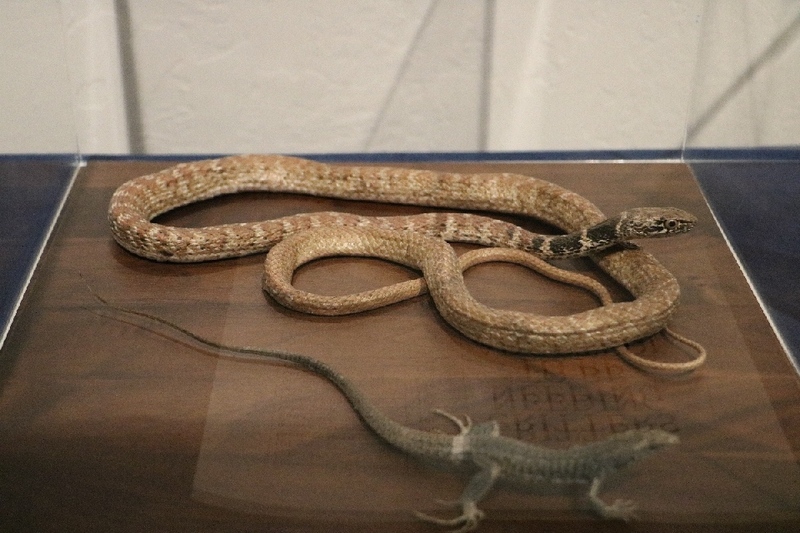 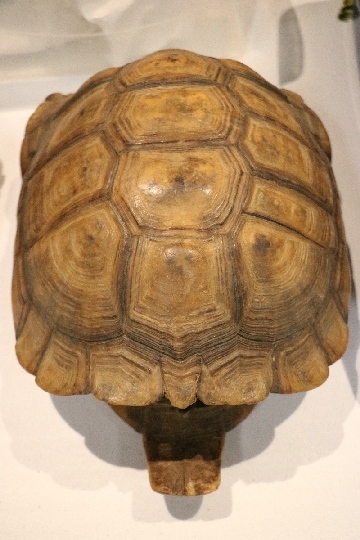 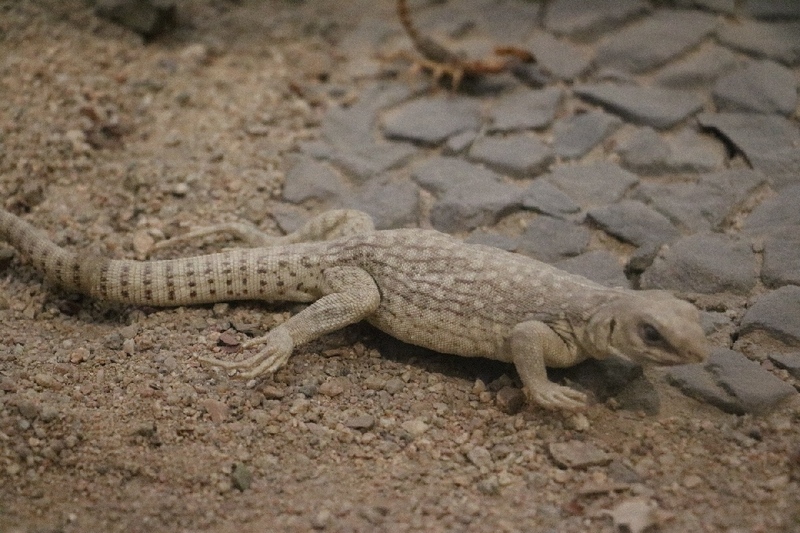 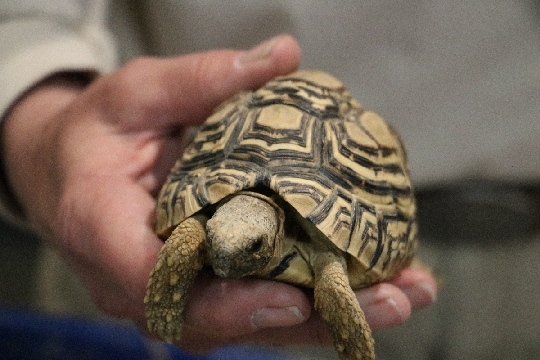 Turtles and snakes are the special exhibit today. 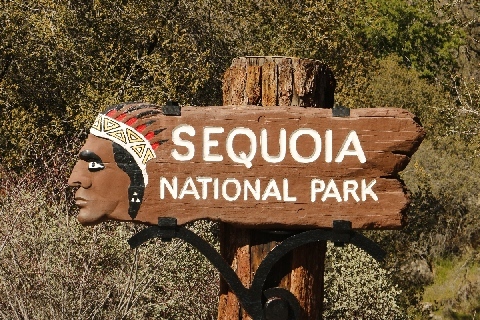 3/7/2017 Lake Kawaeh, CA - It is located just outside and lower side of the Sequoia National Park. 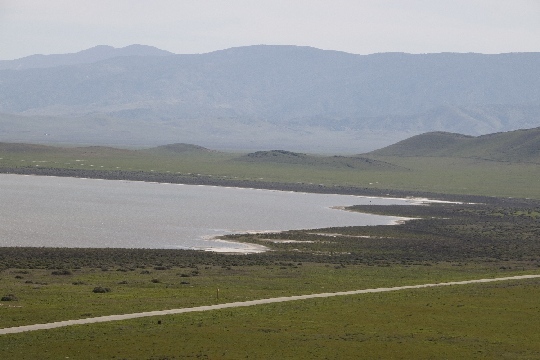 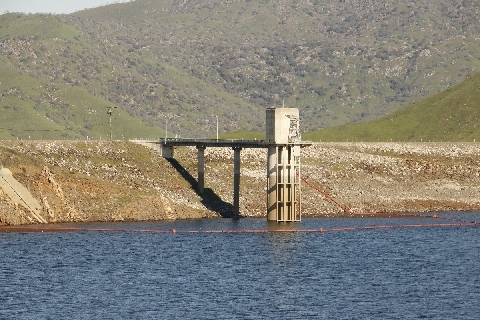 It is man-made lake/reservoir. 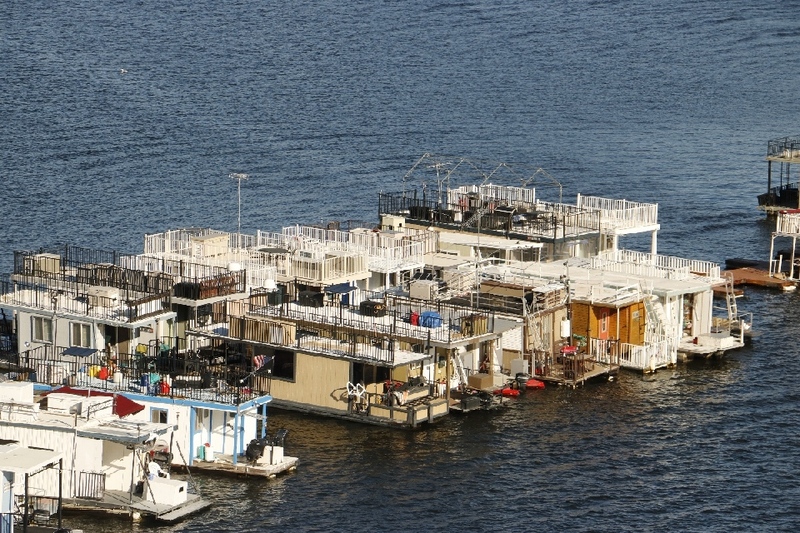 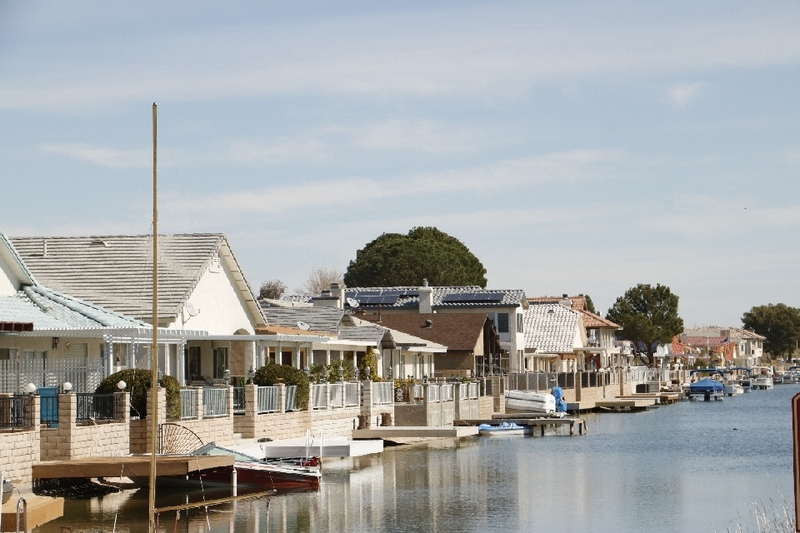 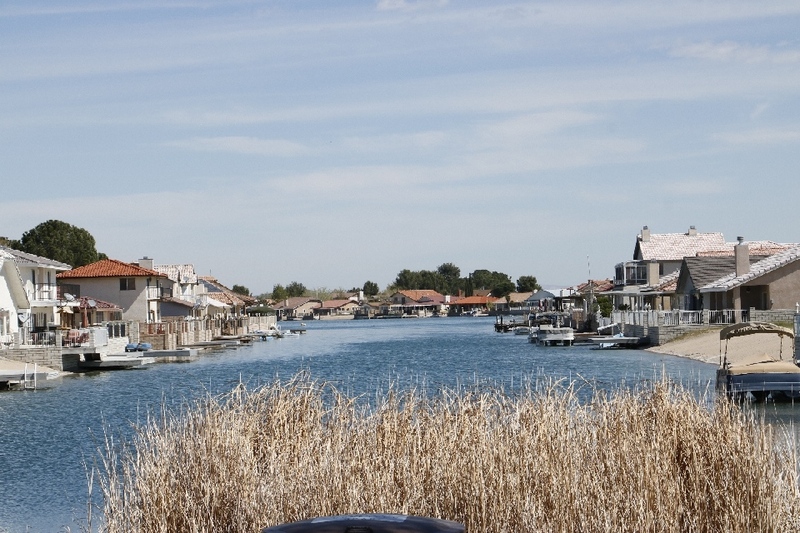 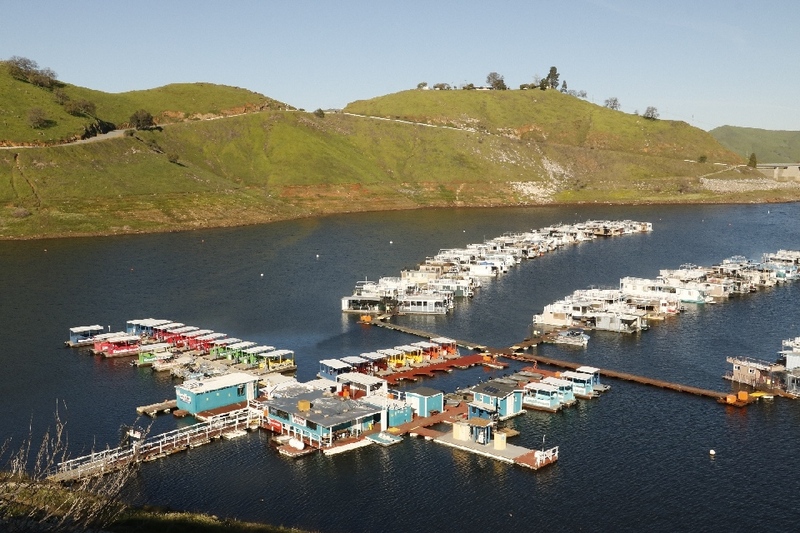 There are many house boats in the marina area, I don’t know they are full time or seasonal residents. 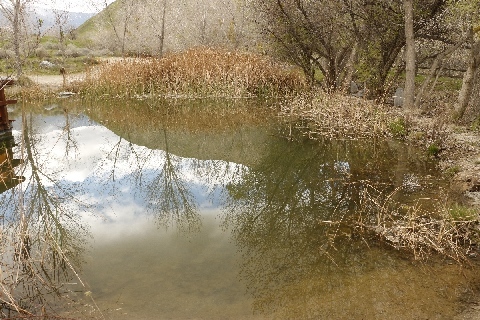 Seems to water level of the lake is pretty high to me. 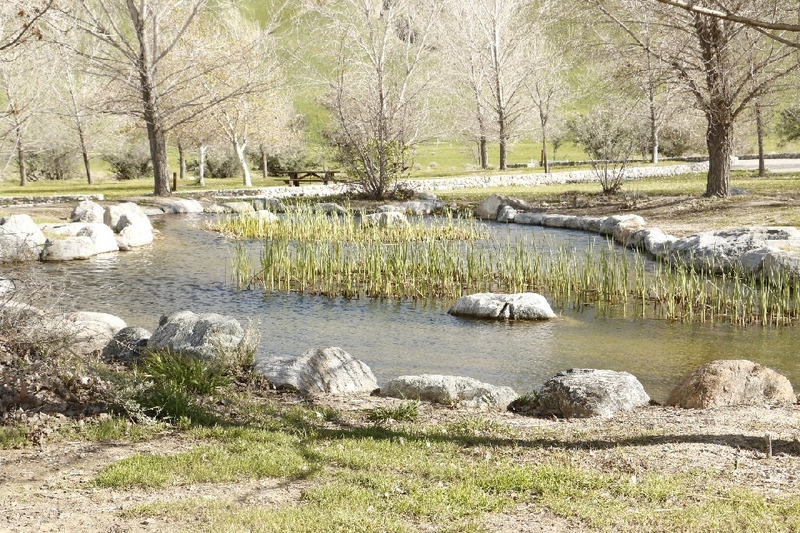 It is nice lake to relax that sure. 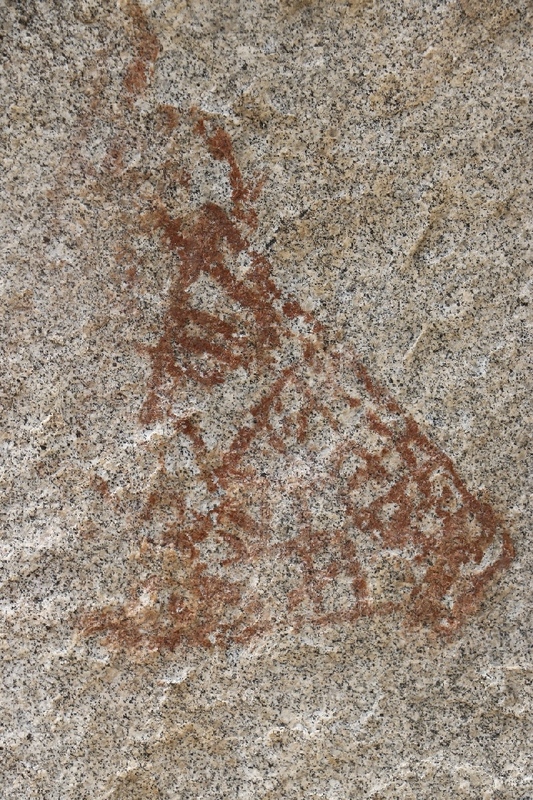 3/6/2017 Hospital Rock, Sequoia National Park, CA - I can’t imagine how to draw this Hospital Rock Pictographs, because no place to stand up to draw unless they use a rope like the rock climber. 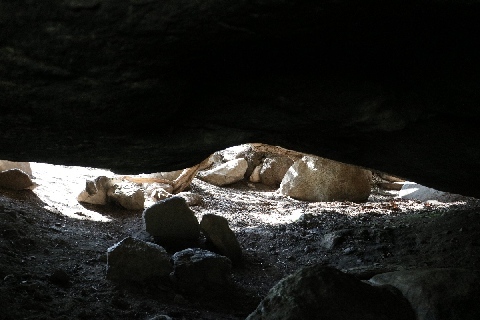 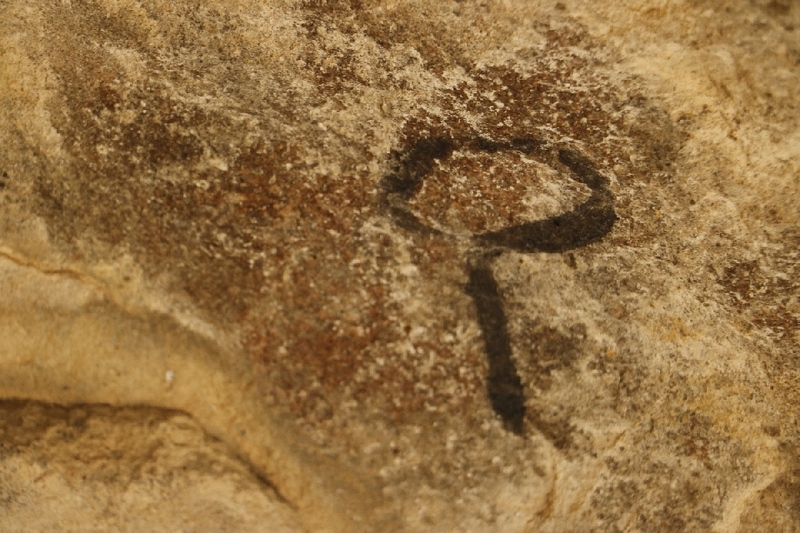 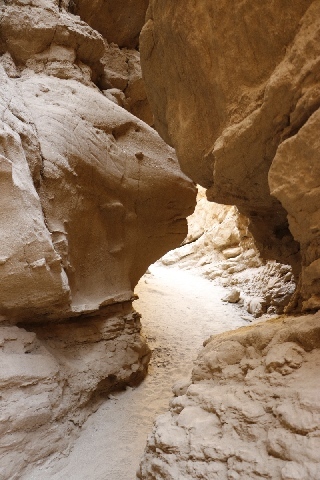 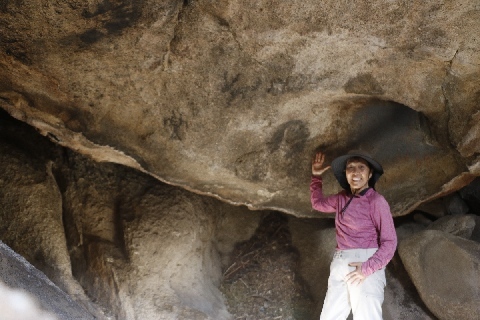 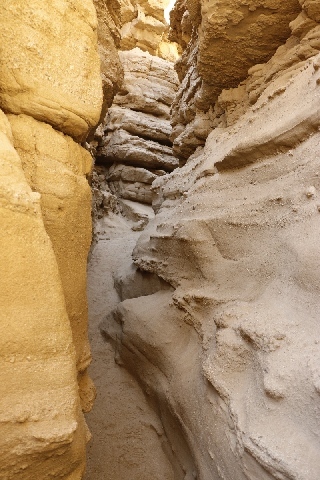 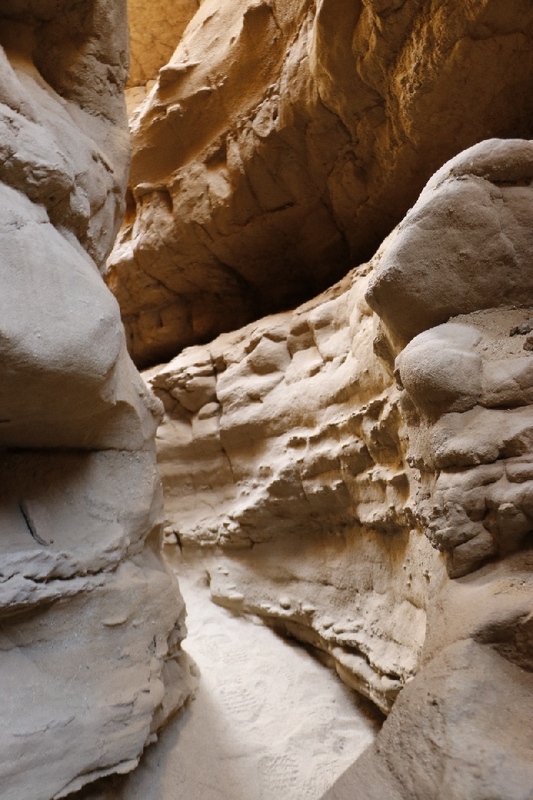 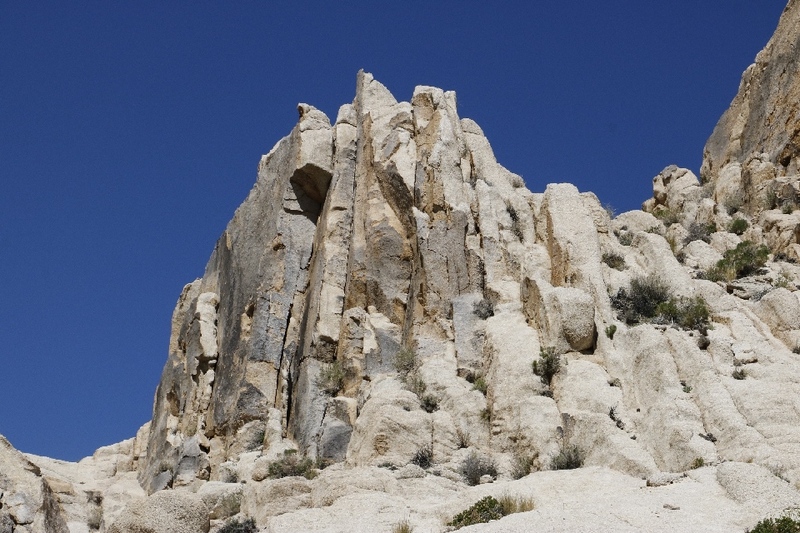 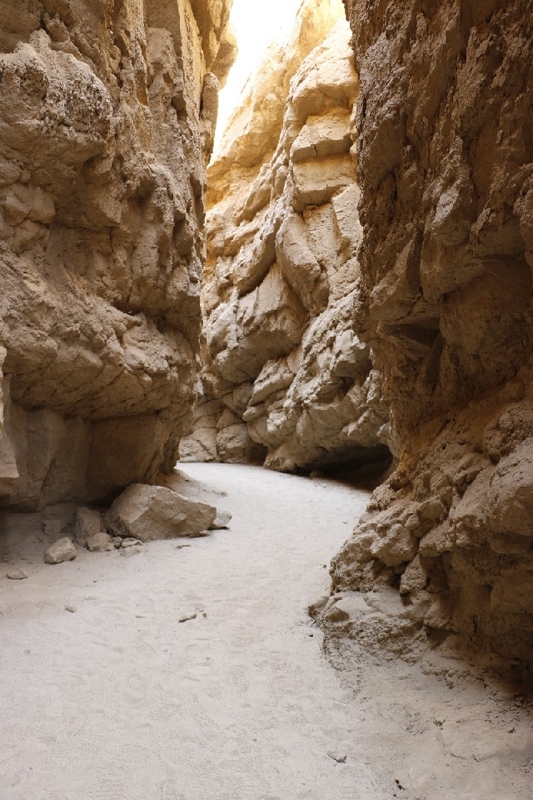 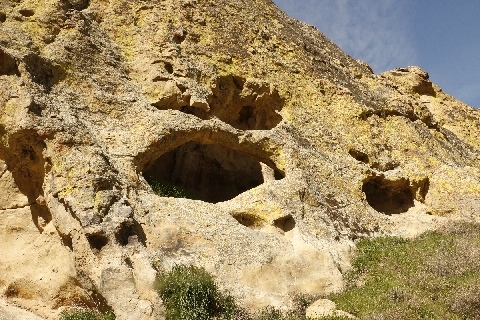 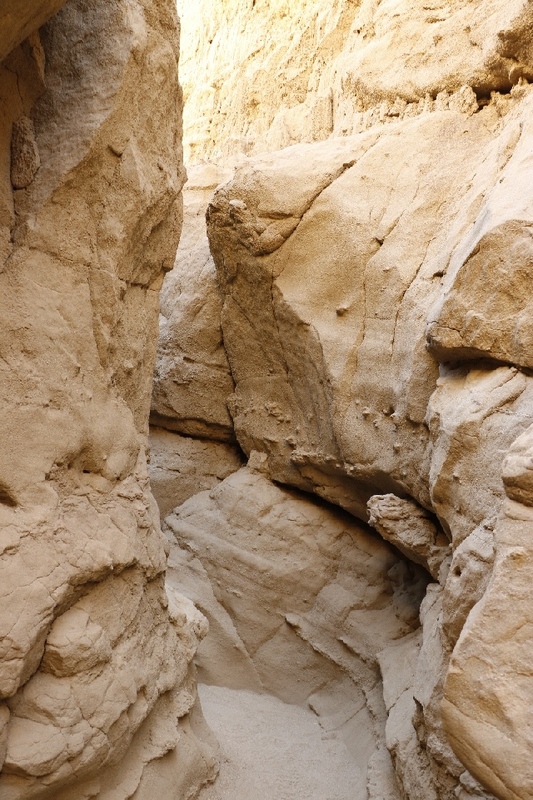 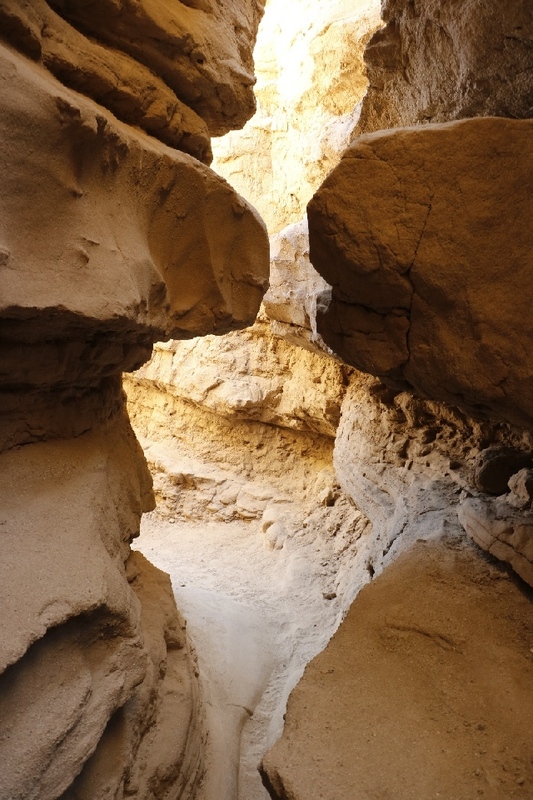 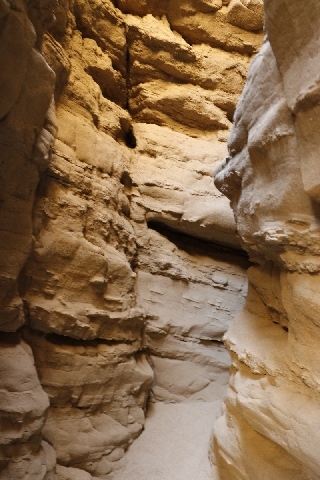 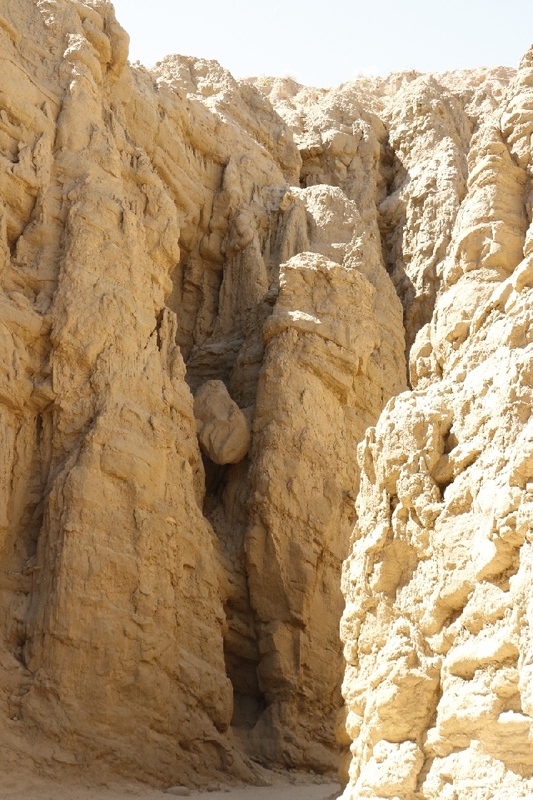 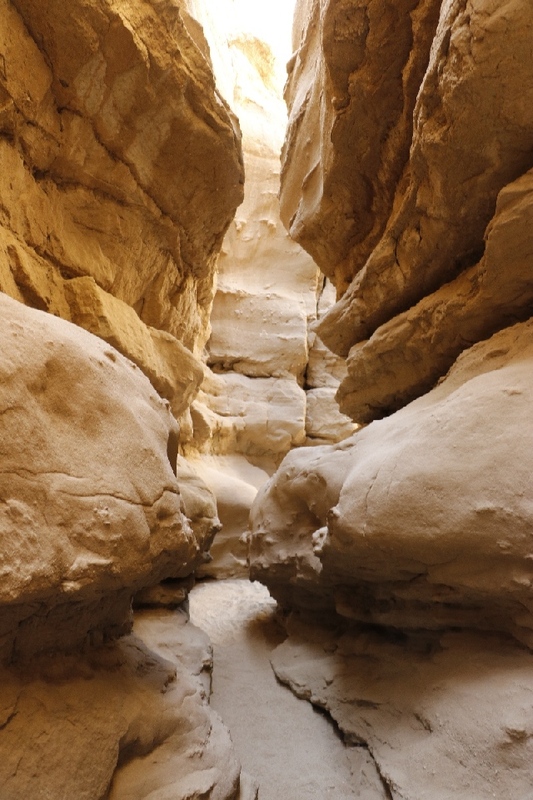 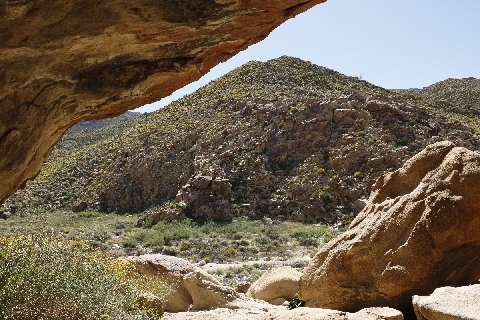 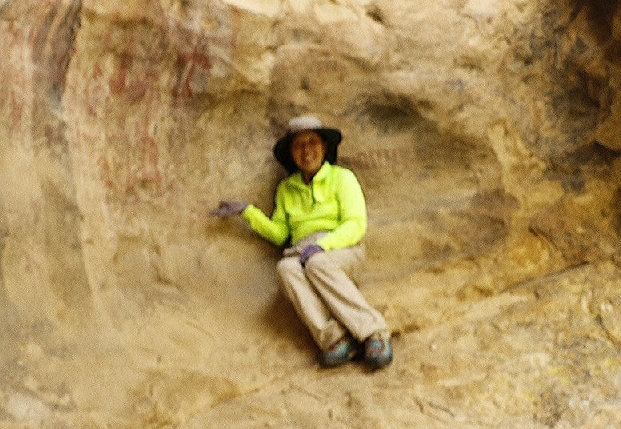 There is a large size cave near the pictographs rock. 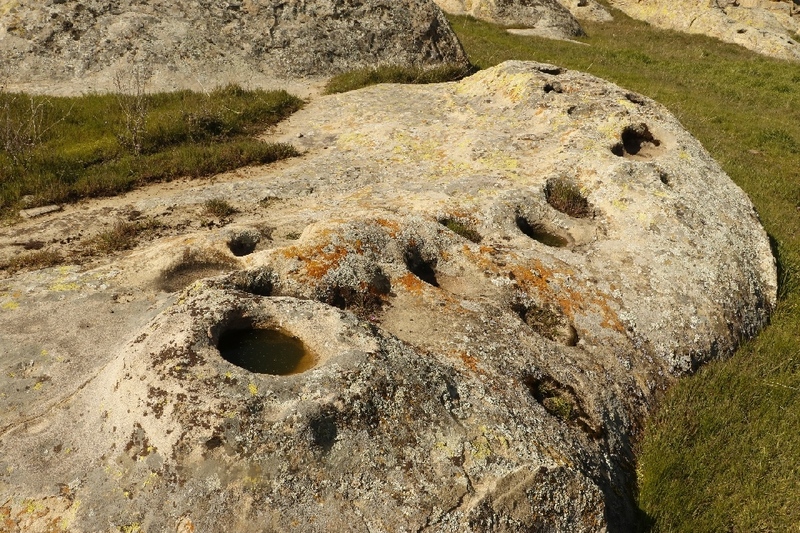 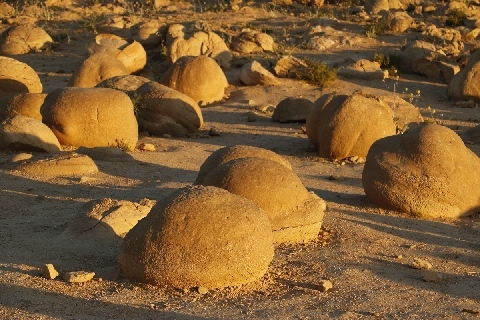 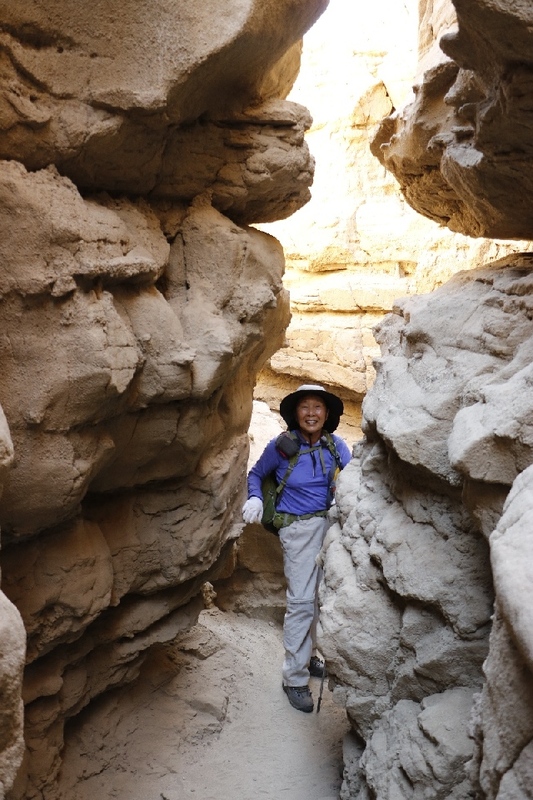 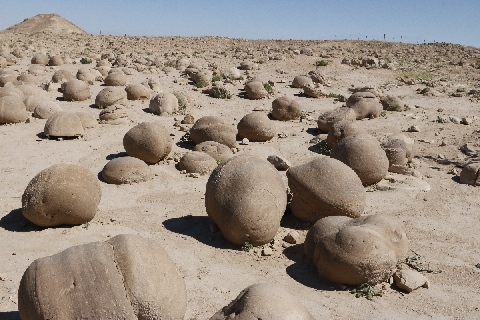 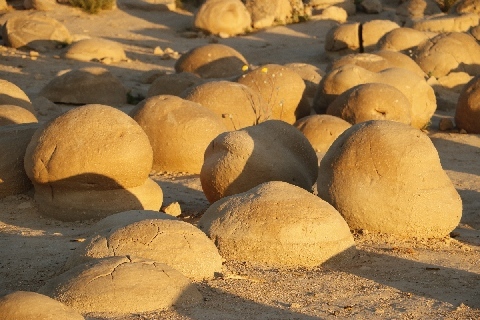 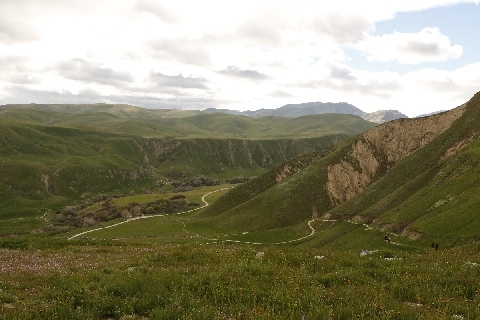 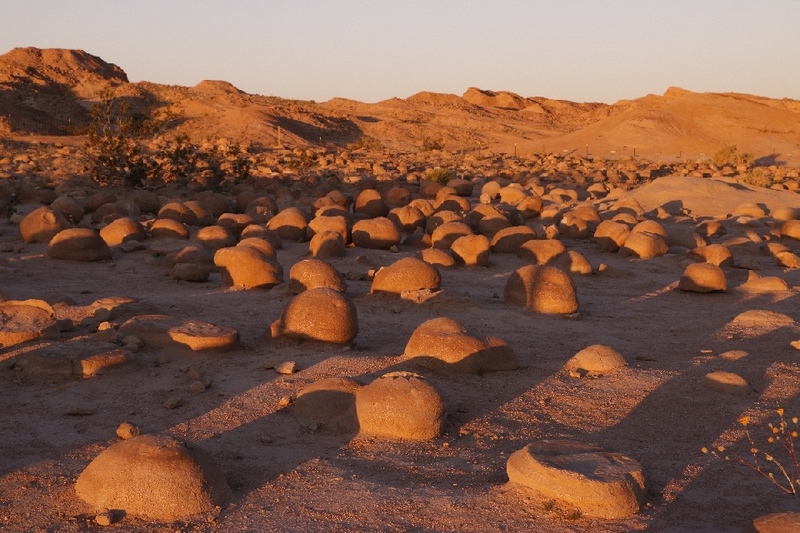 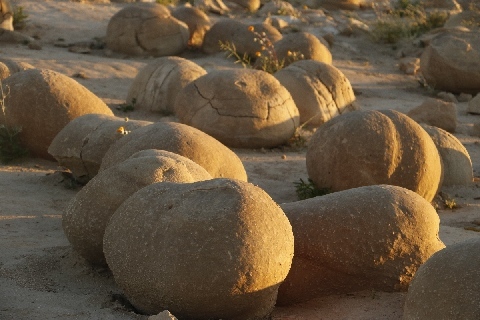 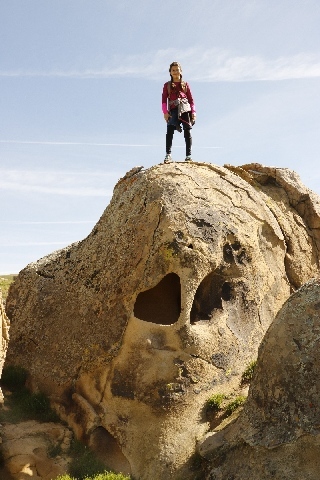 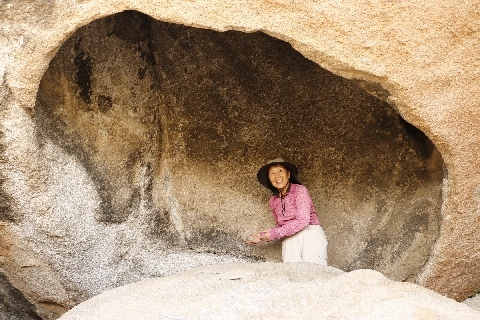 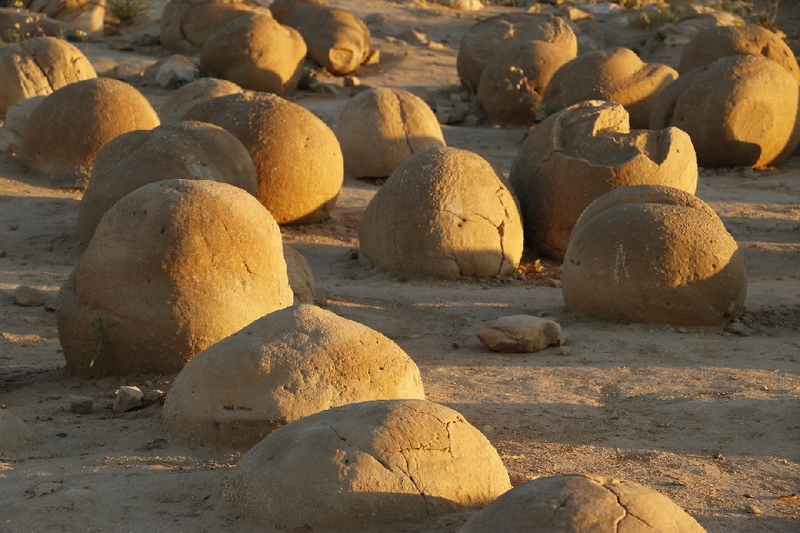 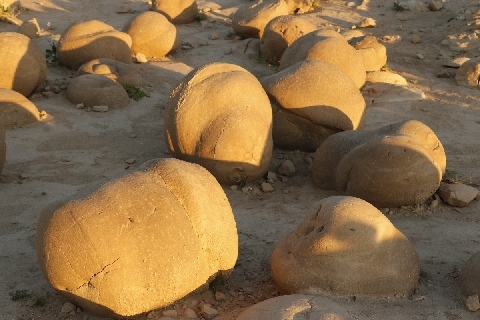 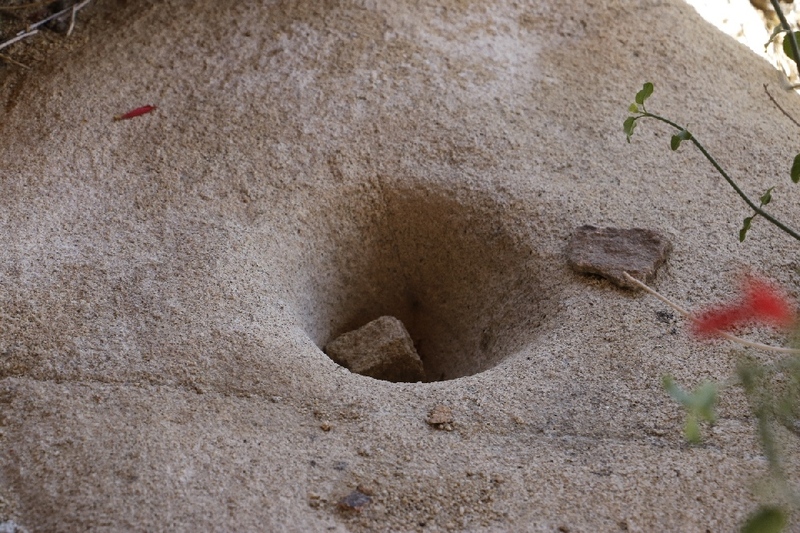 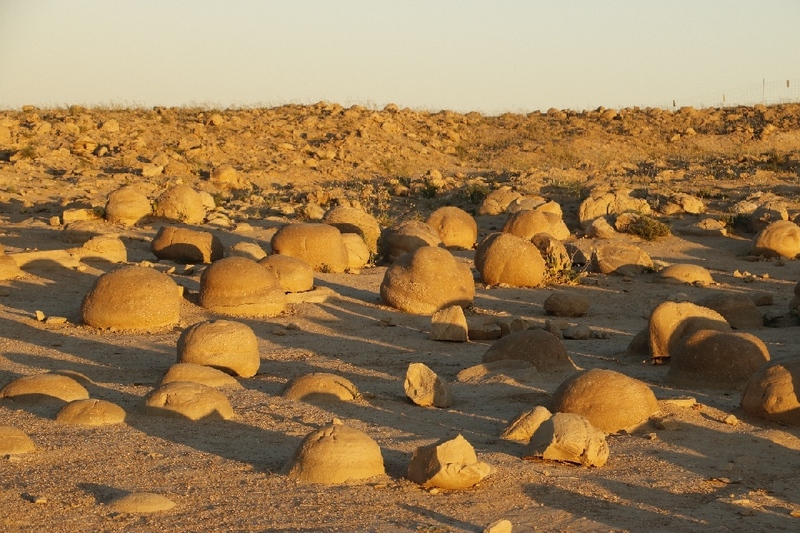 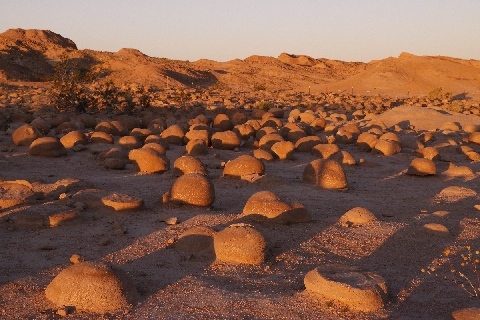 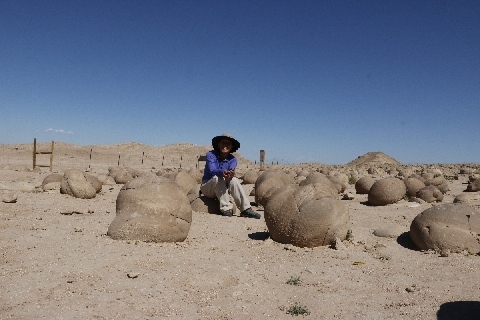 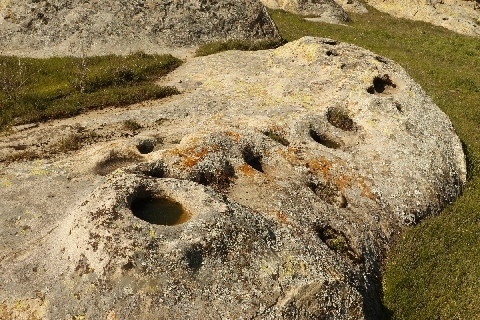 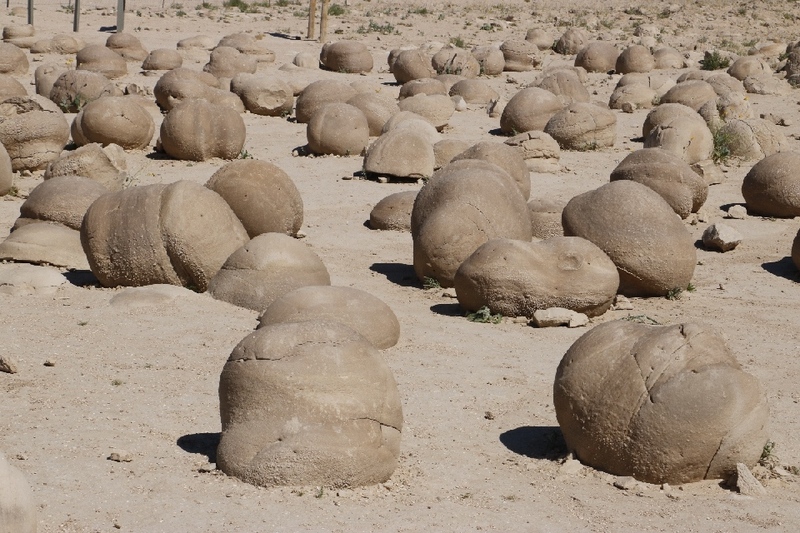 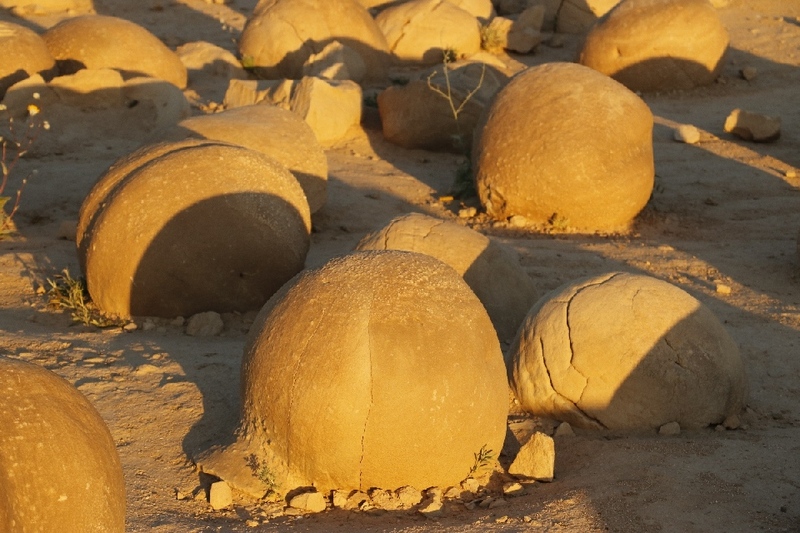 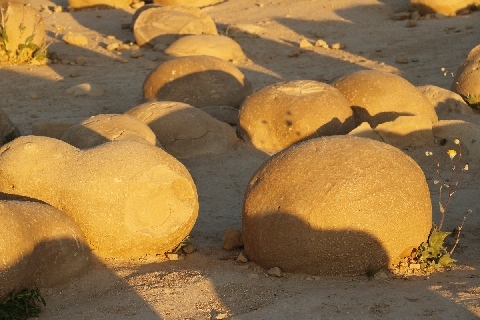 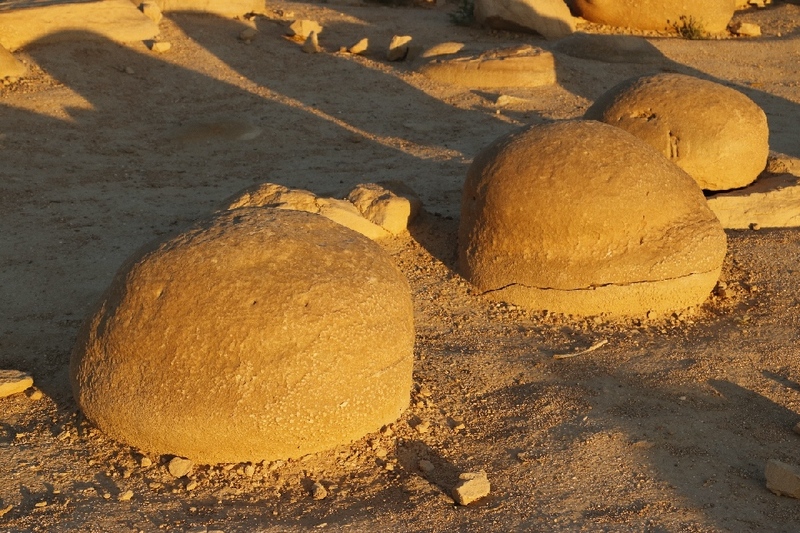 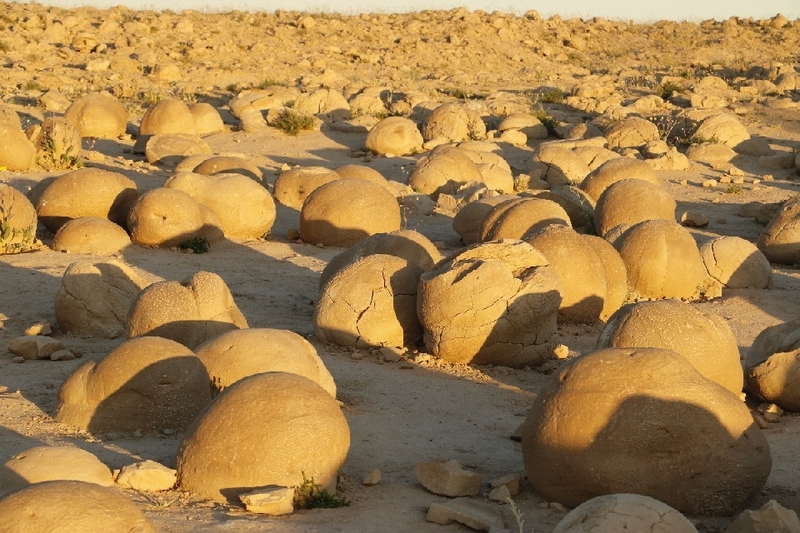 Near by a rock called Kitchen Rock because many motars, holes for food preparations. 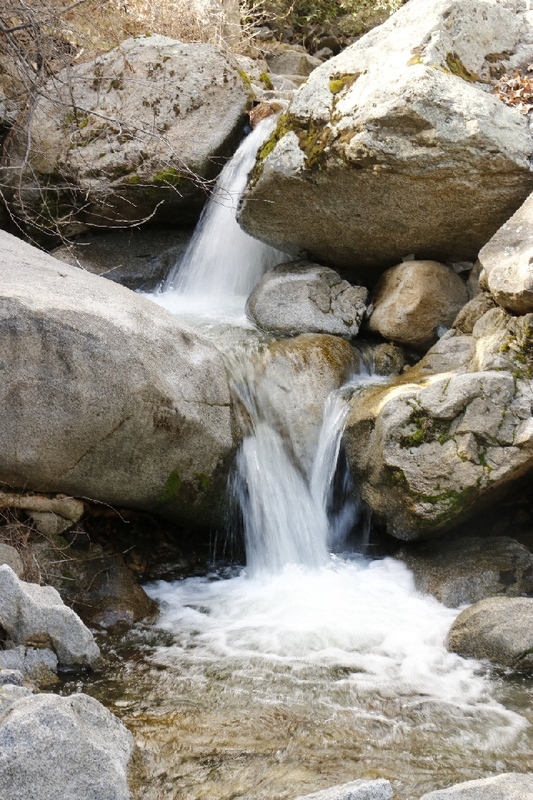 Too much water in the rivers. Chain is required beyond this point in the Sequoia NP, still lot of snow atop of the mountain/pass. 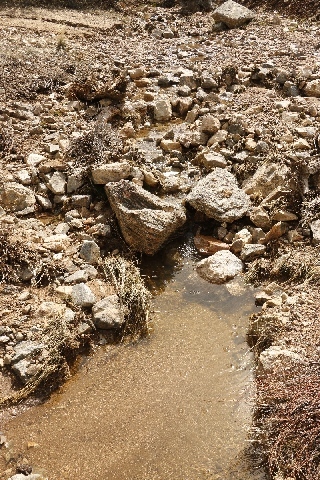 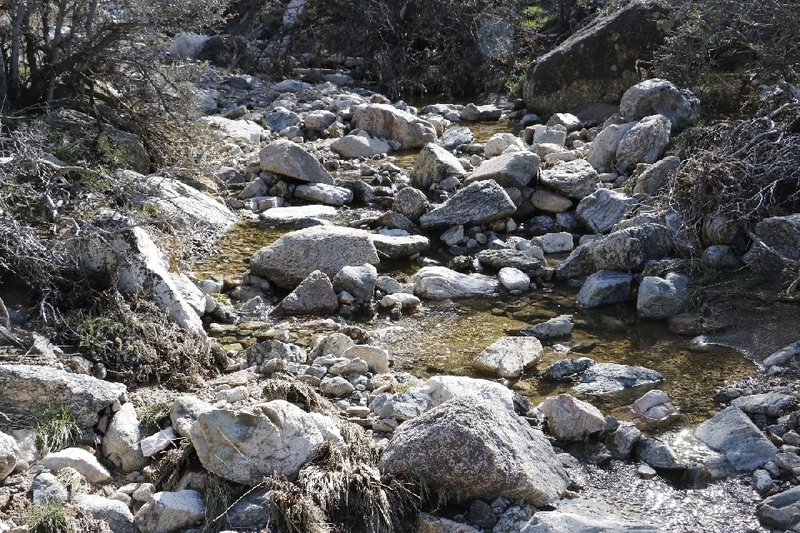 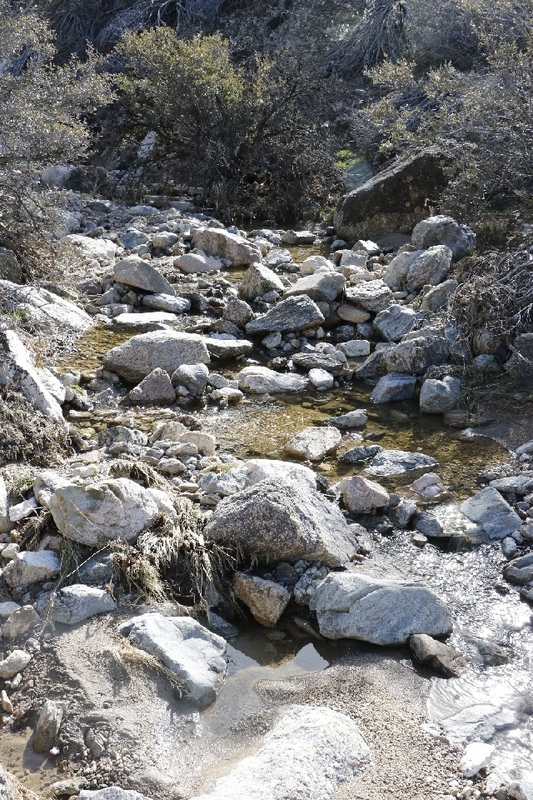 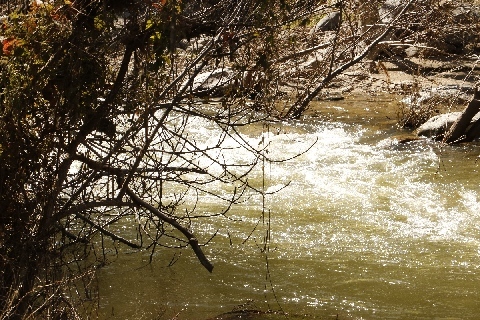 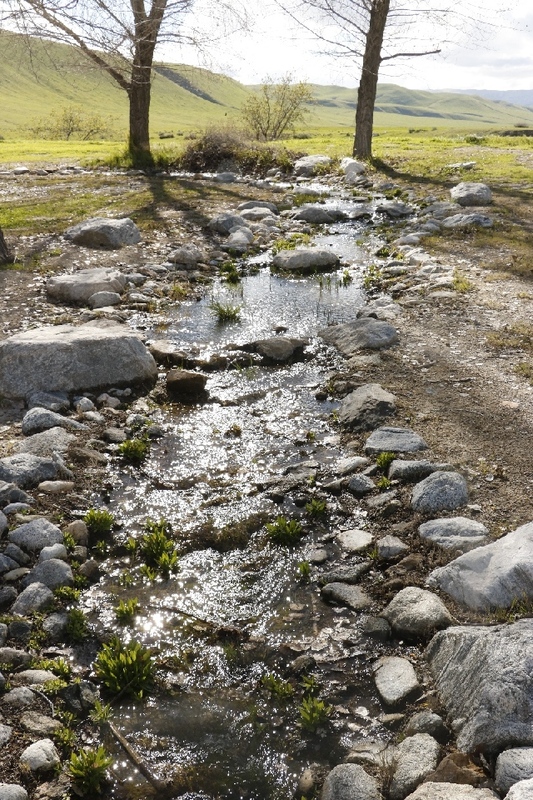 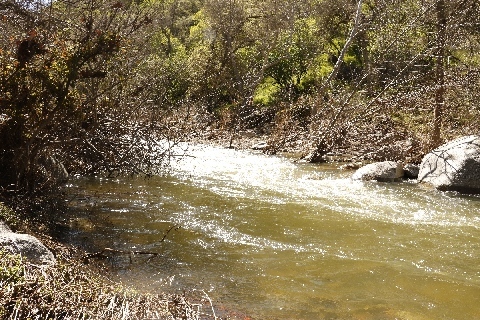 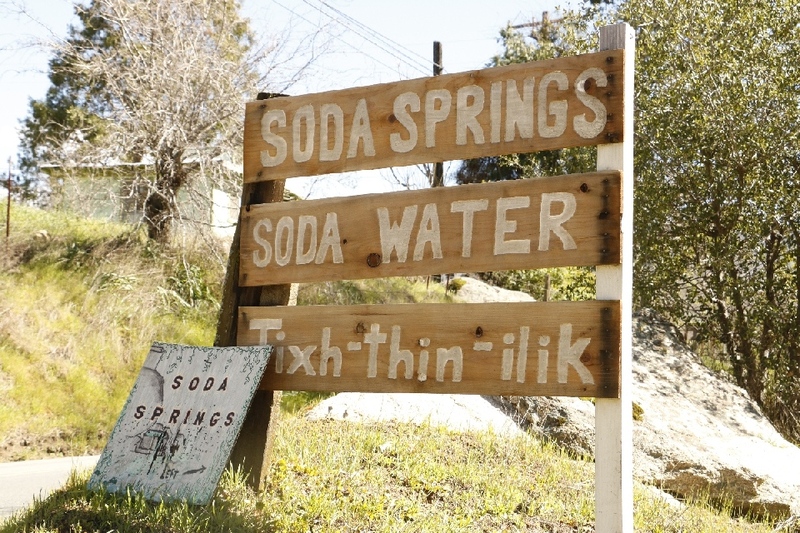 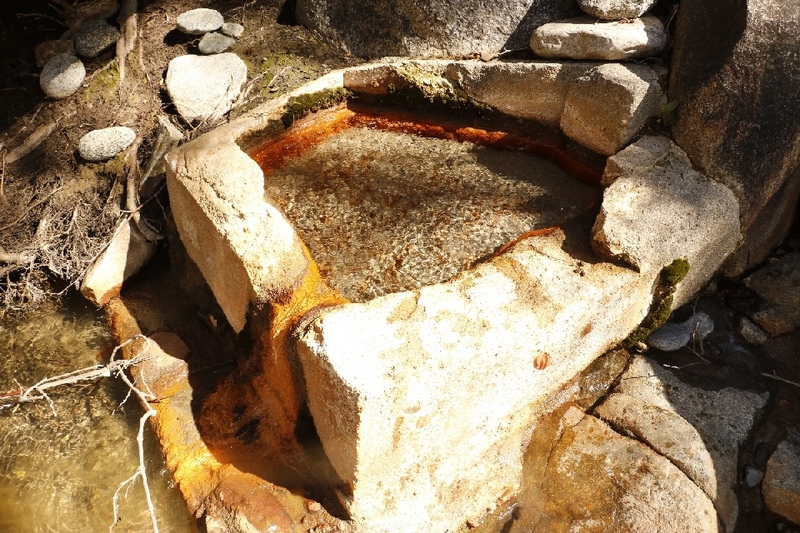 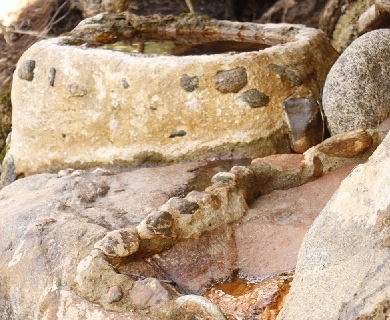 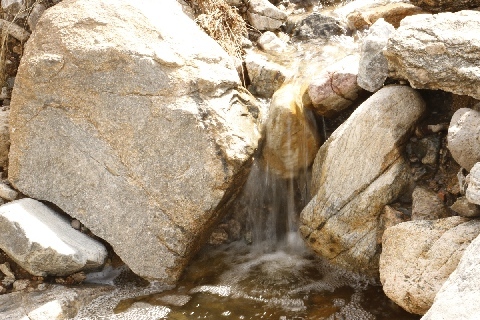 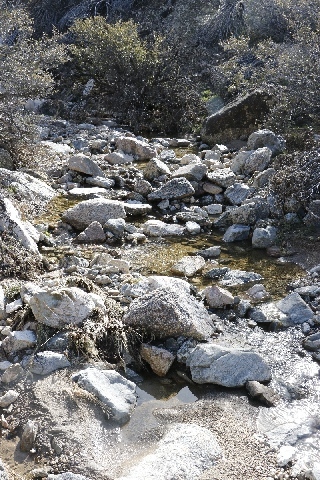 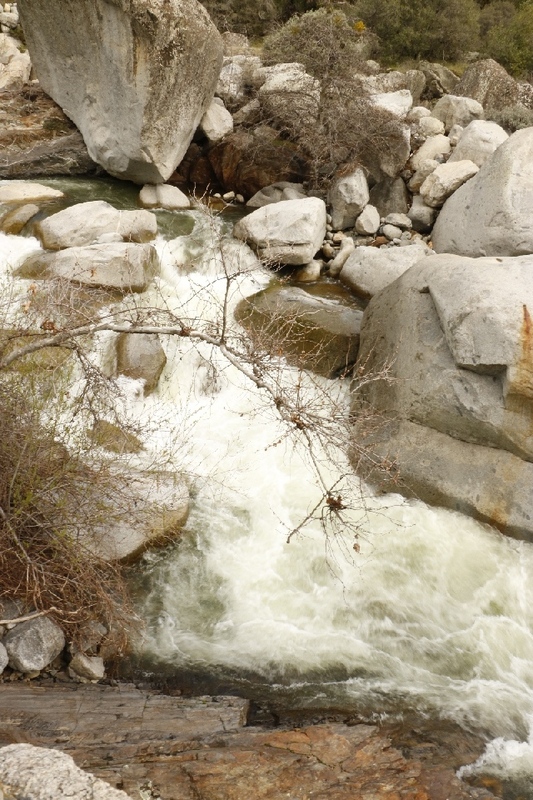 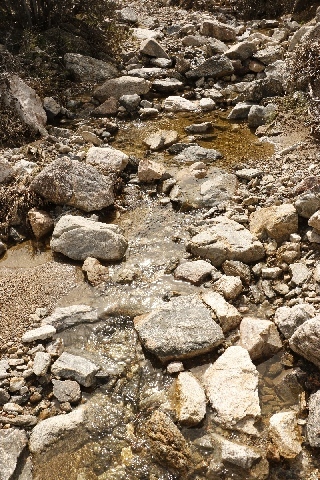 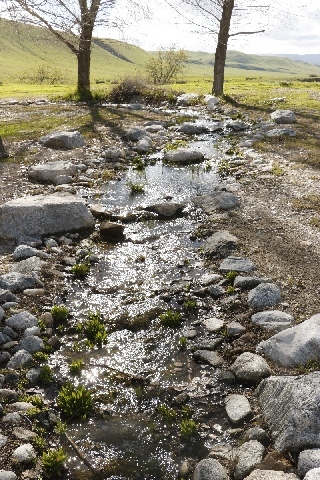 3/6/17 Soda Springs, Tule Indian Reservation, CA - Soda water is bubbling up, not hot, under the boulder by the Tule River. It is very strong soda water. 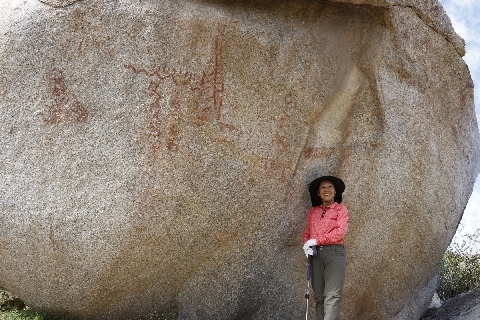 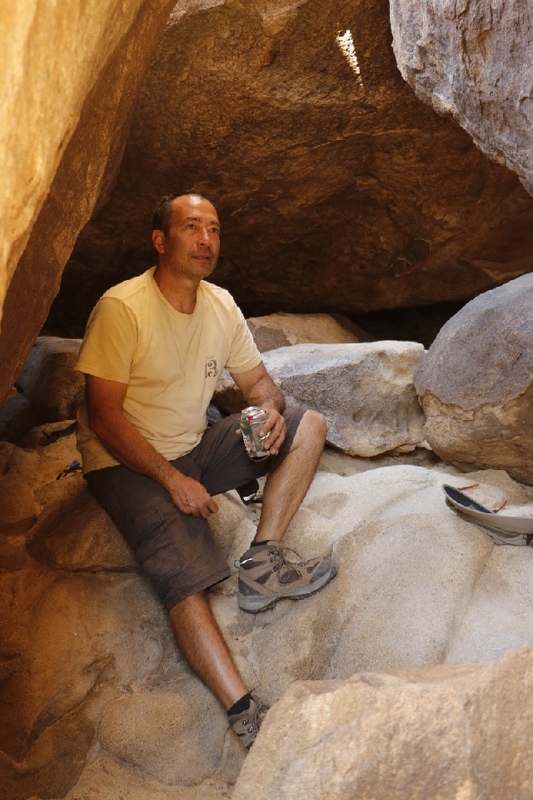 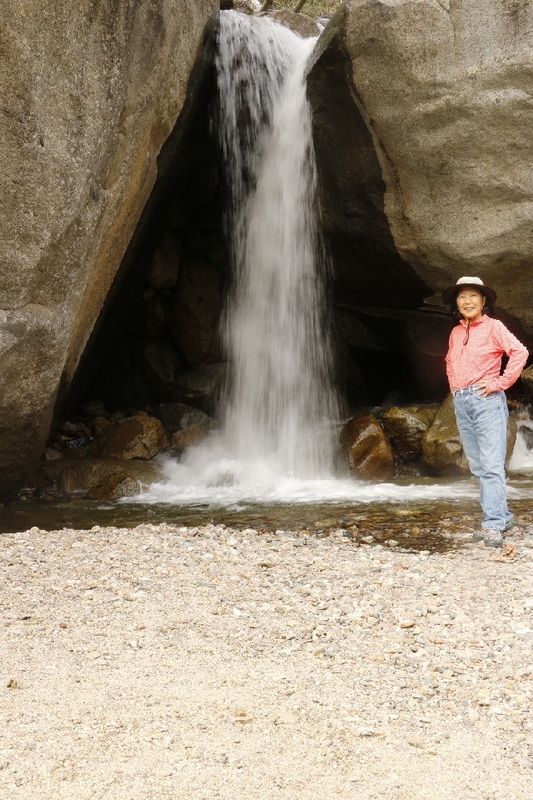 I was looking for the petroglyphs, but water current is too strong and too much water to hike by the creek, so that finding it is leave to the next time. 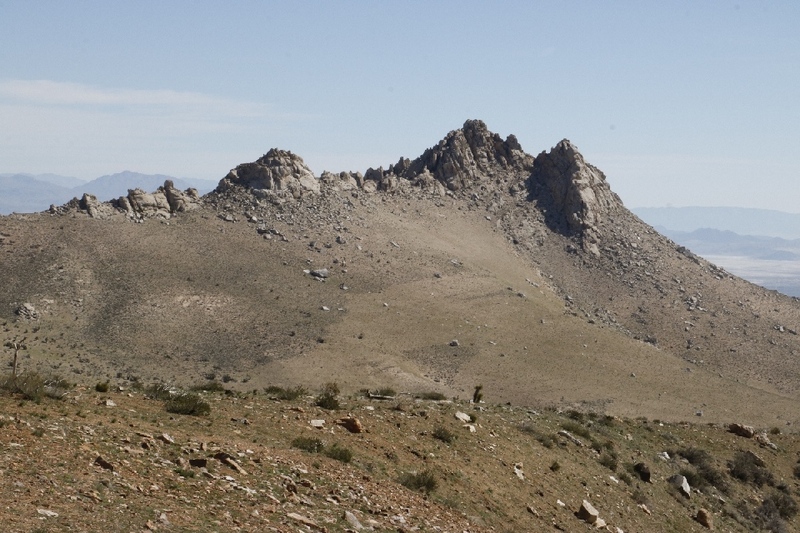 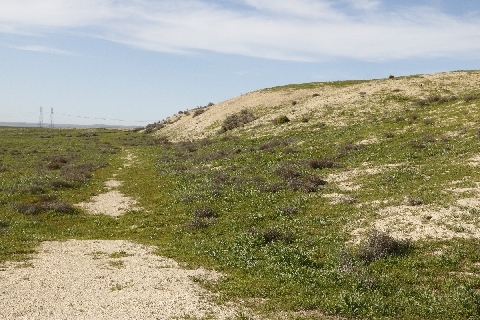 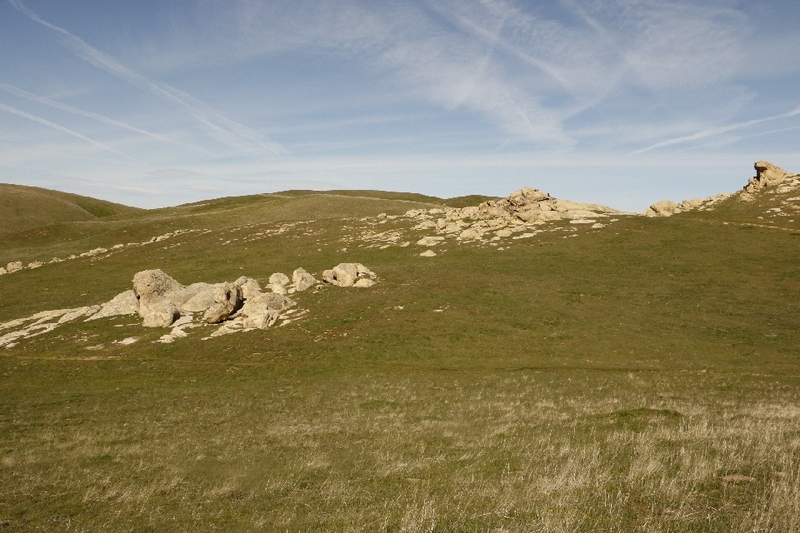 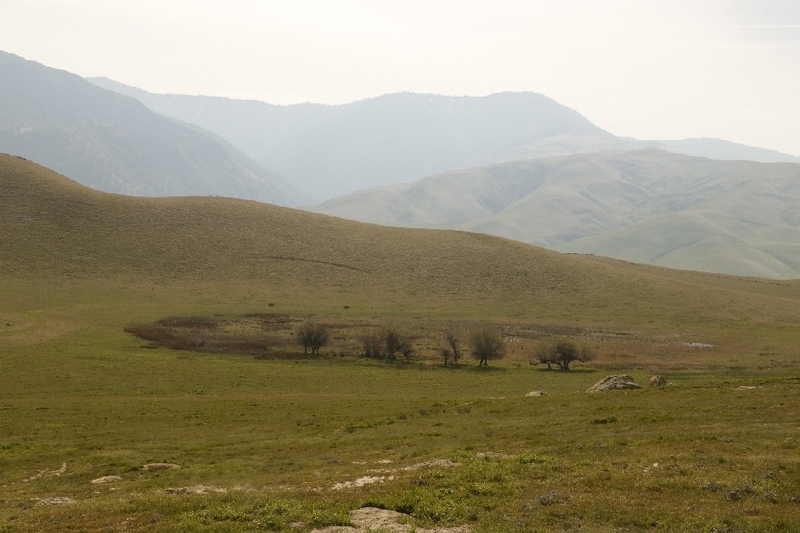 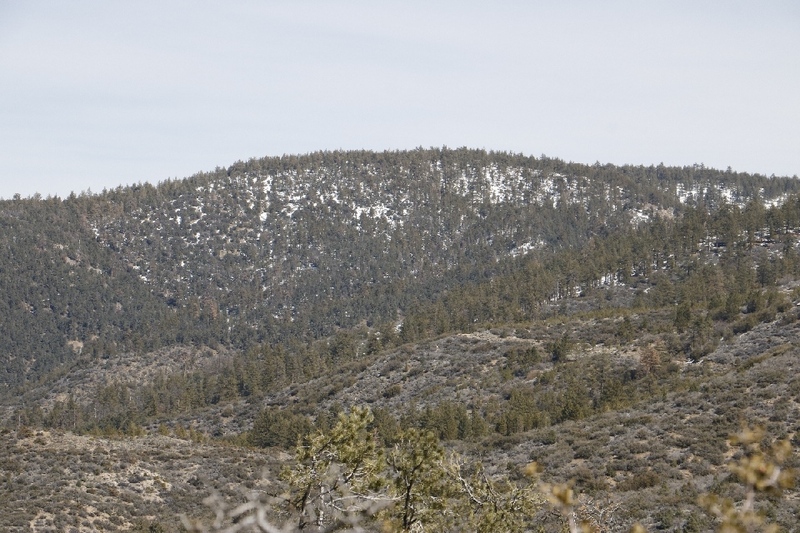 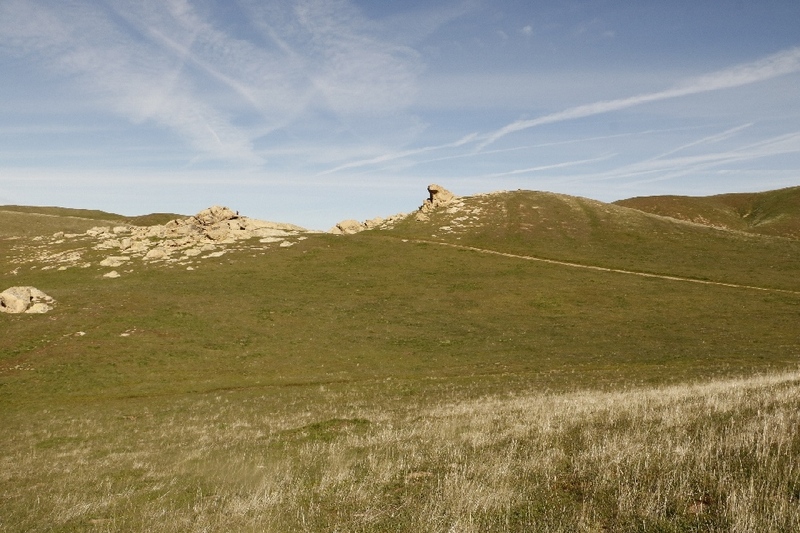 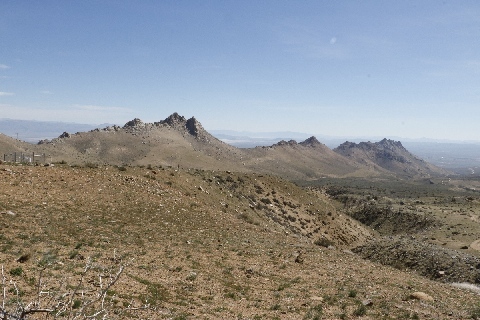 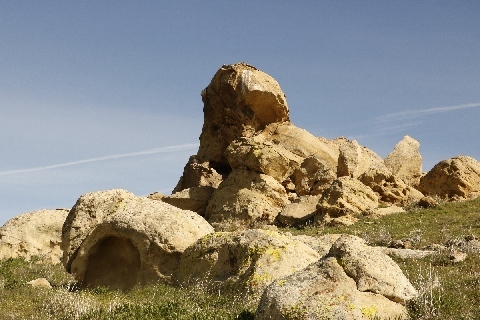 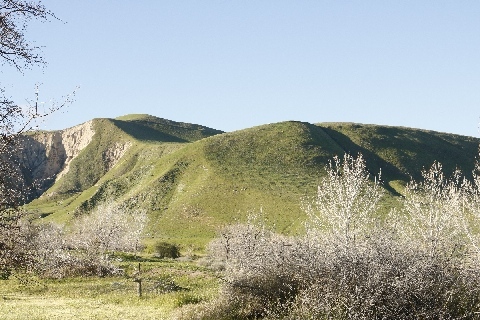 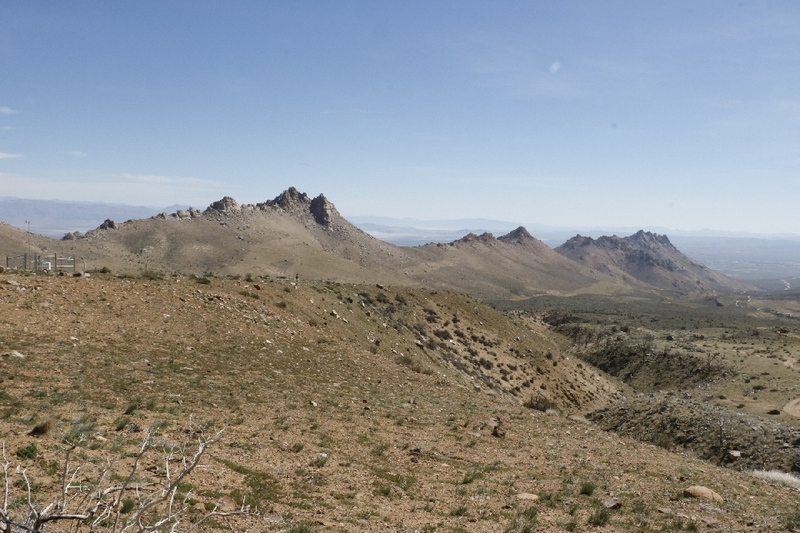 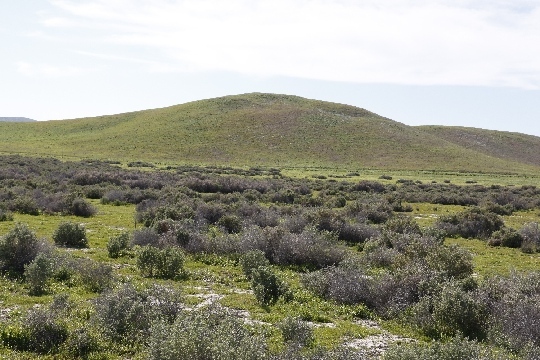 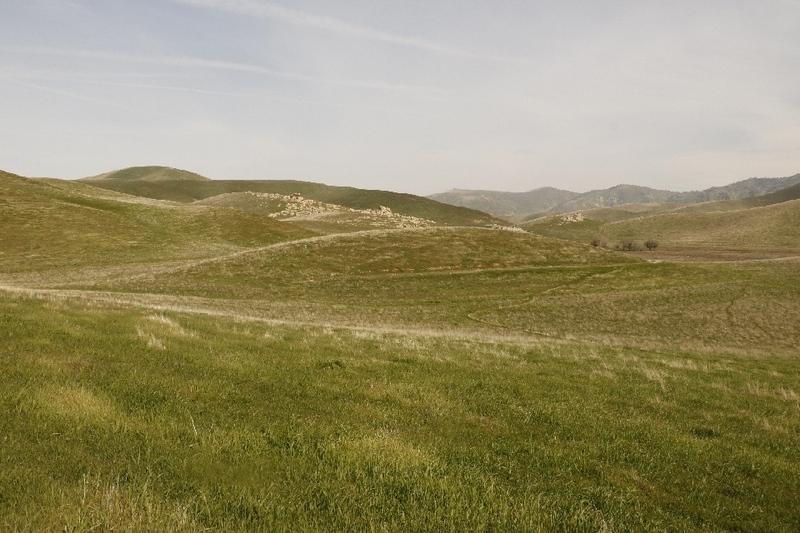 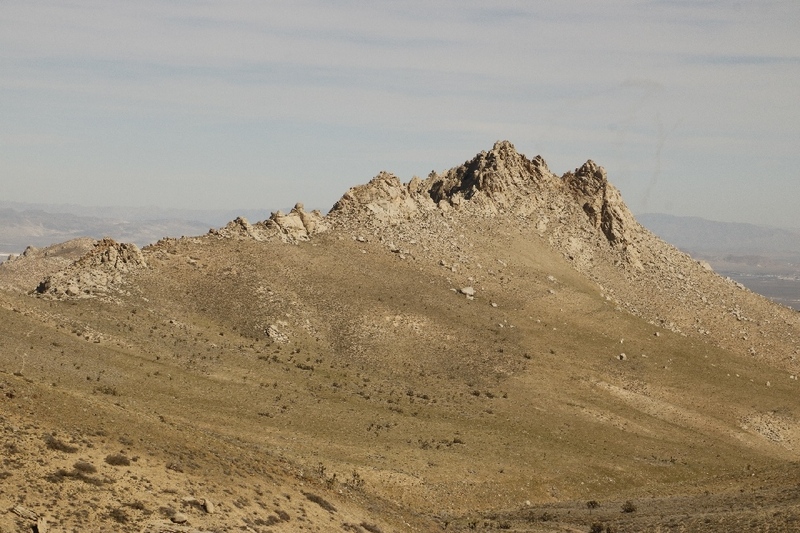 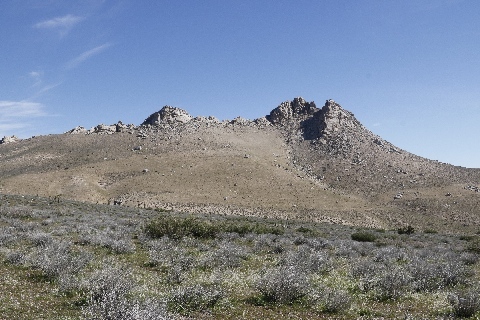 3/5/2017 Little Tule Peak, Wind Wolves Preserve, CA - This peak is located just behind the Tule Elk Viewing Area, I just follow the narrow trail. 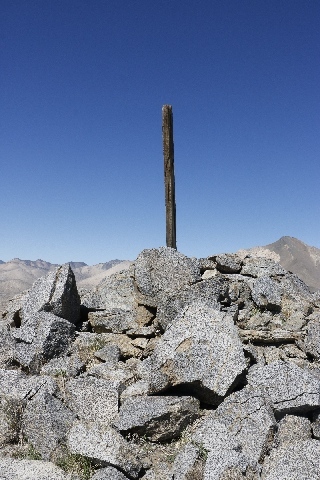 At the top of the peak, there is a wire fence, but view is very nice from here. 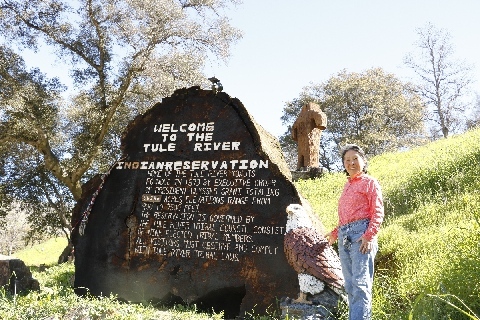 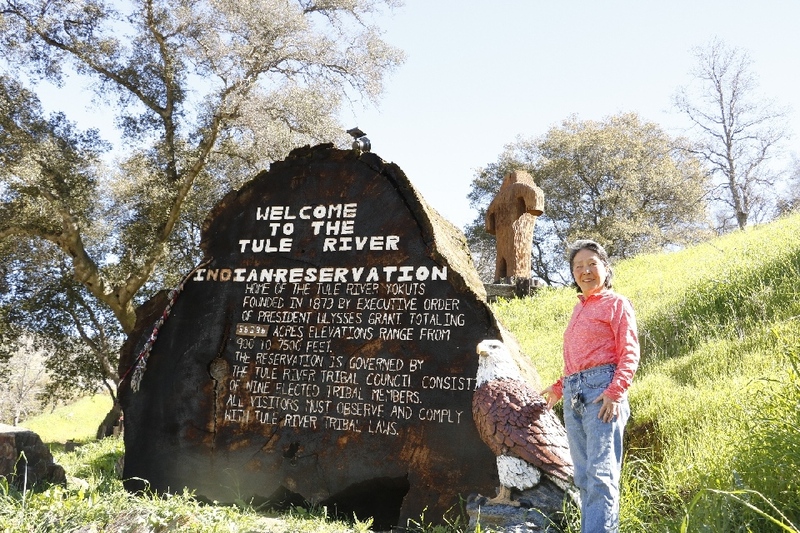 3/5/17 Tule Elk Trail, Wind Wolves Preserve, CA (7.6 miles) - The trail started at the parking lot where waterfalls are located. 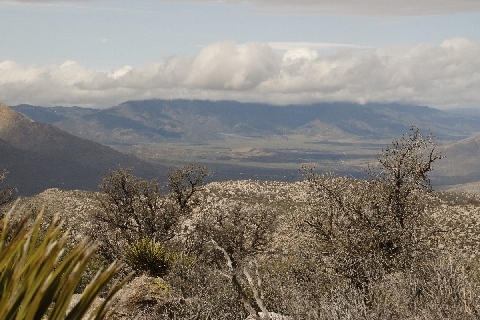 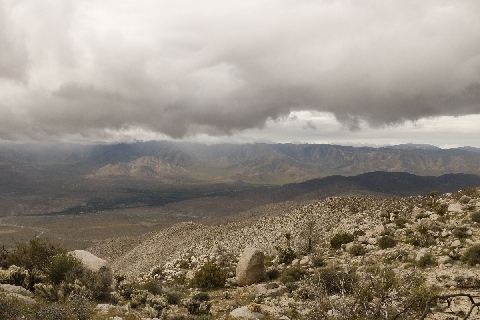 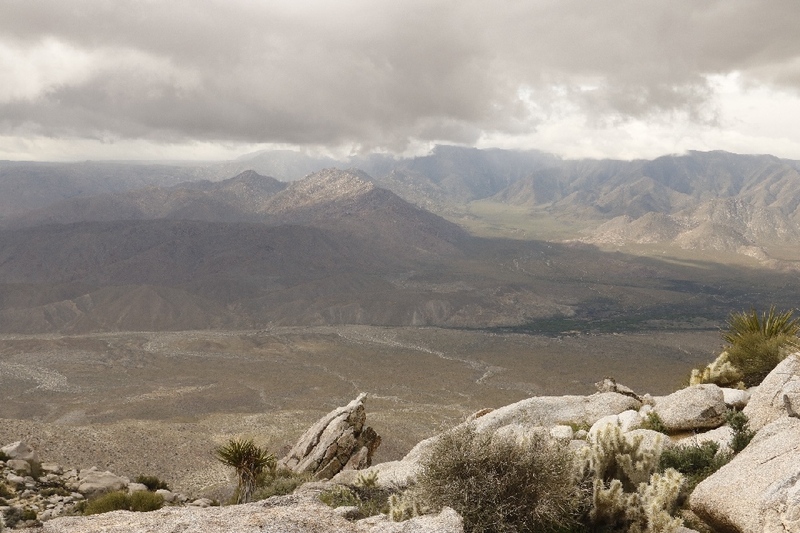 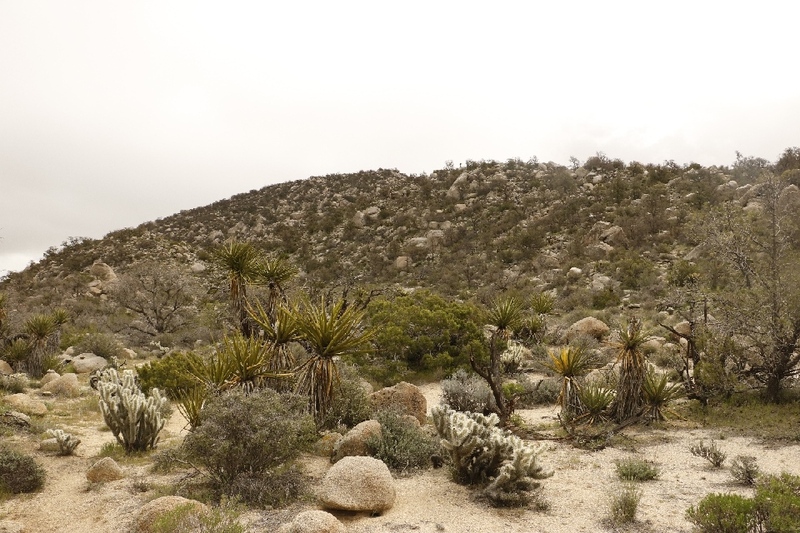 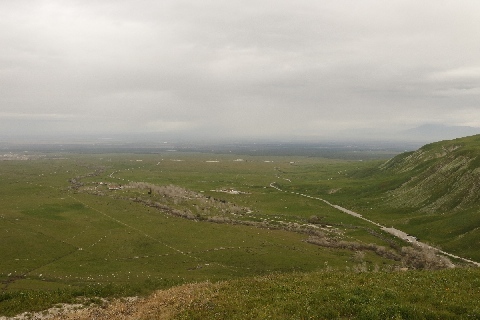 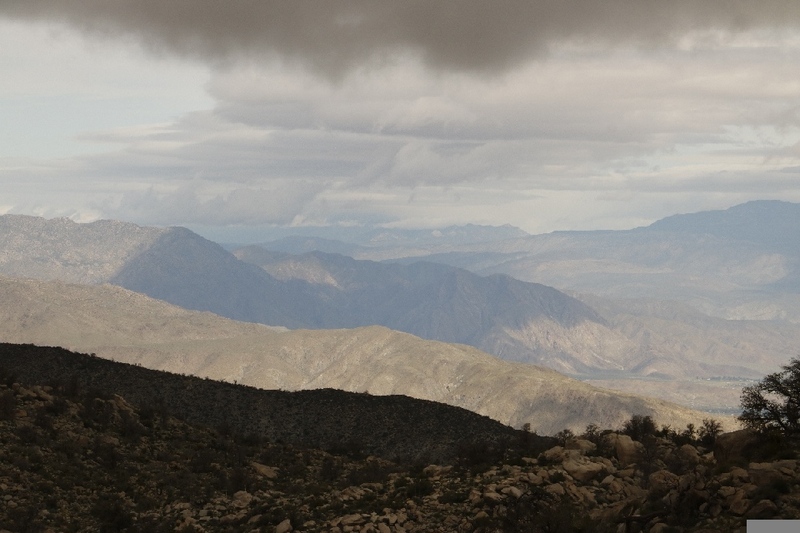 The view at the Tule Elk Viewing Area is a gorgeous, can see the wide range view, unfortunately it was cloudy. 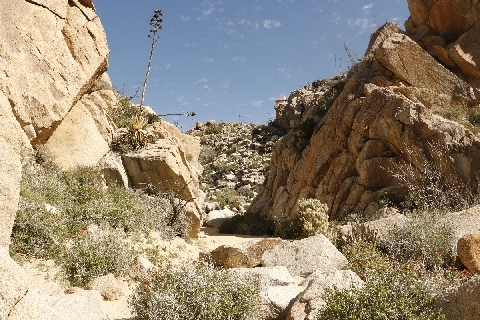 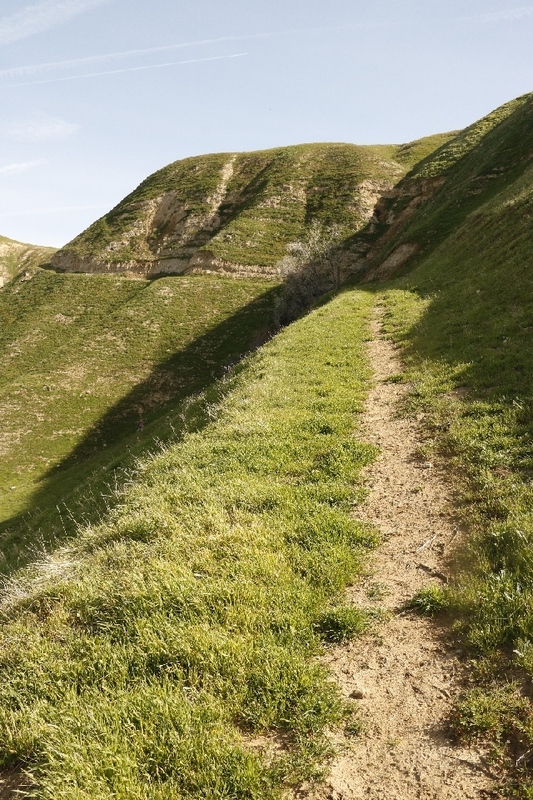 Trail continue to the atop of the cliff but lower side of the mountain range where flat enough to make nice hiking trail. 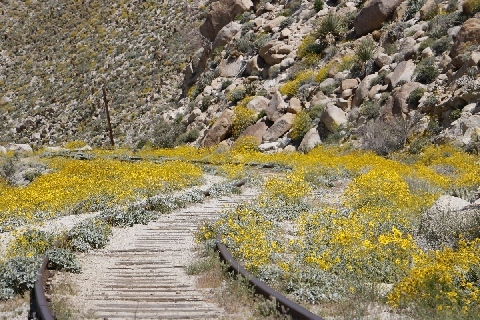 Enjoy green everywhere view and wildflowers. 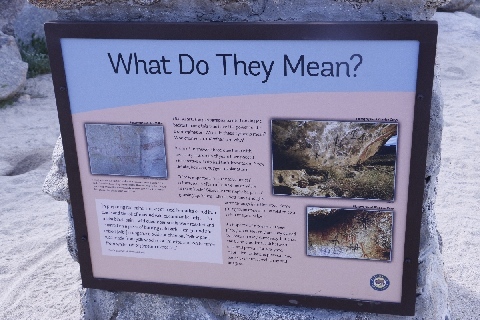 3/4/2017 Three Springs Pictographs, Wind Wolves Preserve, CA (9.2 miles for today’s hike) - I found pictographs but I was not sure that I was looking for because cave was tiny, but happy to see the panel. 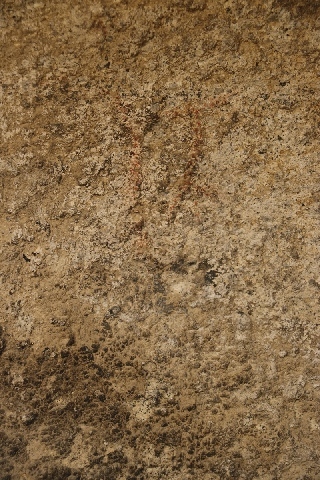 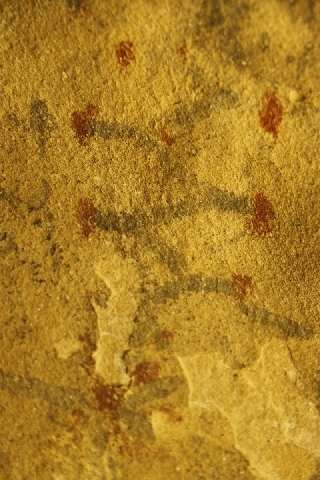 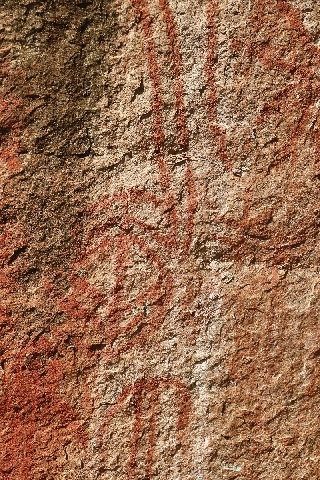 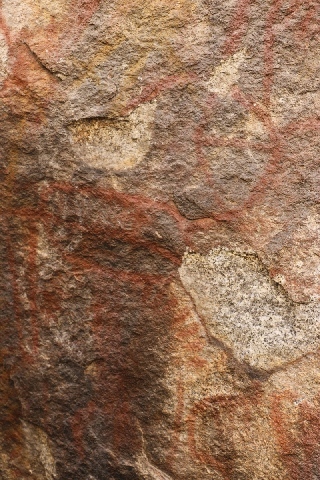 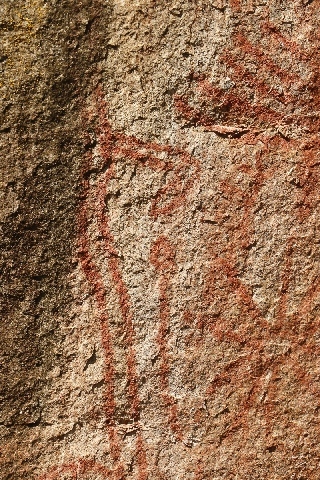 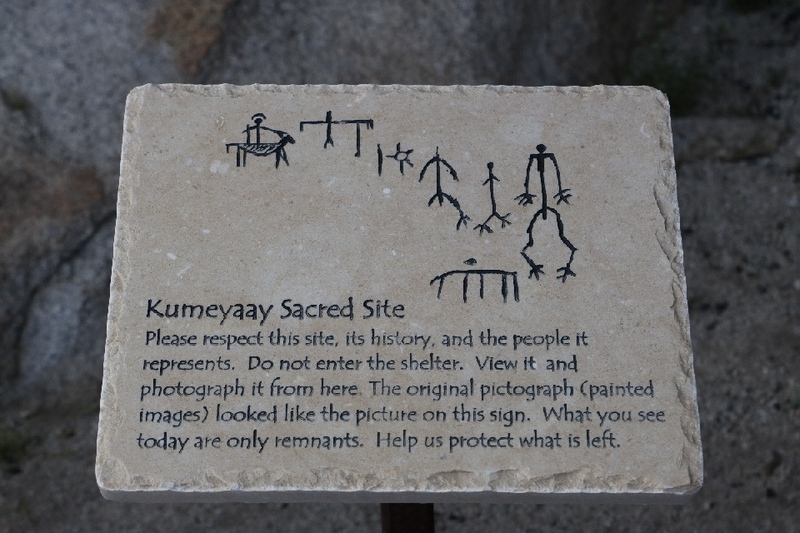 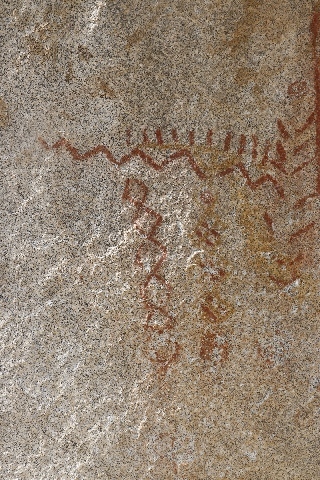 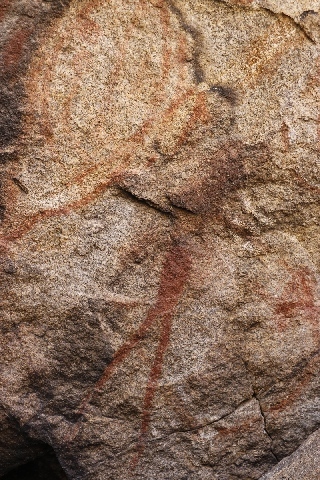 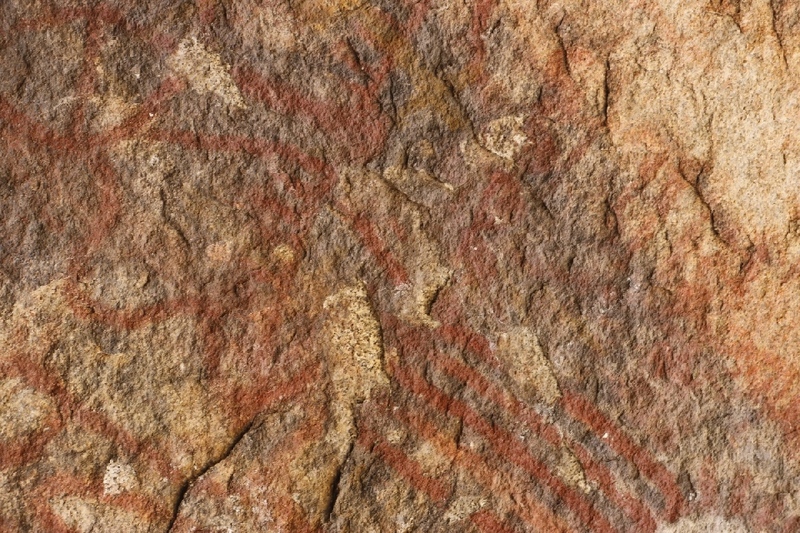 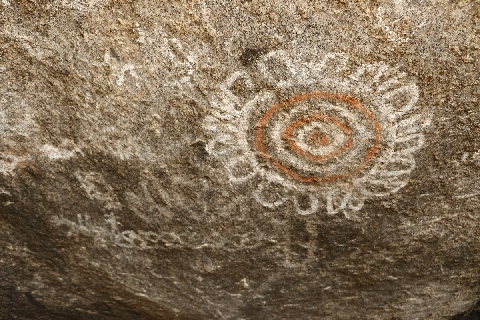 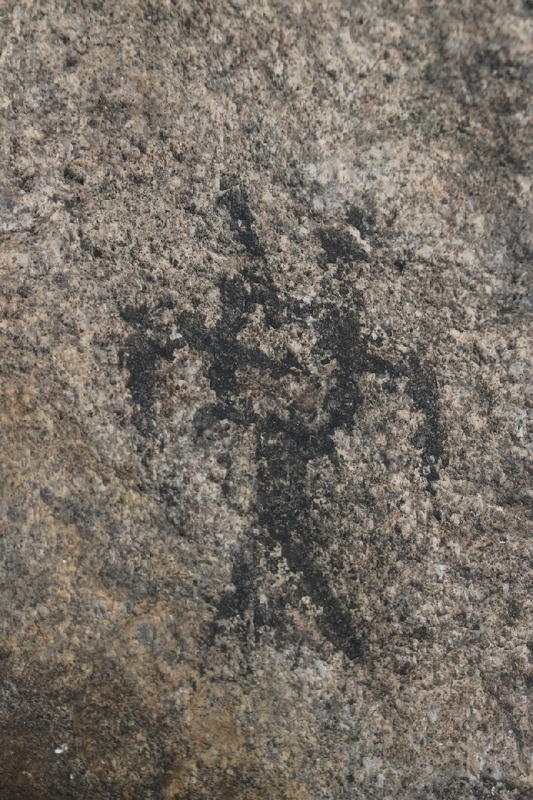 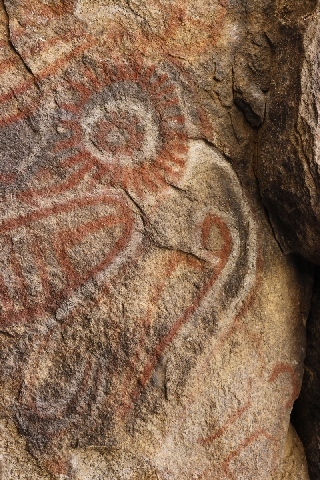 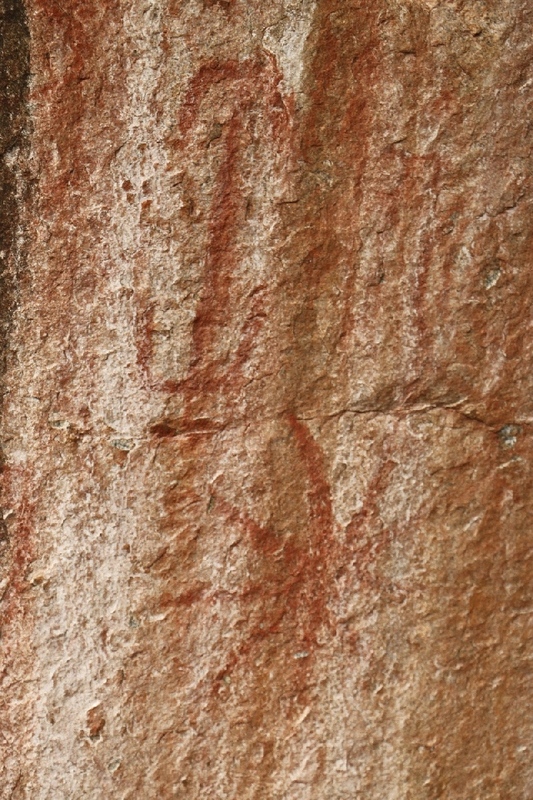 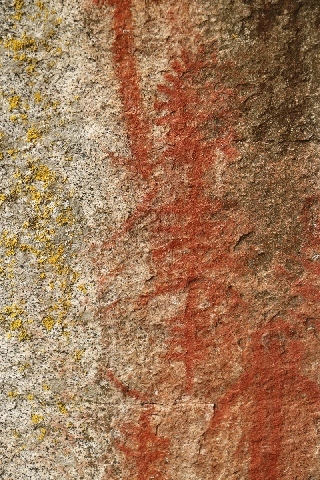 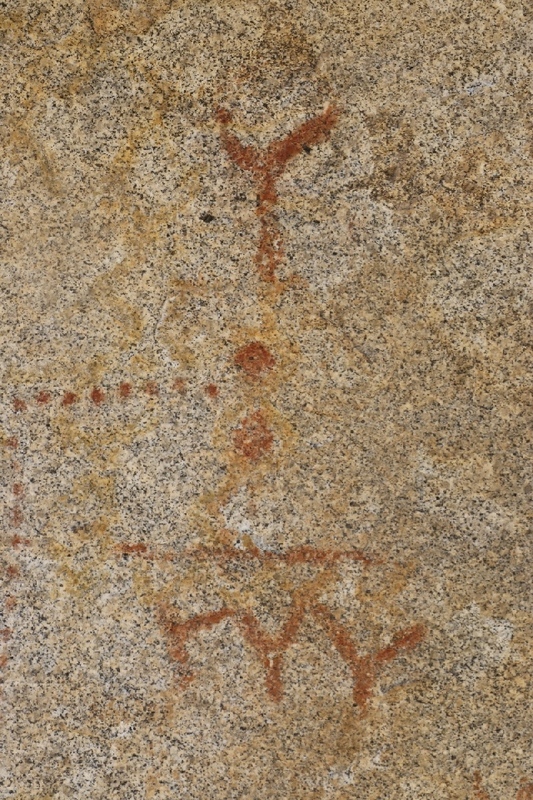 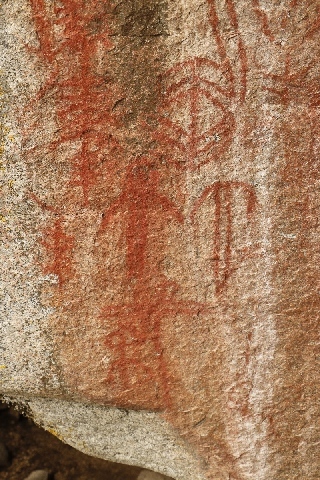 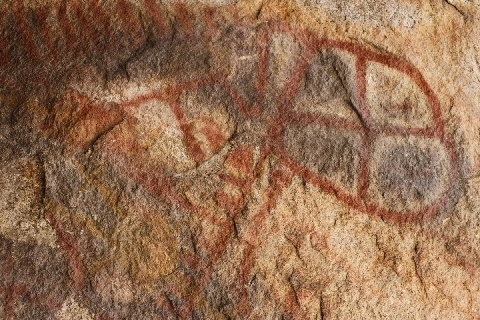 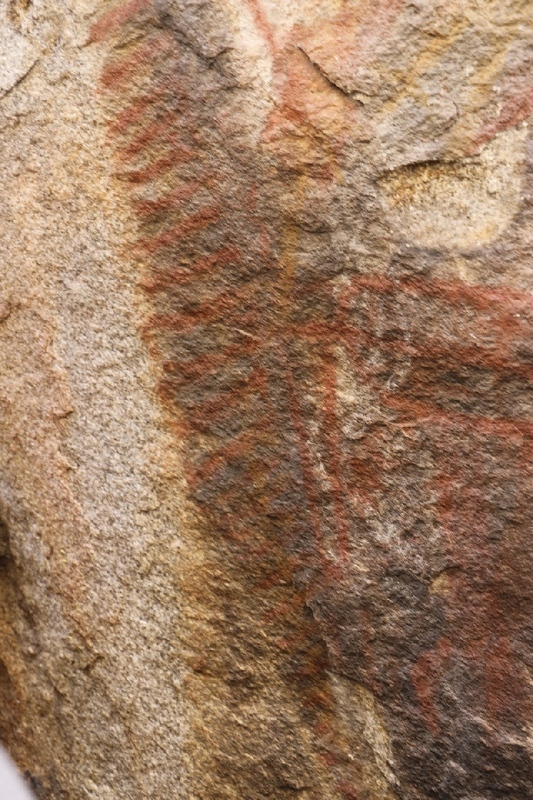 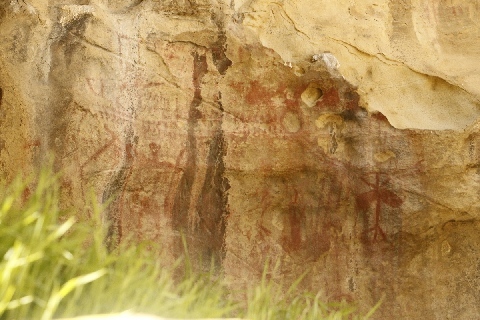 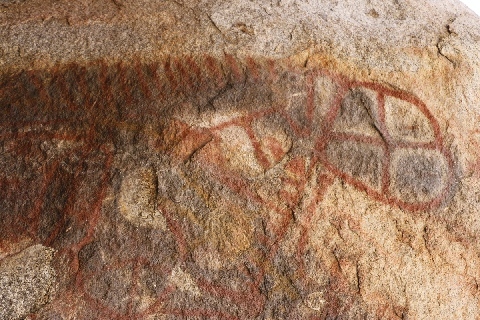 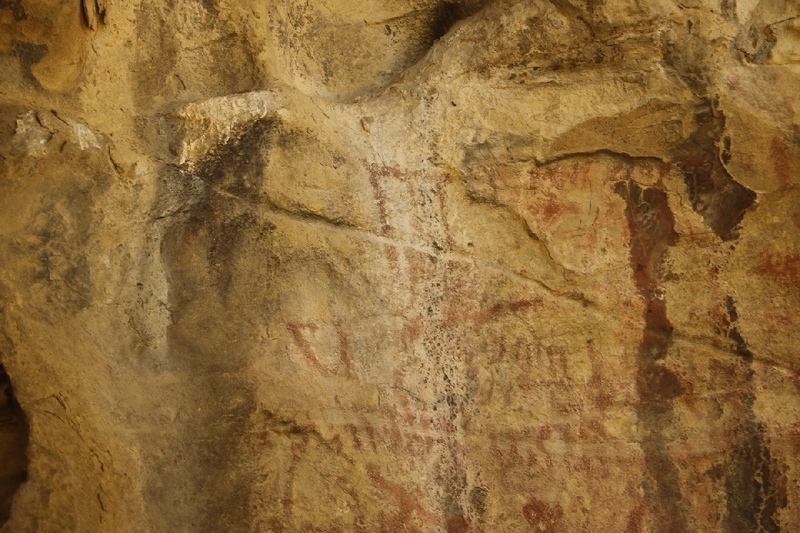 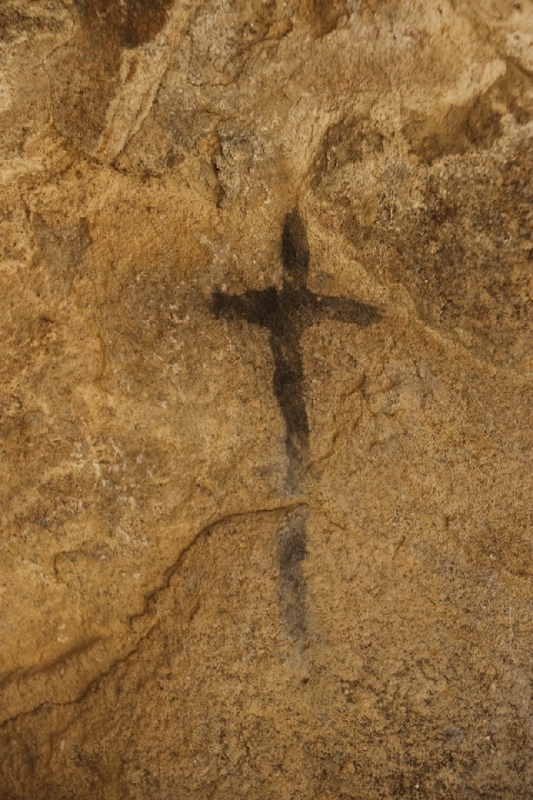 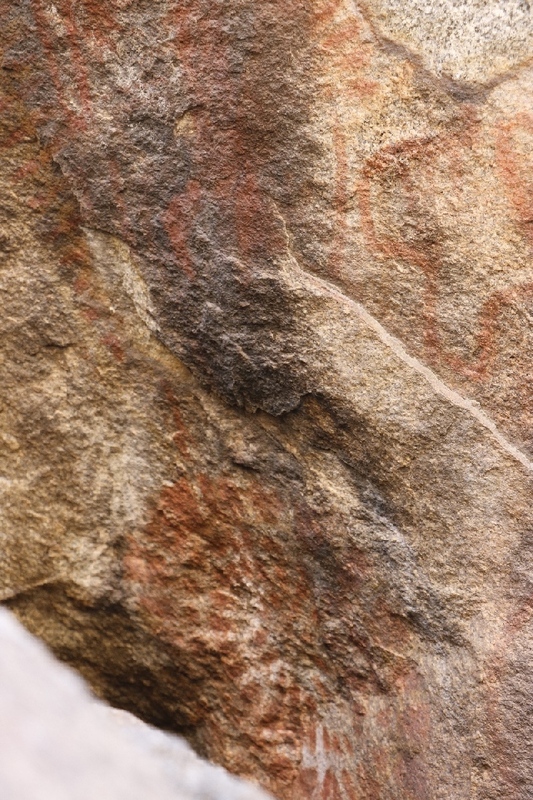 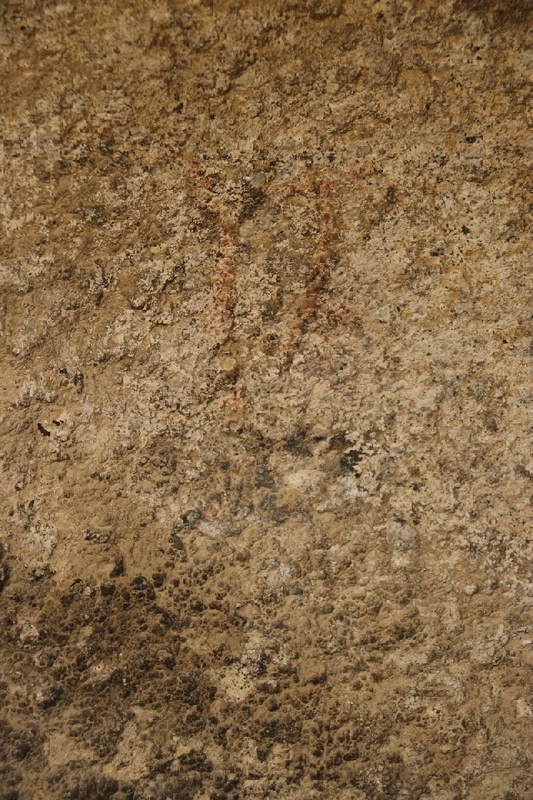 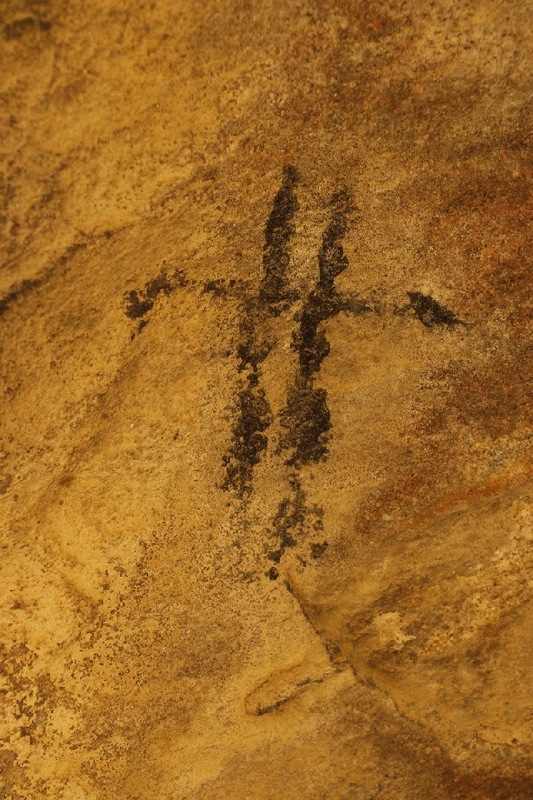 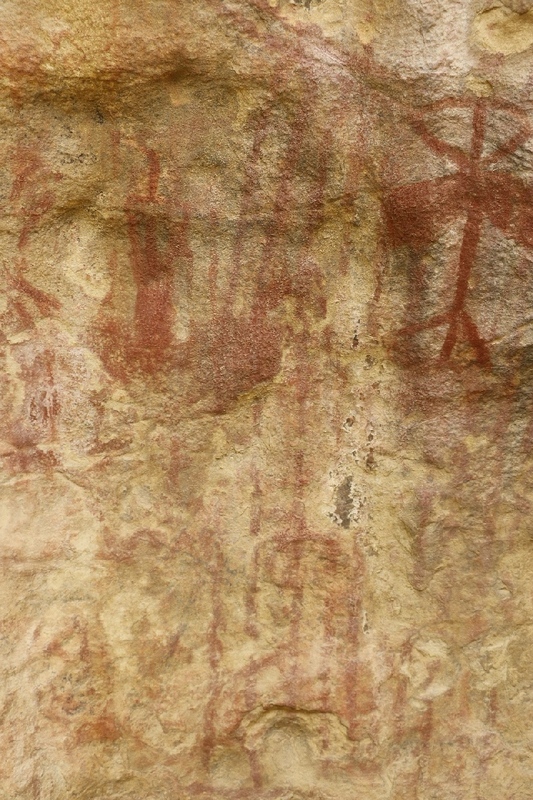 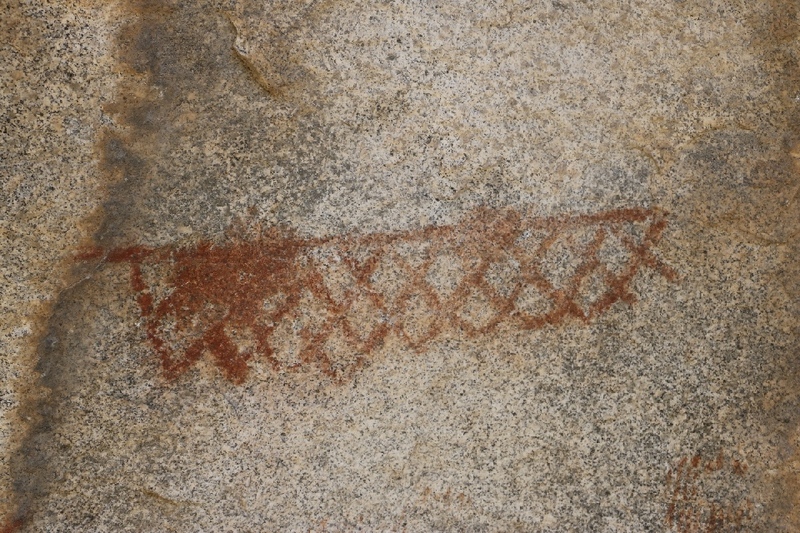 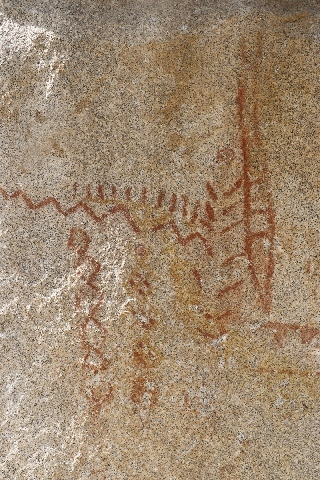 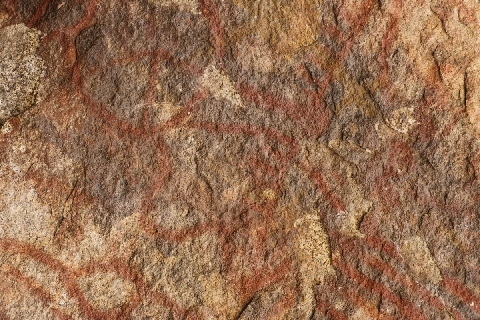 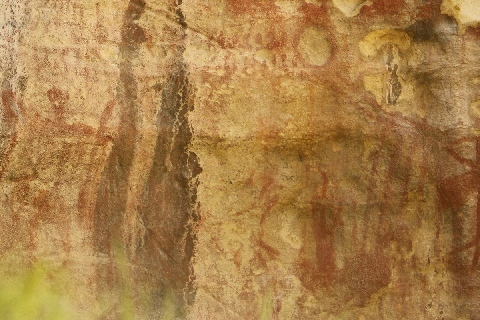 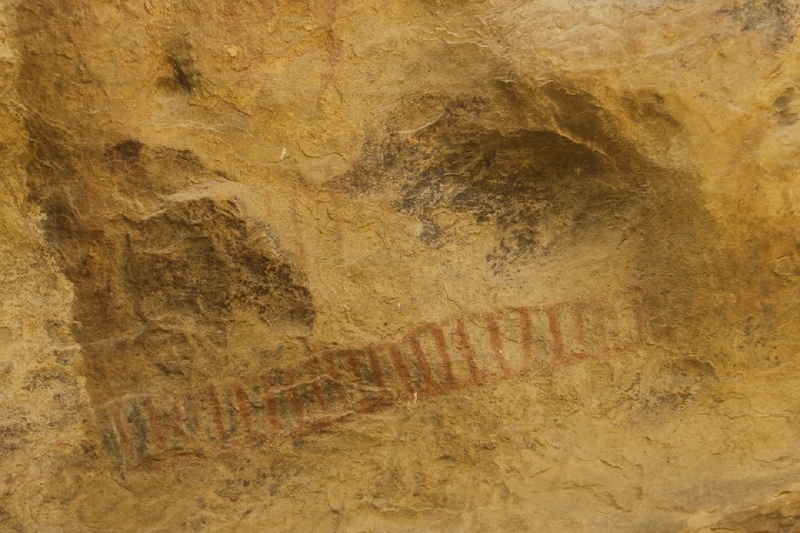 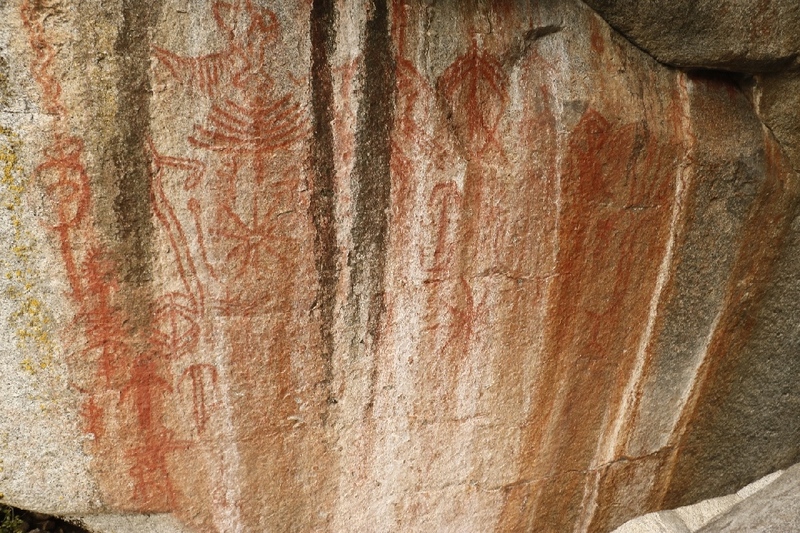 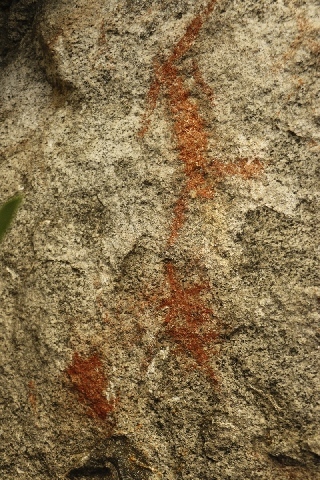 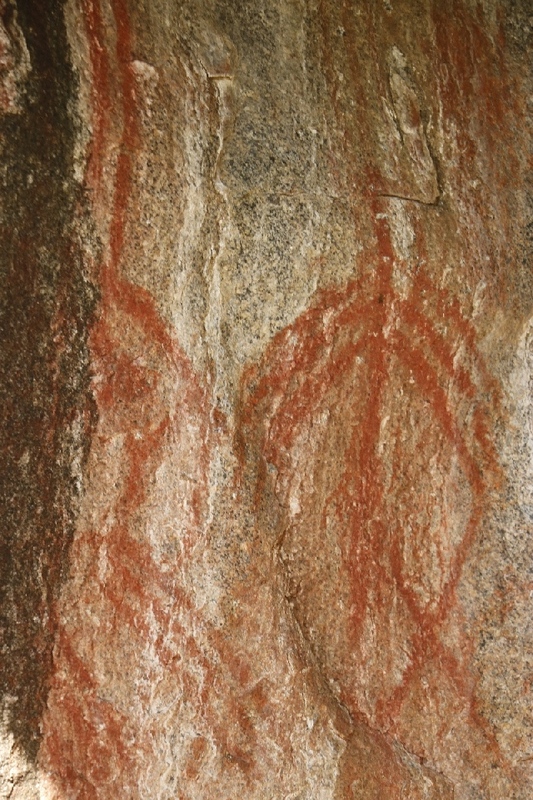 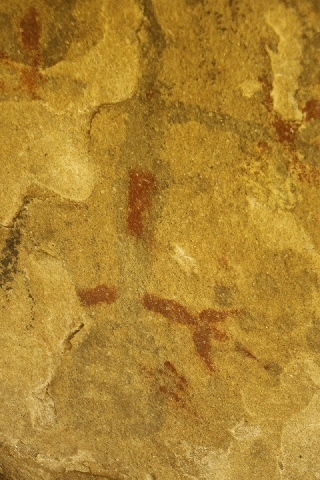 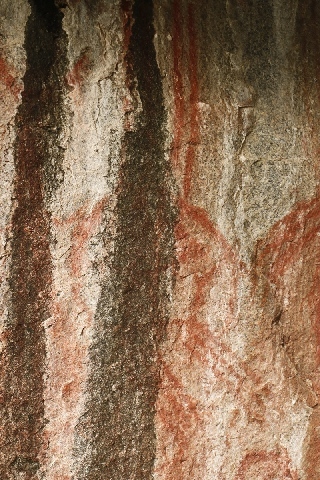 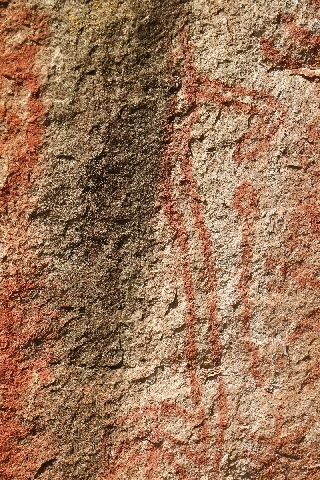 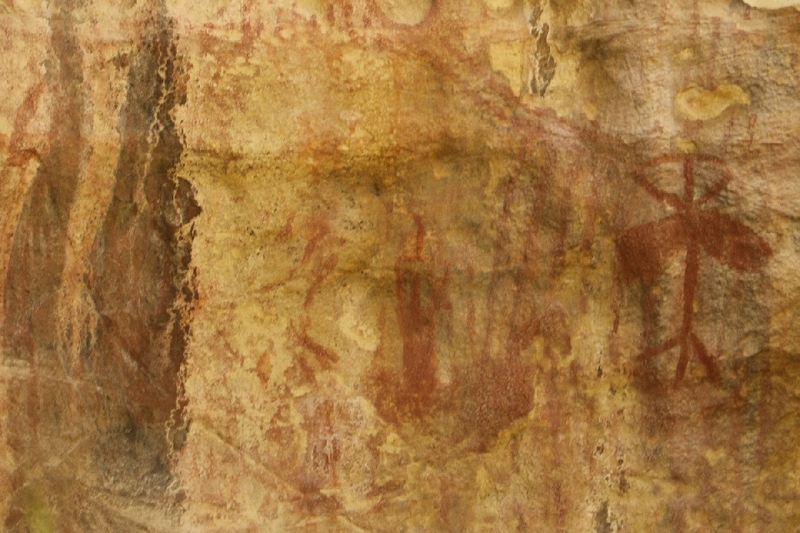 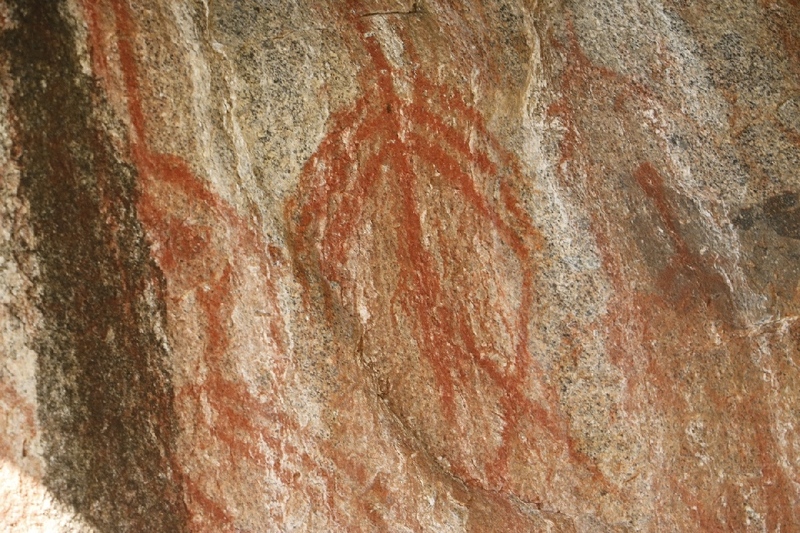 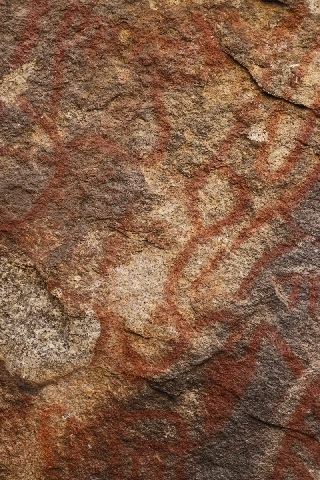 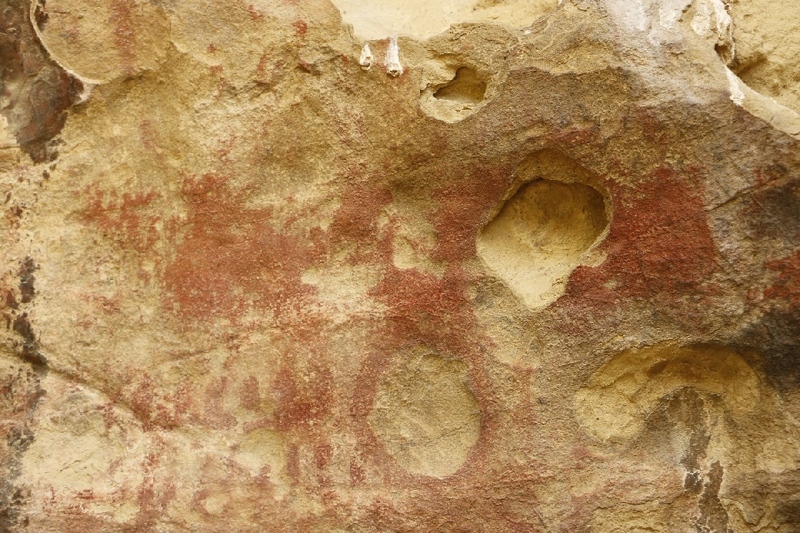 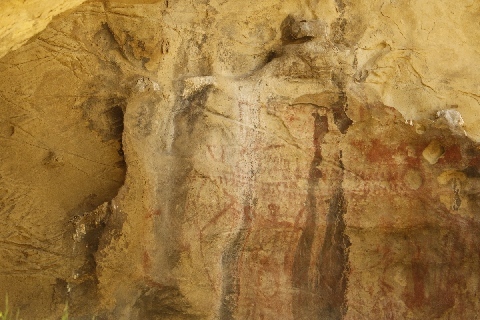 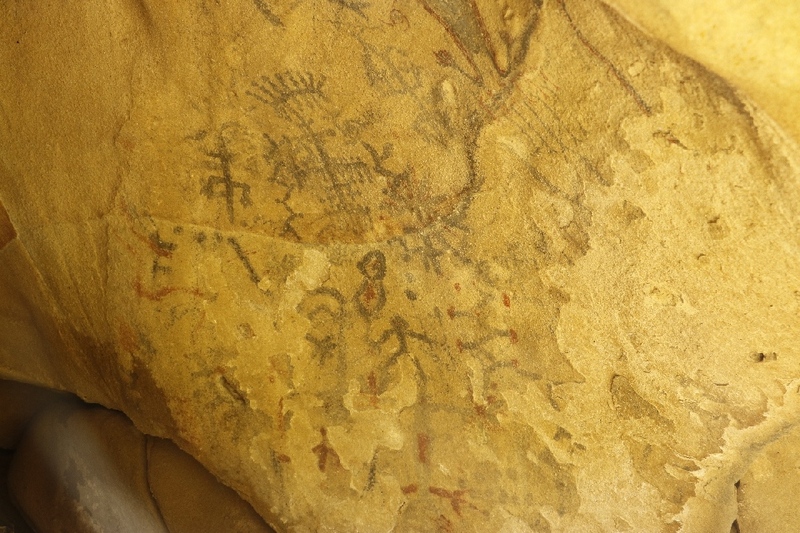 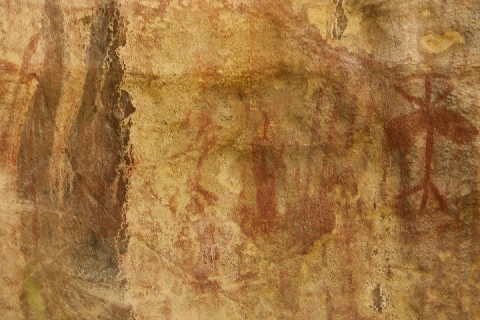 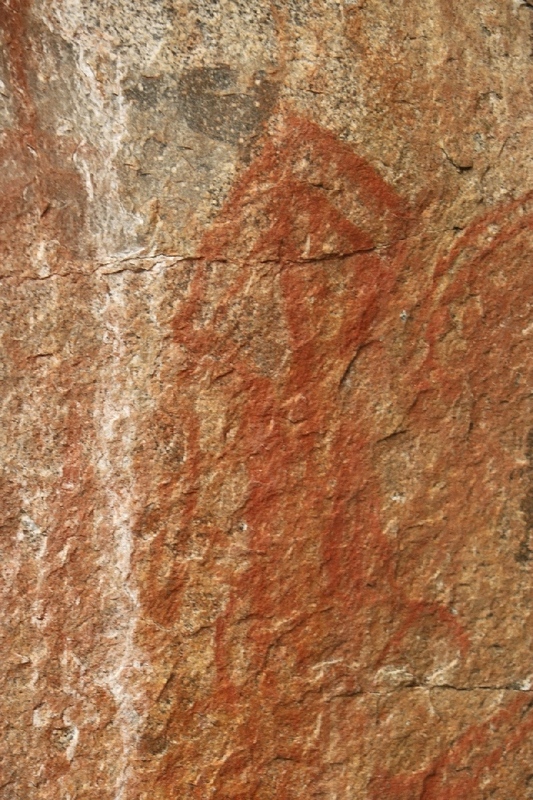 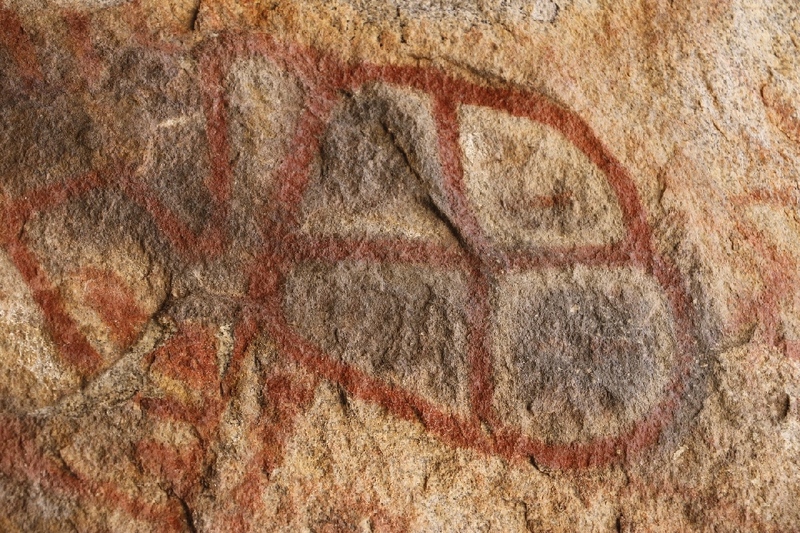 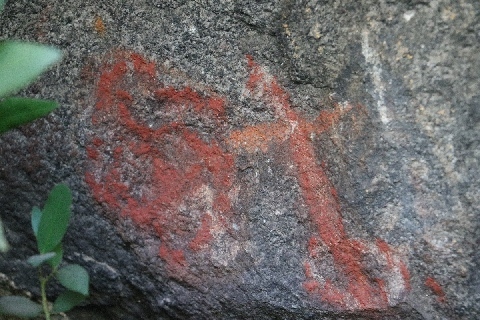 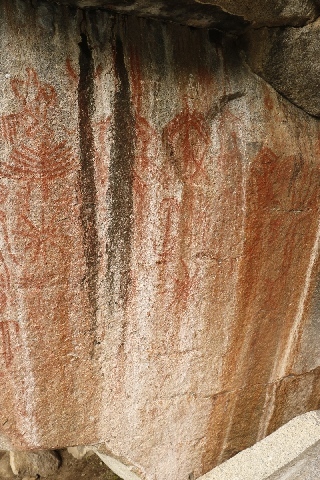 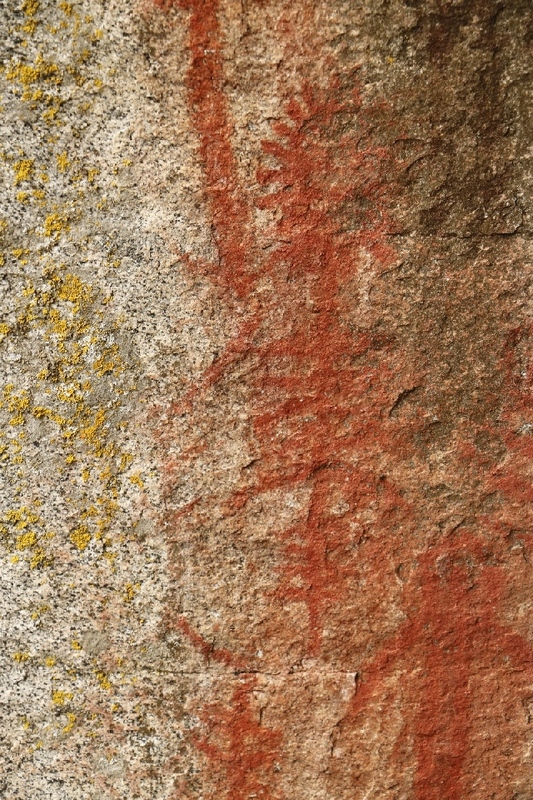 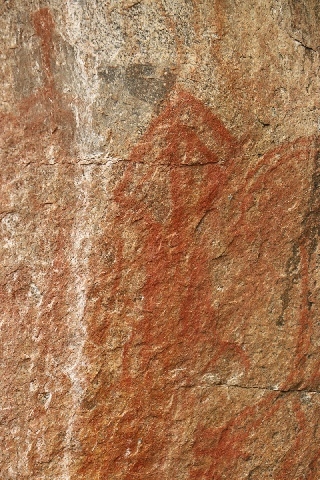 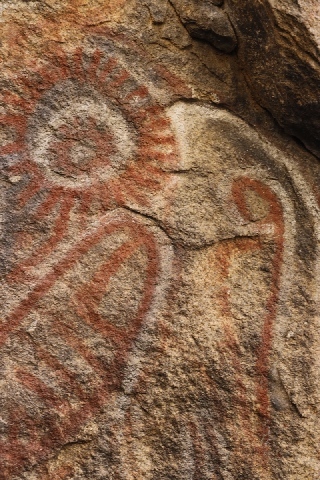 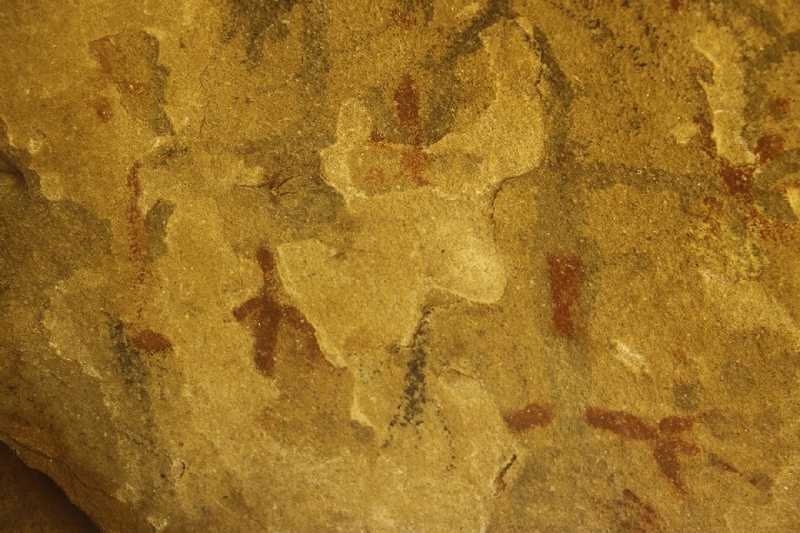 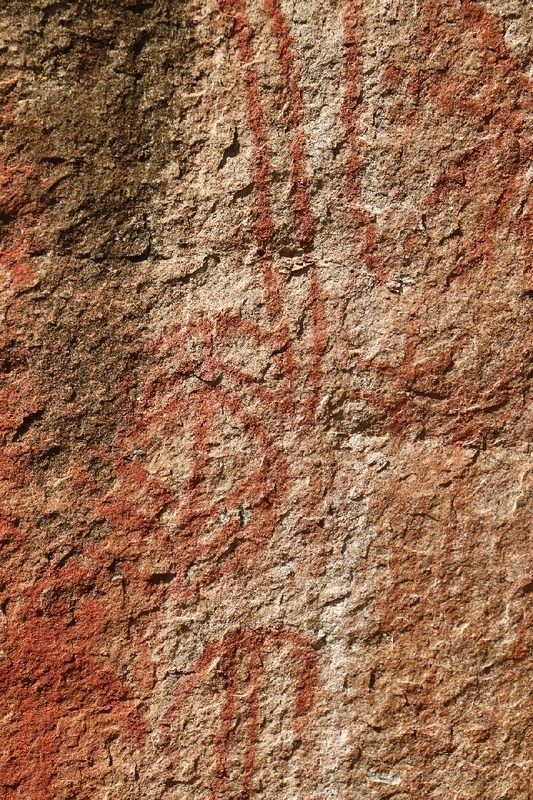 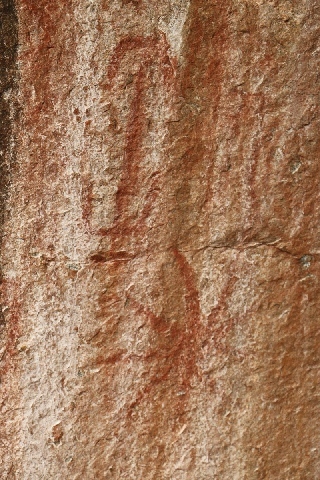 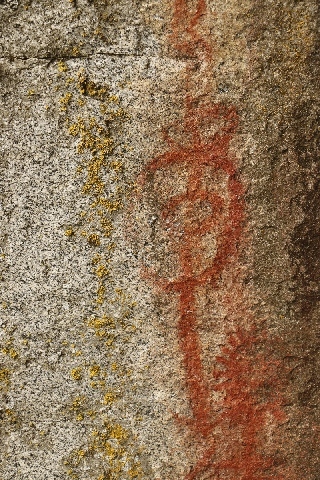 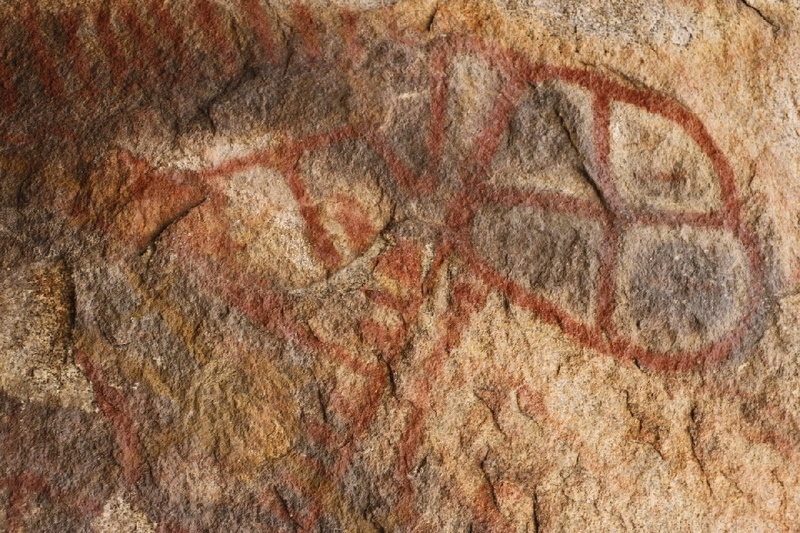 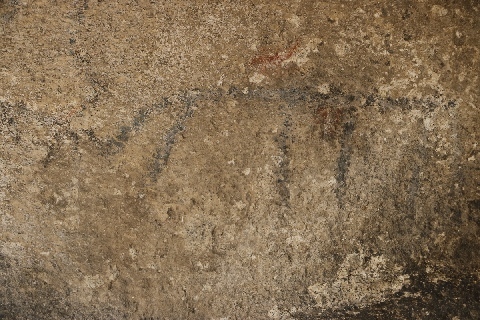 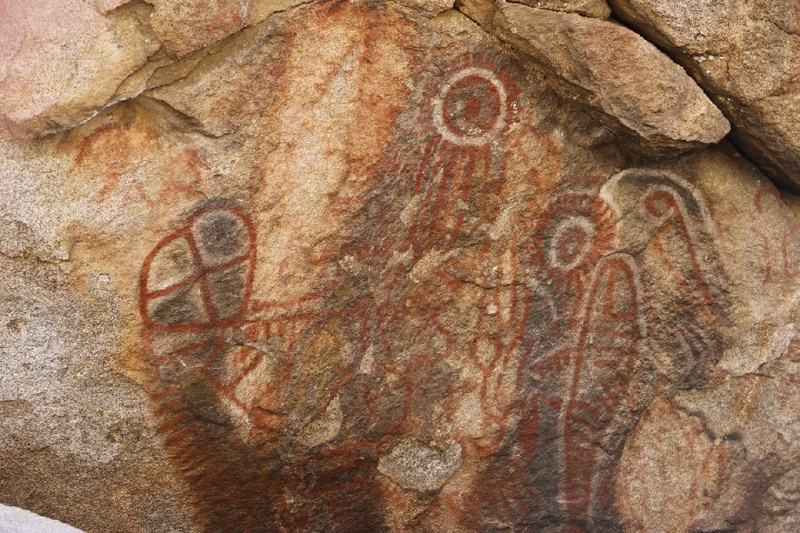 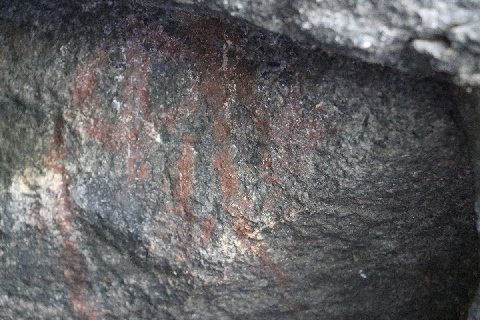 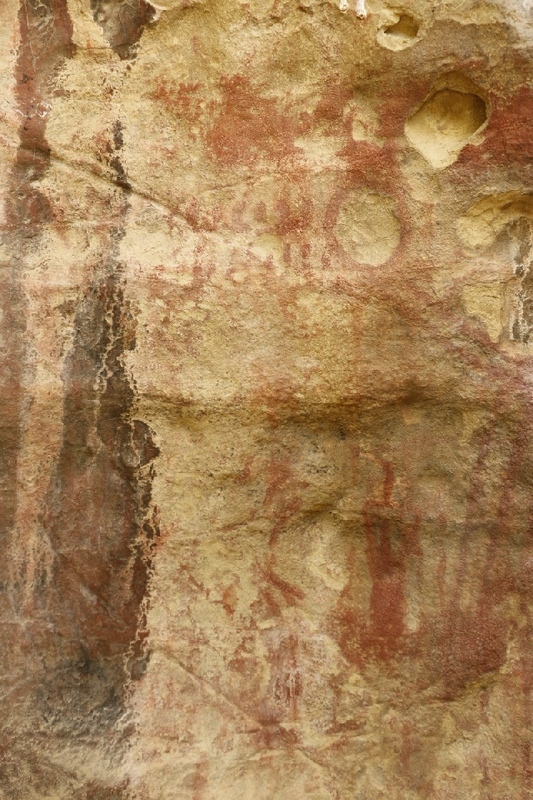 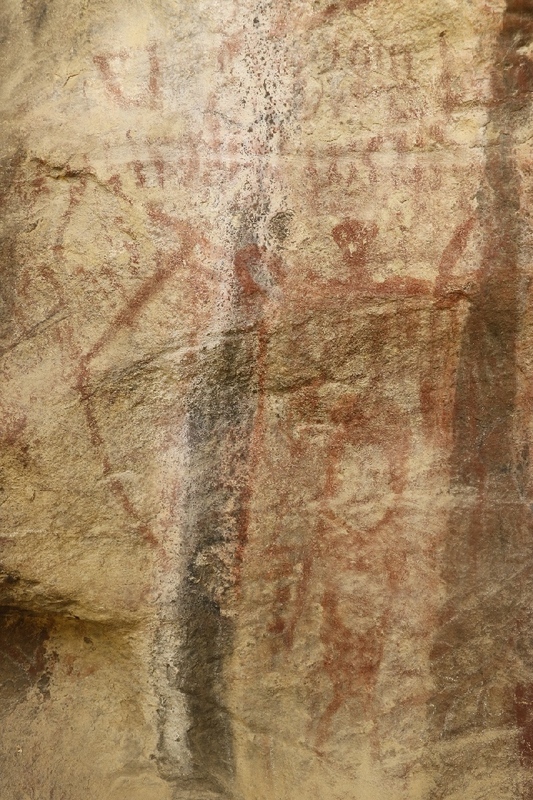 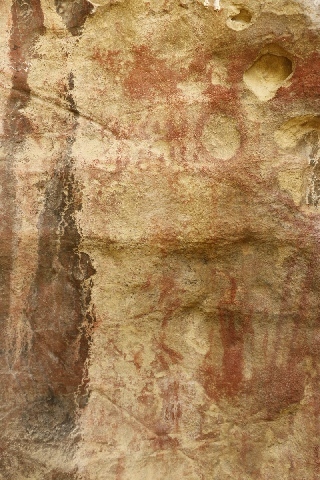 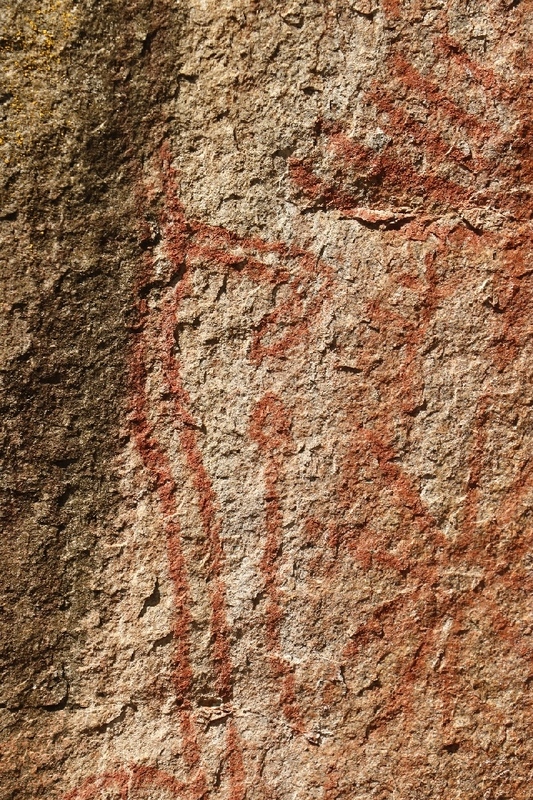 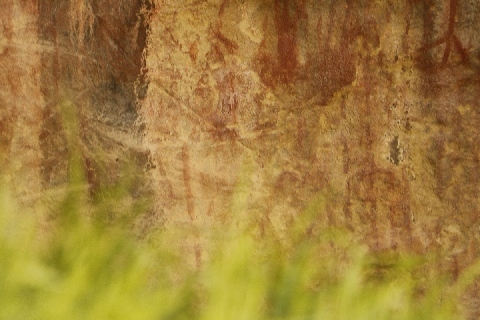 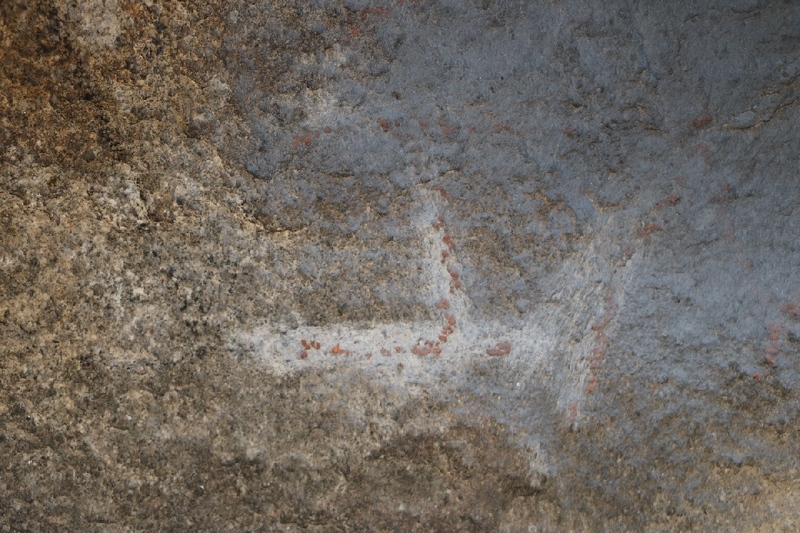 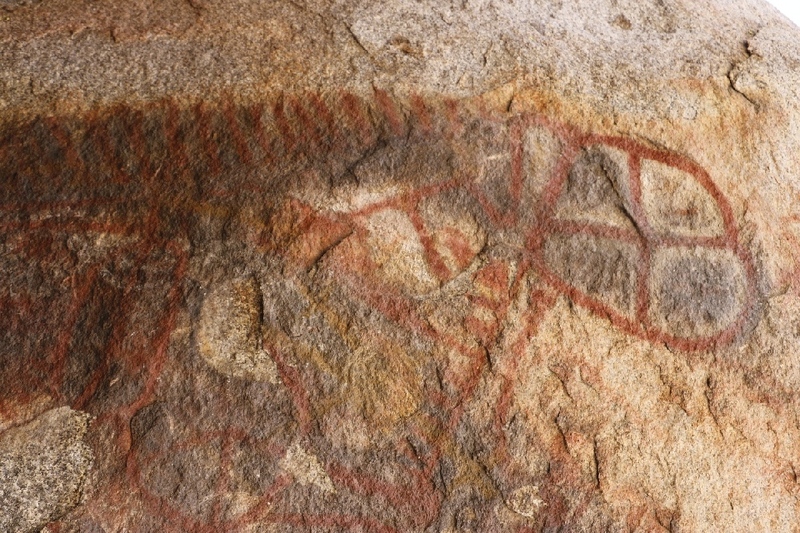 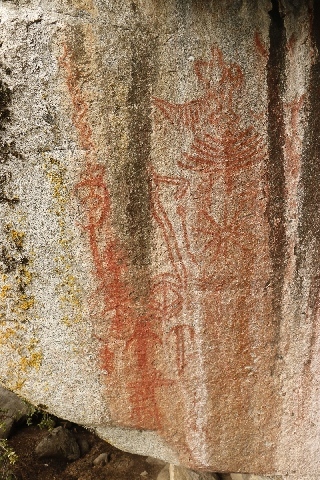 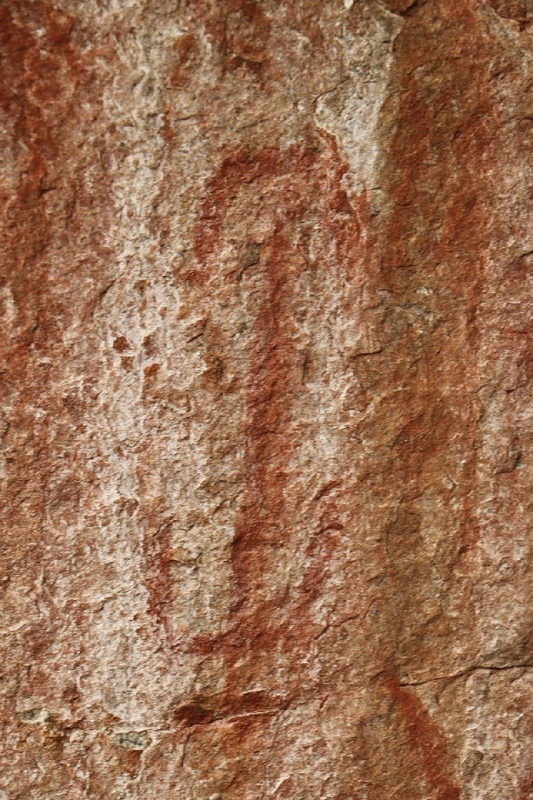 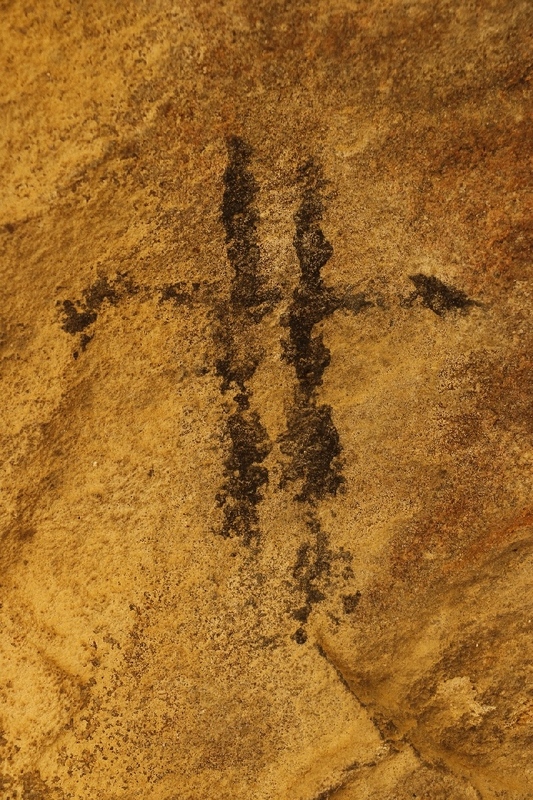 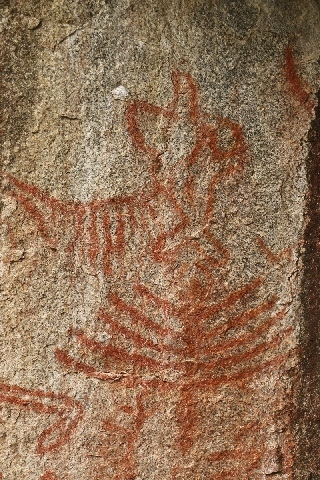 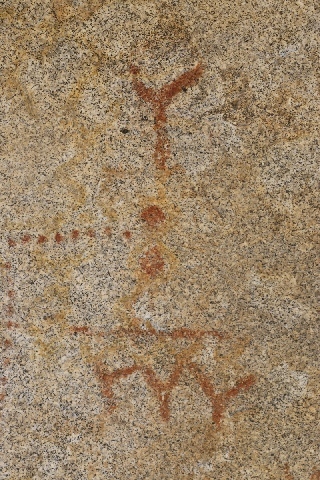 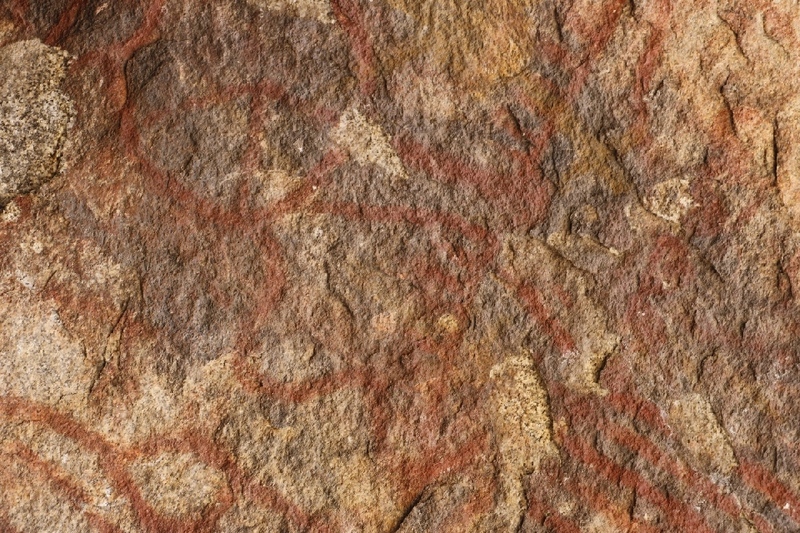 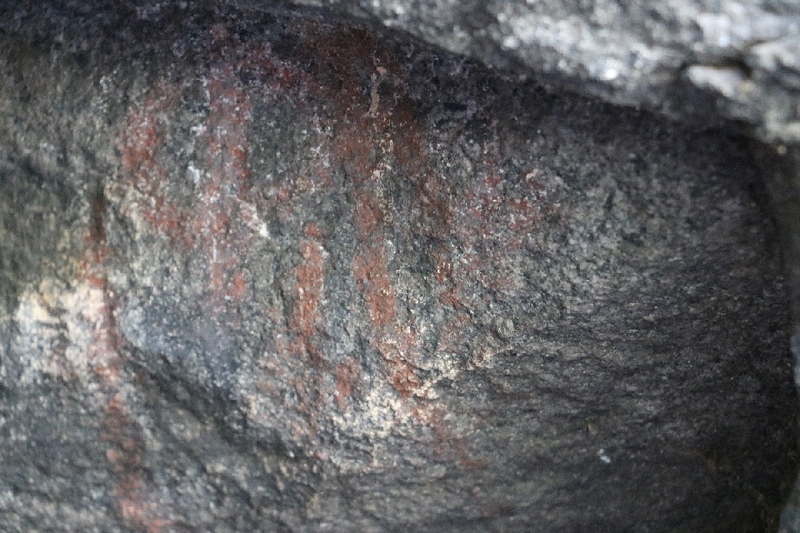 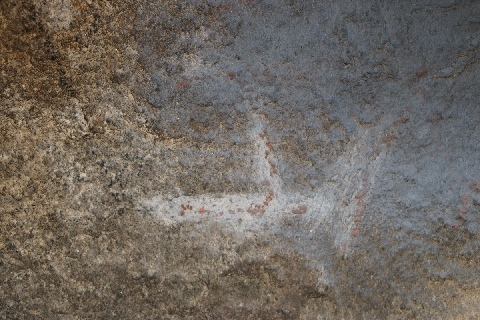 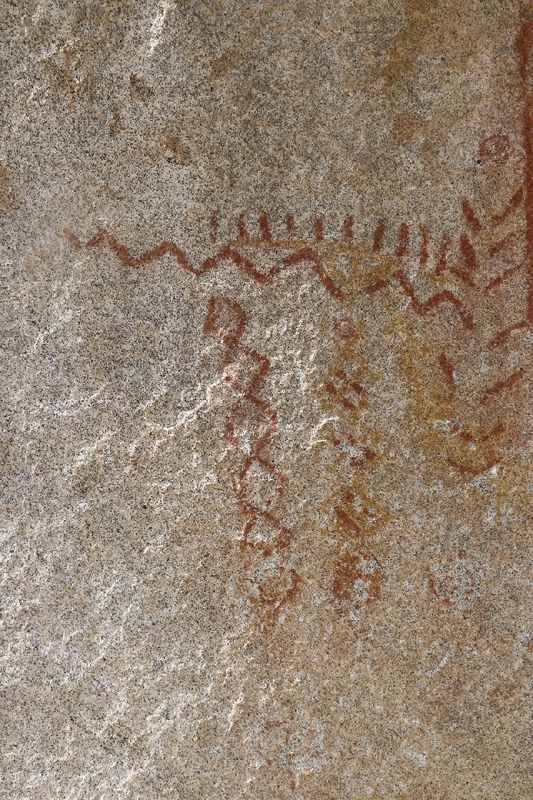 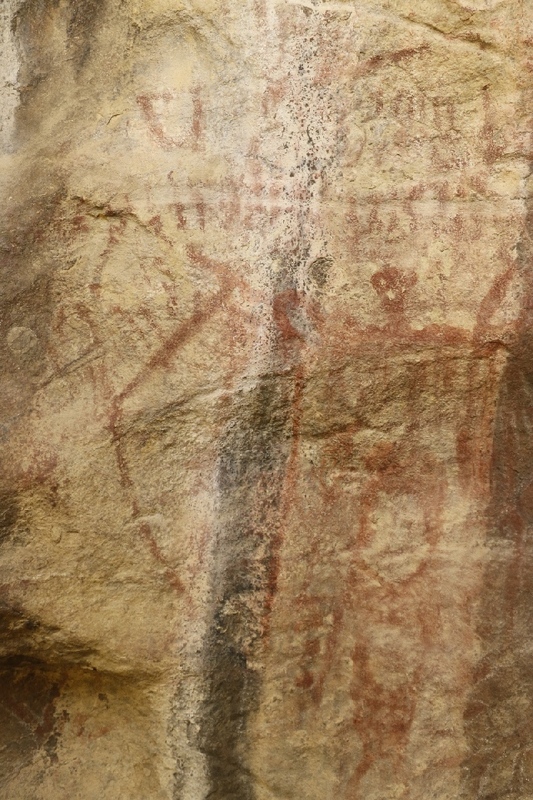 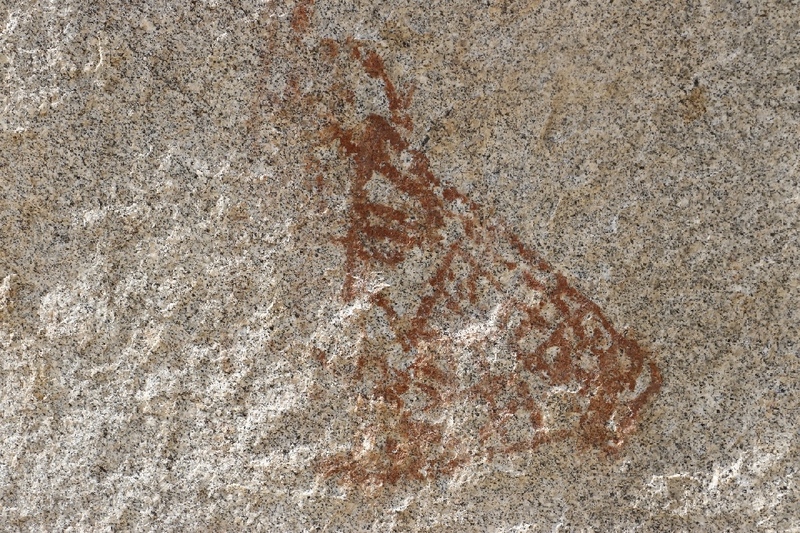 It is the red and black colors pictographs located lower side of the hill. 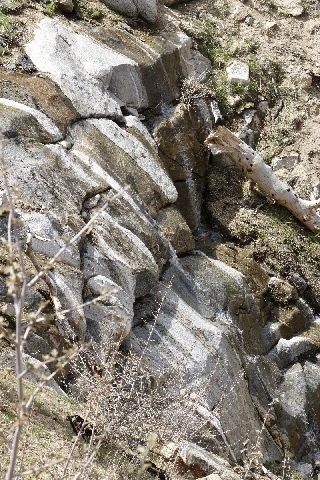 Very nice geological figure around here especially deep creek view. 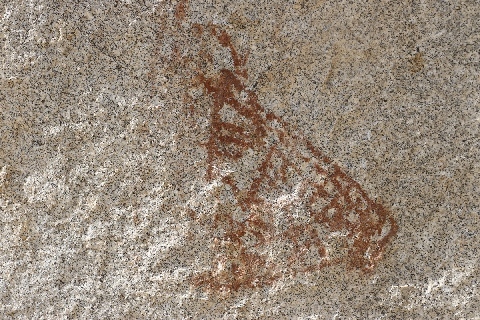 3/4/2017 Pleitito Creek Pictographs, Wind Wolves Preserve, CA - The Pleitito Creek is located west side of the Pleito creek. 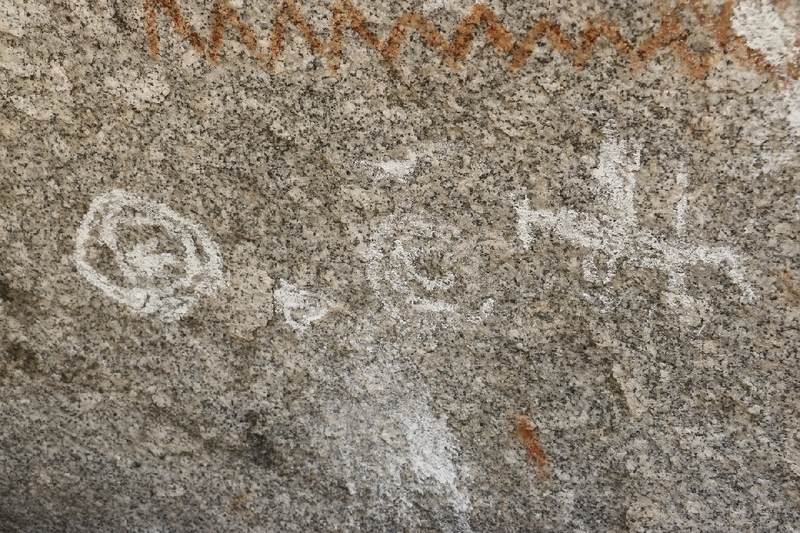 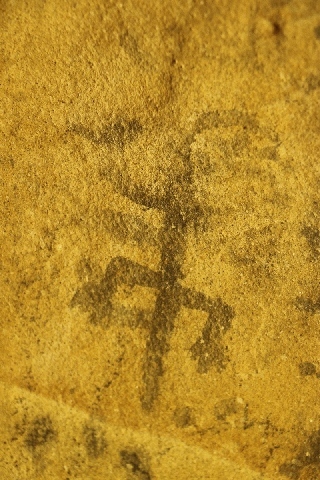 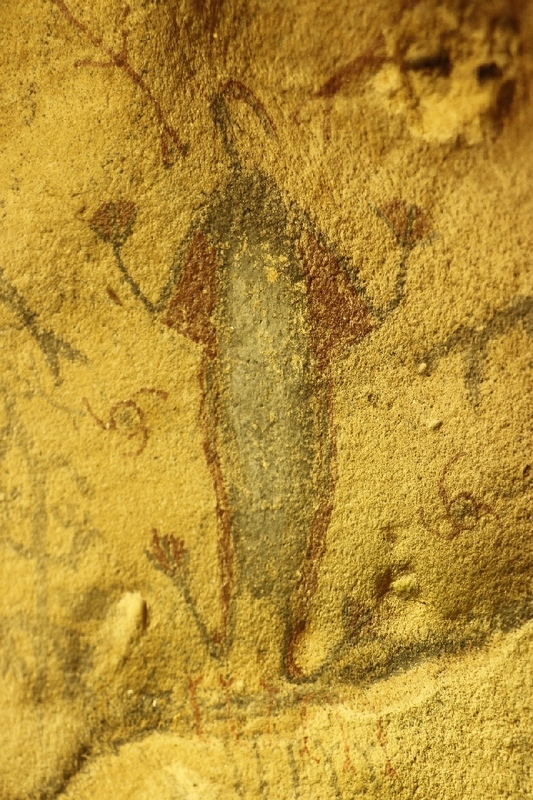 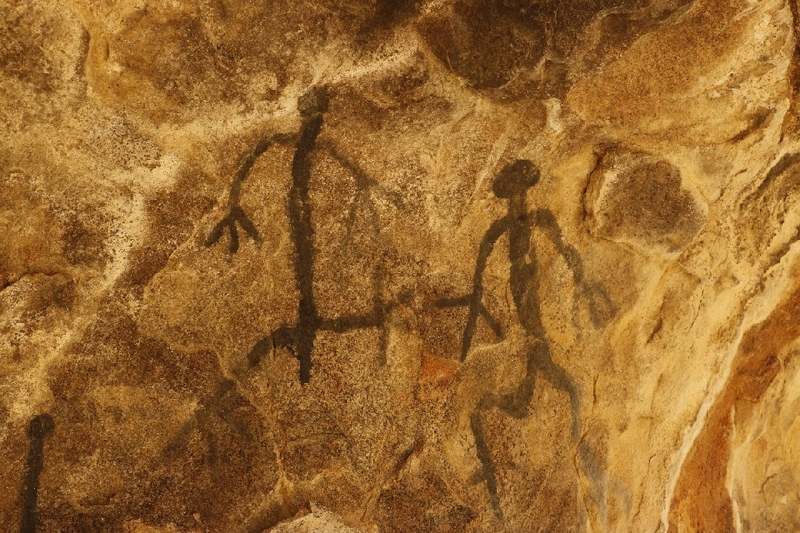 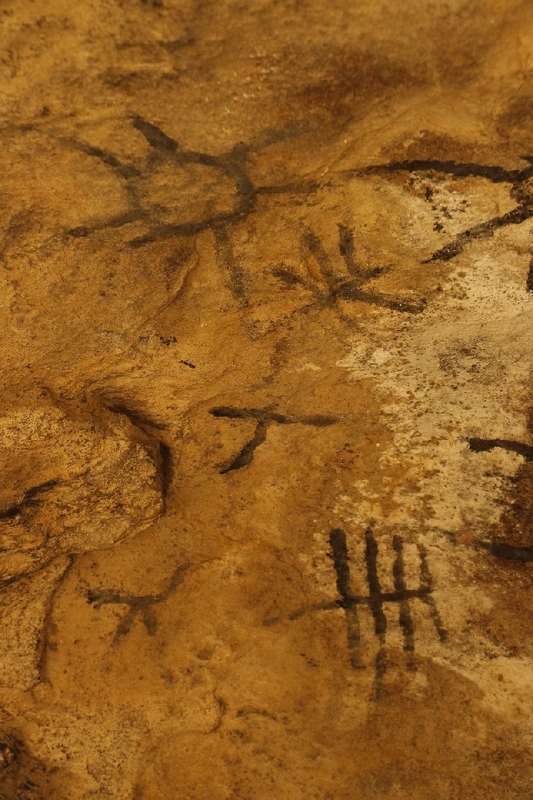 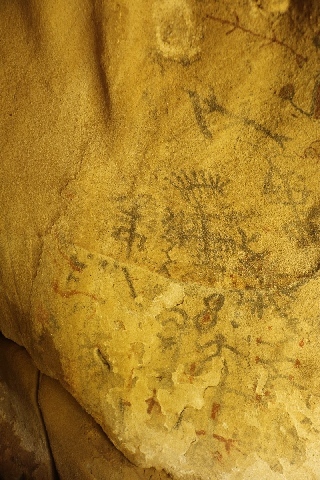 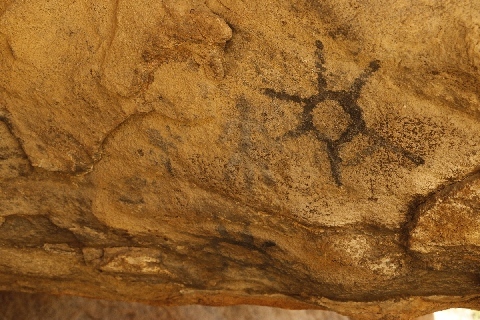 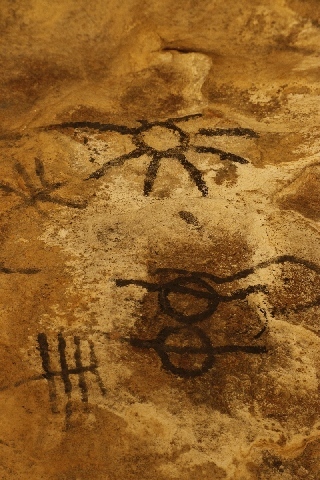 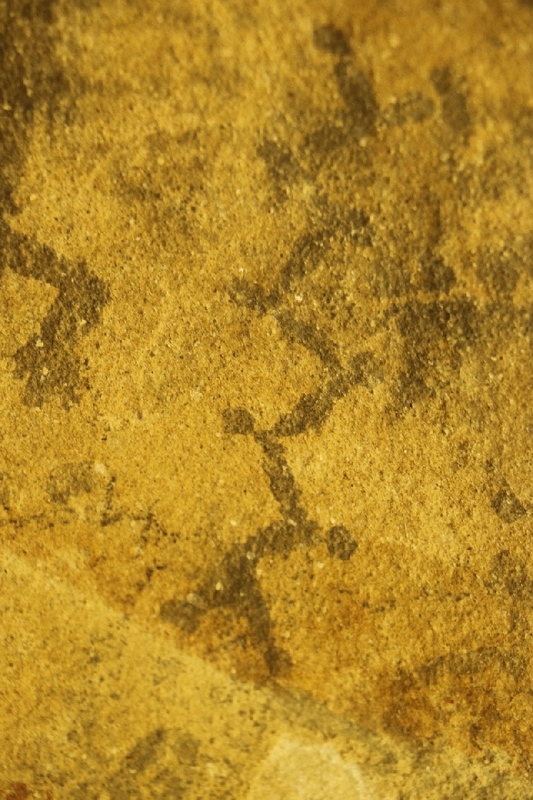 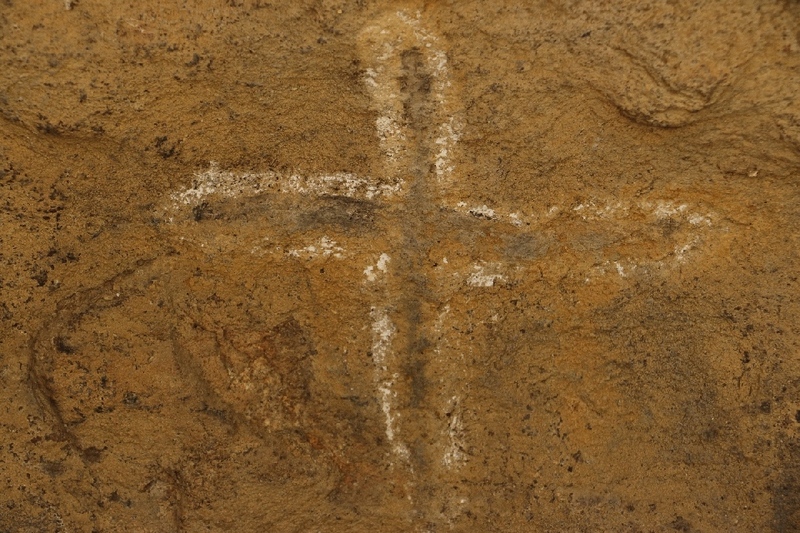 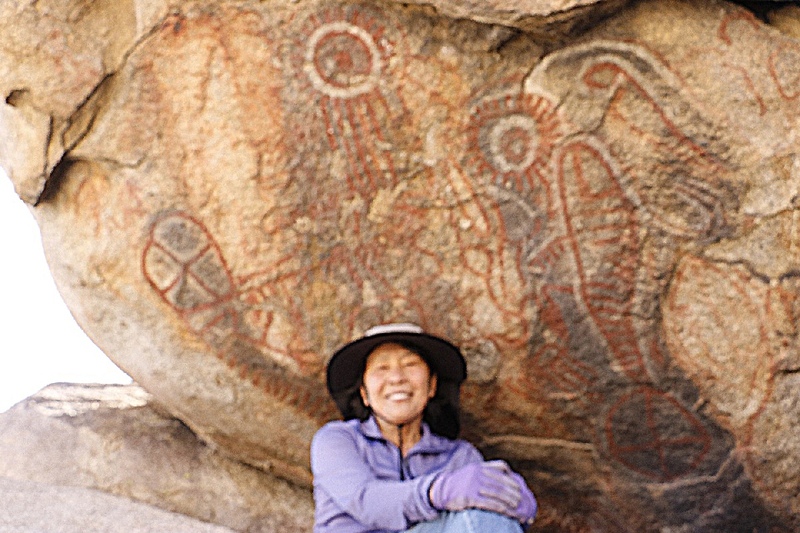 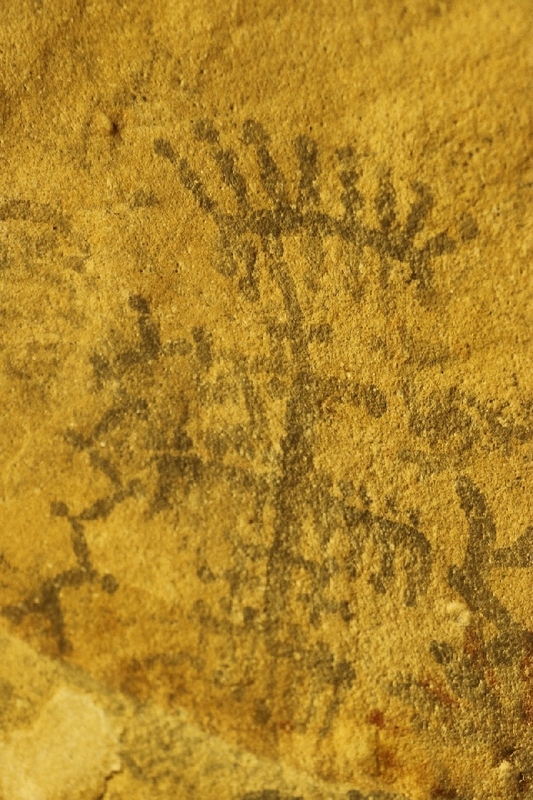 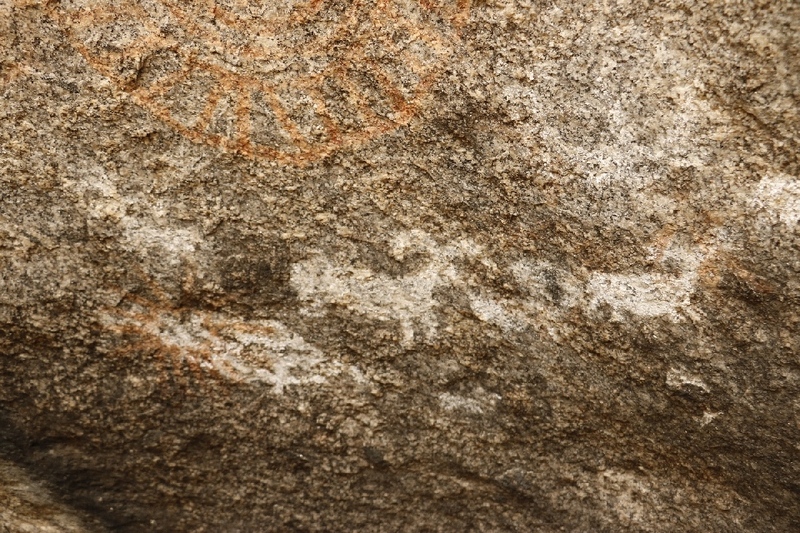 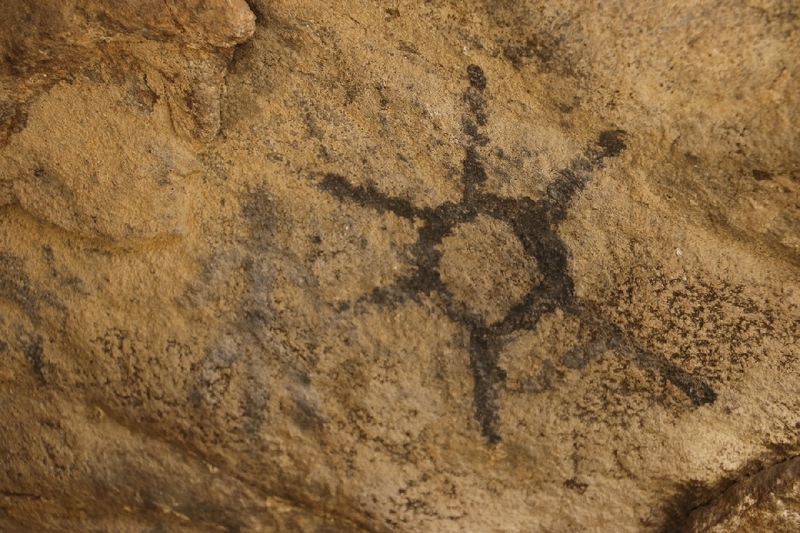 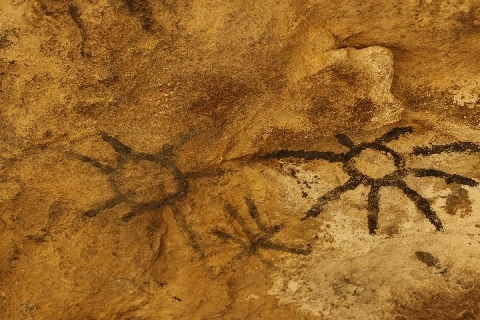 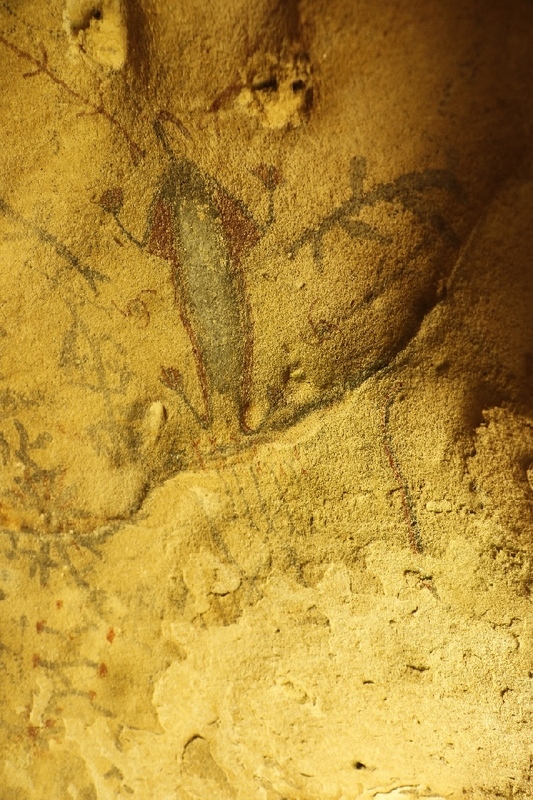 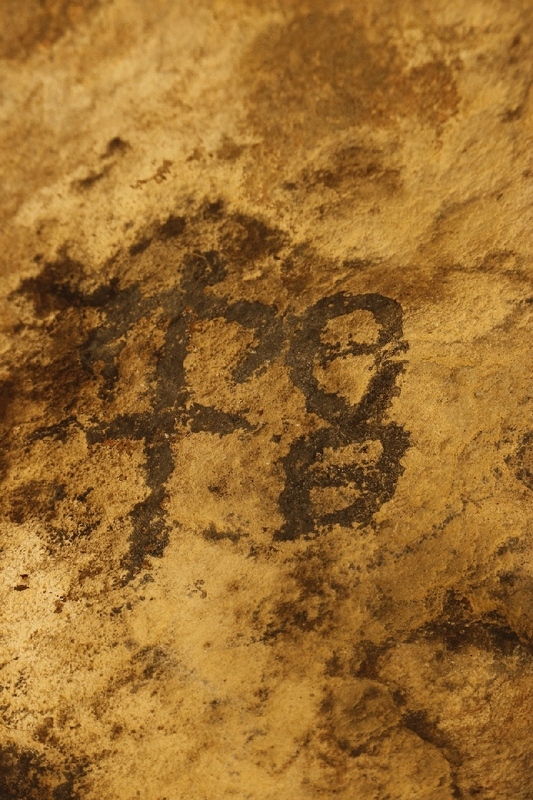 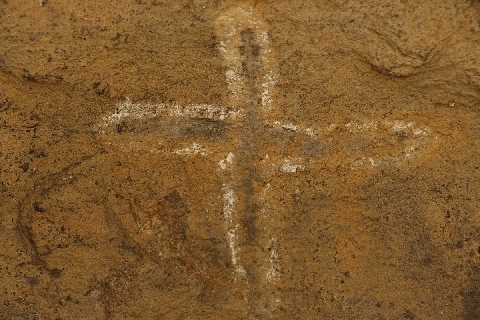 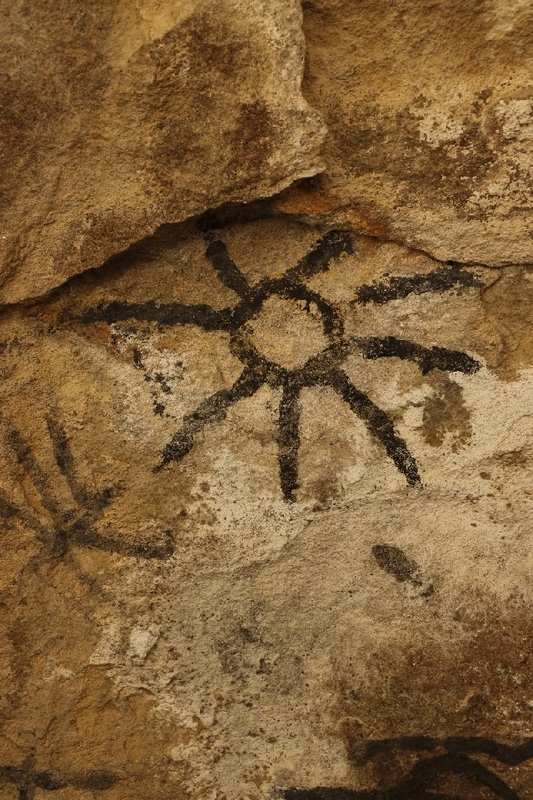 I was lucky to found this cave pictographs, I was on the way to the Three Springs Pictographs site. 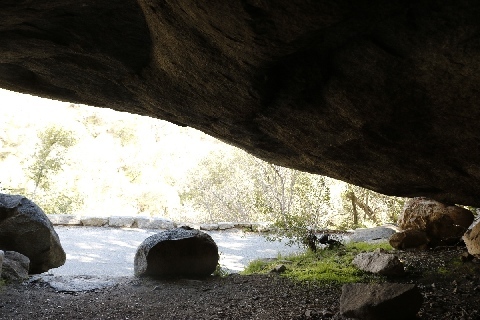 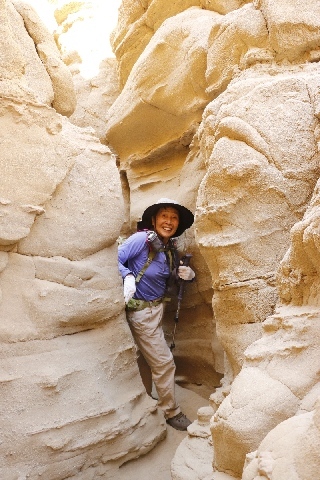 I have climb up to the cave to take close look photos. 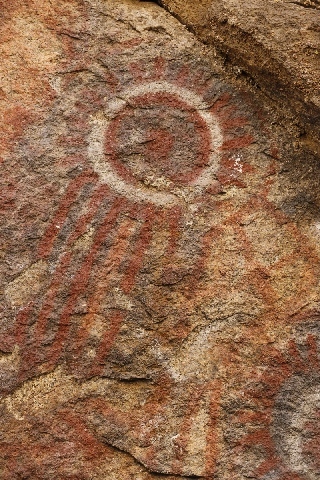 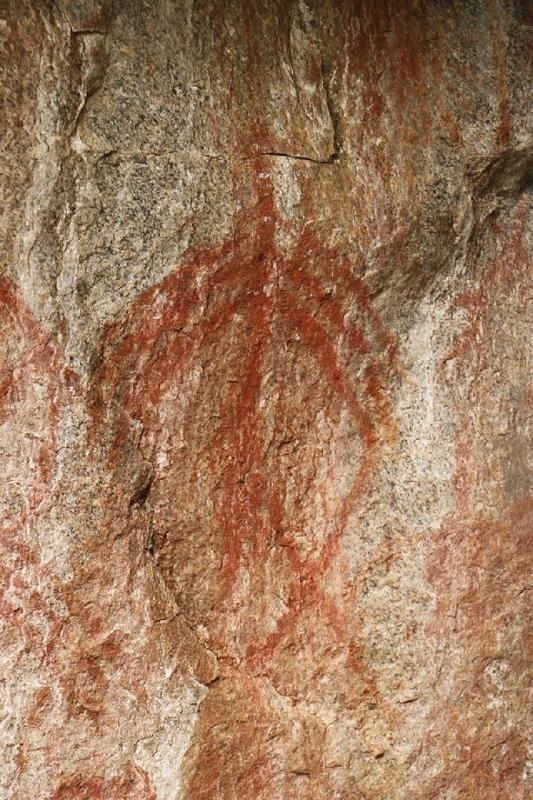 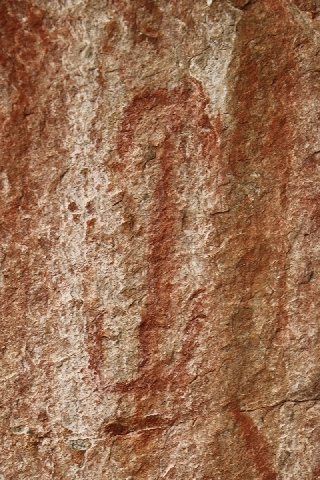 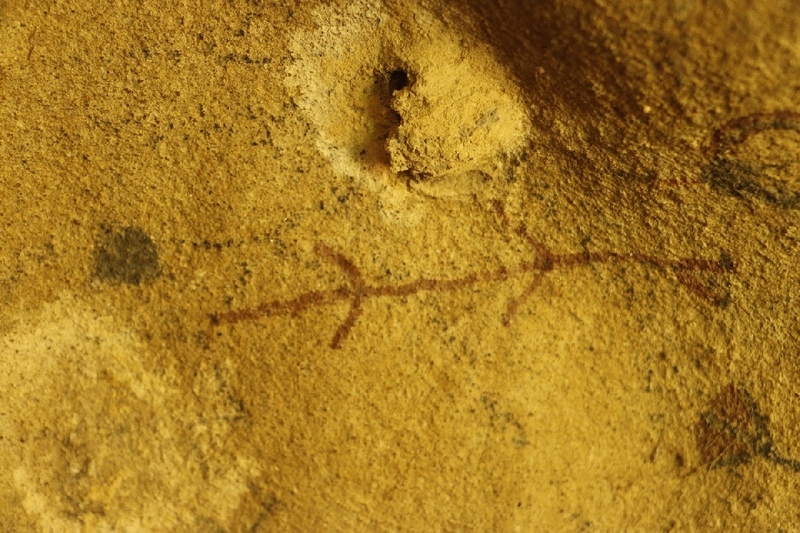 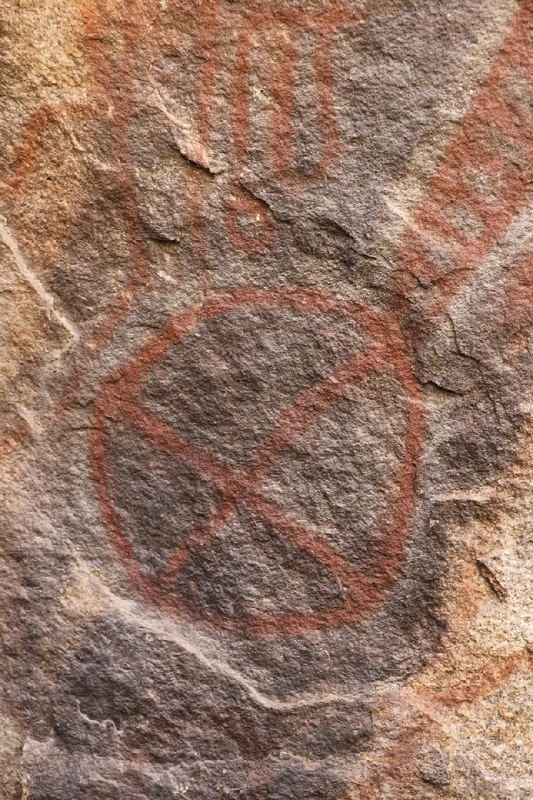 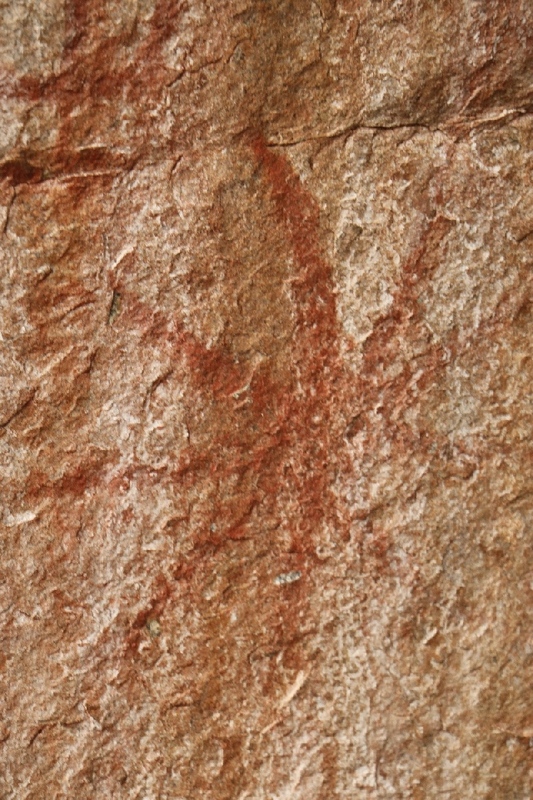 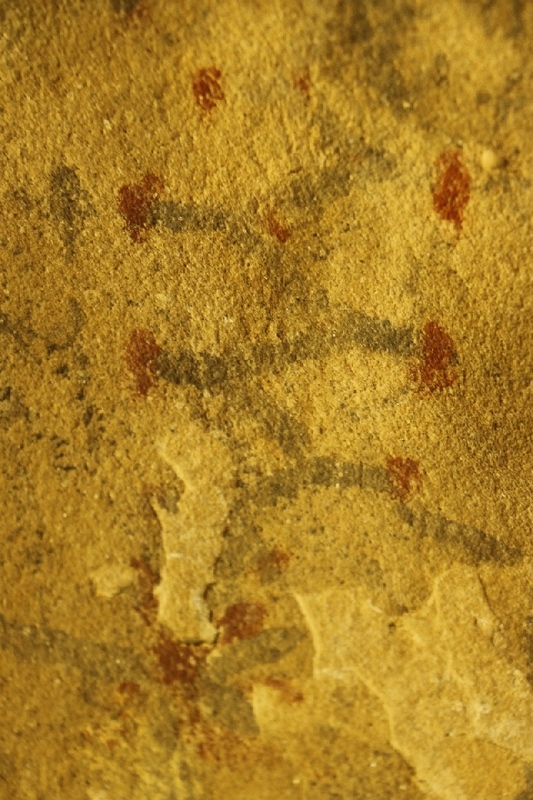 It is red color pictographs. 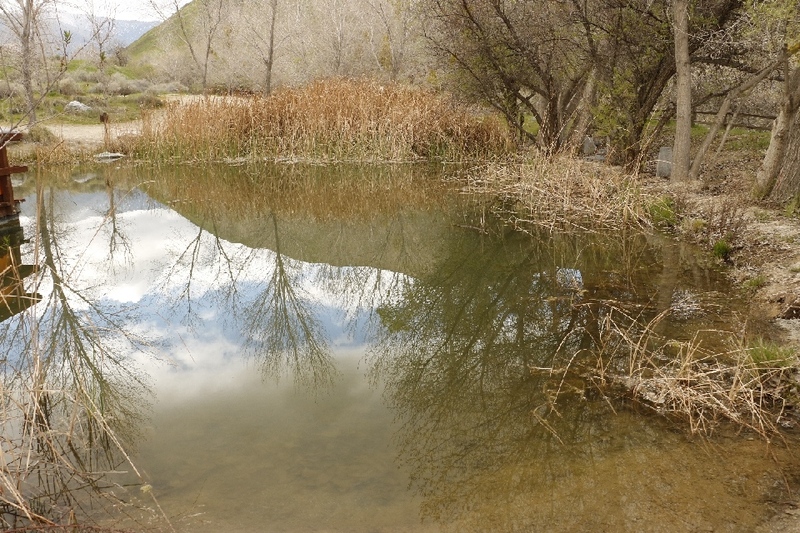 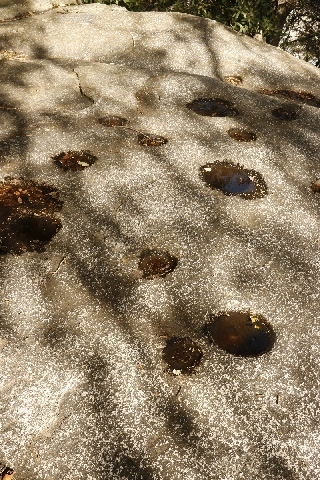 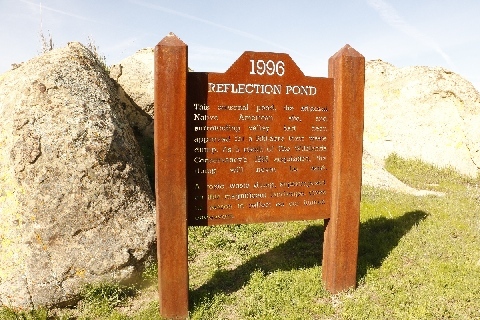 3/4/2017 Reflection Pond, Wind Wolves Preserve, CA - Adjacent to this pond, there were use to Native American Village, but all gone only left is the motars, holes on the rock to grind the seed or nuts. 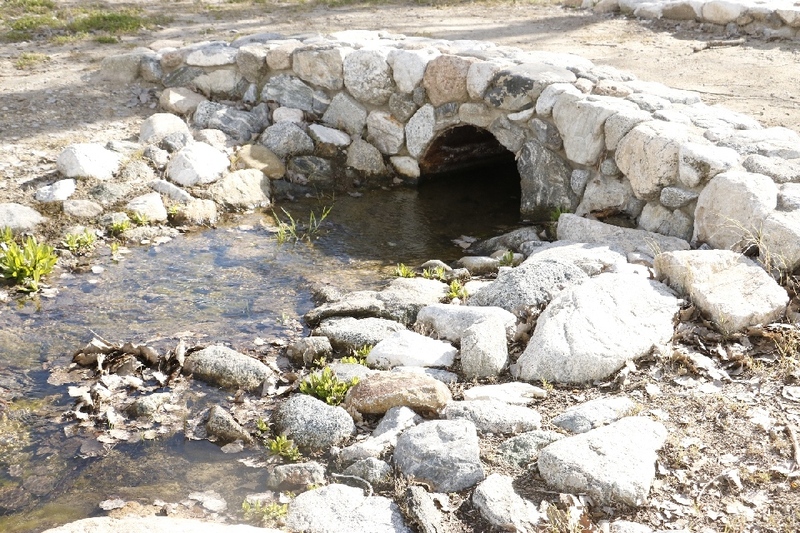 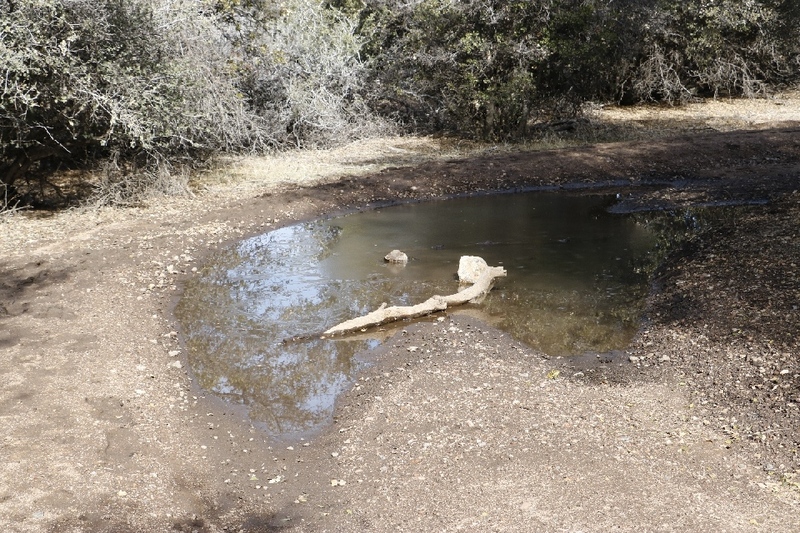 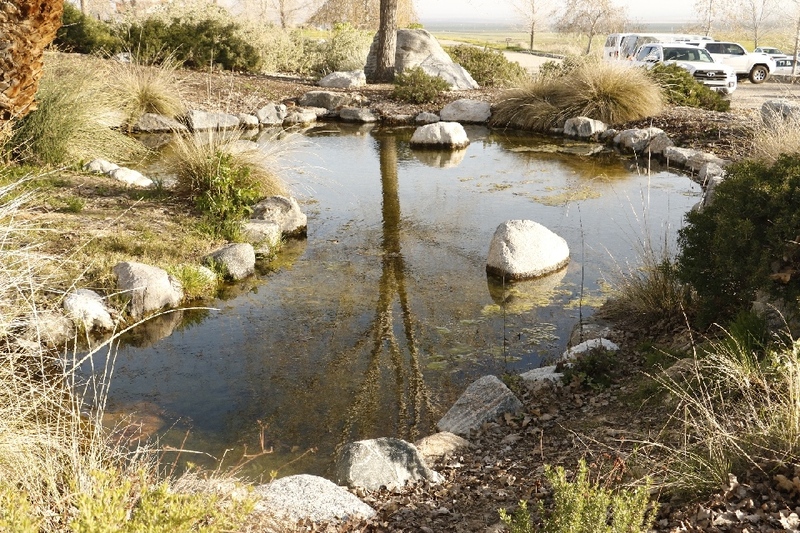 The pond has some water in it, but usually bone dry. 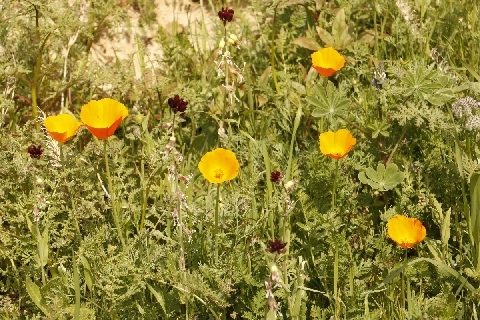 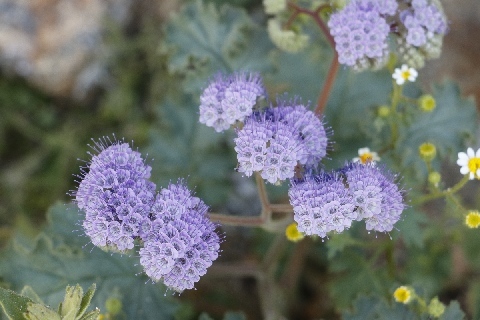 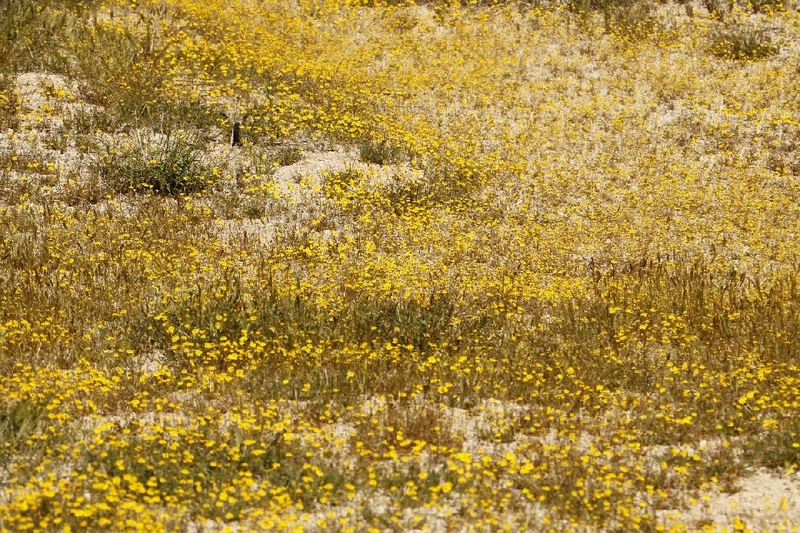 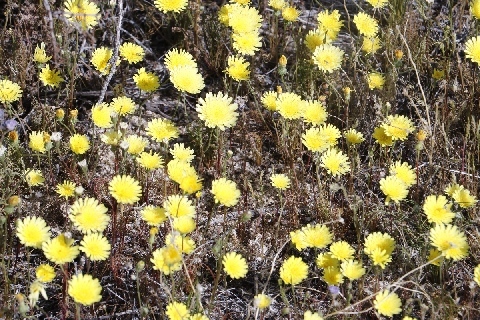 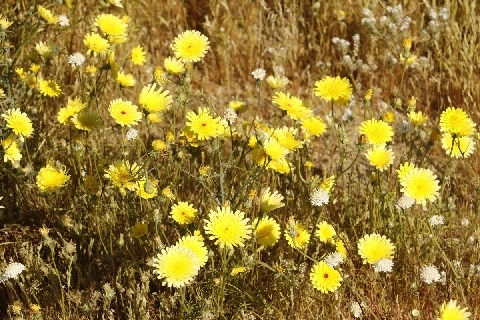 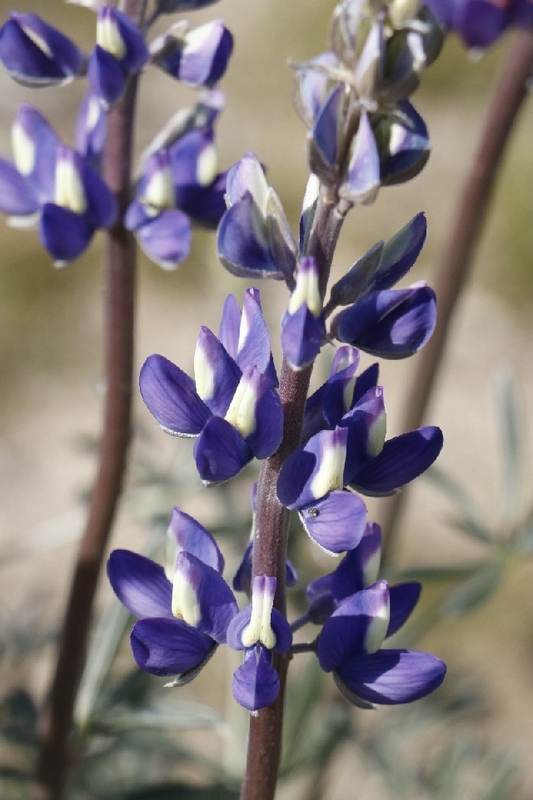 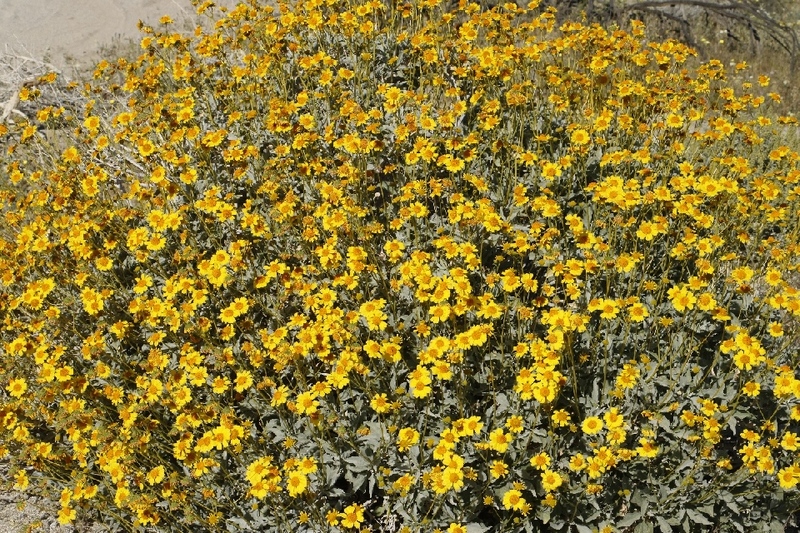 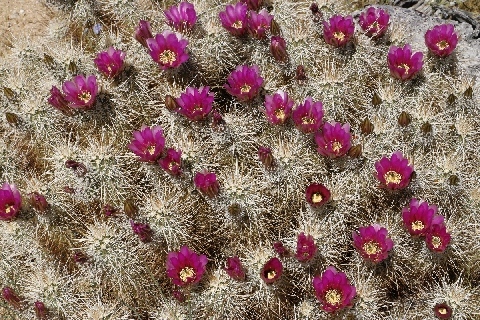 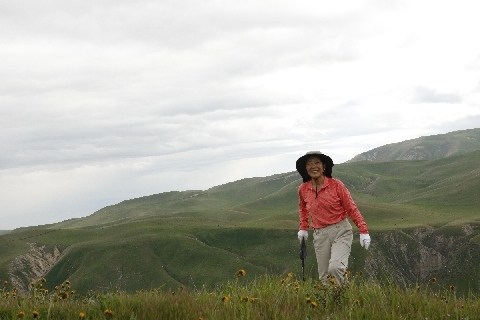 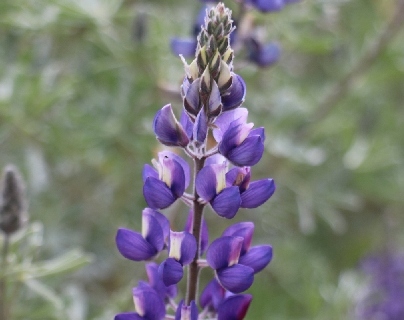 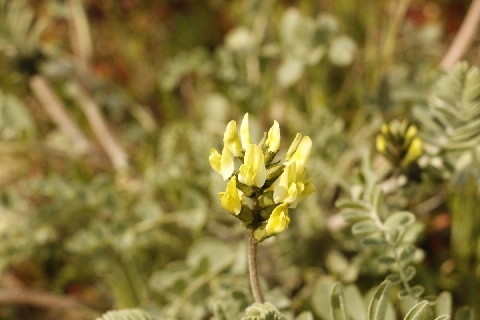 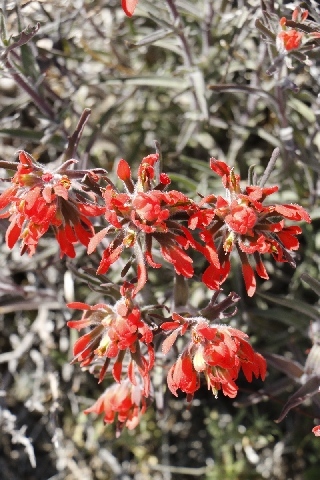 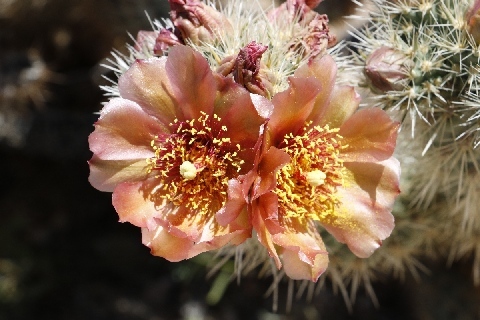 Many beautiful wildflowers that just started, all mountains are so green, beautiful place. 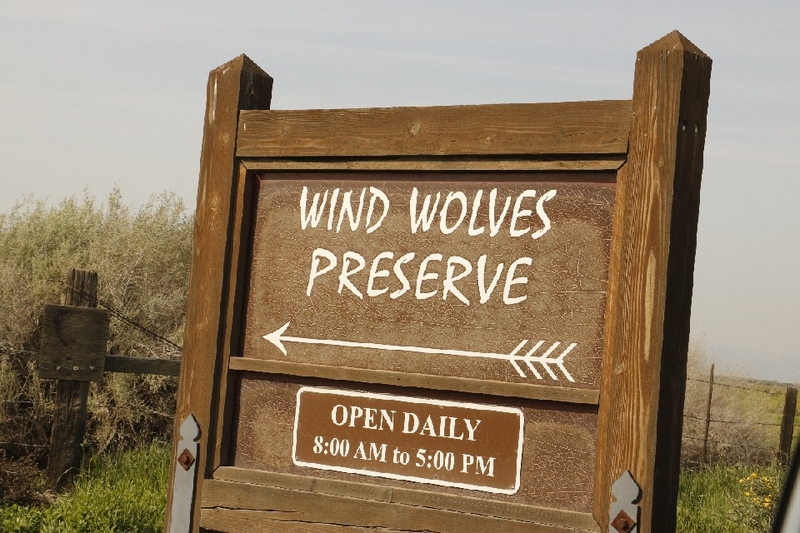 3/4/2017 Wind Wolves Preserve, CA - This place was much better than I expected. 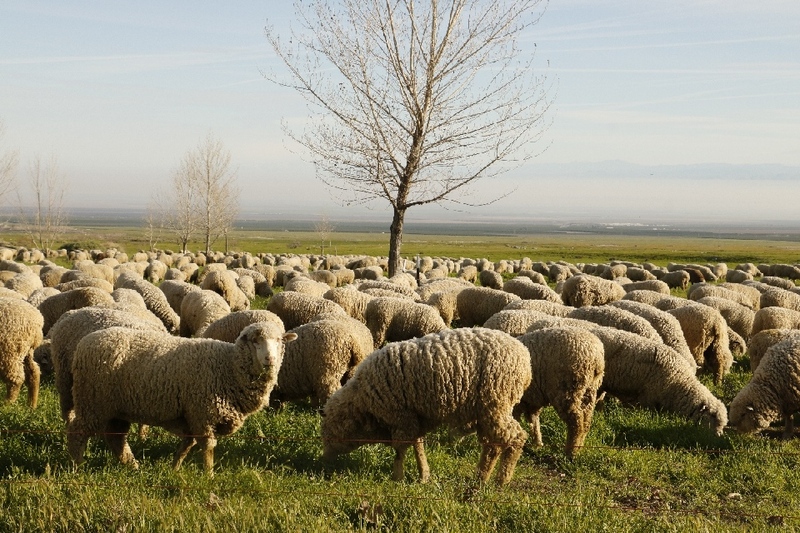 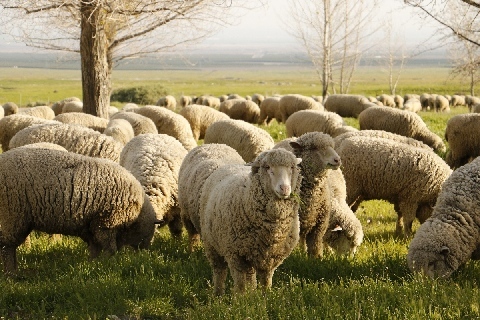 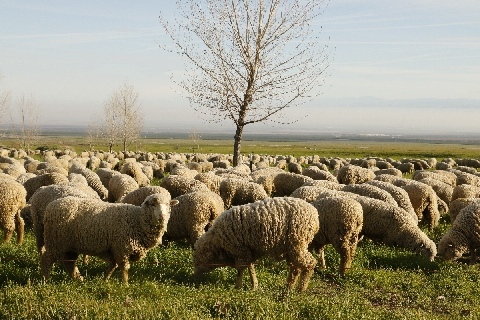 There are 1,200 sheep eating glasses, so that they don’t need to mow the lawn that smart way to do it. 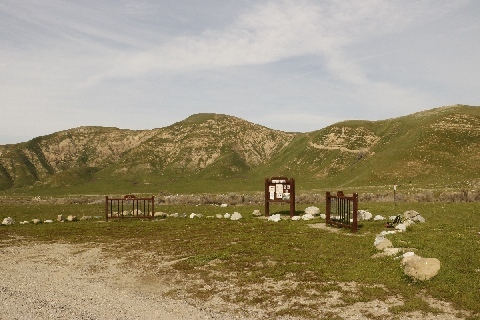 Free shuttle bus runs three times per day in weekends. Camping is free of charge, only need is a reservation. 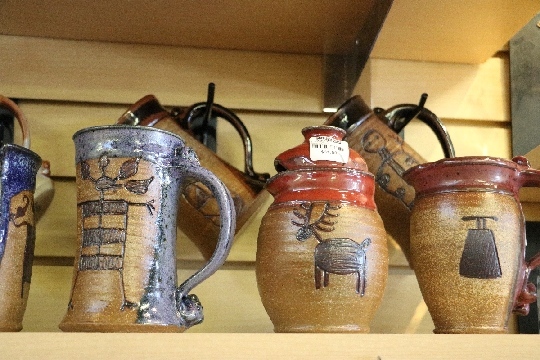 Open 8am to 5pm daily. 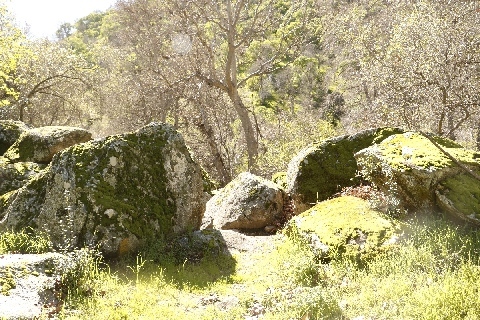 Green green everywhere because of recent rain. 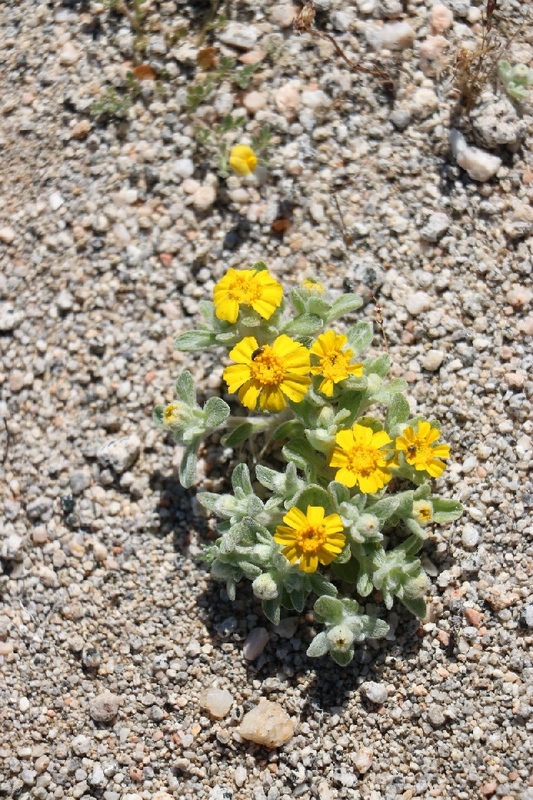 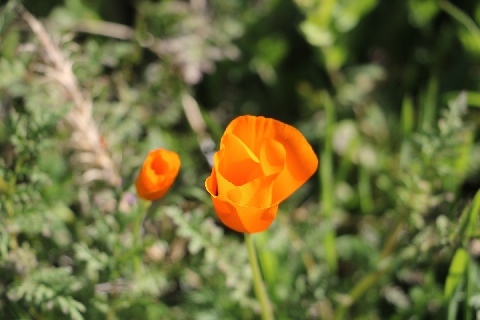 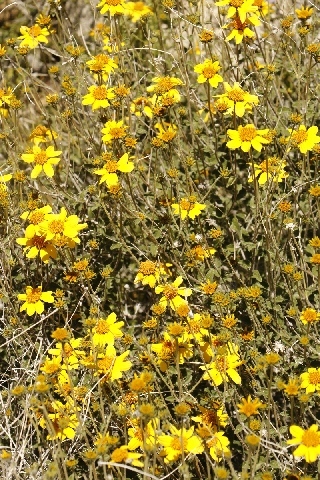 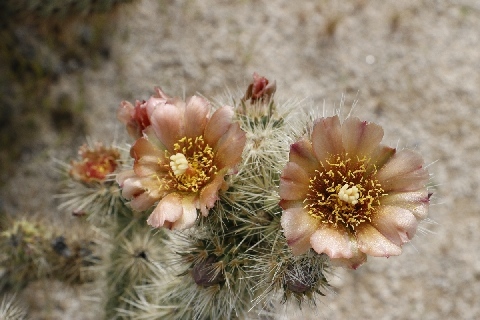 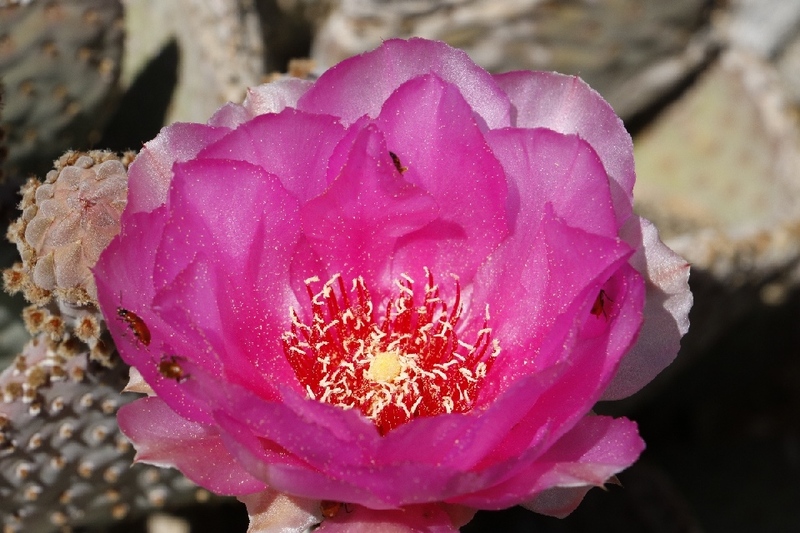 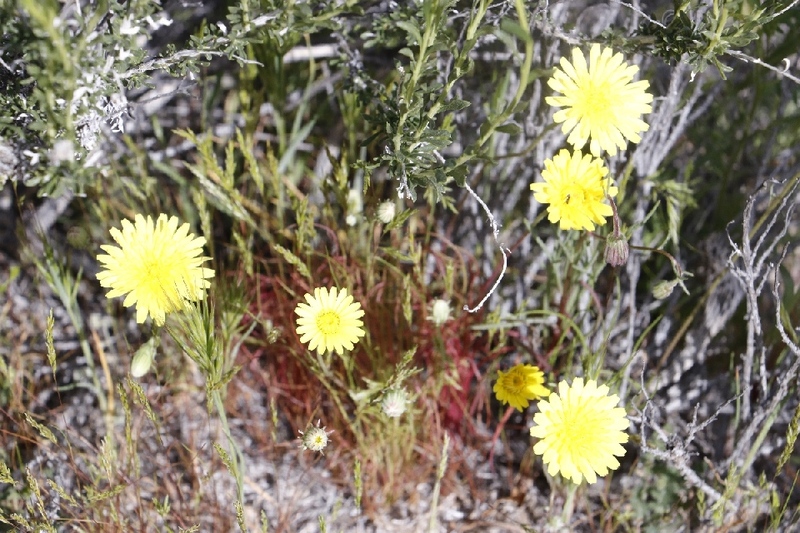 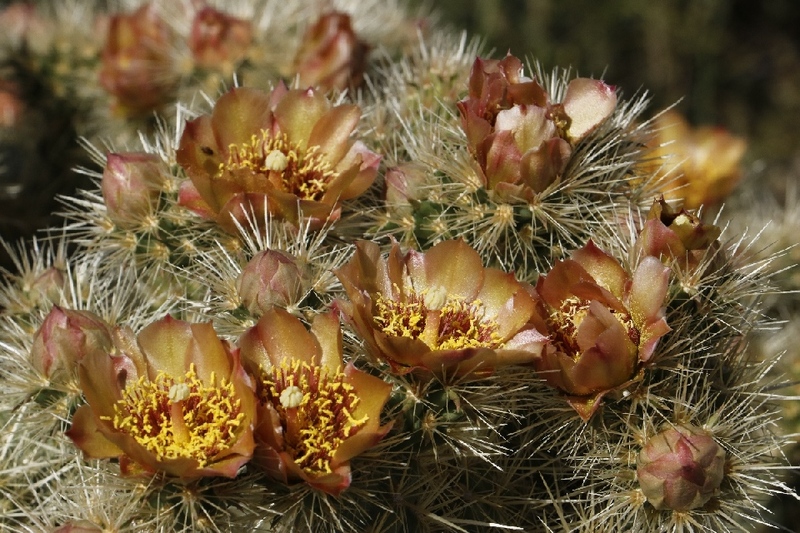 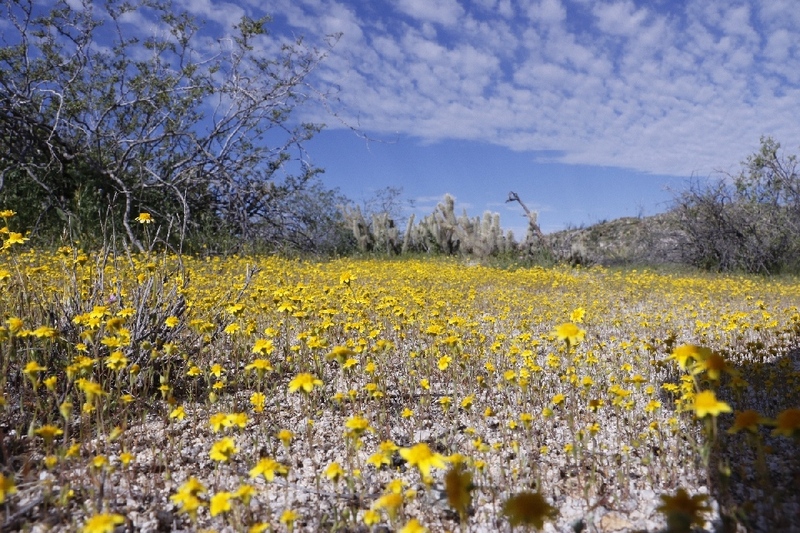 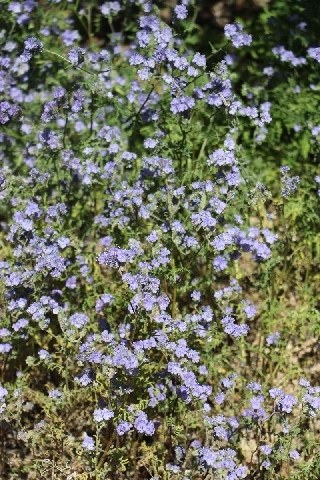 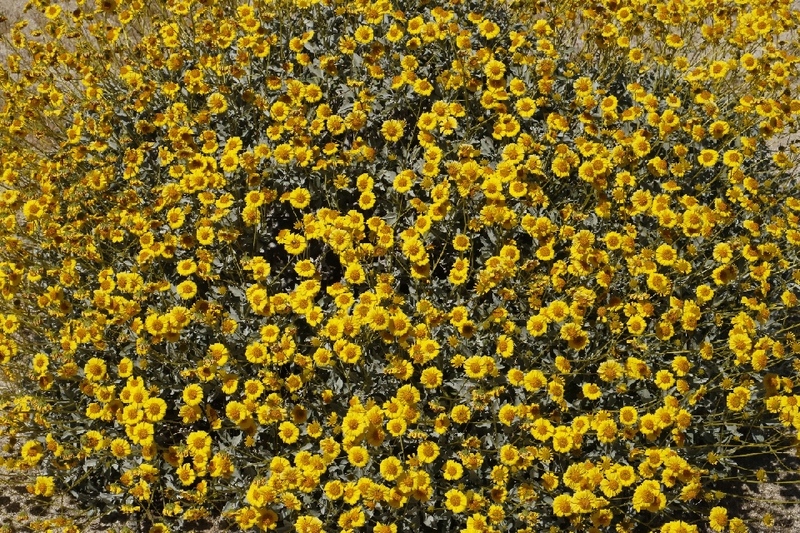 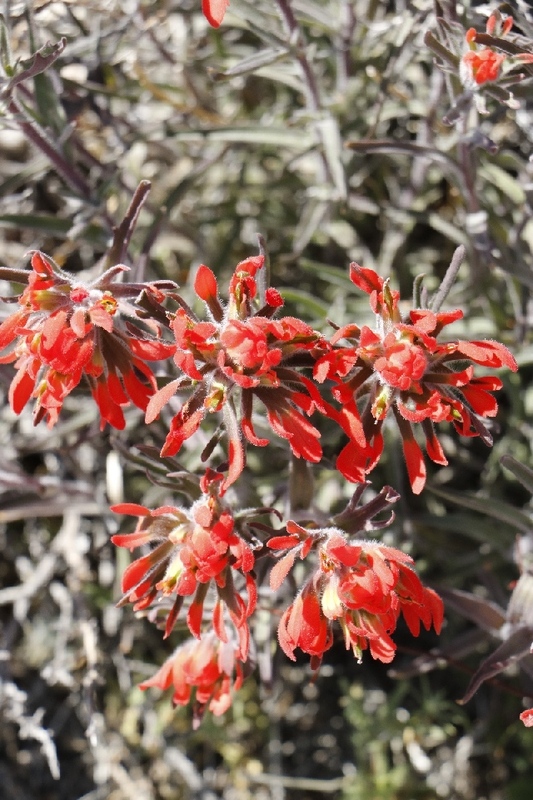 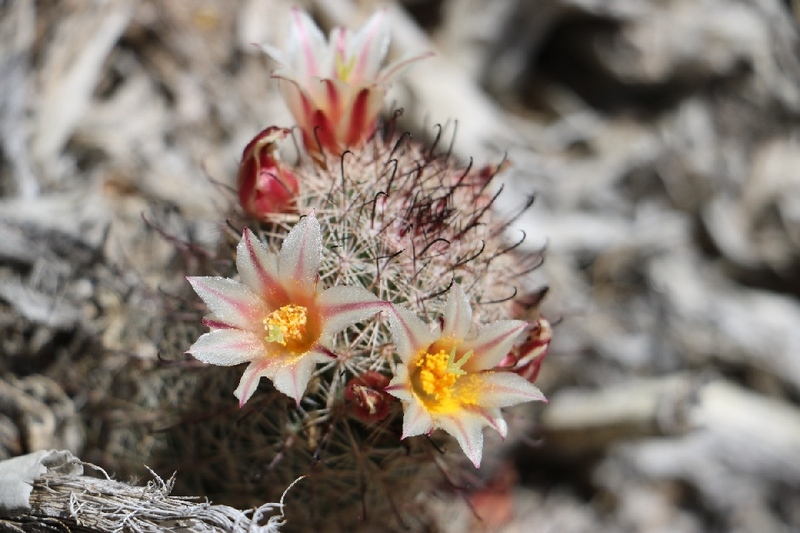 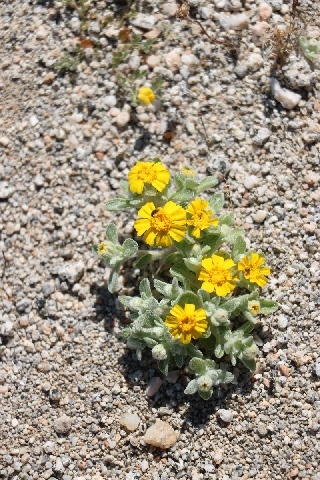 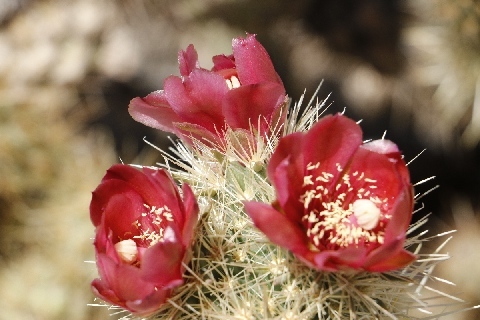 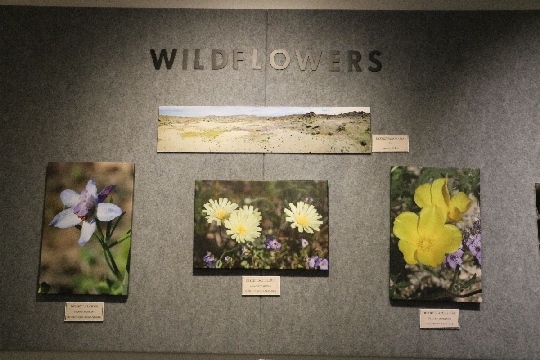 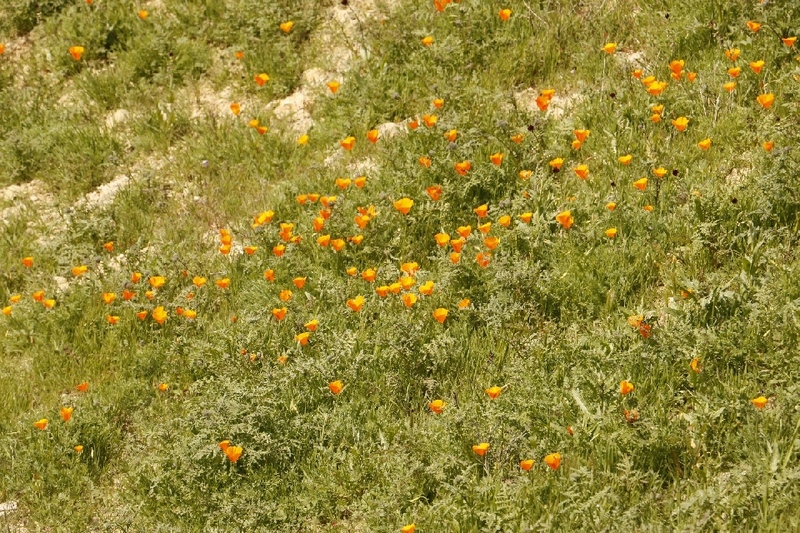 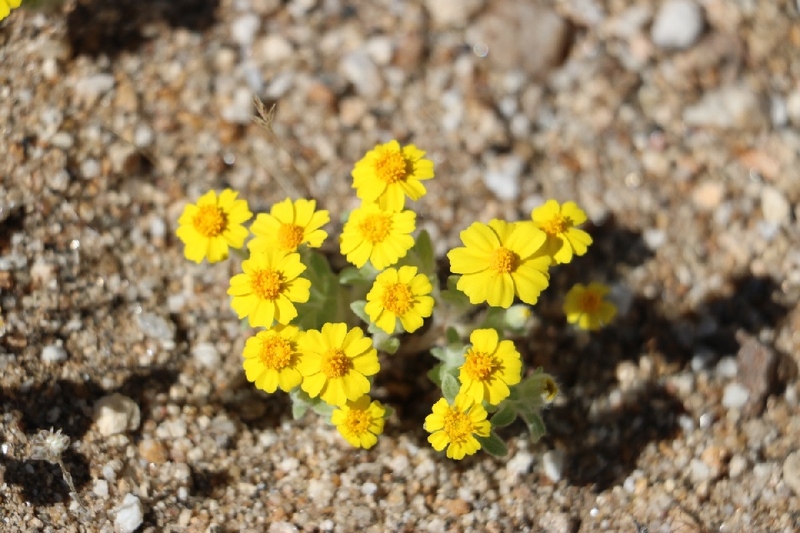 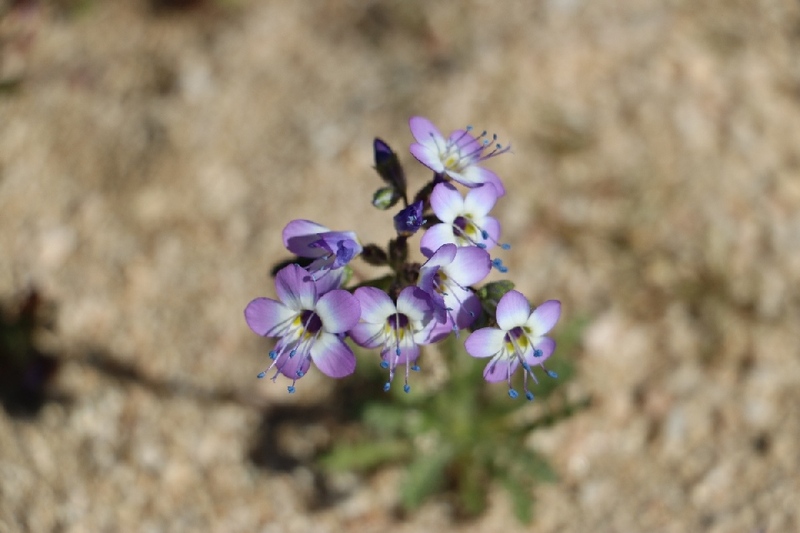 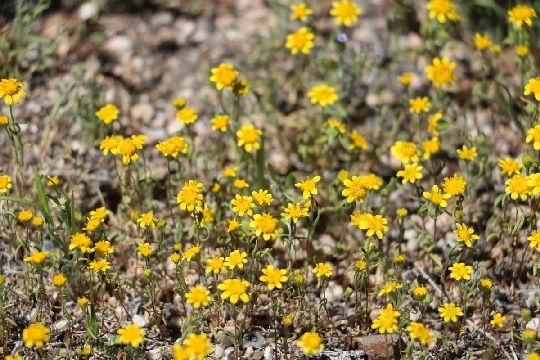 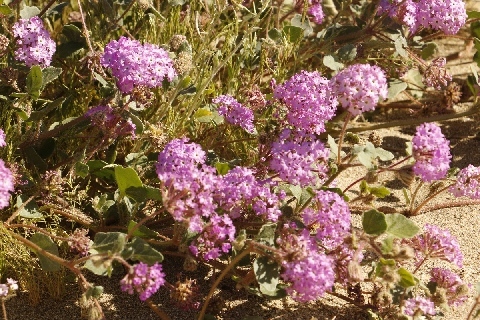 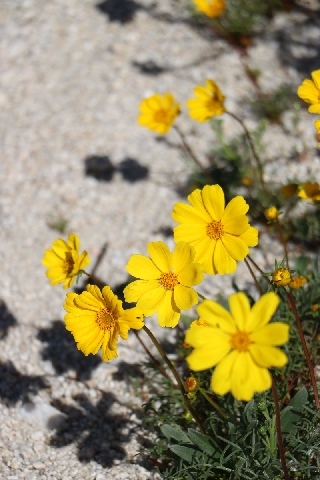 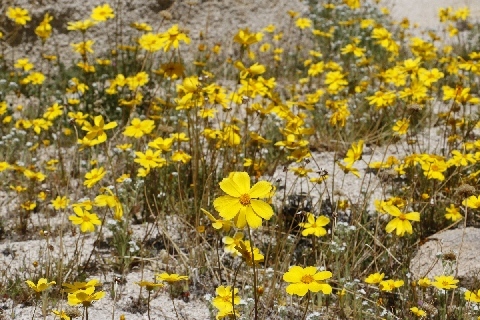 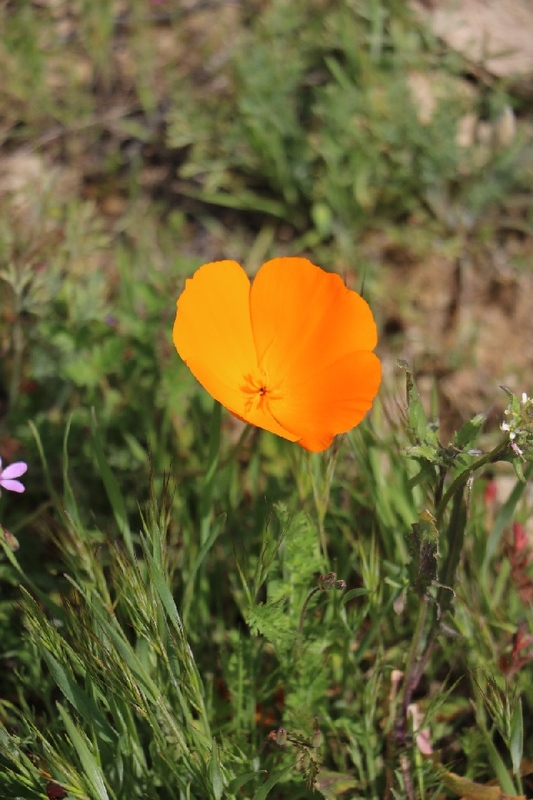 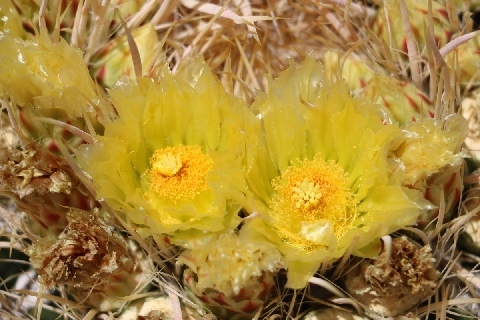 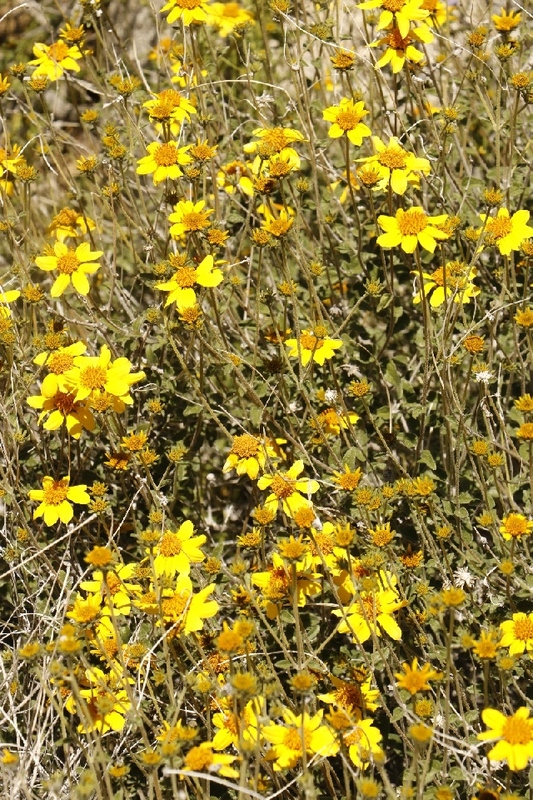 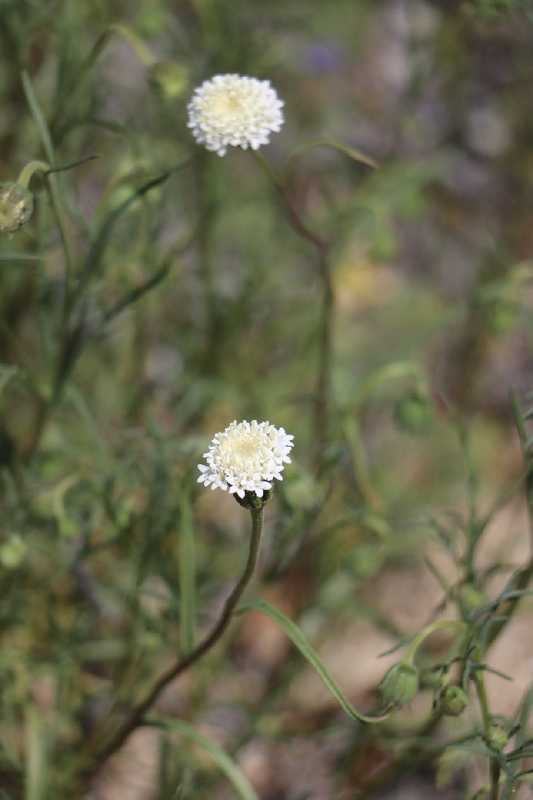 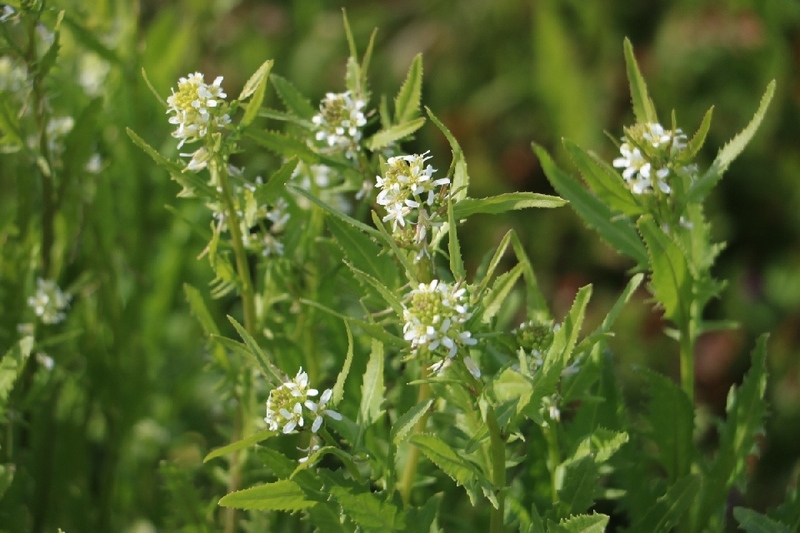 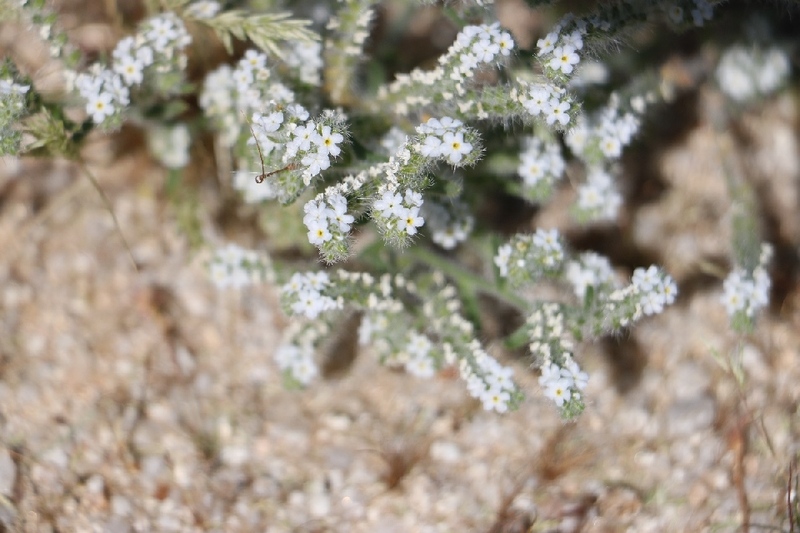 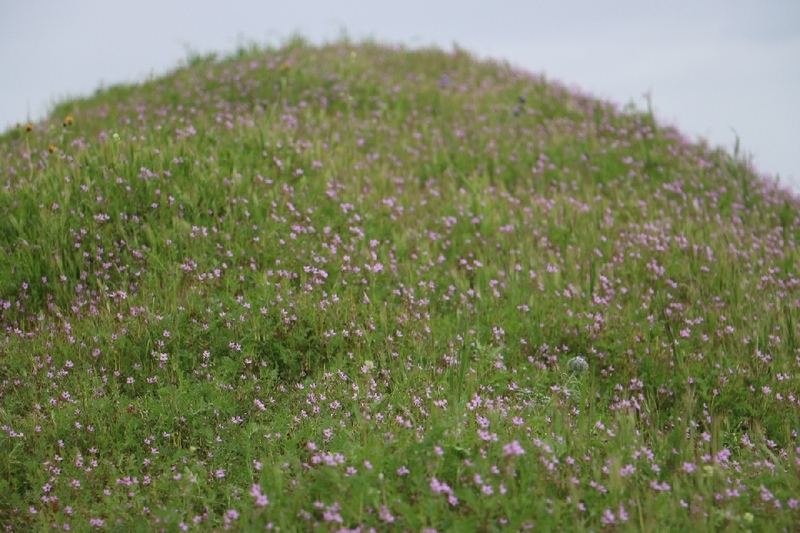 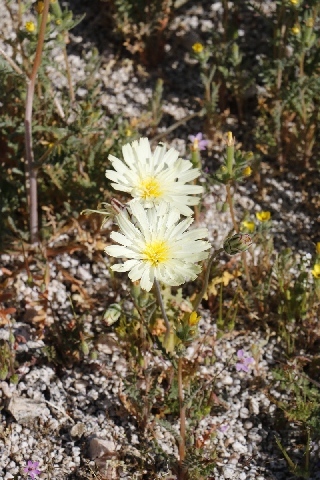 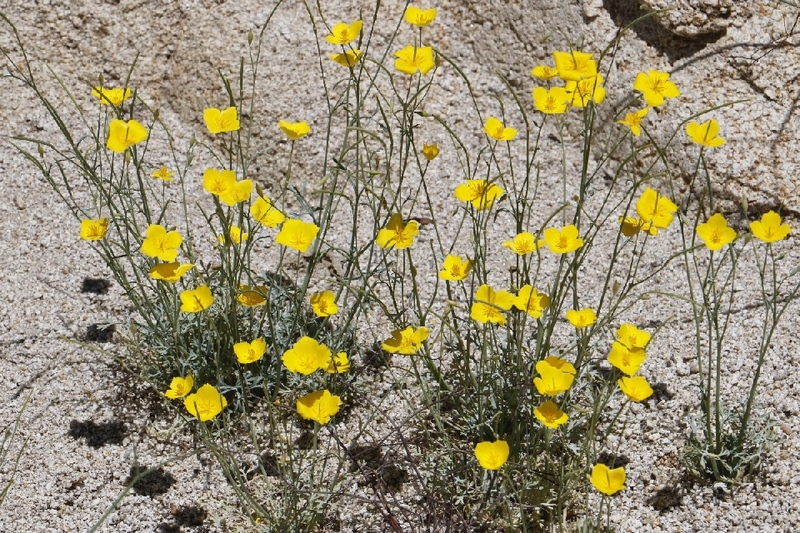 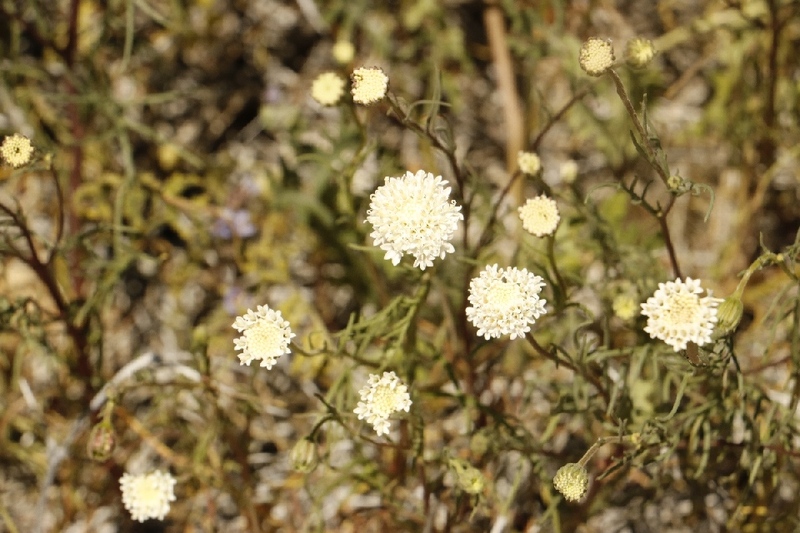 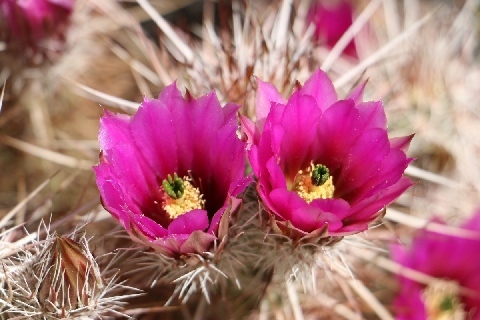 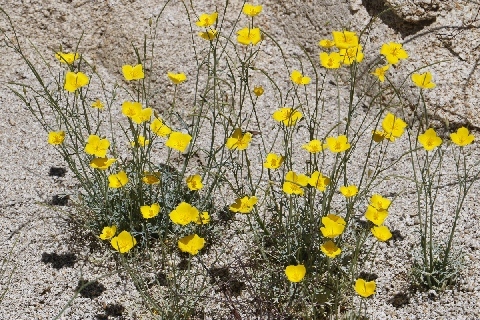 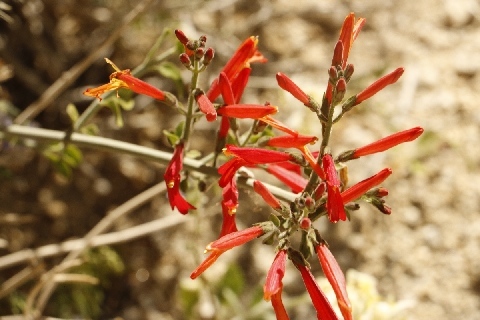 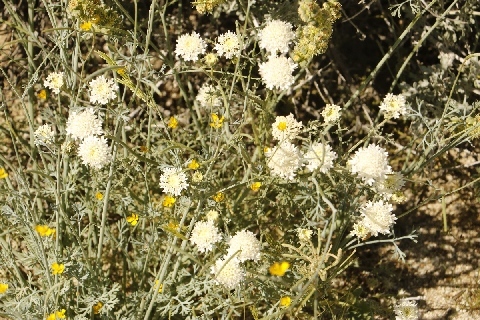 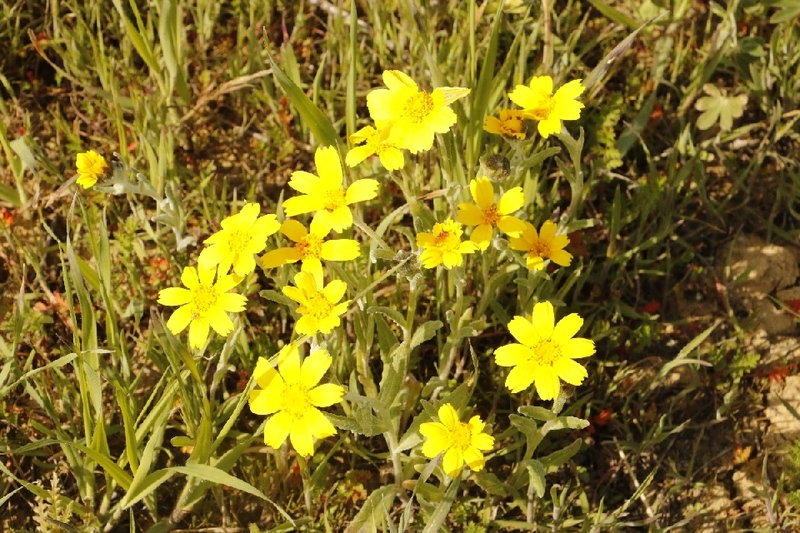 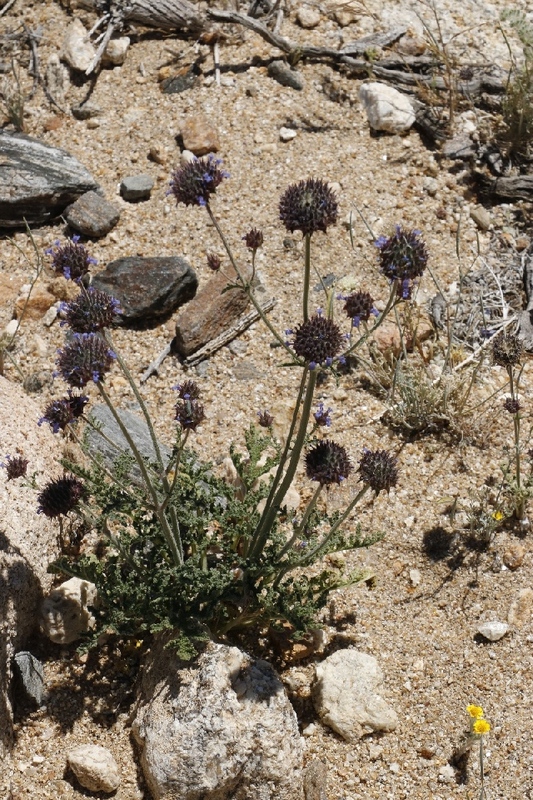 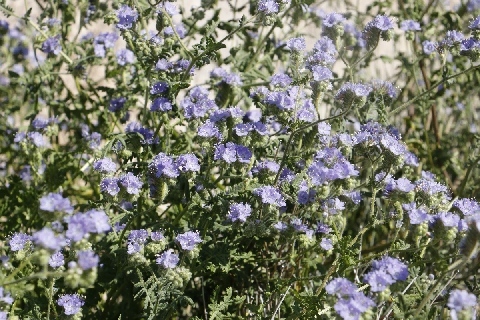 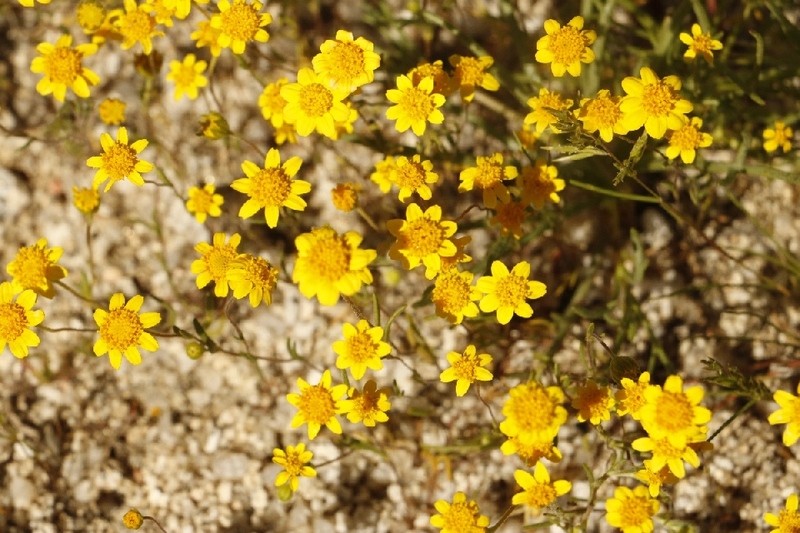 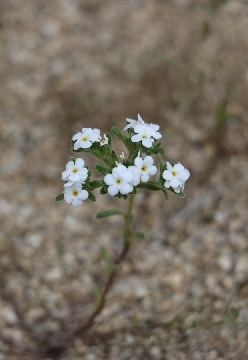 Wildflowers are just started blooming. 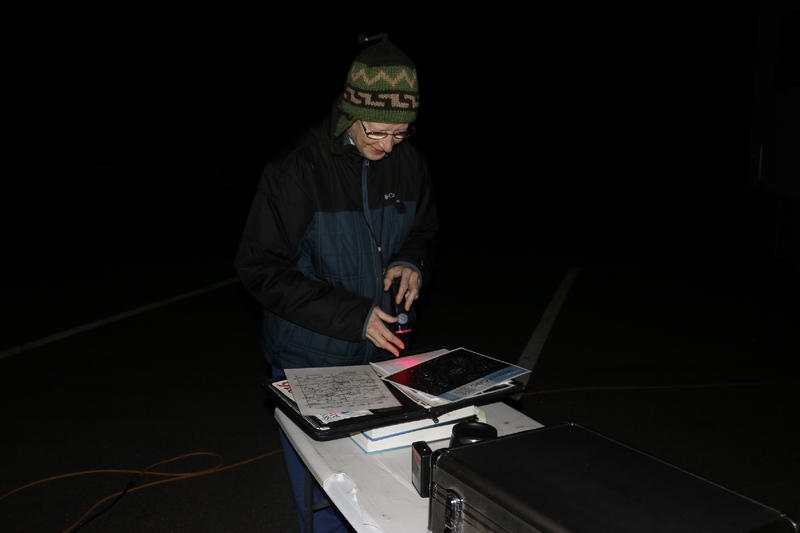 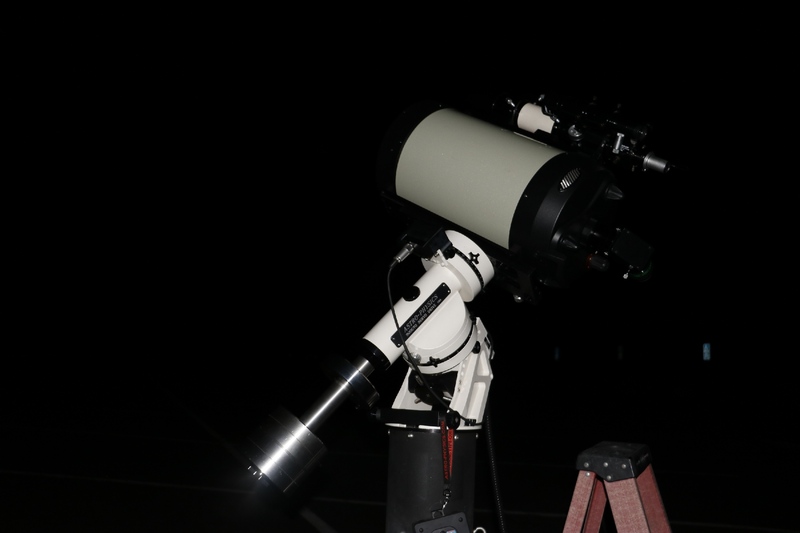 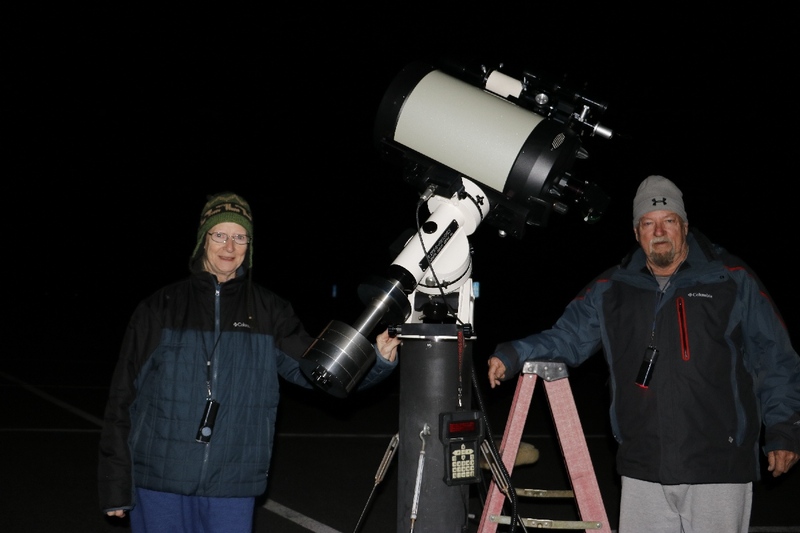 3/3/2017 Astronomy Show, Frazier Mountain TH, CA - Edie and Tom has a large size telescope and generously share with anyone who is interested astronomy. 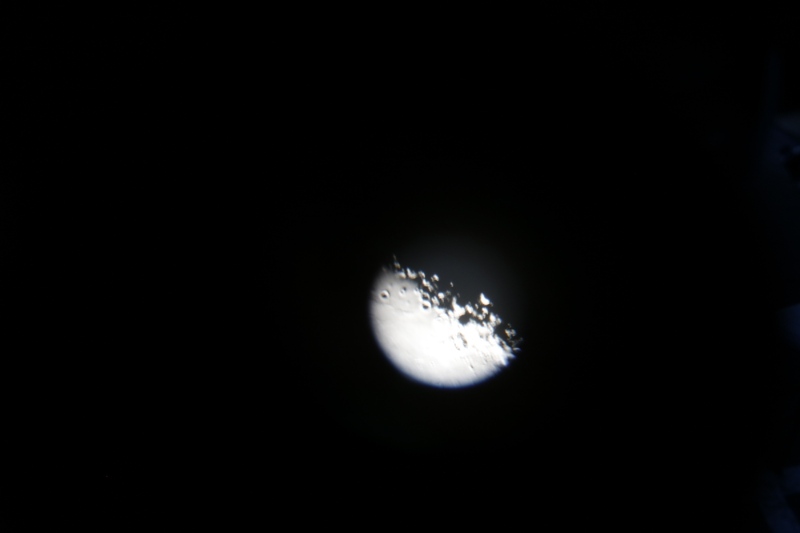 Our moon’s surface was very clear to see, but all other stars and galaxies are fuzzy look. 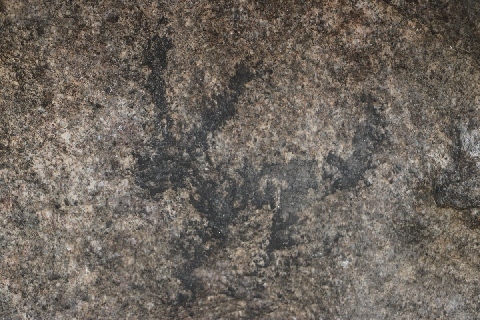 Andromeda Galaxy, one of the nearlest galaxys, that 2.9 million light-years away, one light year is the distance that light travels in one year in a vacuum at a speed of 186,000 miles per second. 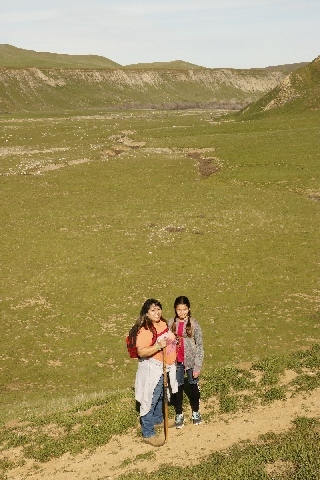 Thank you both, I had a great time. 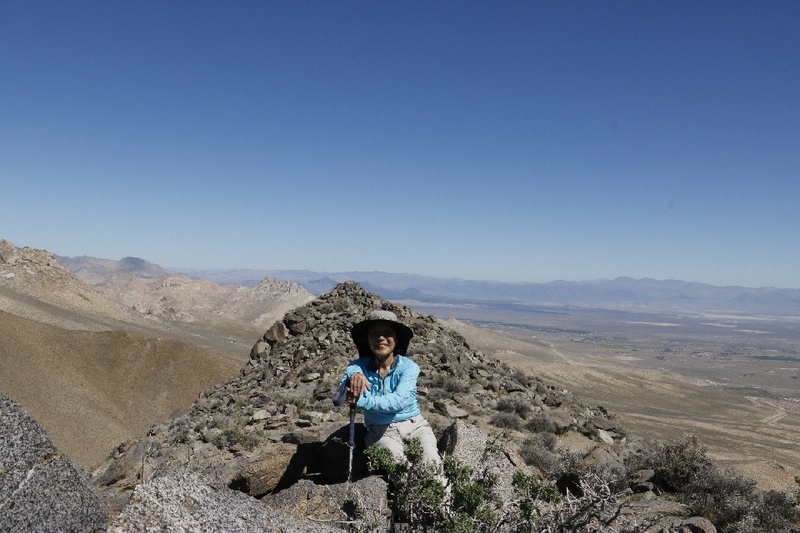 3/3/2017 Lockwood Peak, CA (5.5 miles) - My original plan was to hike up to the Caliente Mountain but a gate was closed due to recent heavy rain. 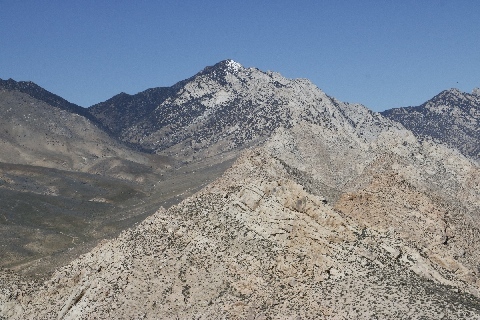 There are many mountains but higher mountains have snow on it, I picked a small peak to hike up. 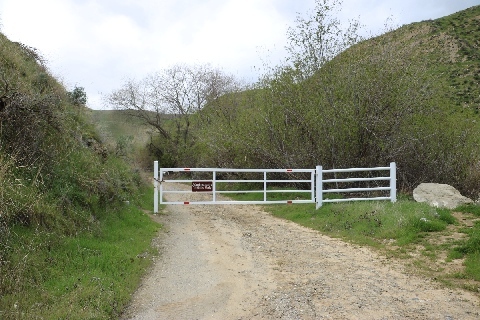 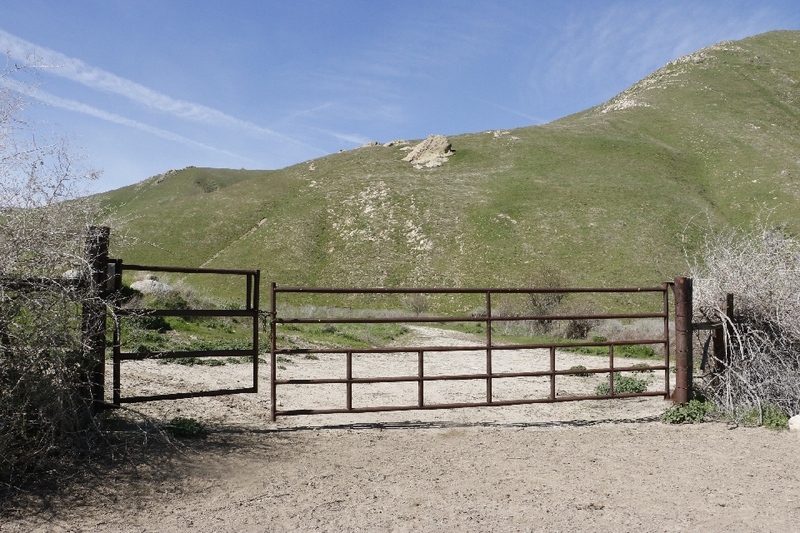 It was rocky road hike, where the road gate was closed for the automobile. 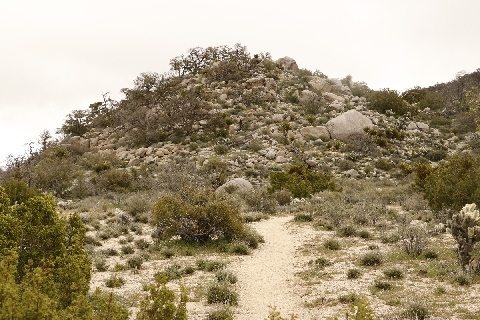 At the peak, there are many trees and tall bushes, and not much view to look at. 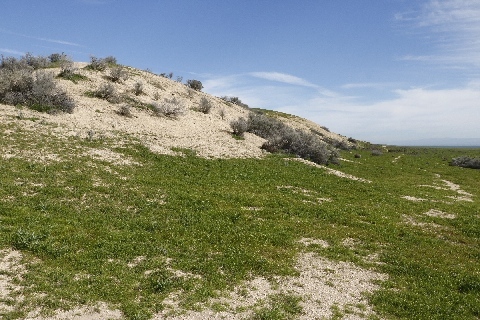 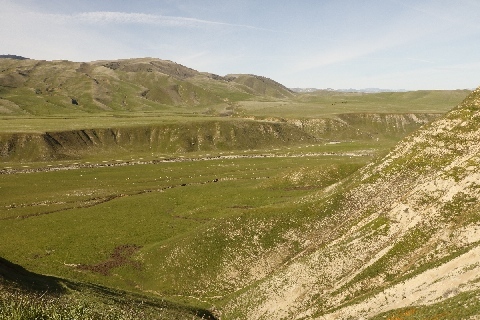 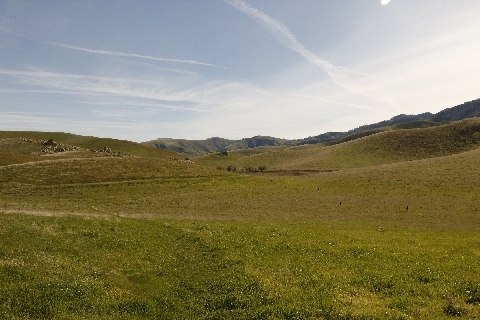 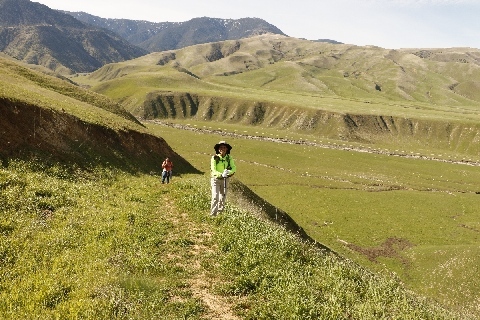 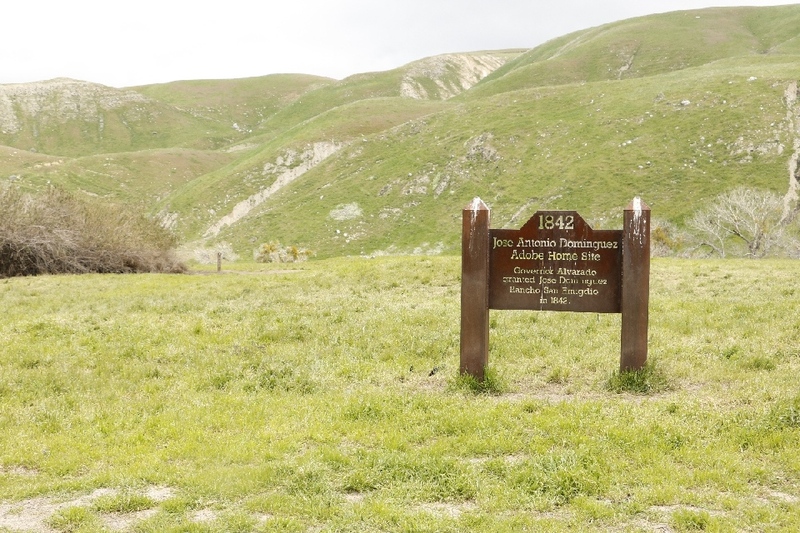 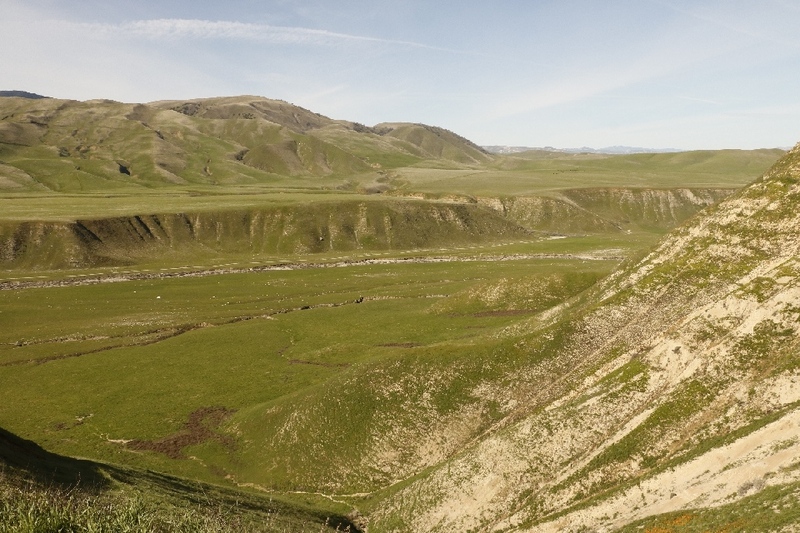 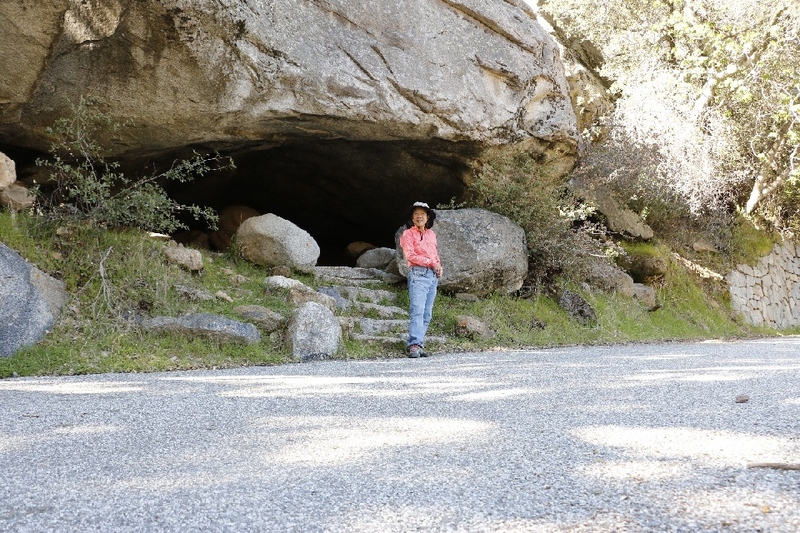 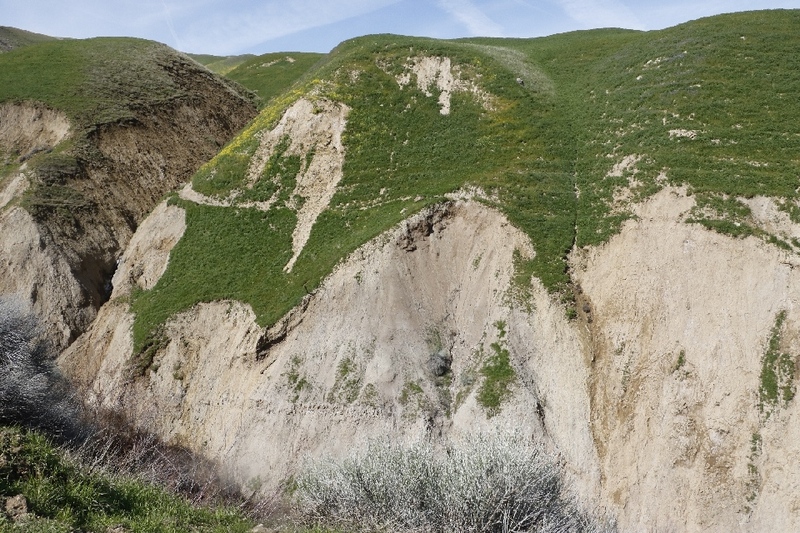 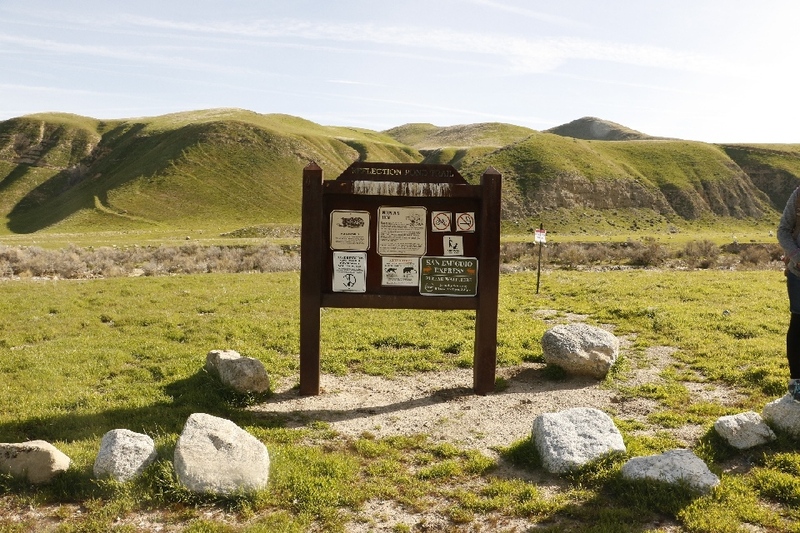 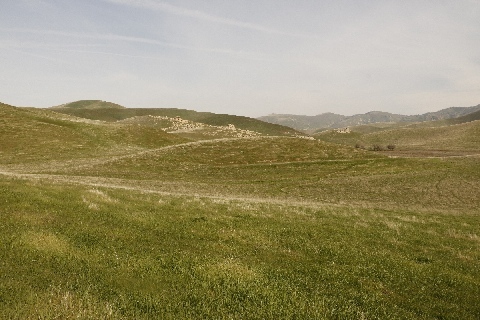 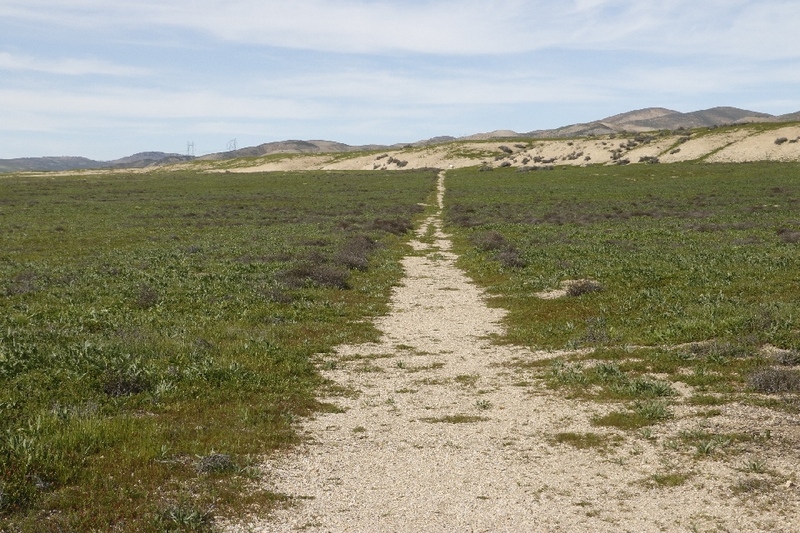 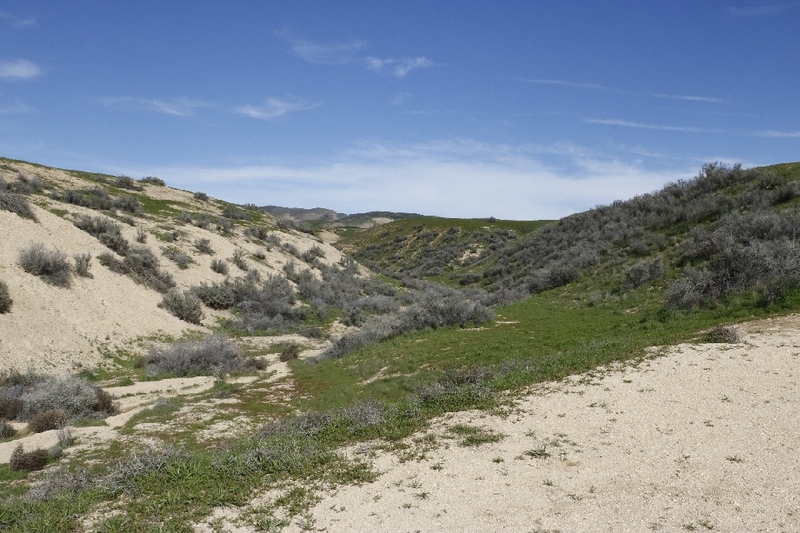 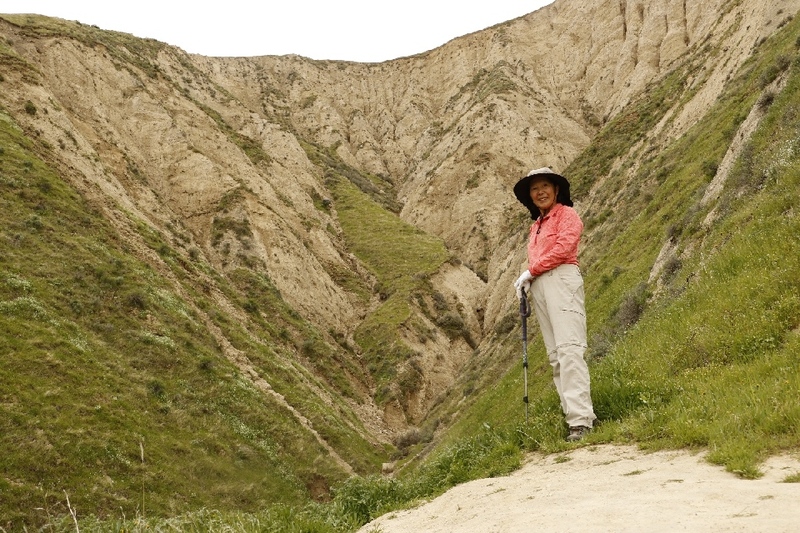 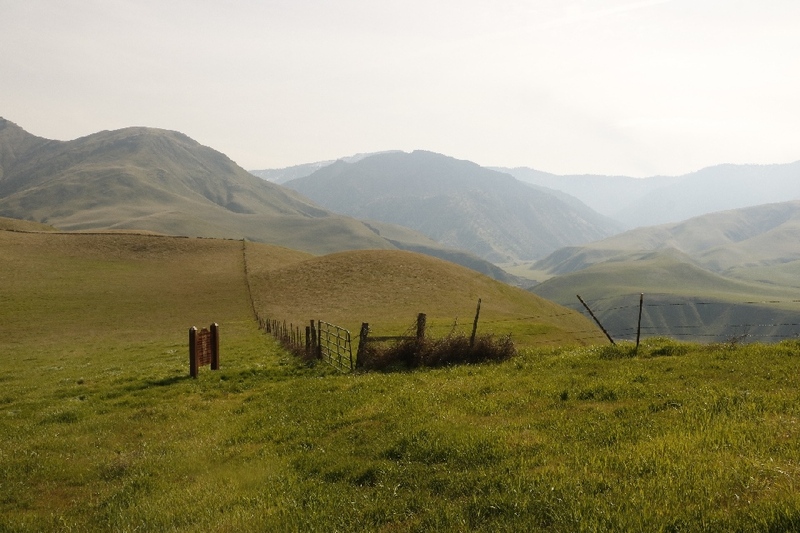 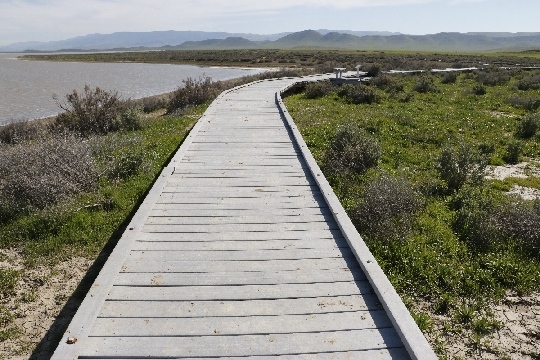 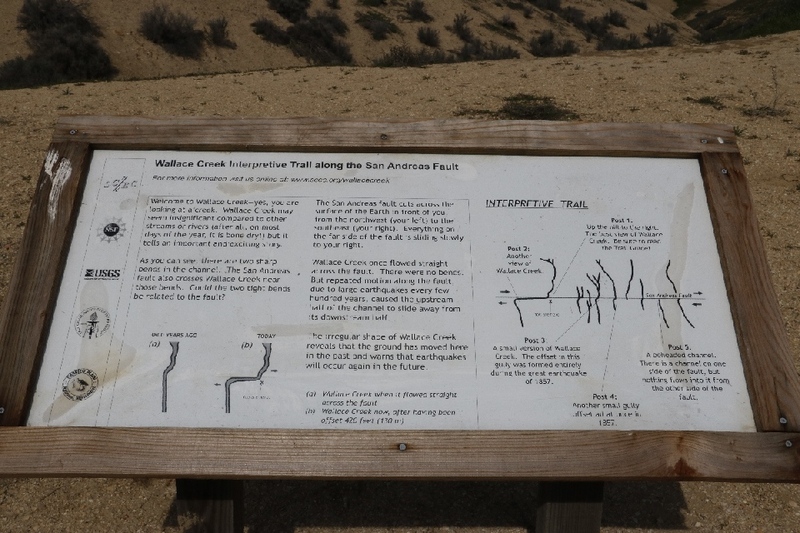 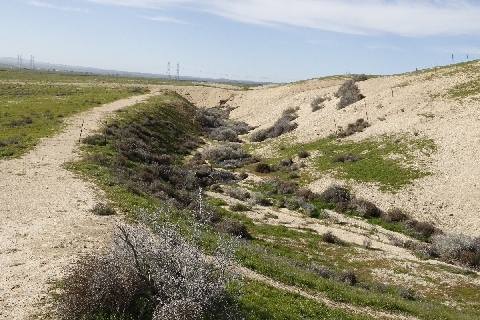 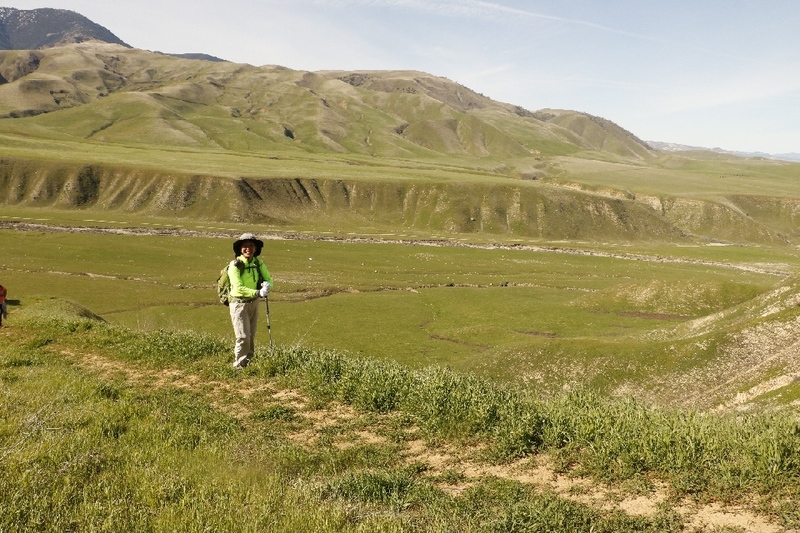 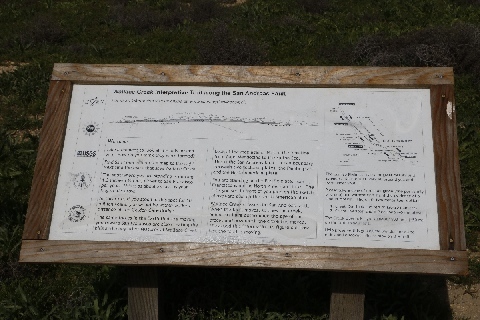 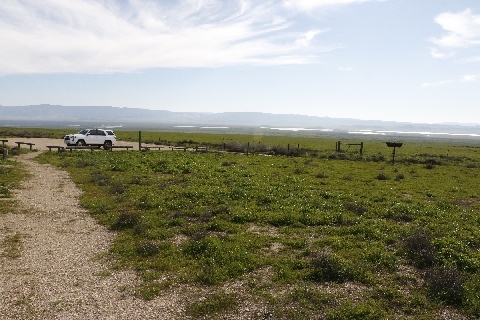 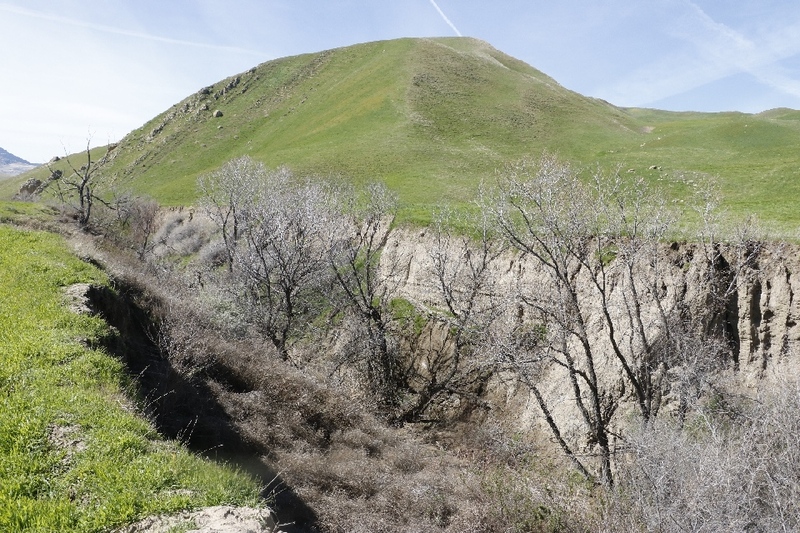 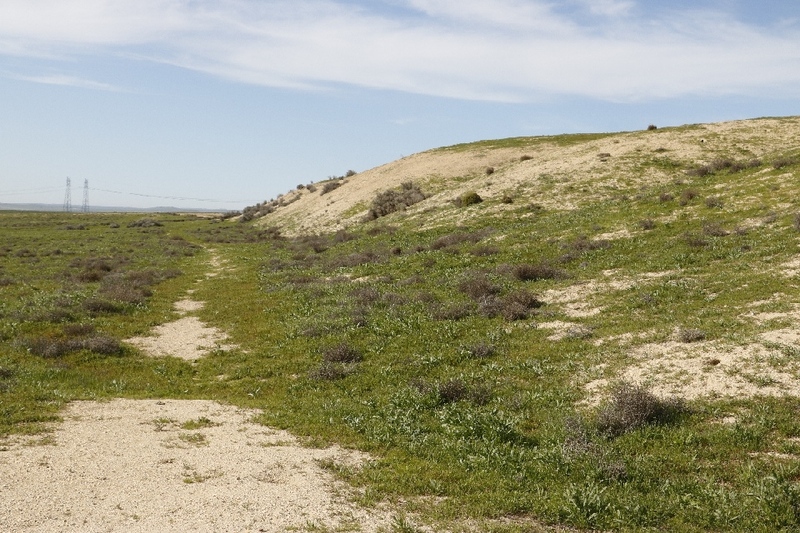 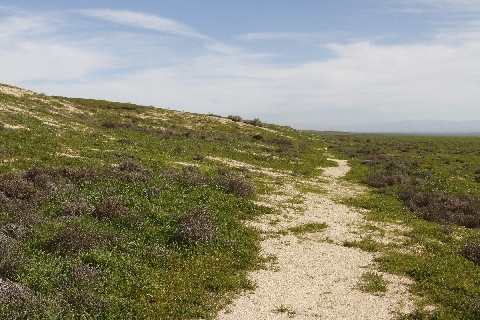 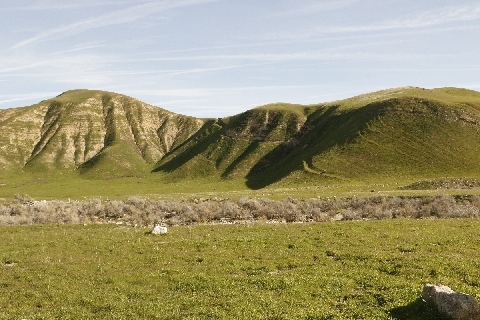 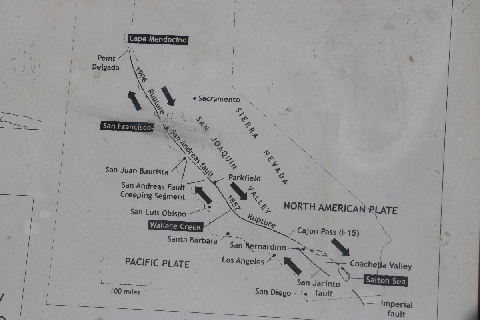 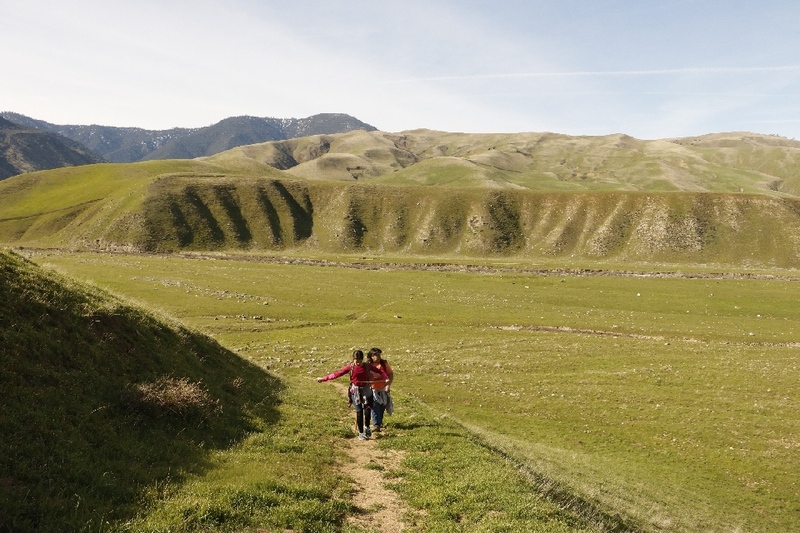 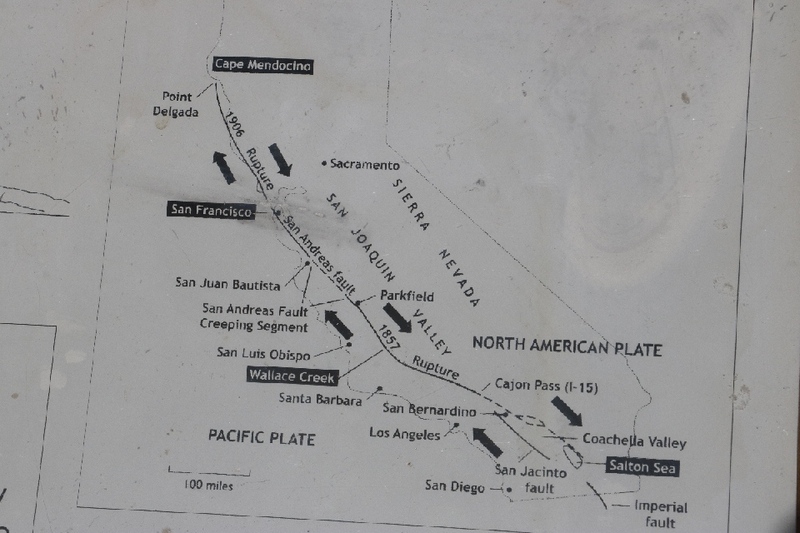 3/2/2017 Wallence Creek Interpretive Trail, CA - This place is the clear evidence of the San Andreas Fault, which runs most of the California west coast. 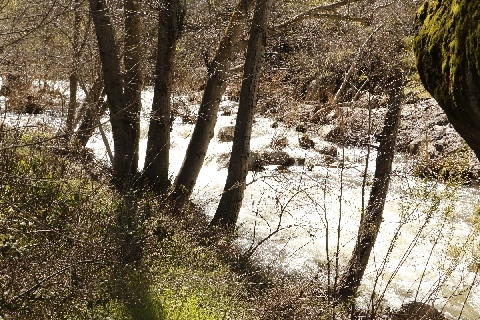 The creek is about 100ft shifted, it was straight creek before. 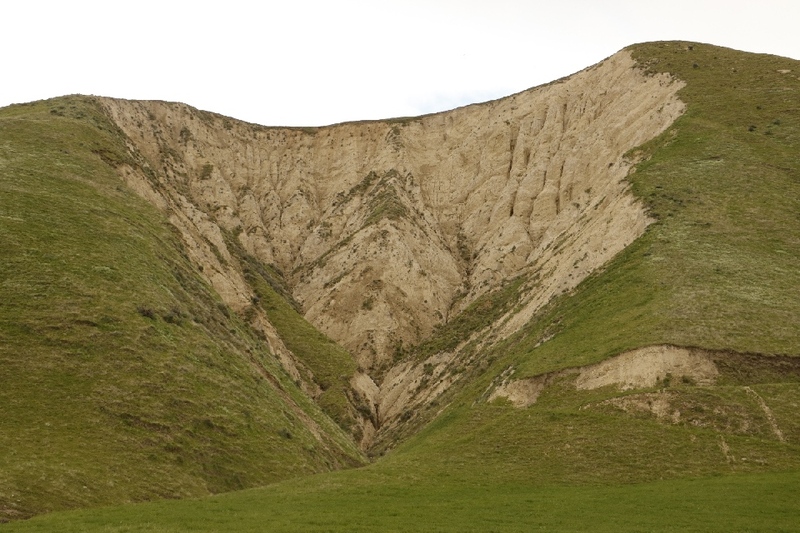 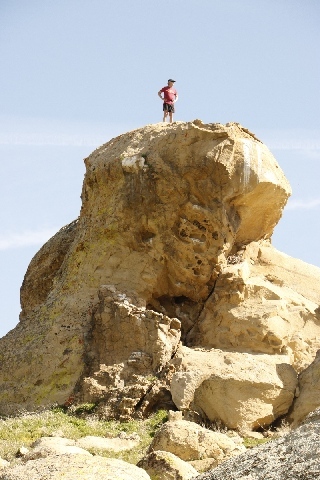 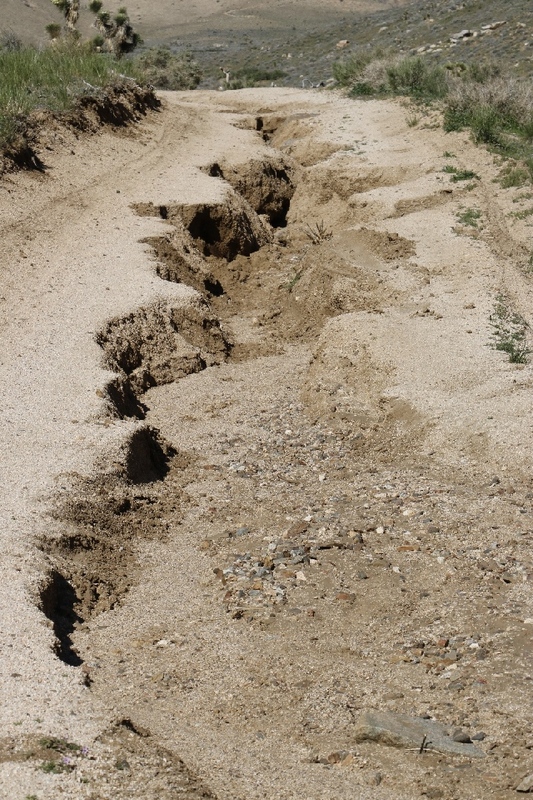 I was standing atop of the fault line. 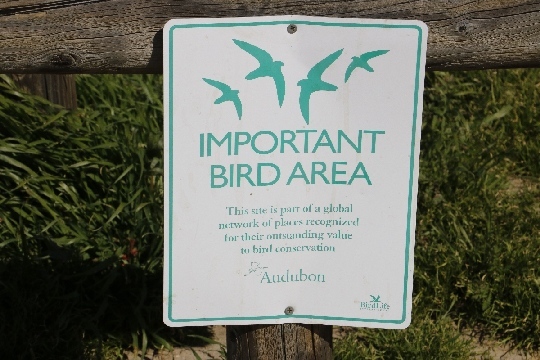 Currently 1.3 inches/yr of movement is expecting. 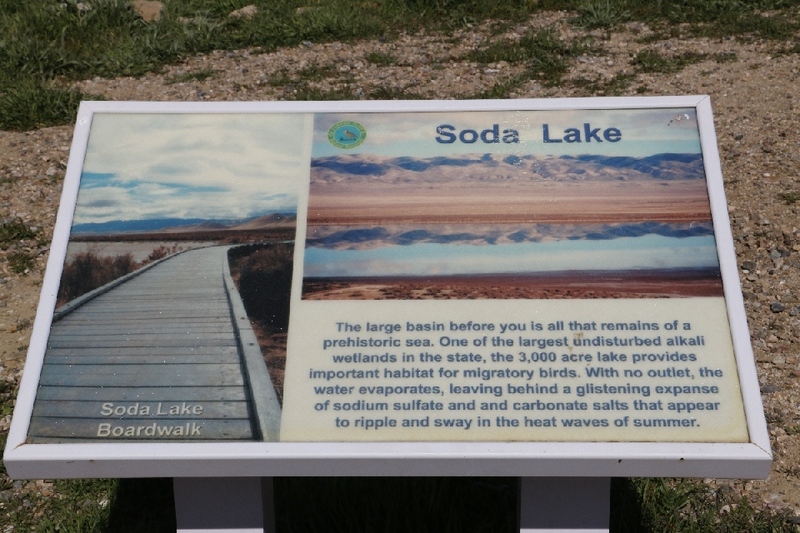 3/2/2017 Soda Lake, CA - This lake is located in the Carrizo Plain and no outlet. 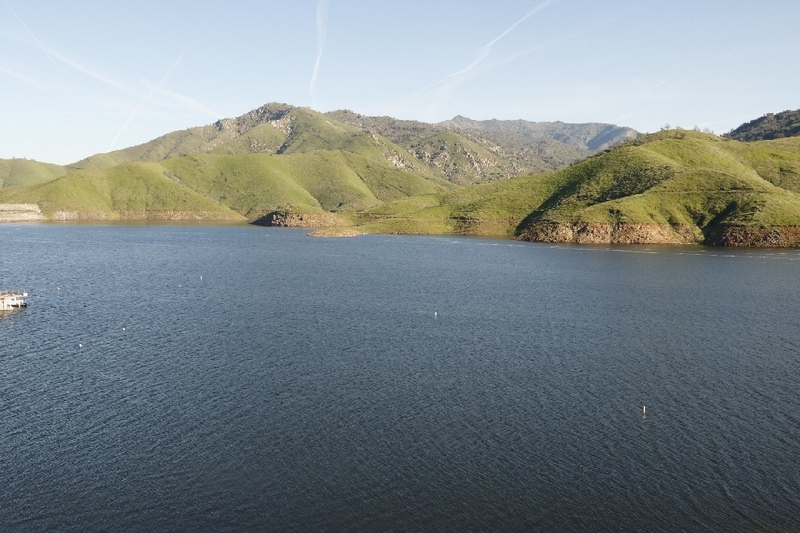 It is one of the largest Alkali water lakes in US, 3,000 acres. 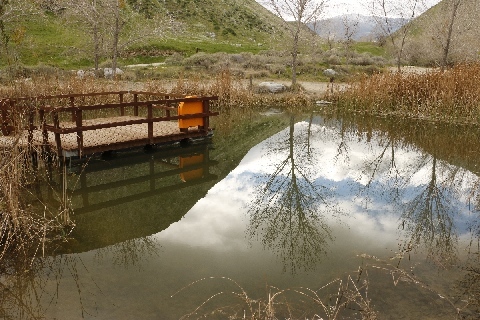 It has full of water in the lake, usually not. Green everywhere around the lake, it is beautiful place. 3/1/2017 Burham Canyon Pictographs, near Rosamond, CA (7.3 miles) - I hiked up to the different long trail, but if go straight, mileage is much less. 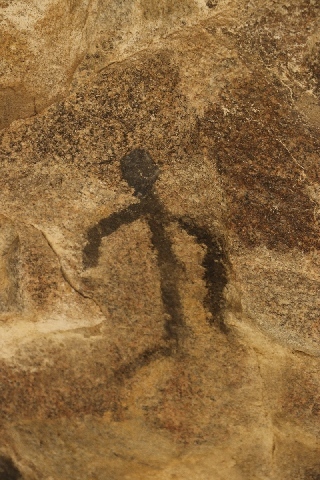 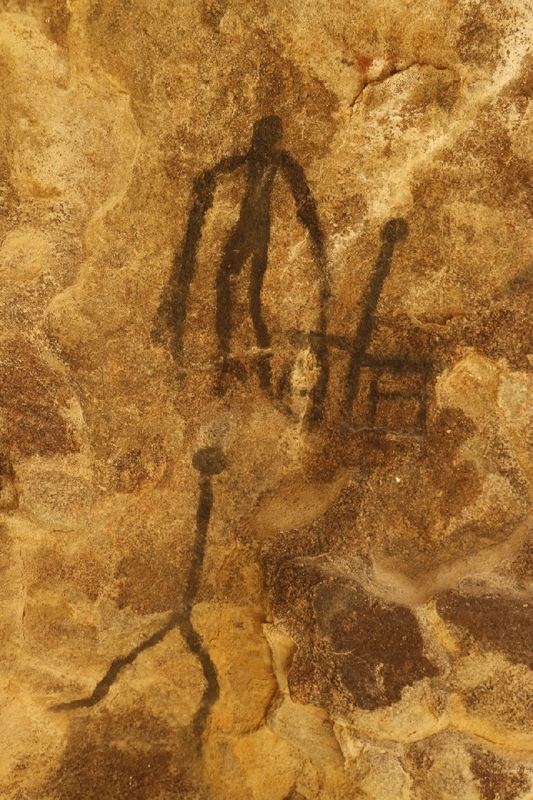 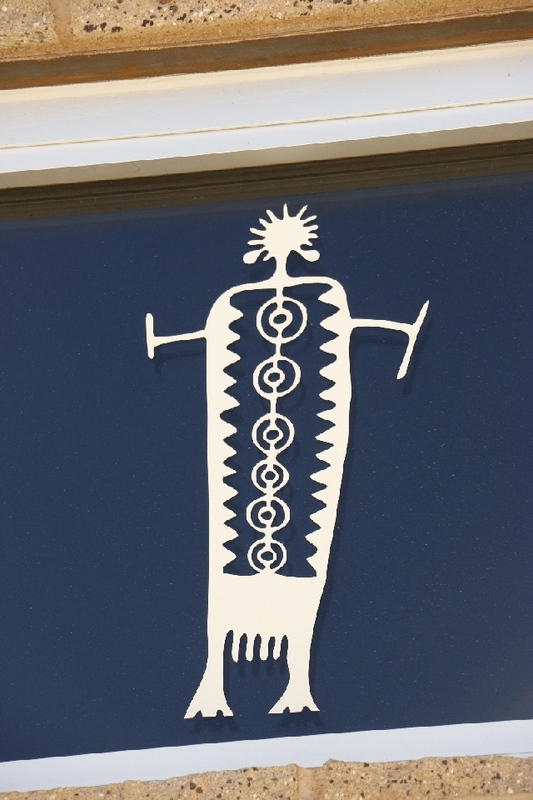 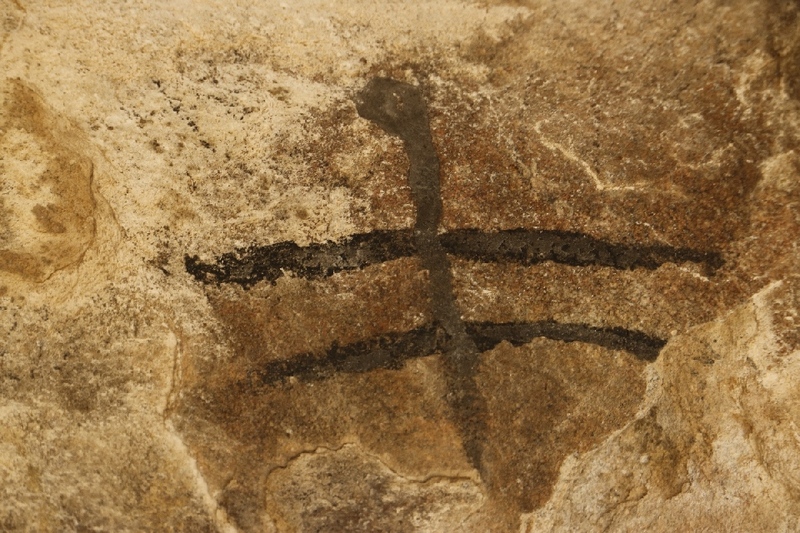 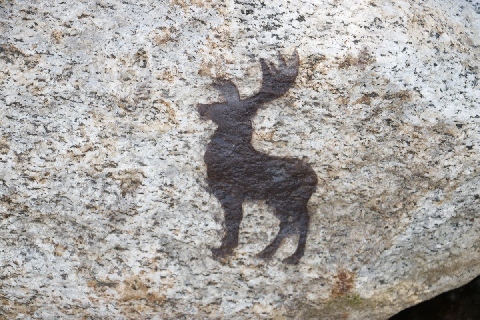 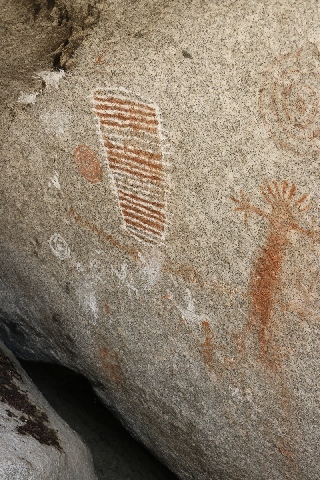 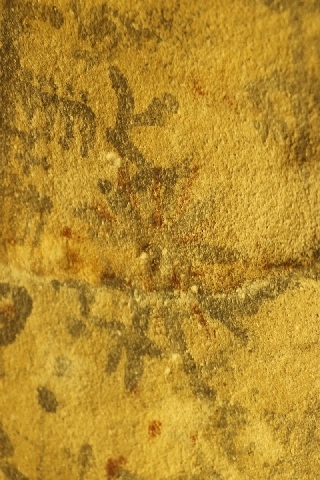 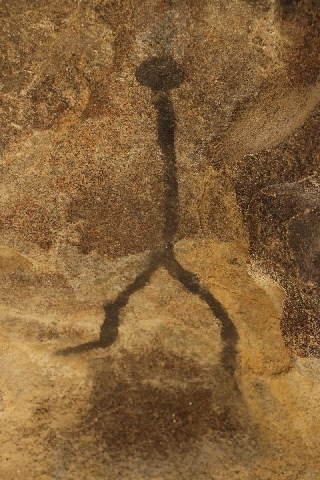 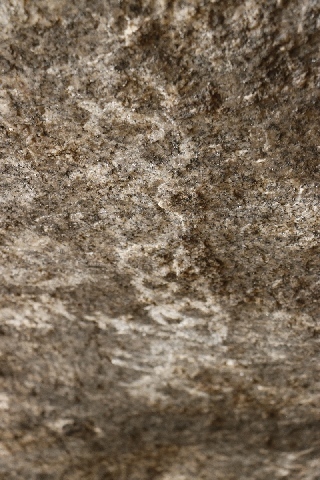 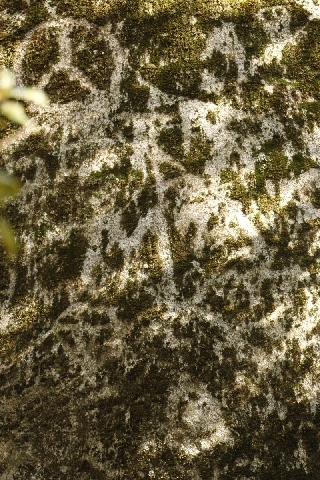 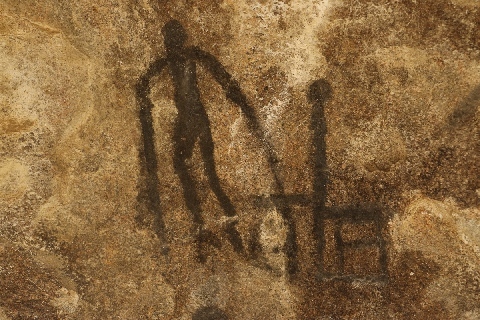 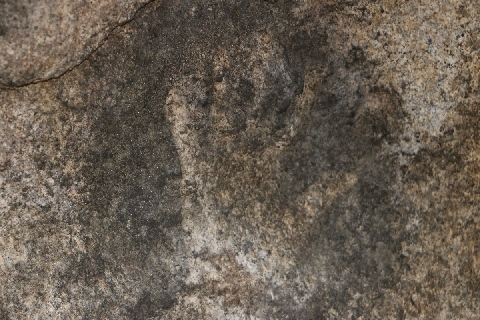 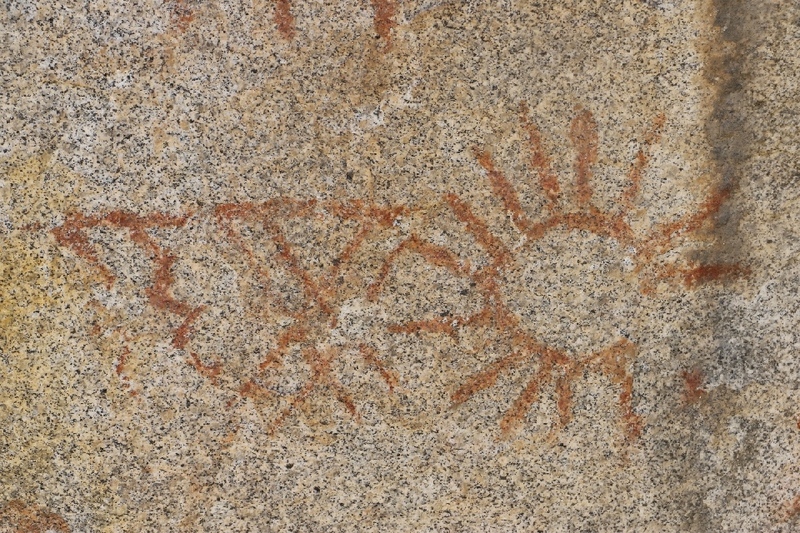 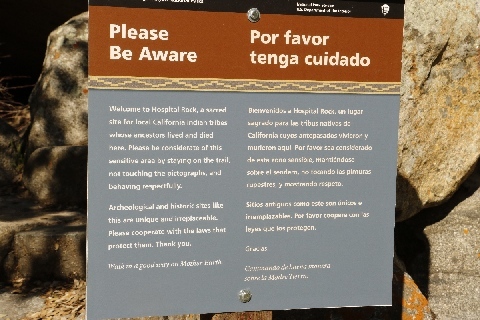 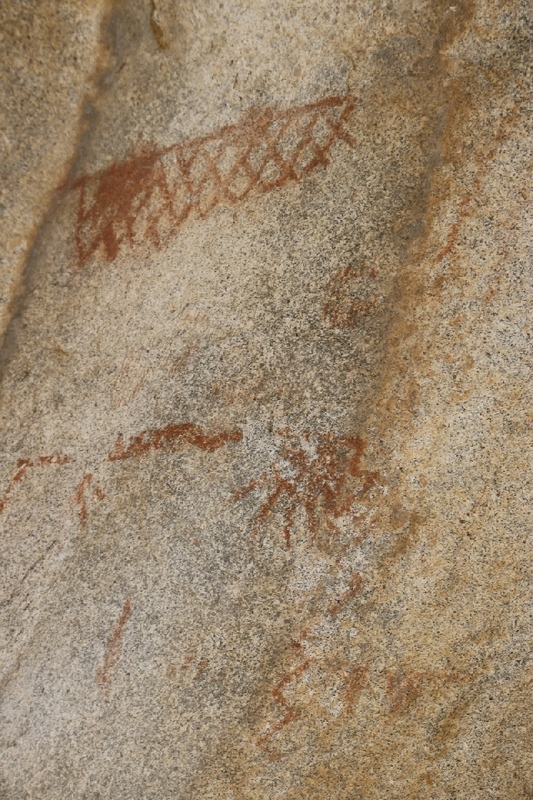 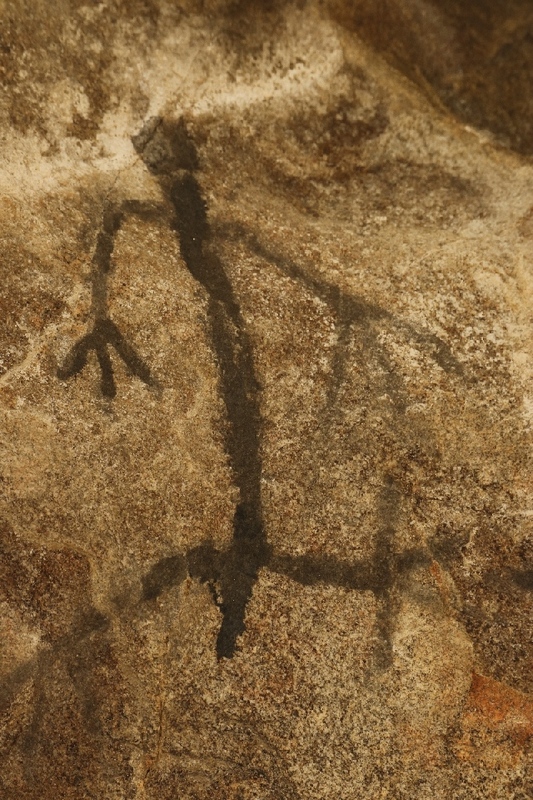 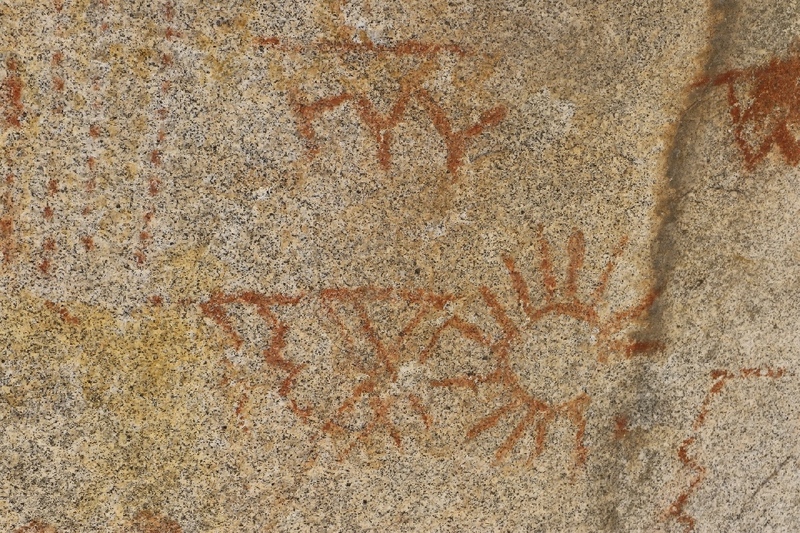 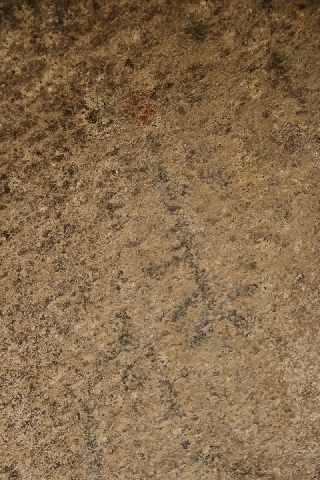 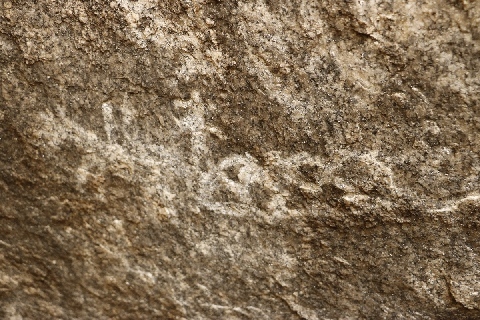 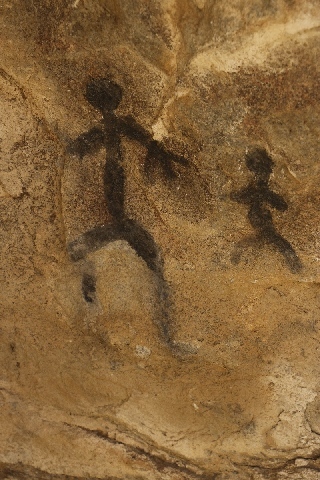 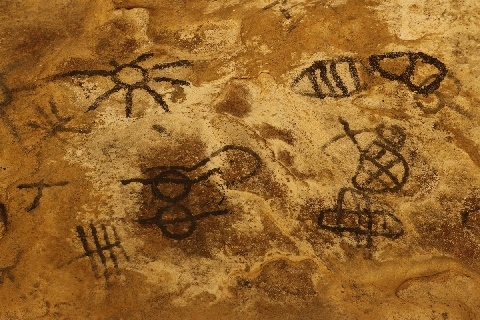 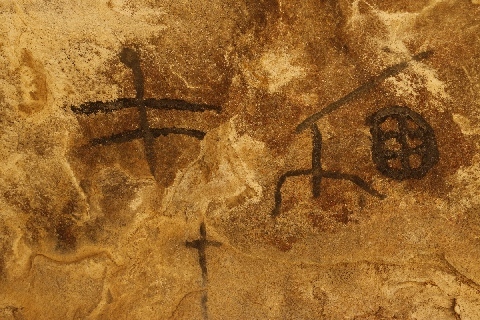 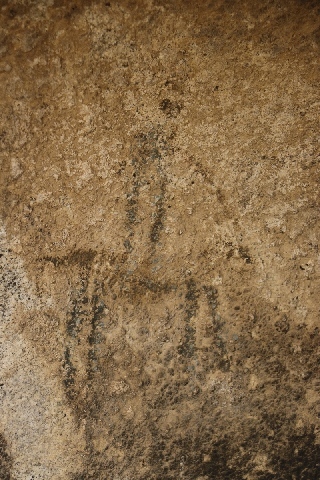 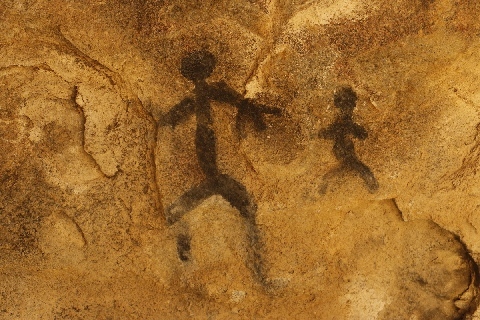 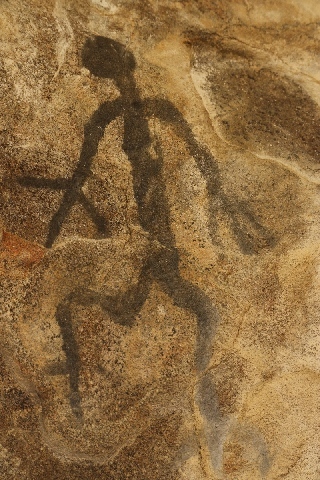 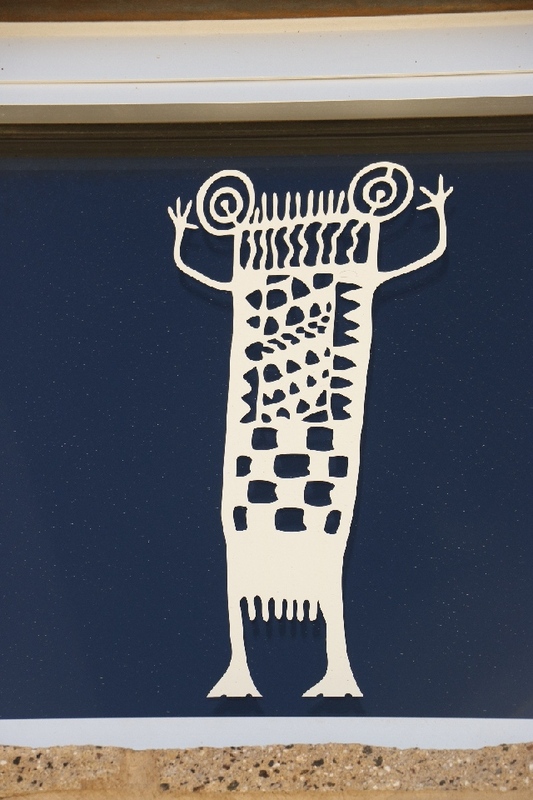 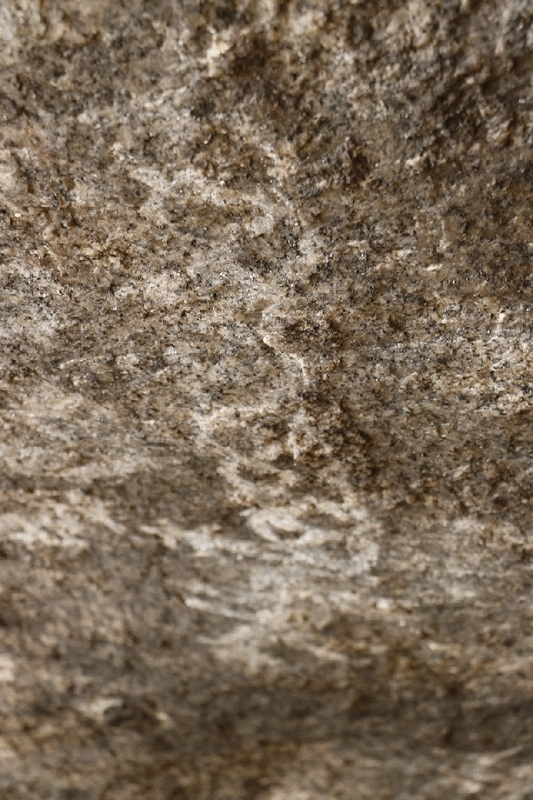 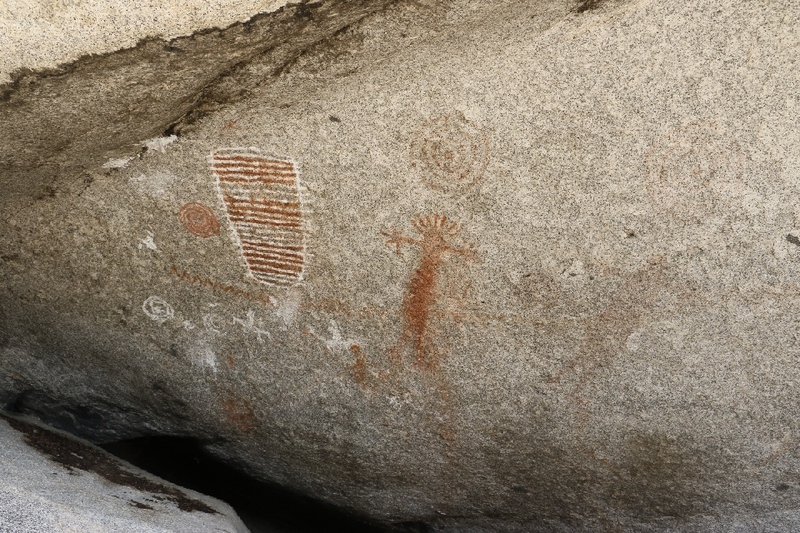 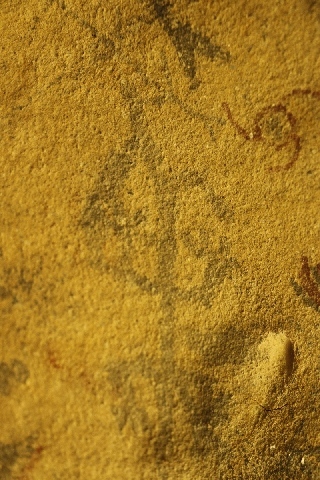 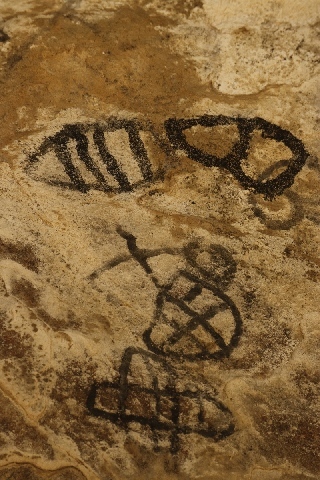 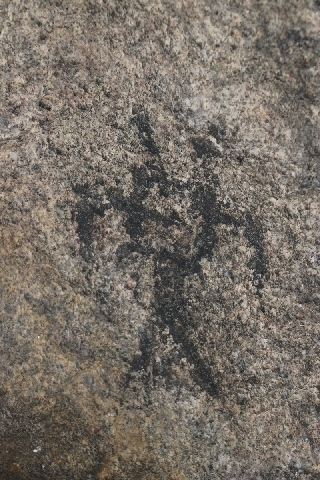 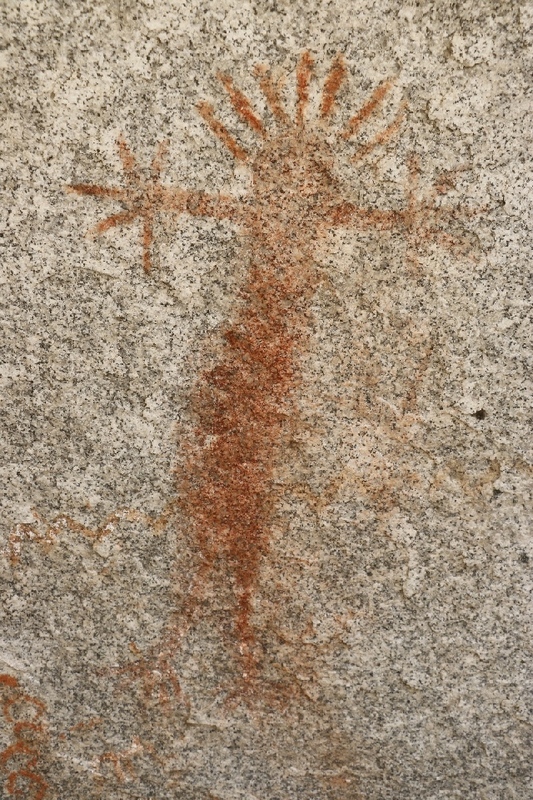 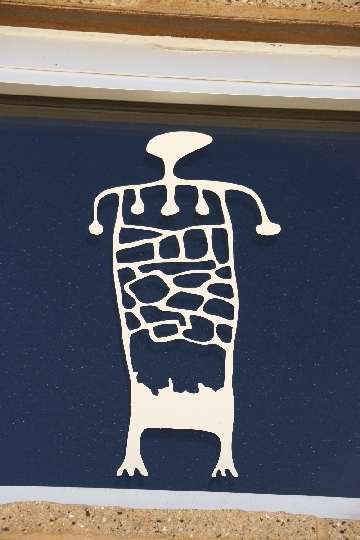 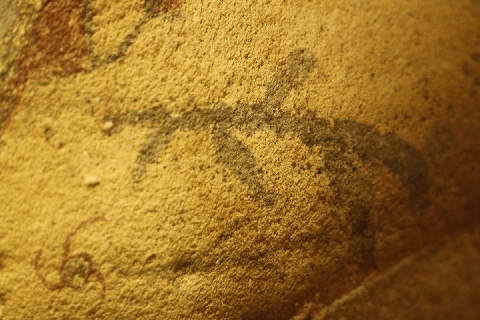 It is large in size pictographs and very nice "Wow" is the right word when saw it at first time. 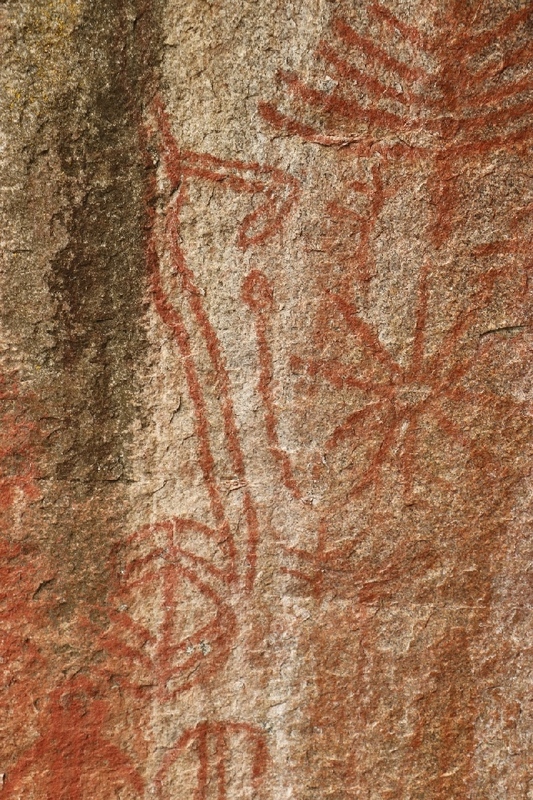 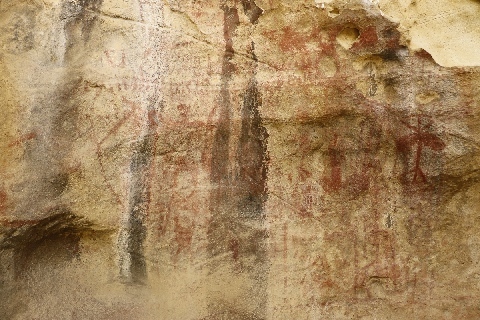 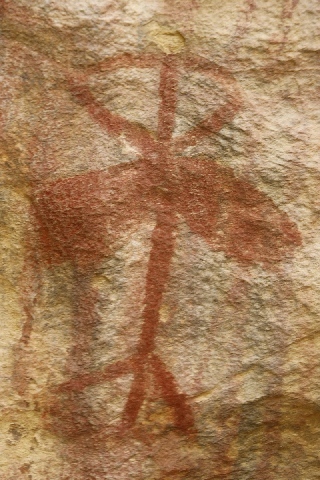 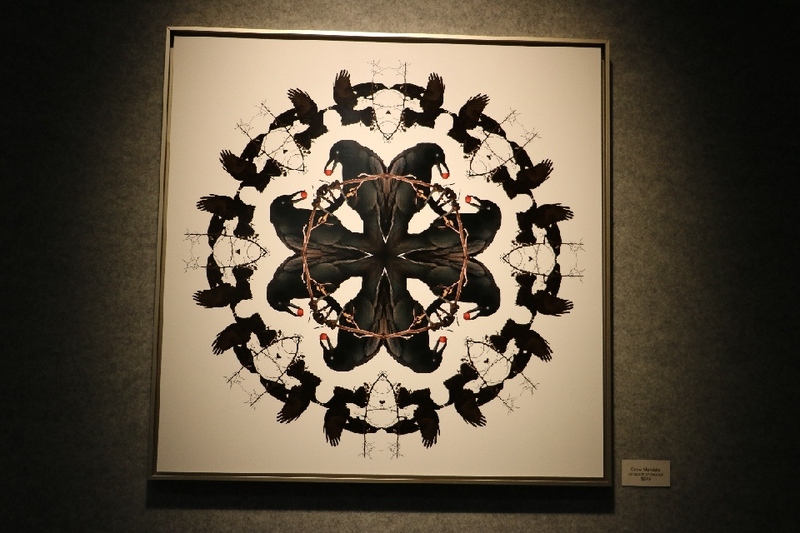 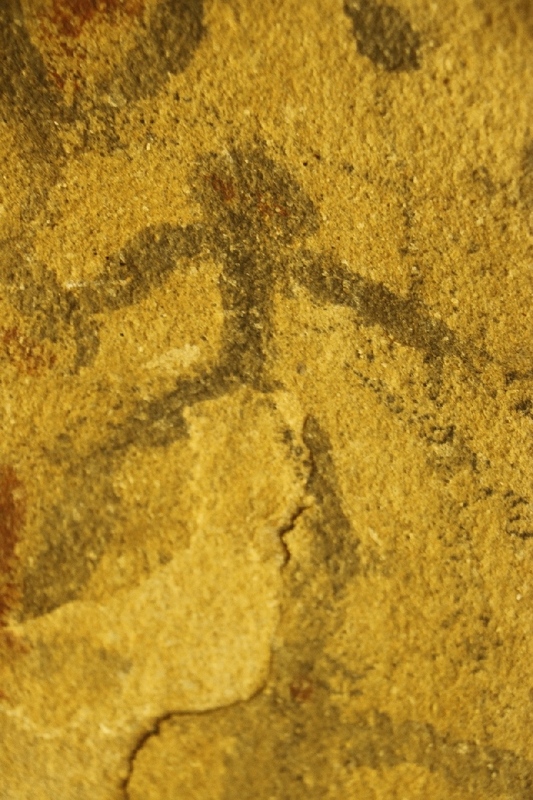 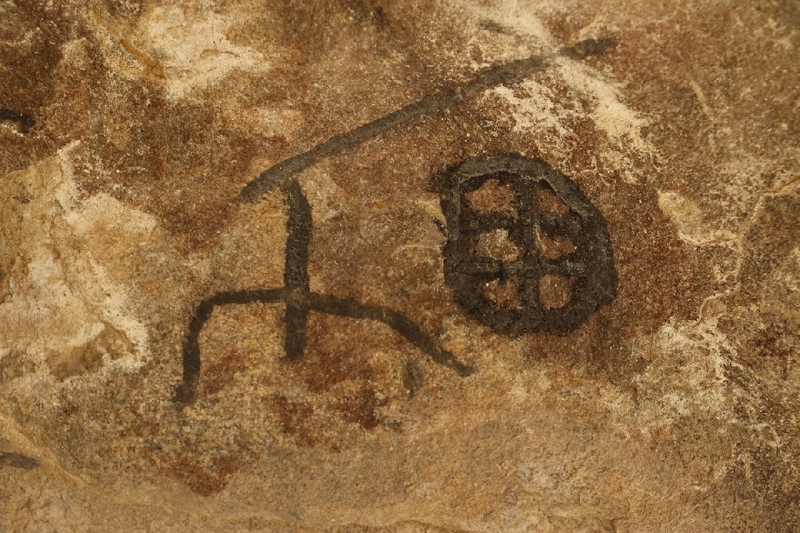 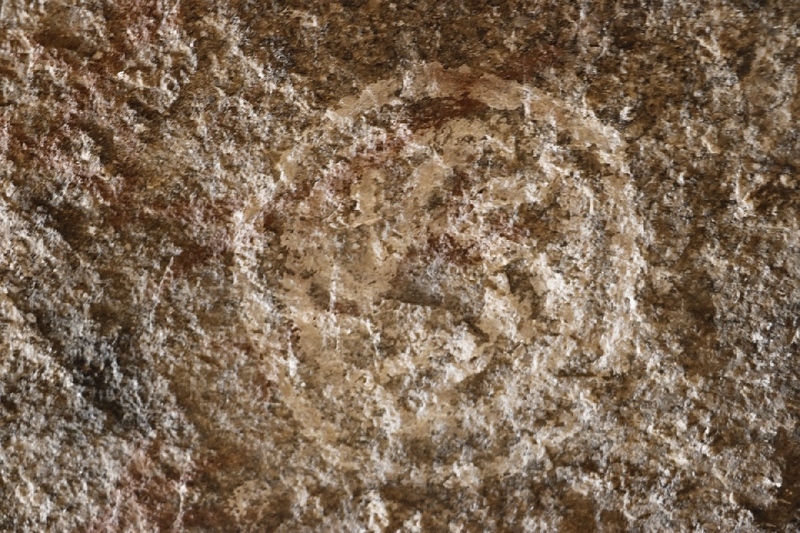 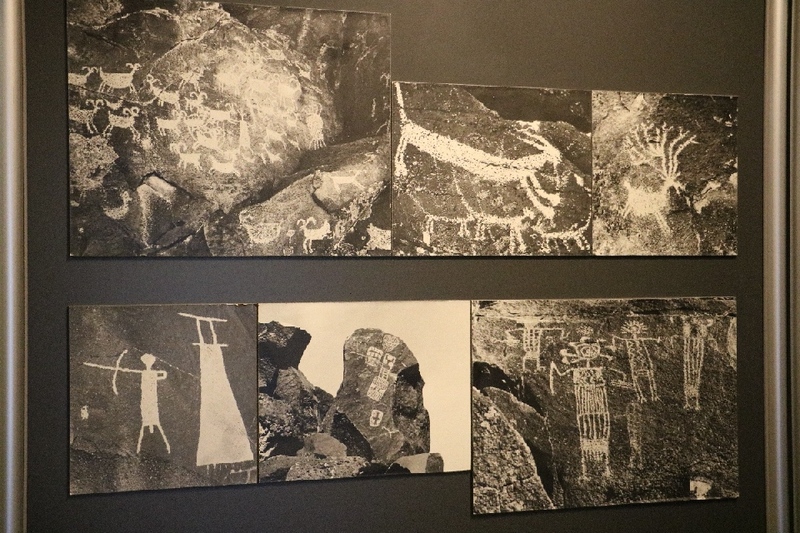 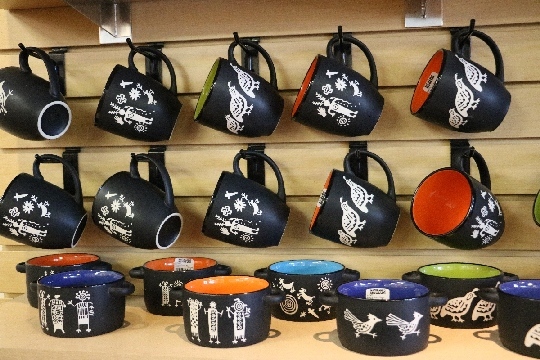 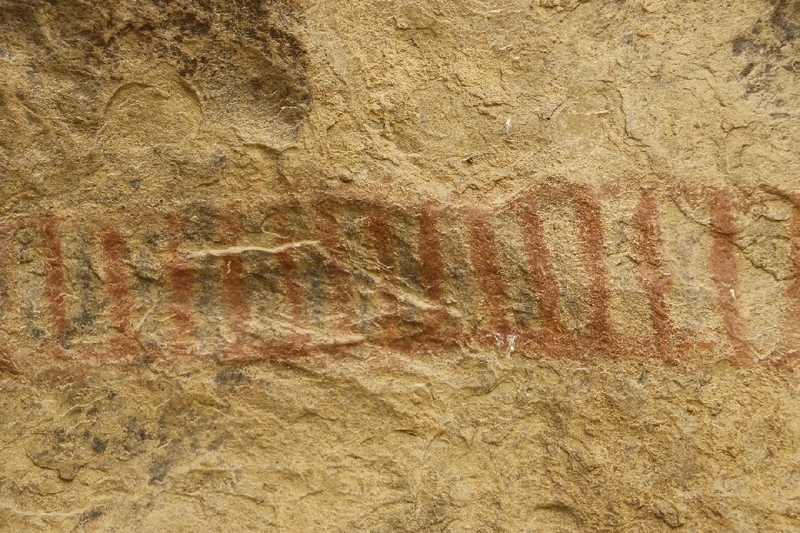 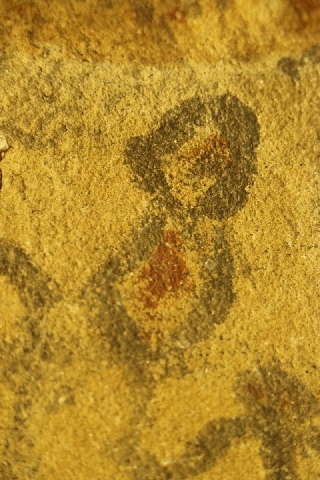 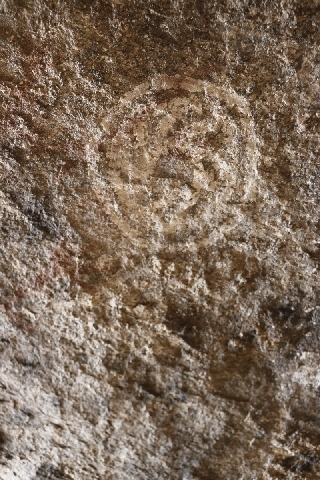 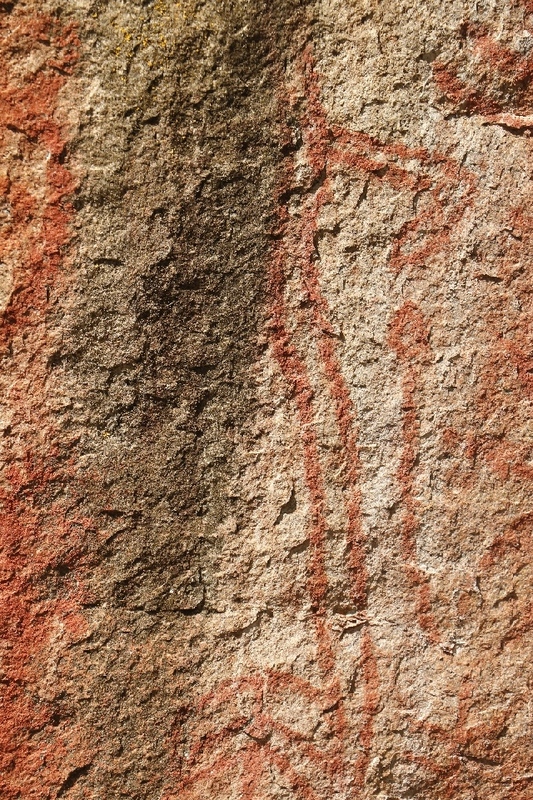 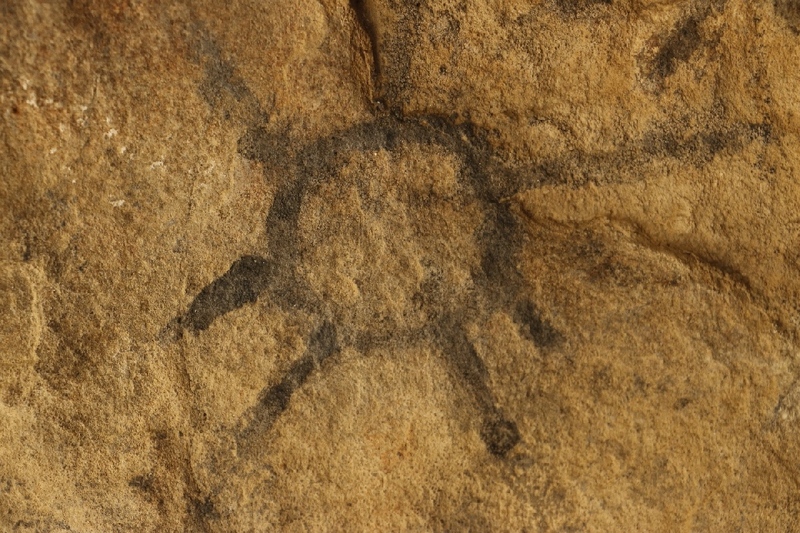 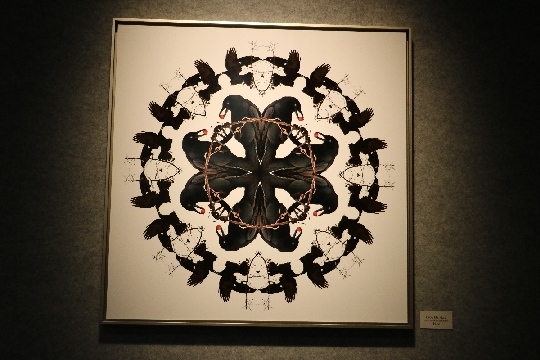 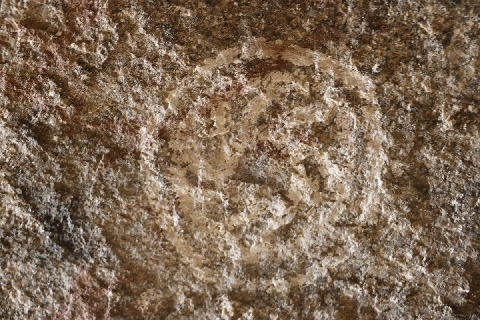 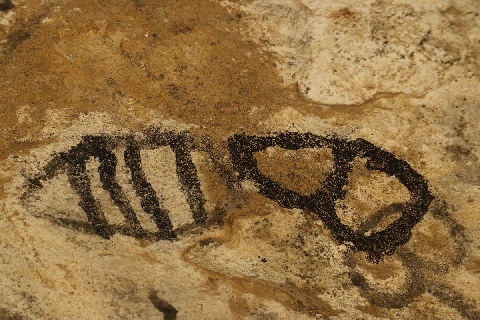 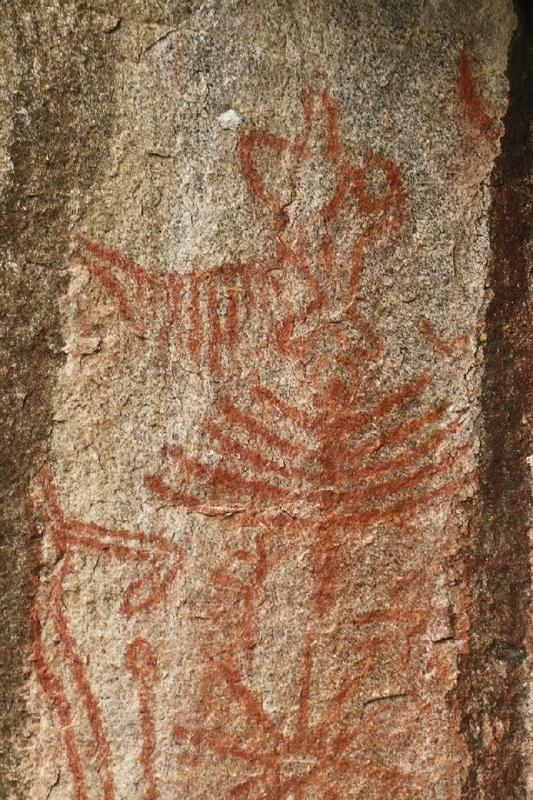 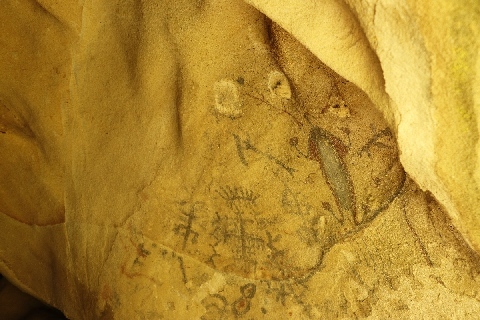 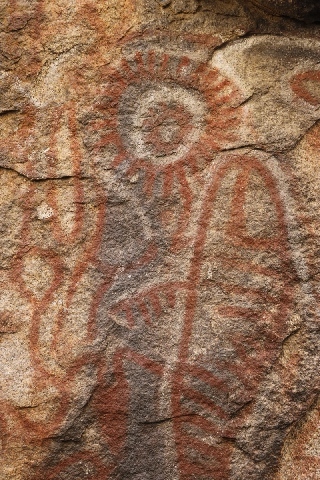 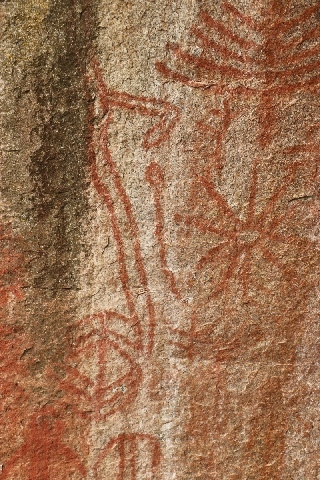 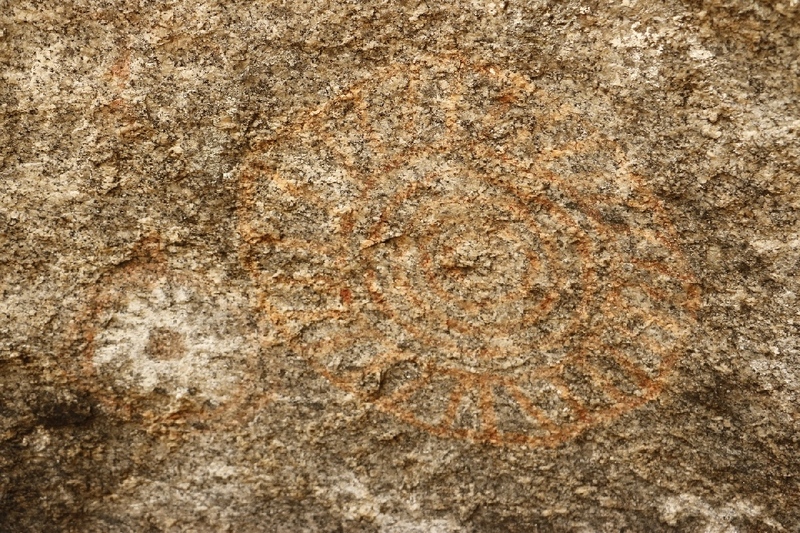 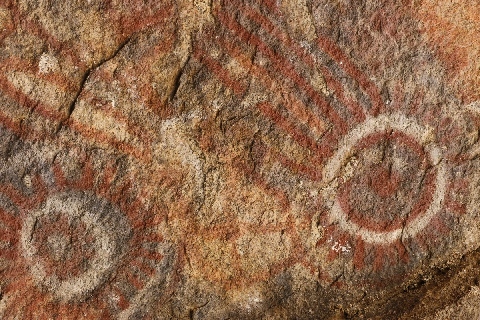 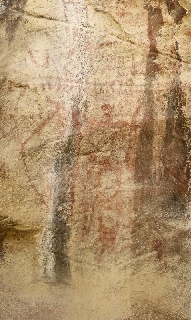 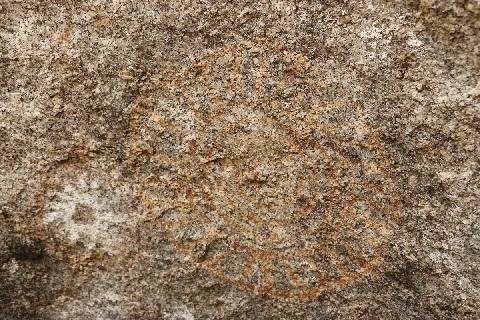 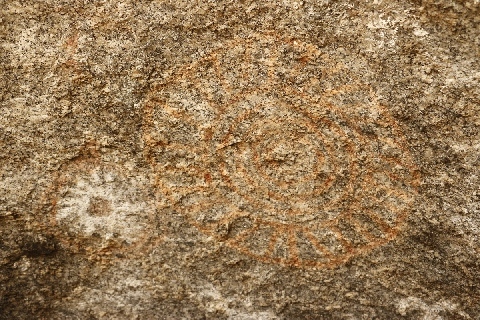 Red color dominated with black and white colors pictographs.